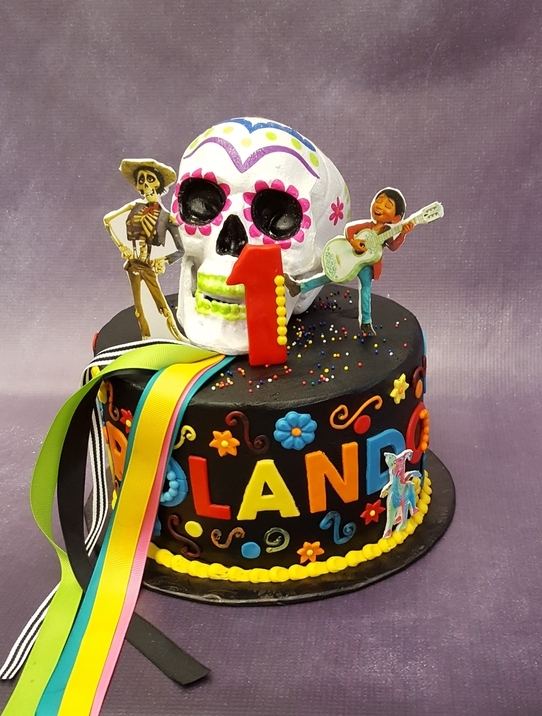 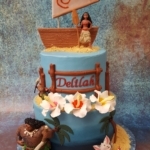 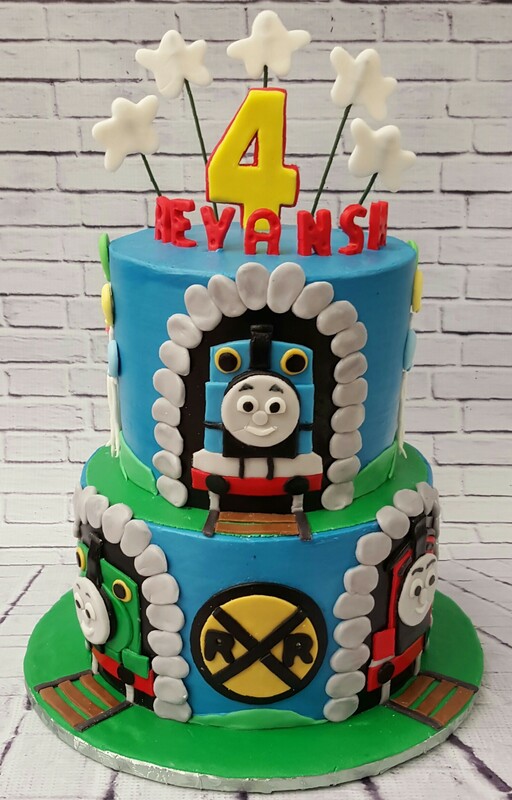 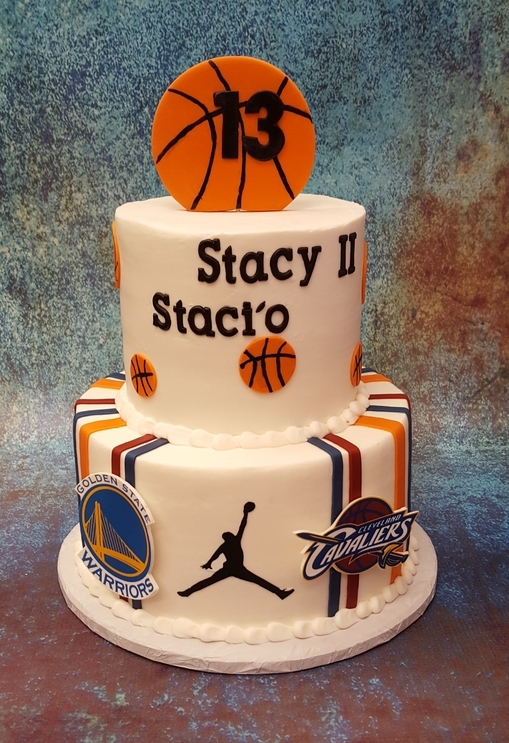 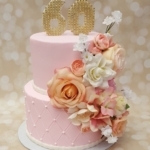 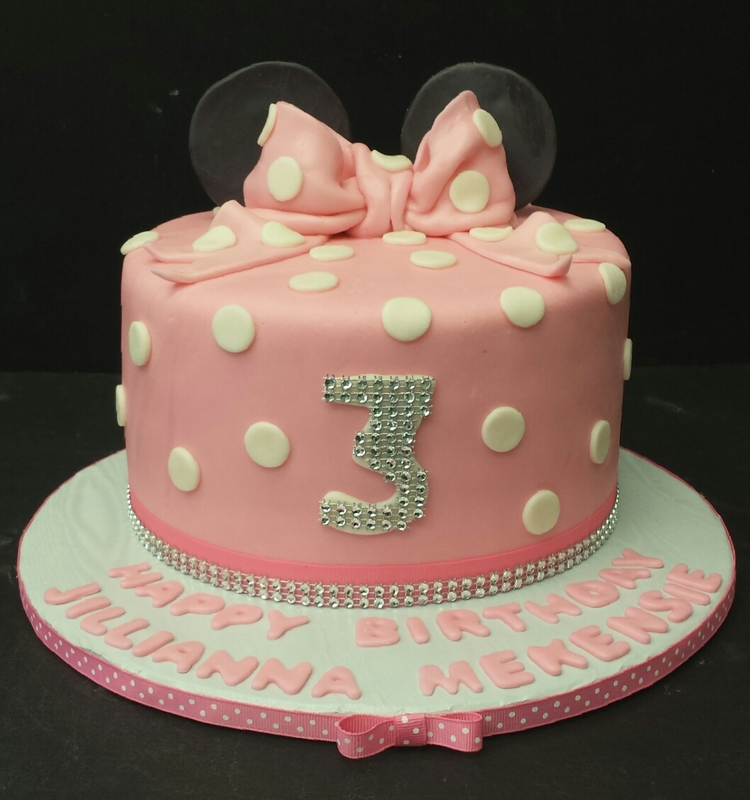 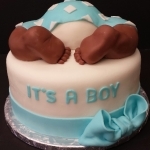 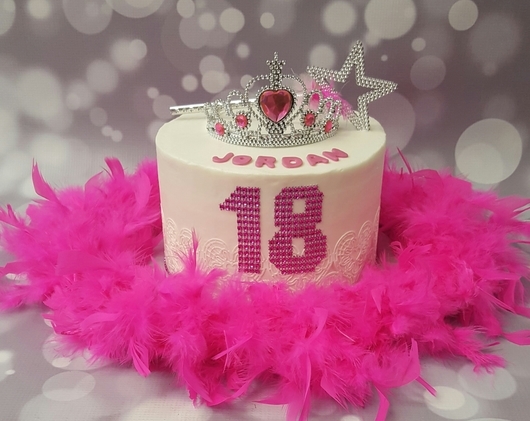 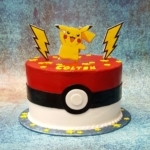 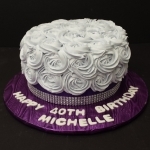 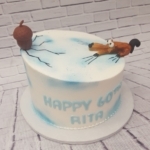 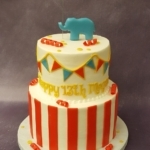 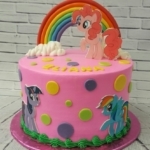 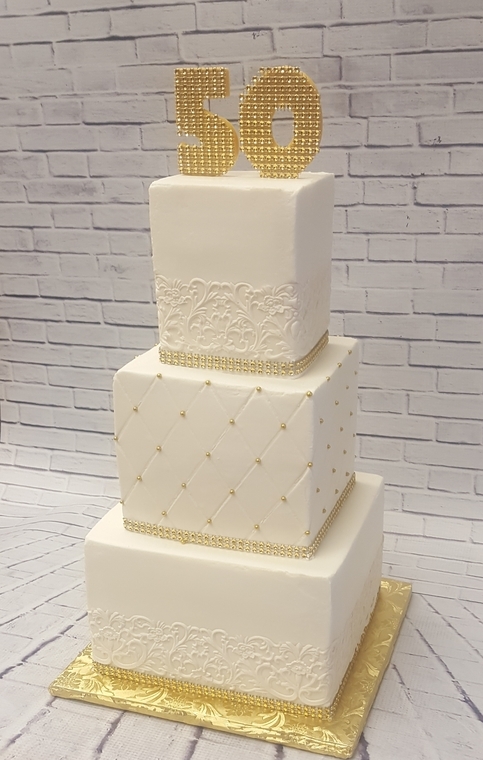 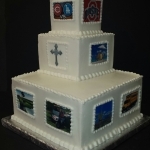 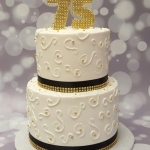 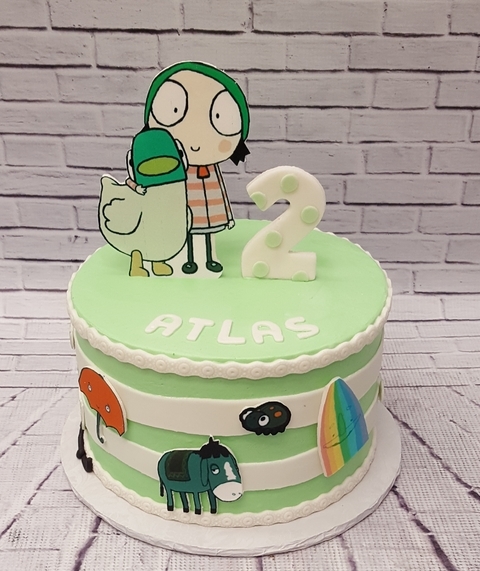 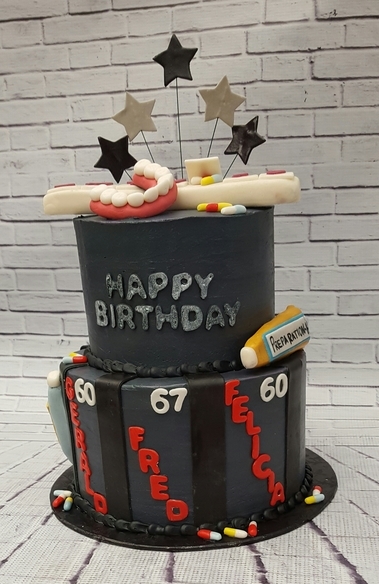 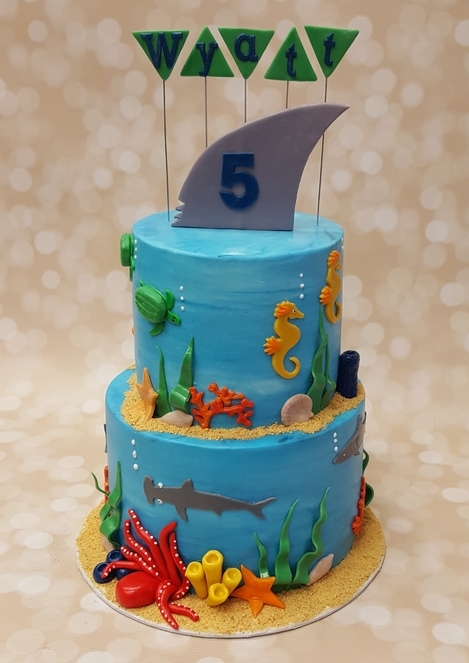 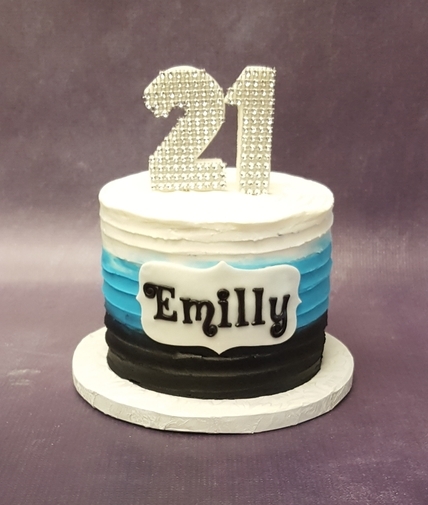 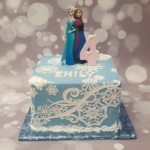 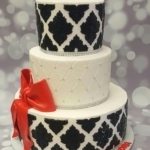 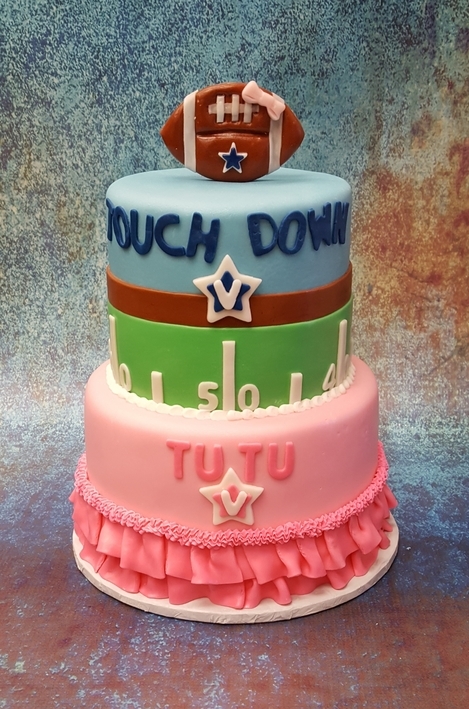 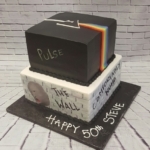 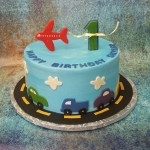 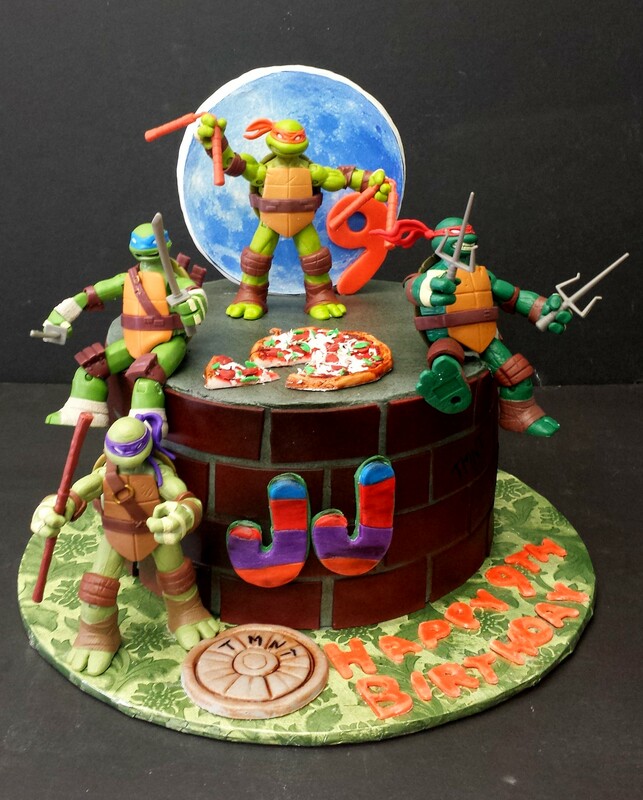 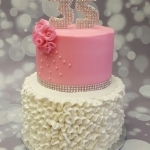 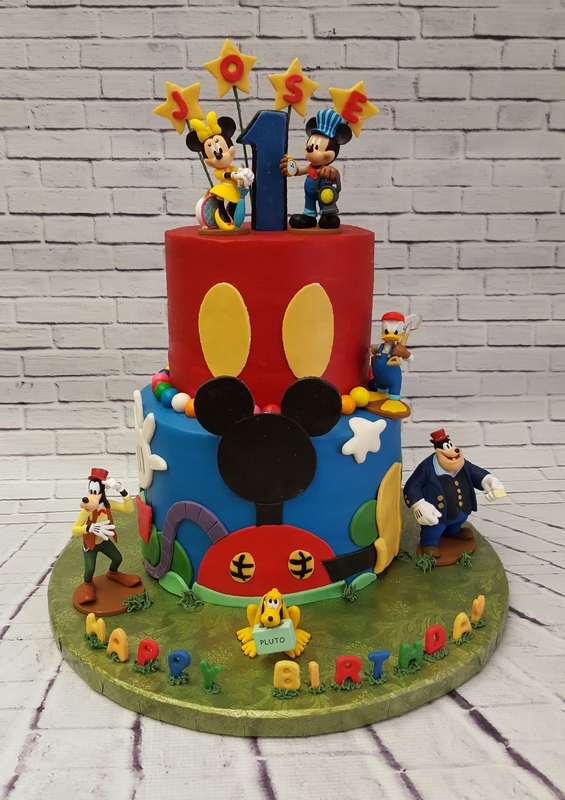 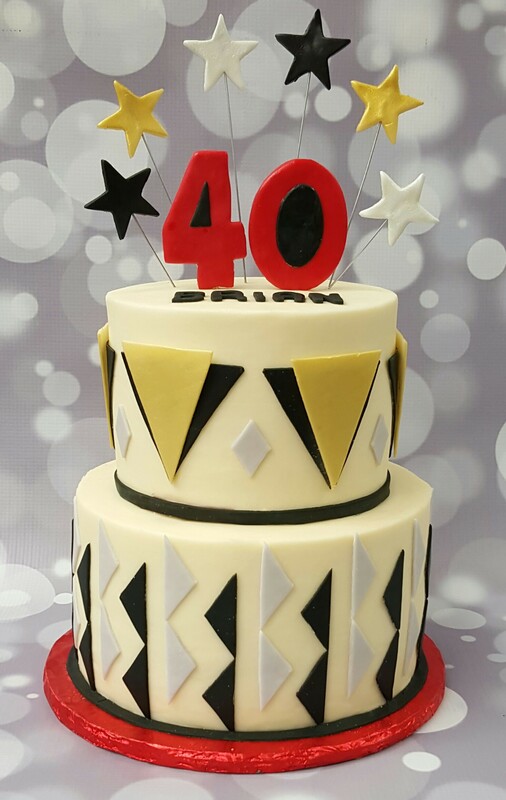 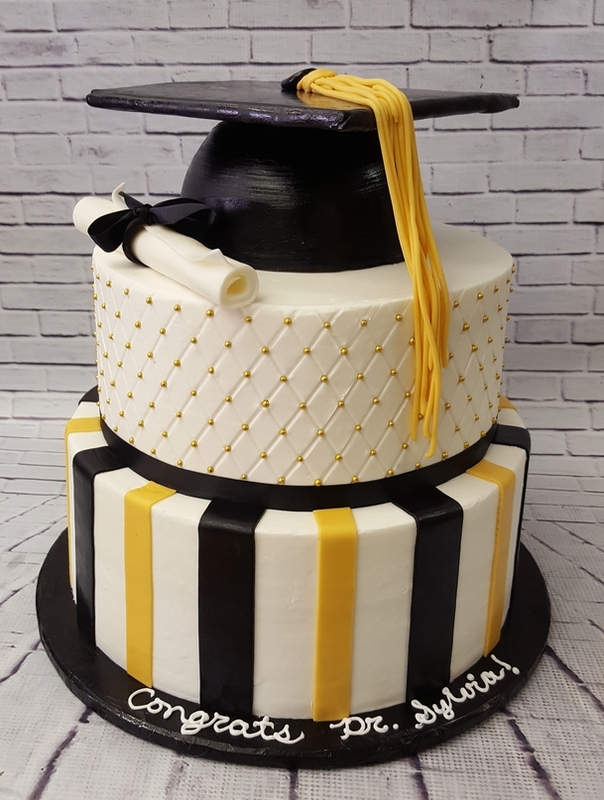 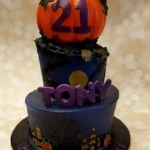 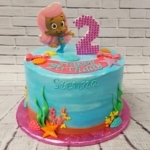 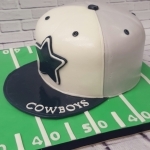 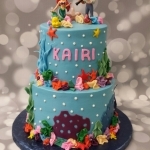 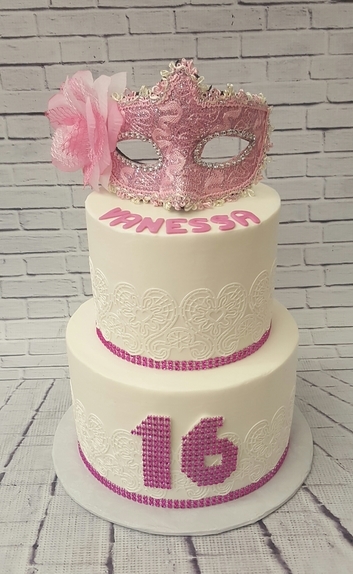 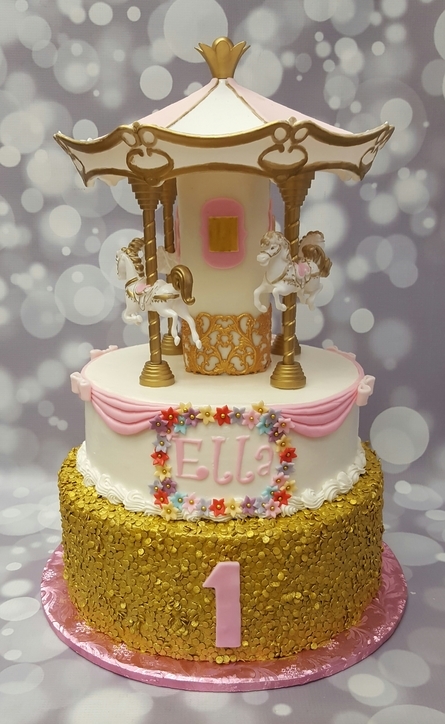 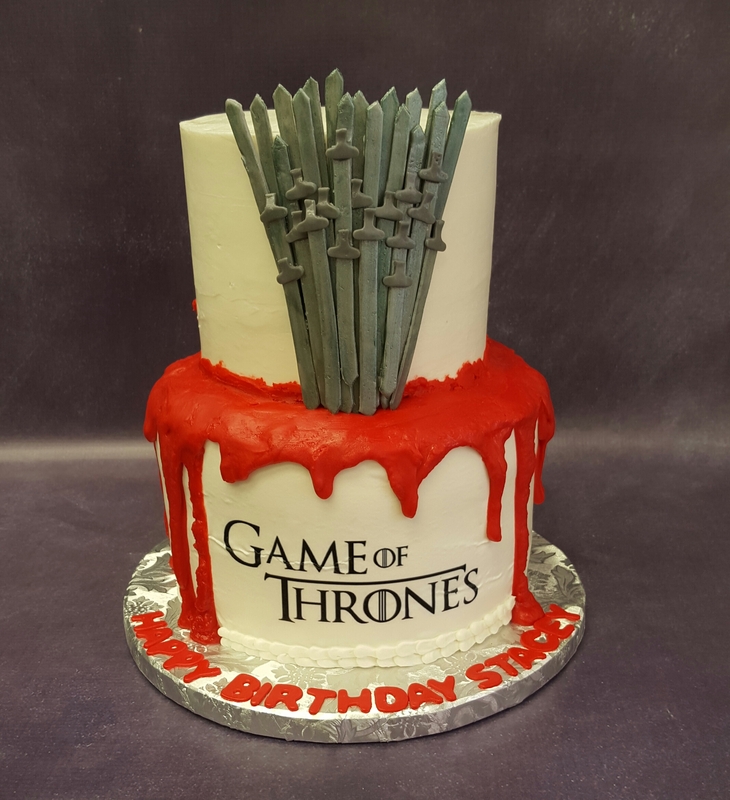 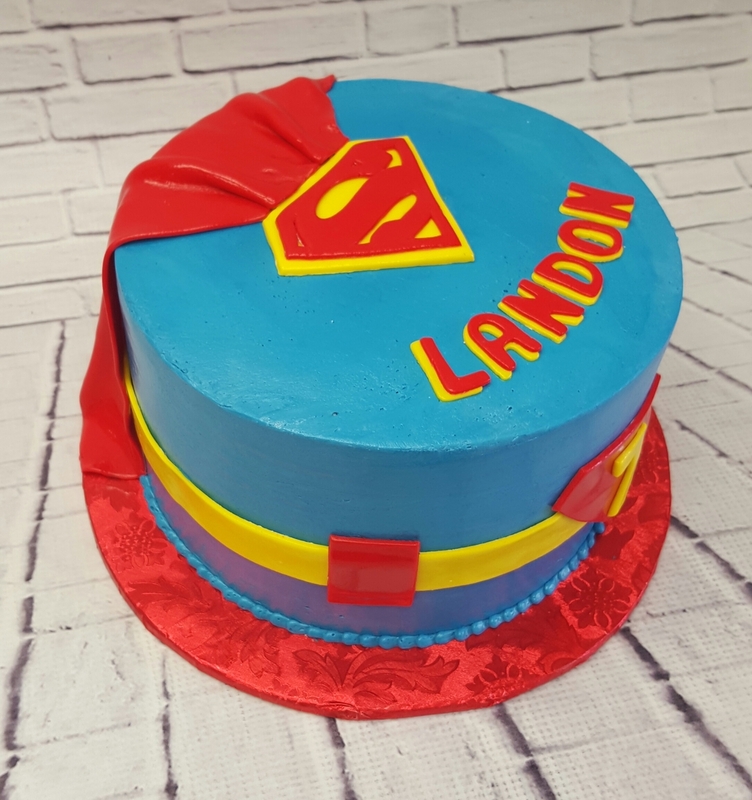 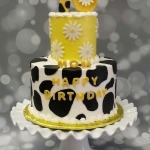 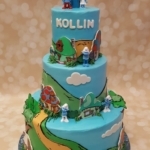 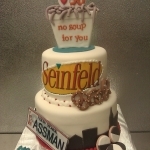 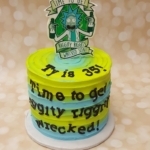 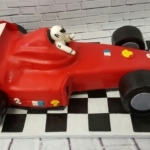 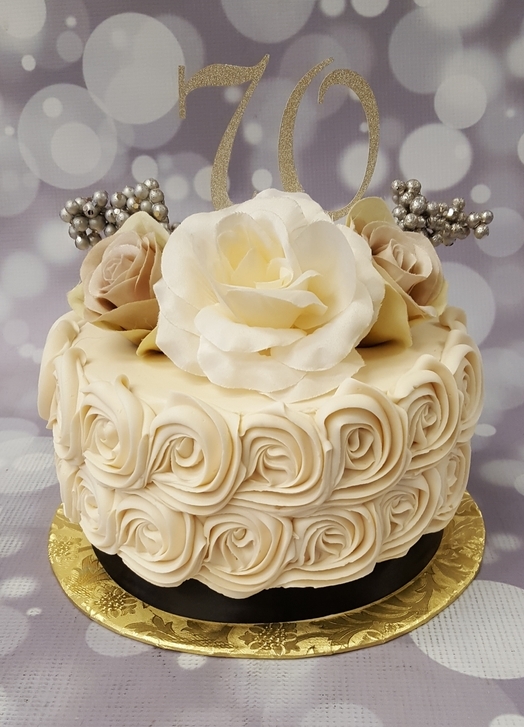 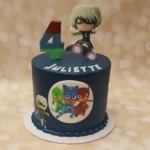 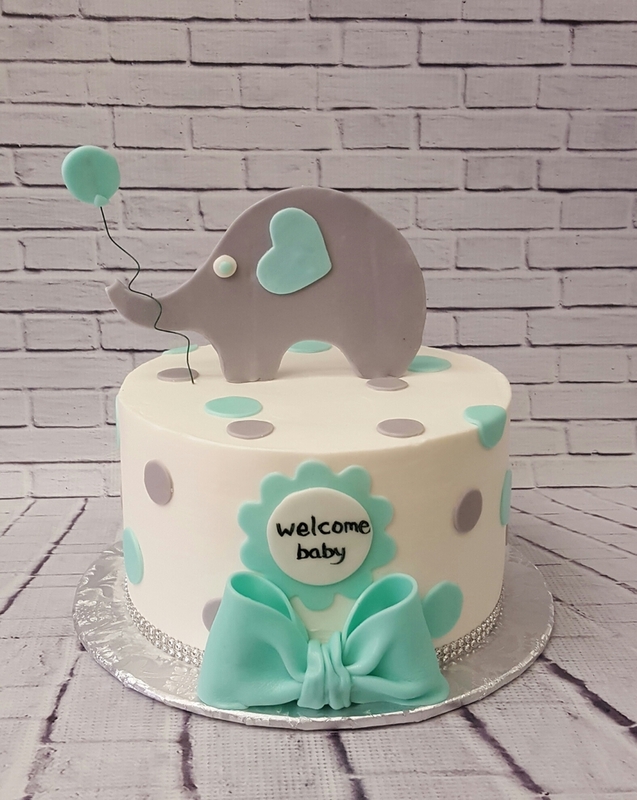 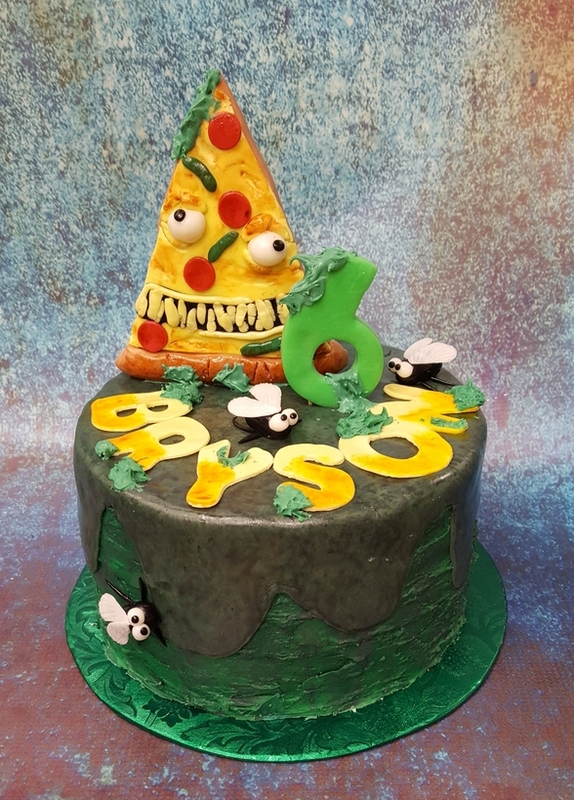 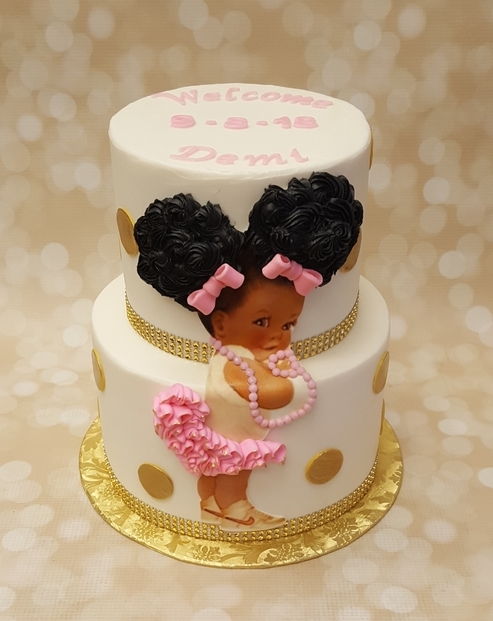 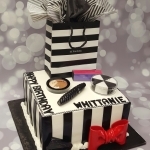 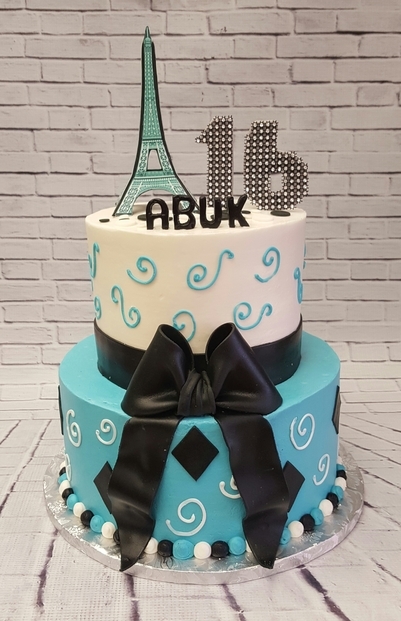 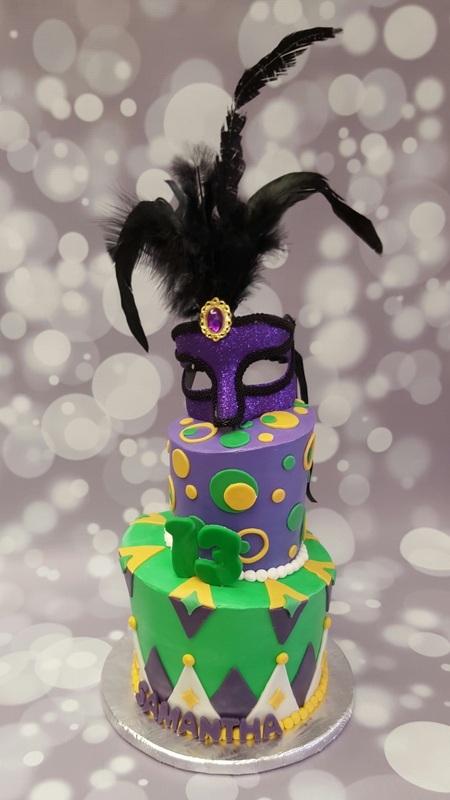 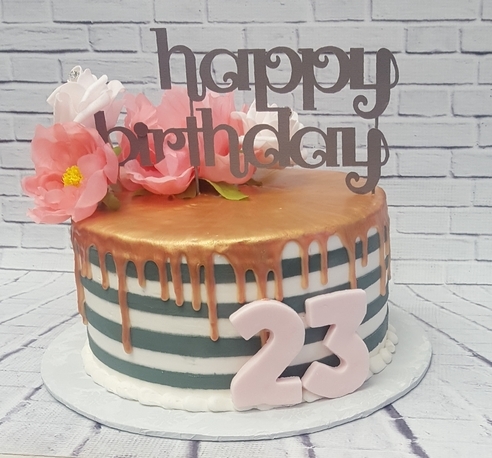 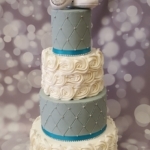 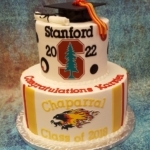 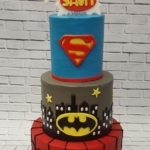 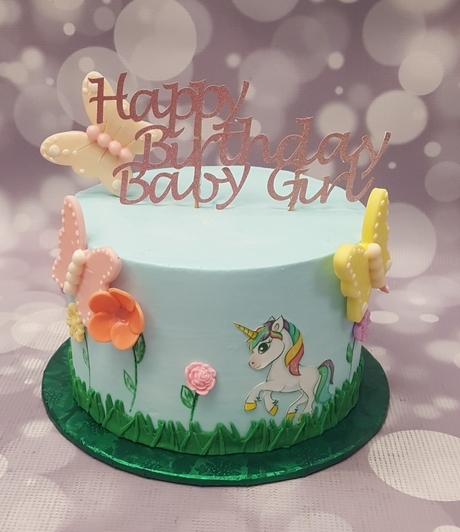 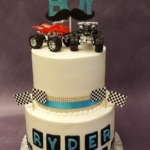 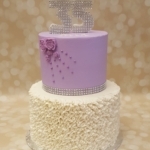 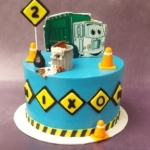 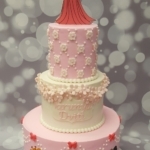 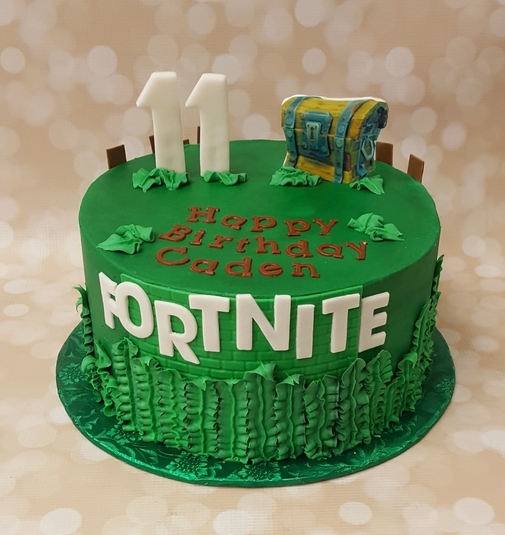 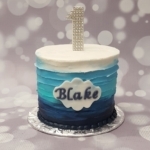 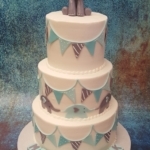 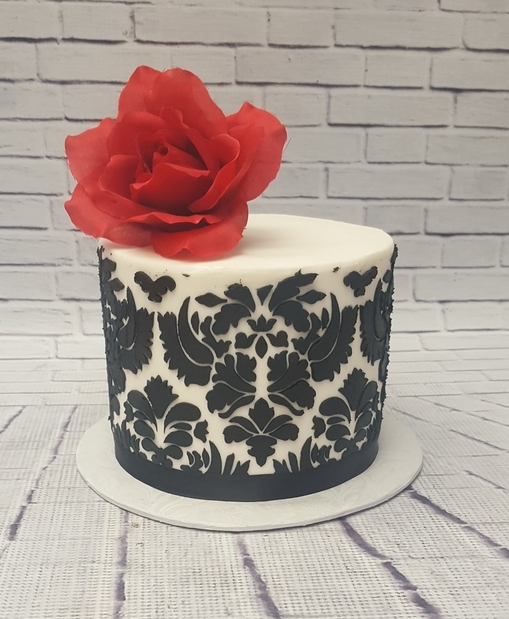 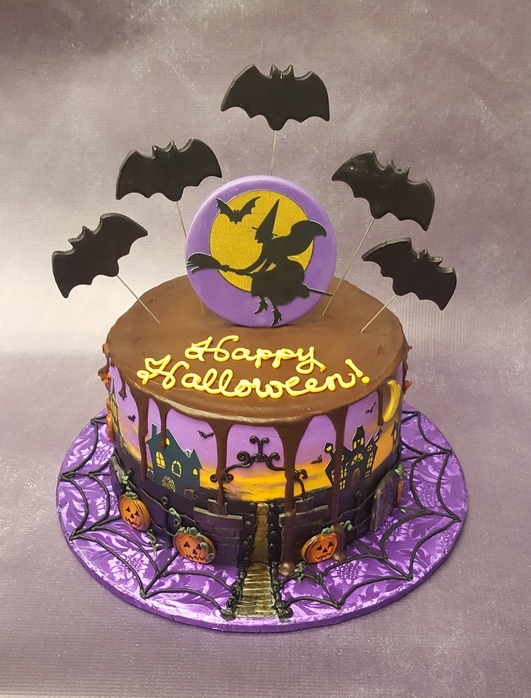 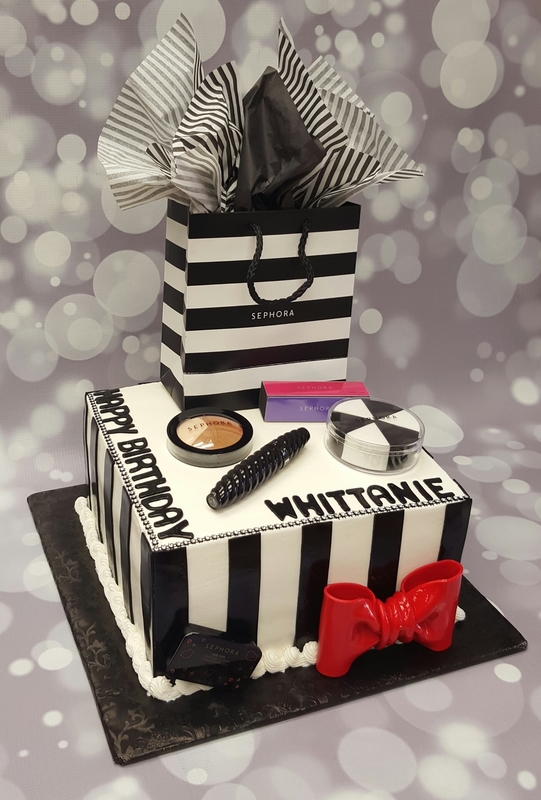 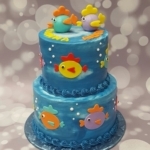 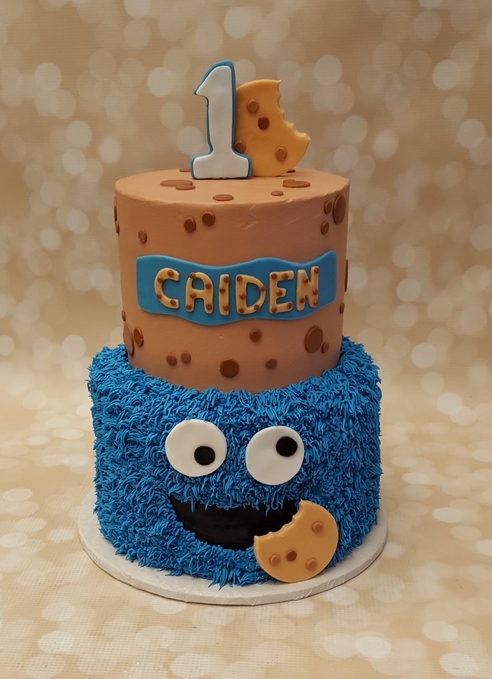 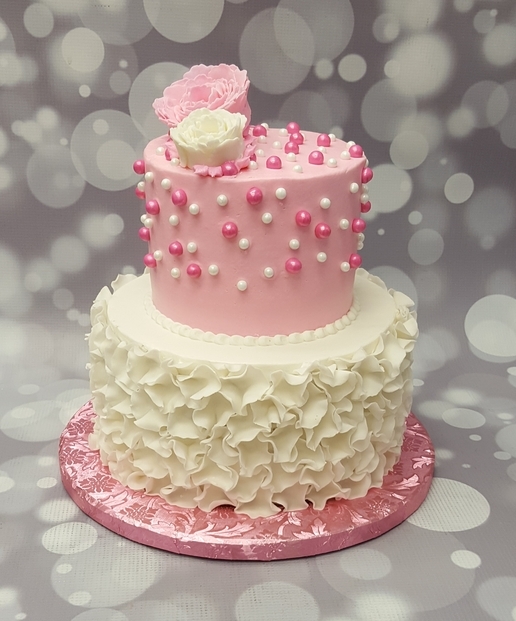 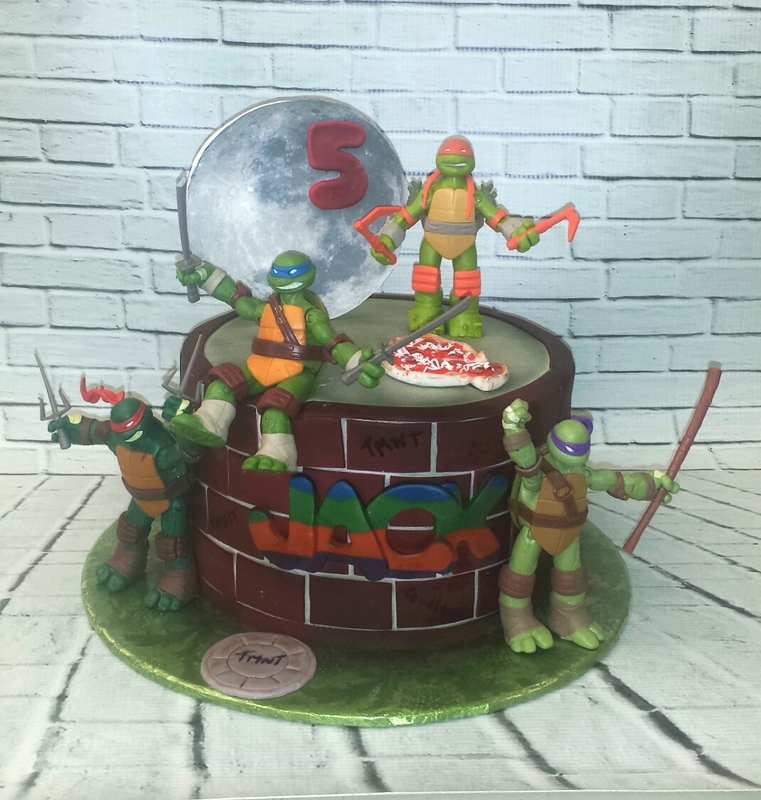 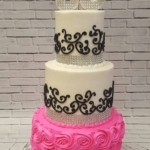 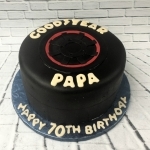 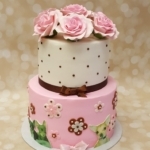 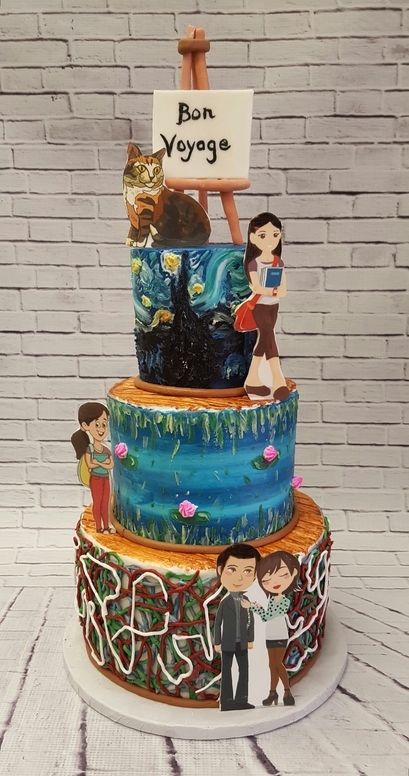 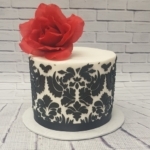 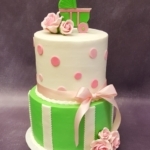 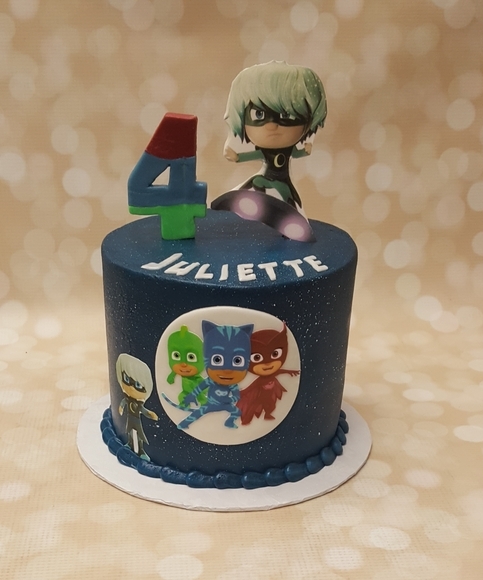 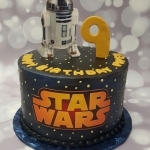 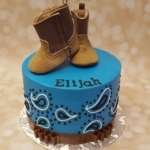 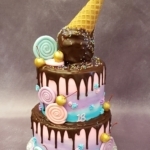 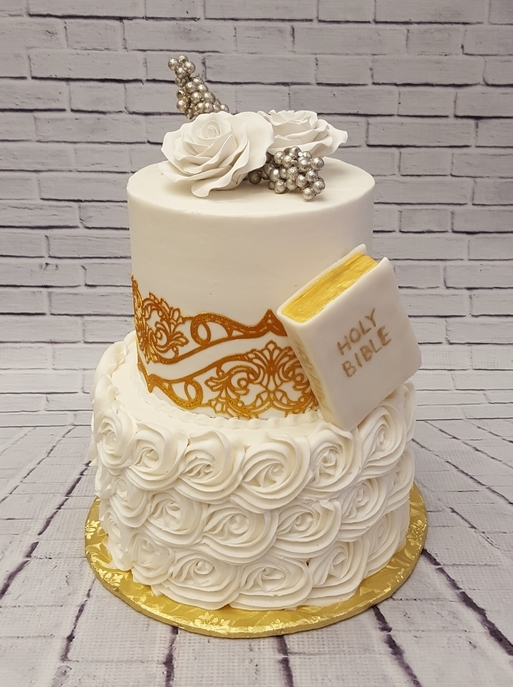 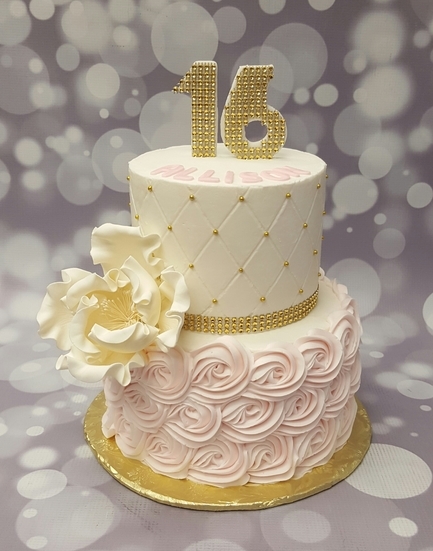 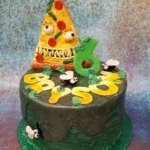 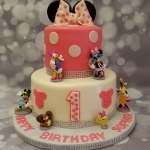 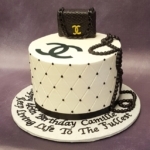 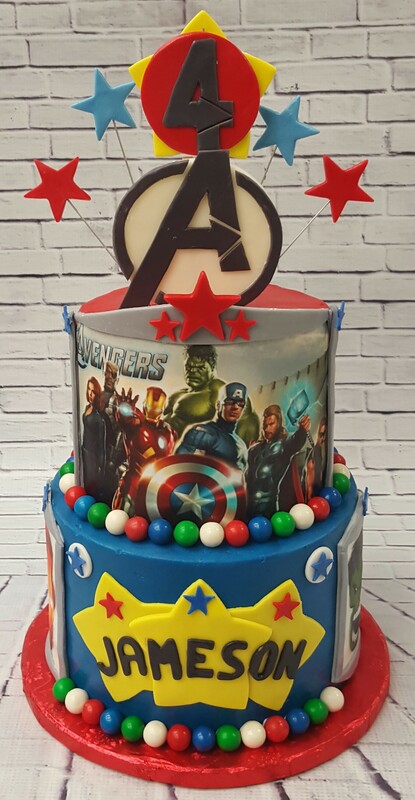 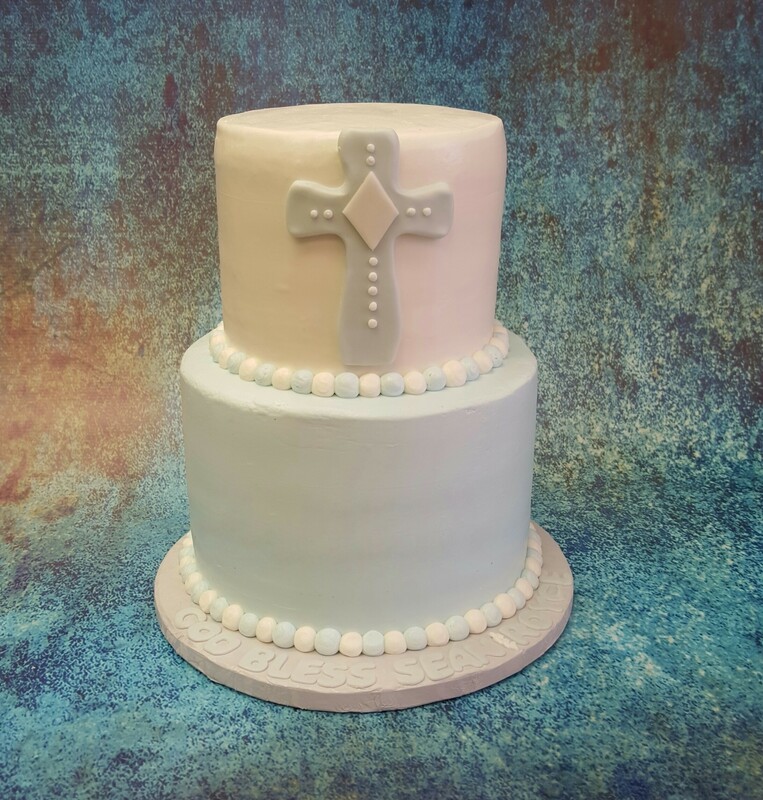 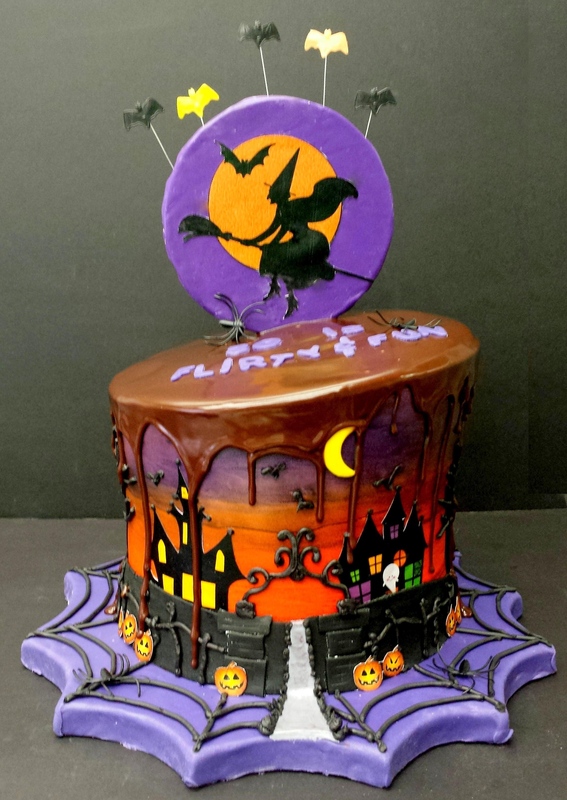 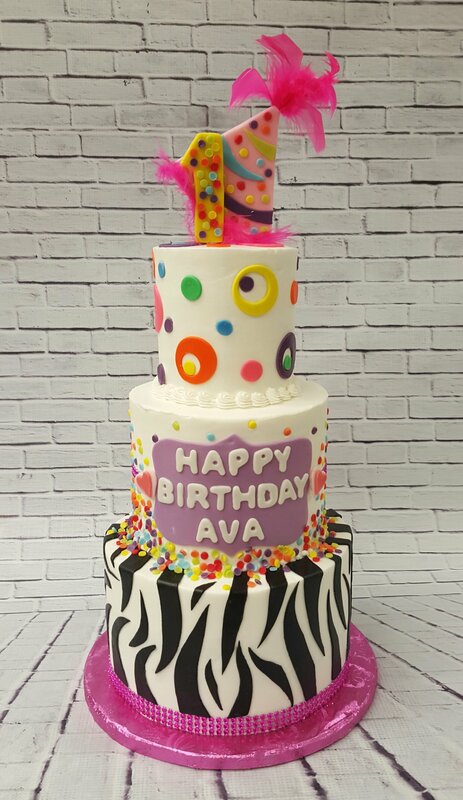 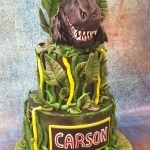 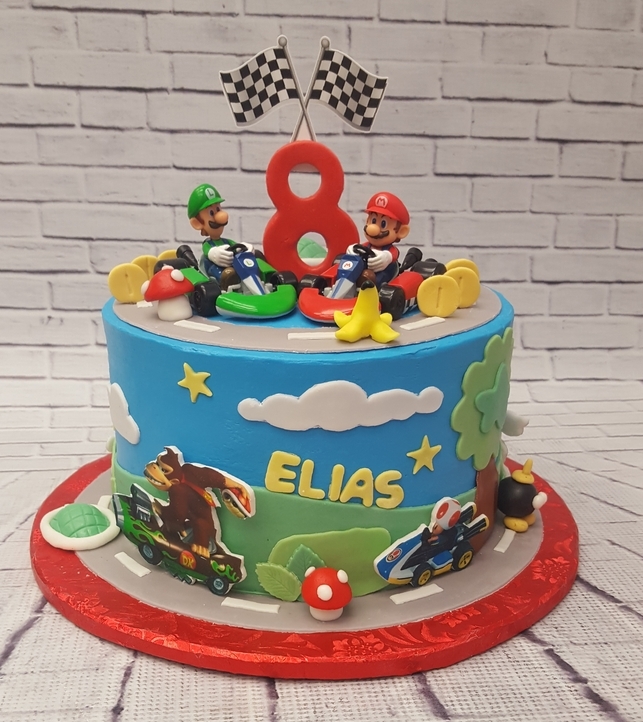 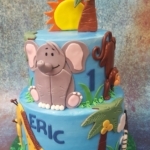 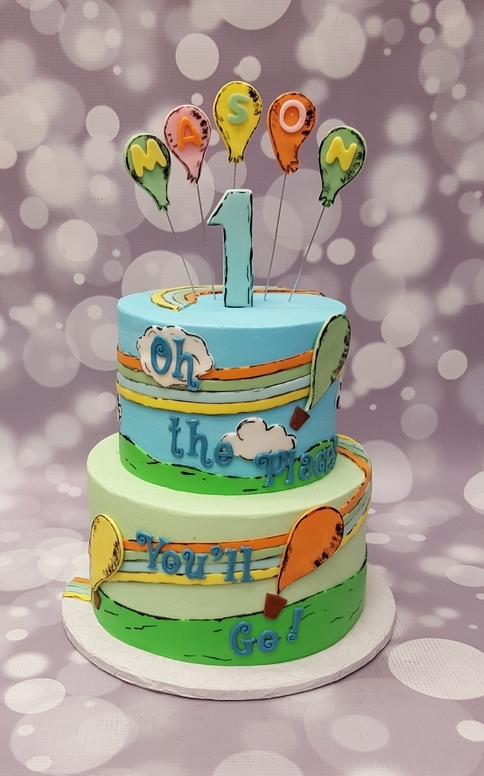 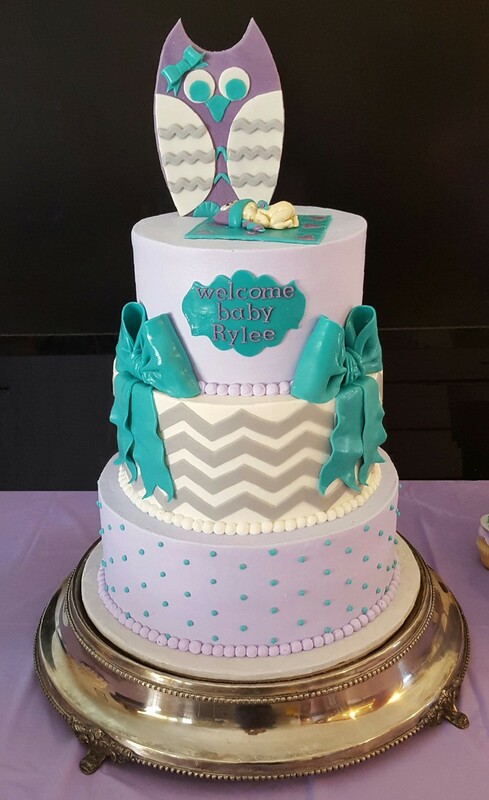 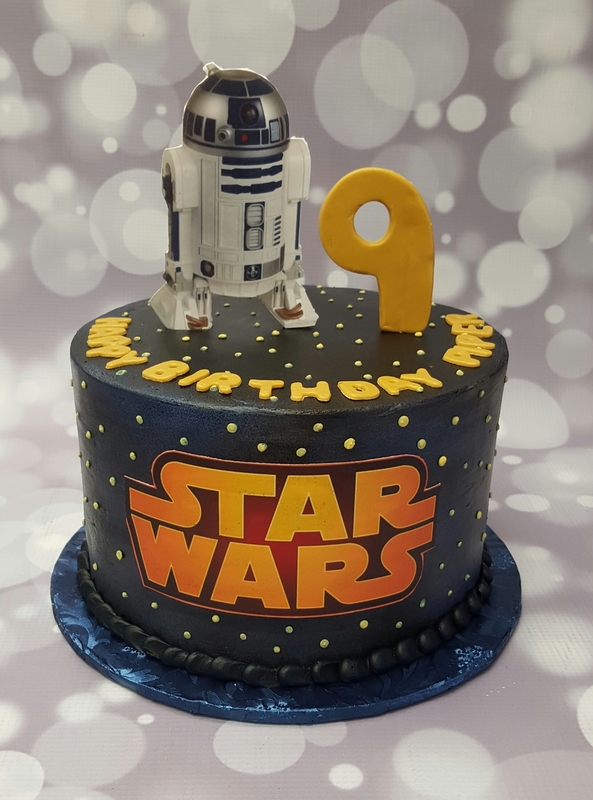 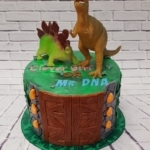 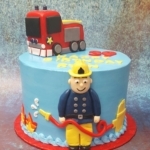 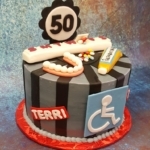 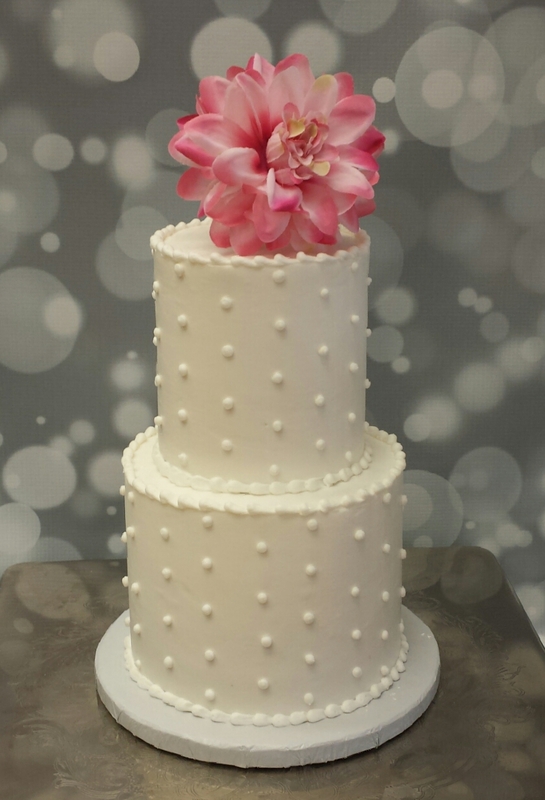 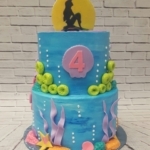 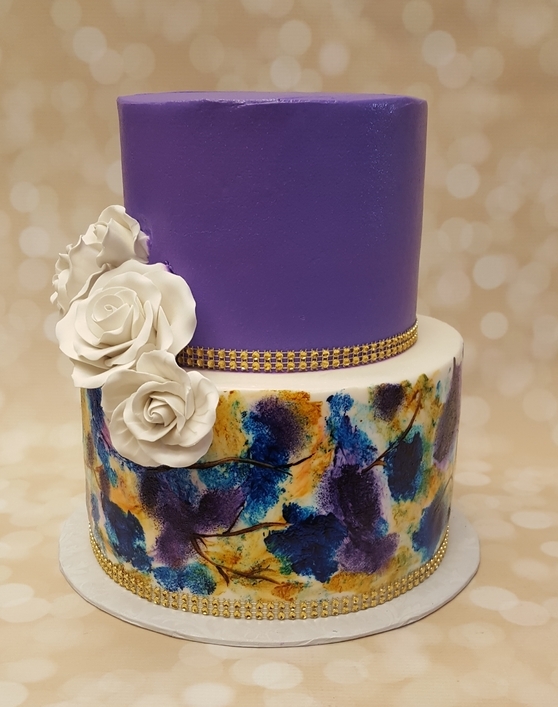 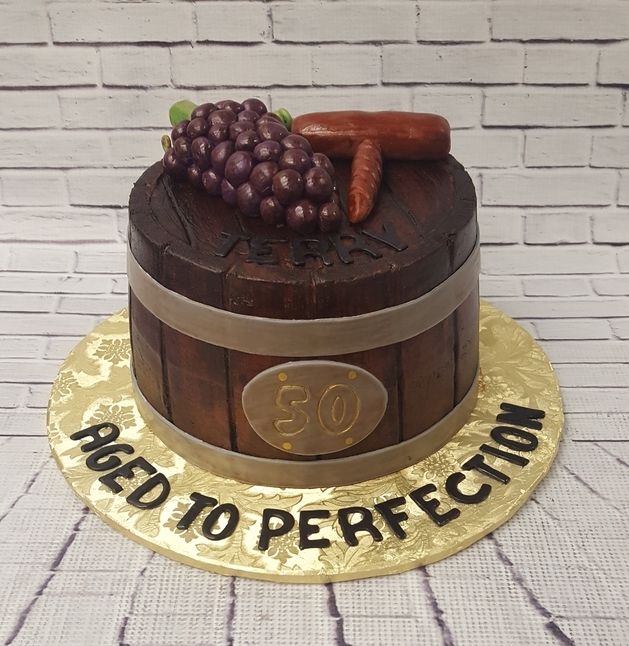 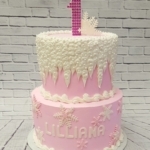 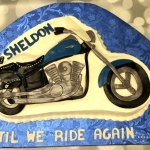 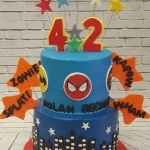 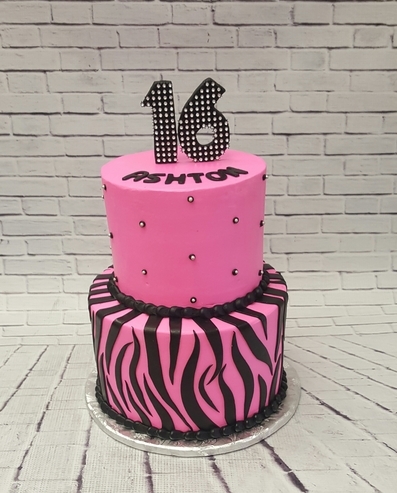 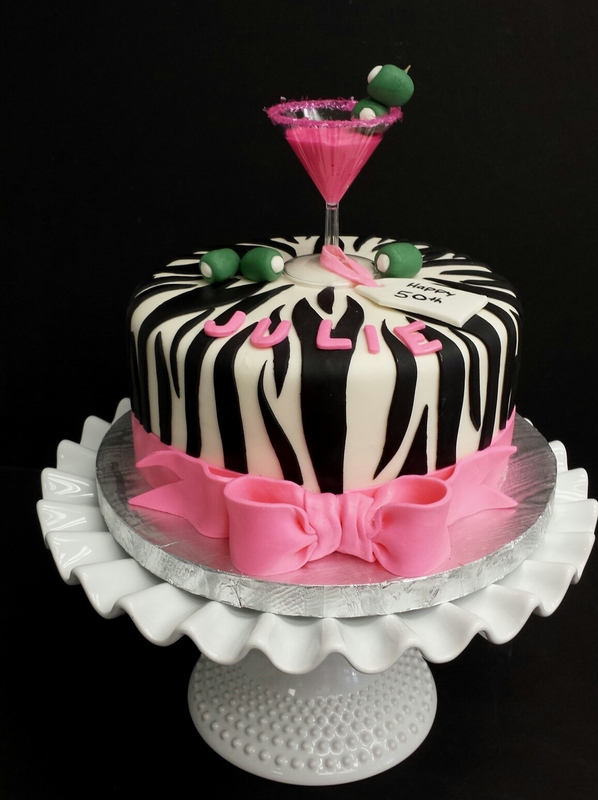 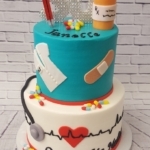 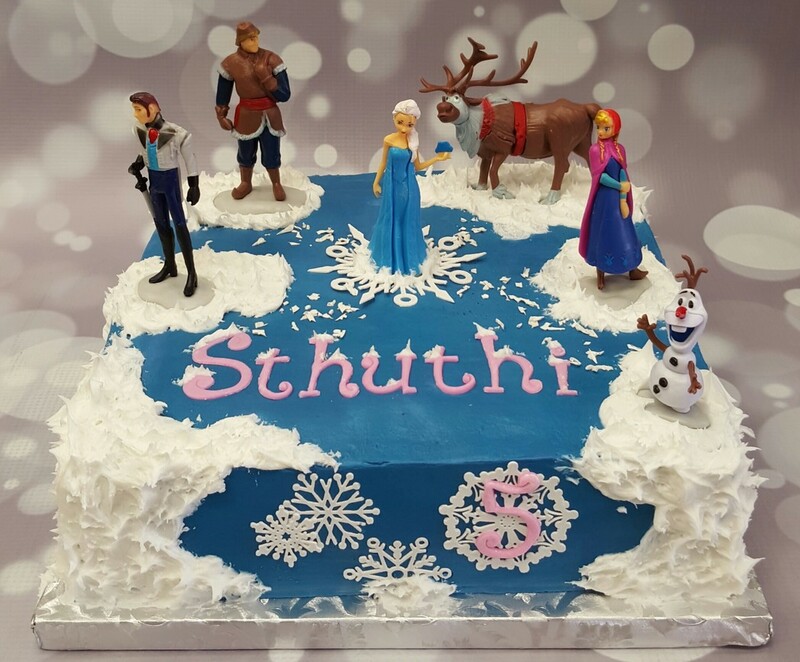 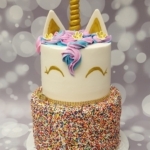 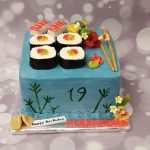 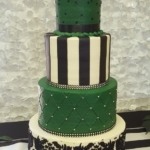 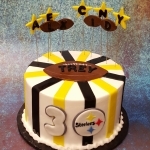 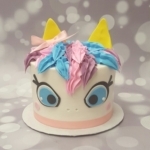 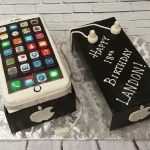 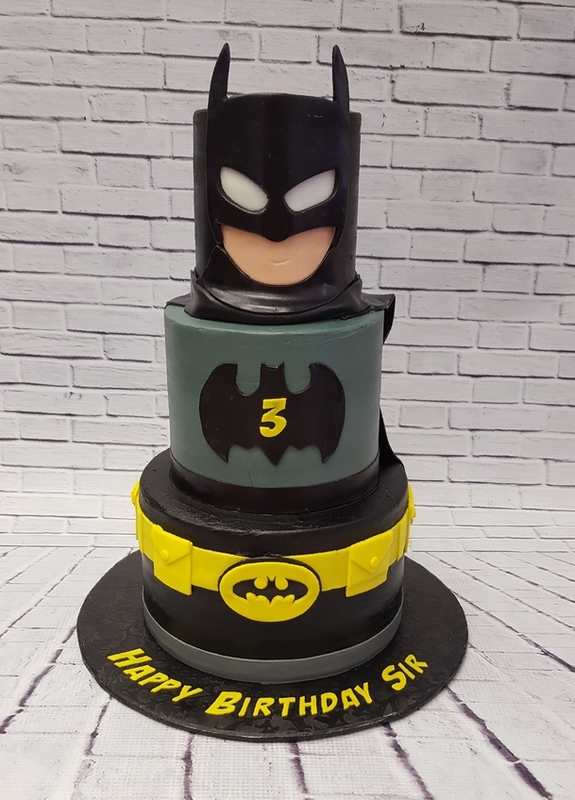 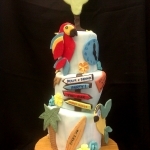 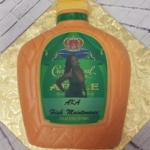 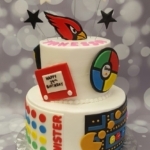 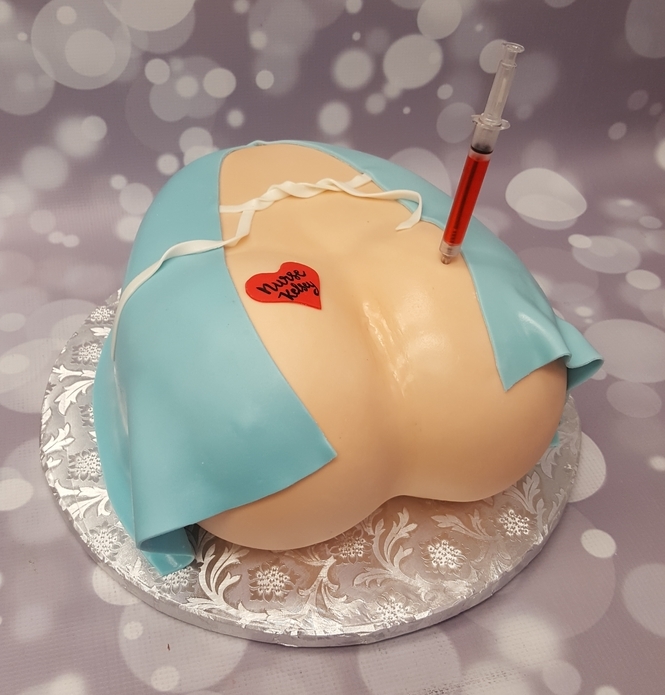 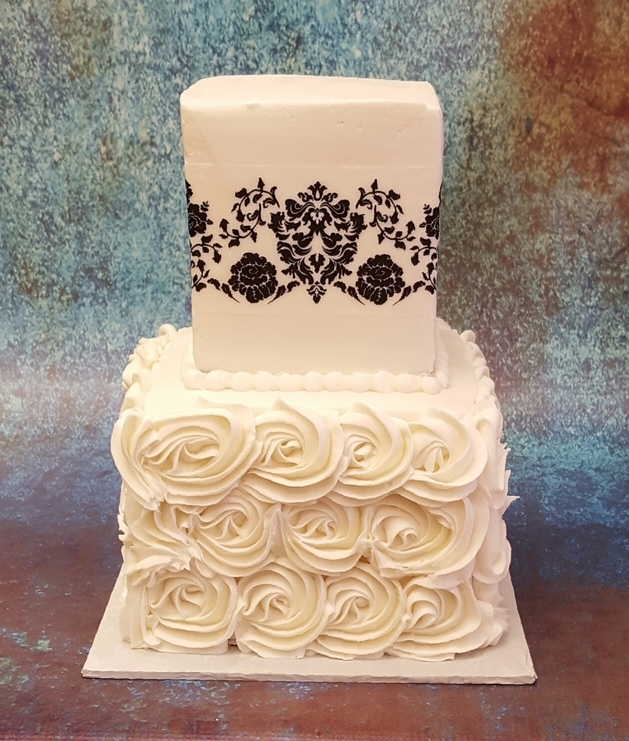 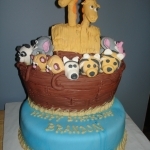 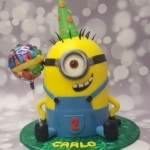 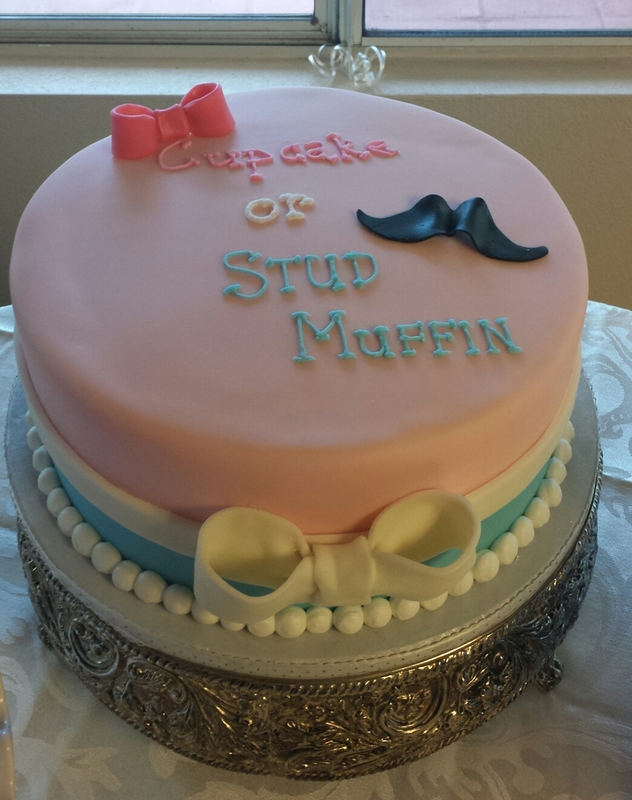 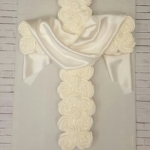 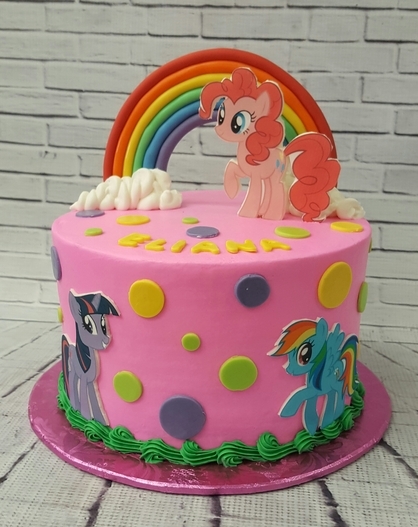 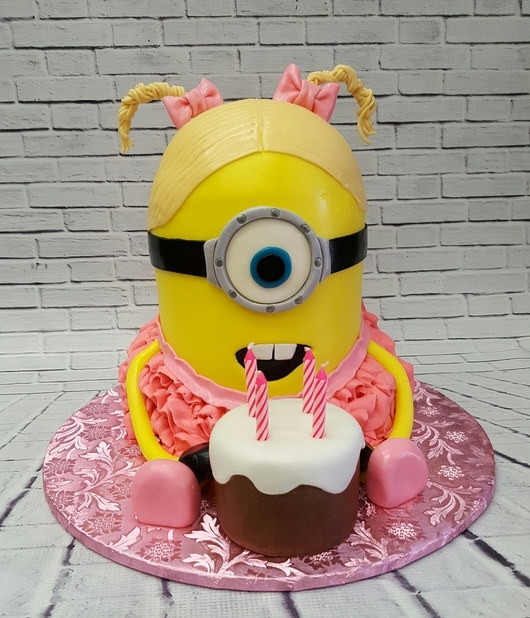 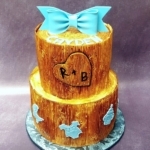 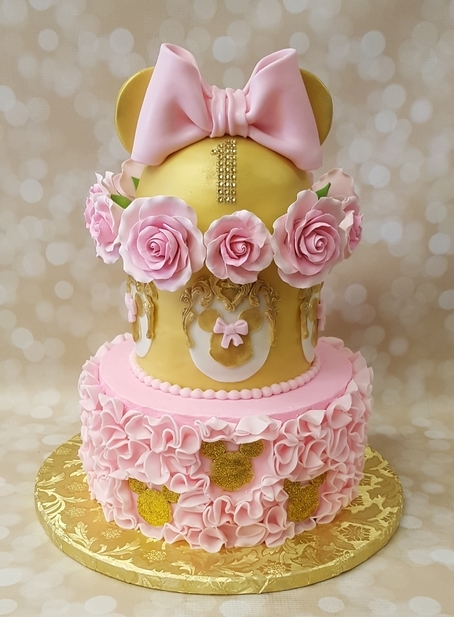 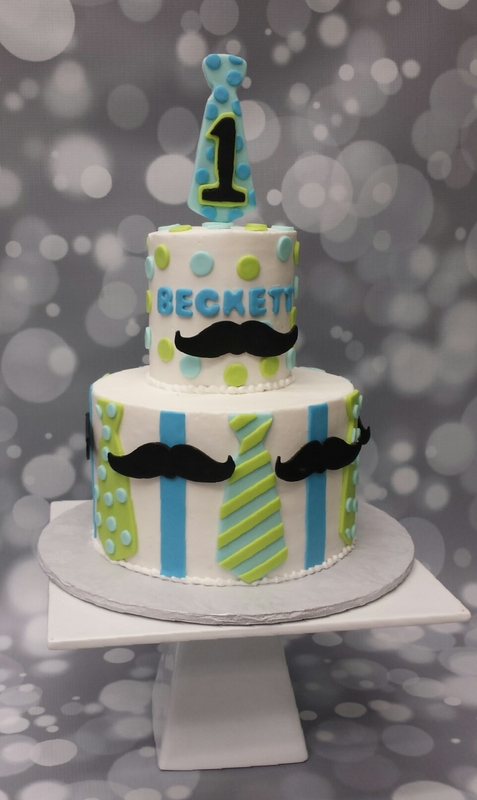 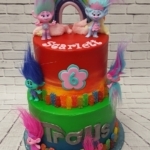 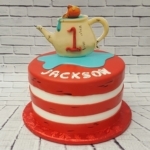 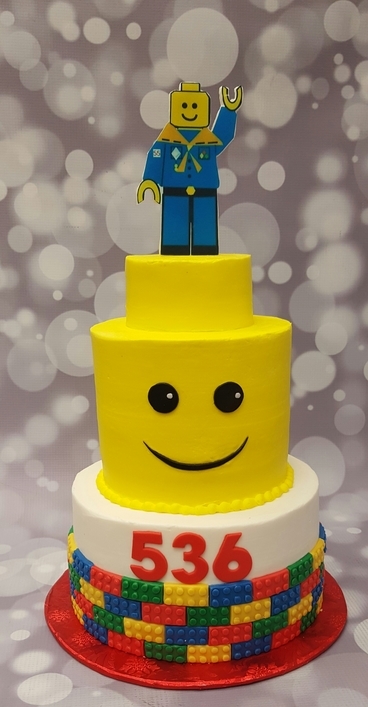 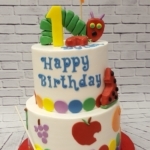 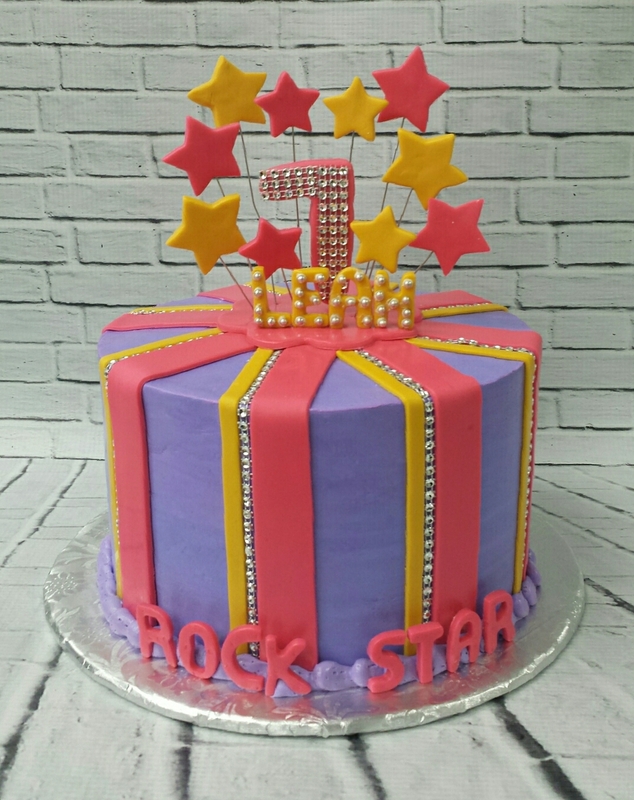 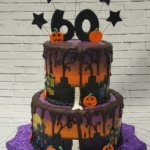 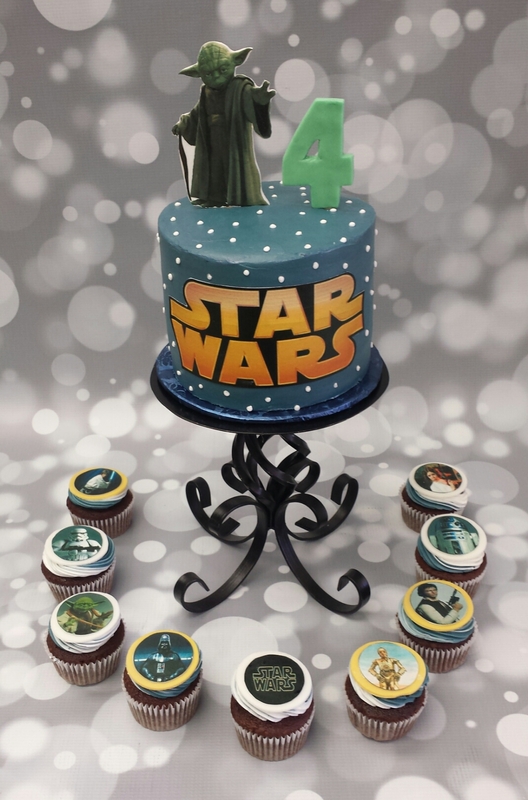 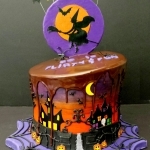 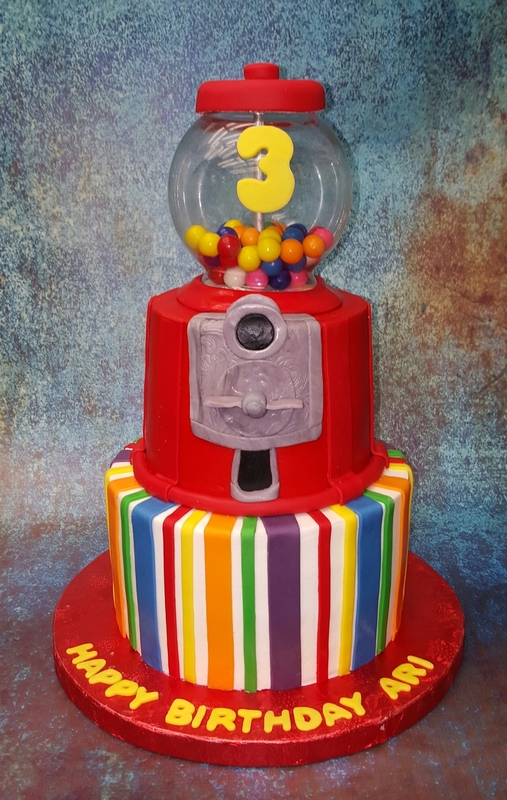 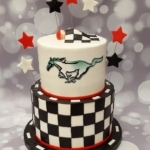 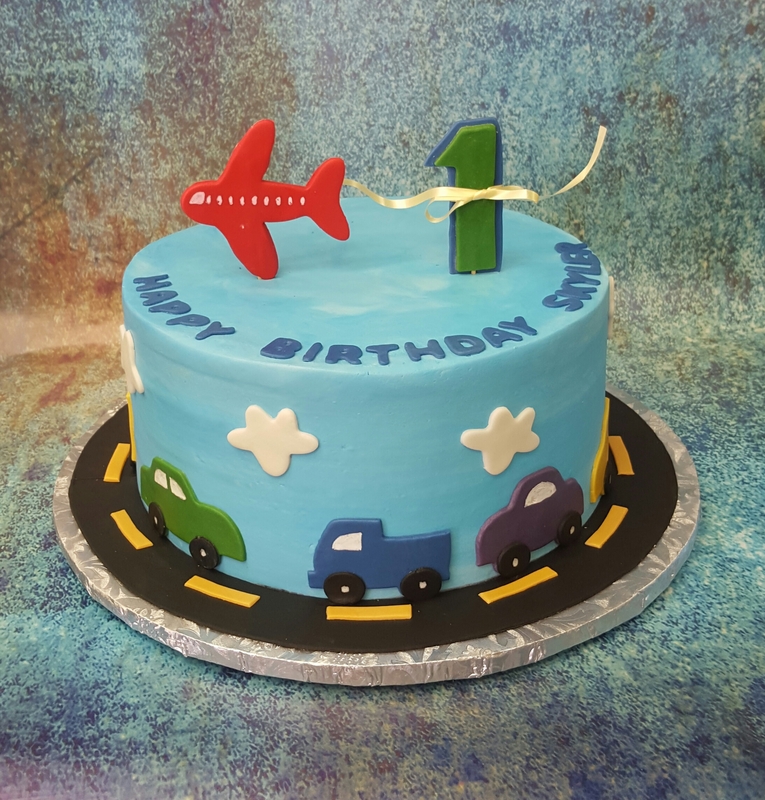 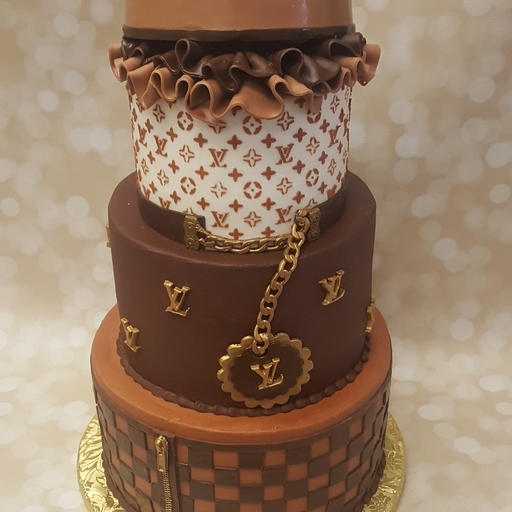 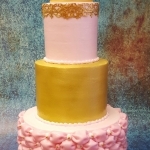 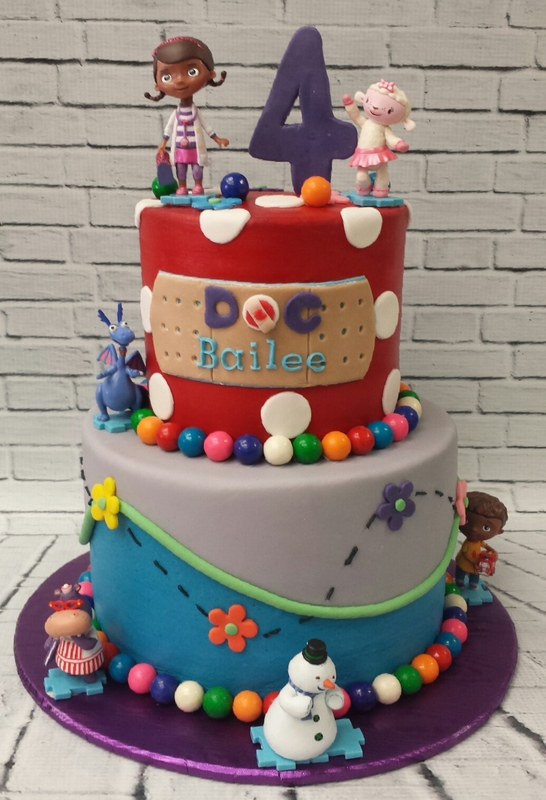 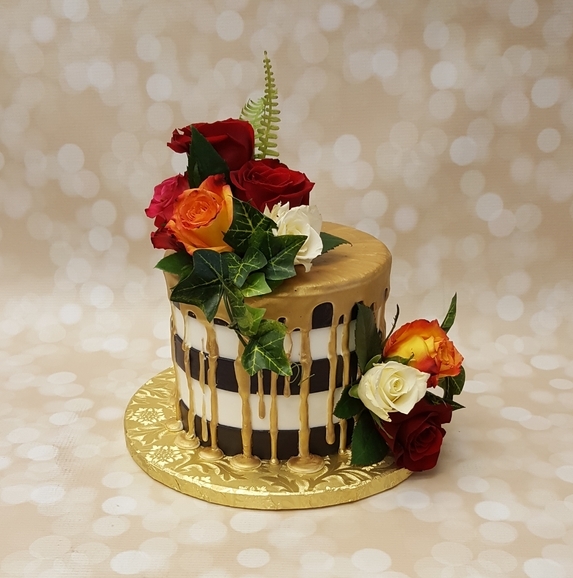 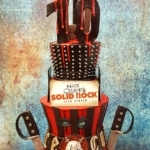 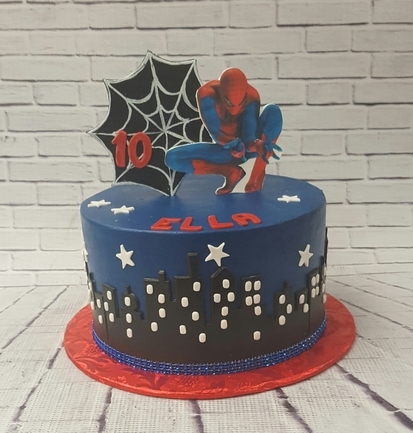 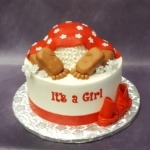 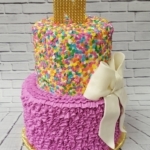 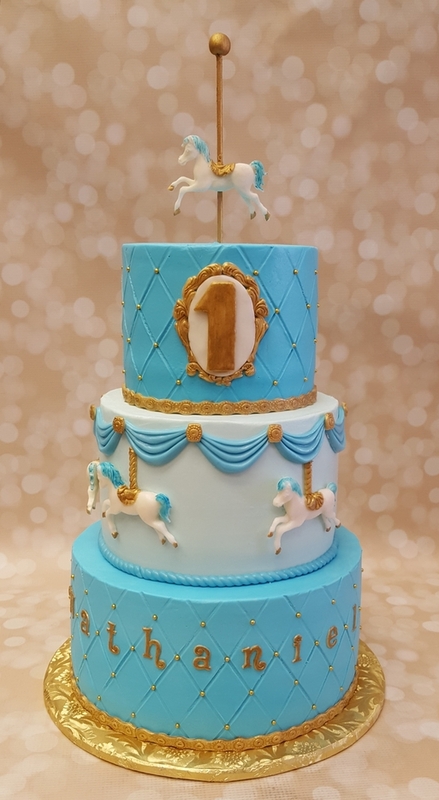 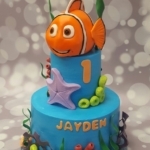 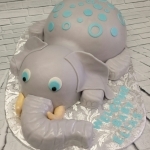 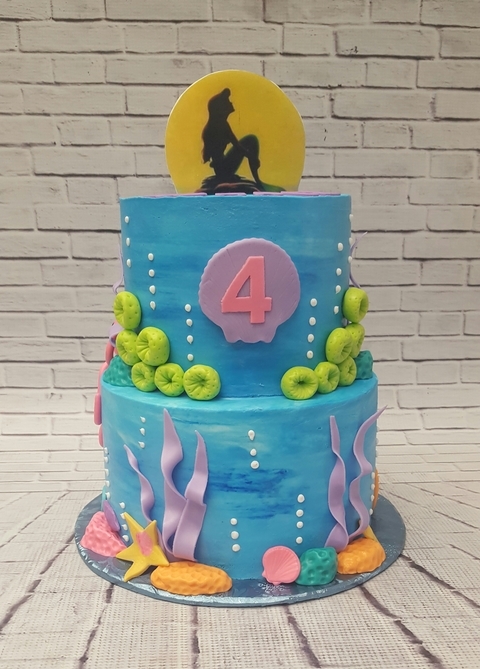 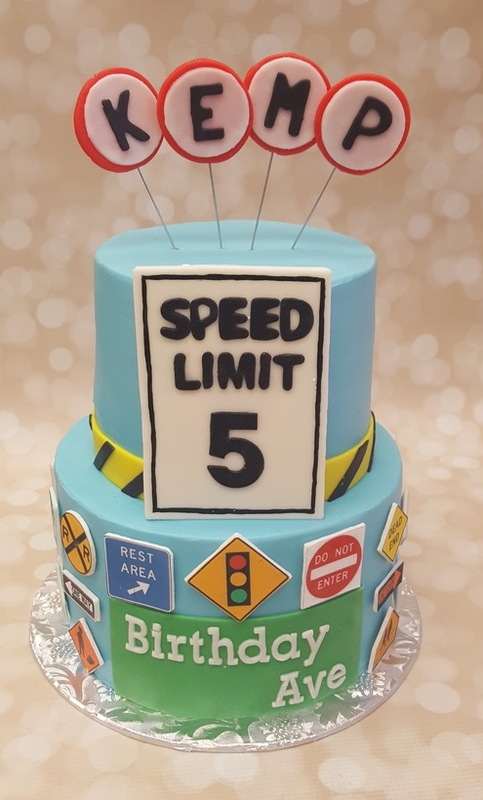 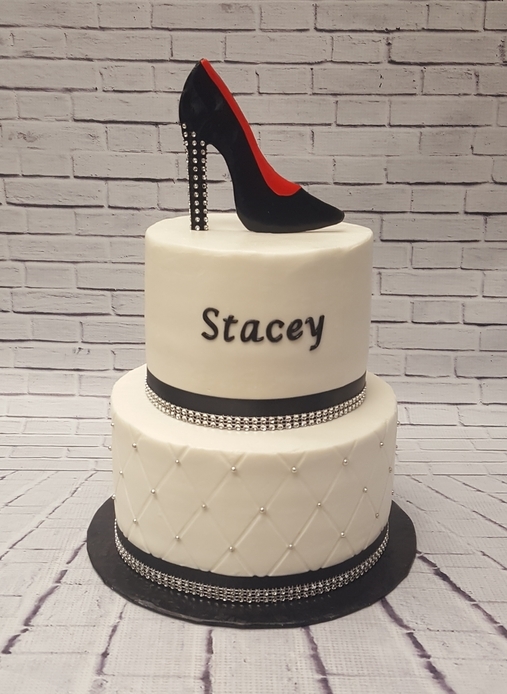 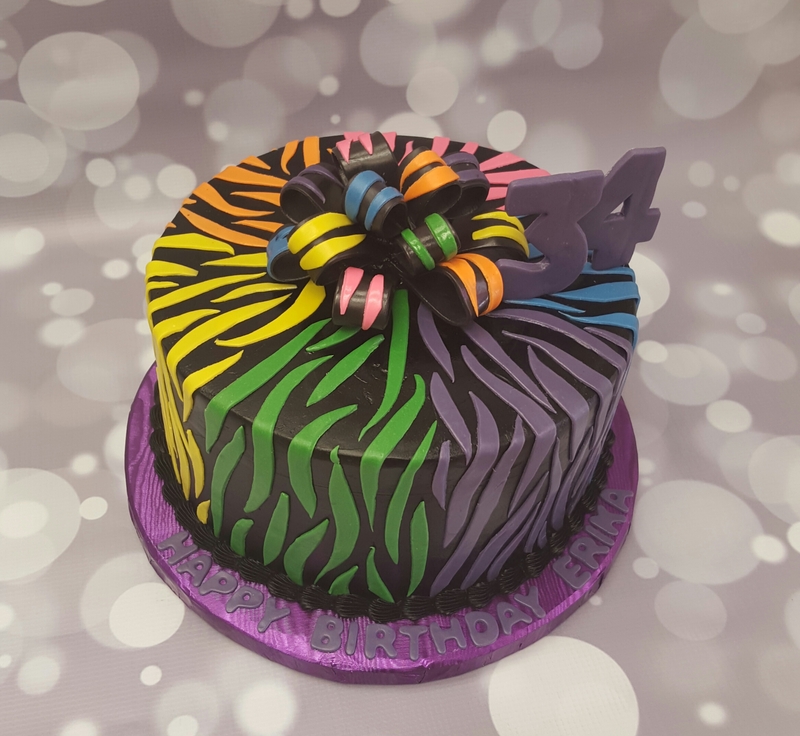 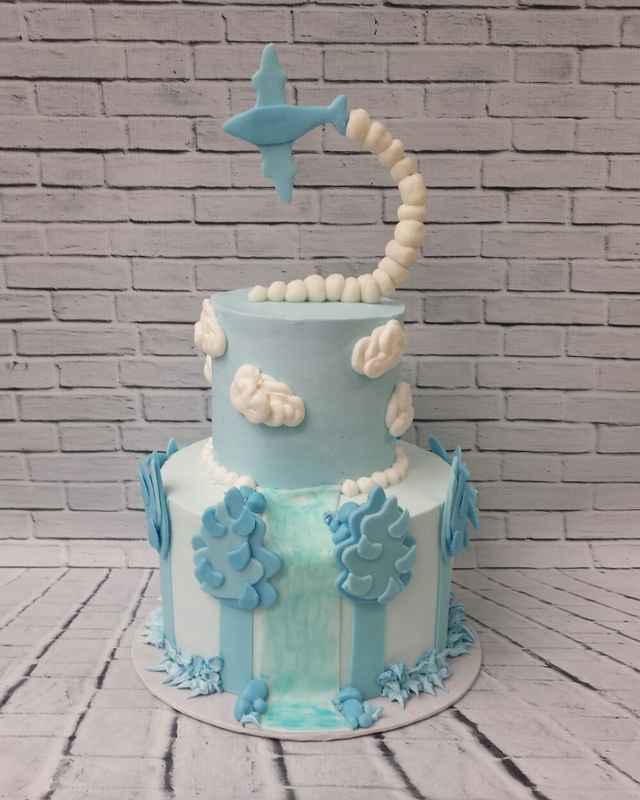 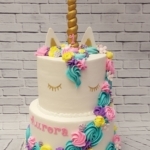 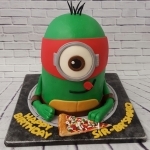 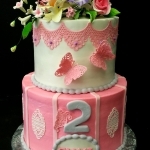 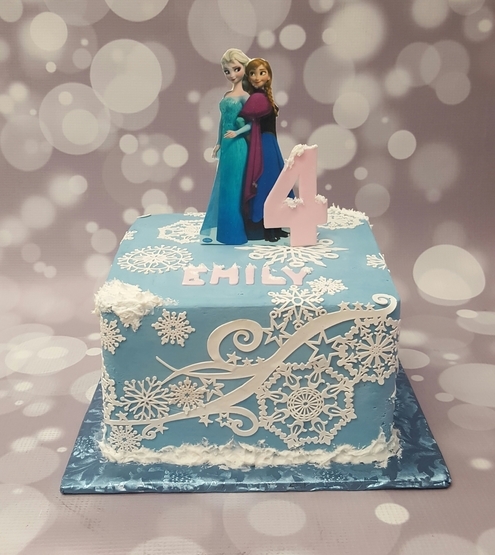 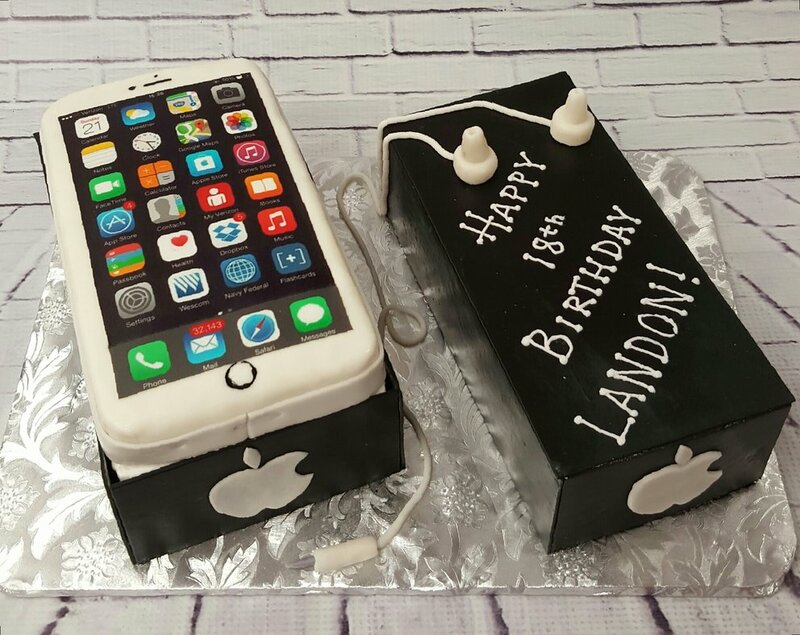 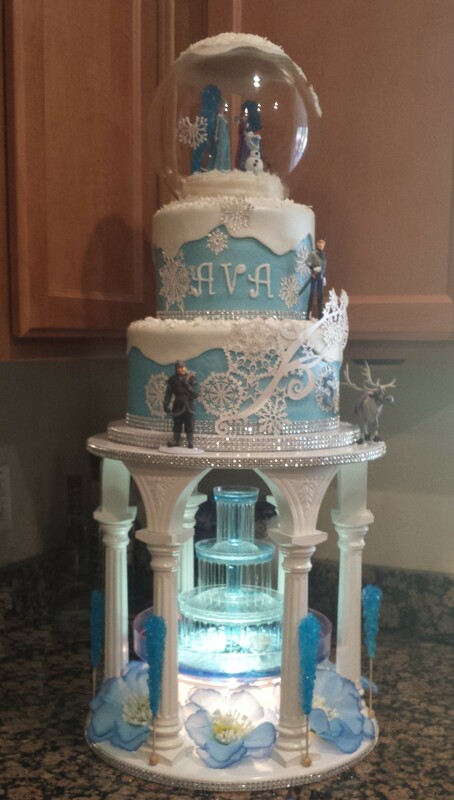 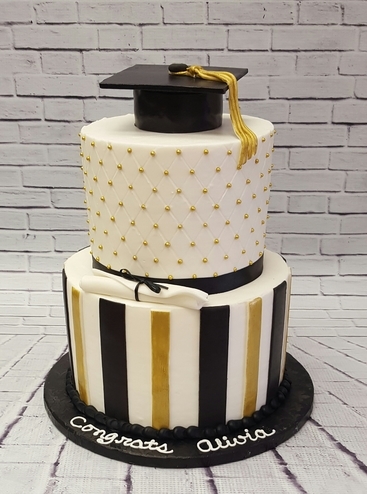 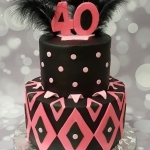 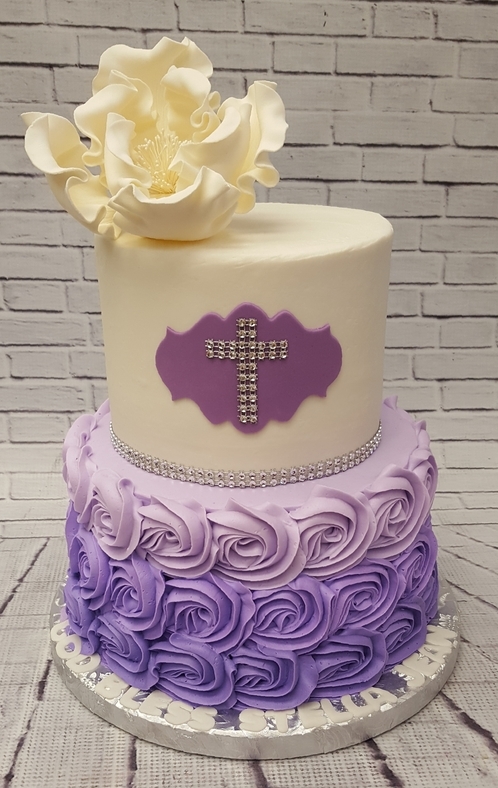 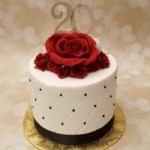 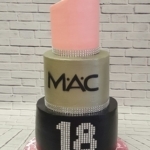 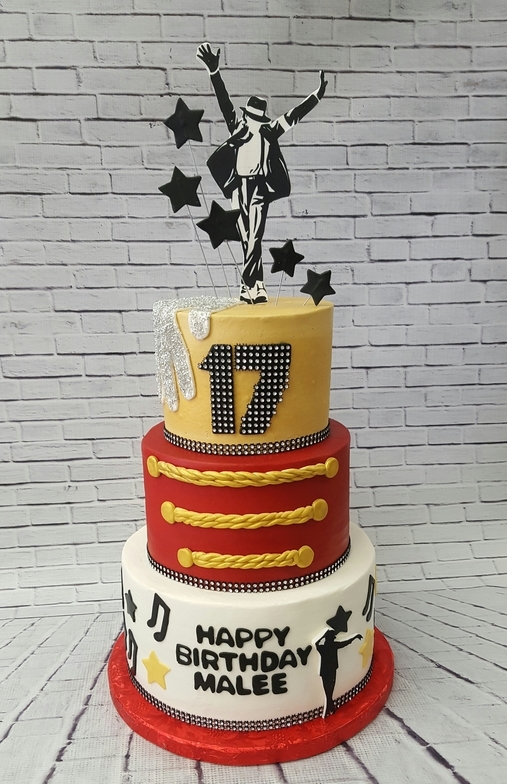 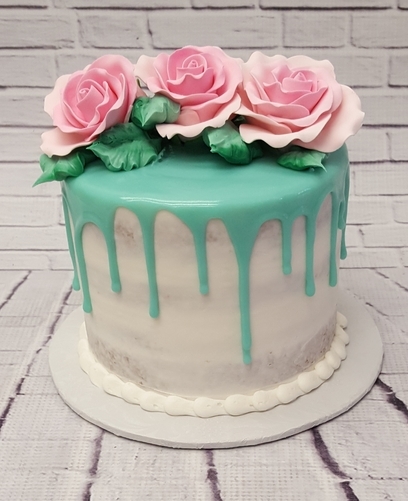 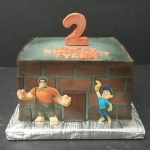 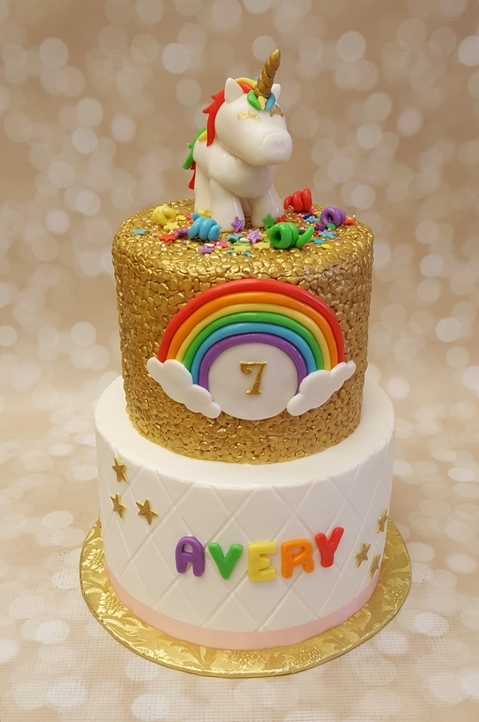 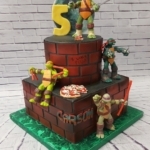 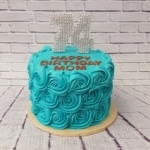 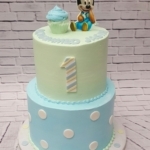 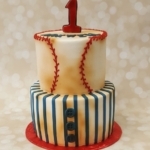 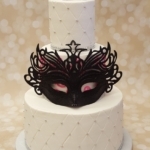 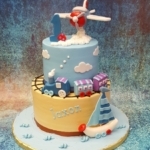 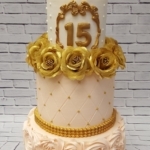 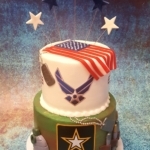 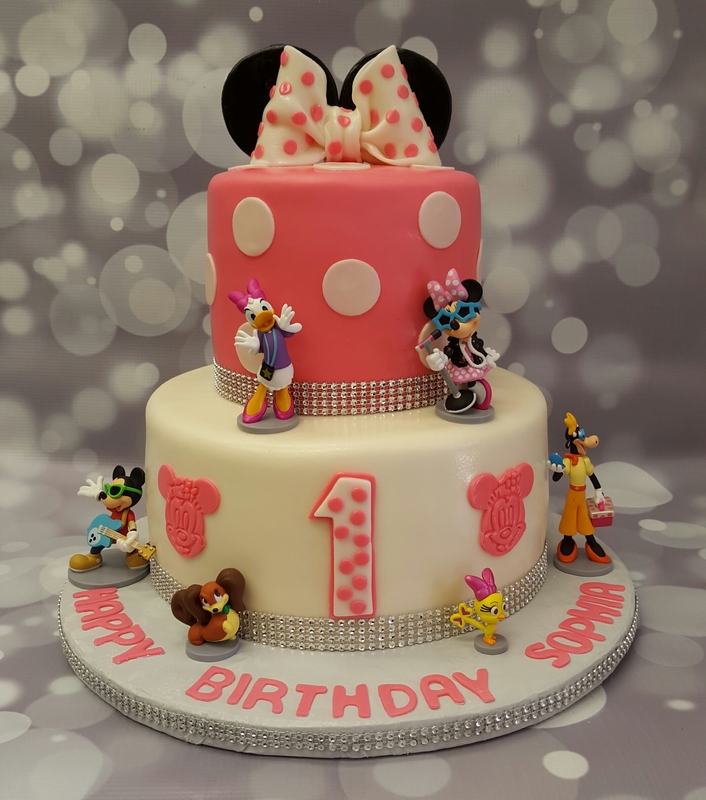 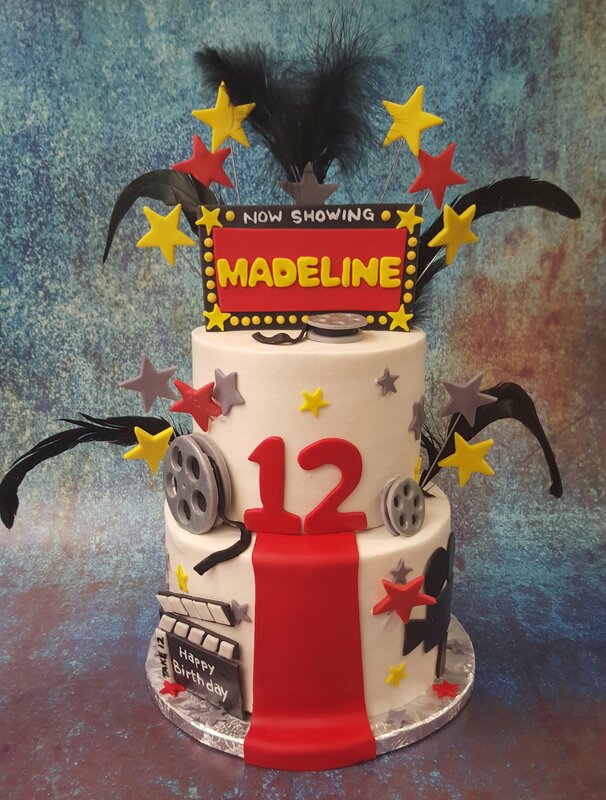 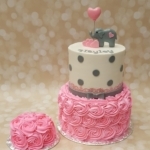 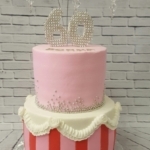 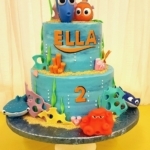 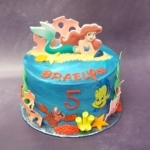 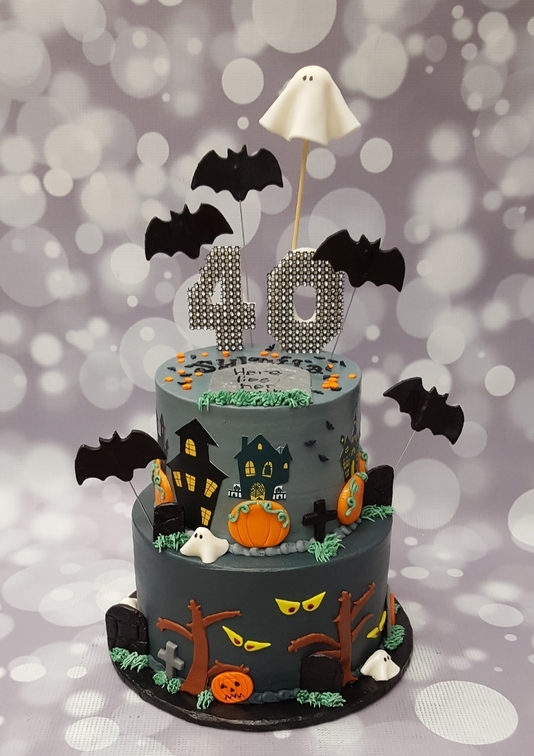 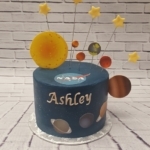 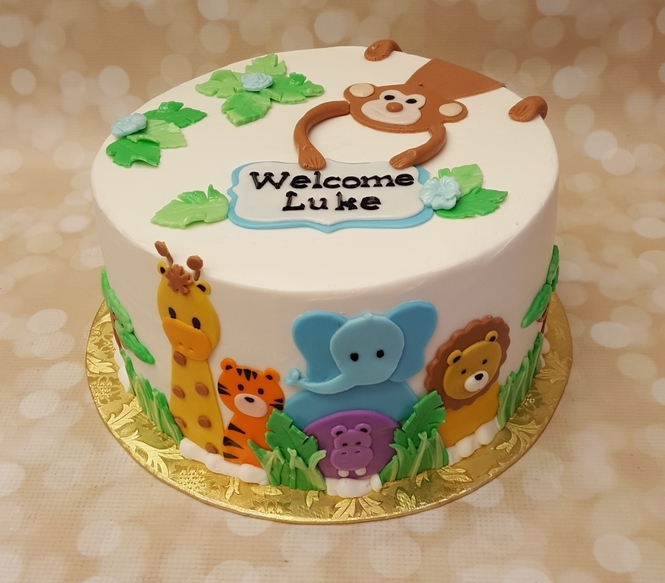 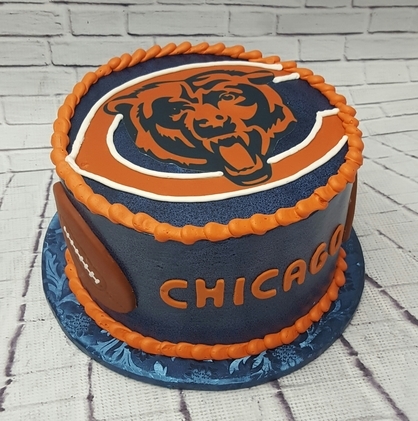 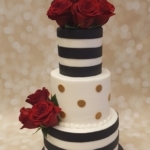 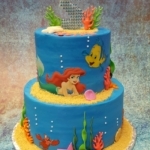 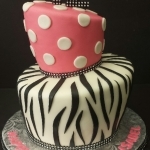 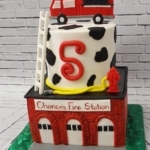 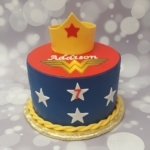 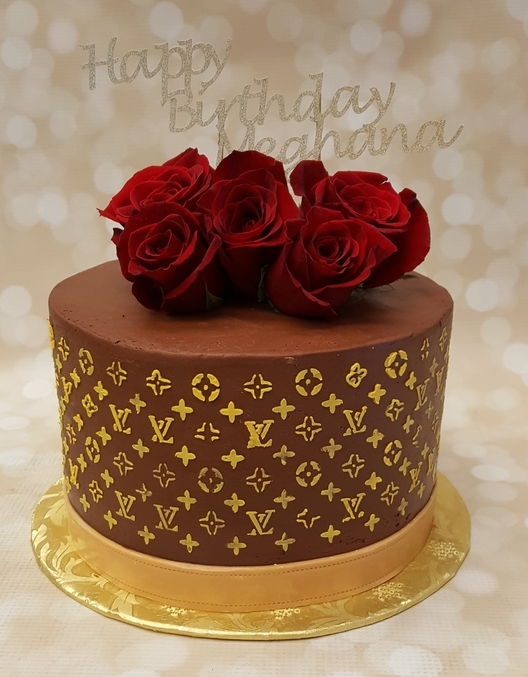 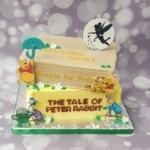 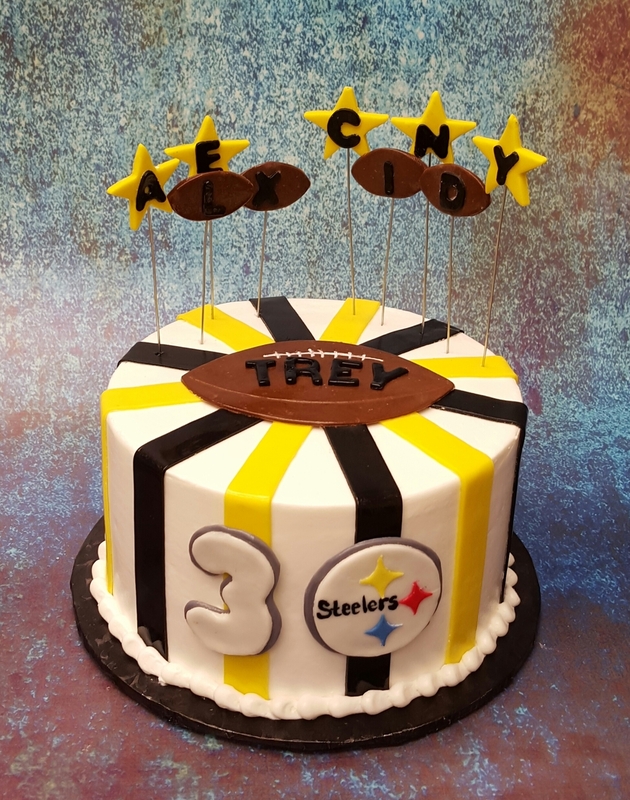 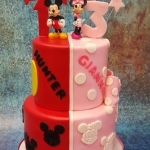 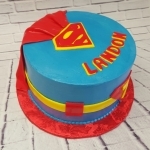 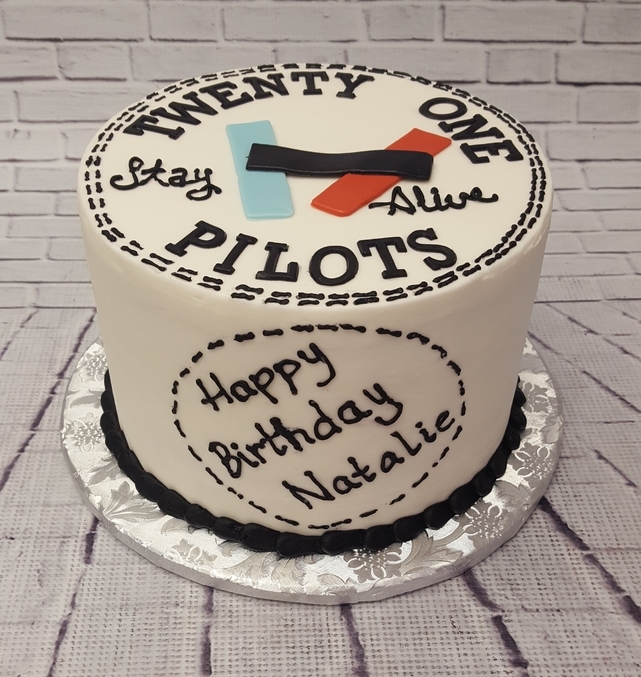 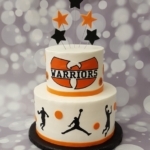 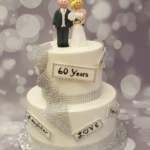 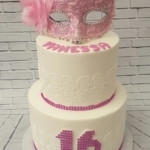 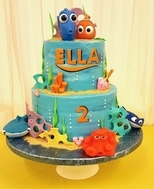 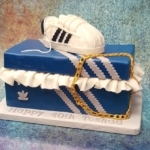 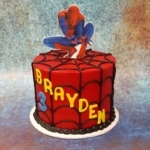 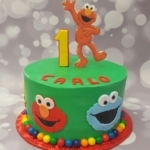 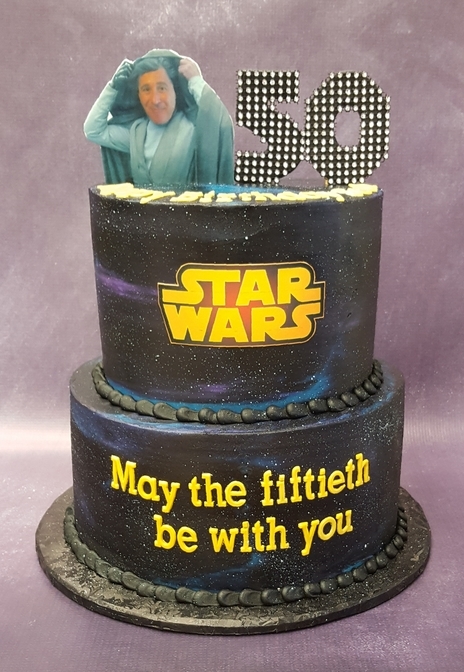 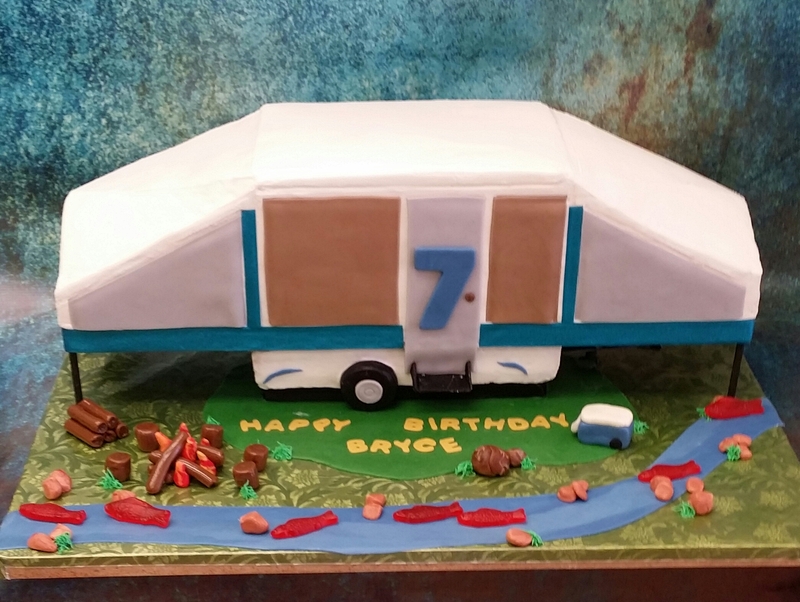 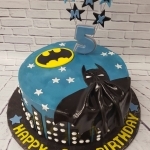 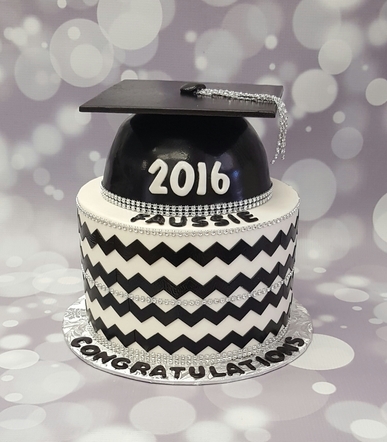 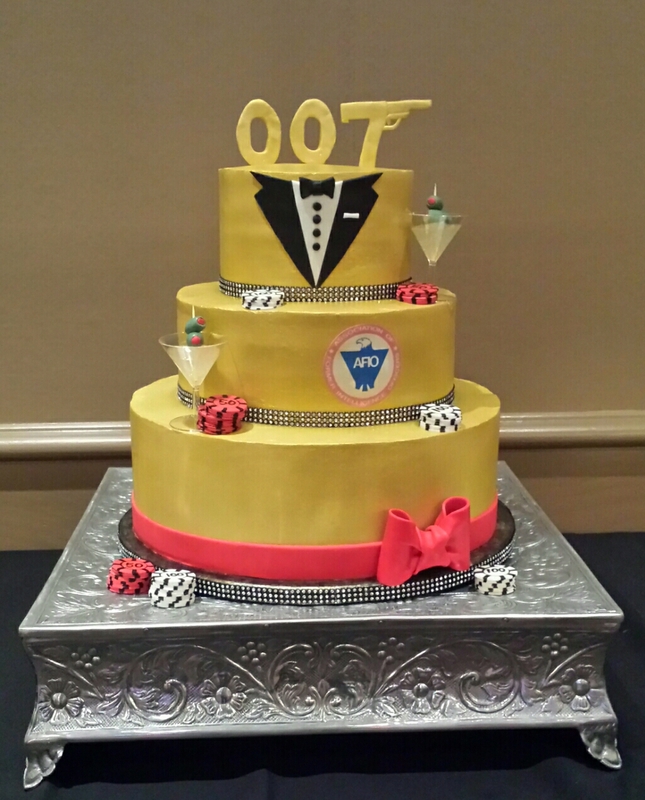 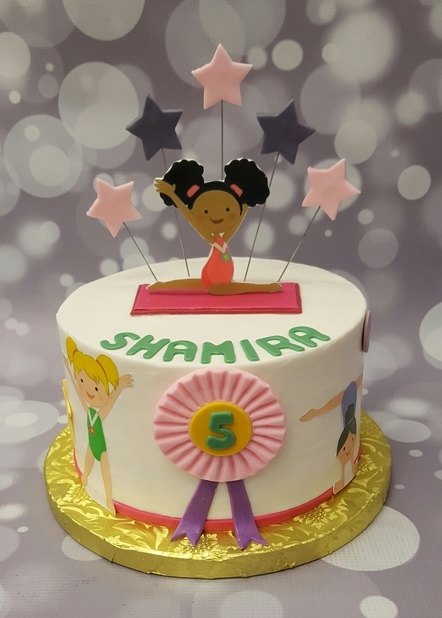 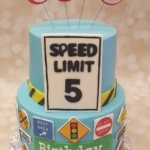 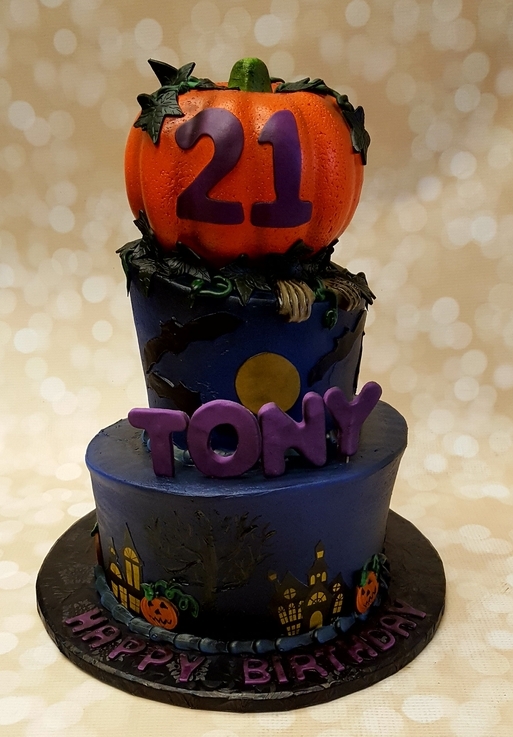 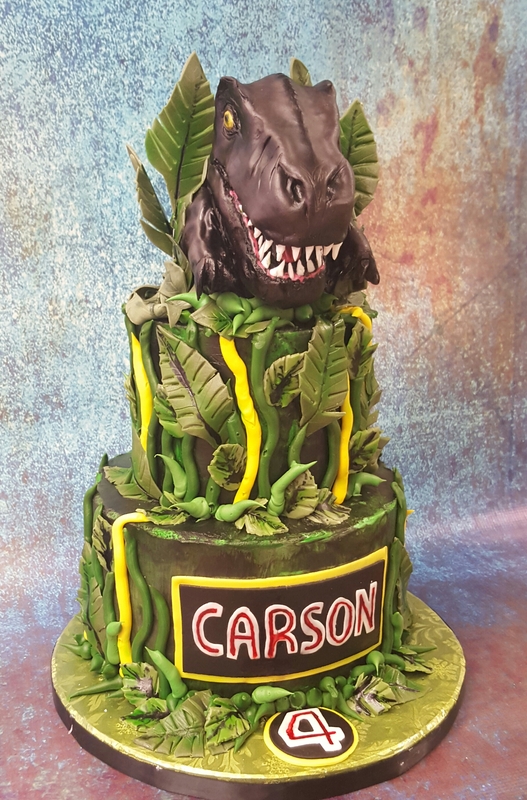 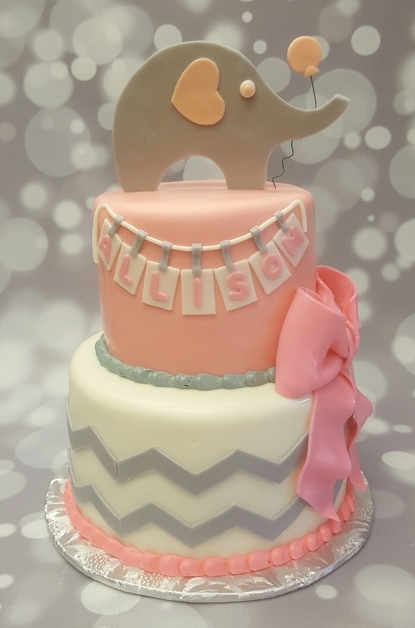 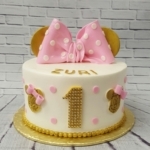 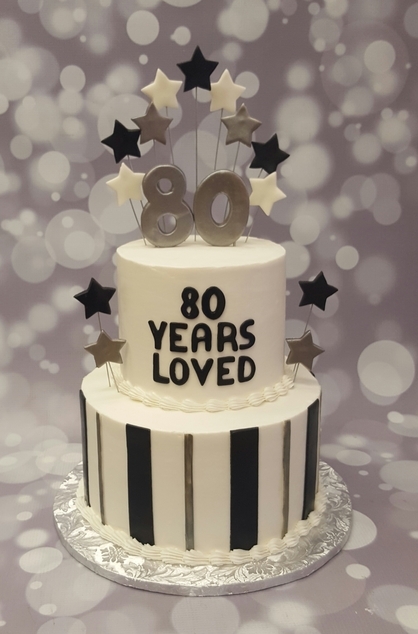 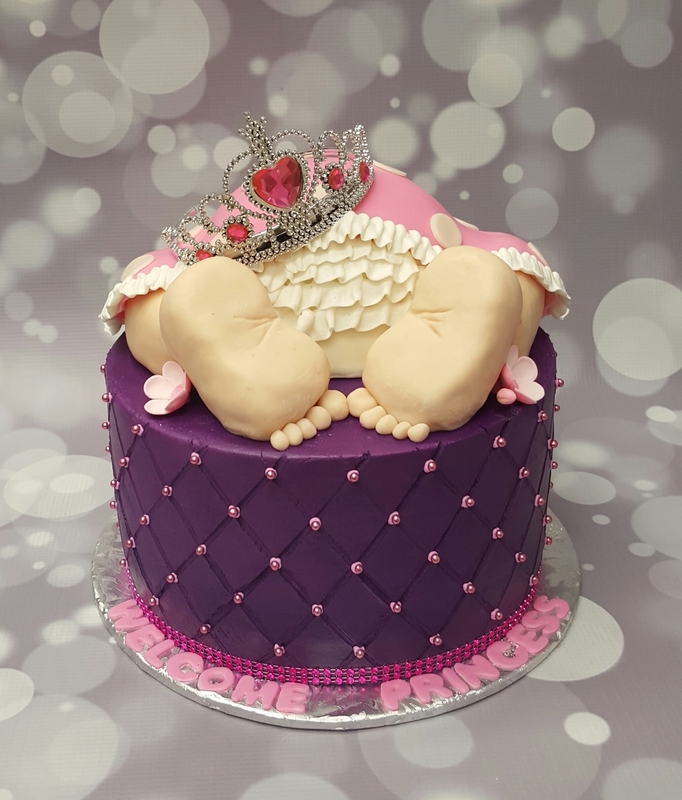 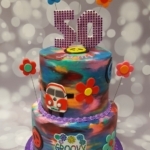 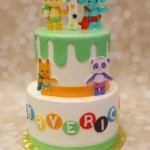 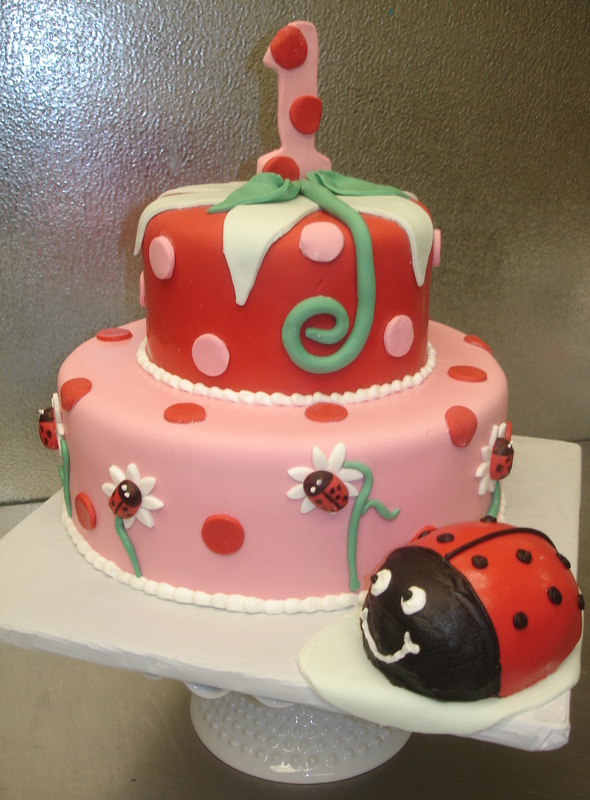 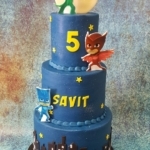 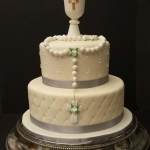 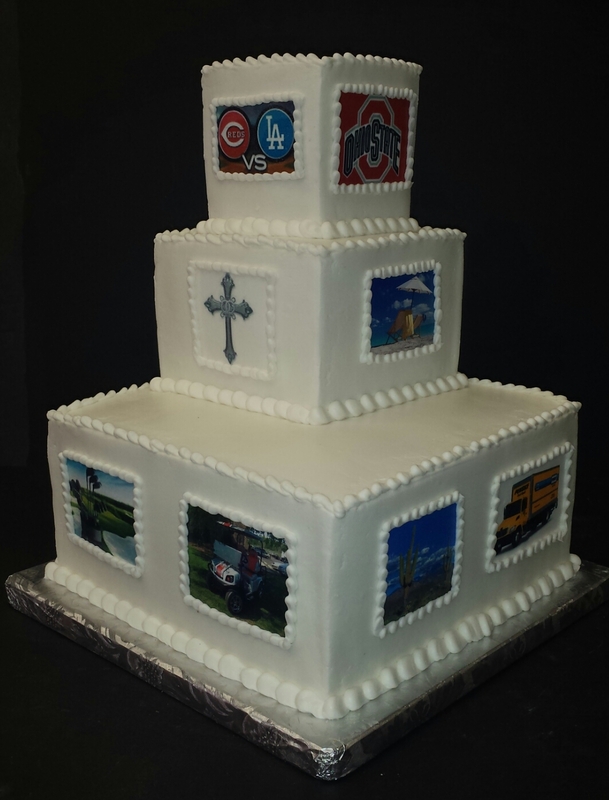 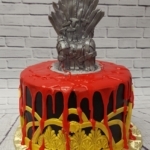 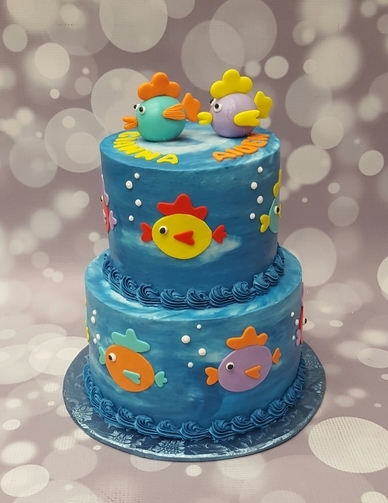 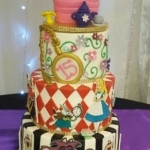 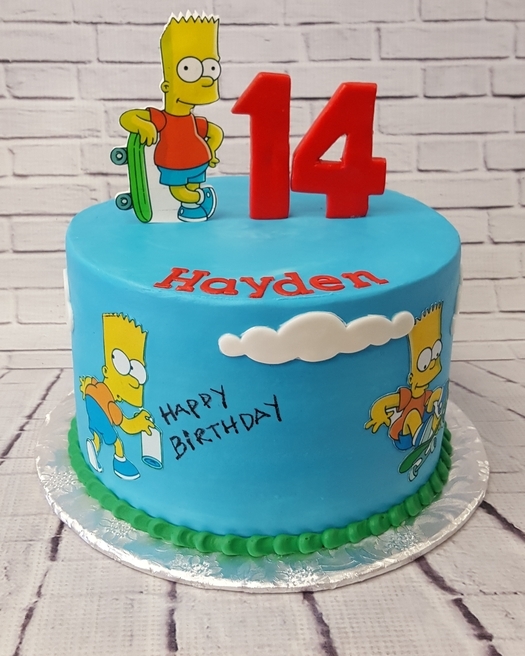 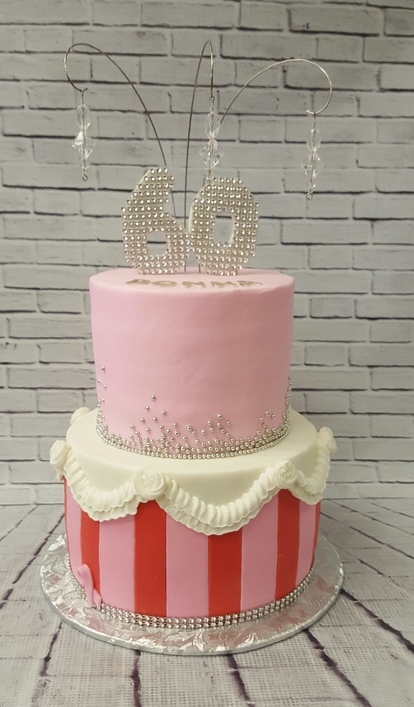 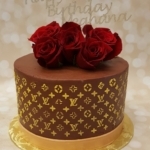 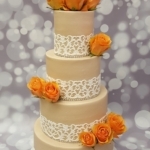 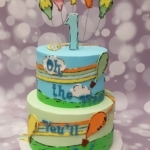 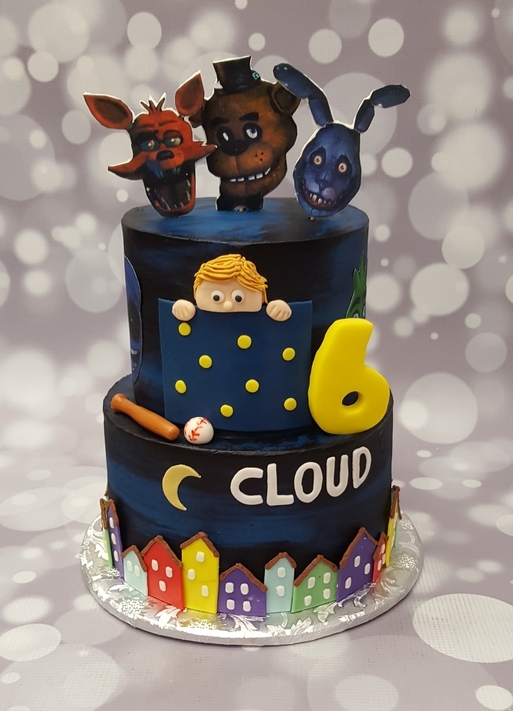 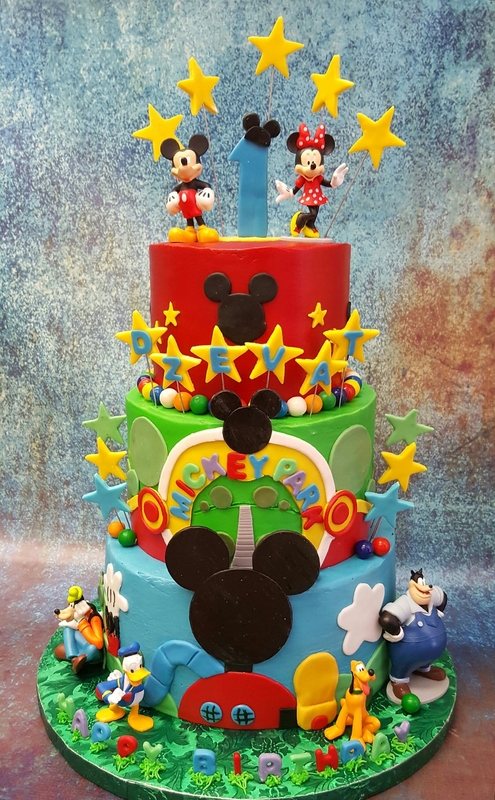 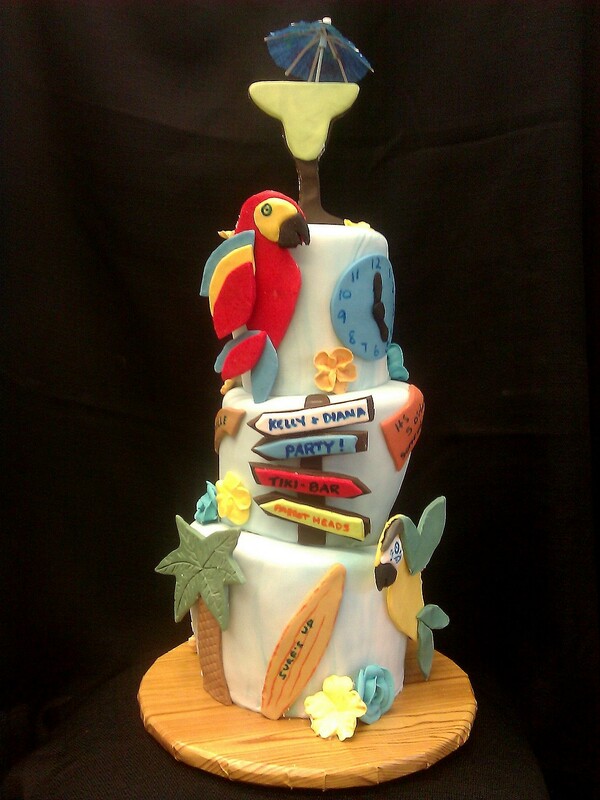 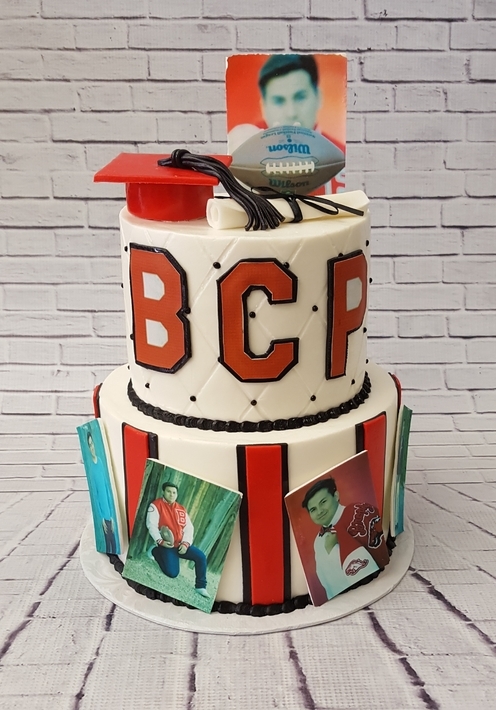 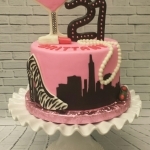 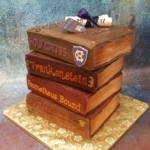 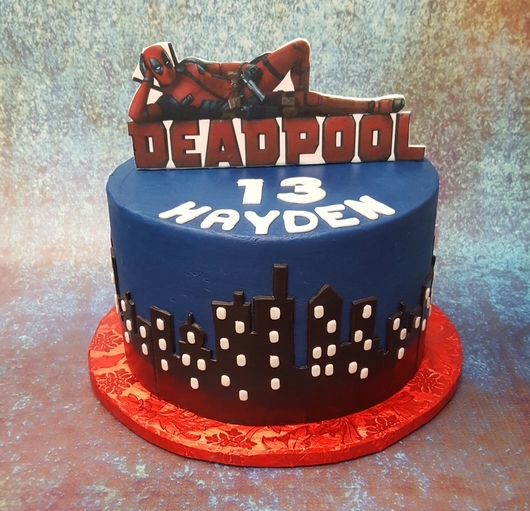 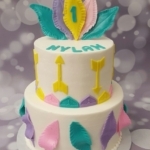 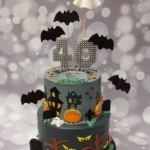 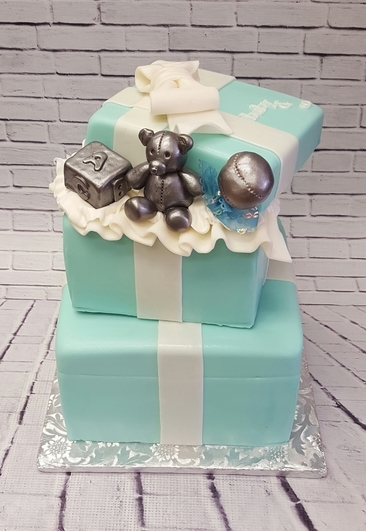 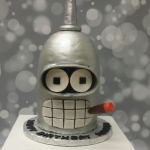 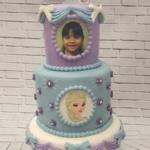 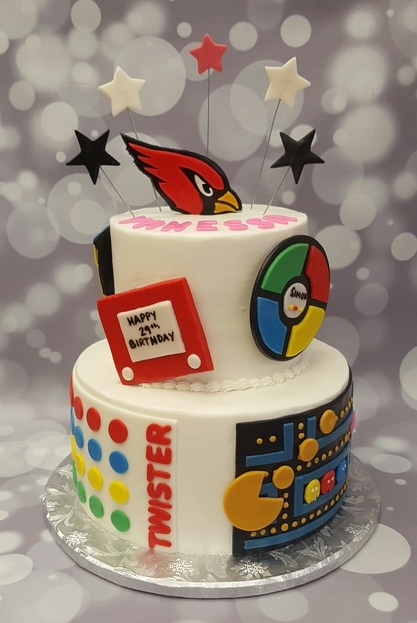 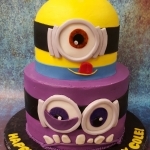 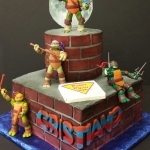 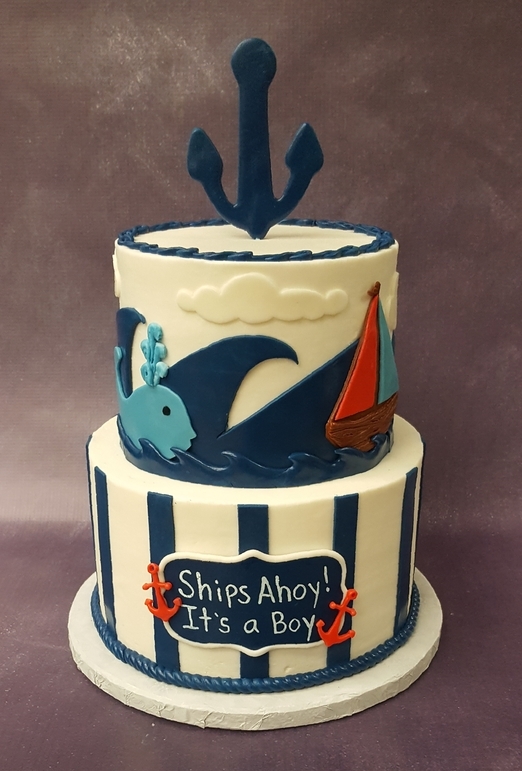 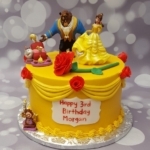 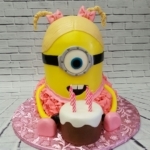 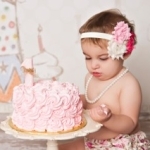 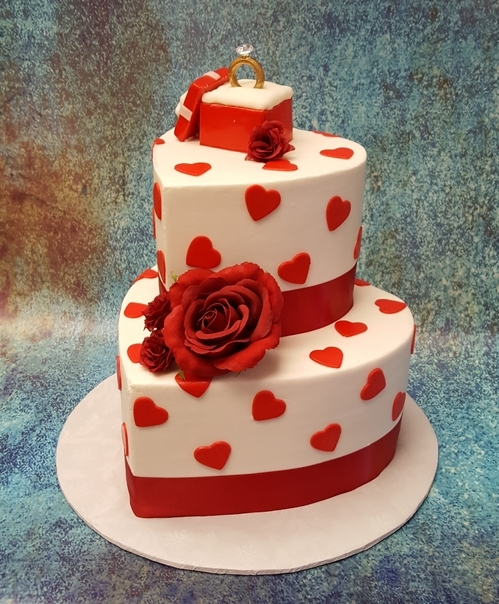 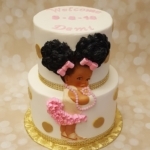 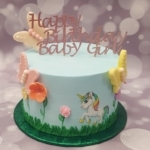 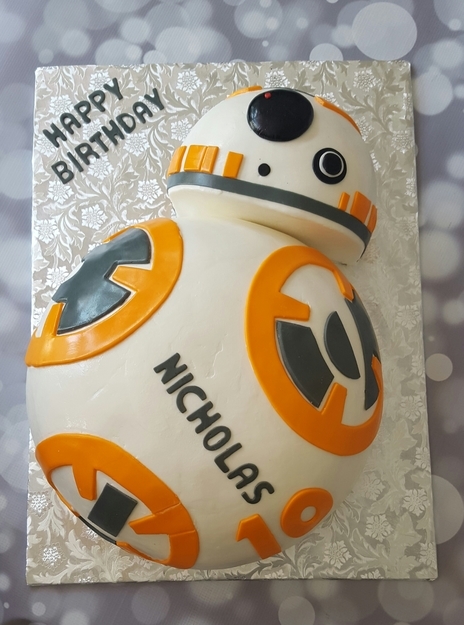 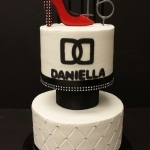 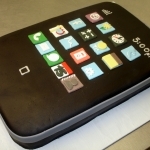 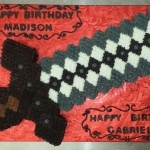 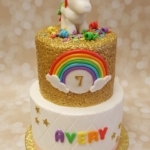 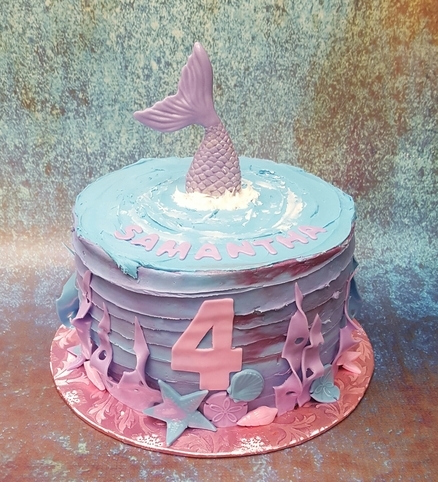 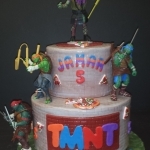 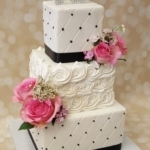 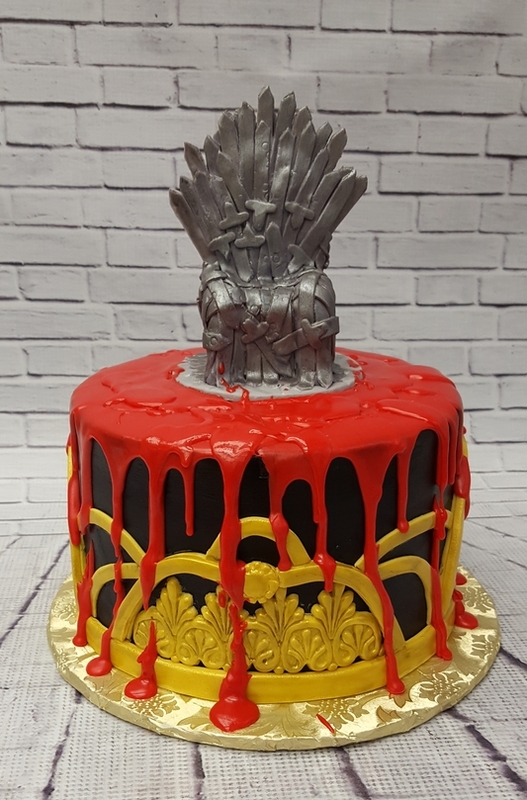 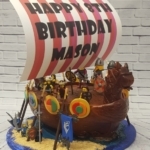 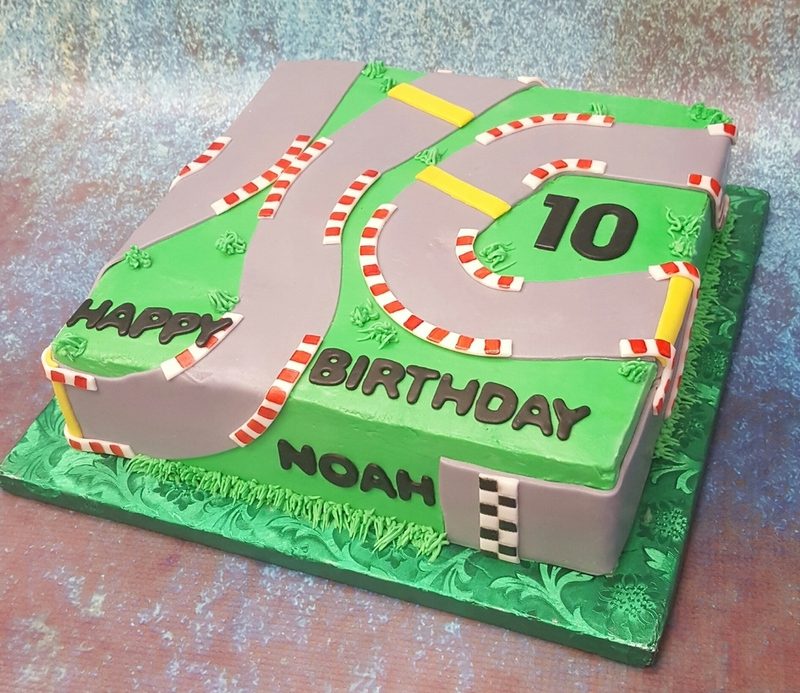 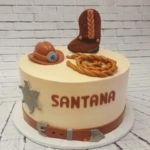 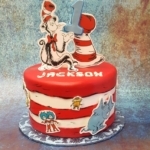 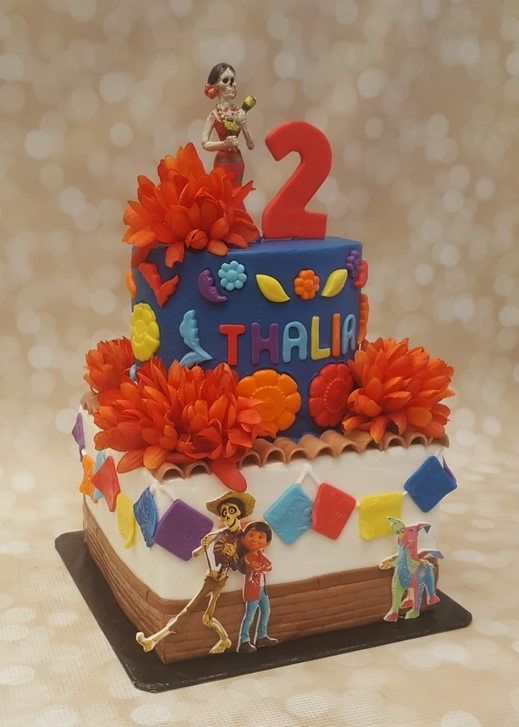 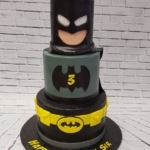 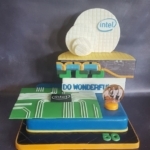 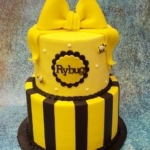 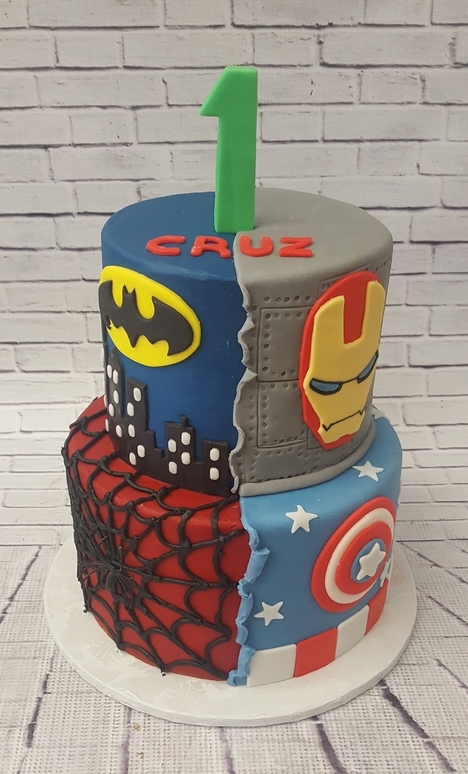 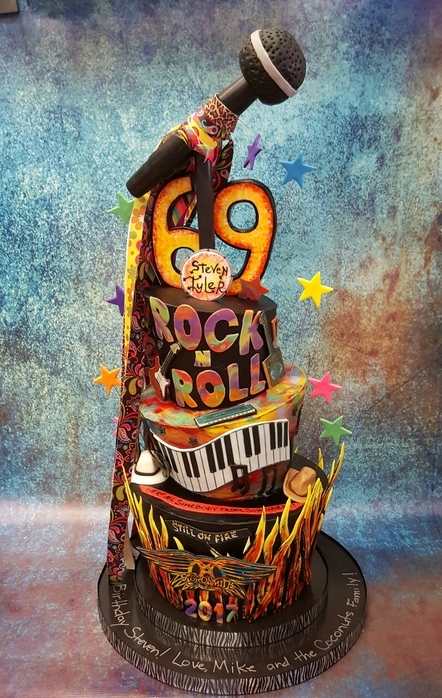 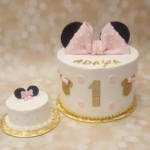 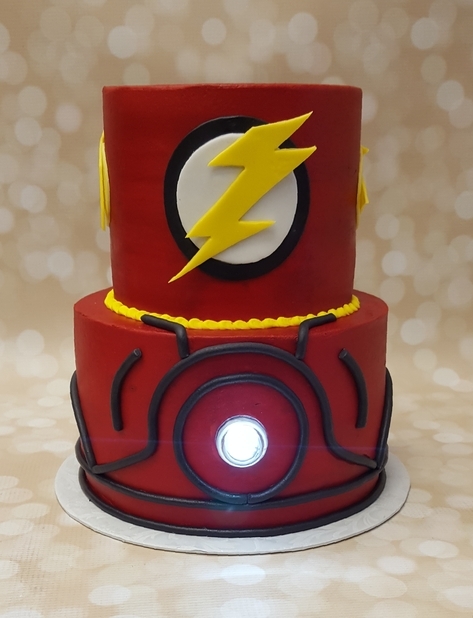 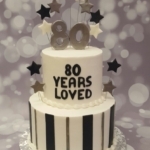 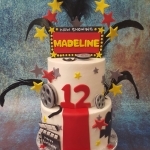 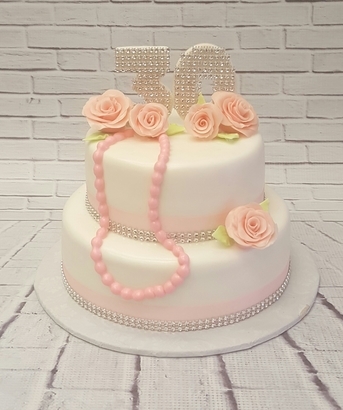 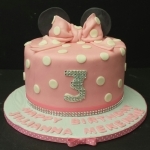 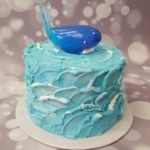 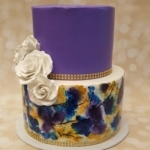 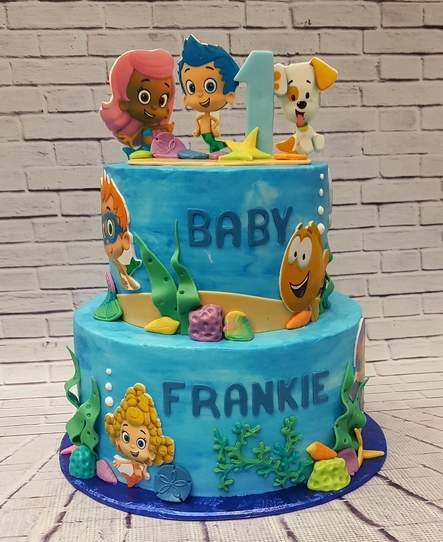 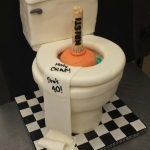 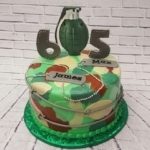 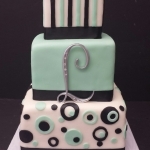 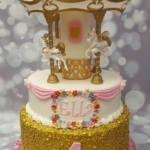 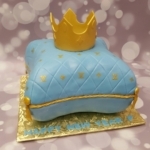 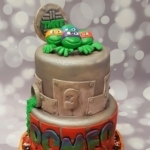 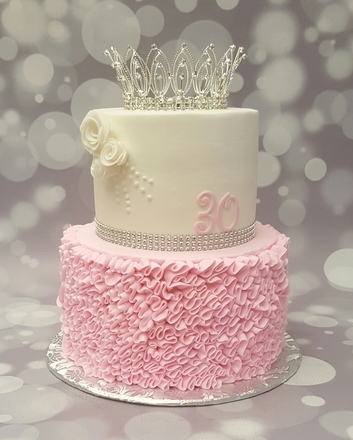 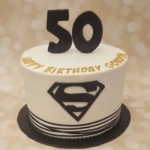 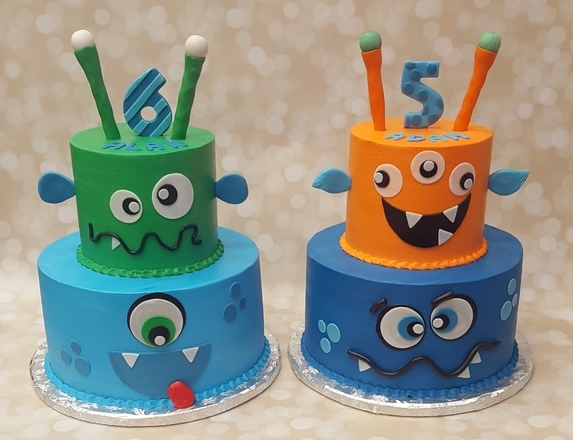 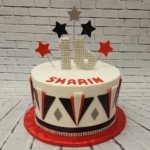 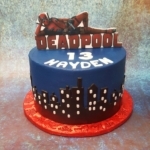 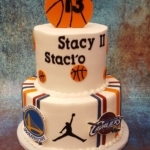 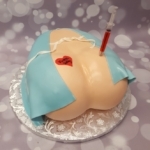 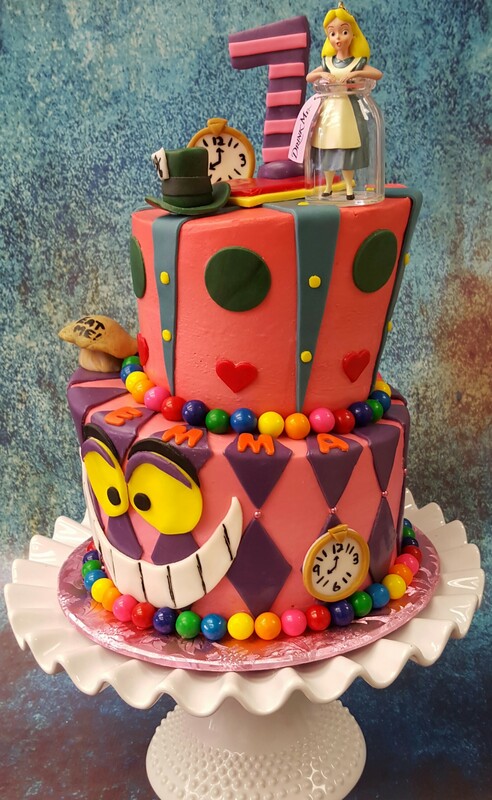 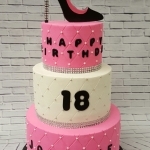 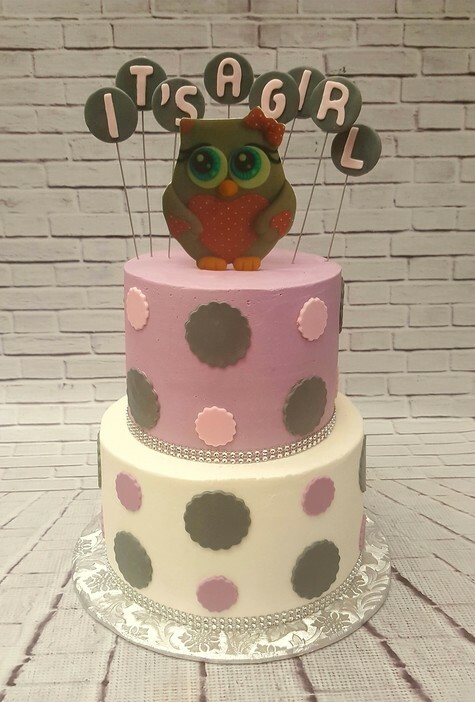 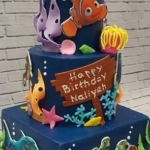 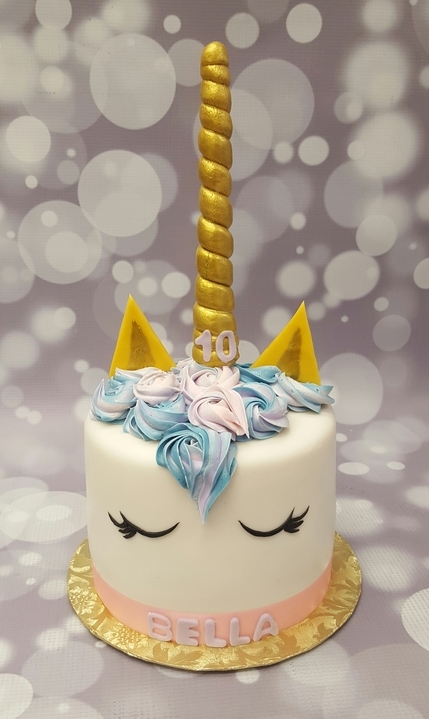 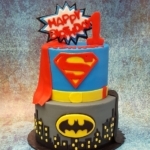 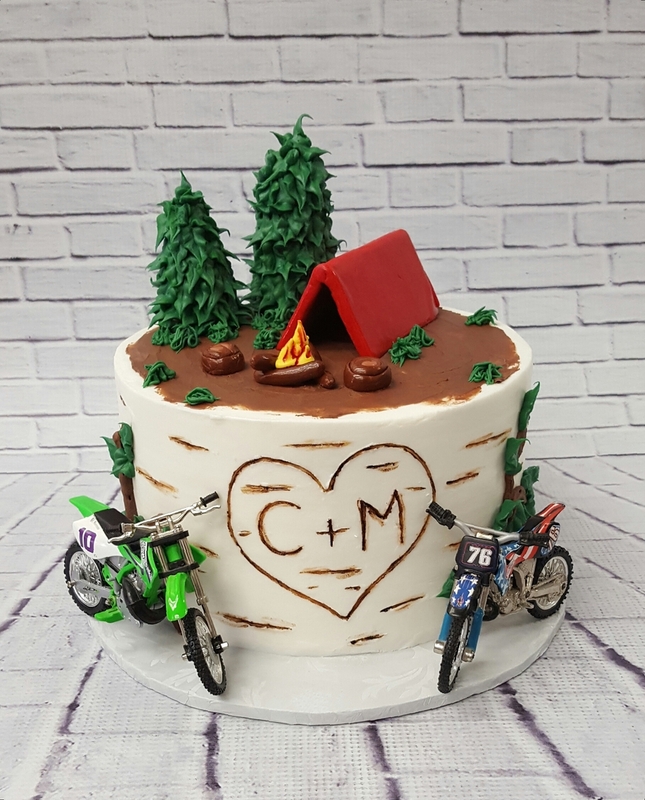 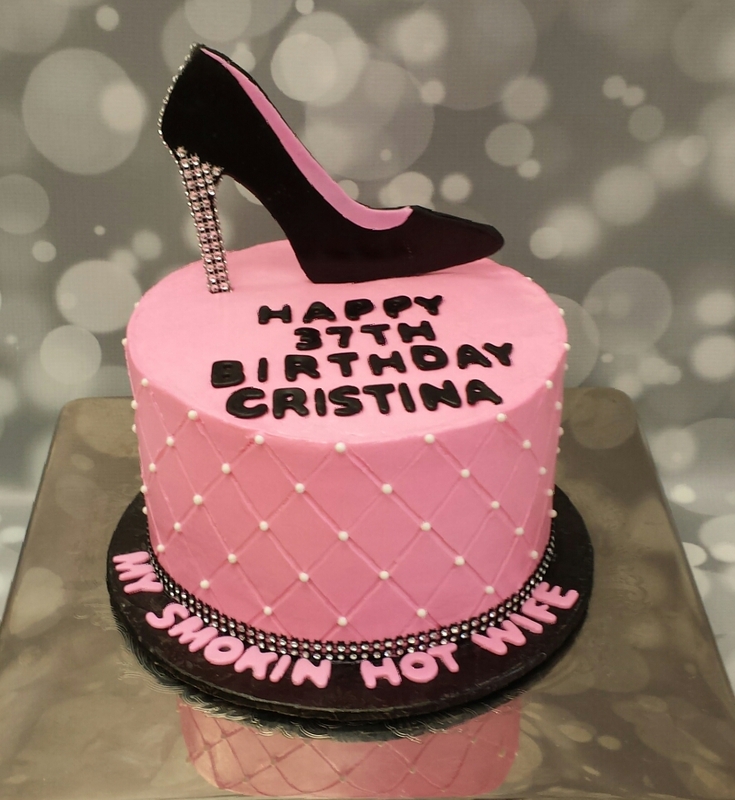 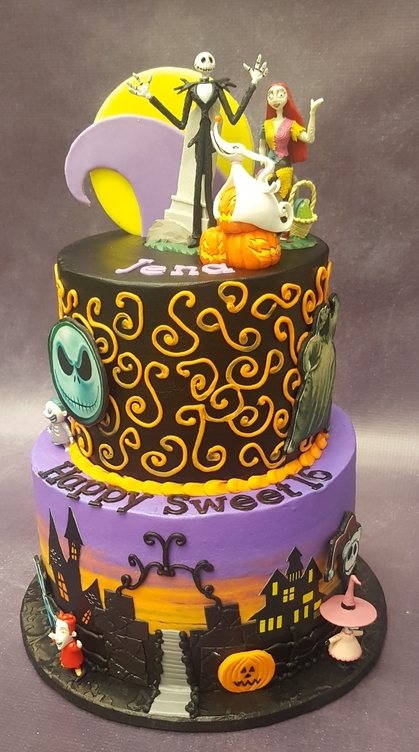 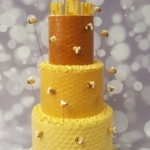 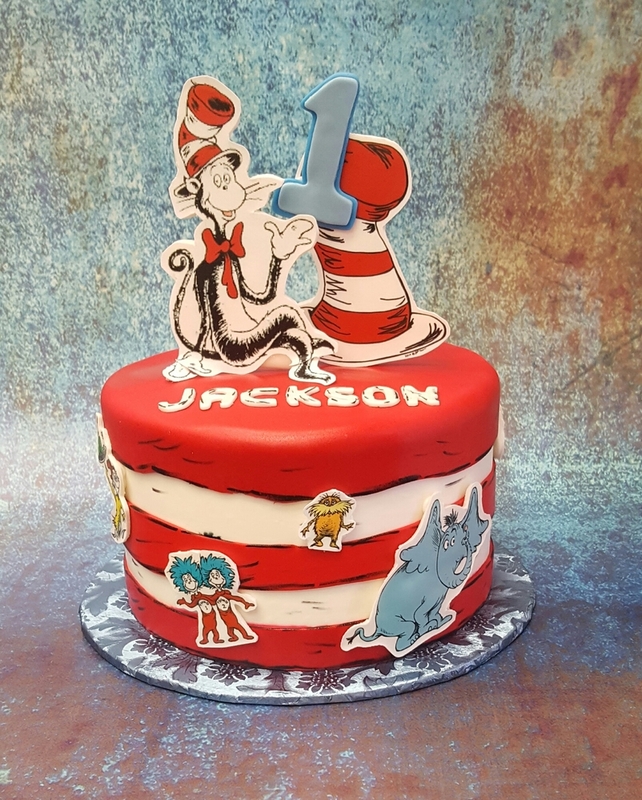 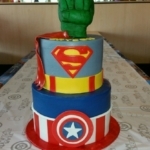 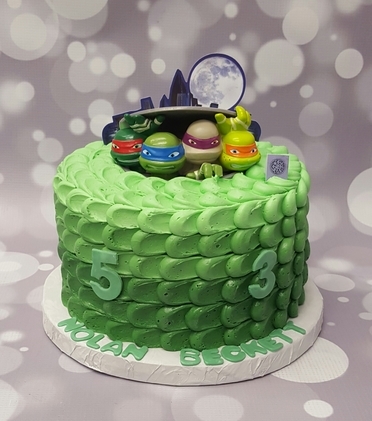 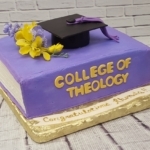 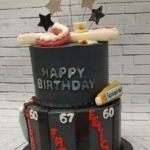 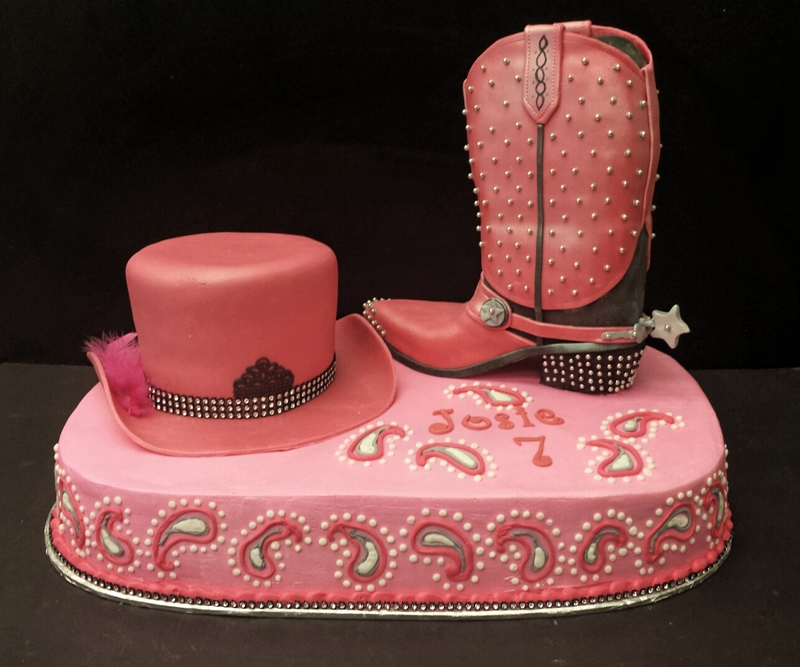 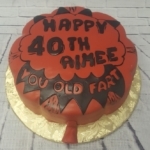 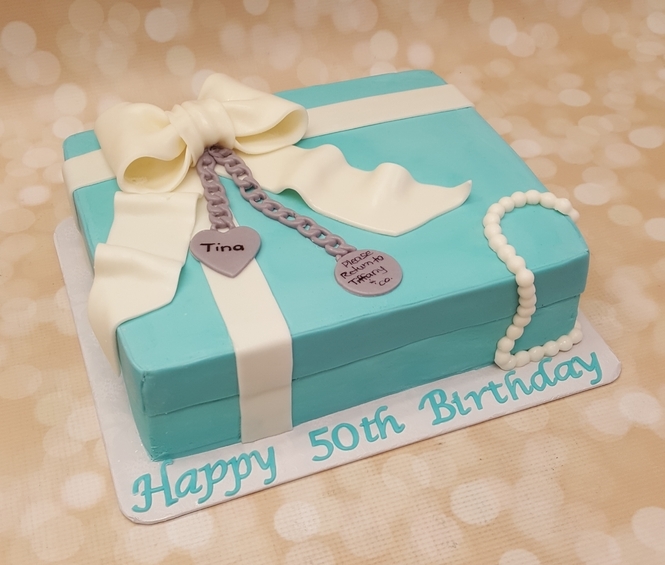 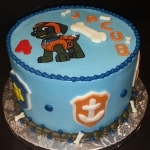 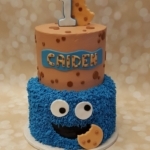 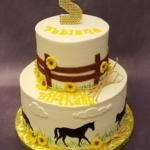 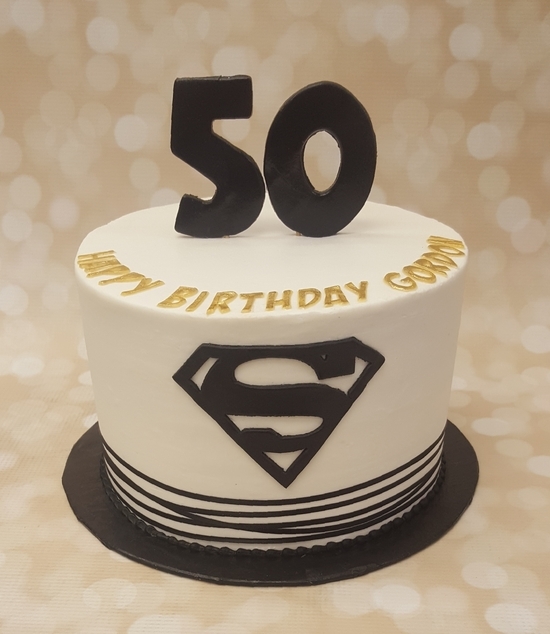 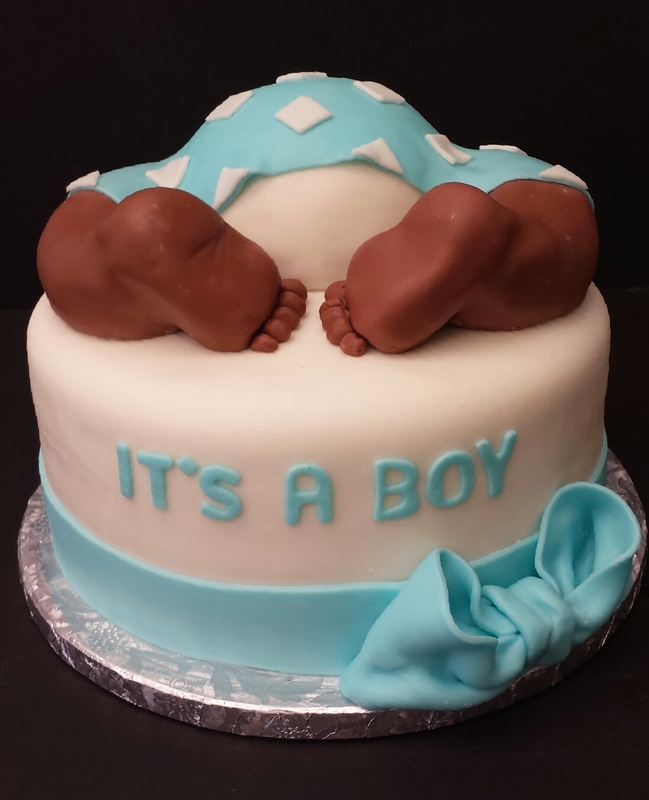 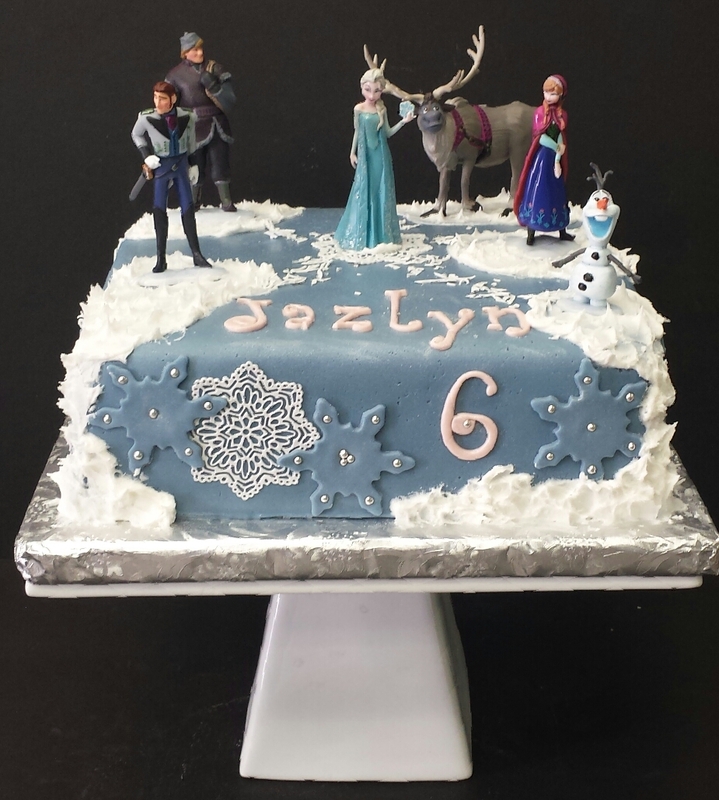 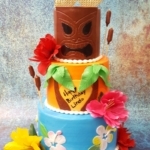 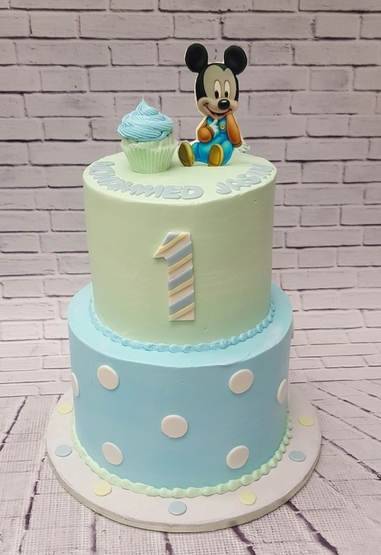 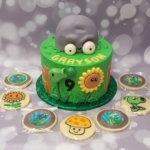 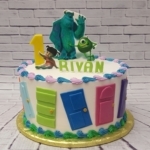 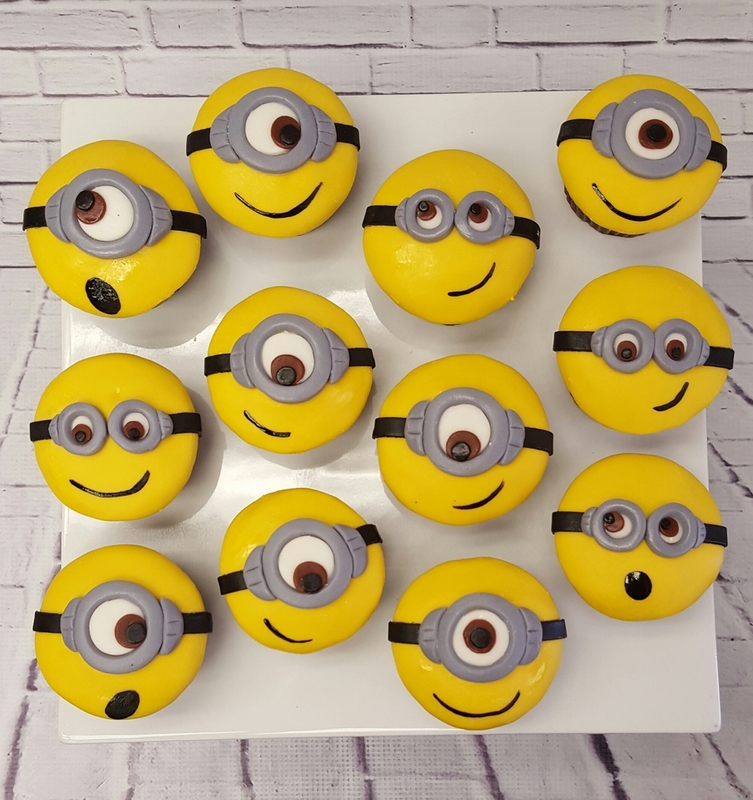 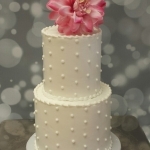 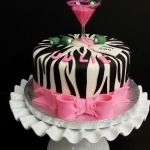 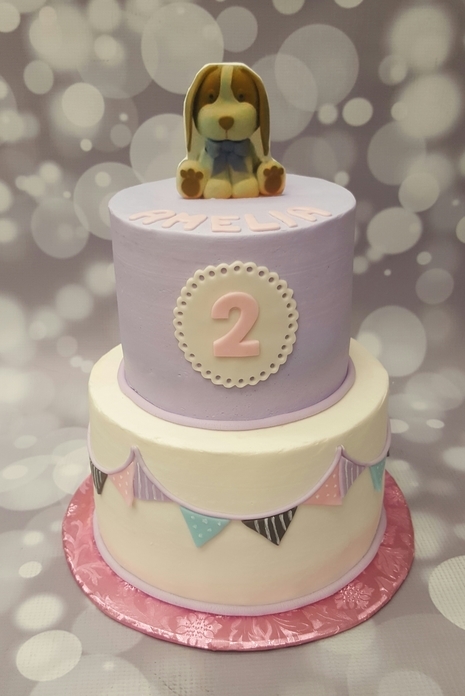 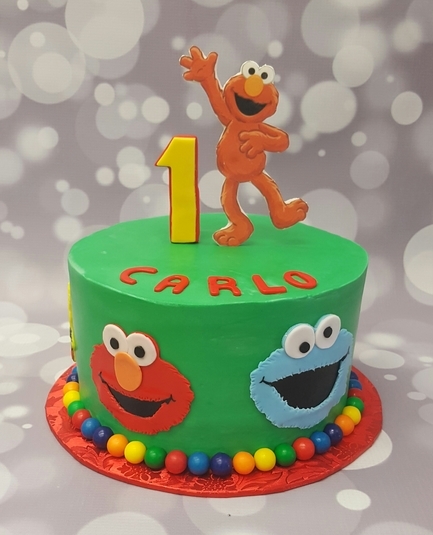 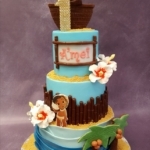 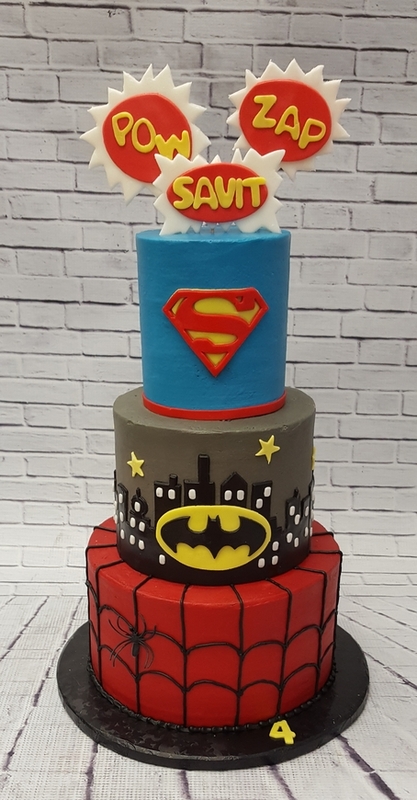 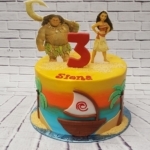 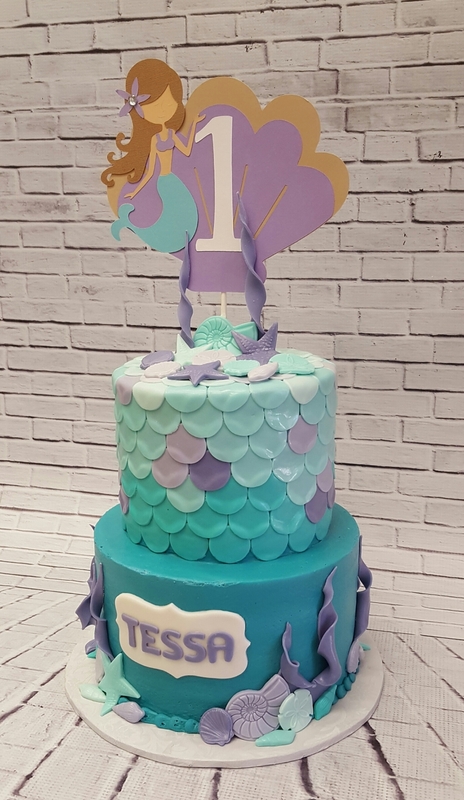 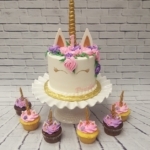 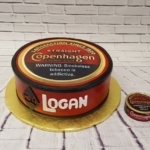 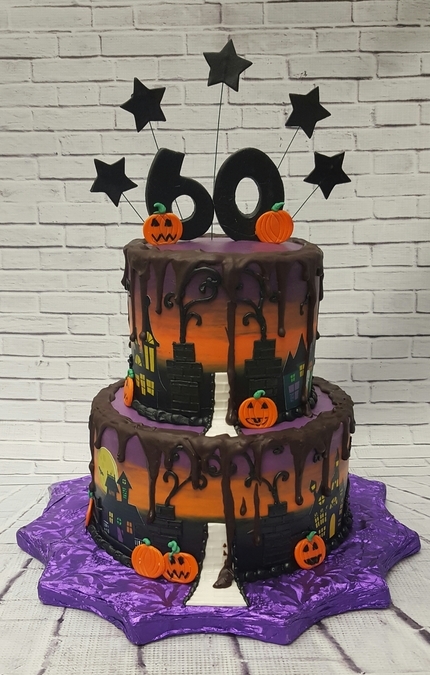 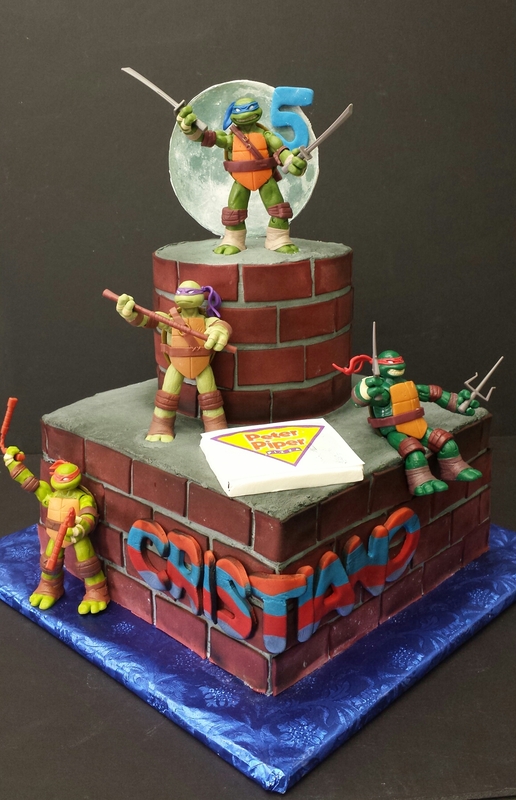 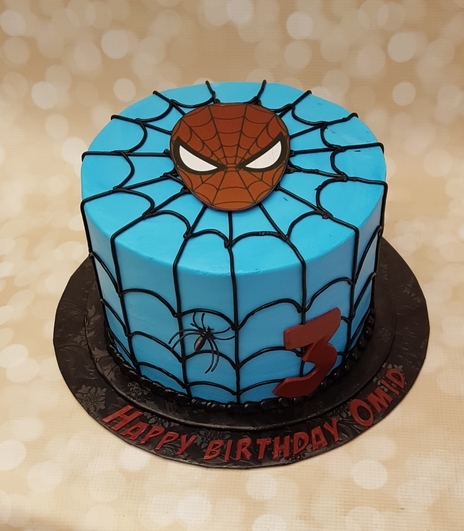 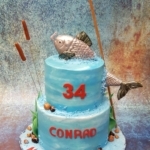 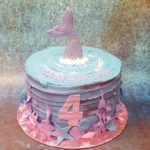 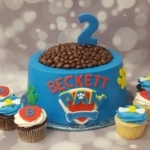 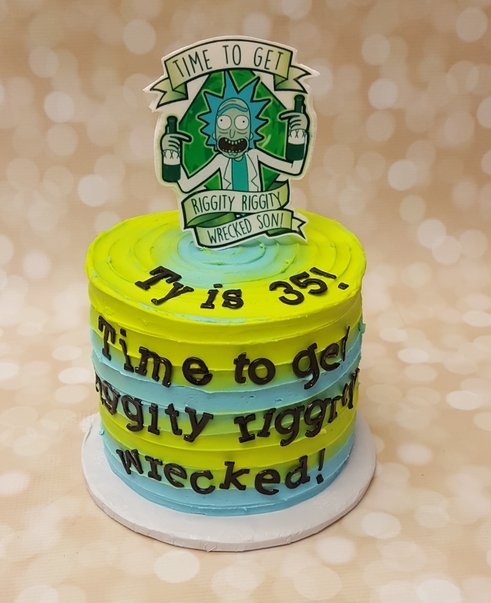 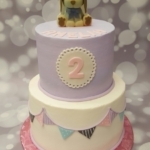 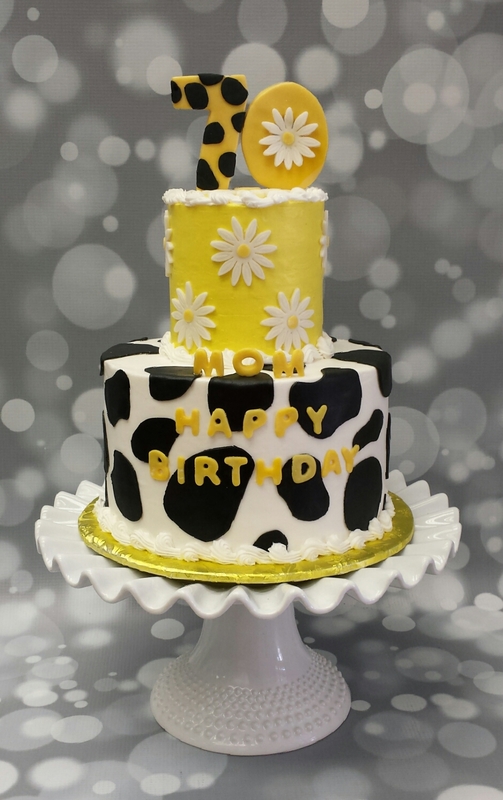 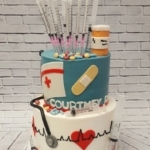 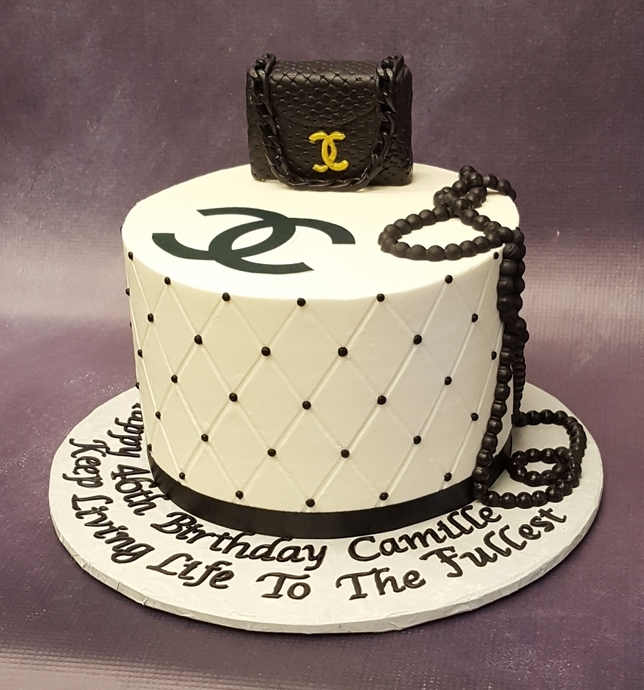 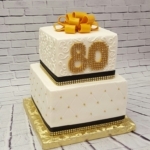 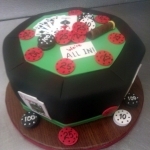 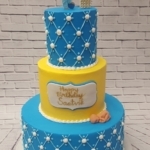 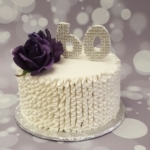 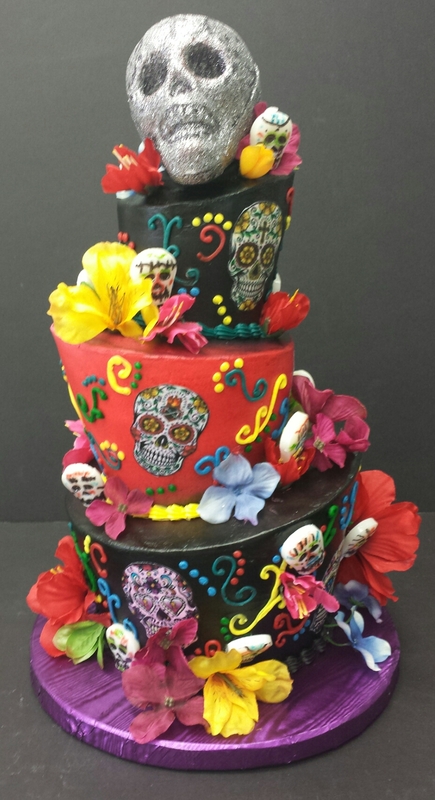 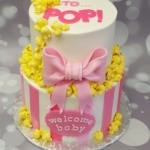 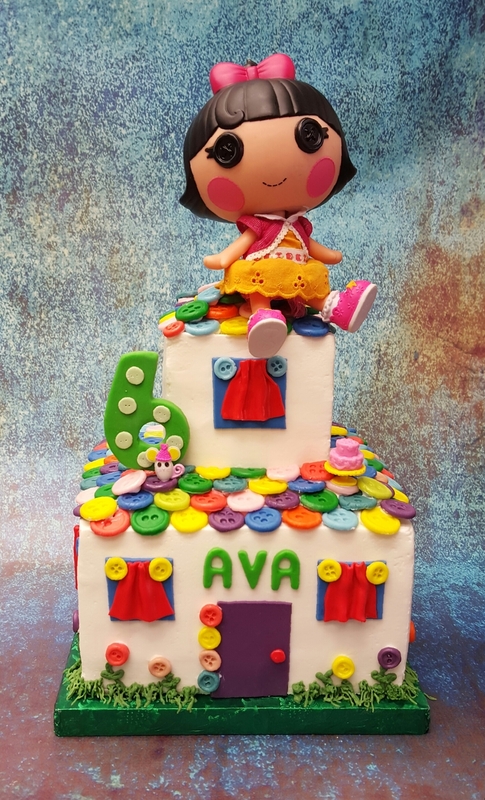 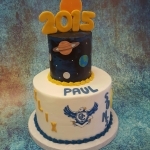 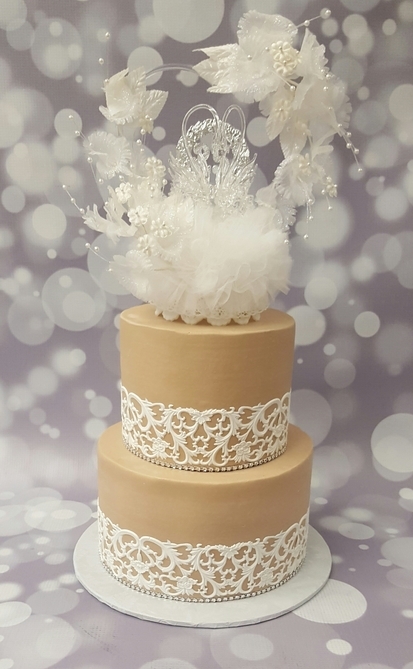 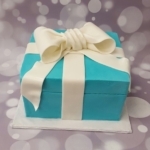 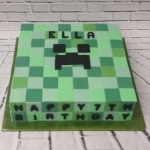 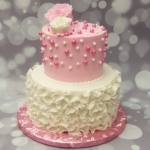 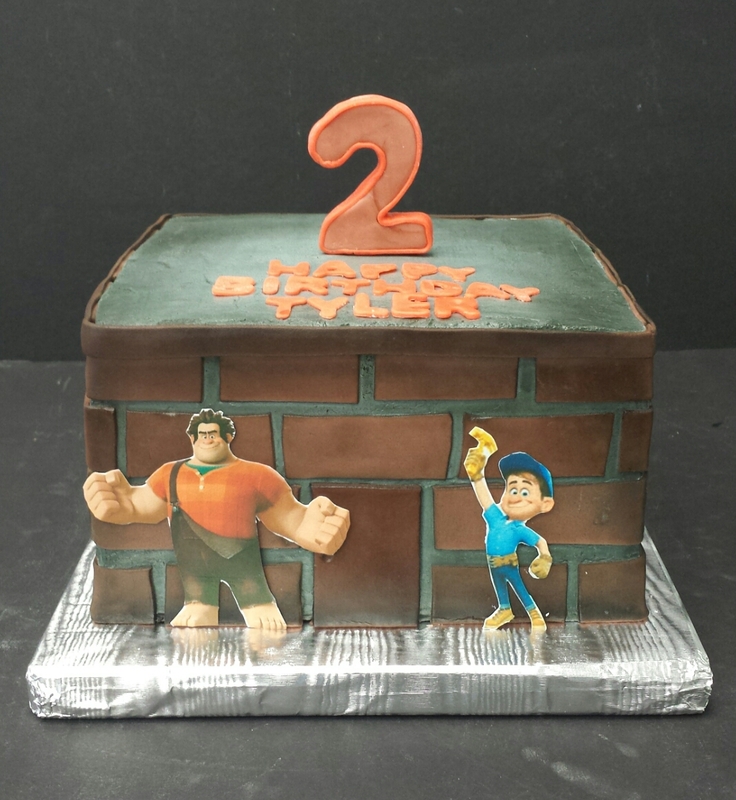 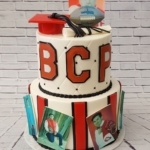 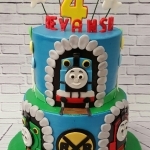 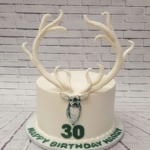 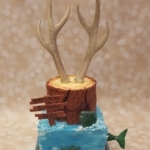 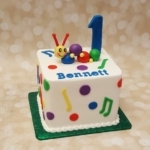 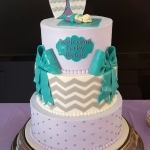 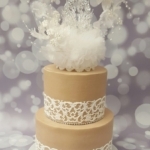 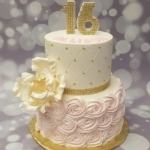 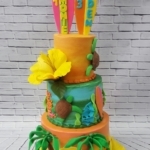 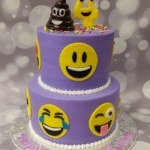 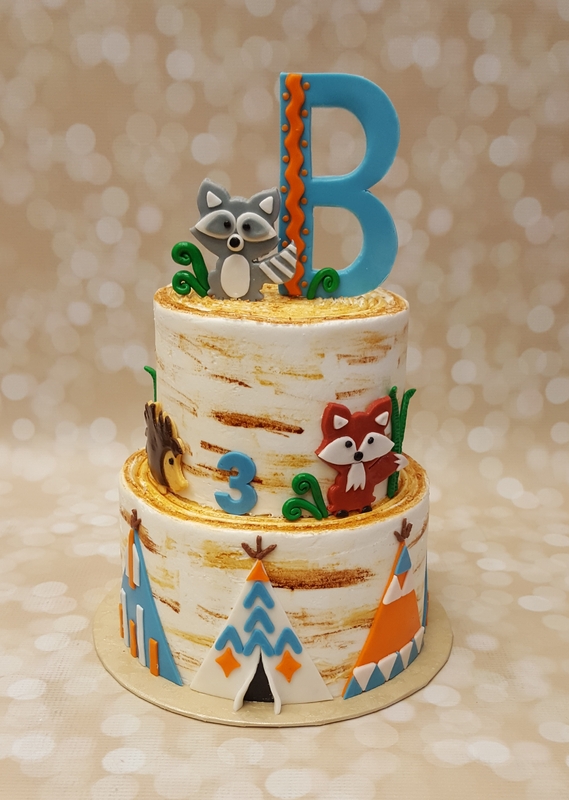 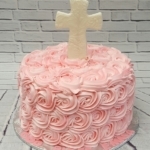 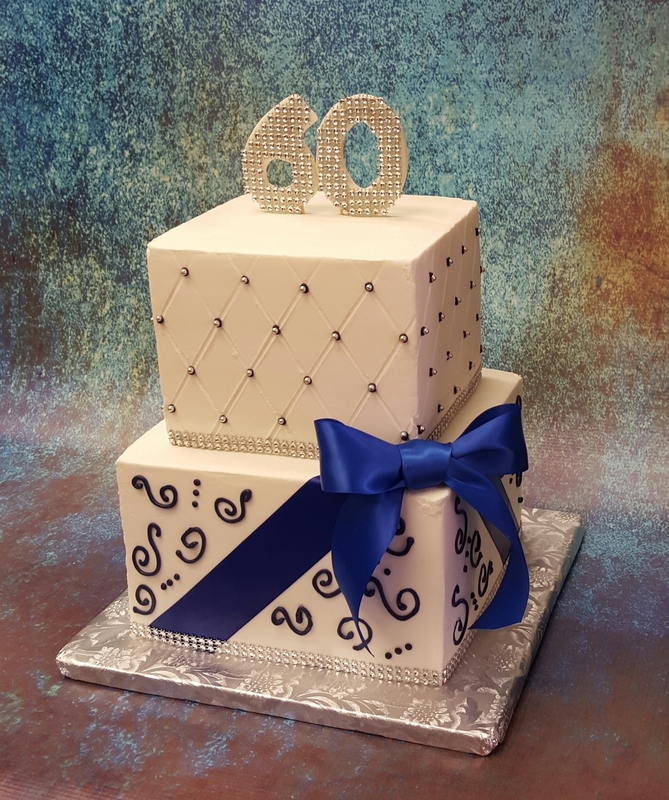 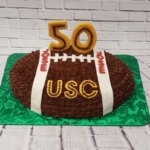 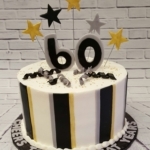 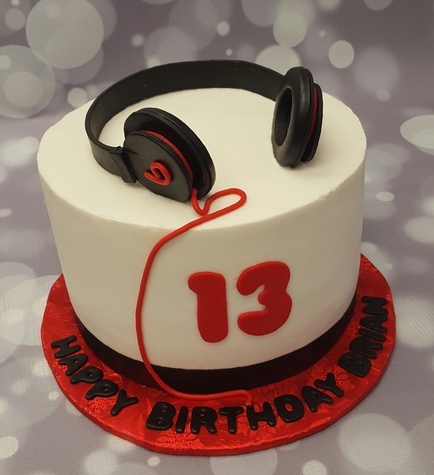 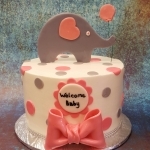 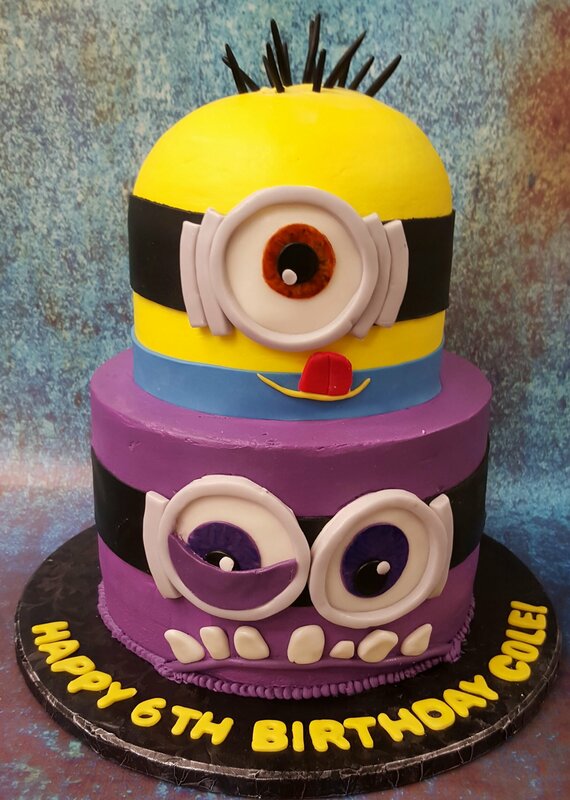 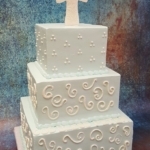 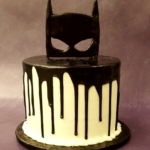 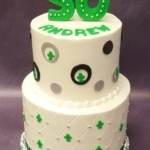 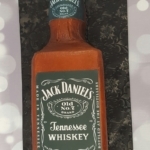 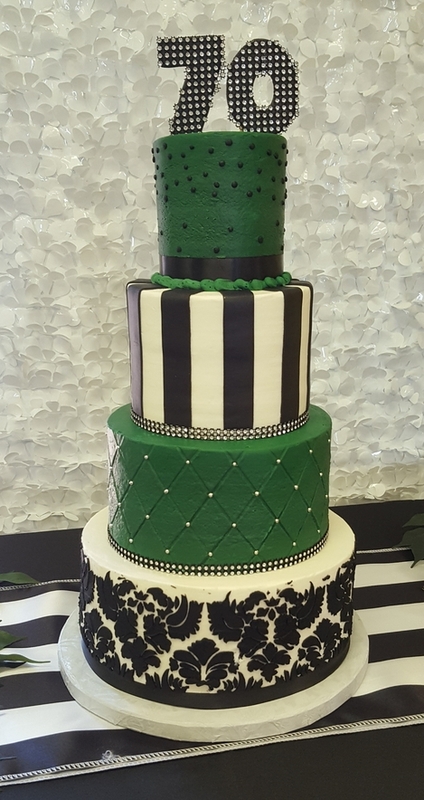 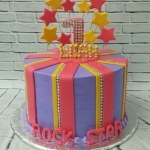 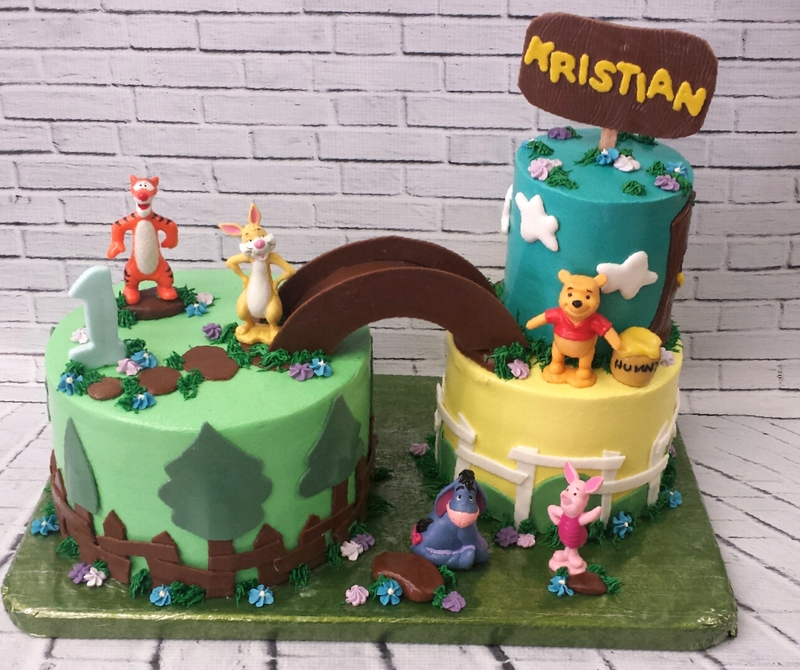 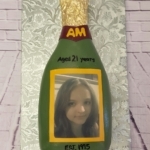 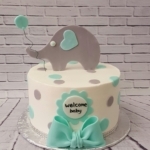 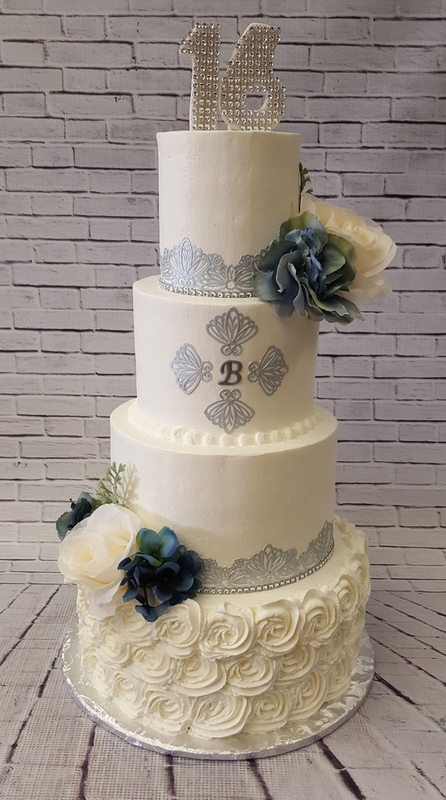 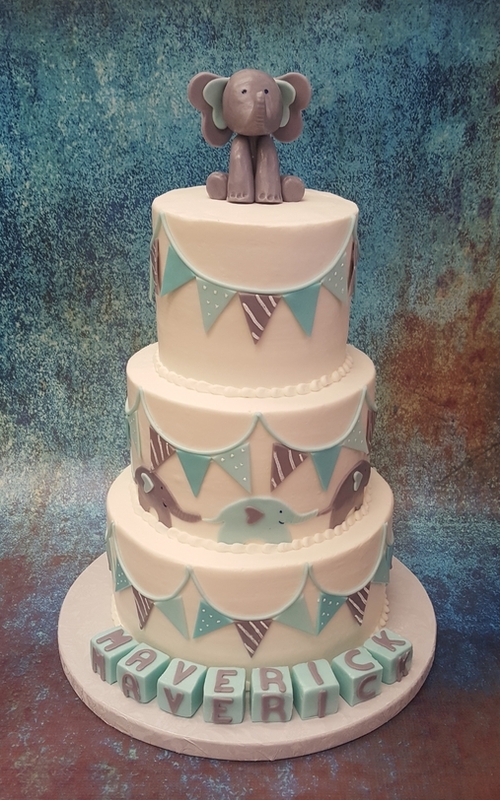 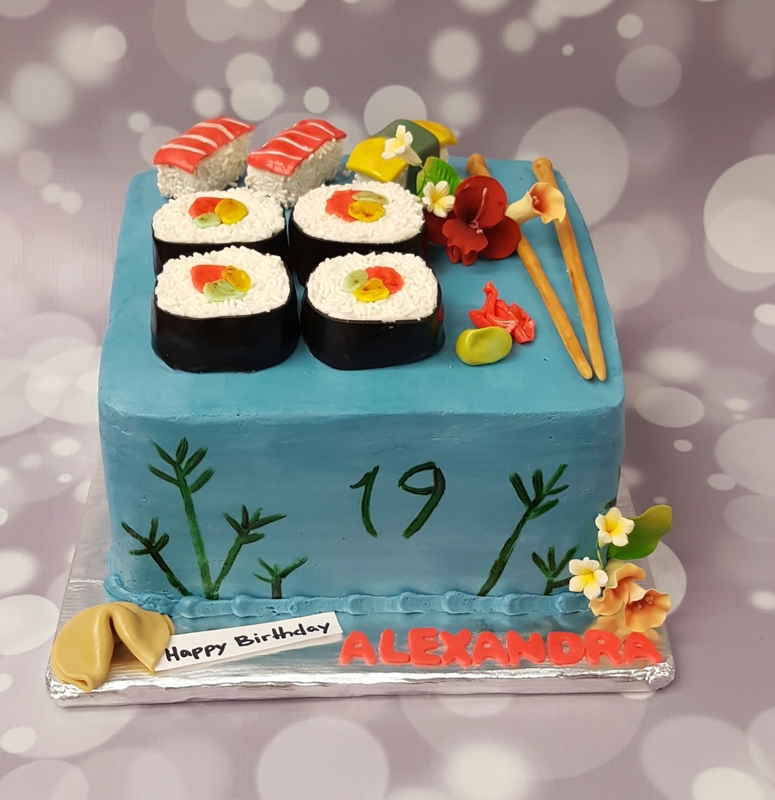 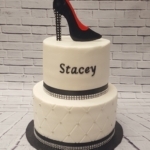 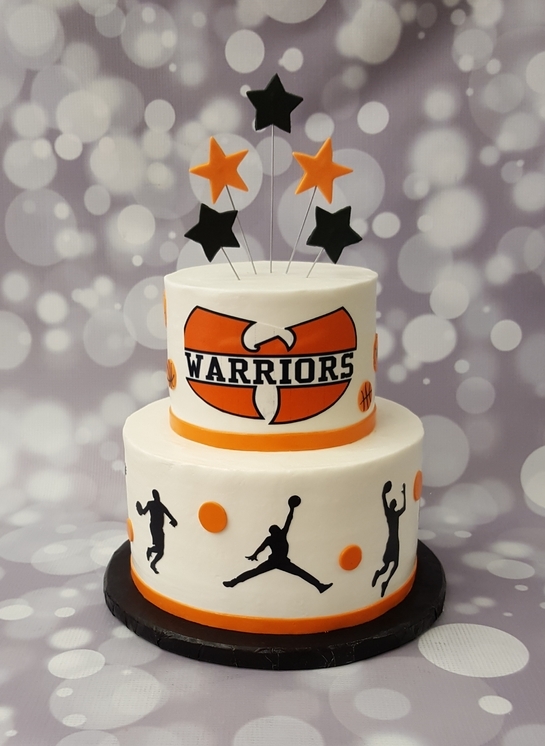 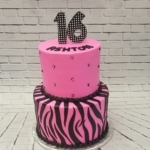 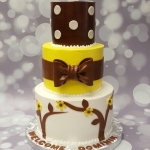 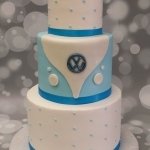 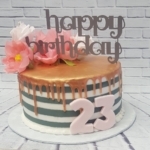 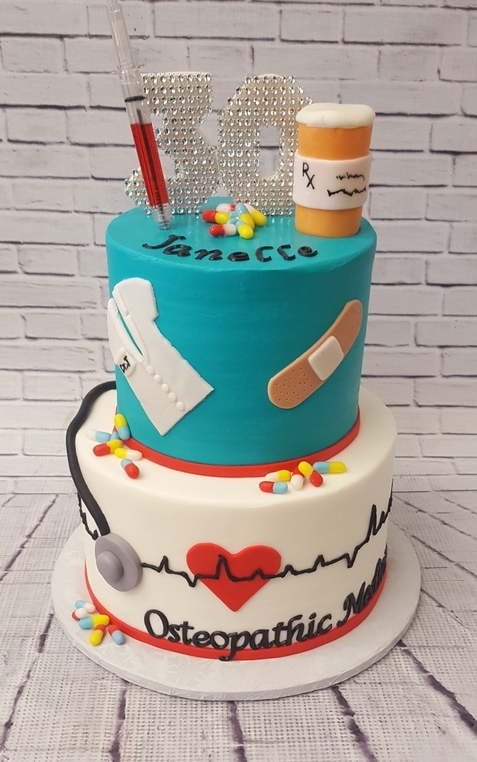 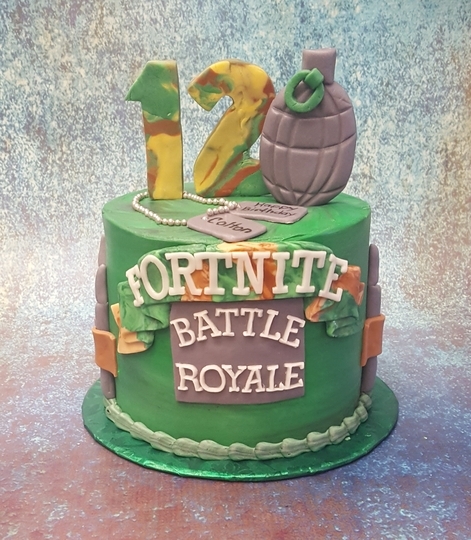 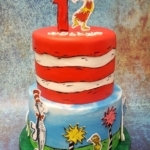 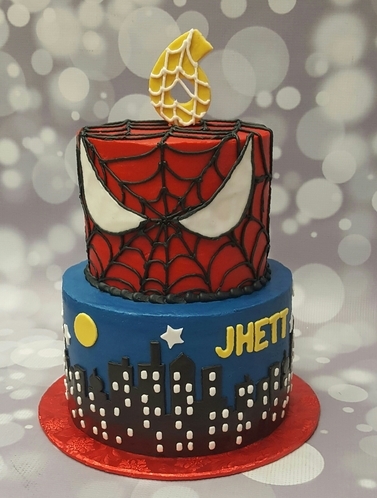 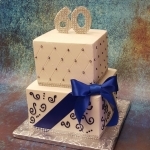 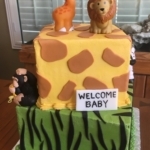 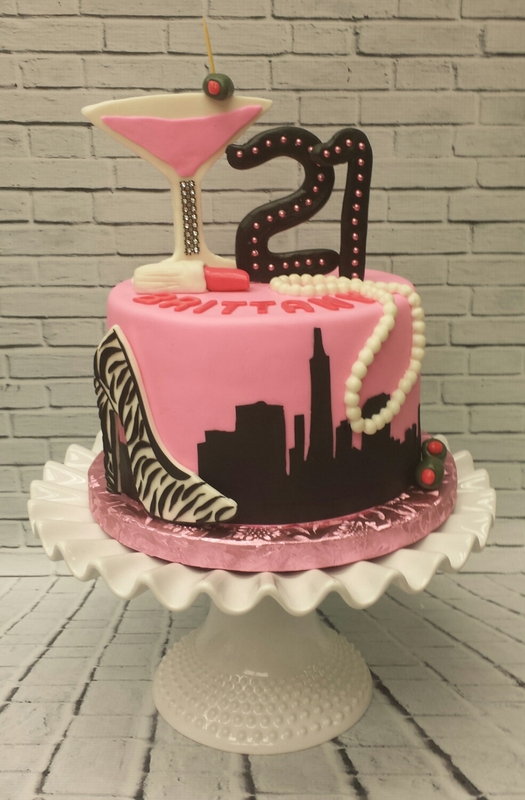 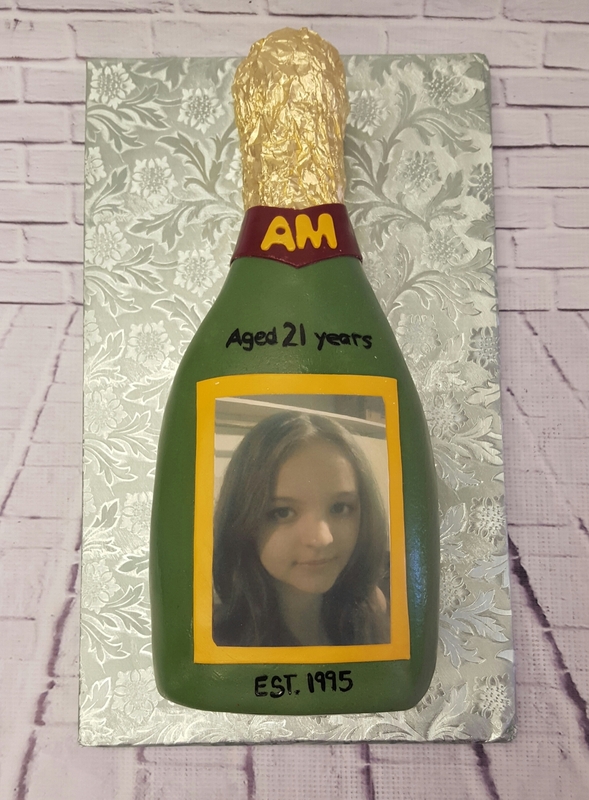 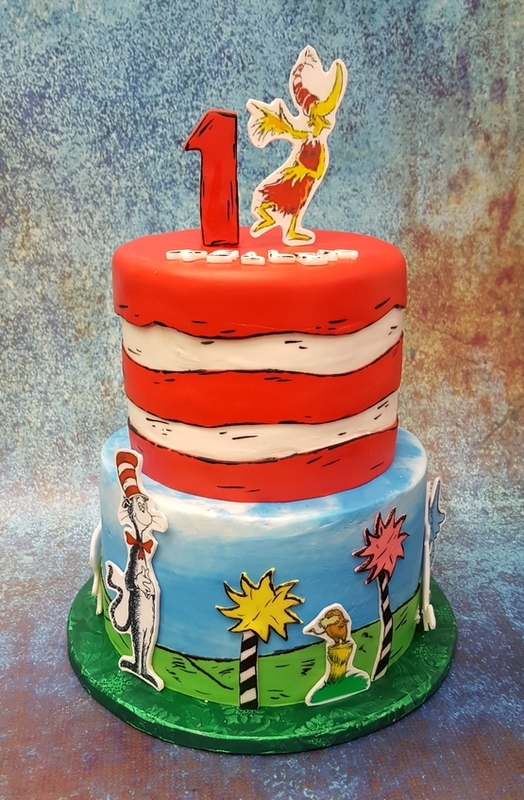 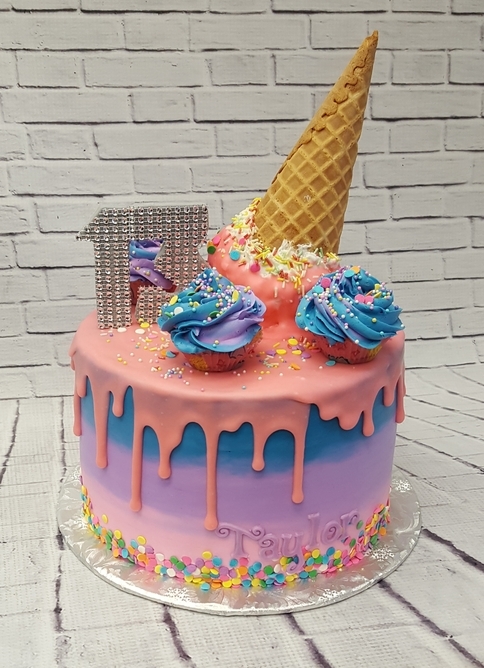 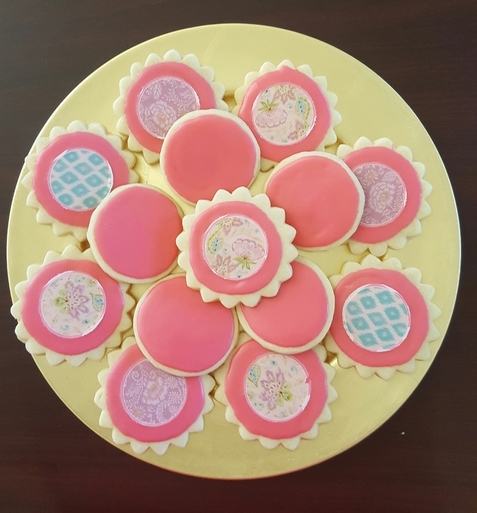 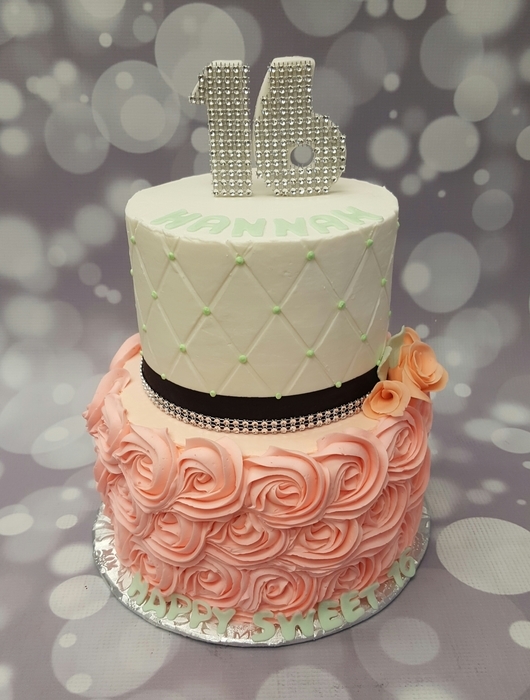 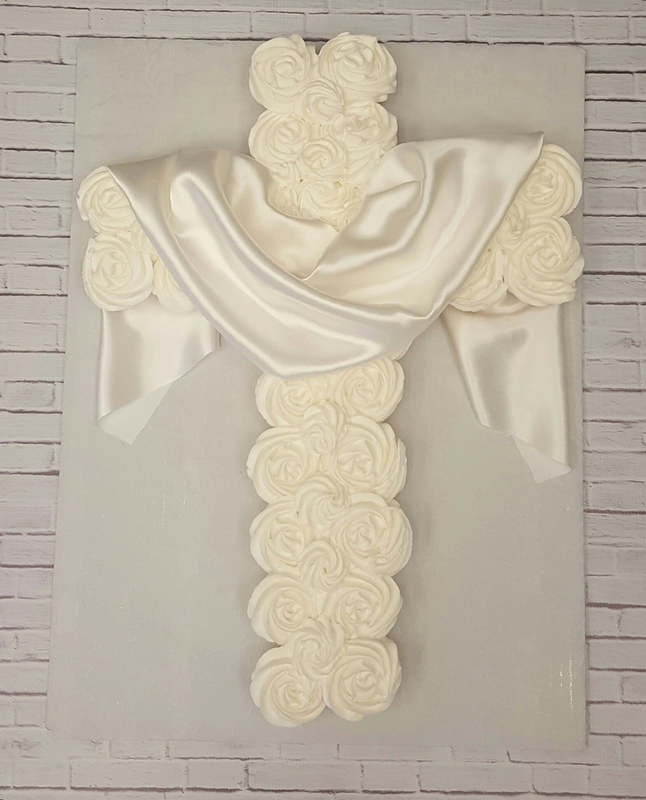 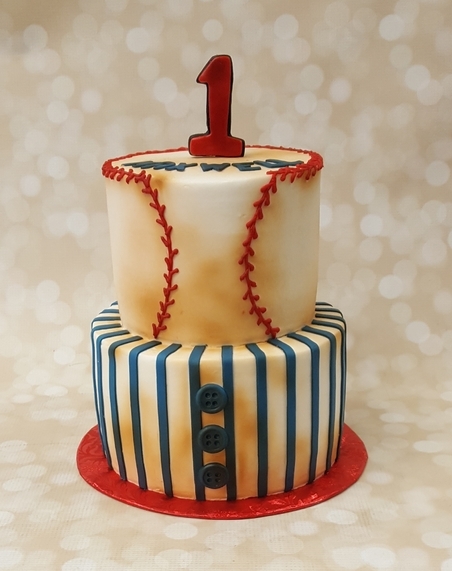 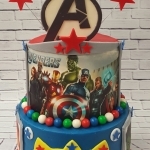 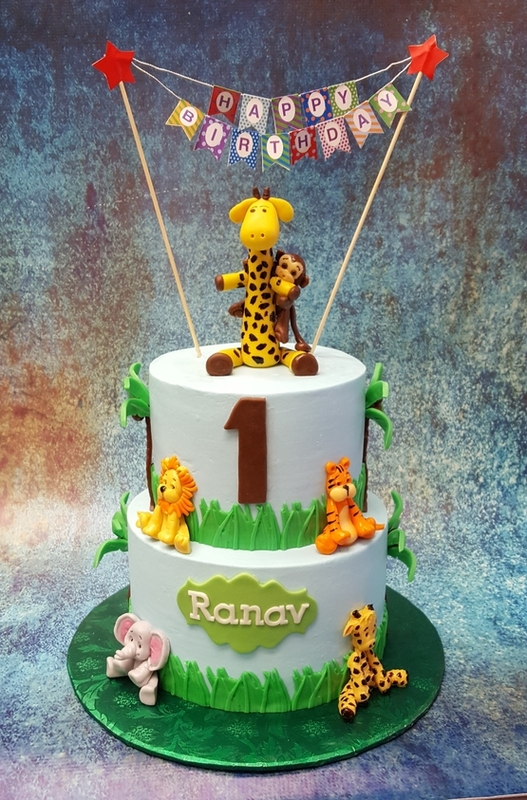 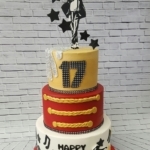 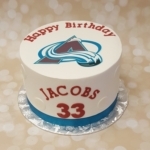 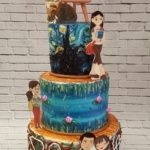 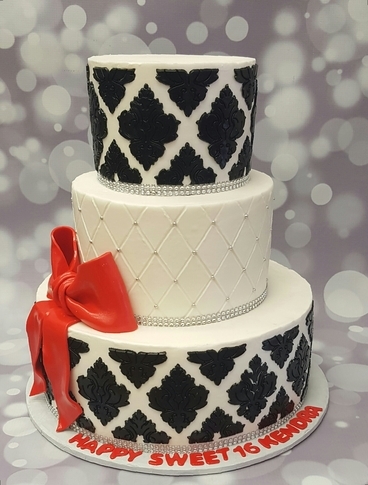 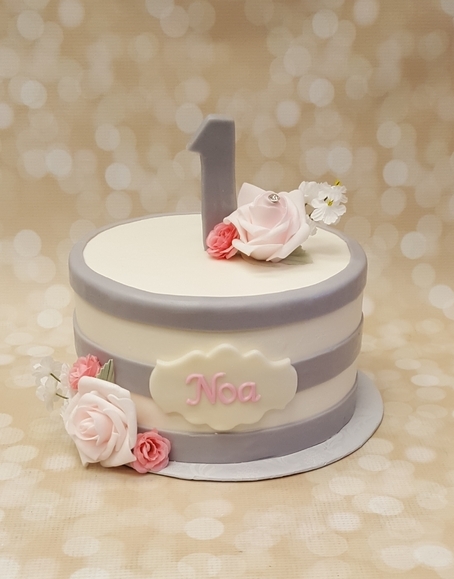 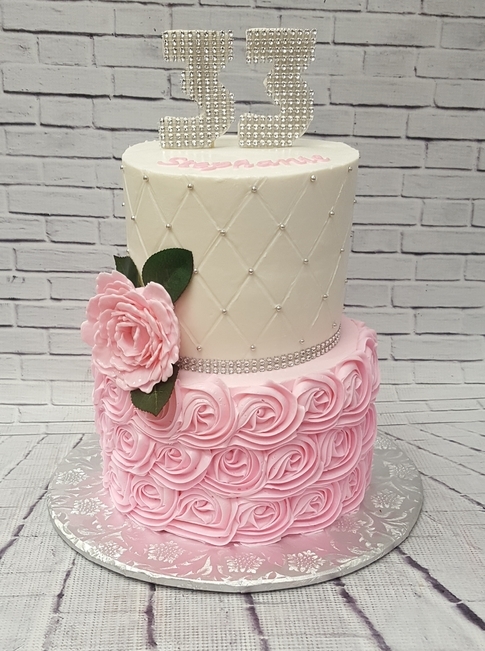 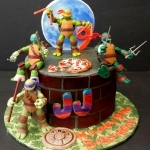 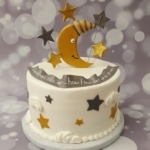 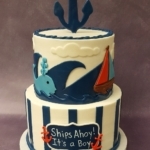 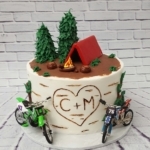 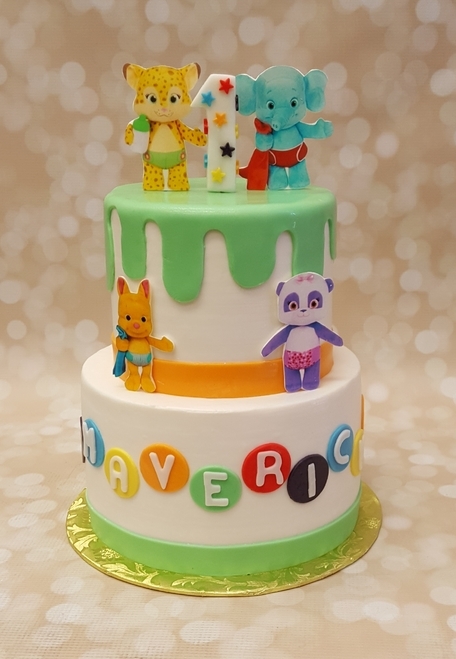 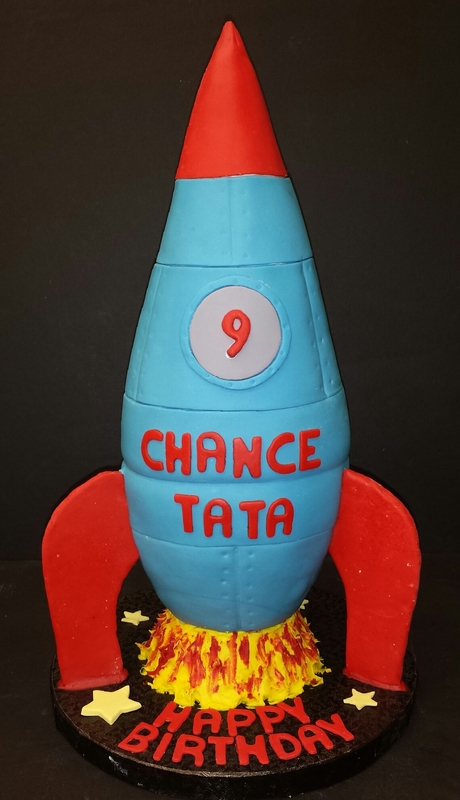 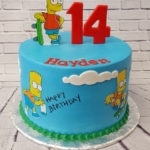 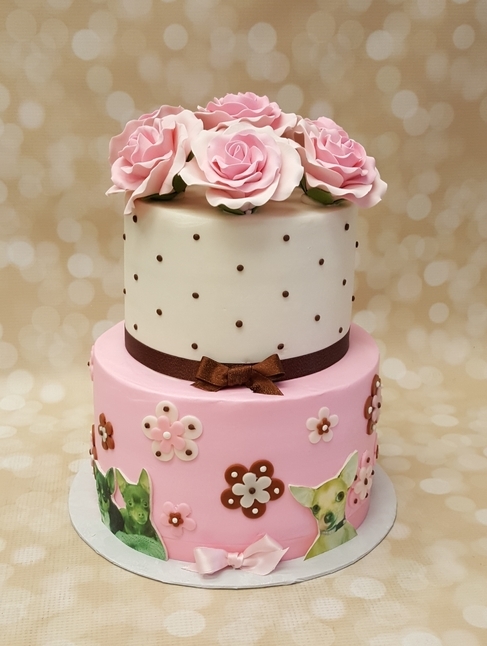 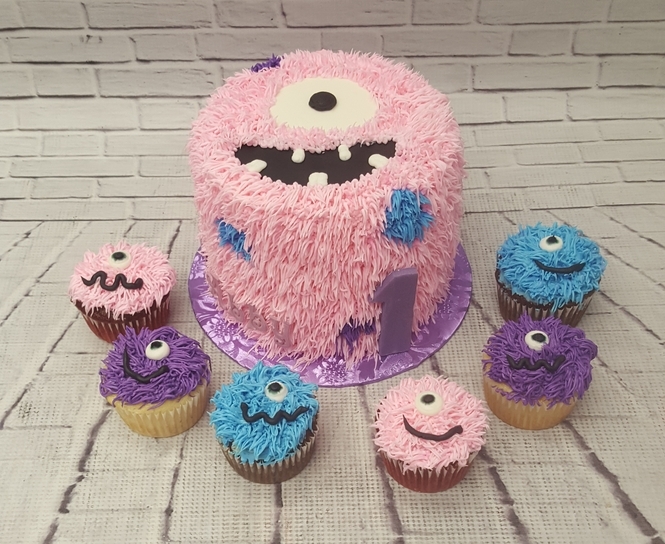 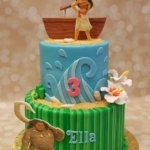 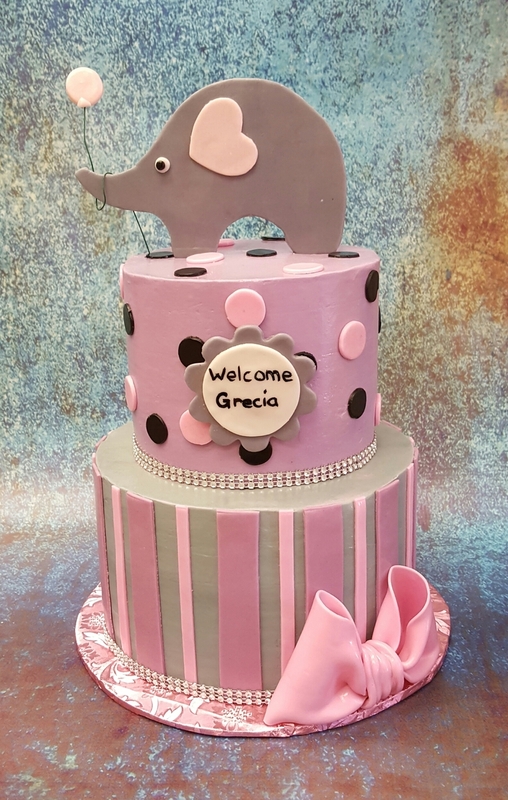 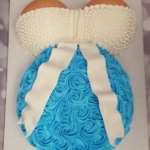 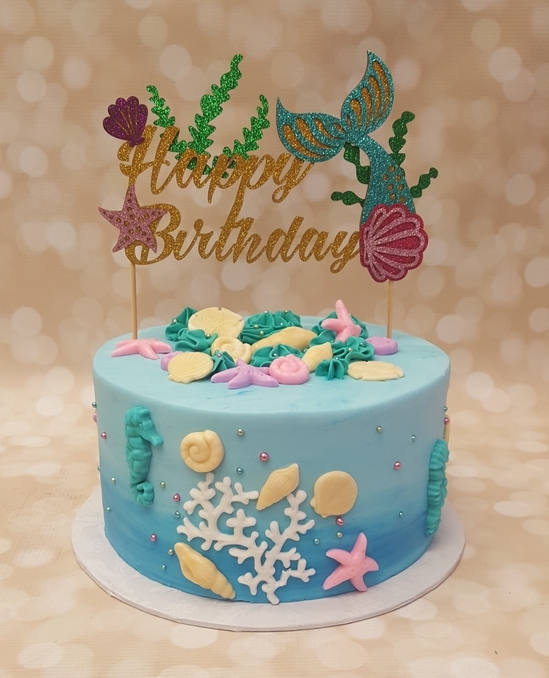 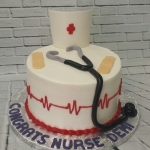 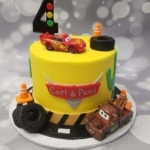 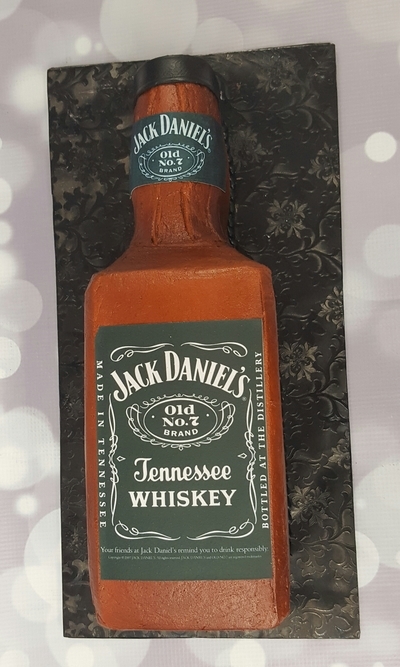 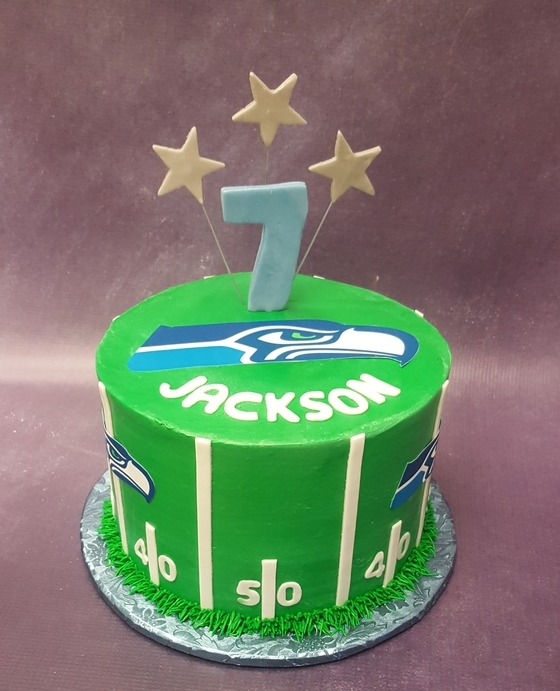 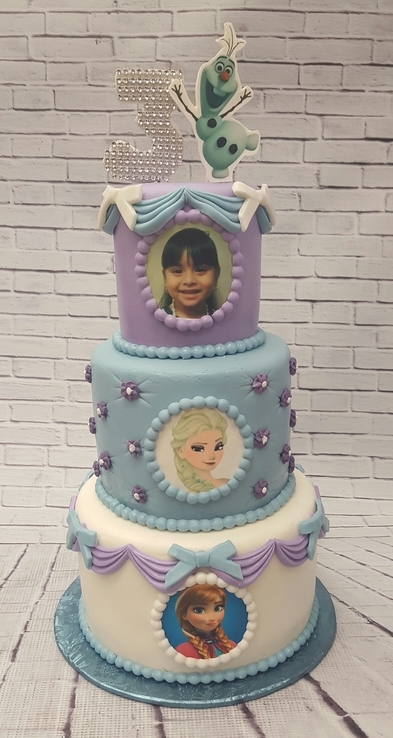 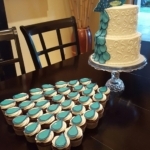 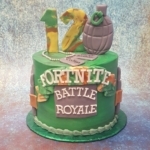 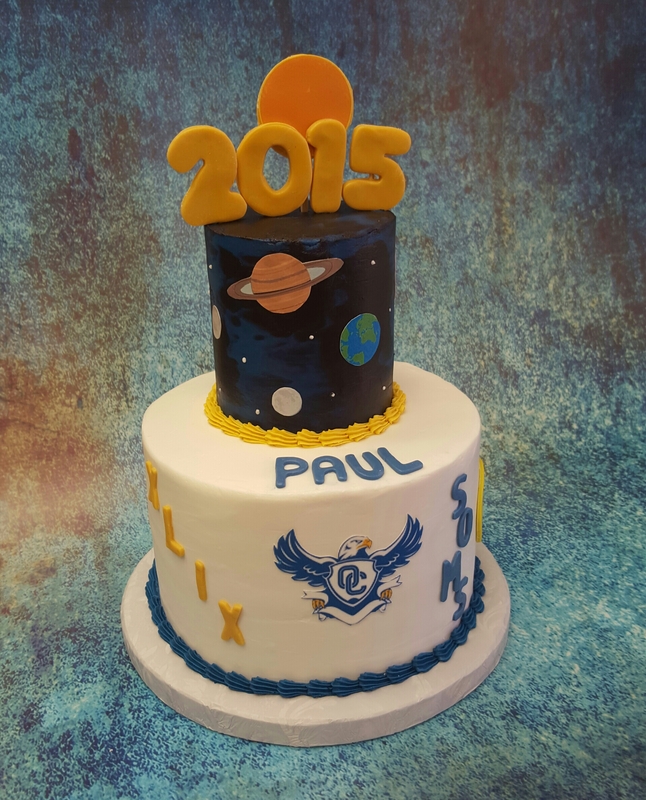 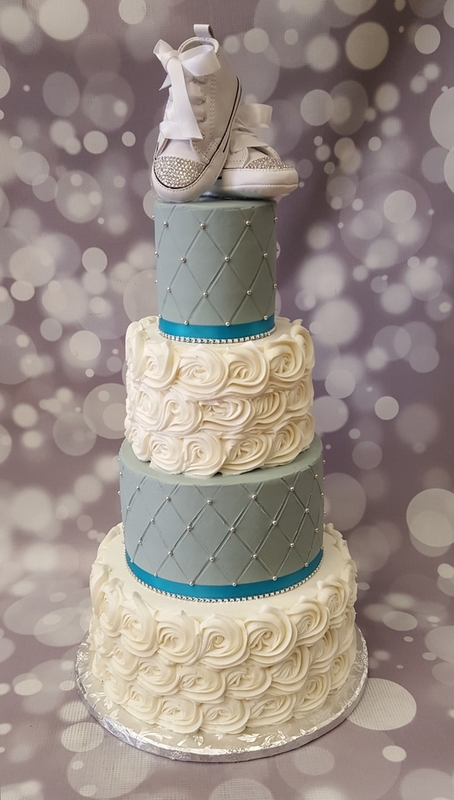 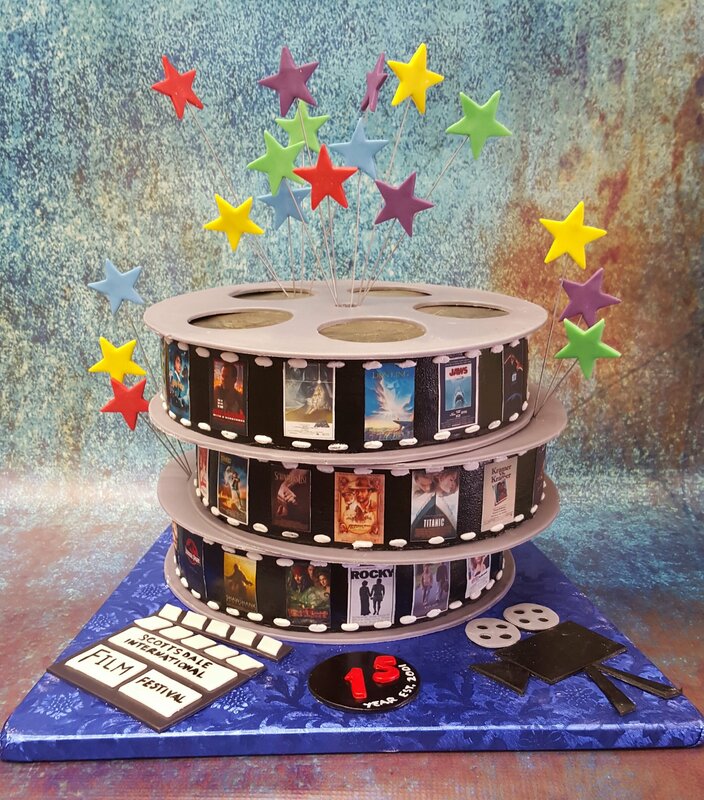 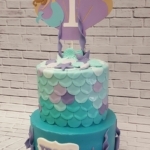 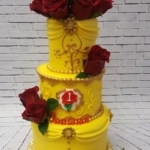 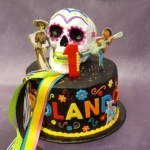 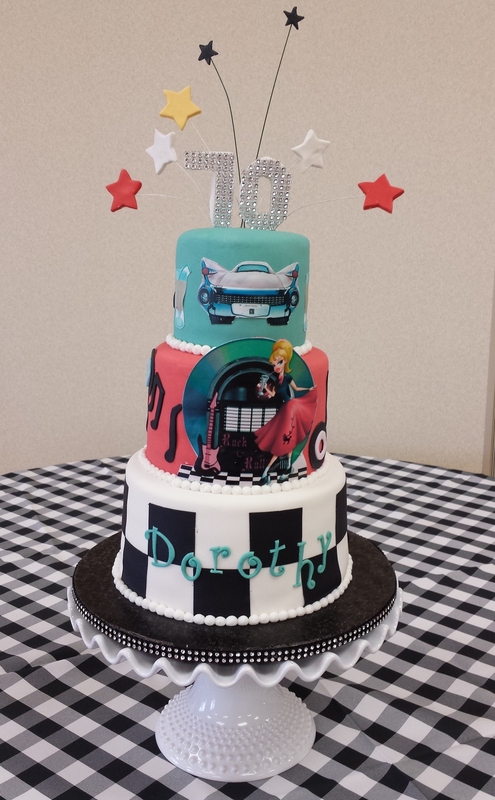 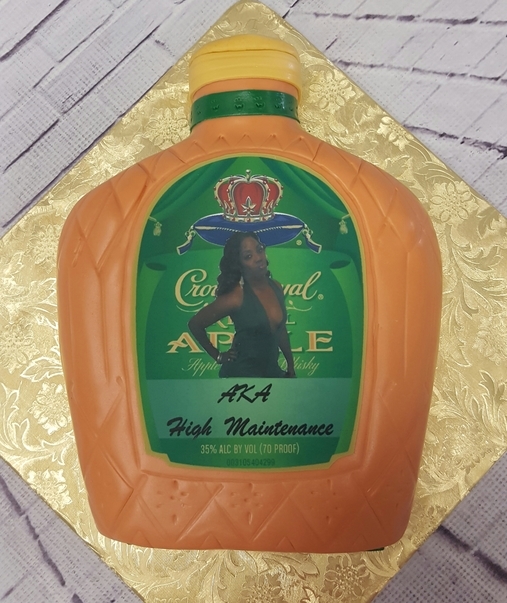 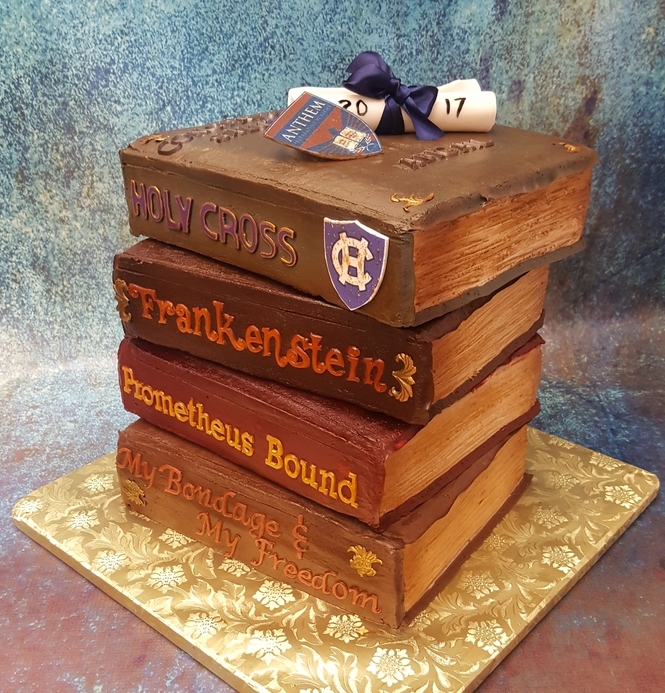 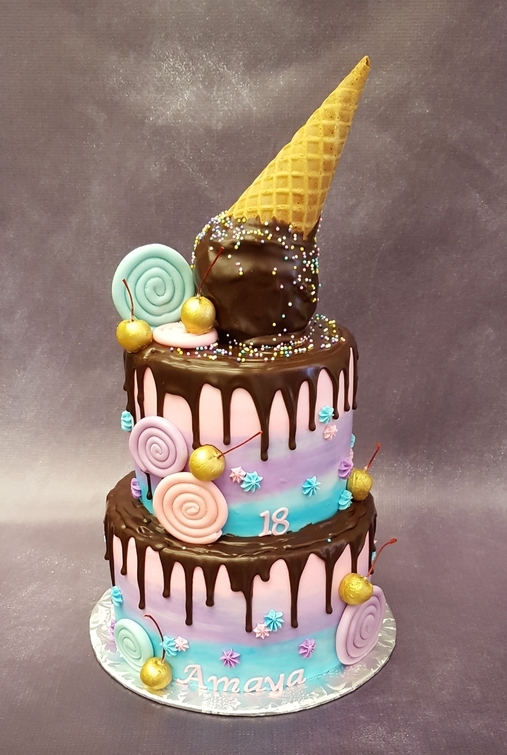 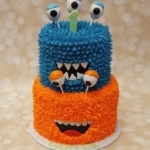 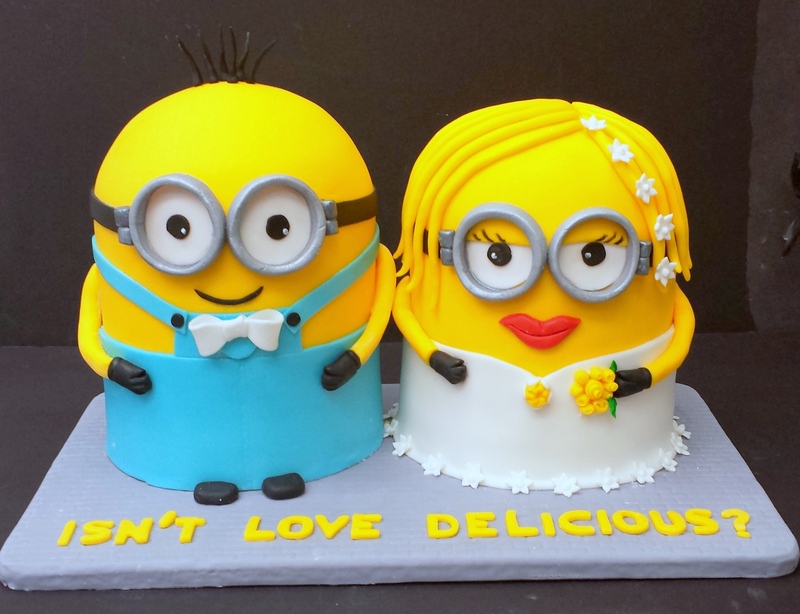 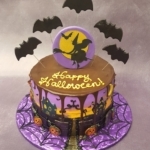 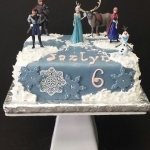 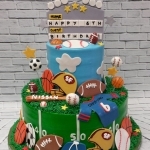 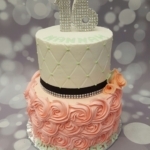 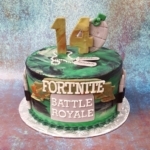 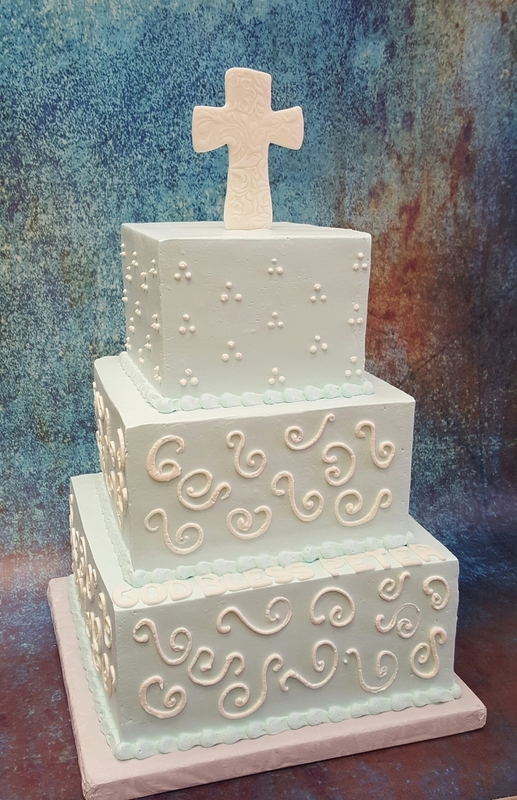 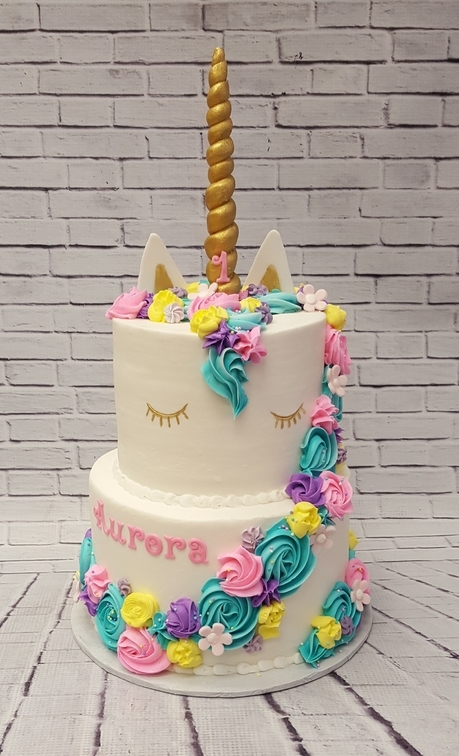 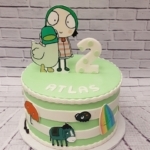 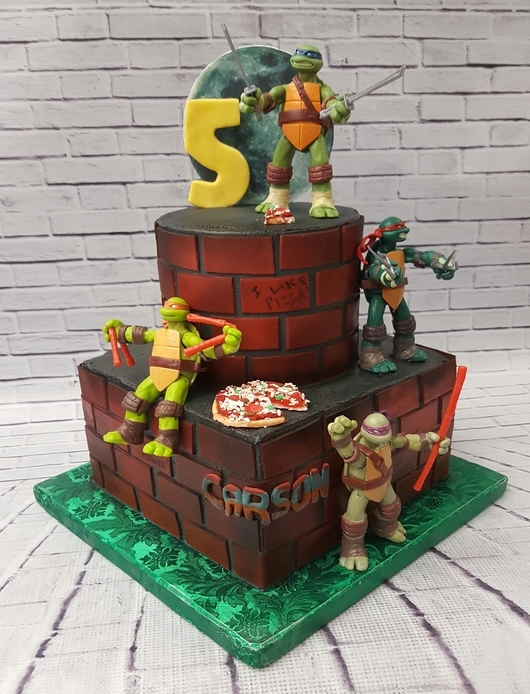 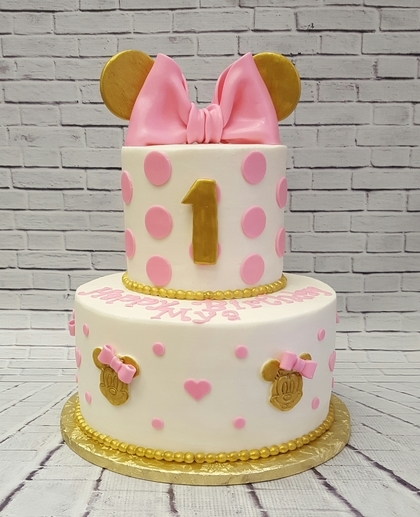 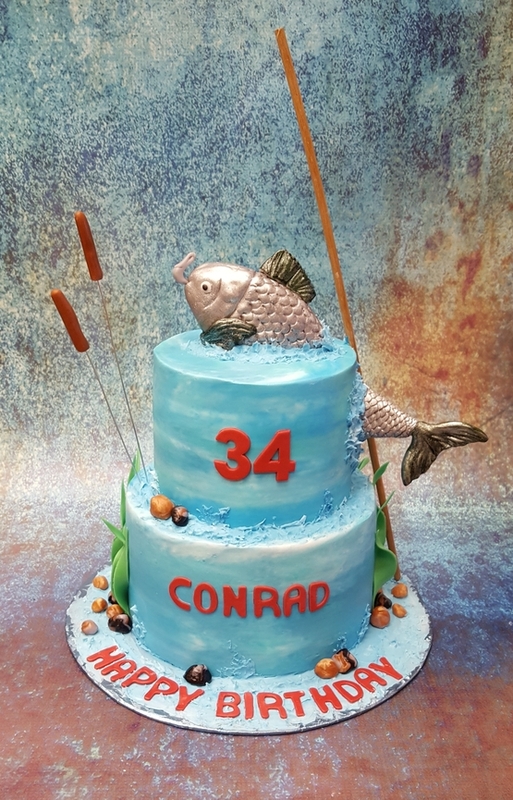 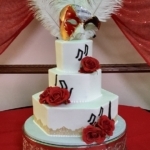 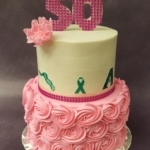 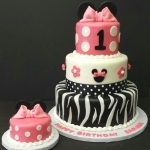 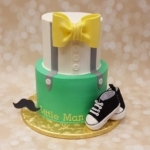 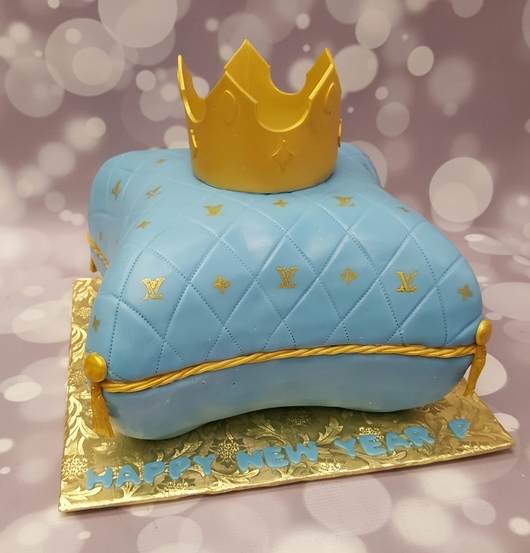 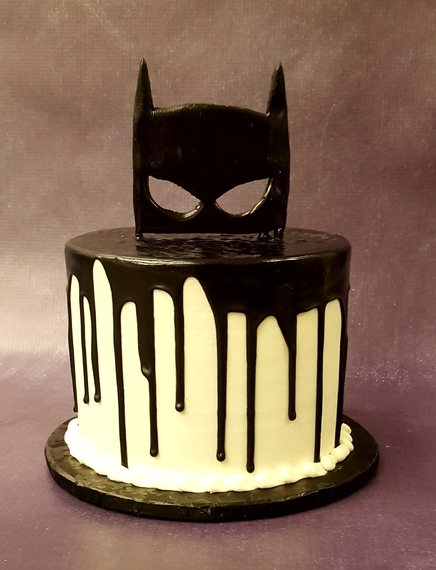 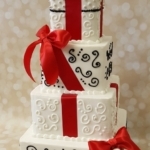 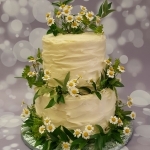 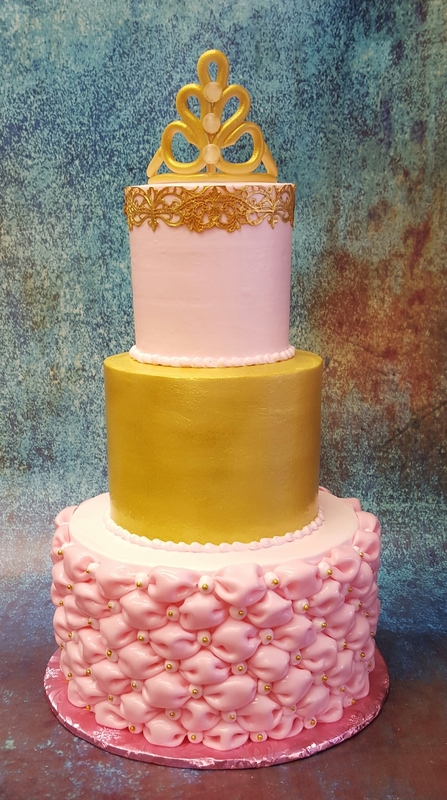 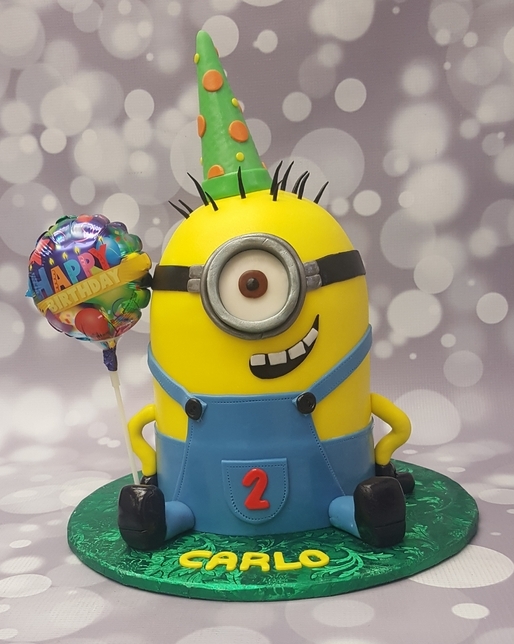 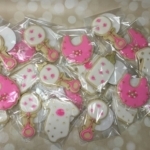 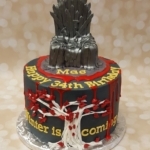 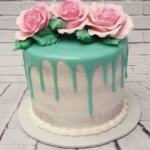 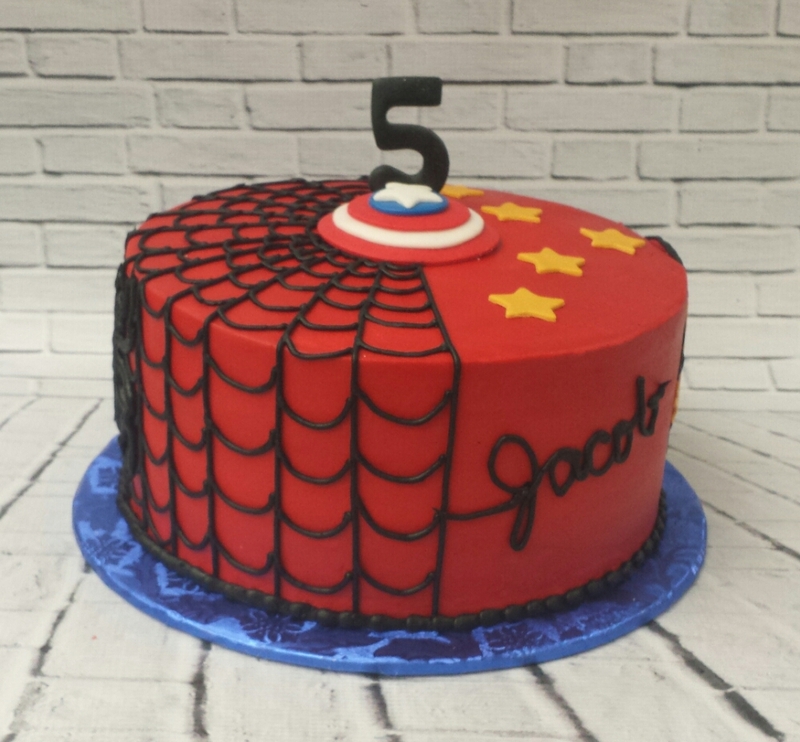 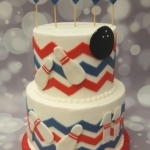 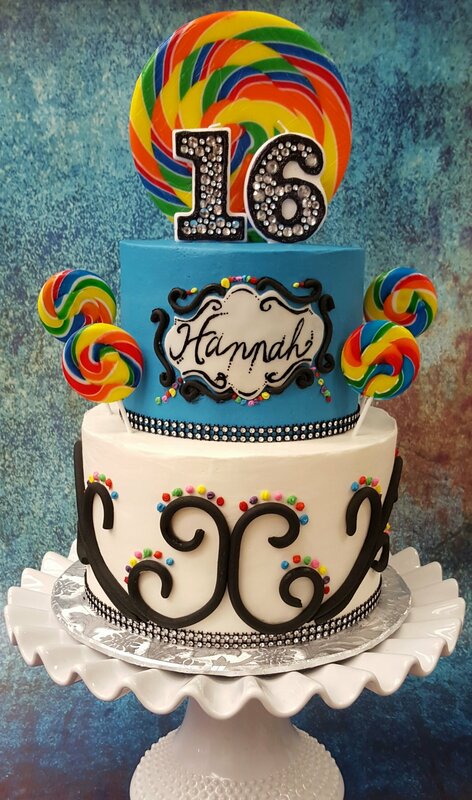 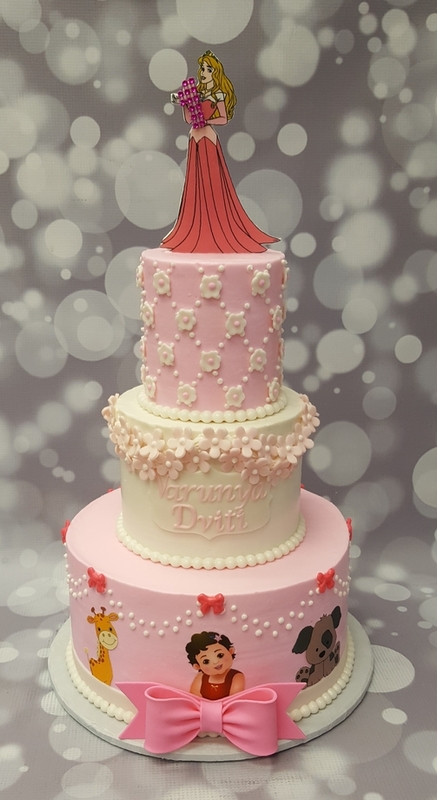 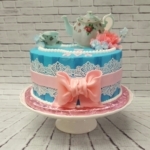 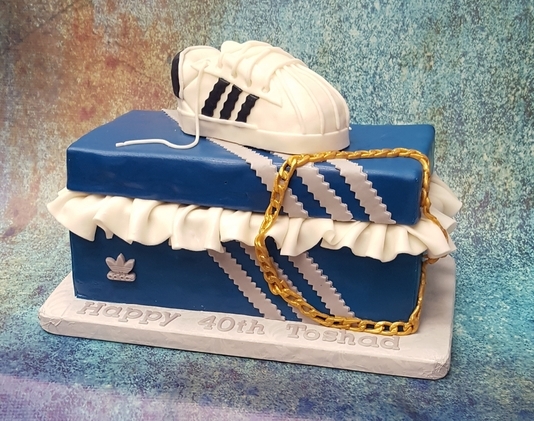 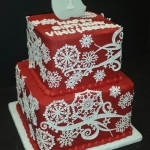 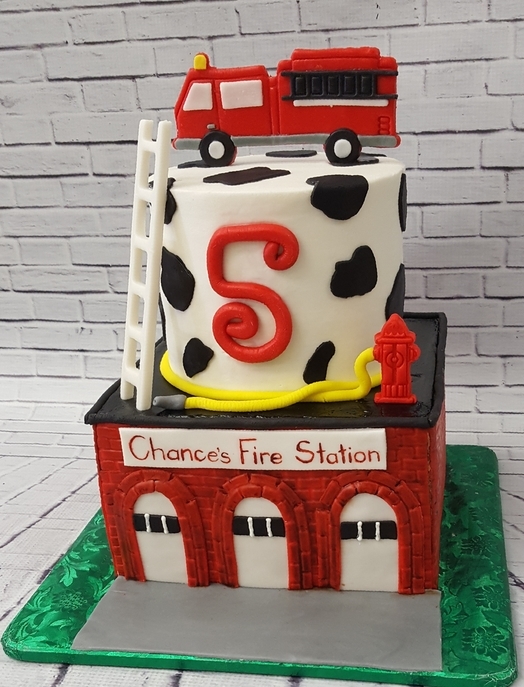 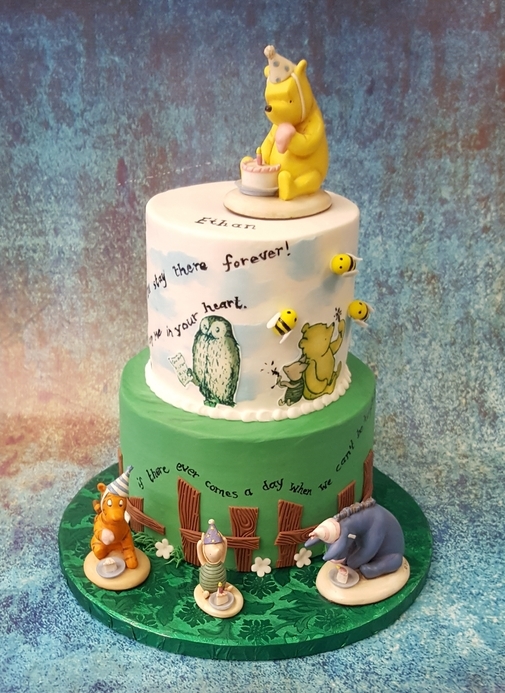 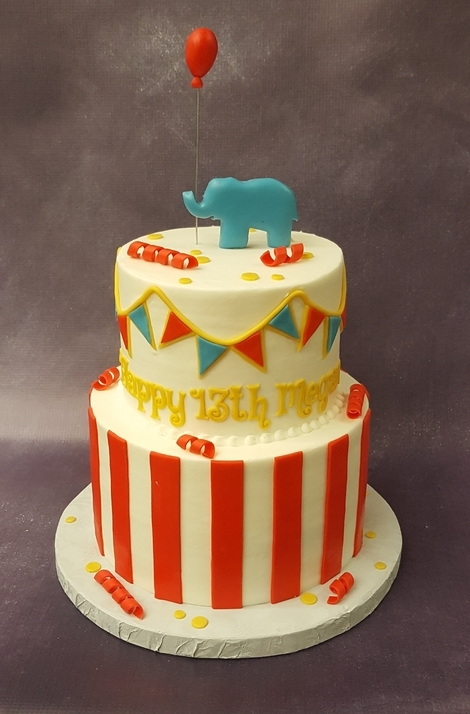 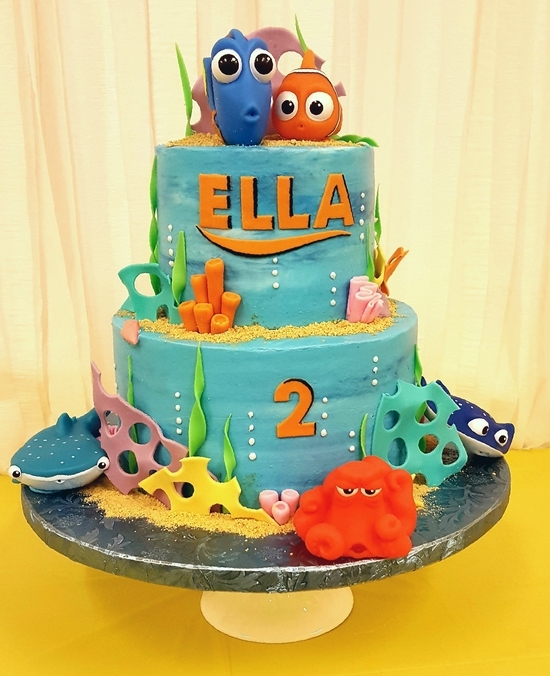 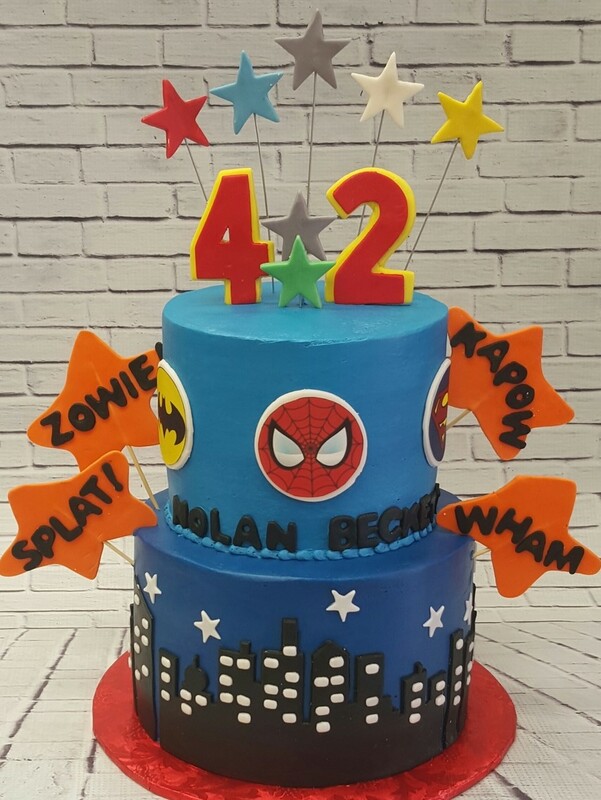 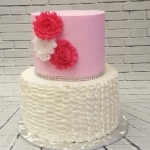 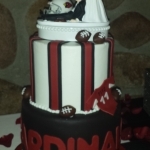 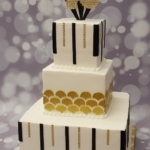 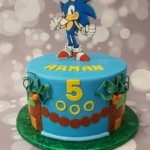 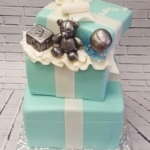 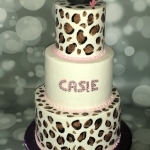 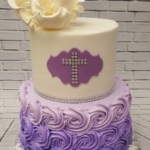 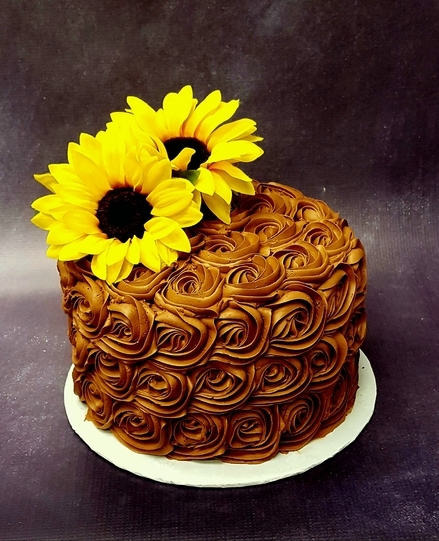 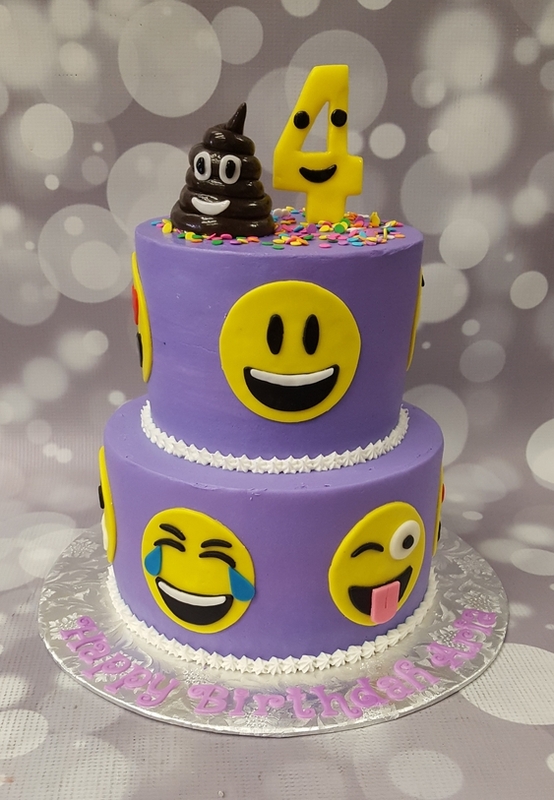 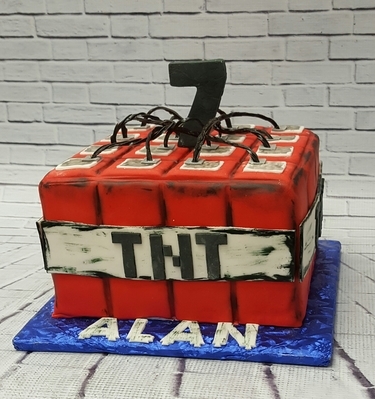 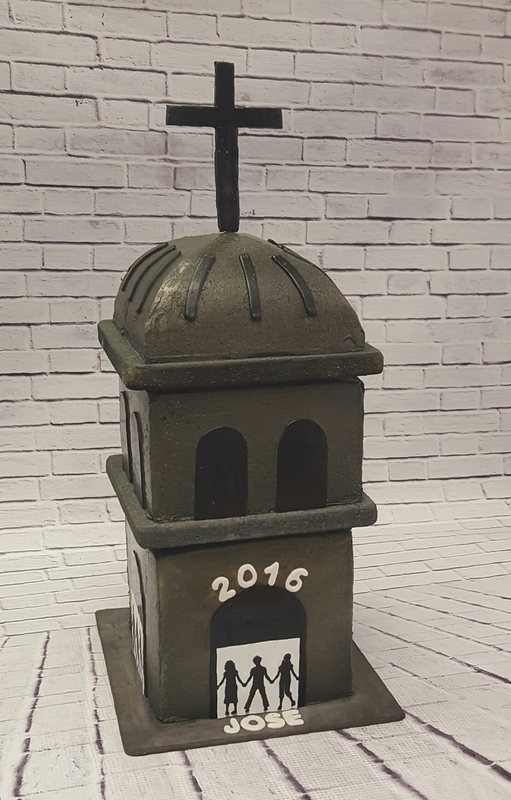 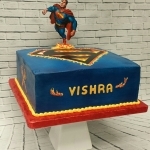 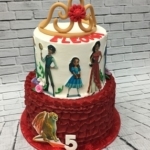 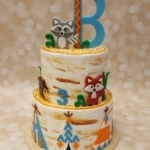 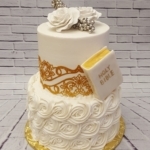 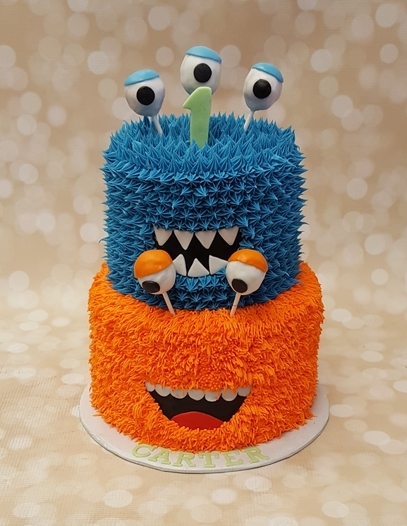 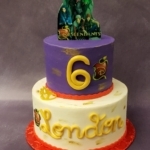 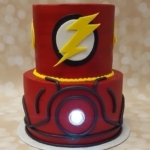 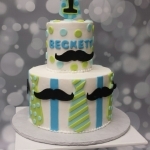 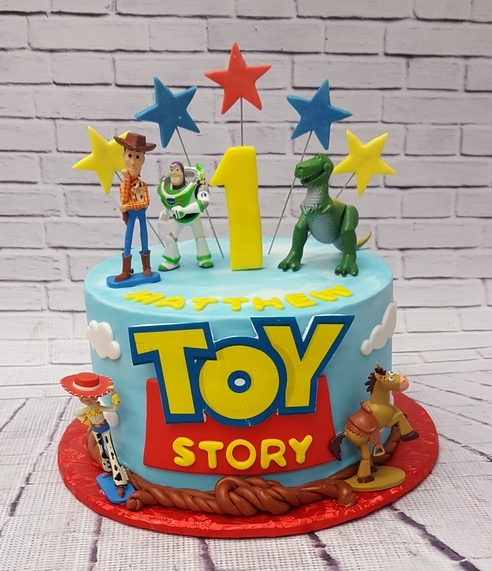 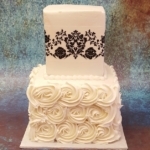 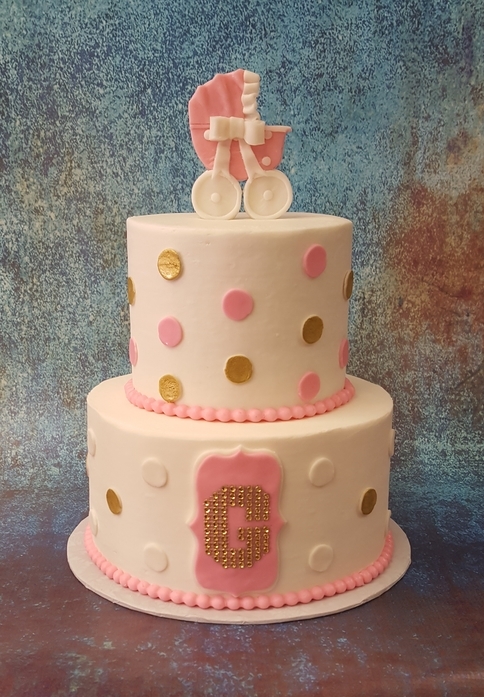 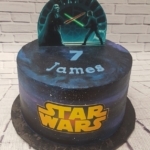 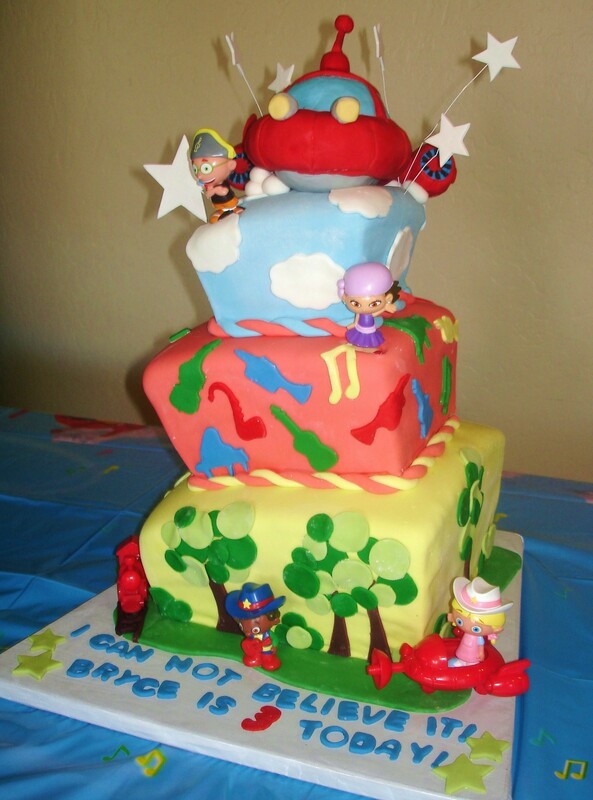 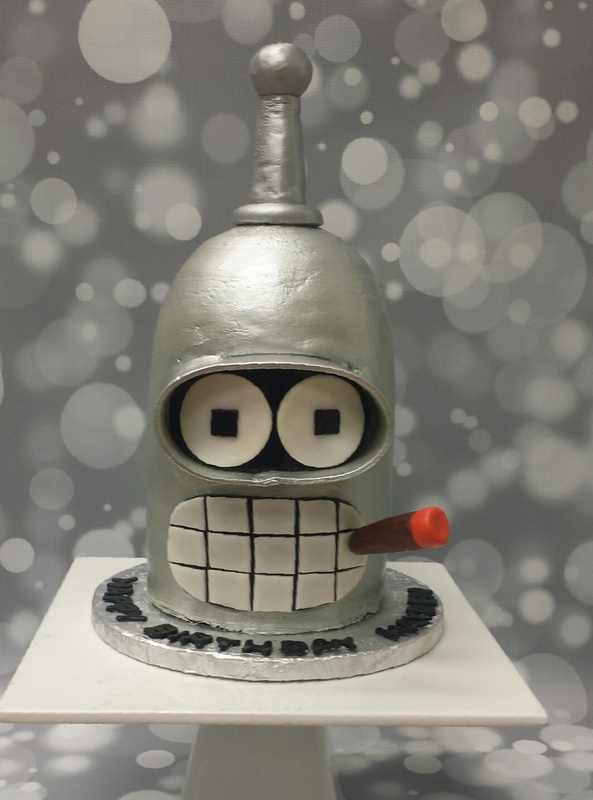 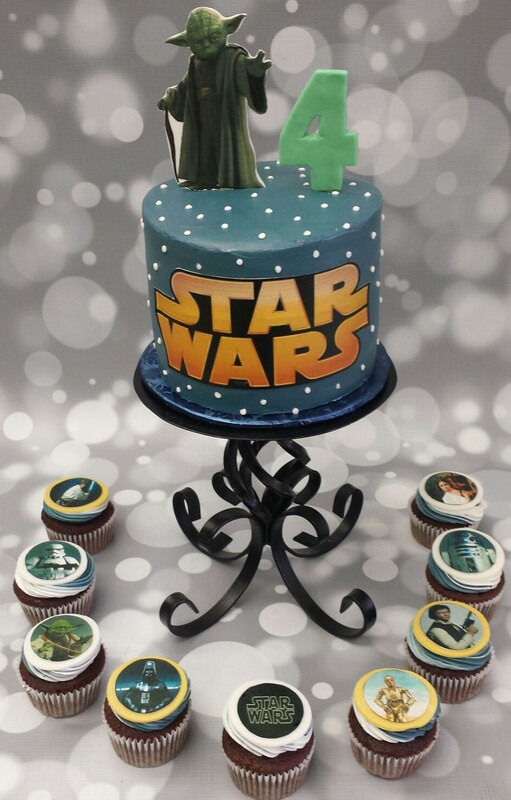 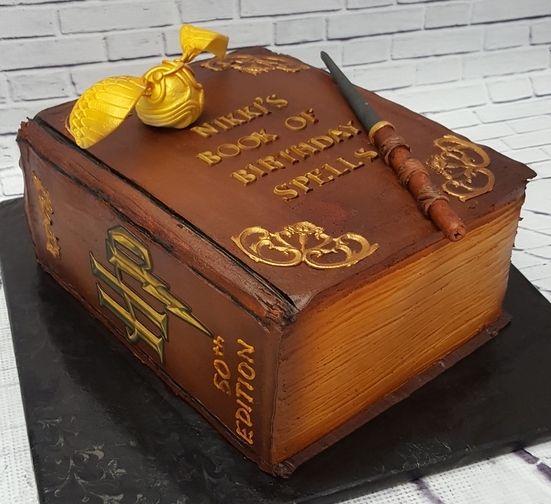 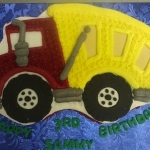 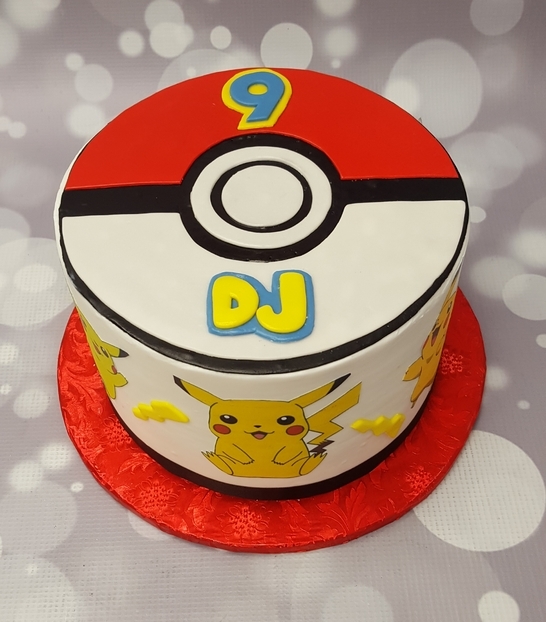 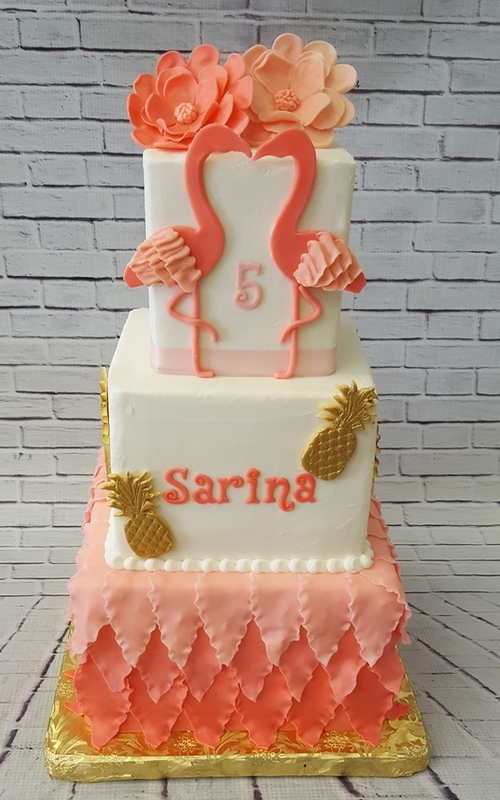 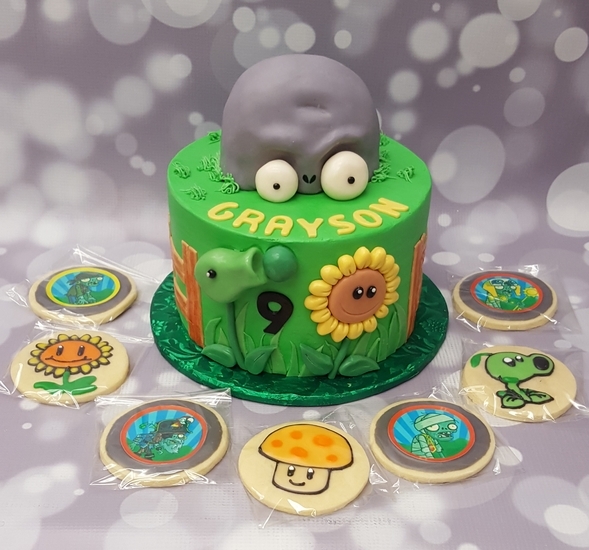 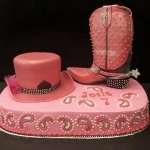 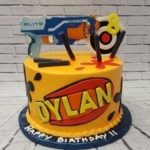 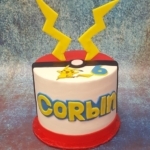 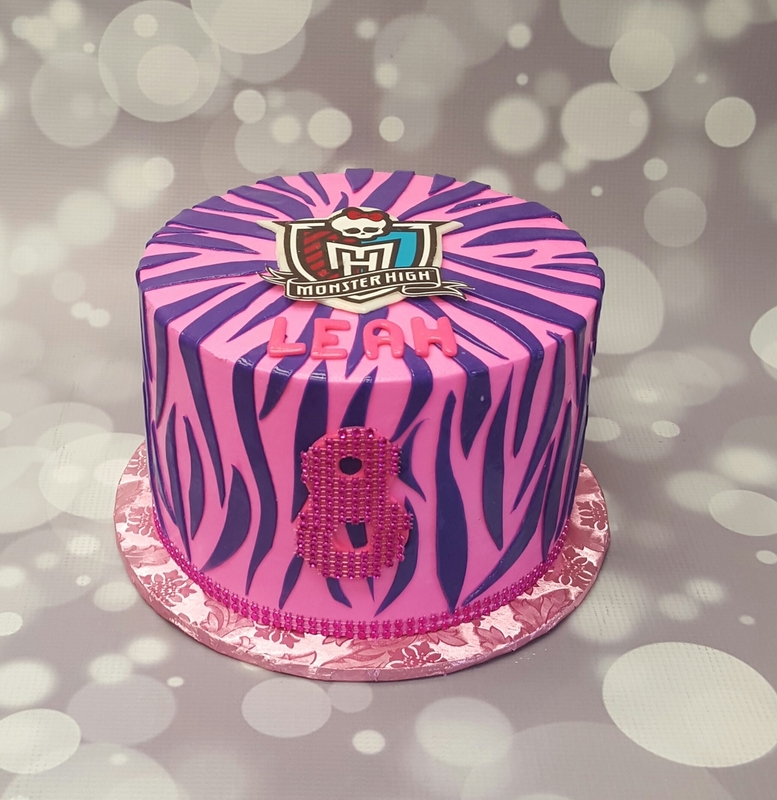 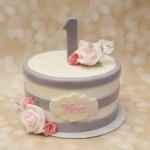 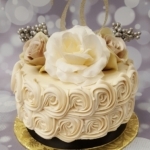 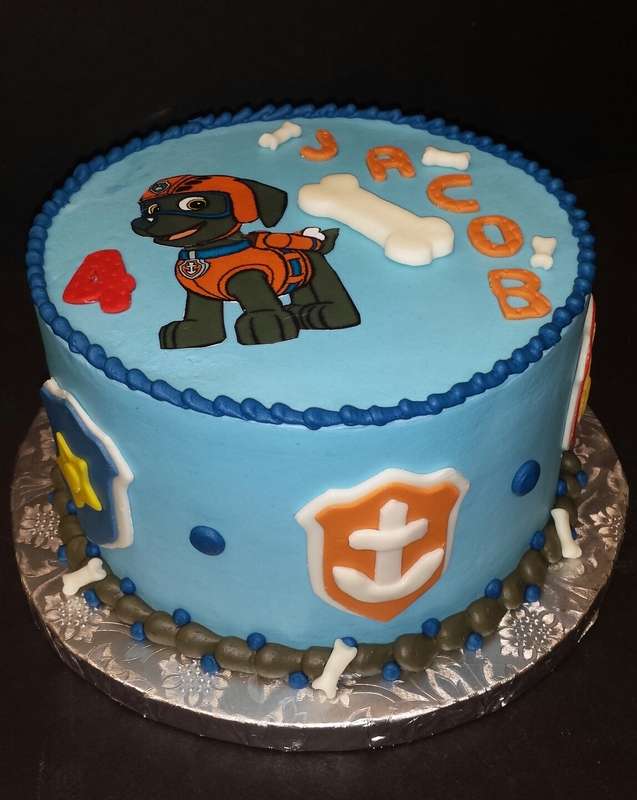 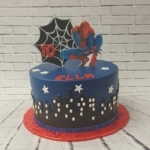 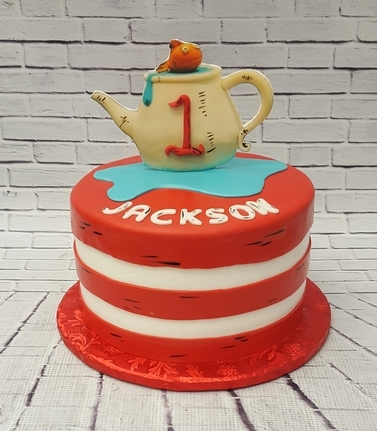 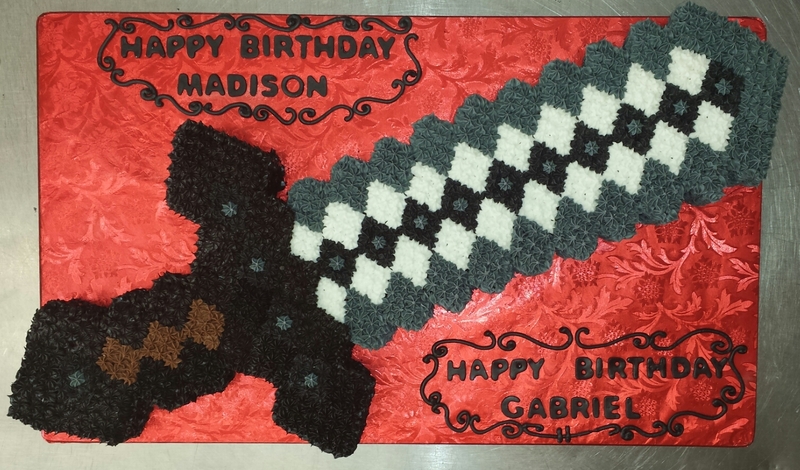 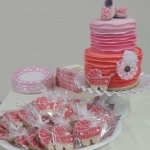 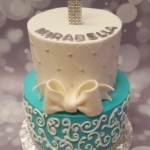 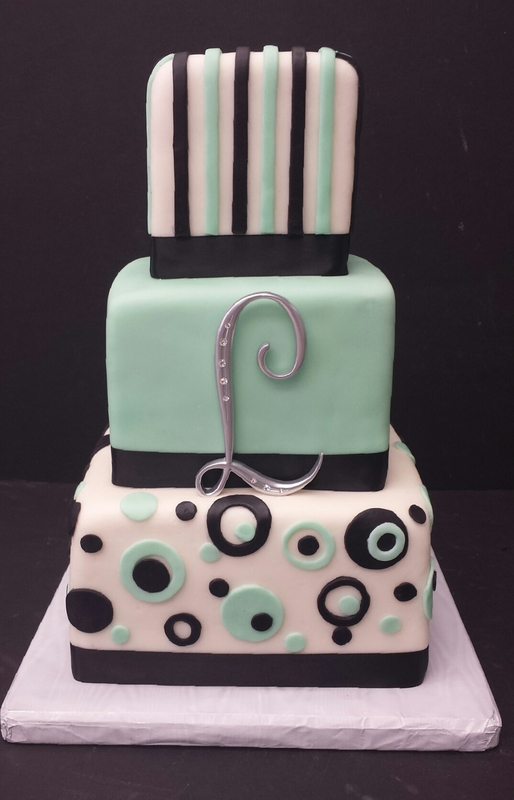 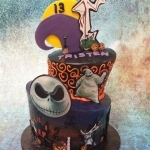 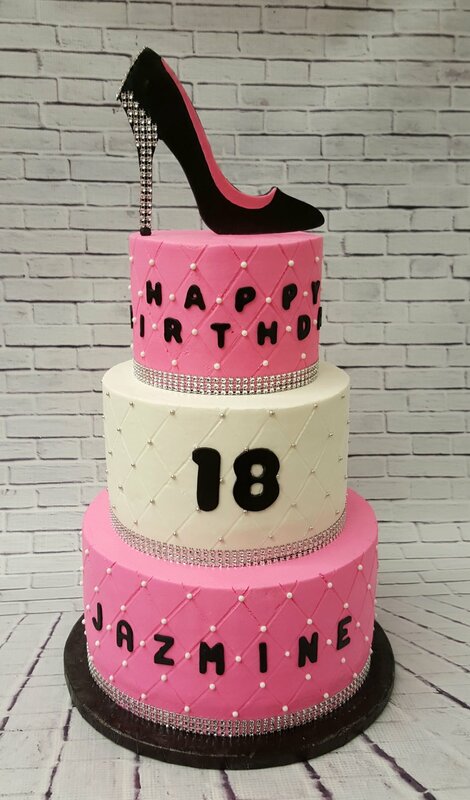 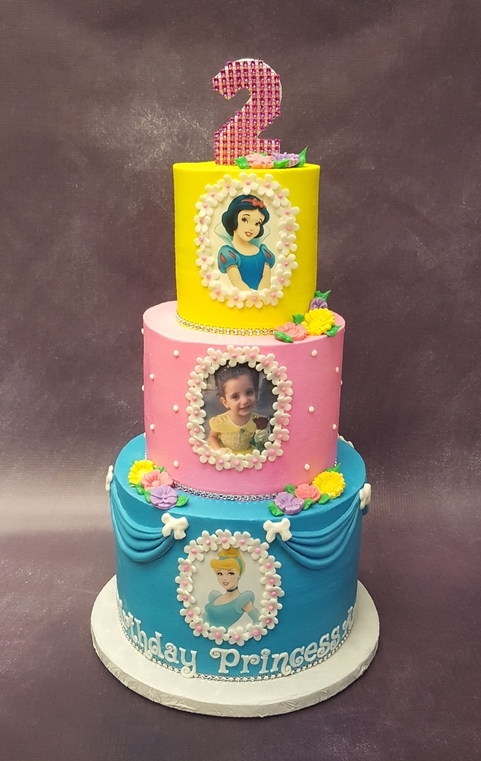 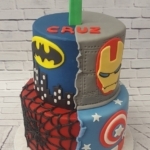 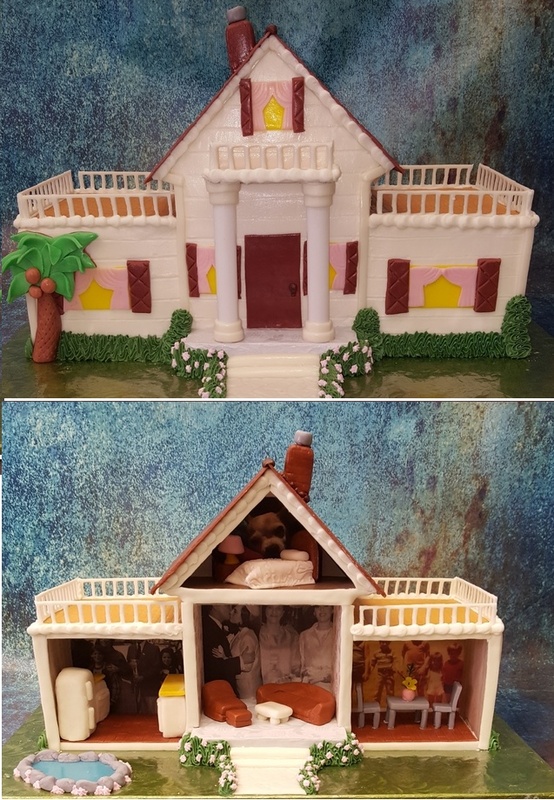 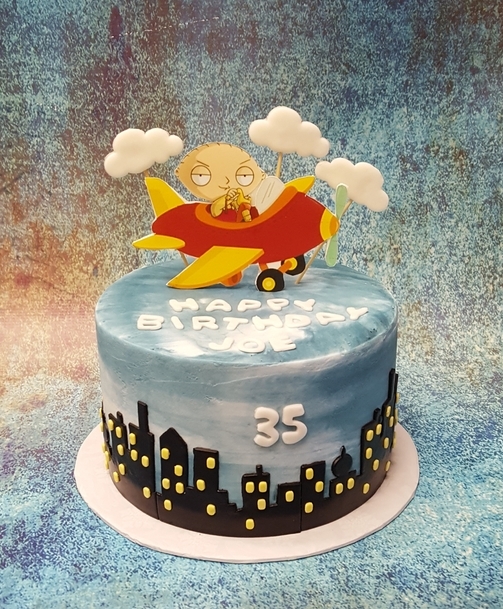 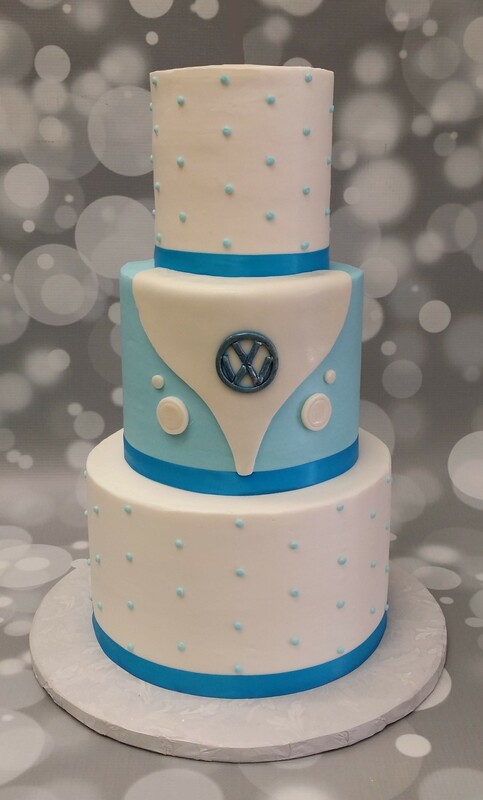 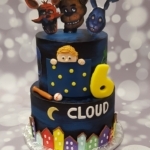 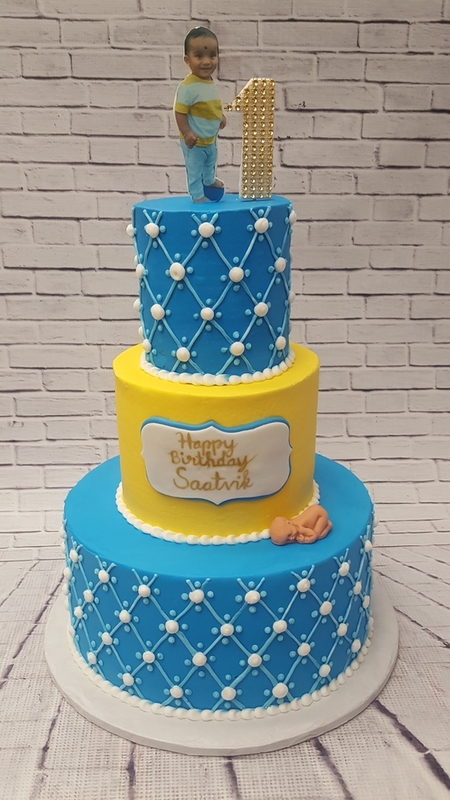 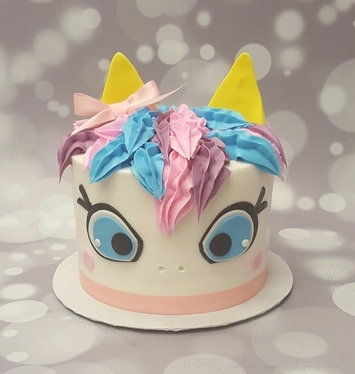 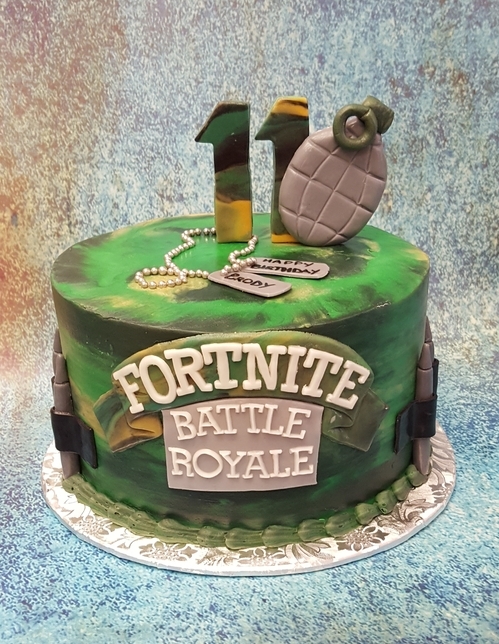 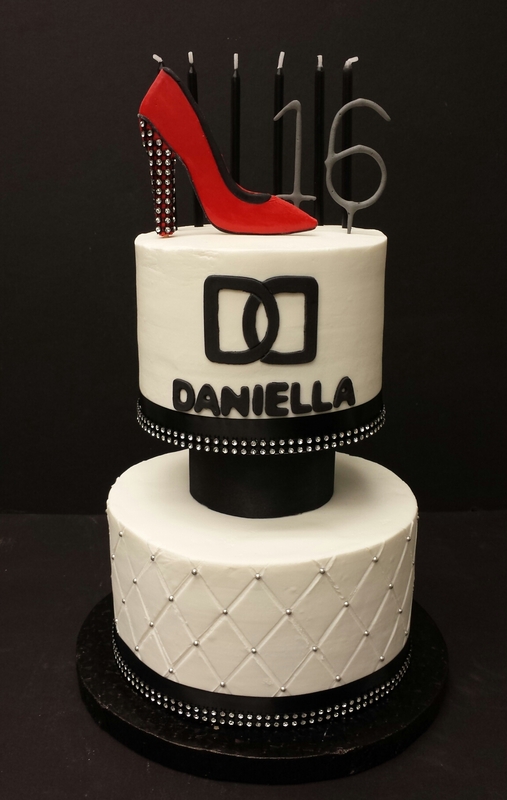 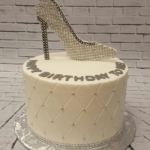 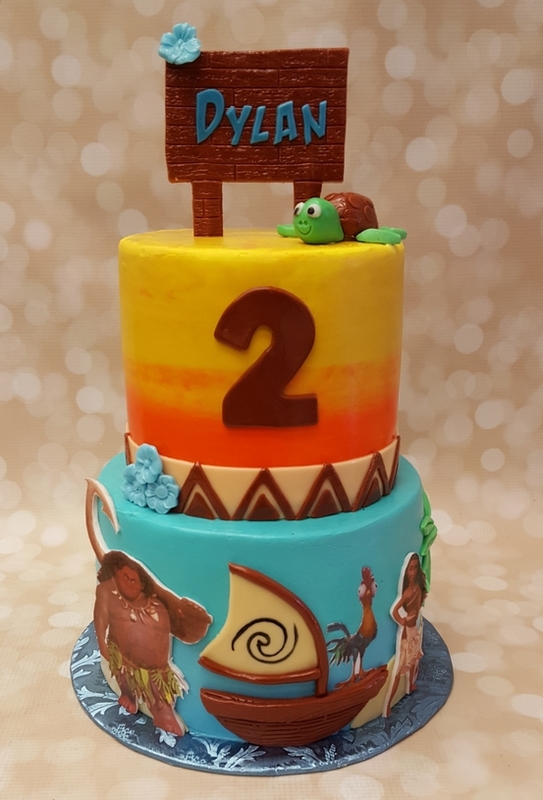 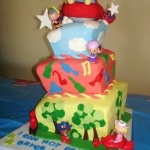 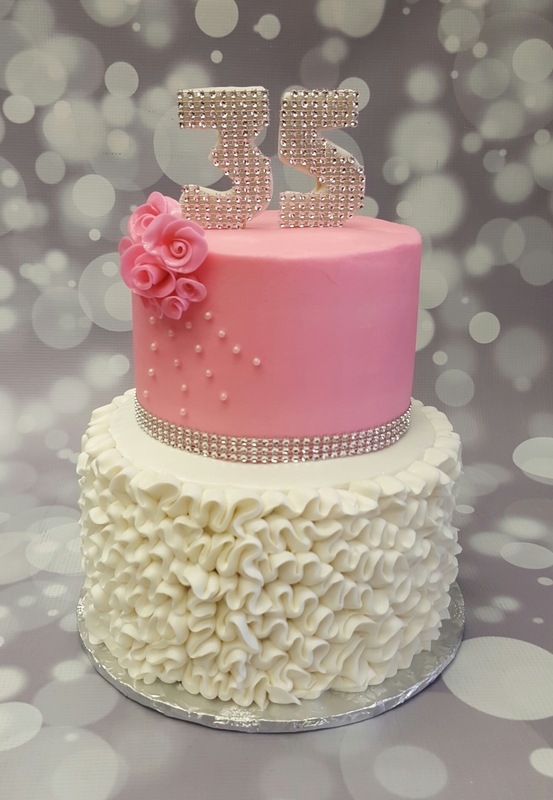 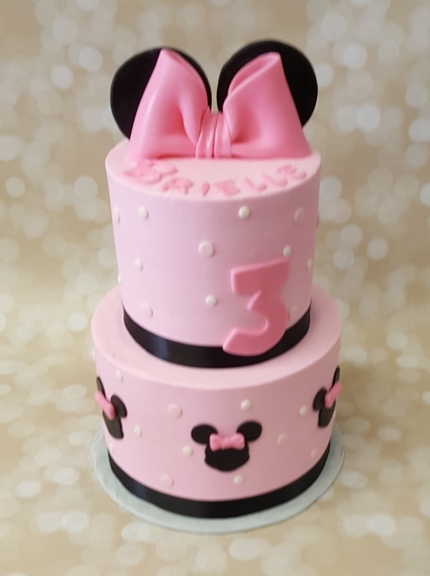 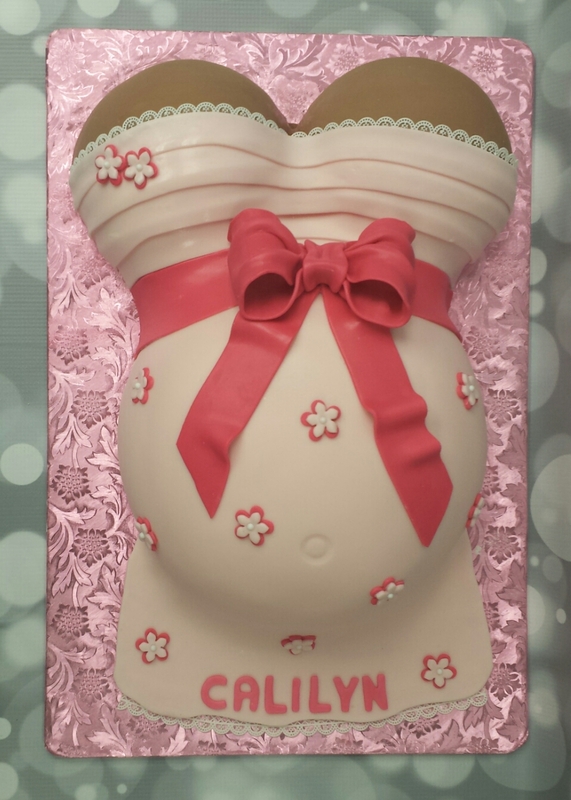 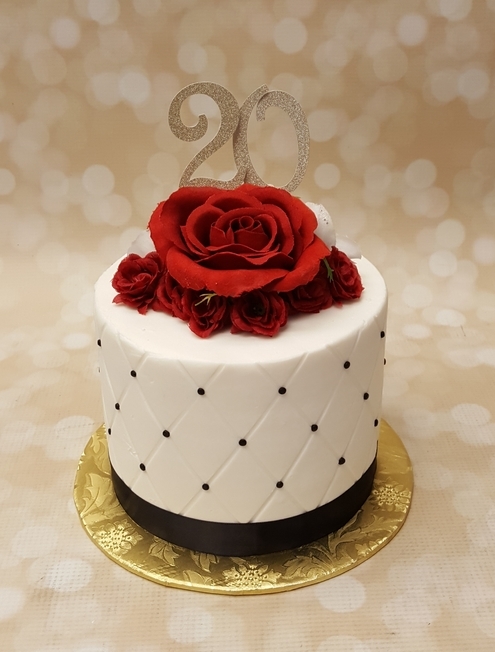 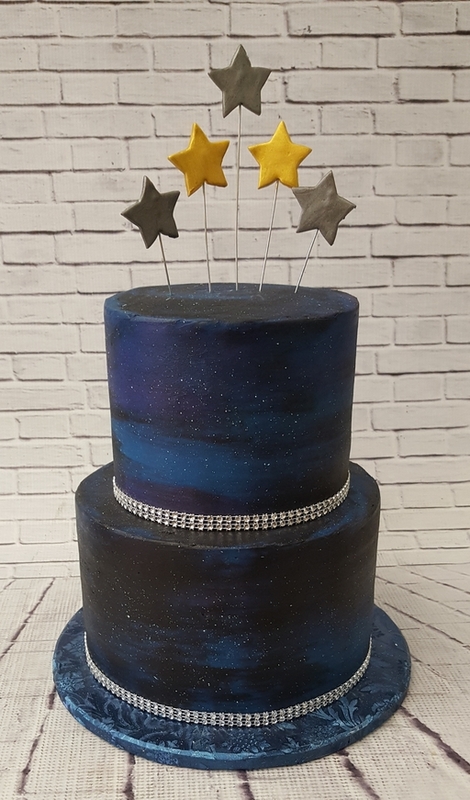 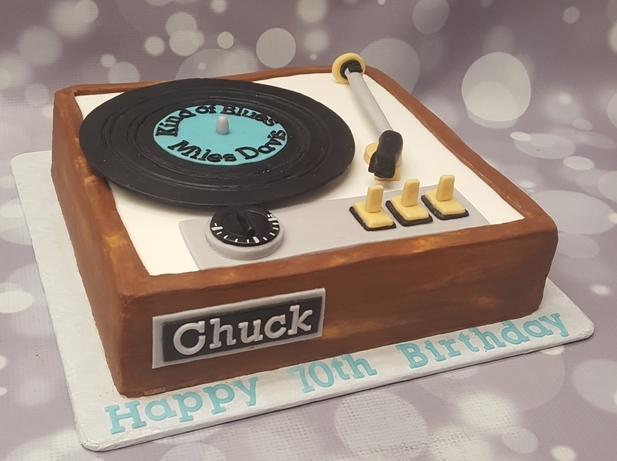 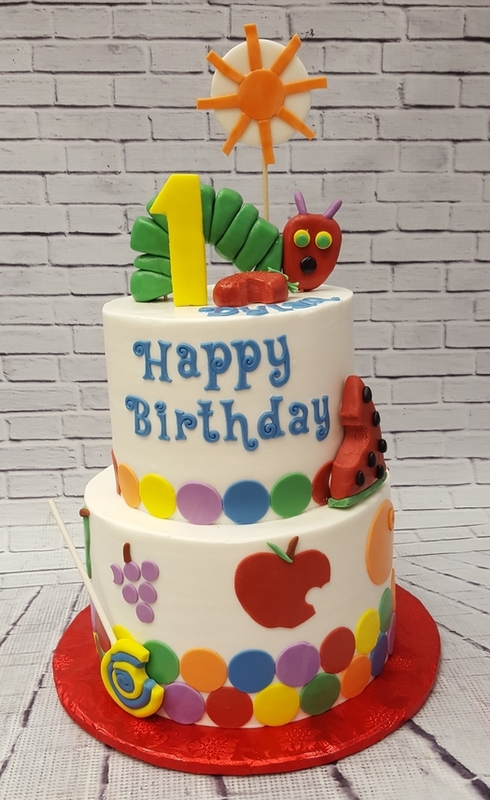 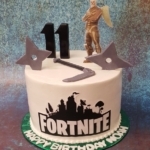 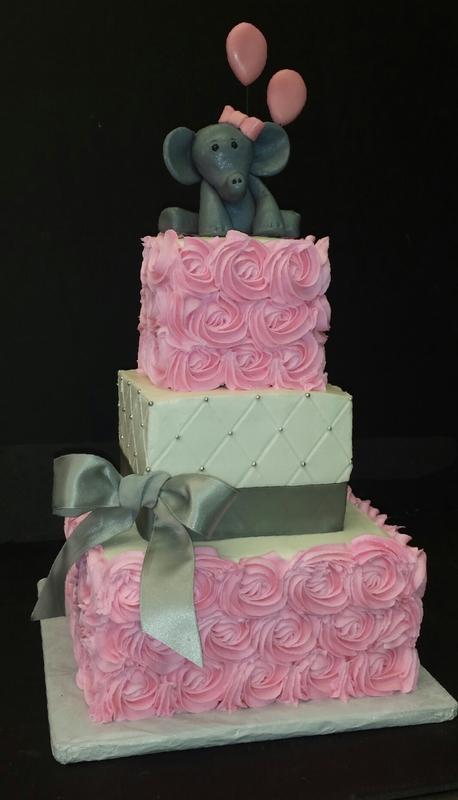 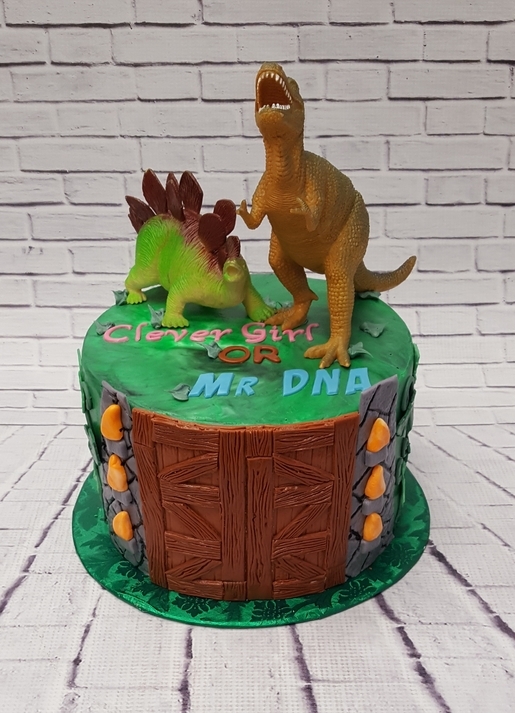 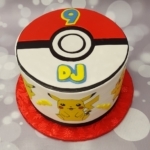 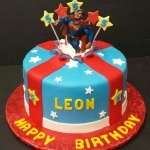 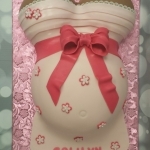 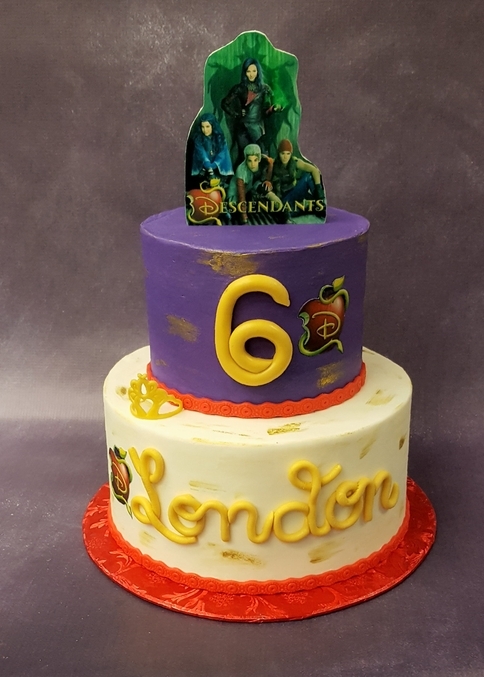 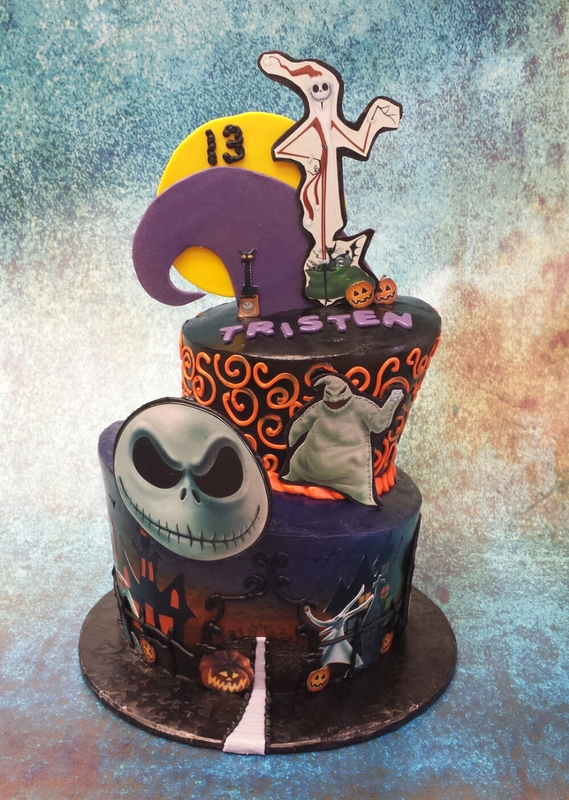 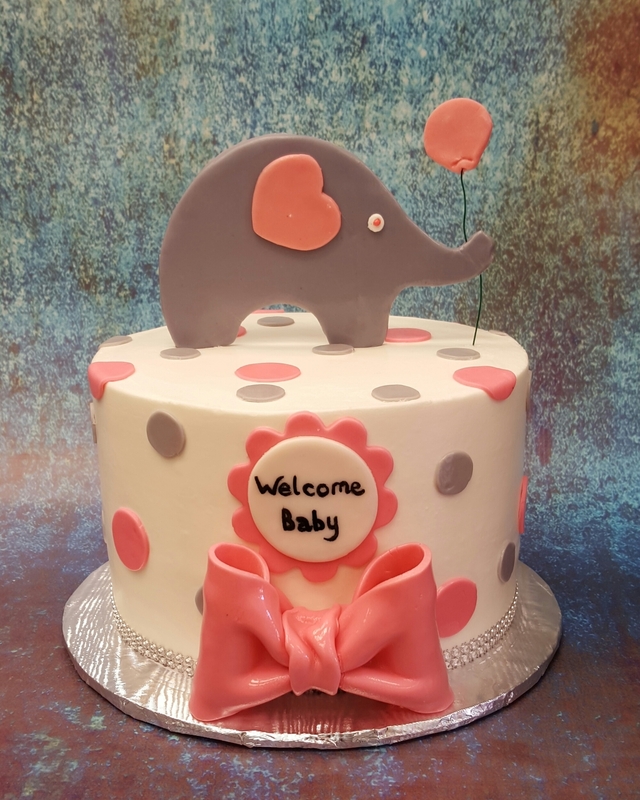 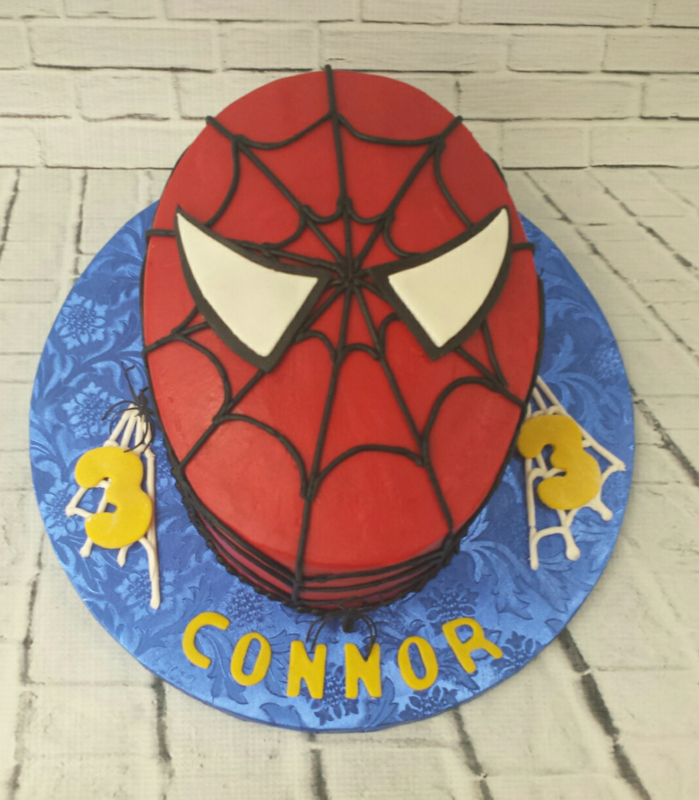 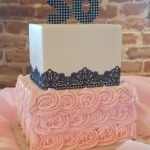 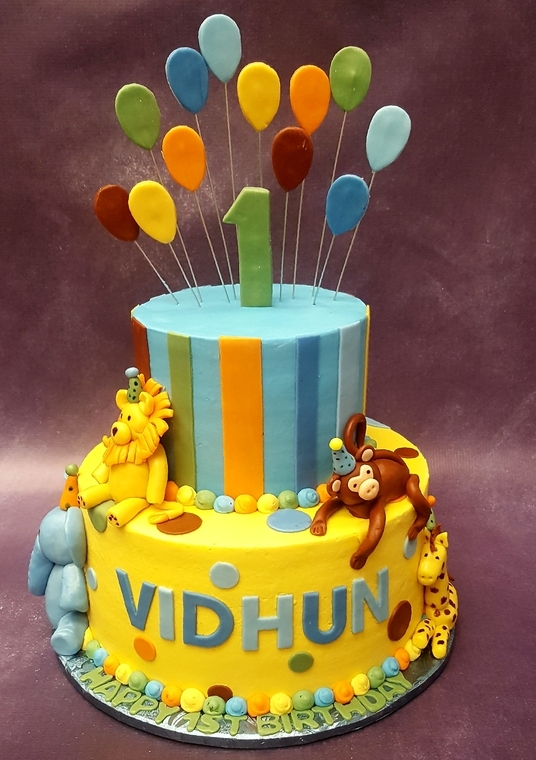 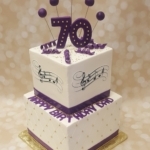 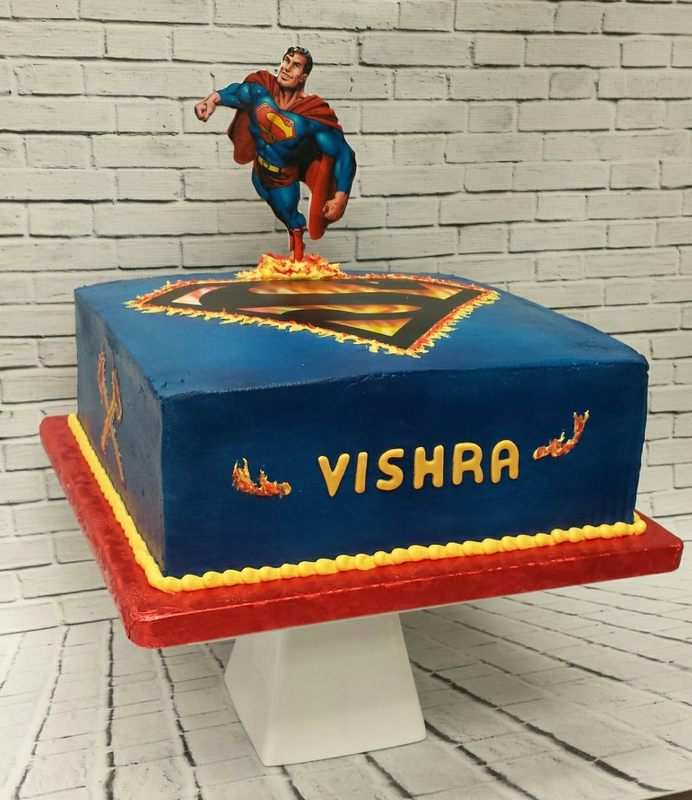 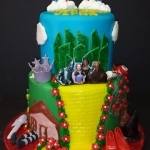 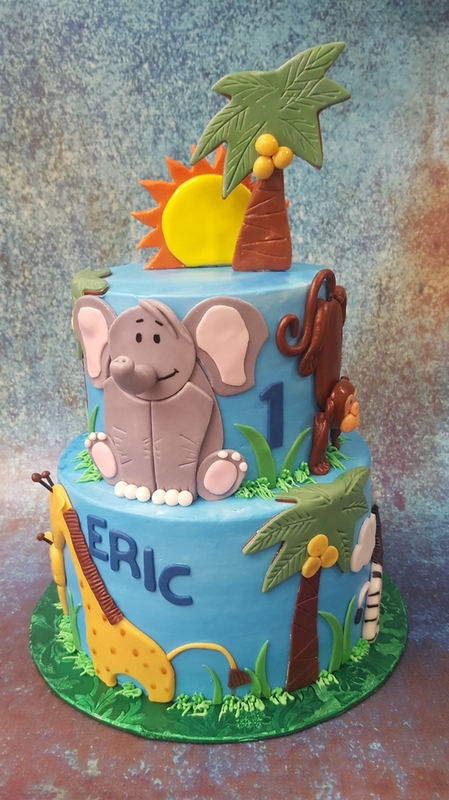 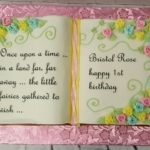 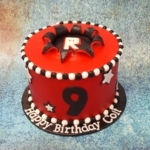 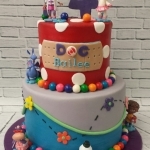 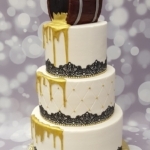 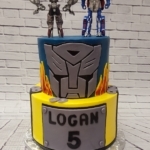 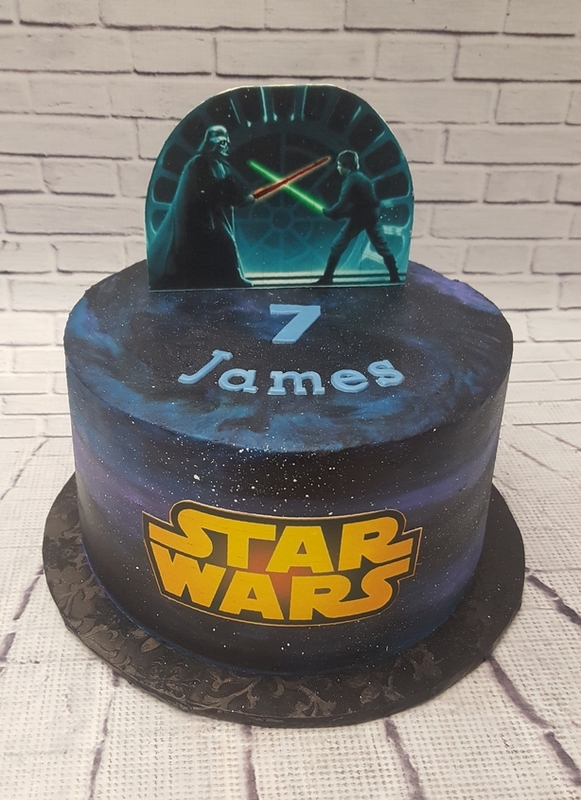 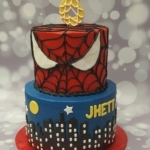 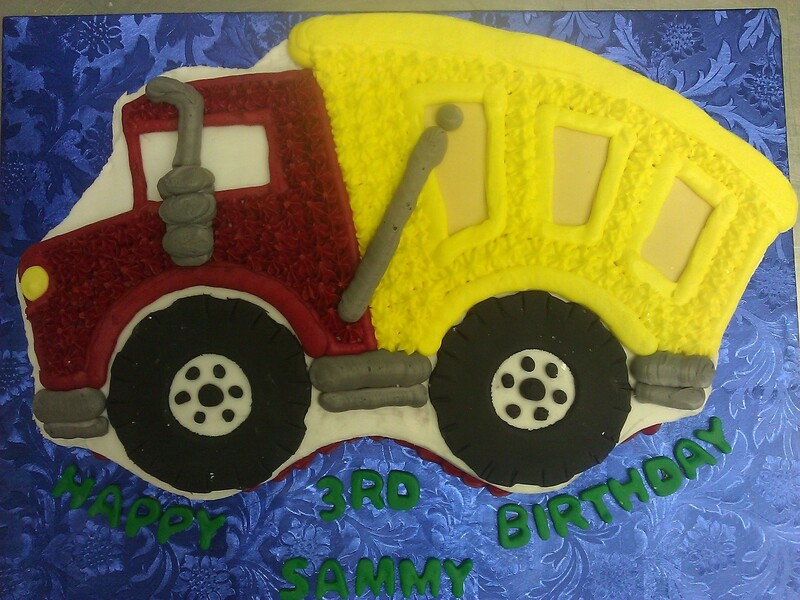 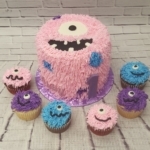 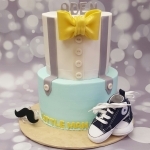 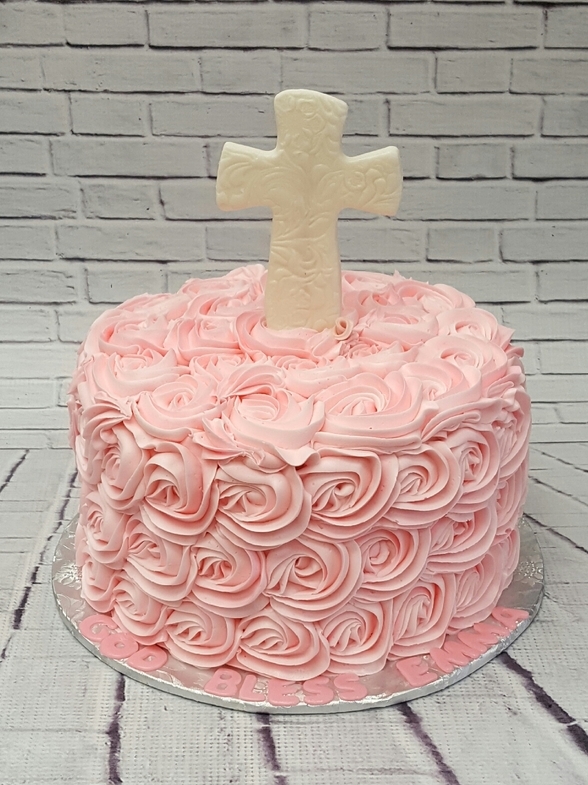 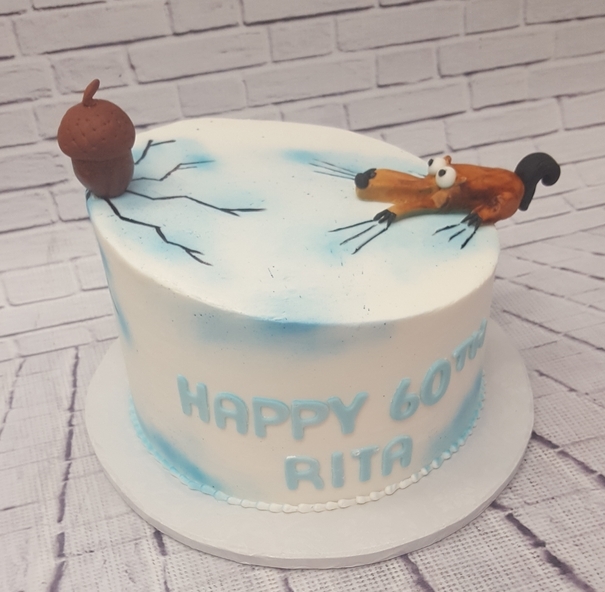 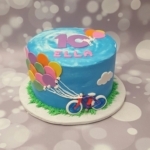 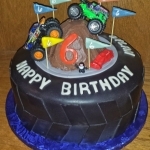 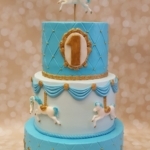 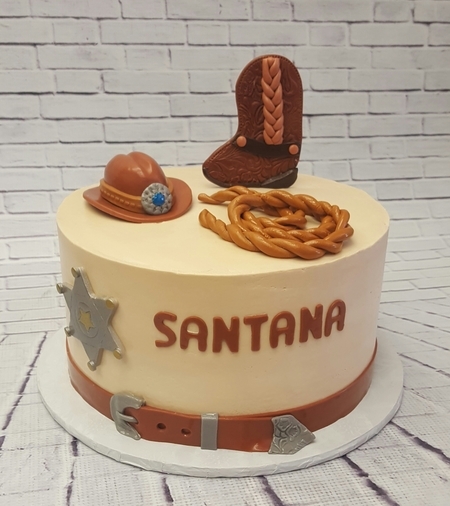 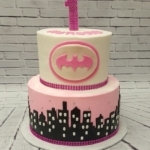 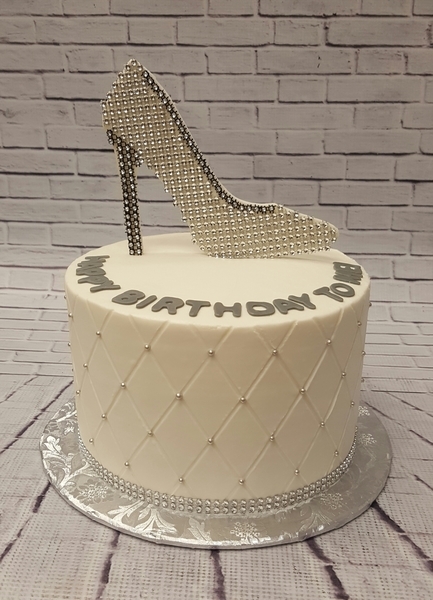 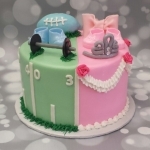 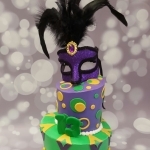 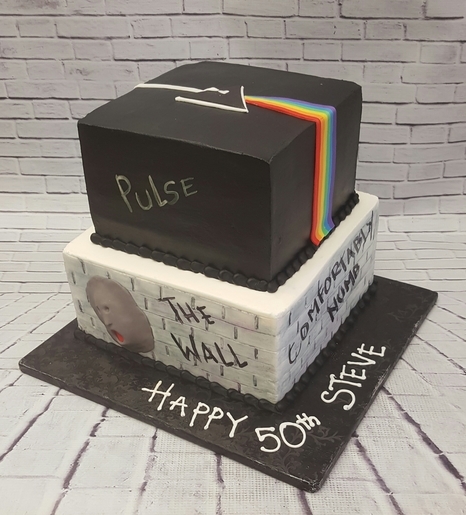 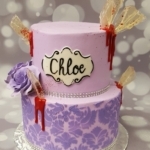 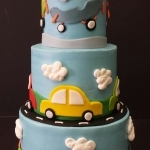 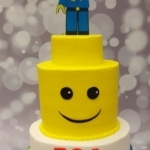 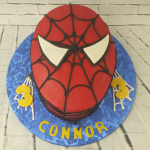 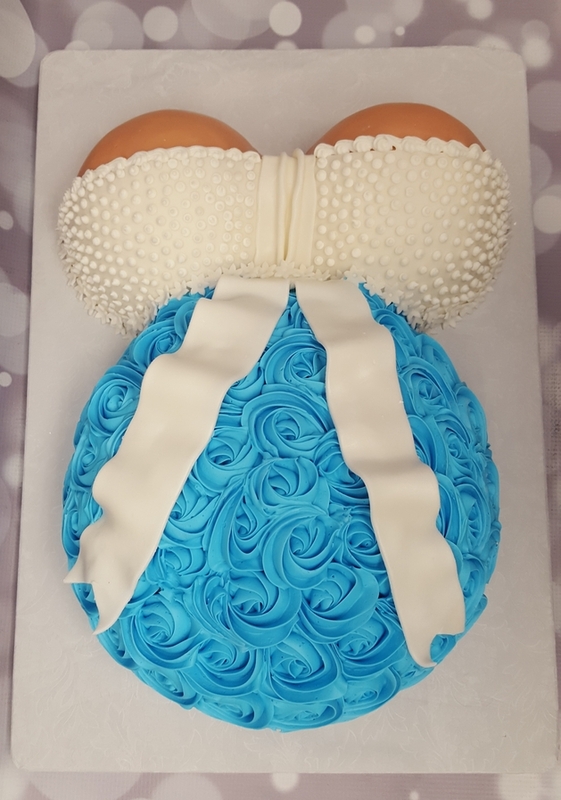 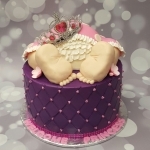 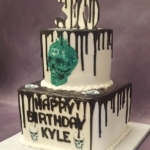 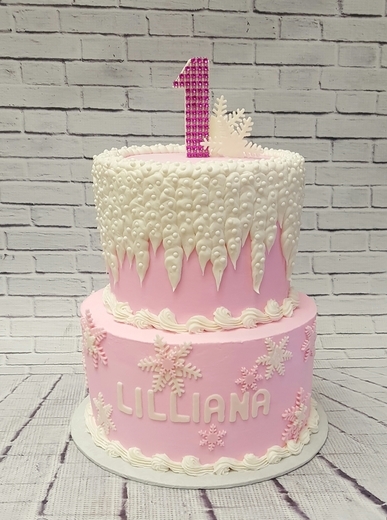 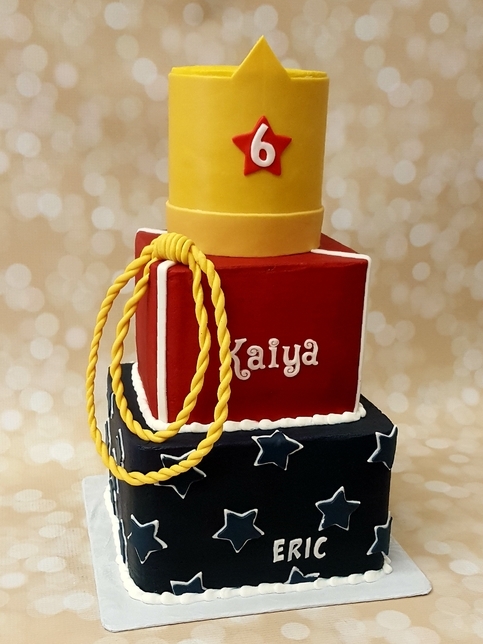 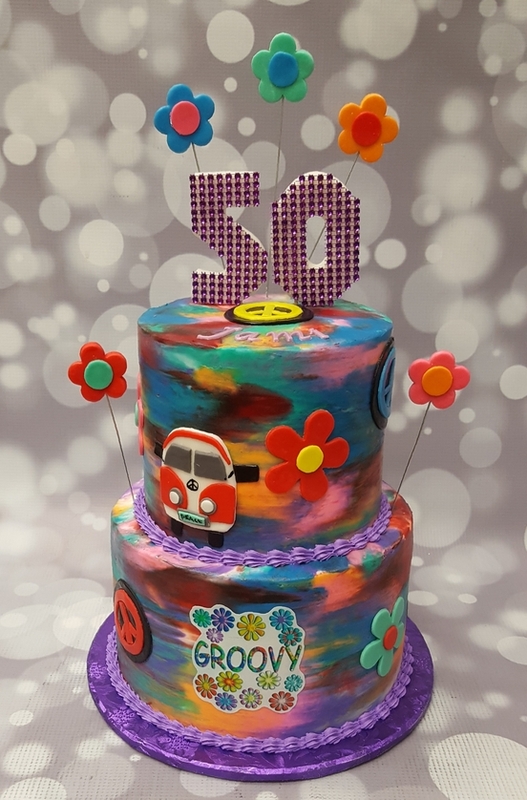 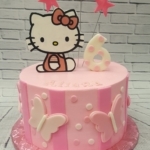 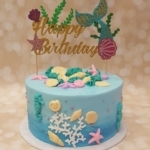 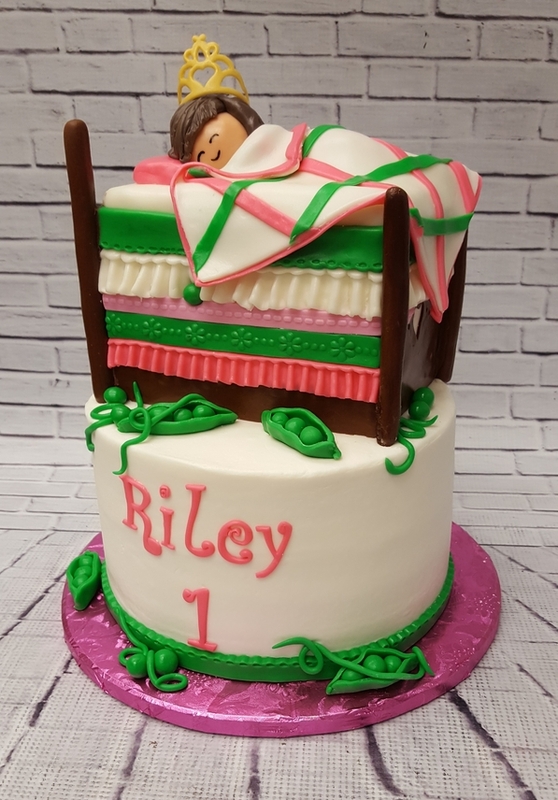 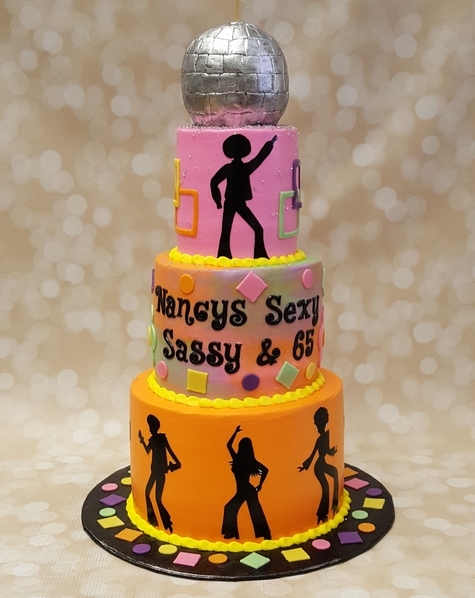 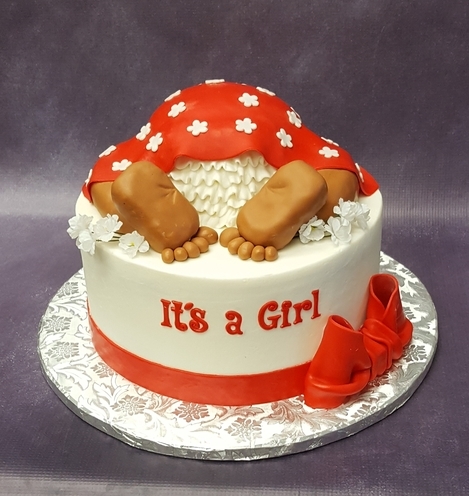 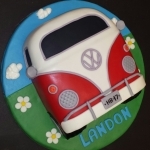 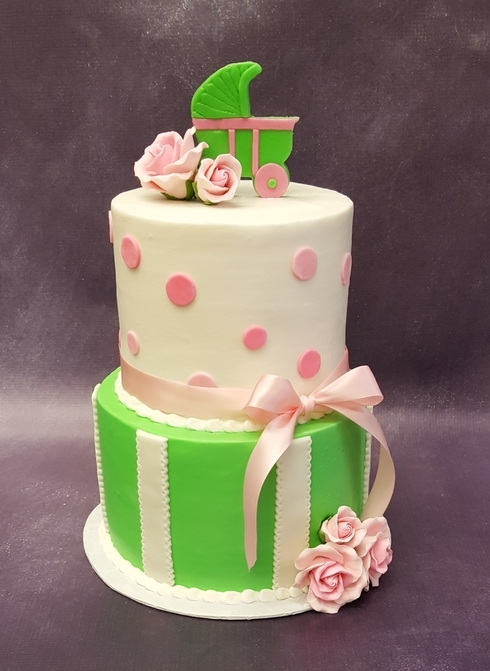 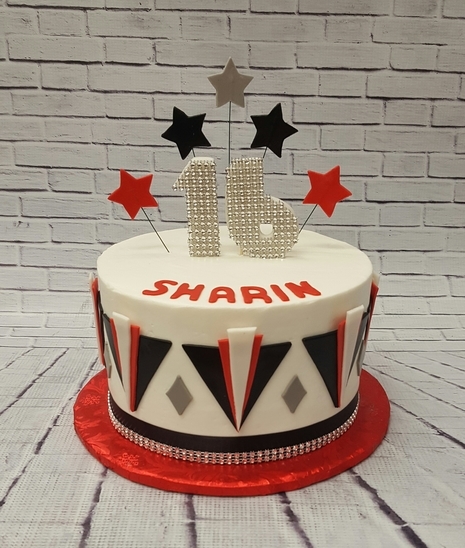 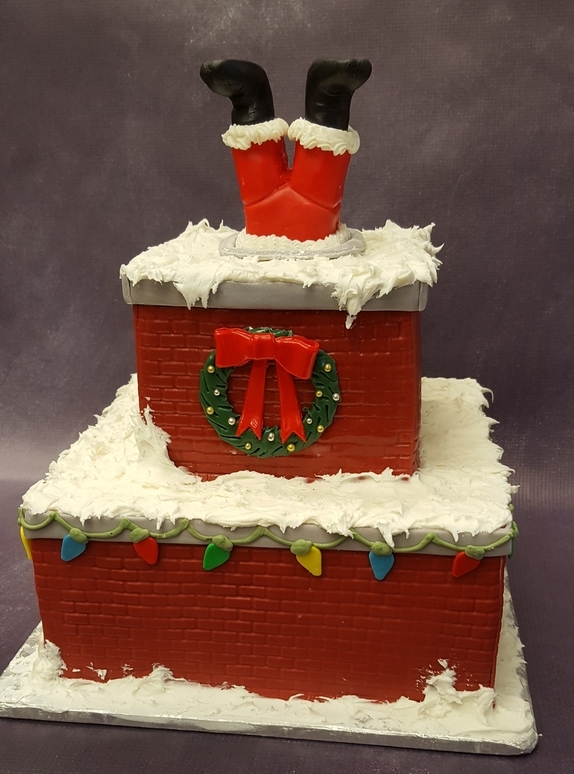 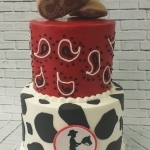 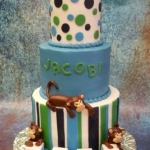 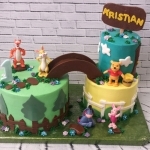 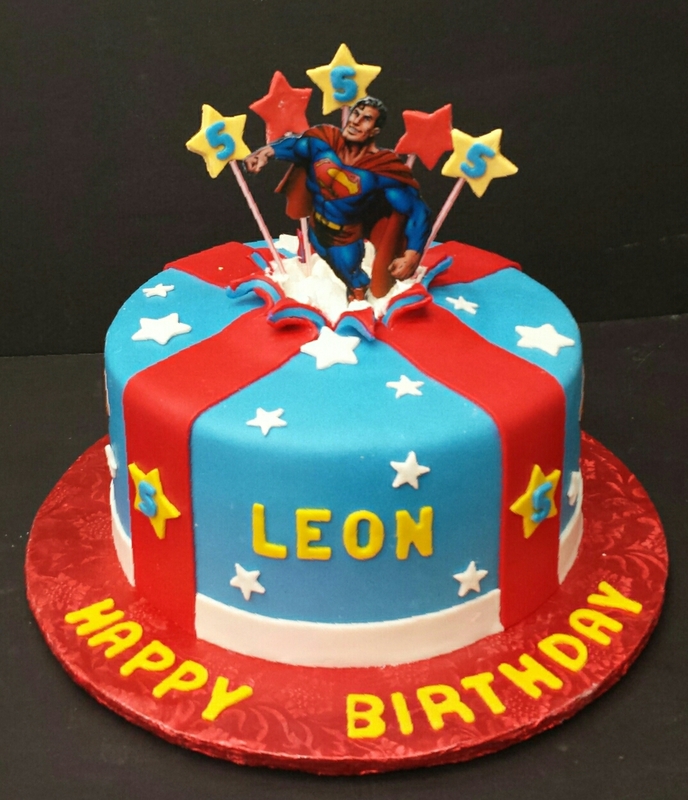 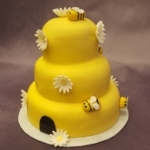 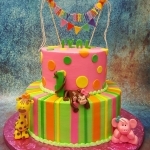 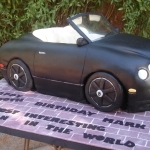 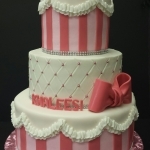 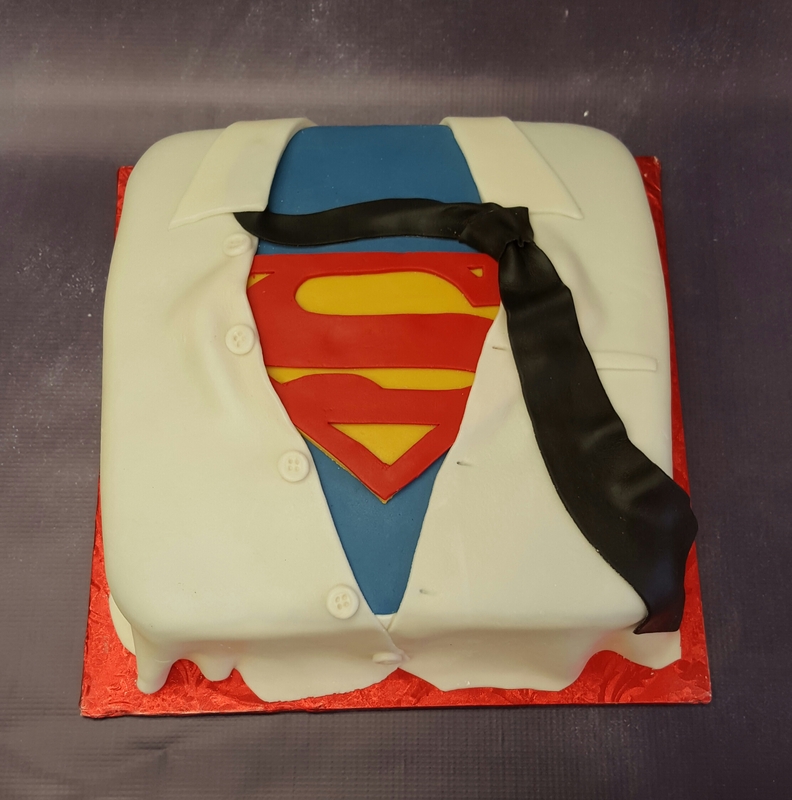 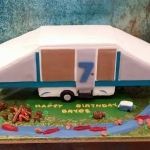 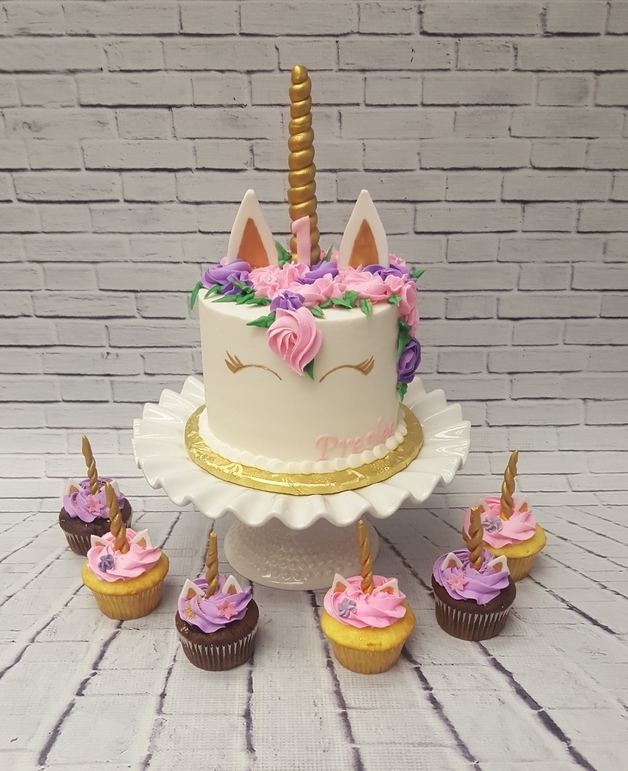 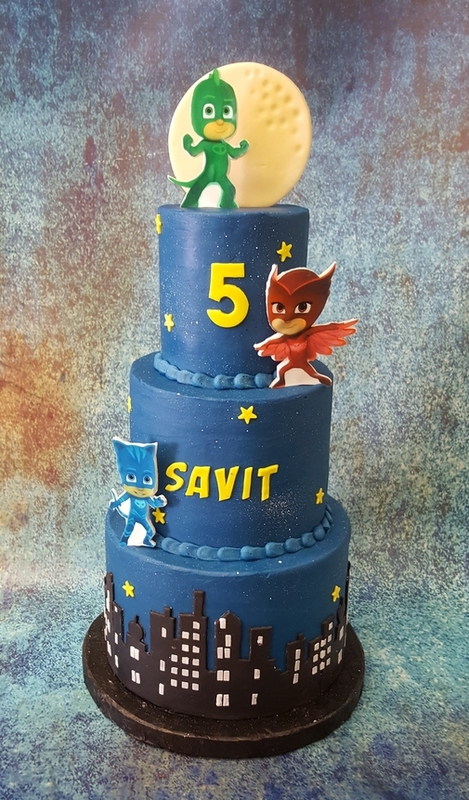 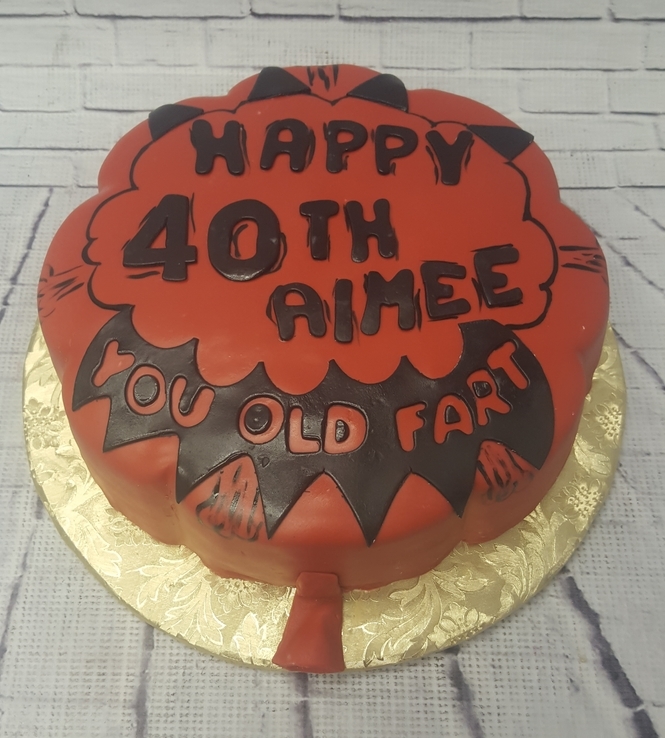 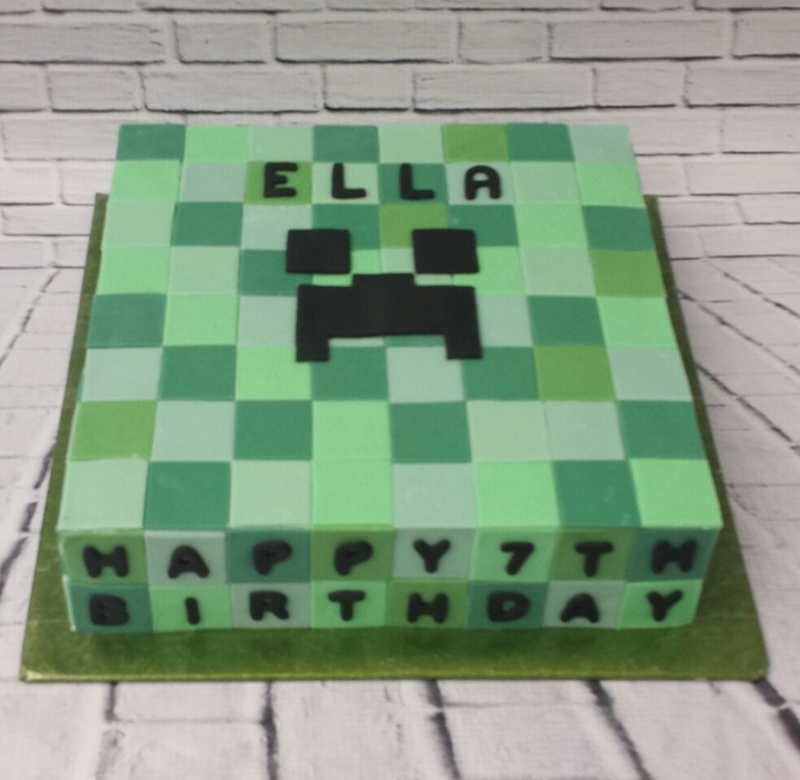 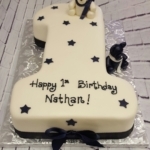 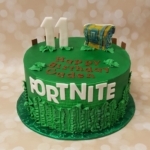 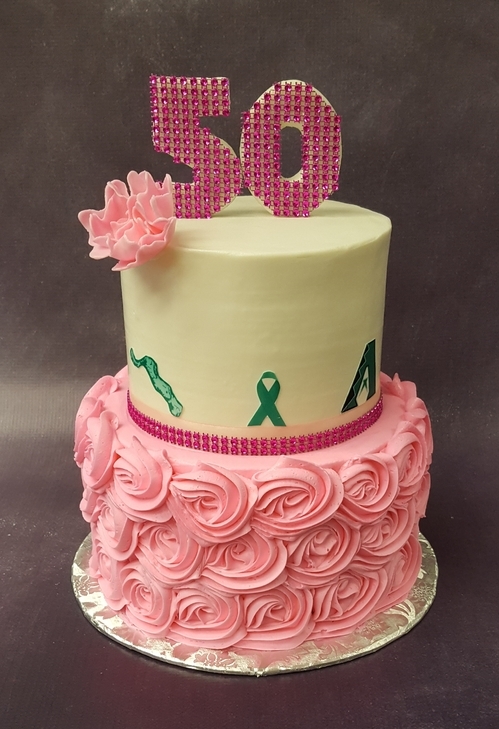 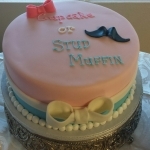 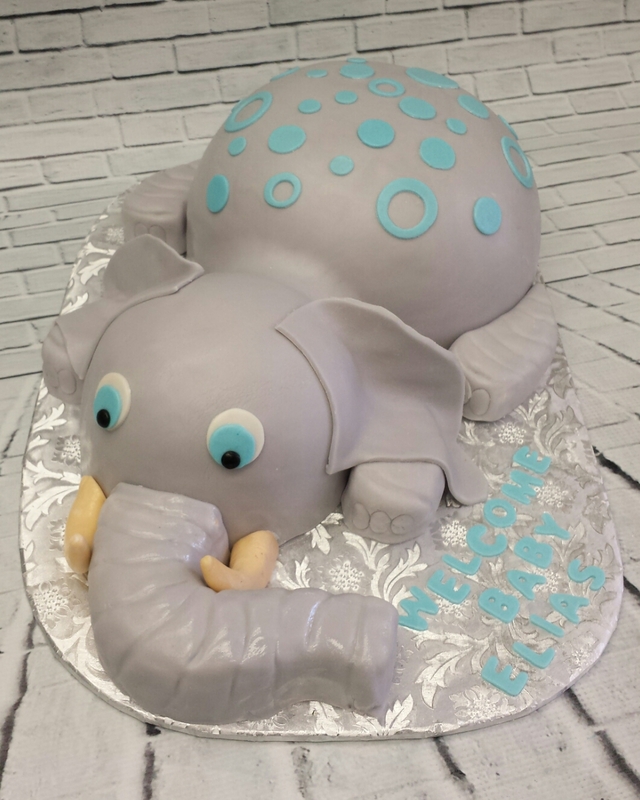 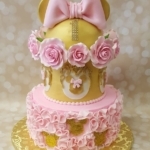 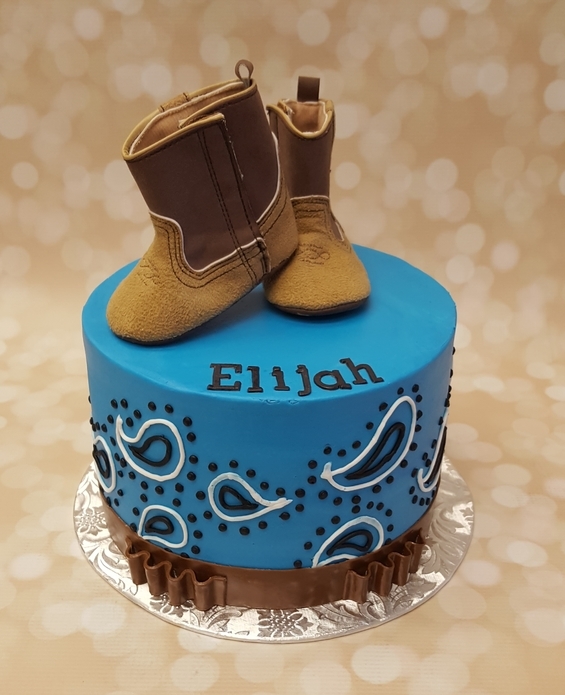 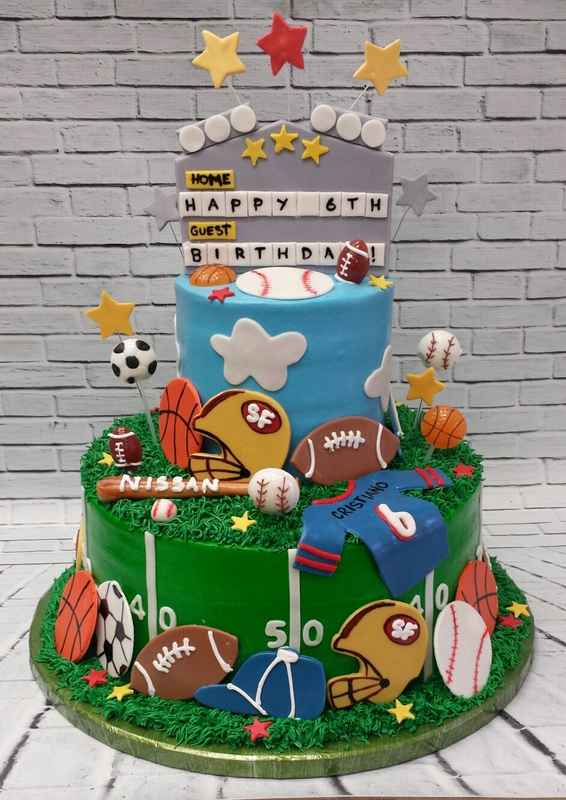 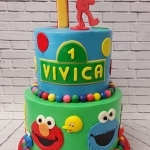 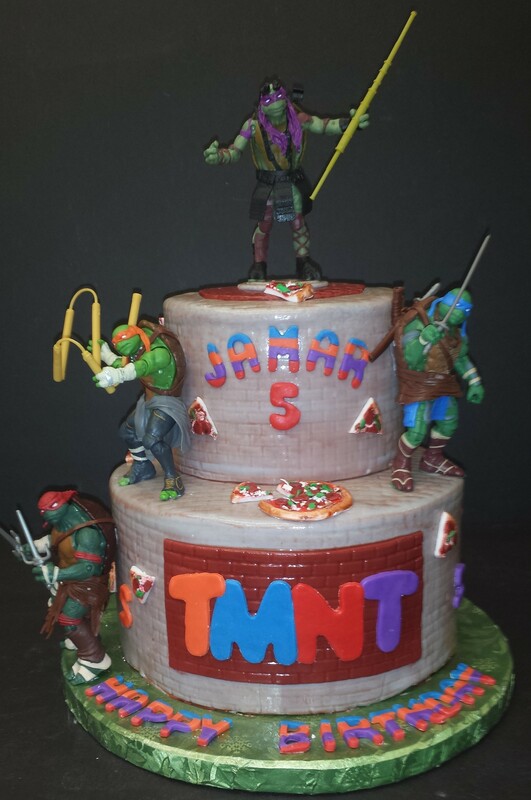 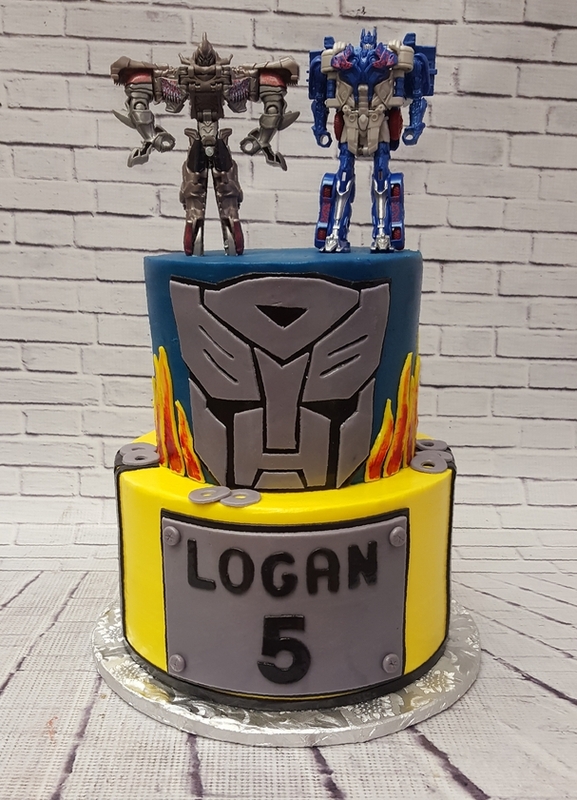 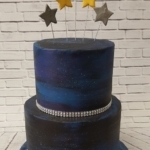 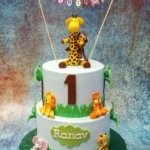 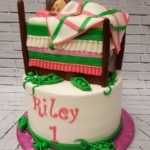 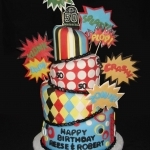 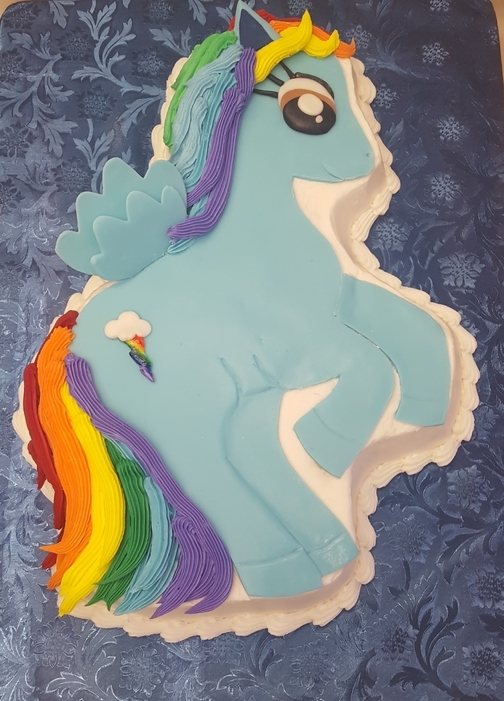 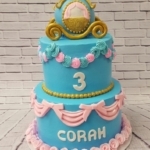 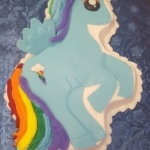 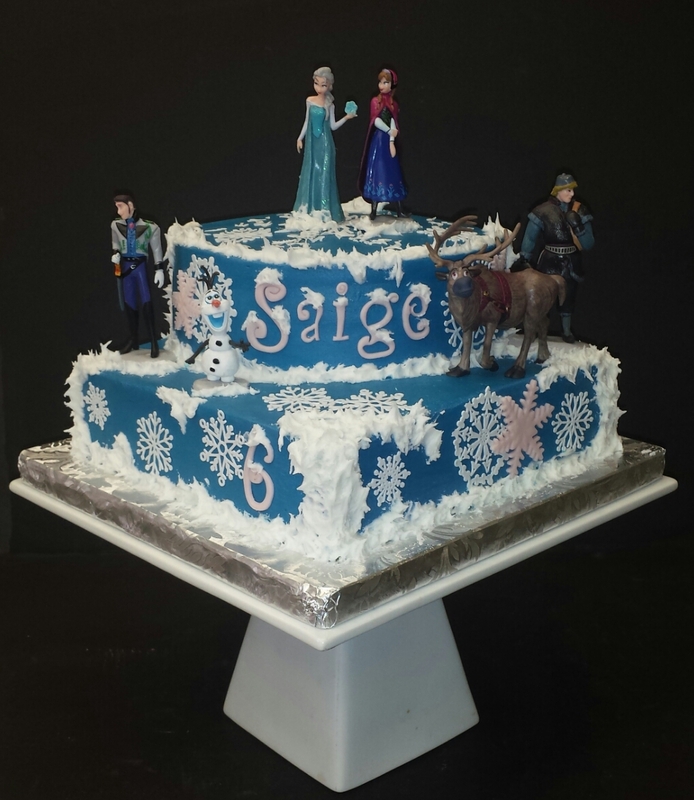 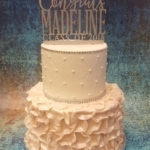 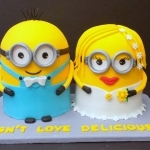 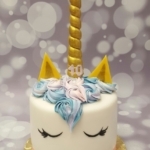 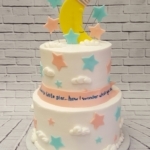 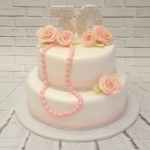 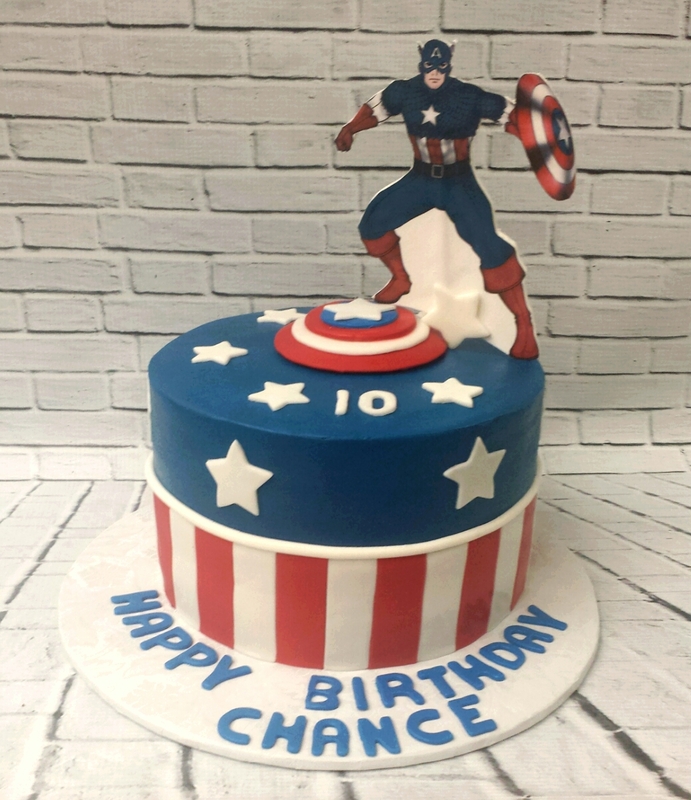 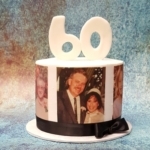 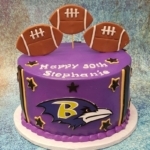 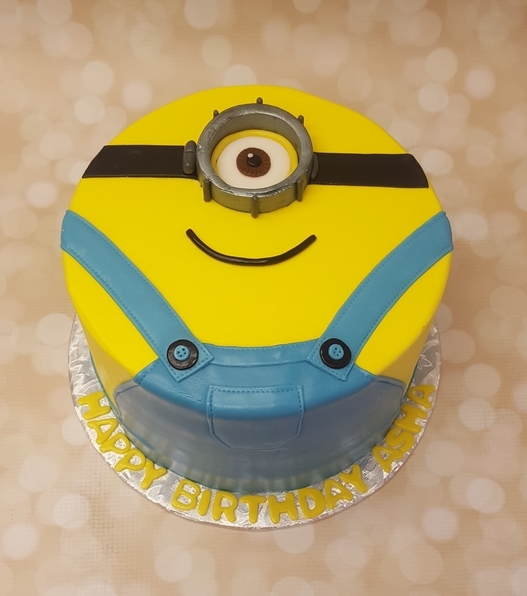 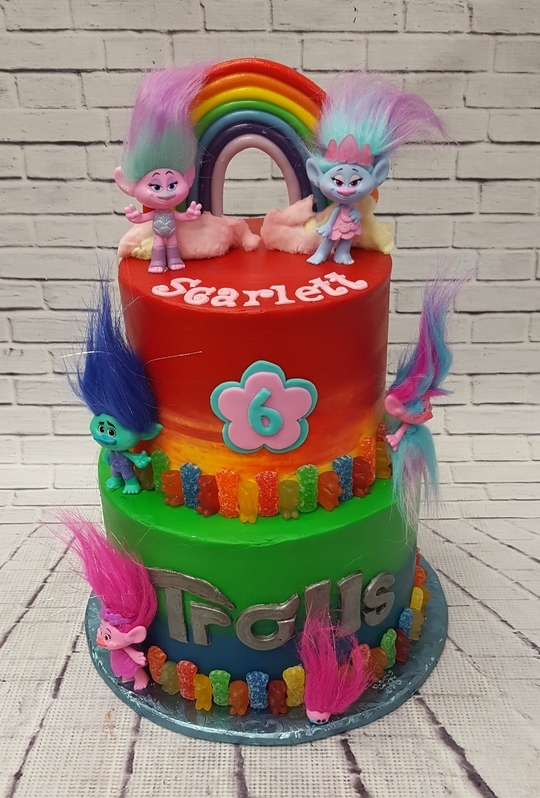 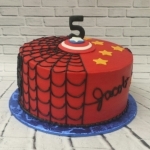 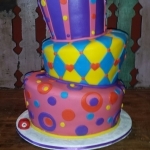 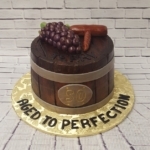 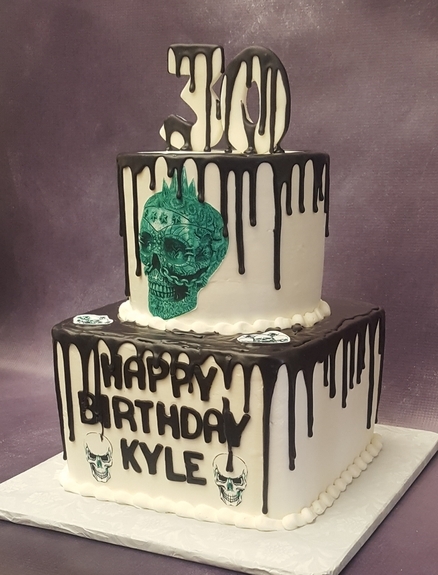 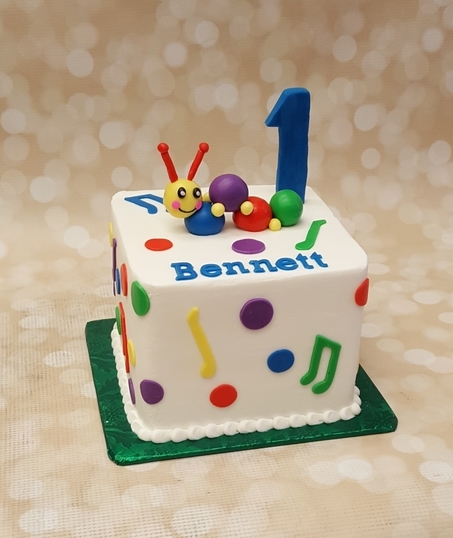 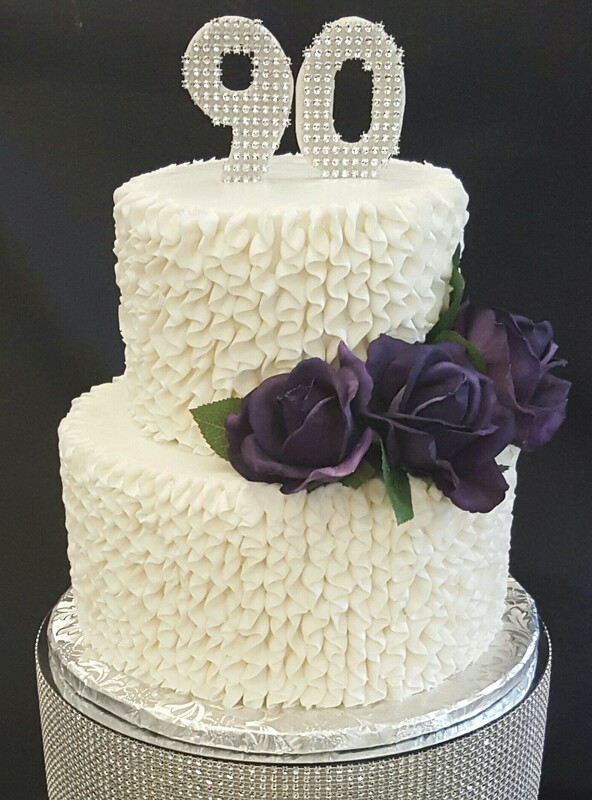 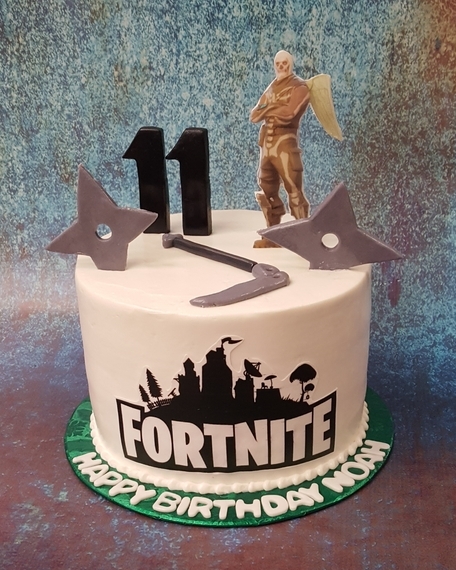 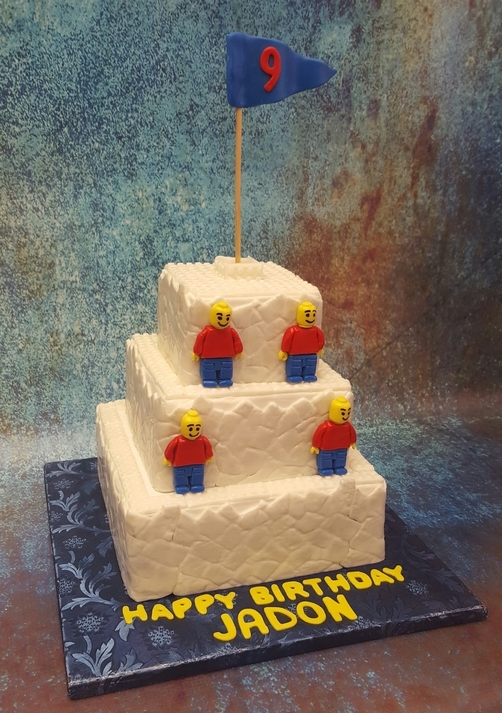 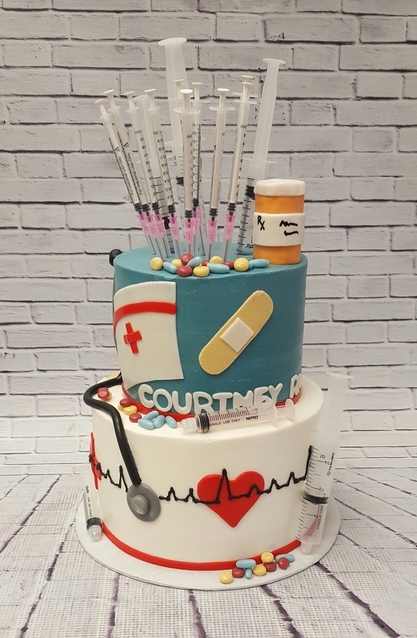 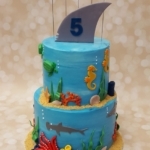 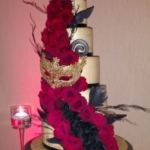 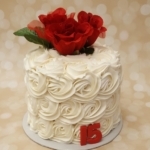 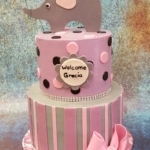 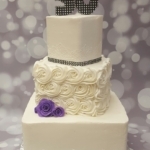 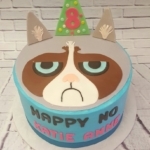 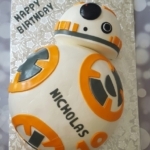 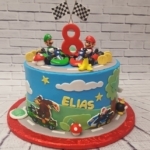 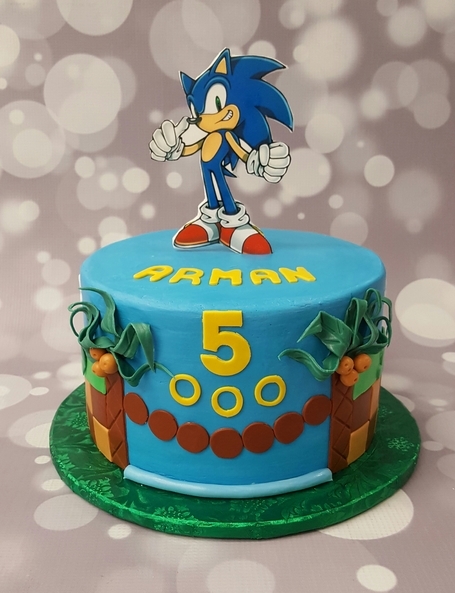 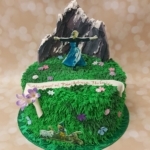 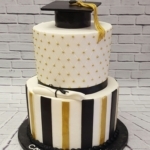 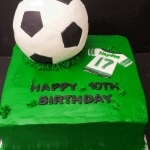 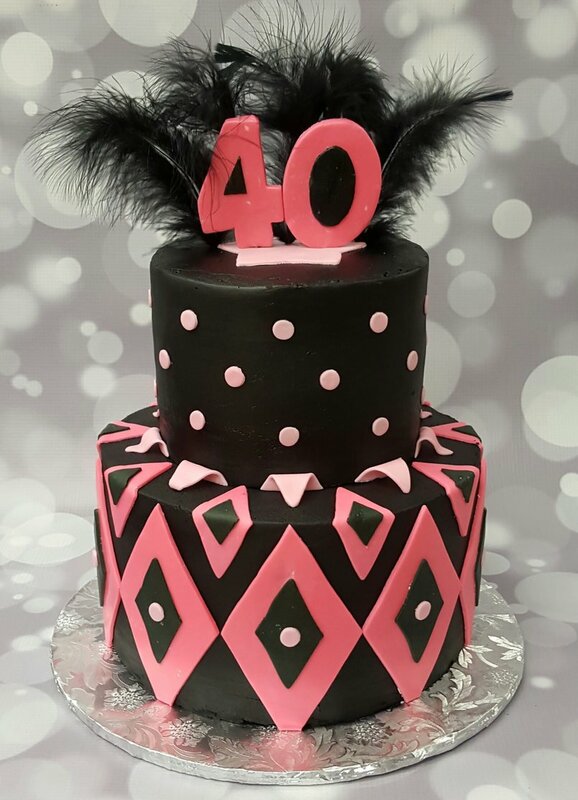 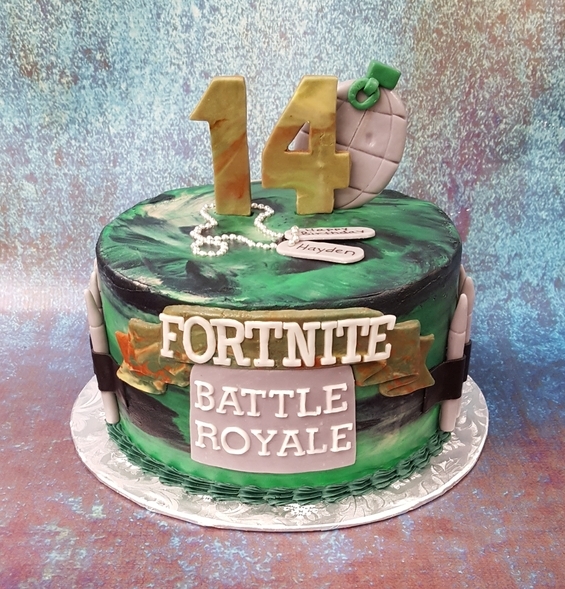 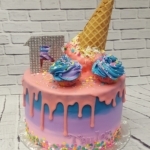 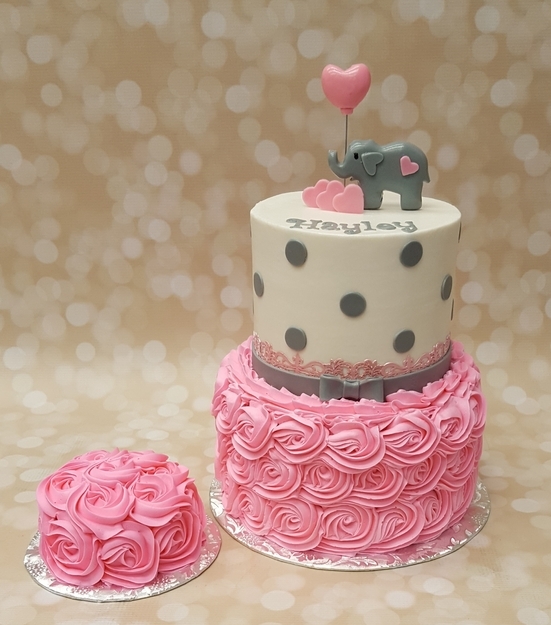 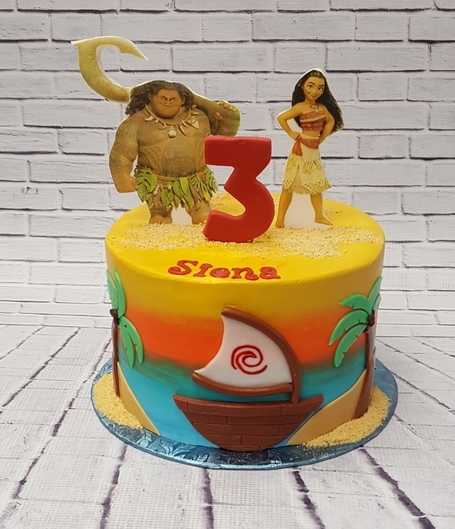 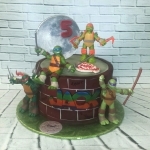 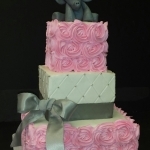 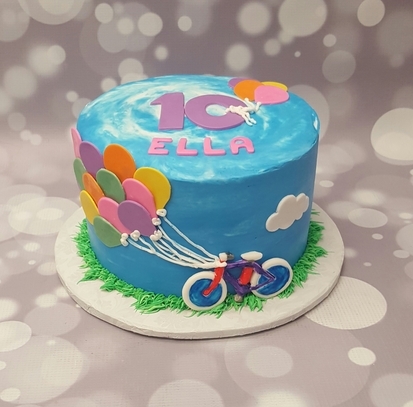 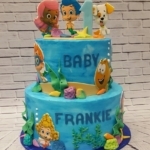 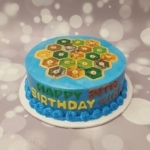 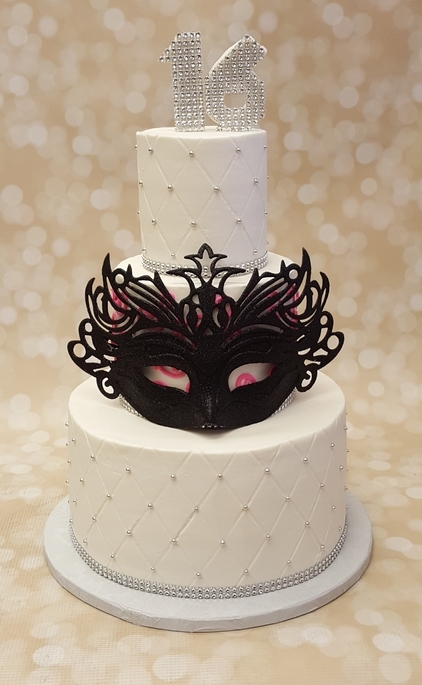 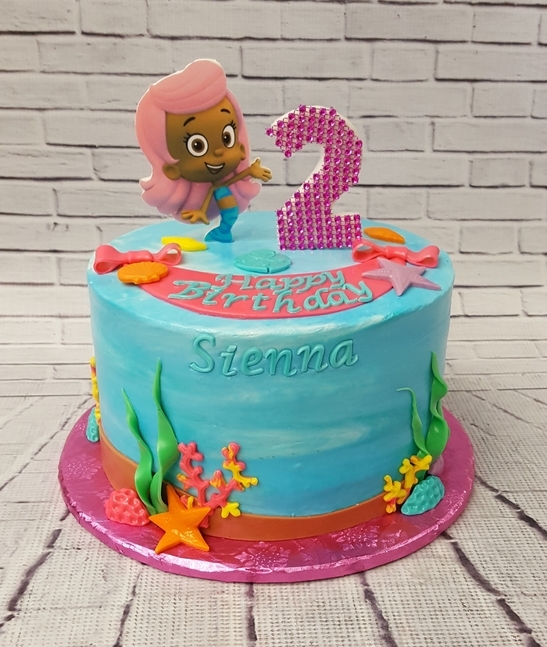 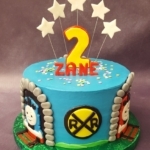 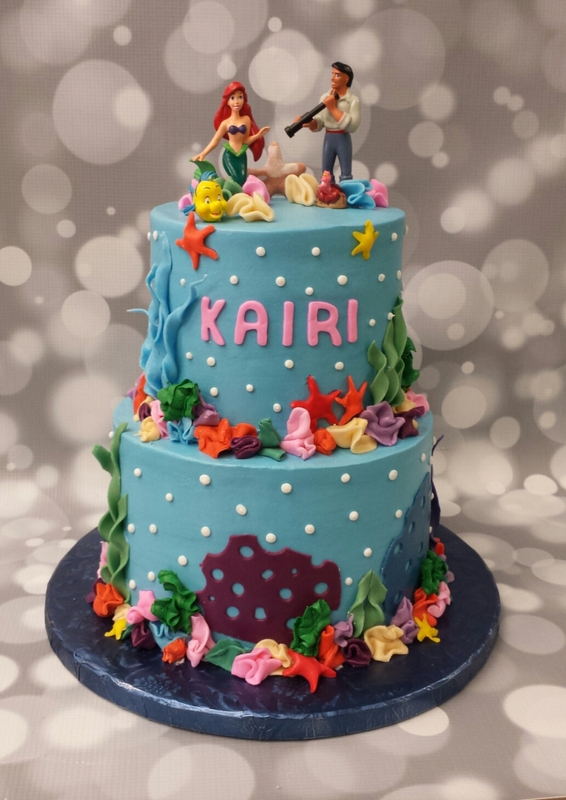 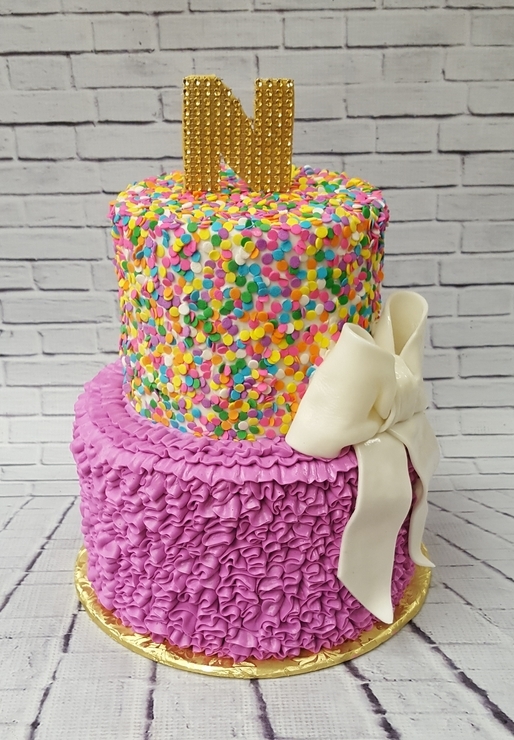 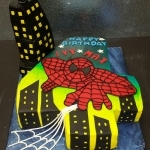 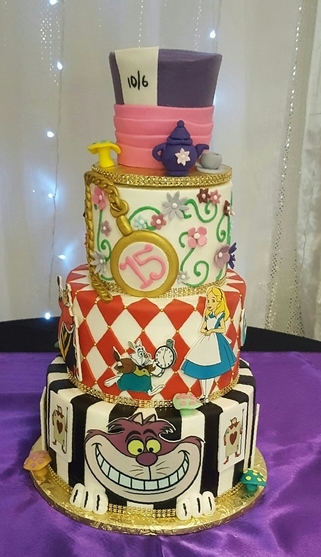 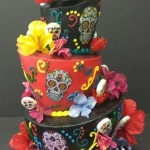 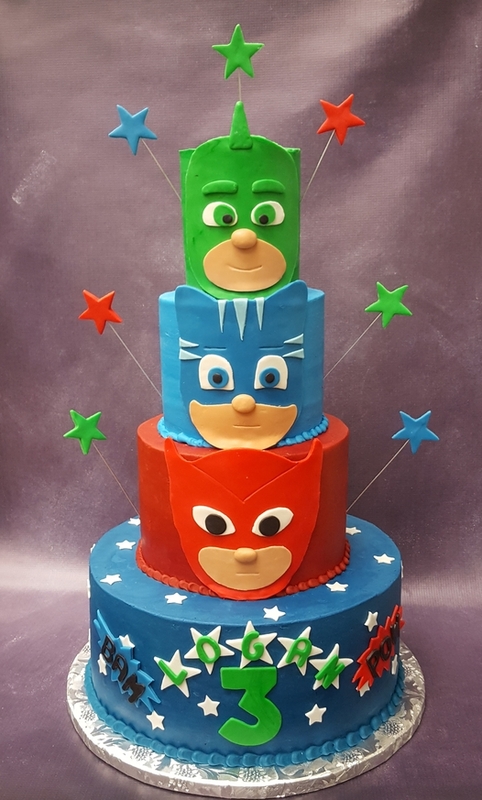 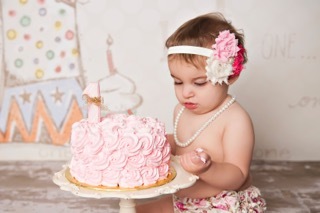 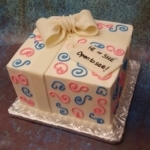 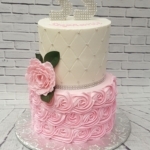 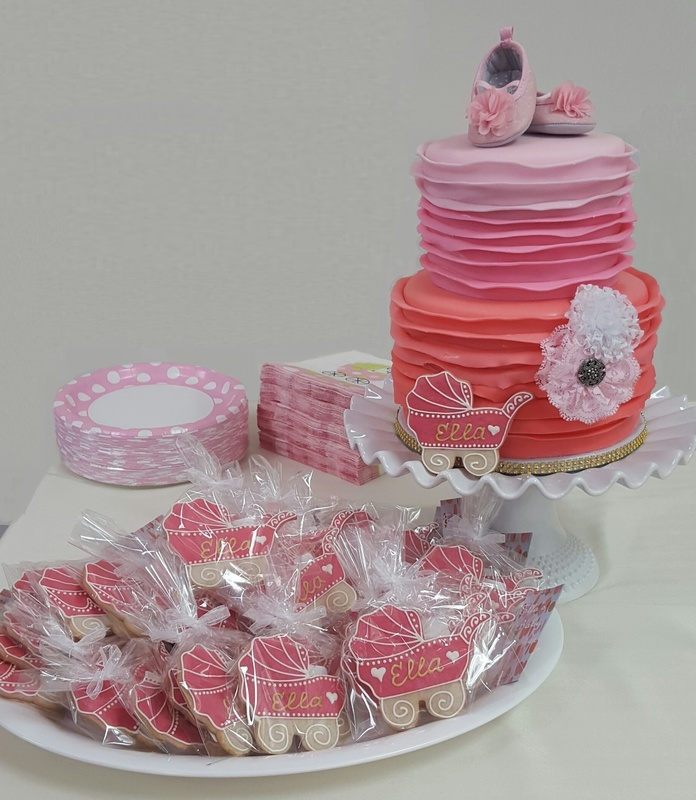 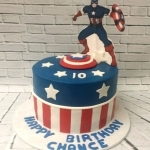 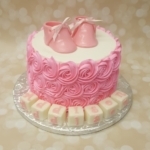 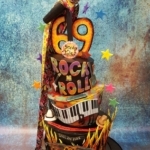 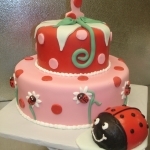 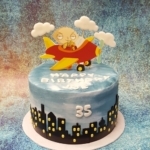 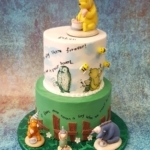 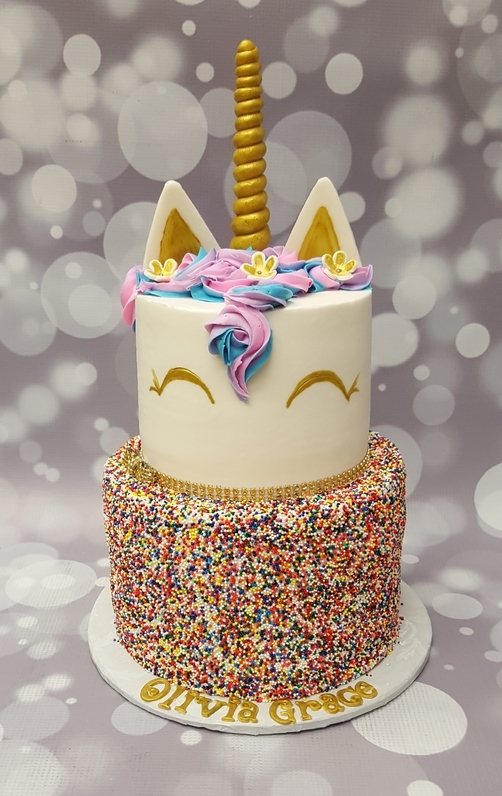 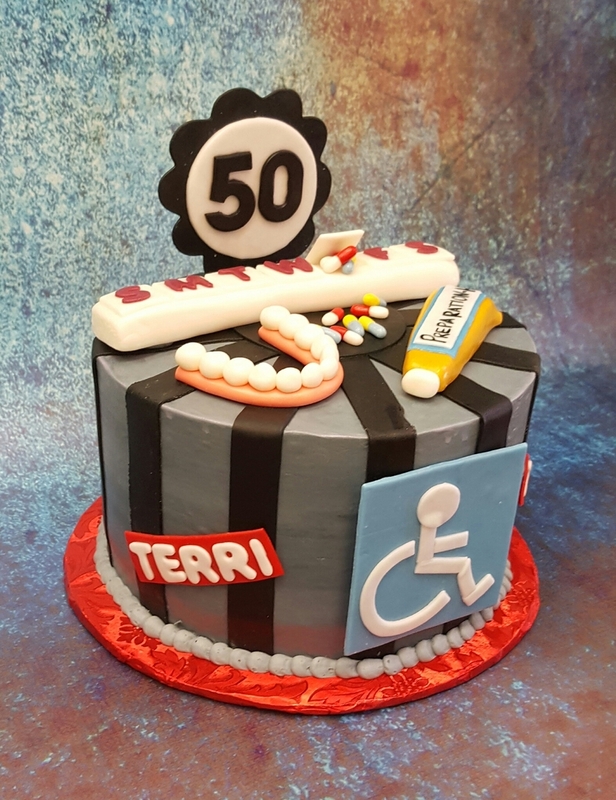 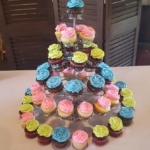 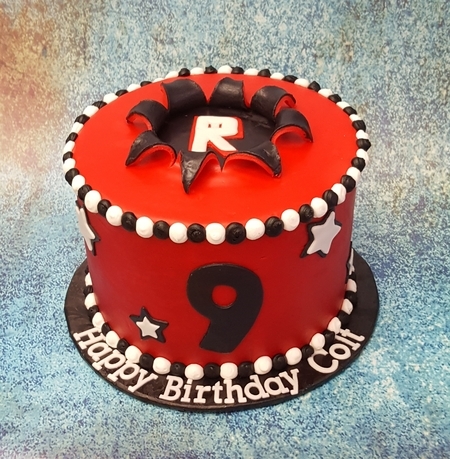 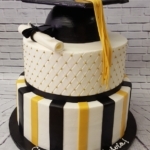 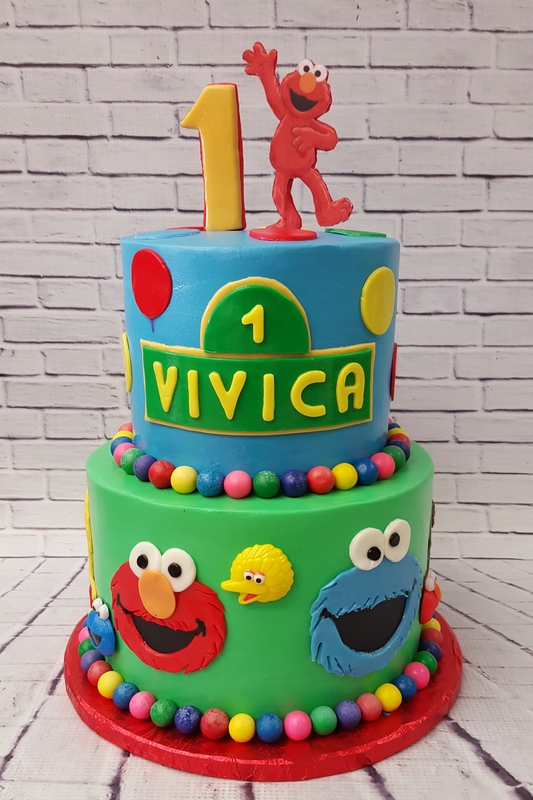 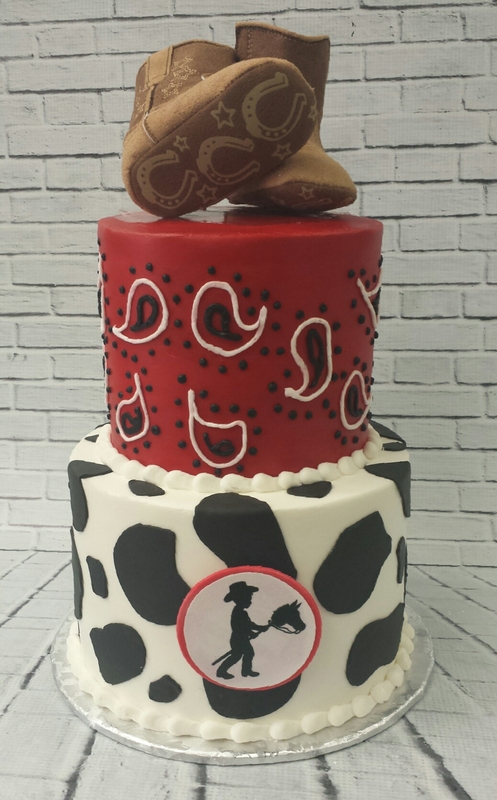 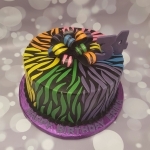 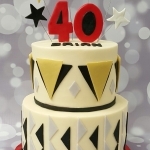 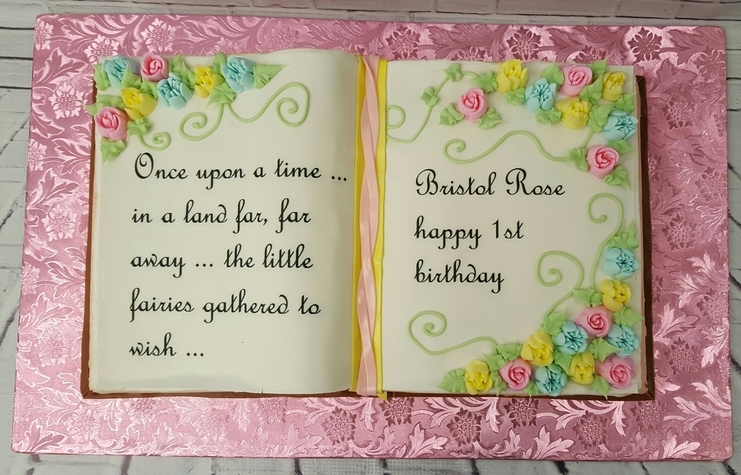 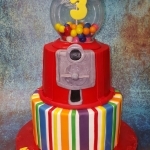 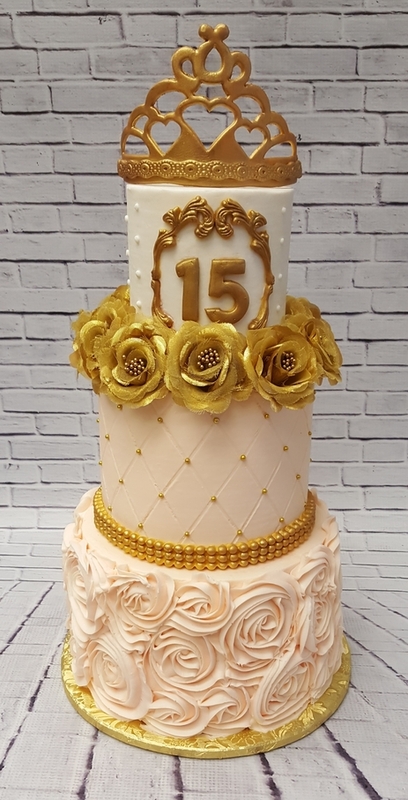 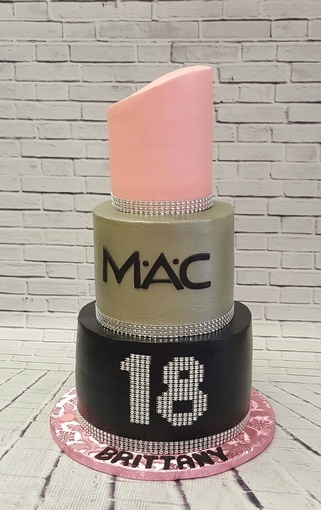 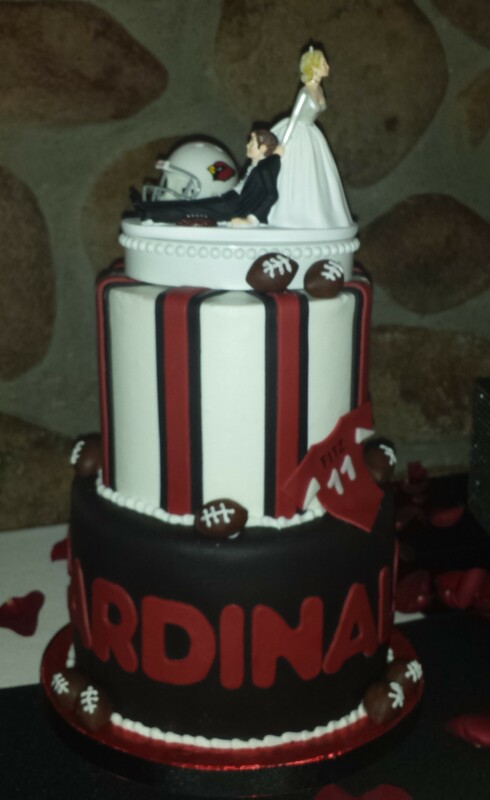 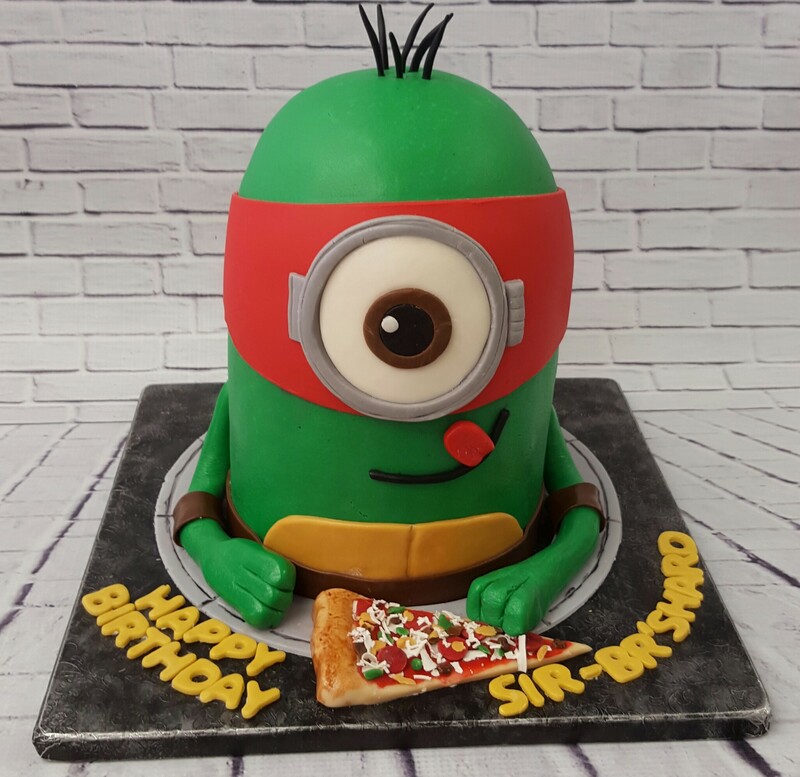 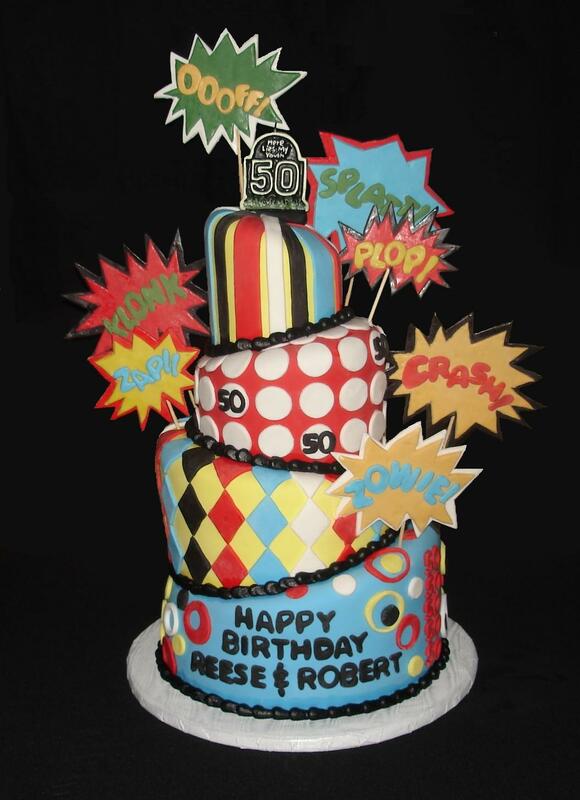 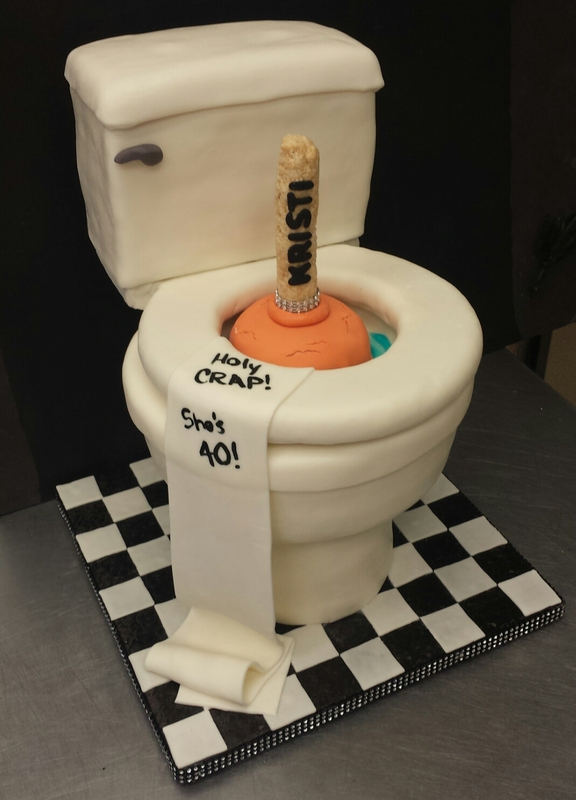 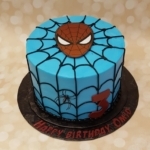 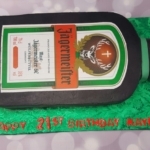 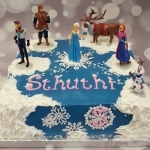 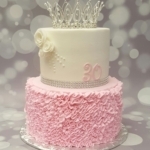 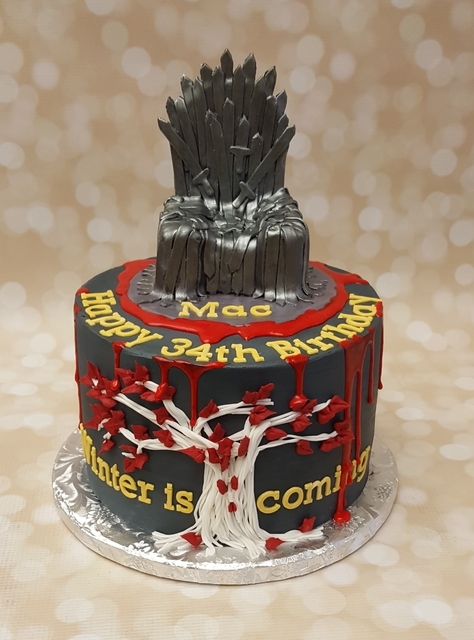 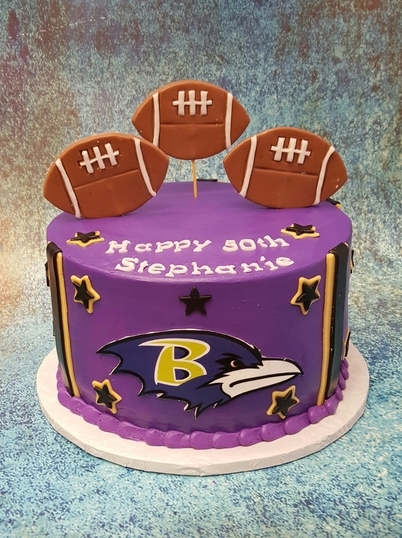 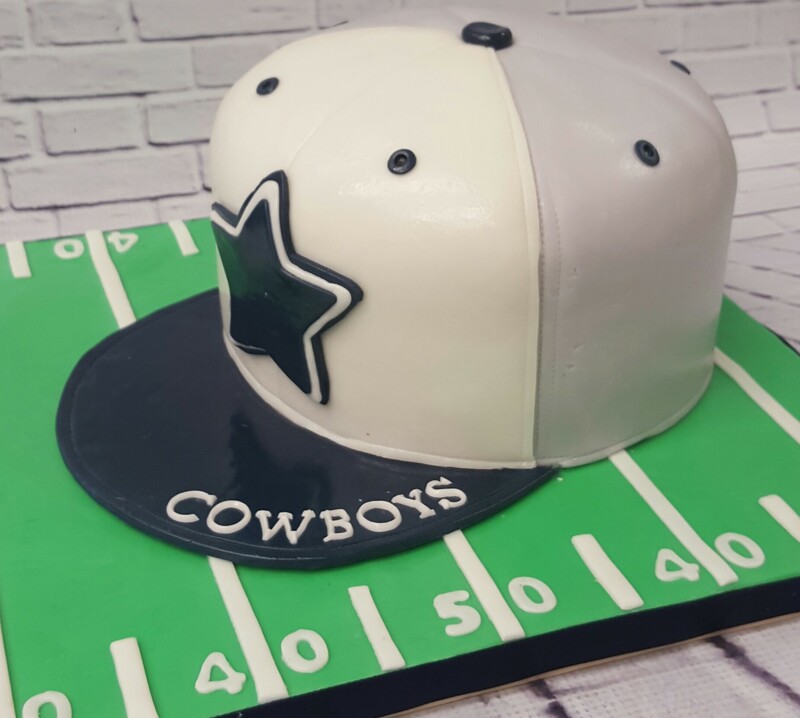 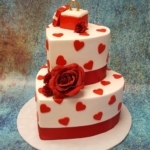 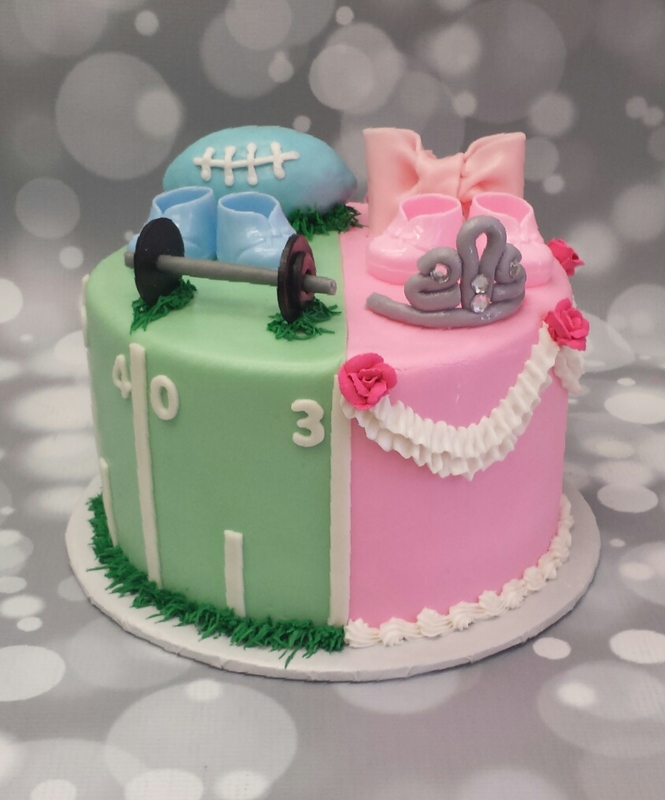 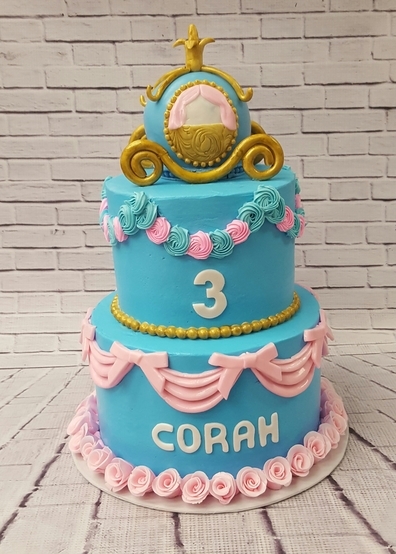 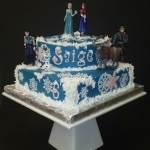 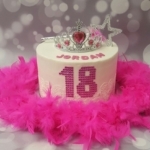 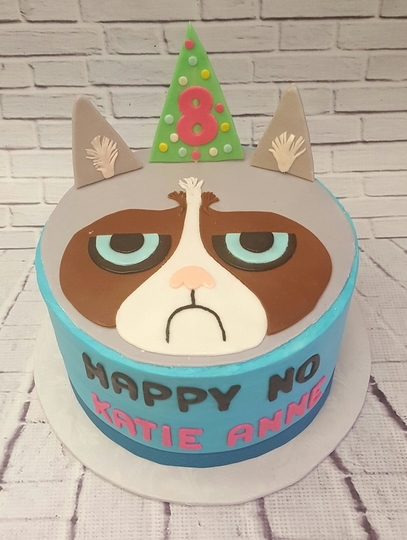 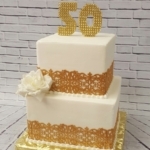 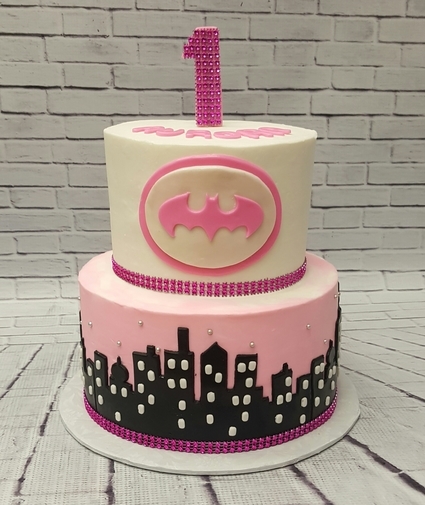 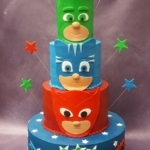 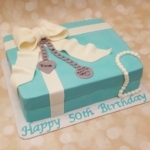 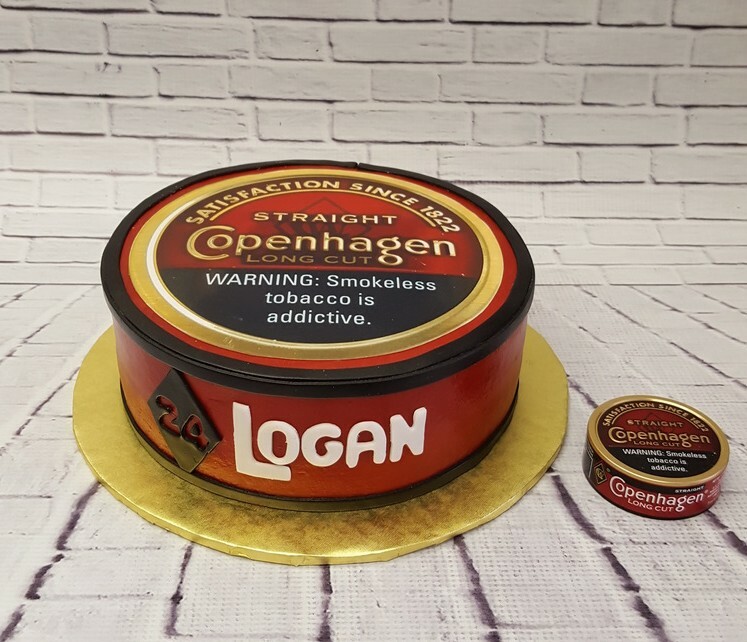 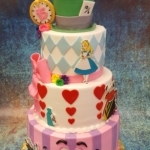 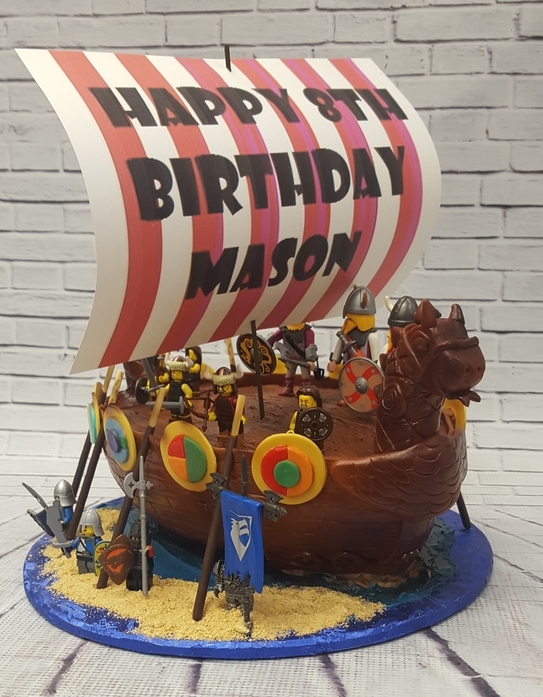 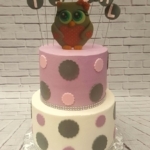 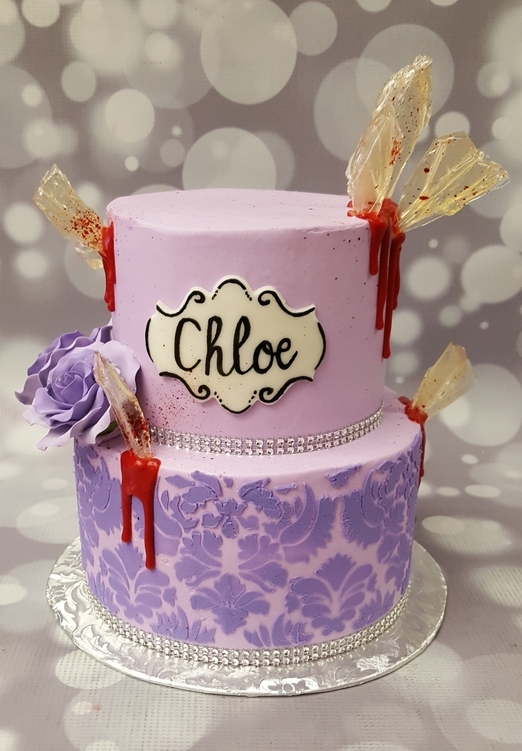 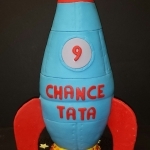 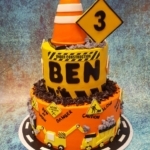 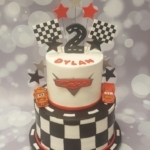 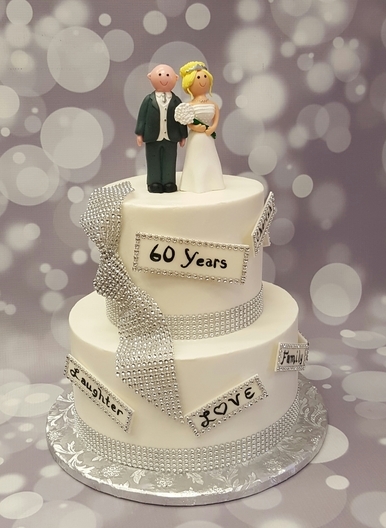 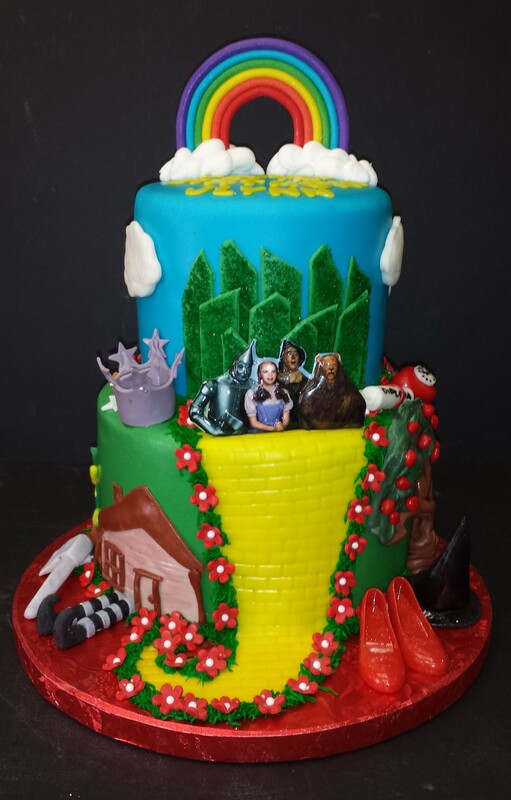 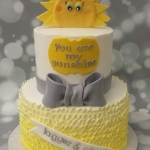 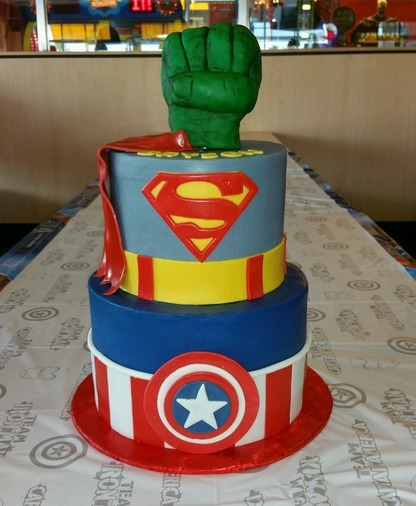 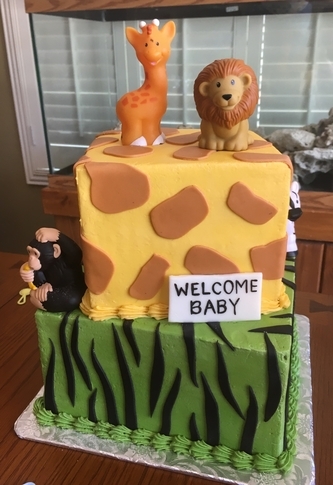 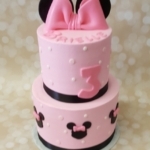 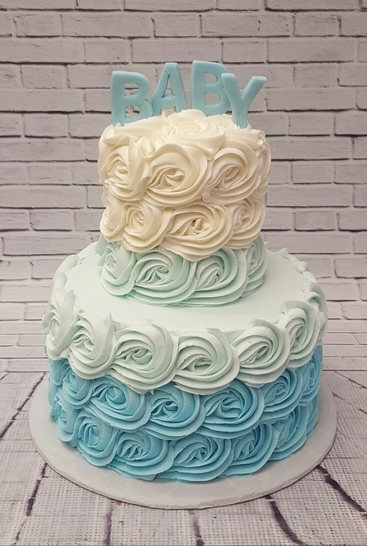 CC’s Sweet Sensations is creating beautiful and unique celebration cakes for all occasions. 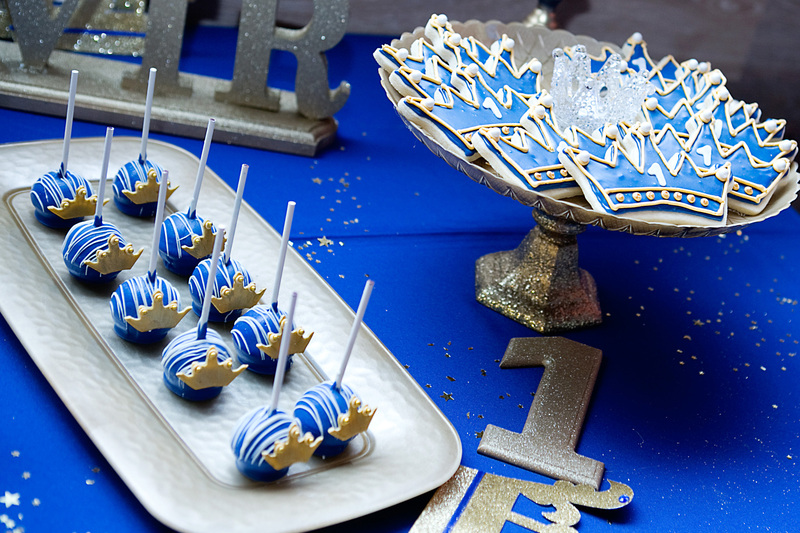 When the event is worth celebrating, that’s where we come in. 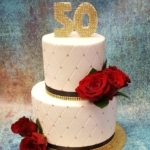 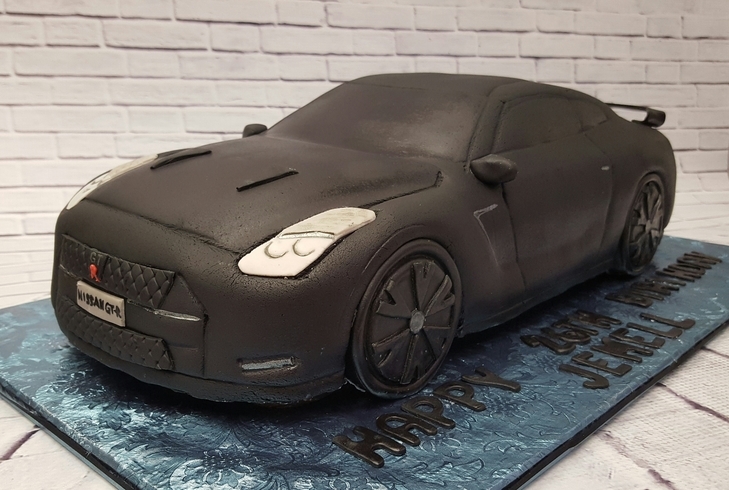 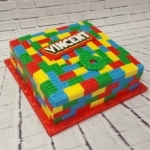 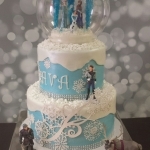 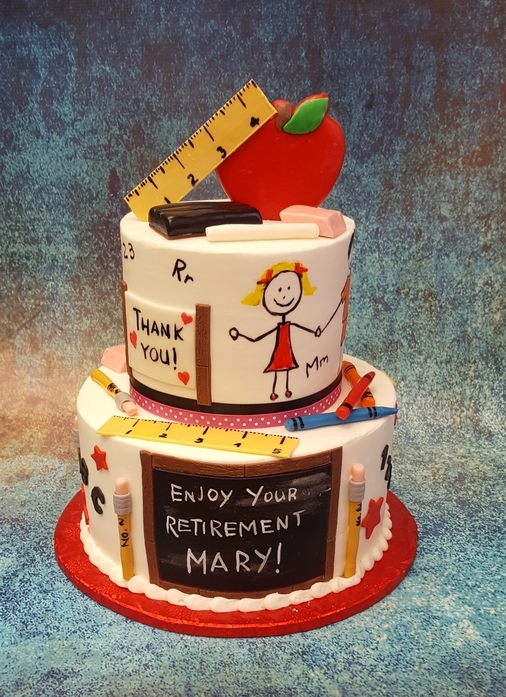 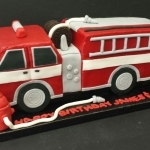 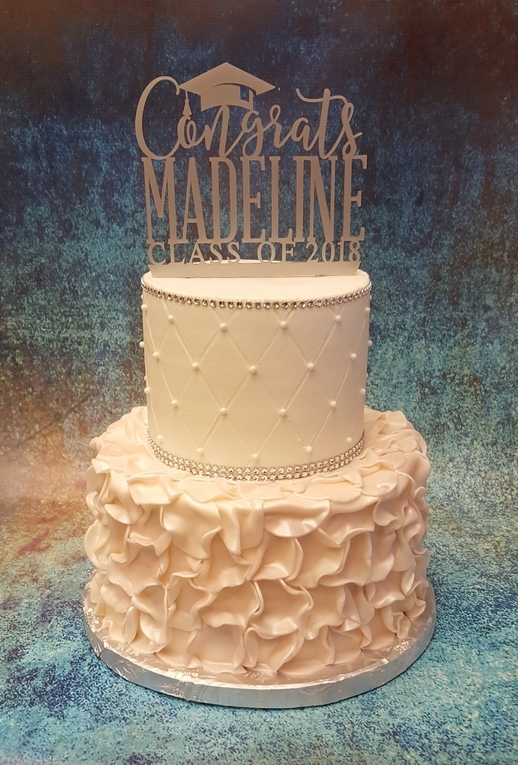 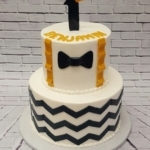 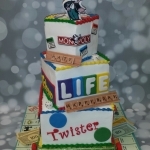 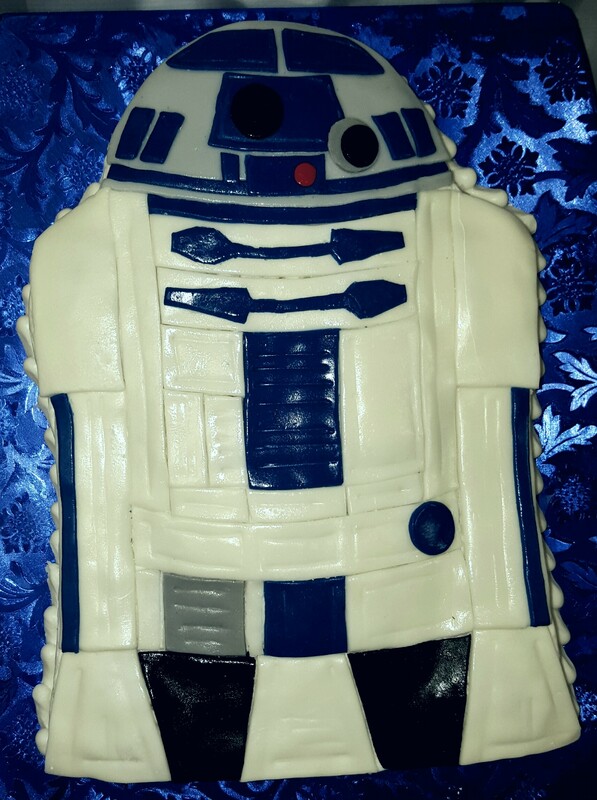 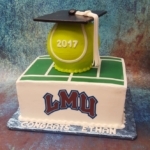 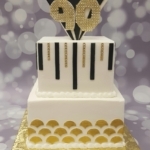 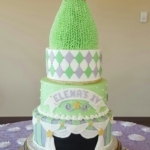 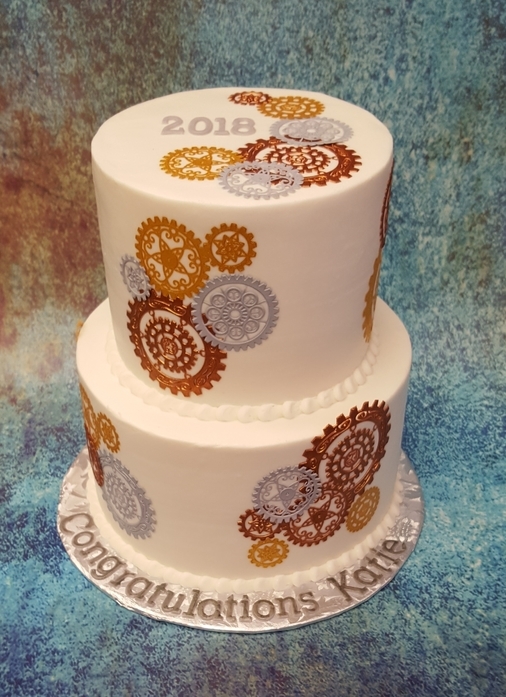 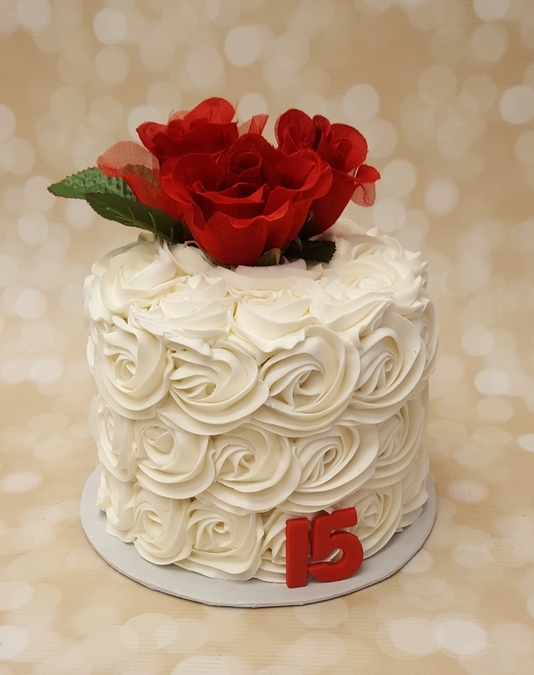 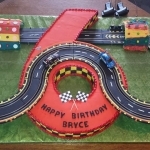 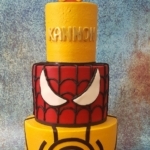 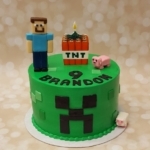 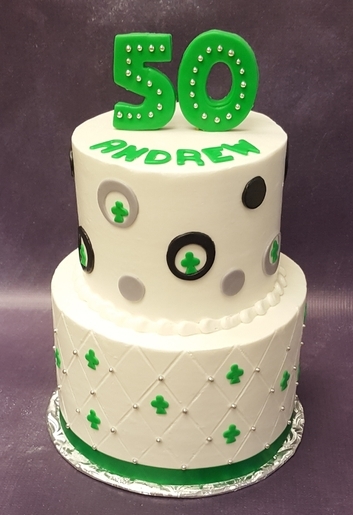 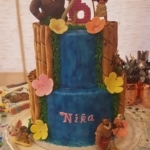 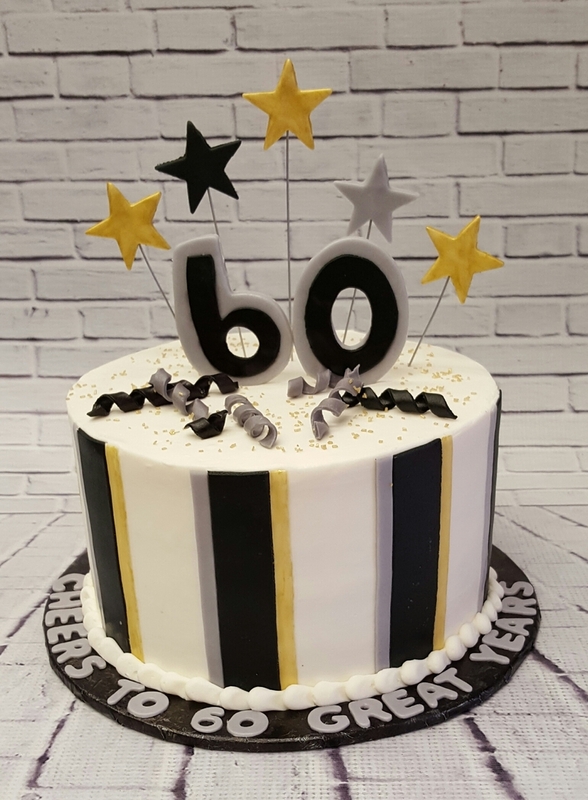 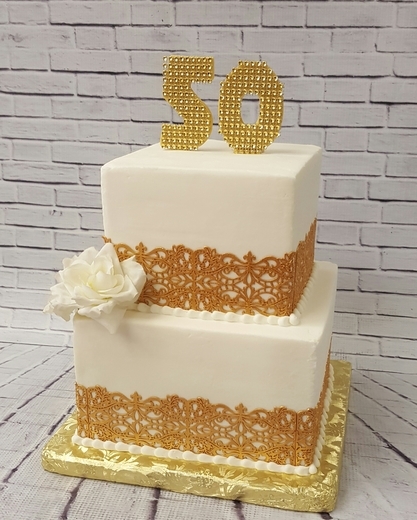 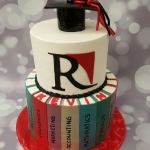 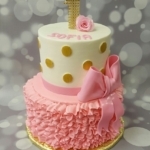 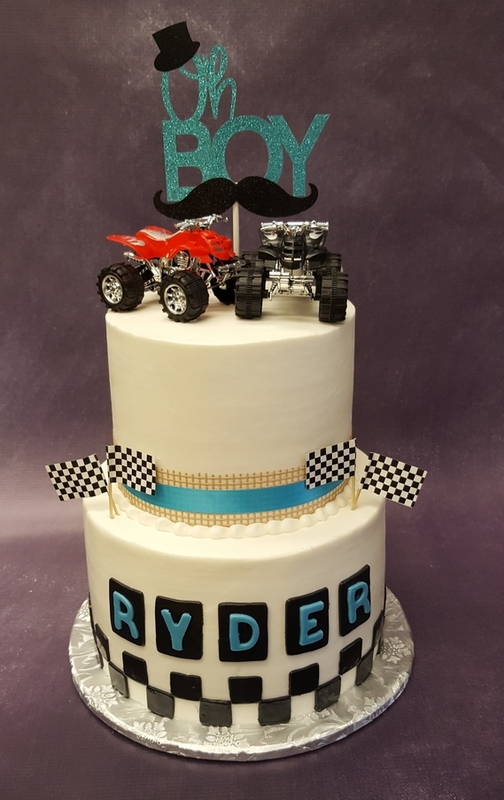 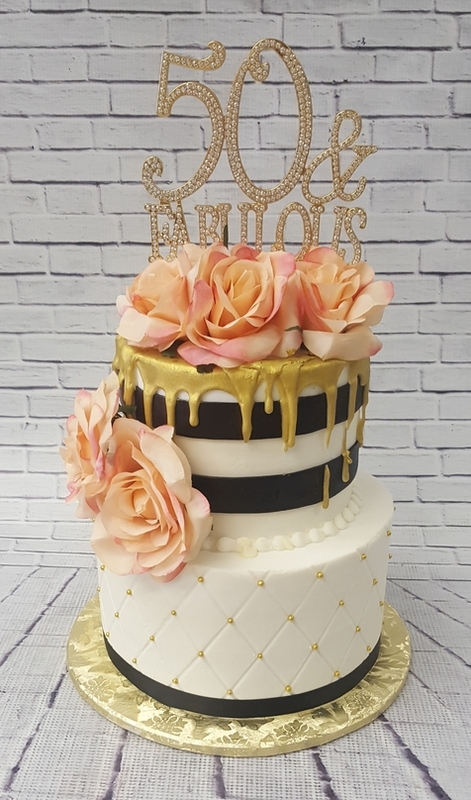 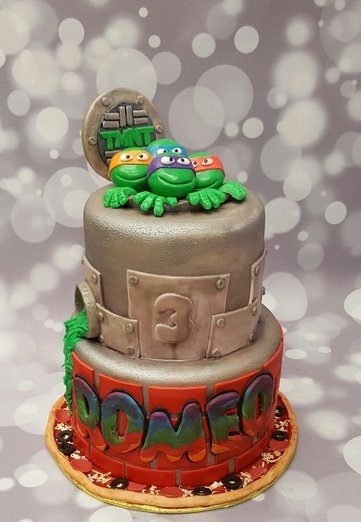 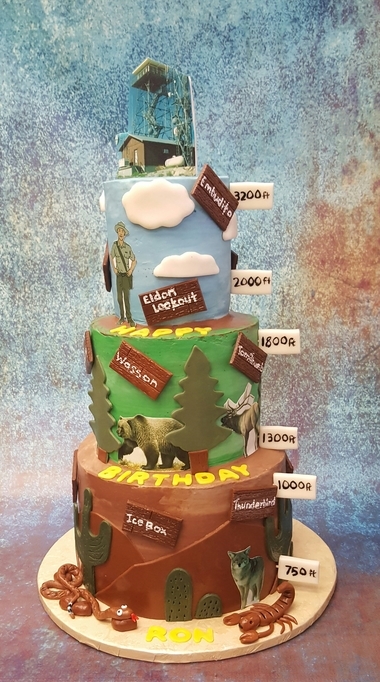 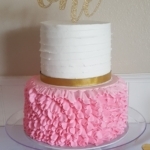 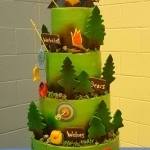 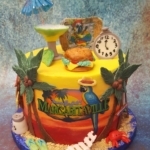 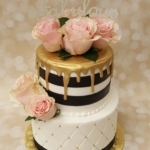 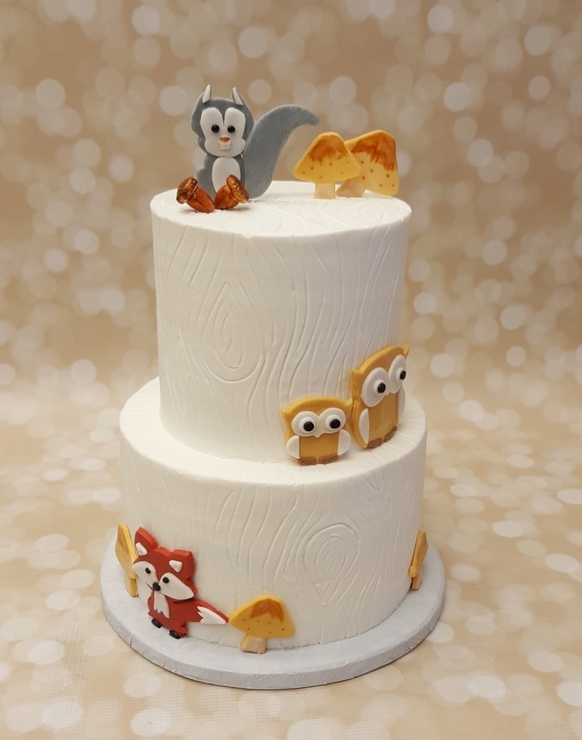 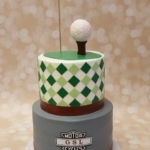 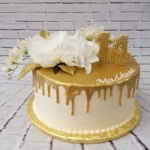 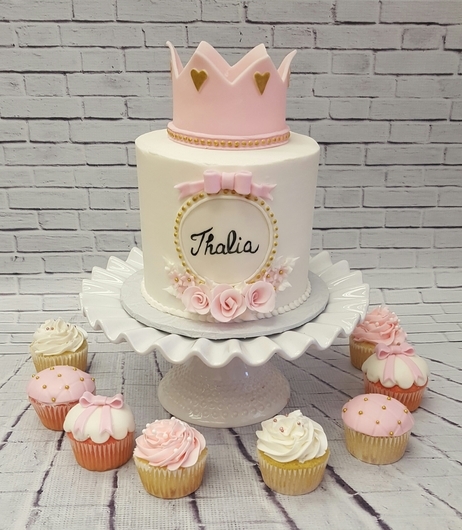 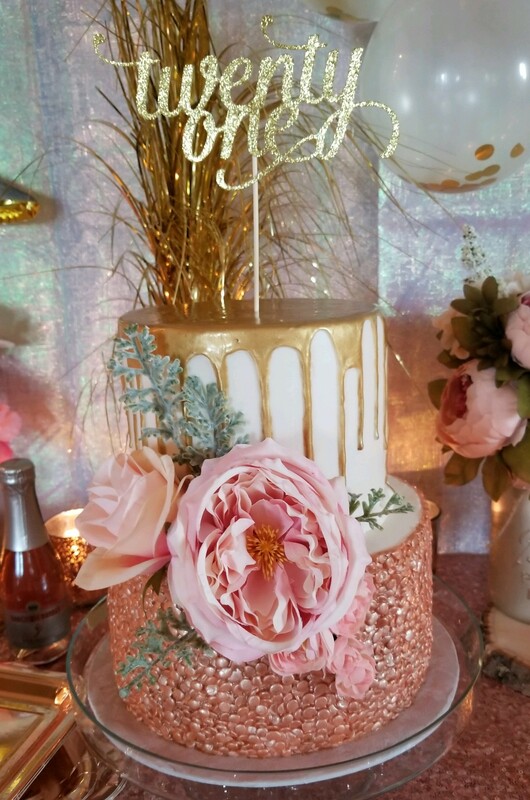 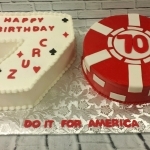 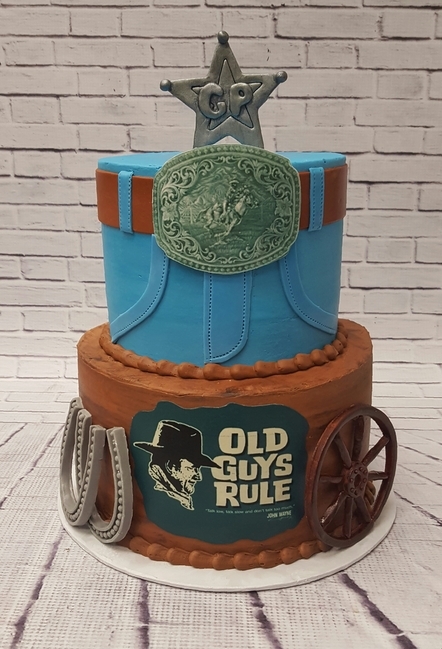 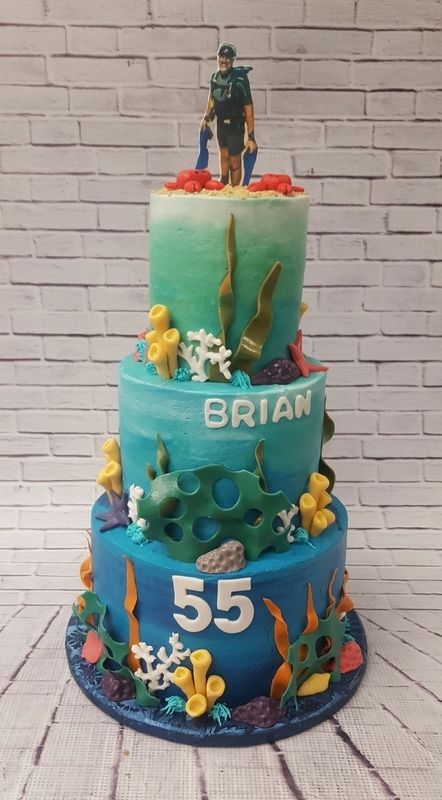 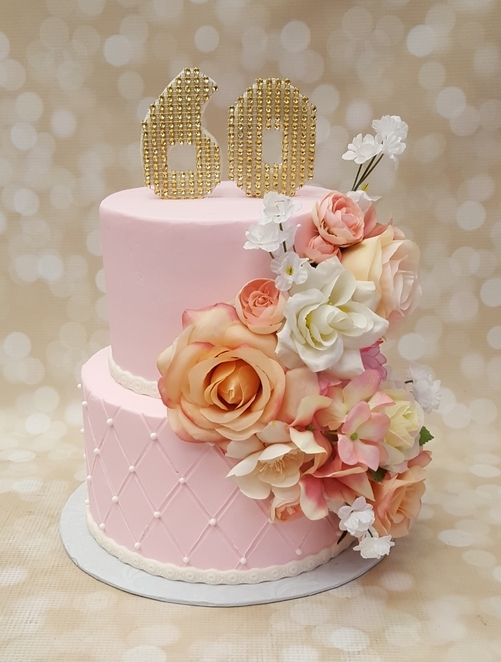 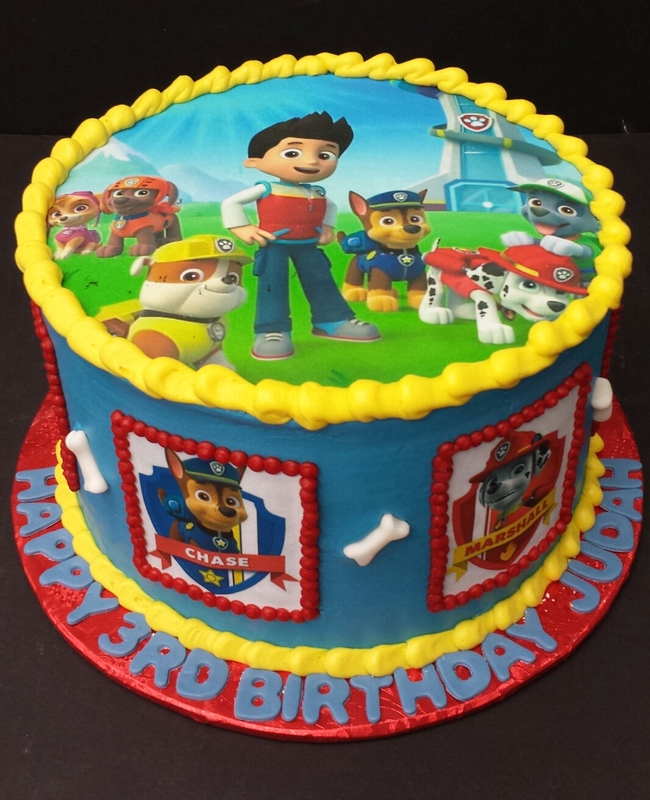 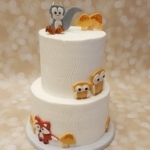 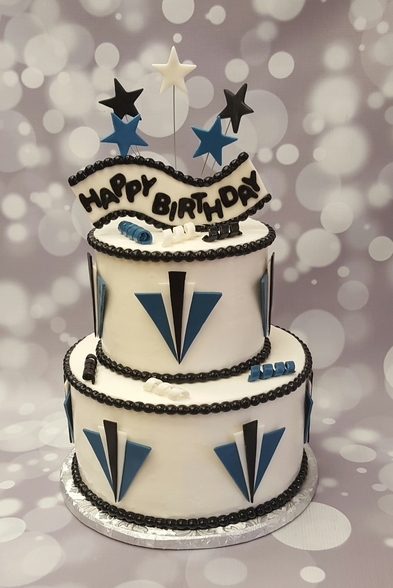 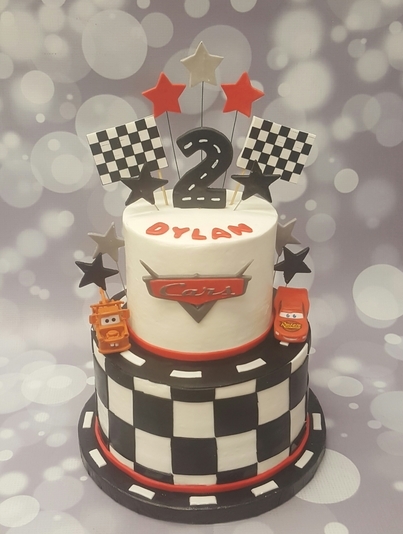 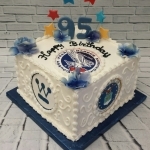 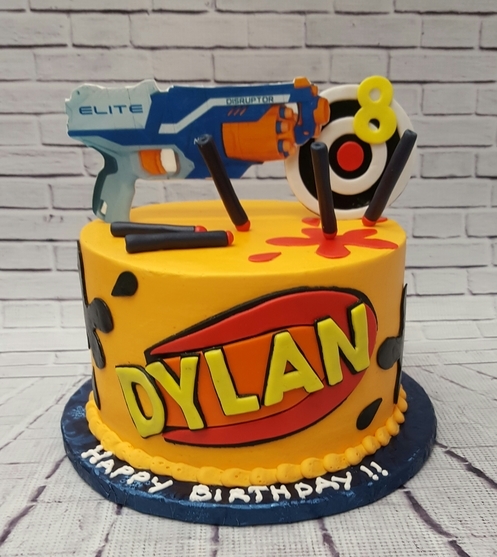 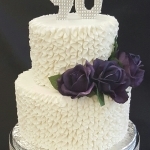 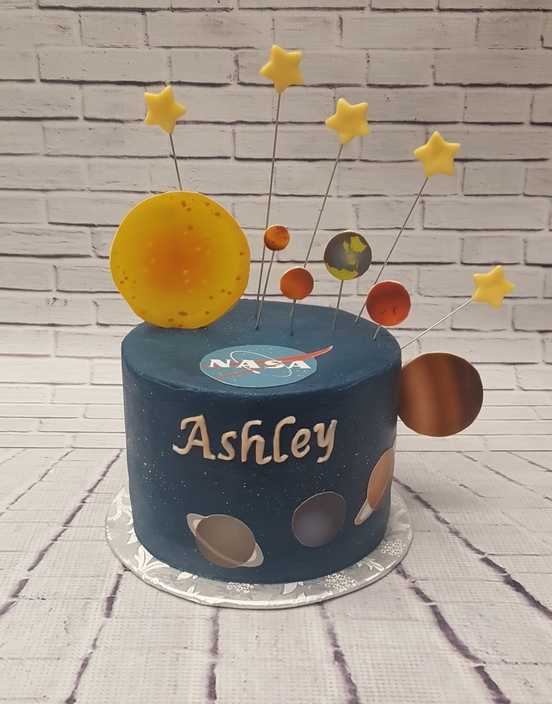 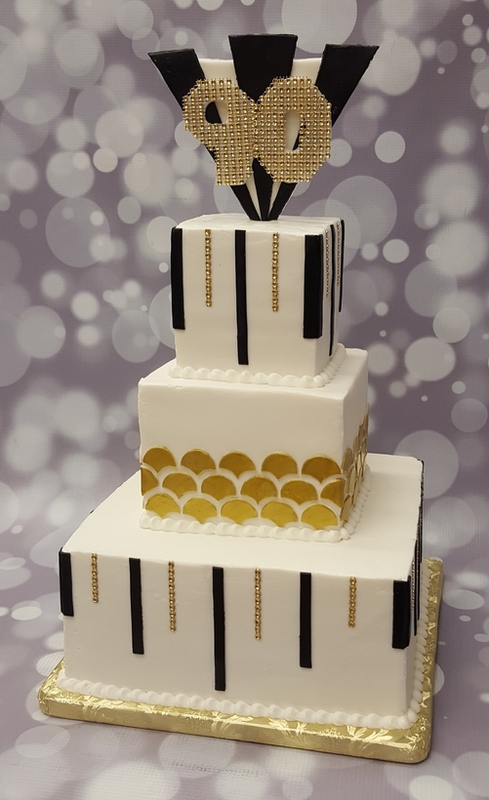 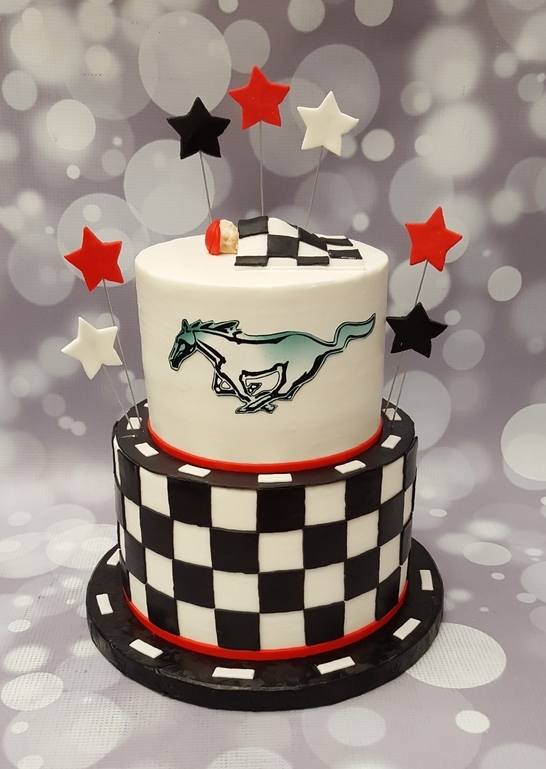 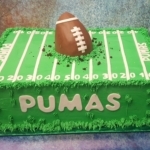 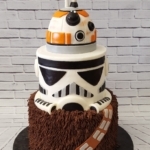 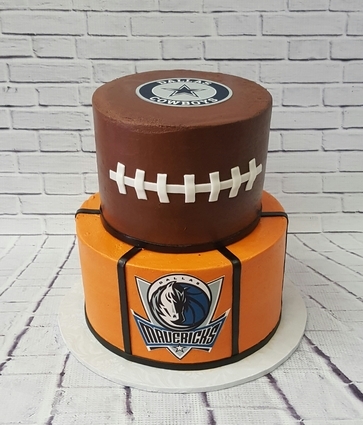 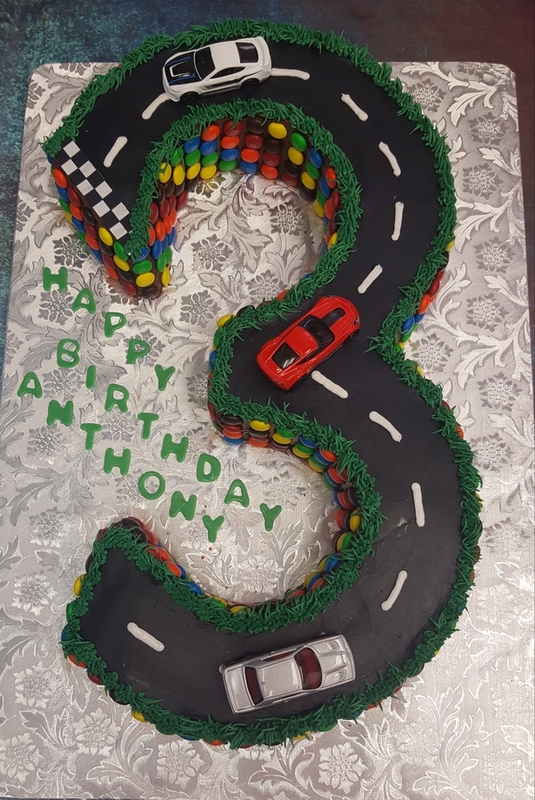 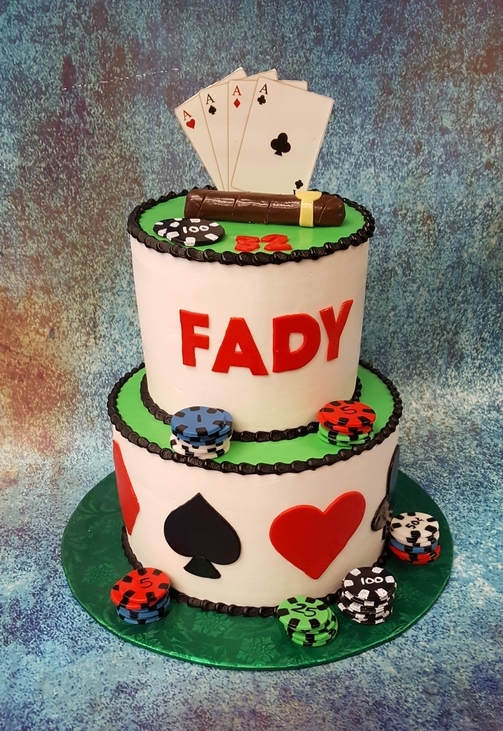 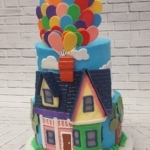 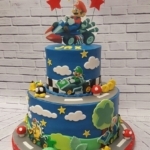 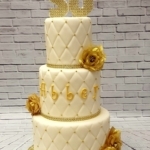 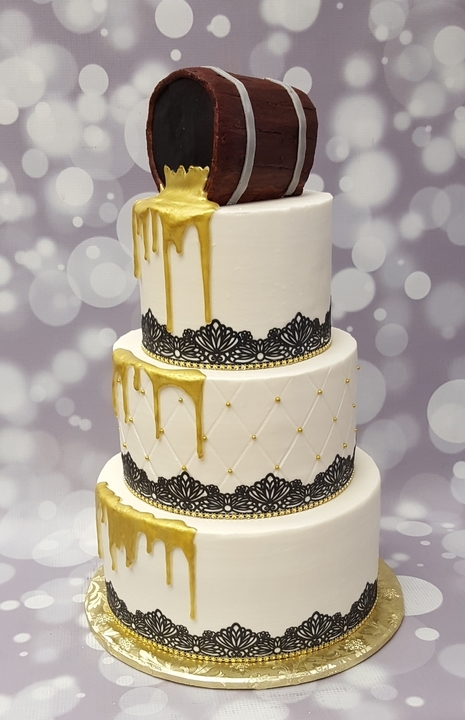 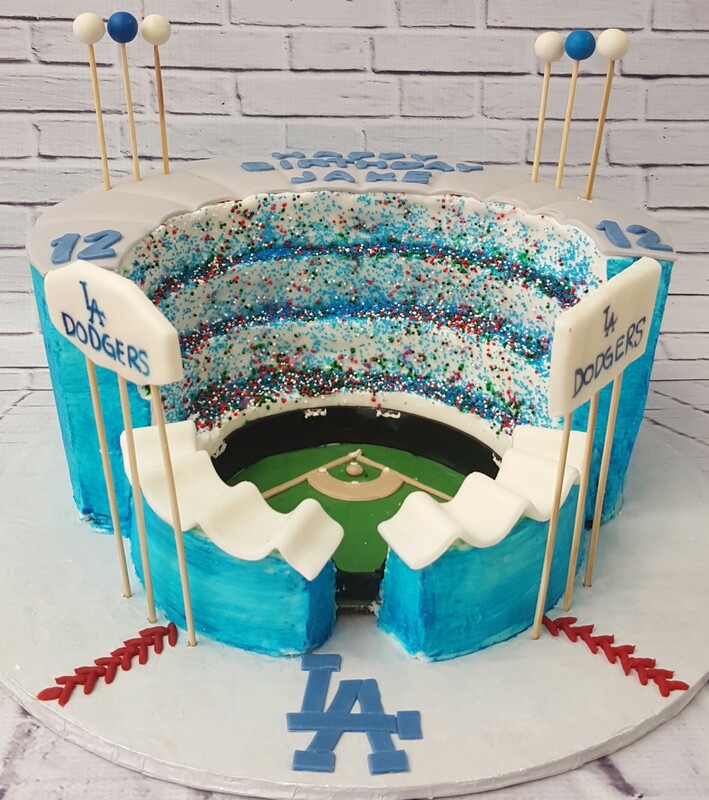 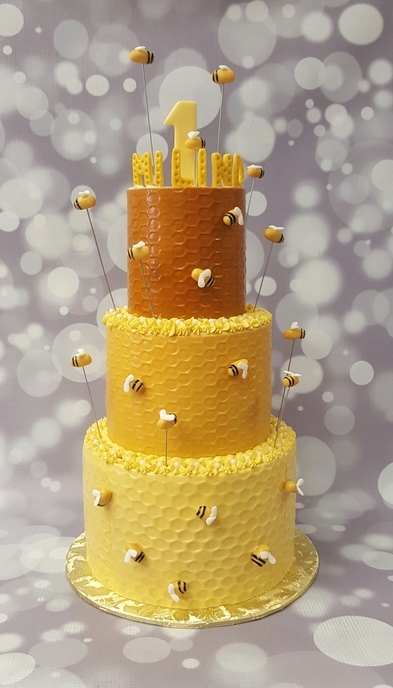 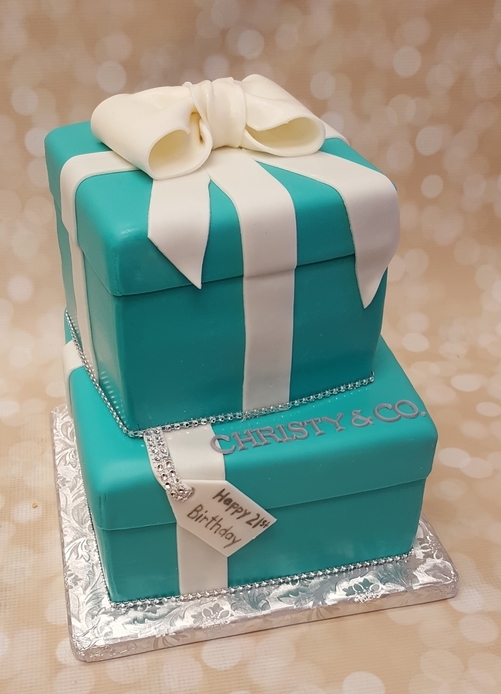 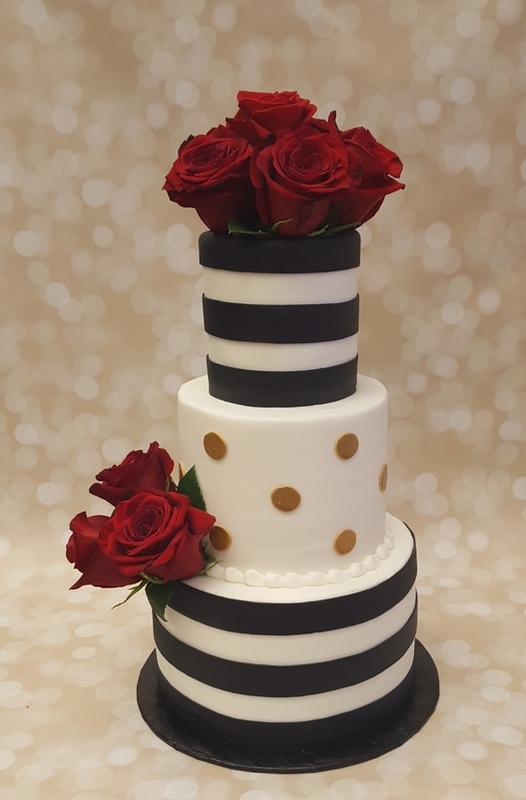 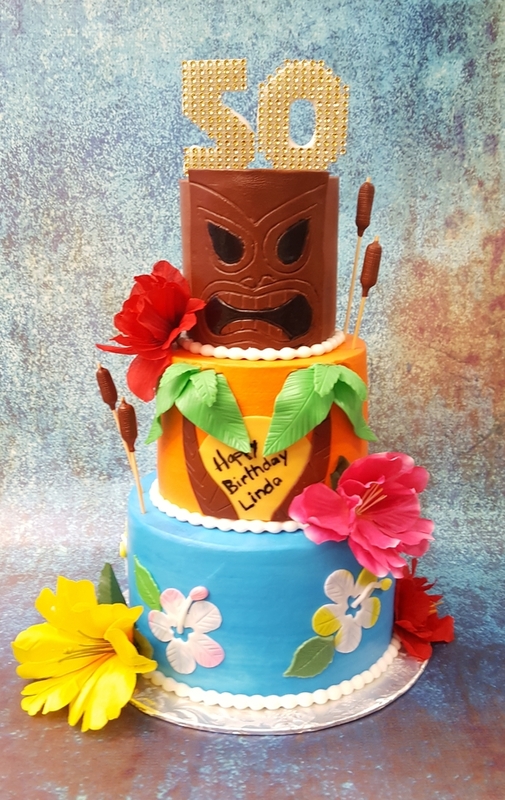 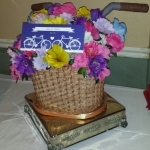 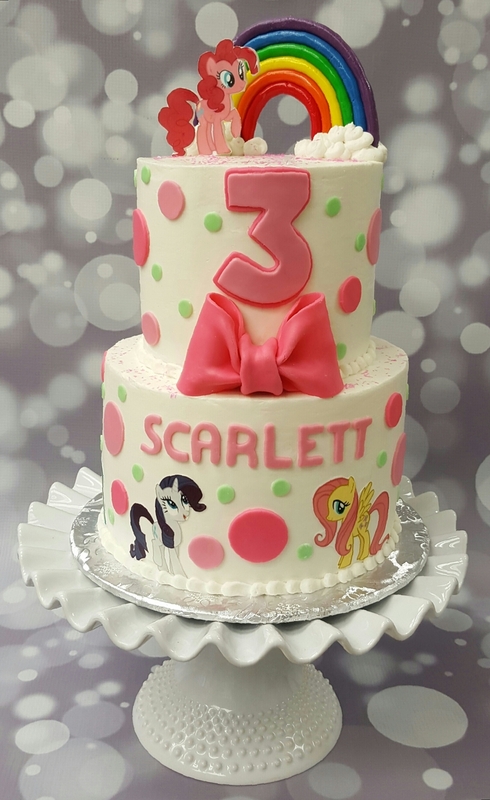 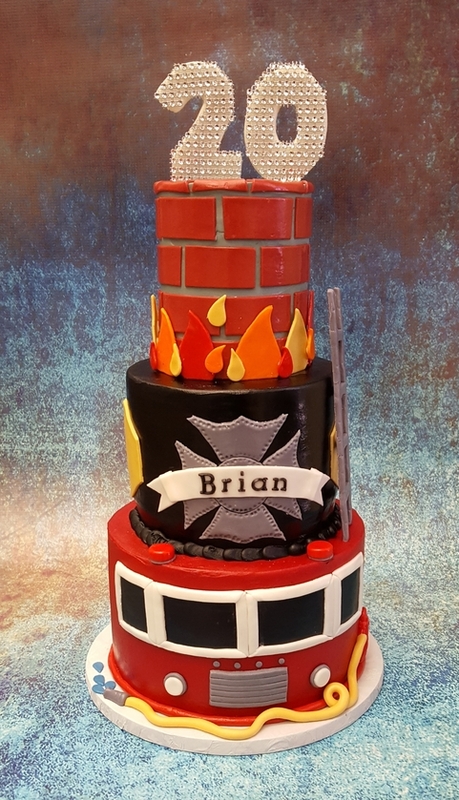 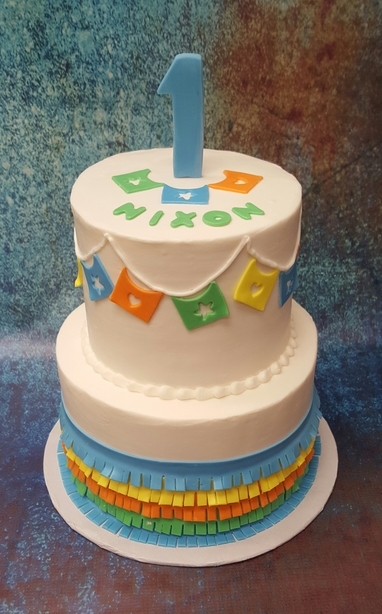 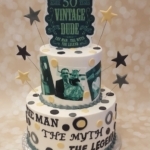 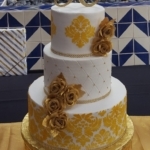 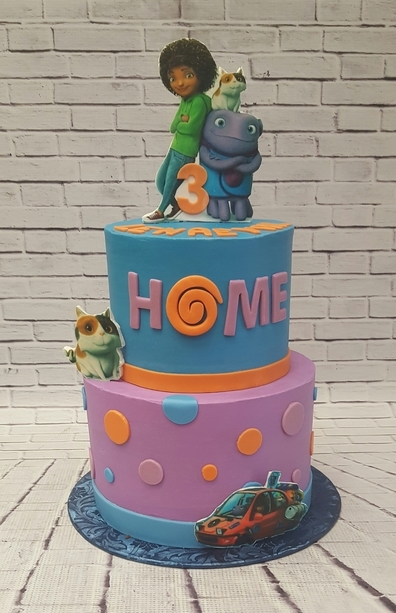 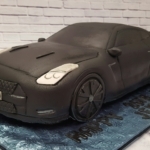 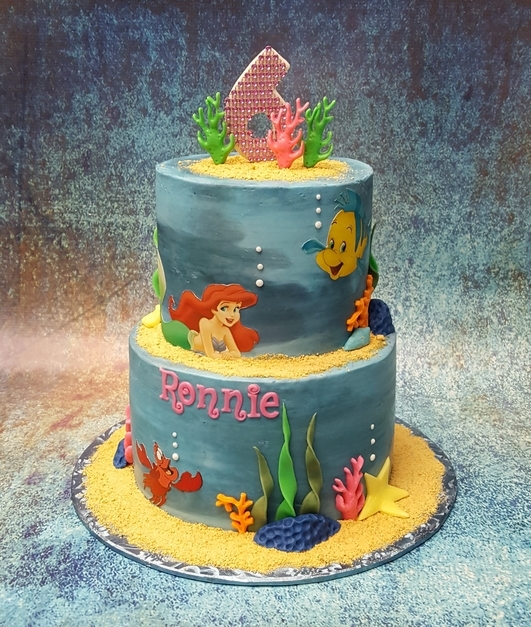 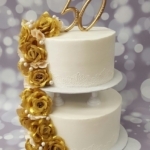 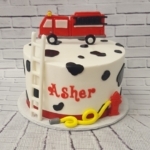 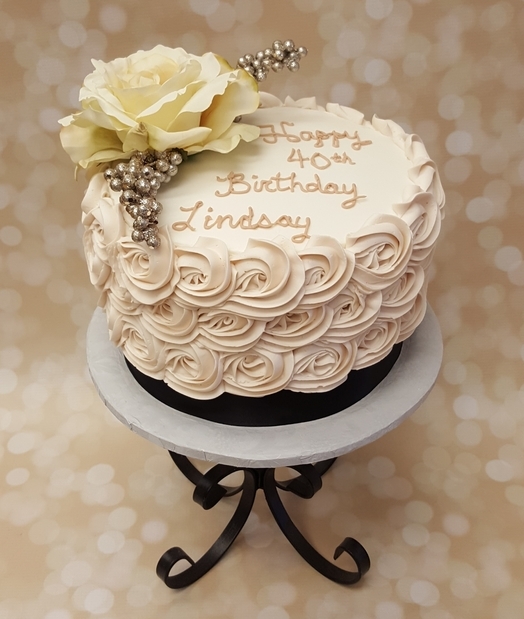 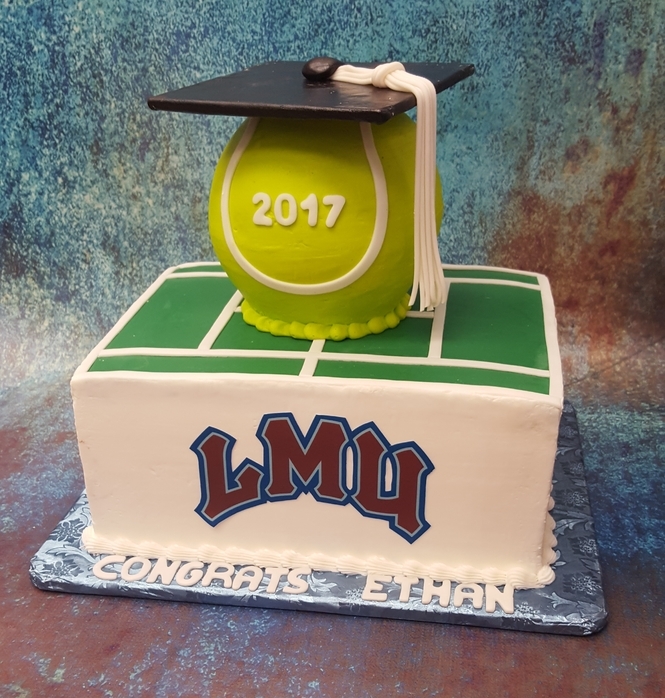 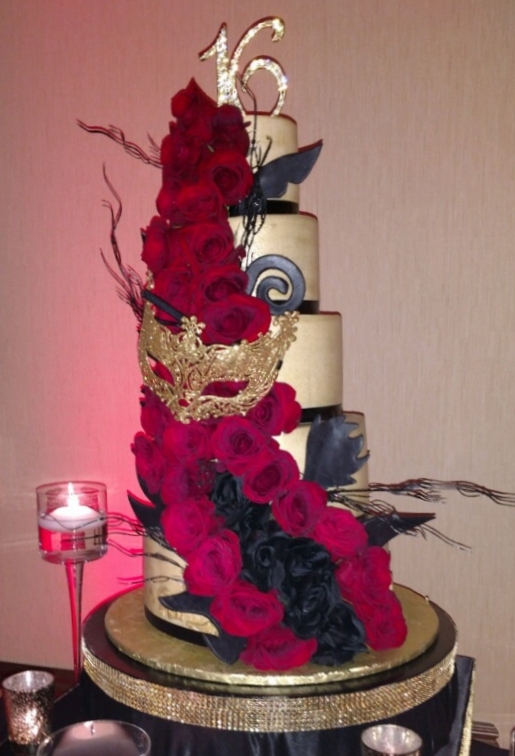 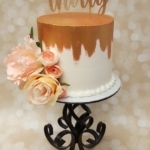 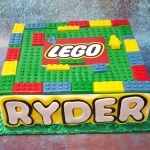 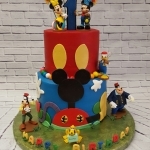 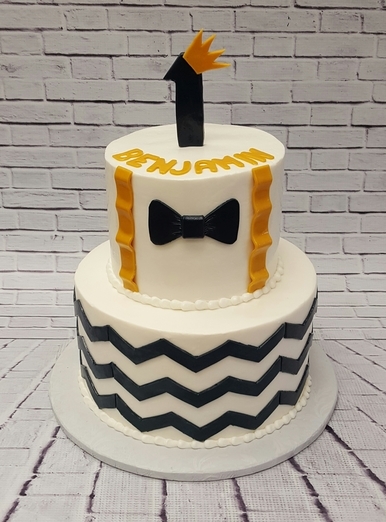 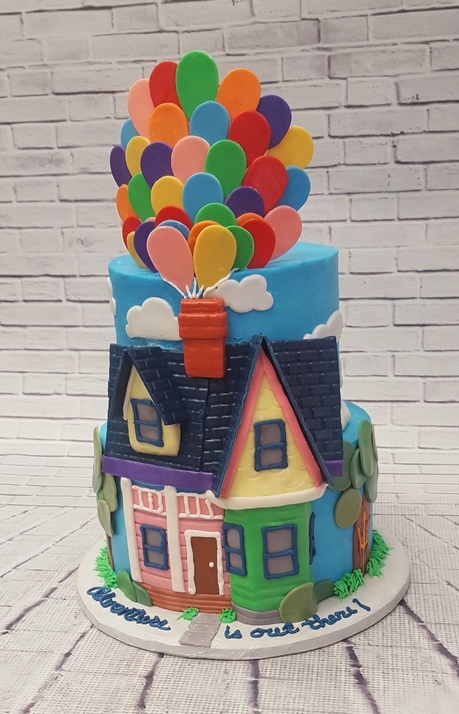 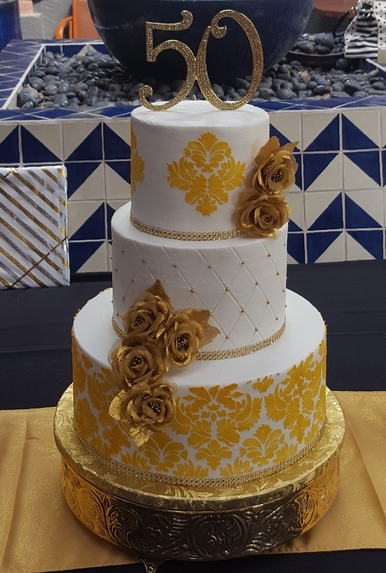 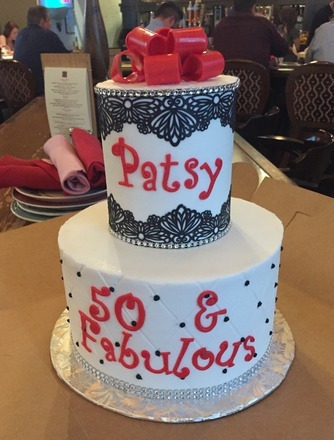 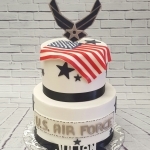 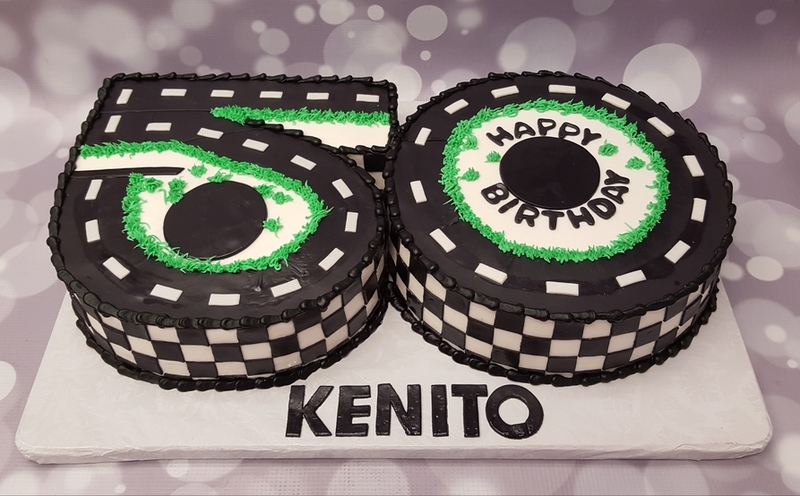 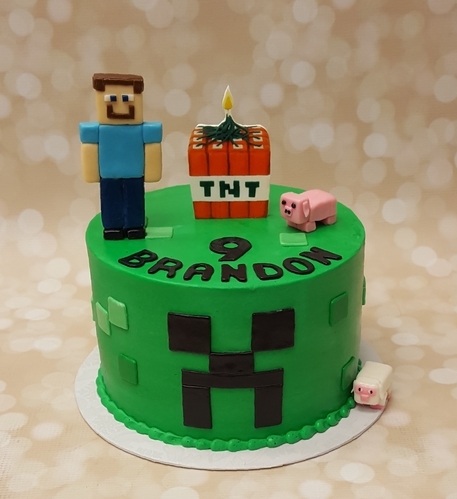 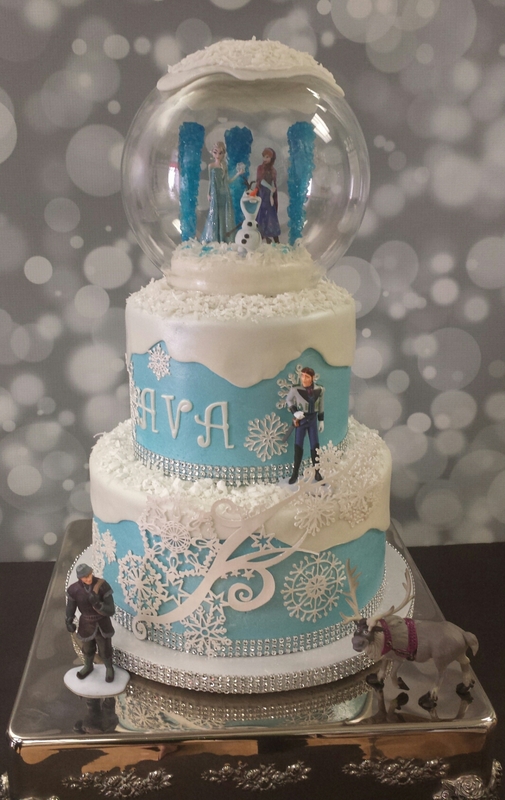 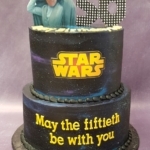 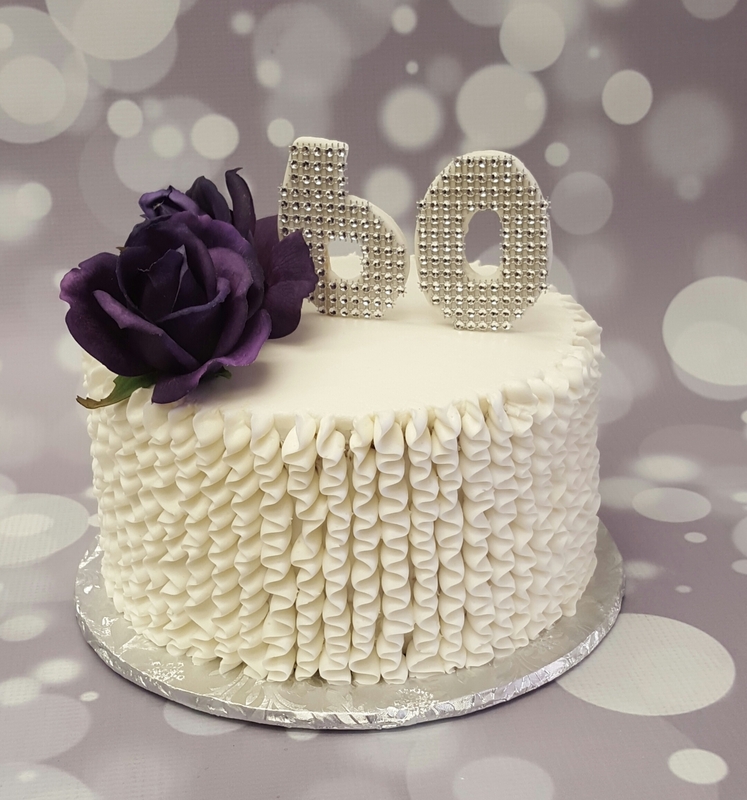 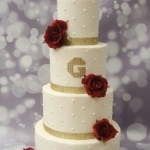 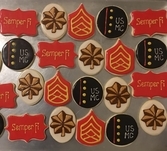 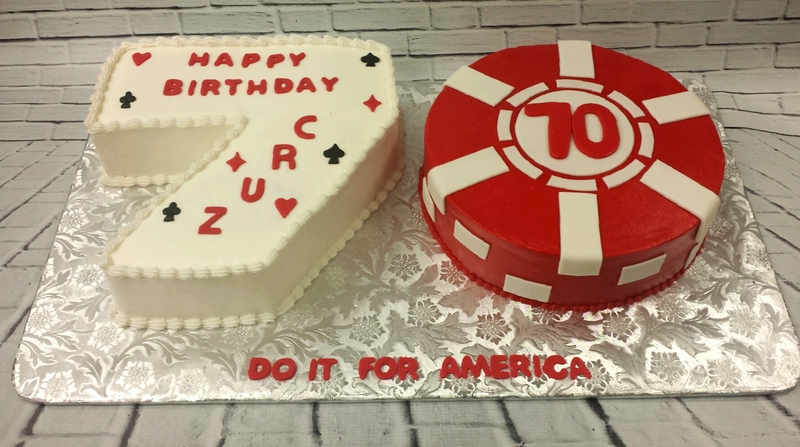 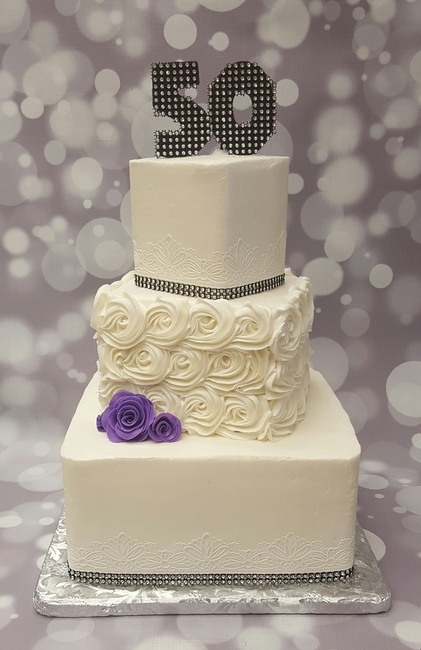 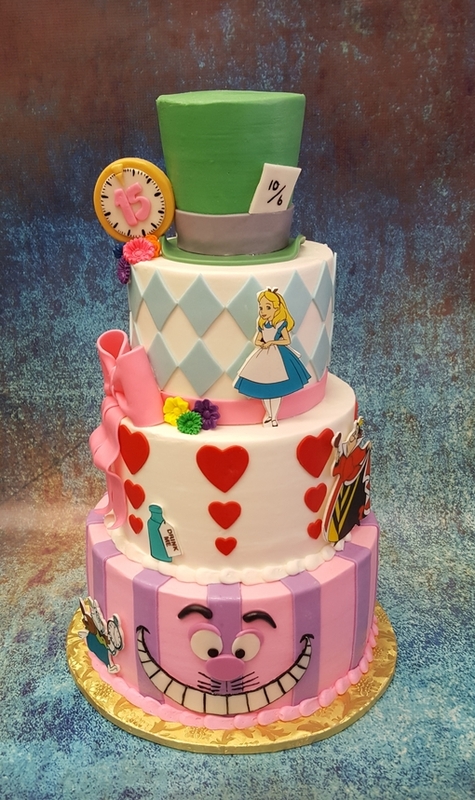 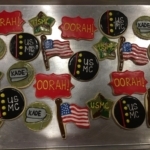 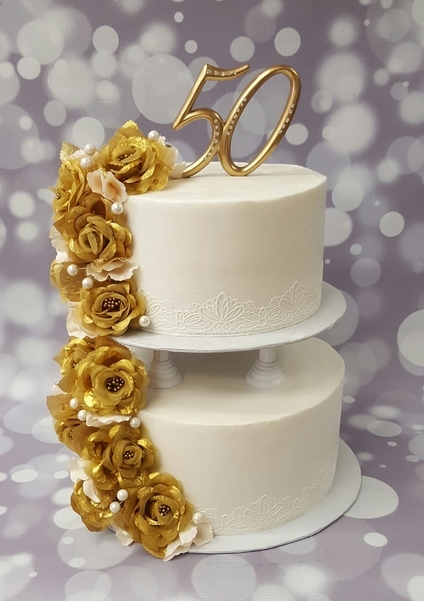 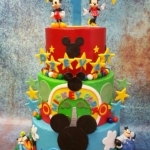 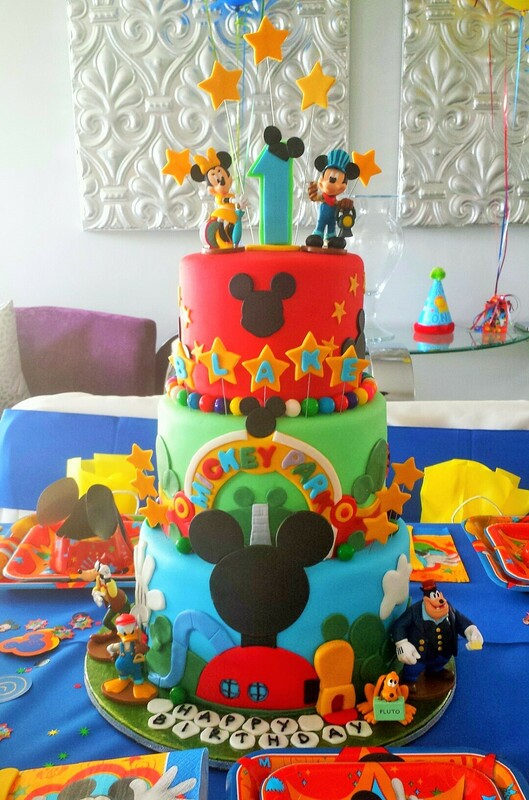 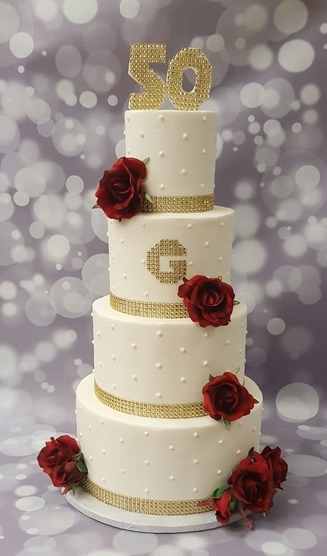 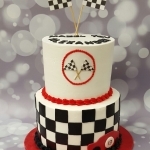 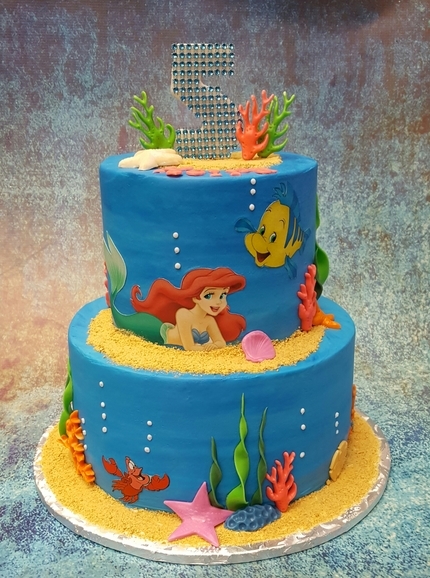 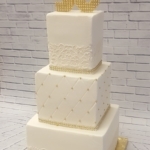 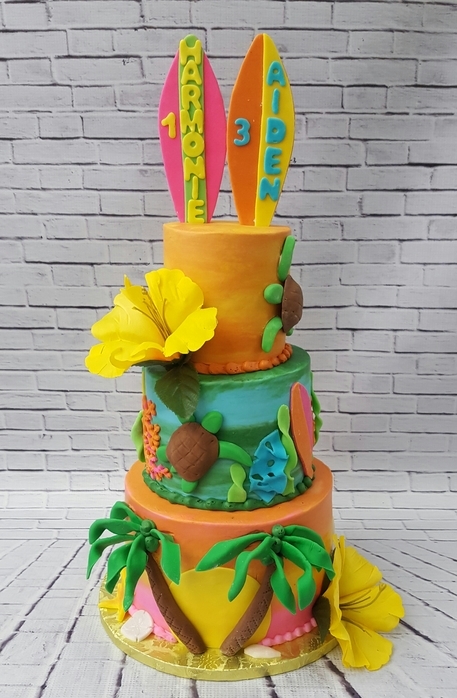 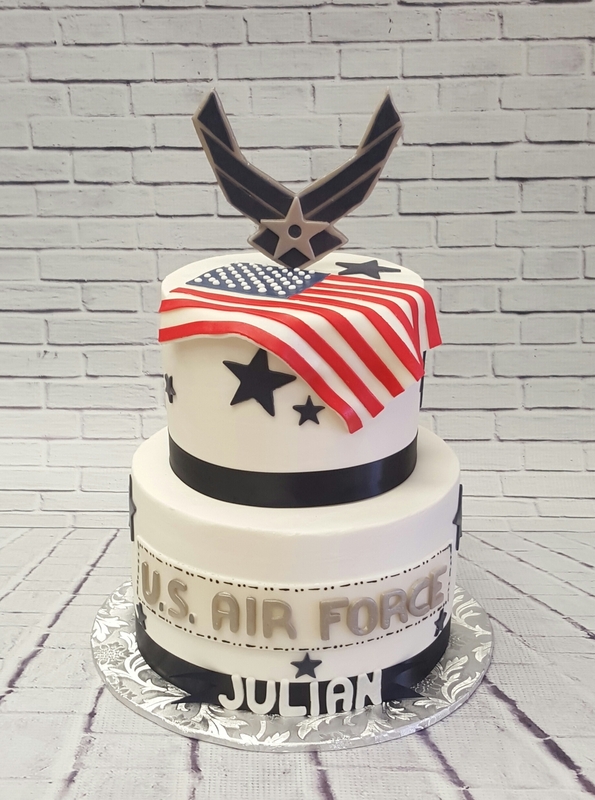 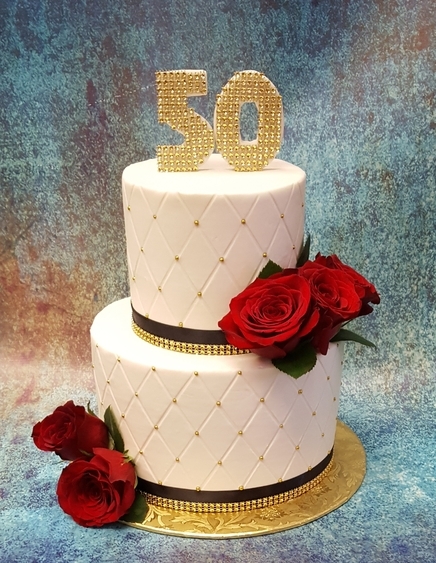 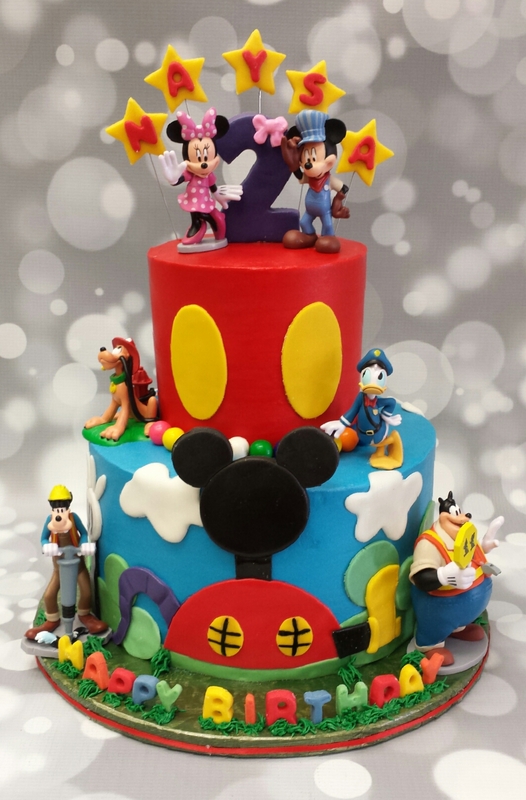 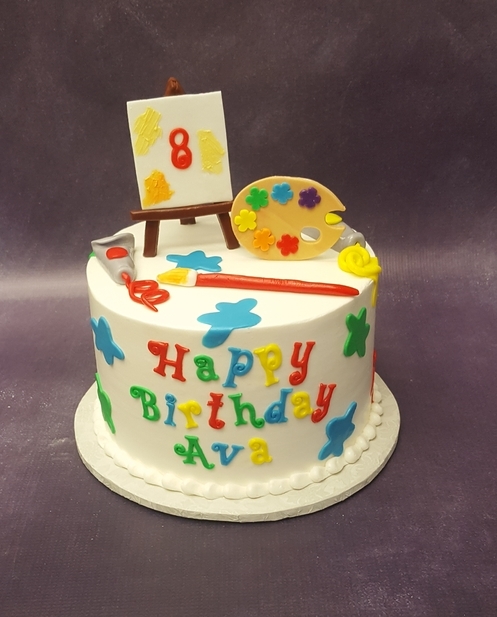 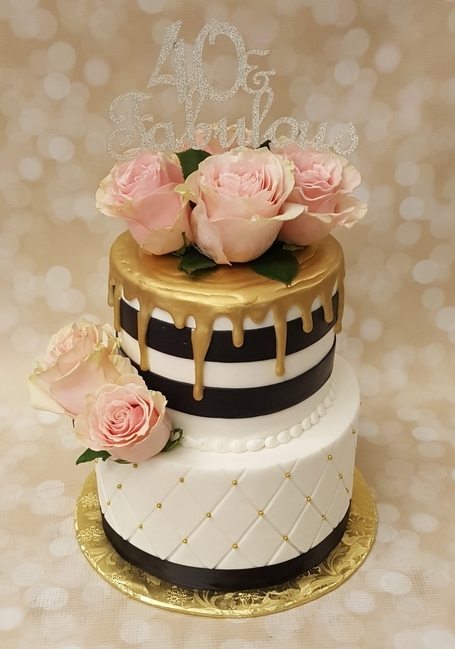 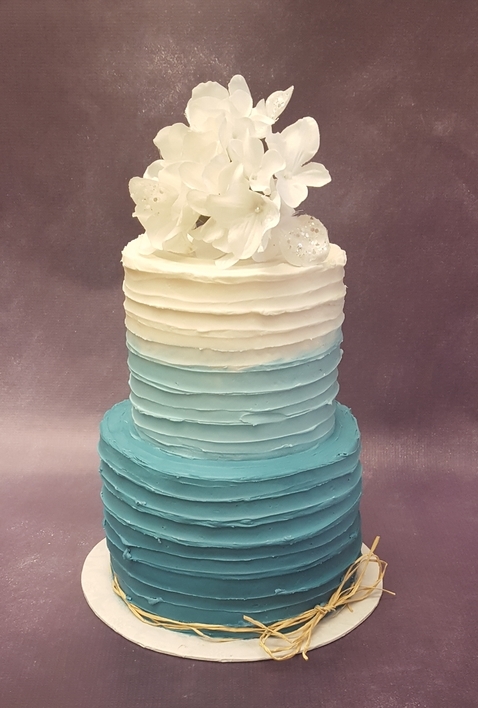 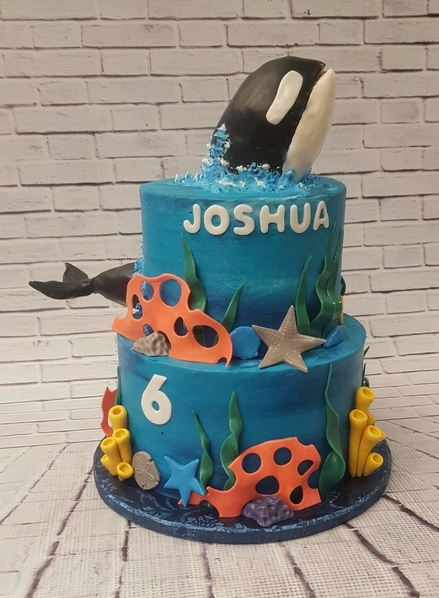 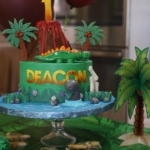 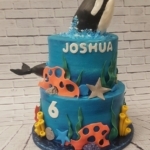 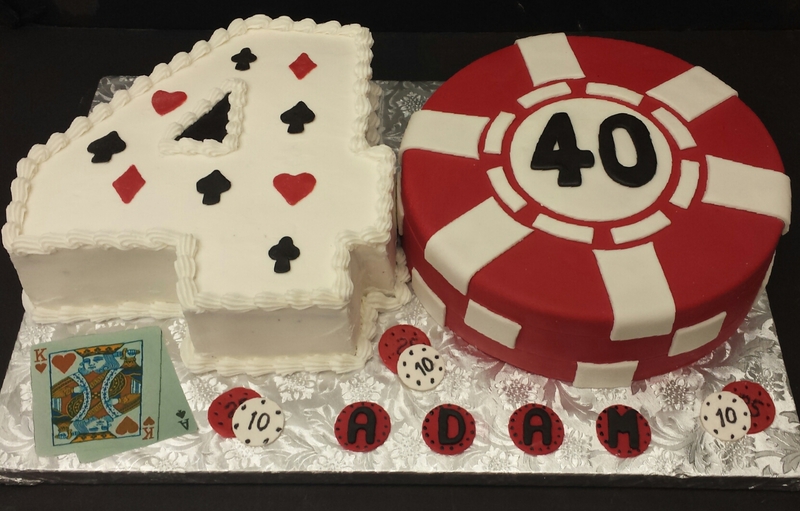 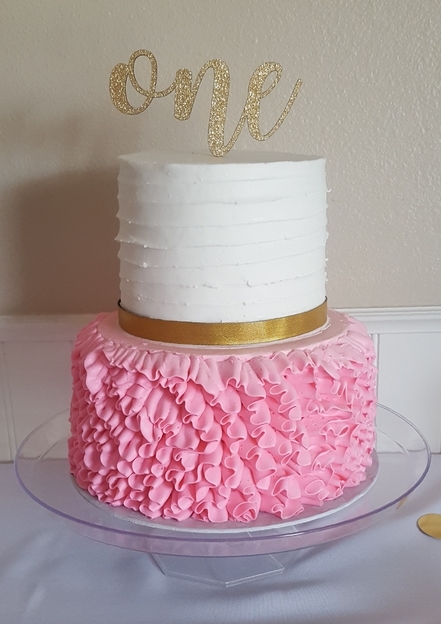 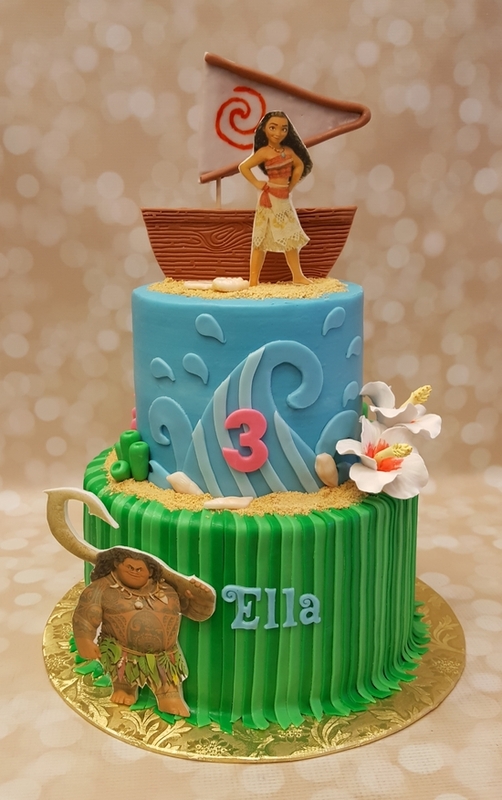 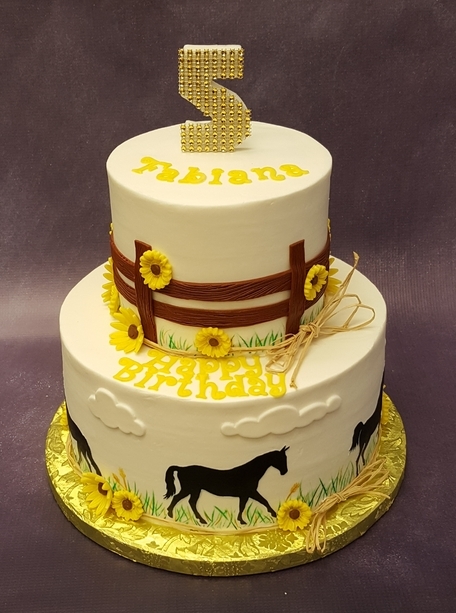 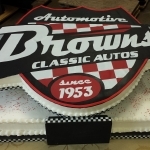 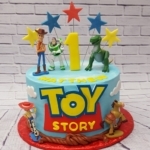 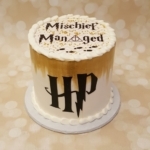 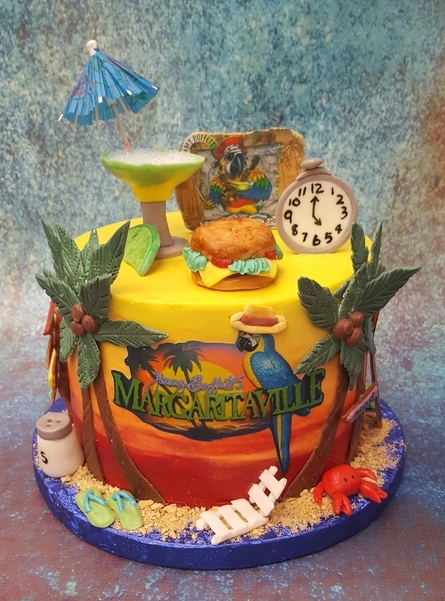 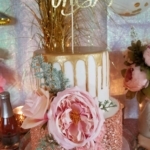 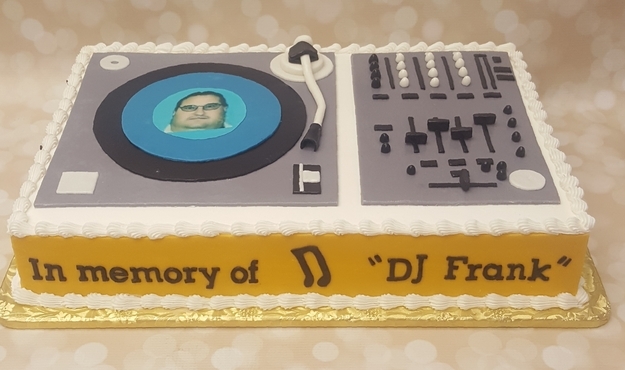 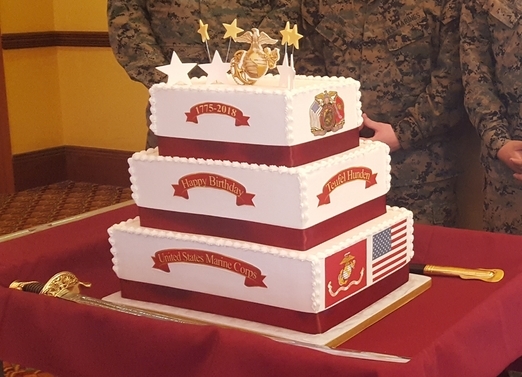 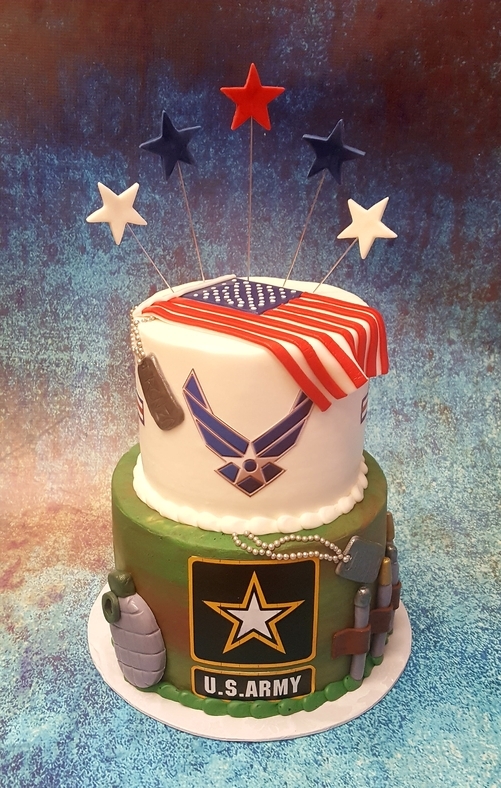 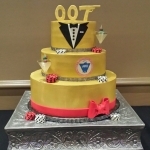 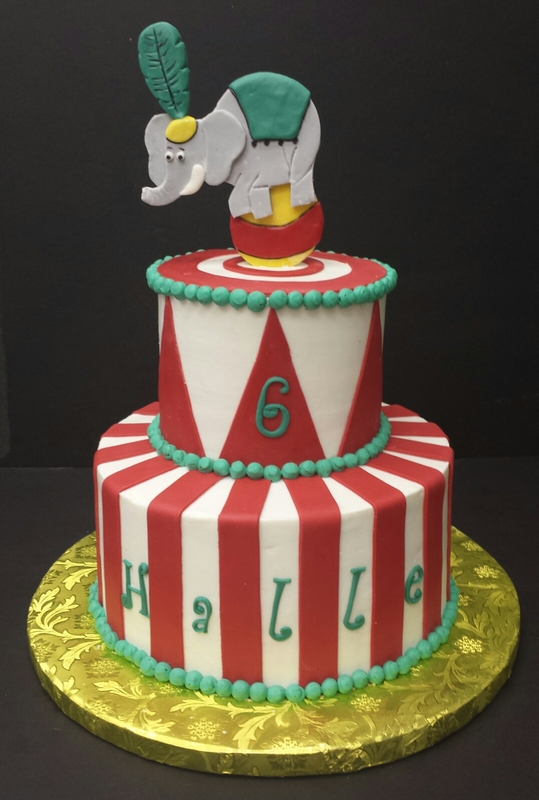 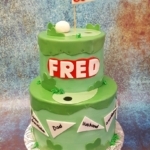 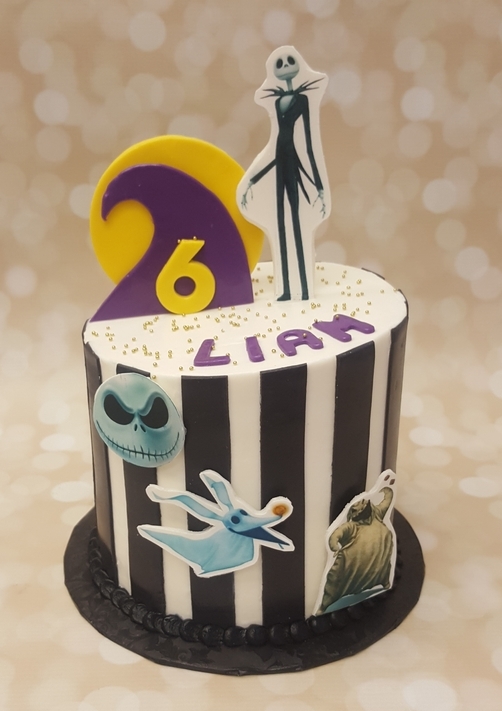 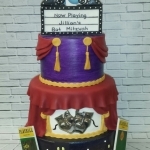 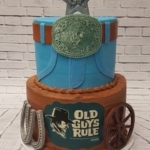 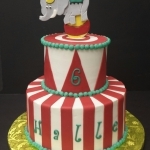 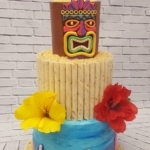 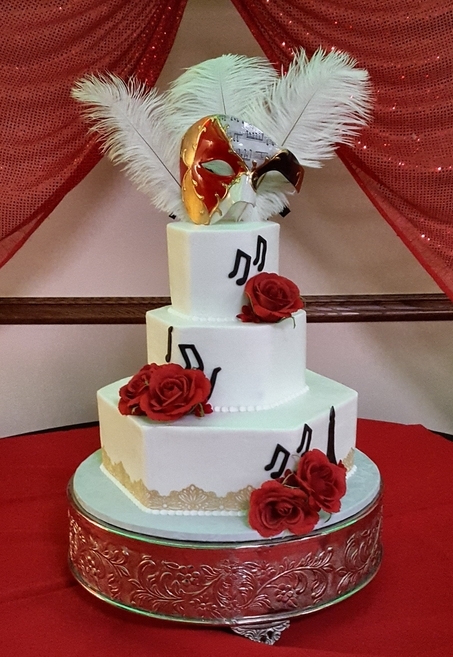 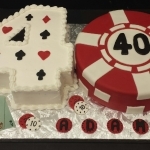 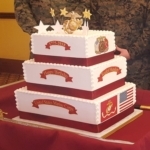 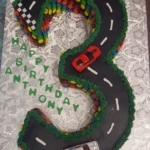 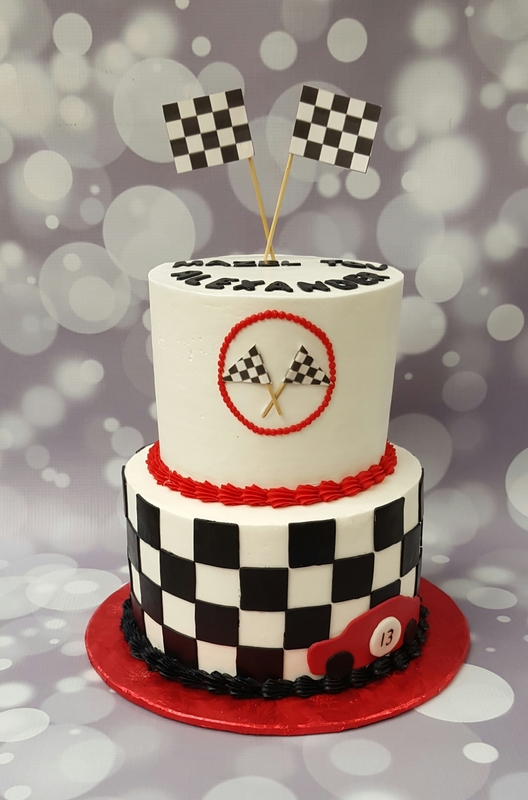 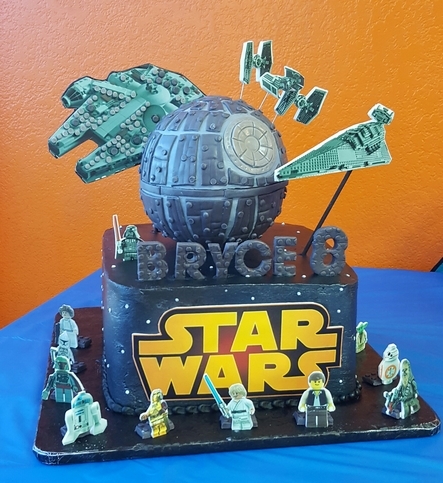 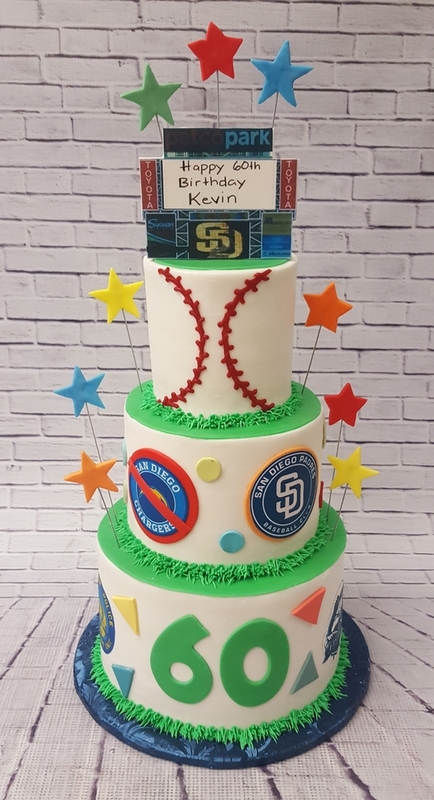 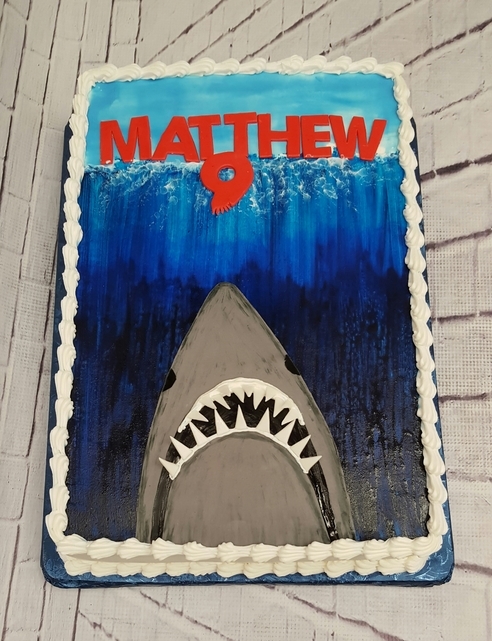 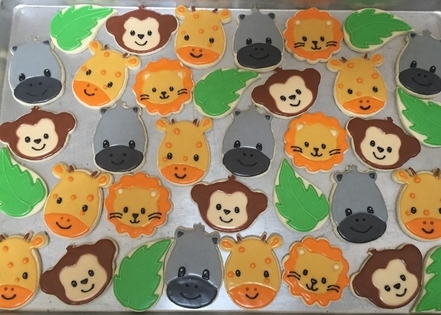 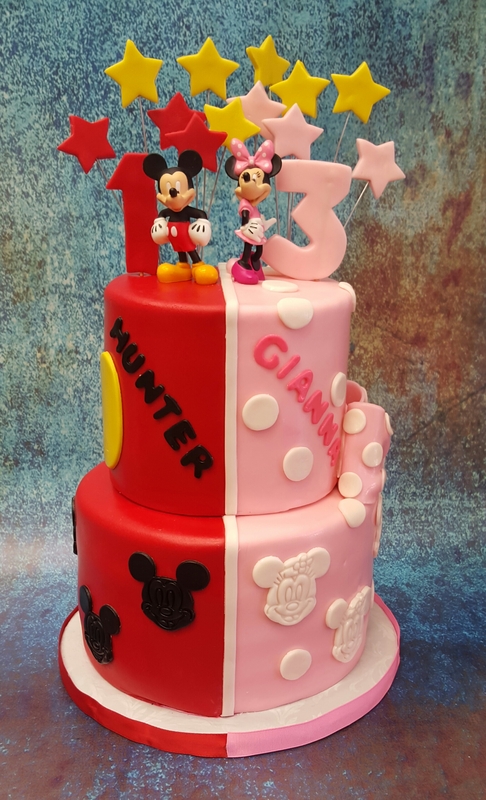 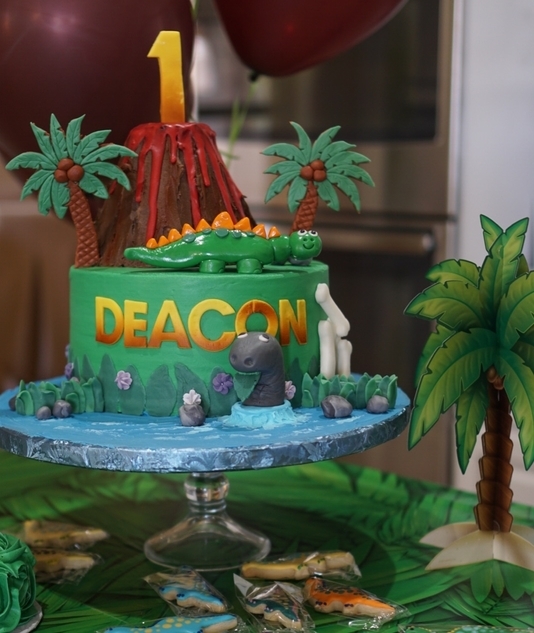 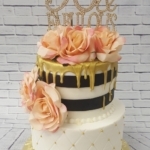 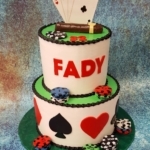 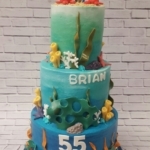 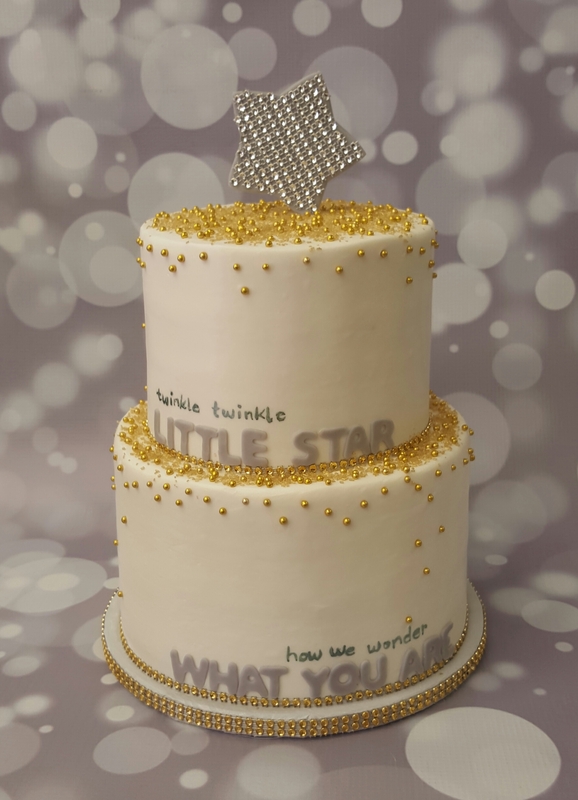 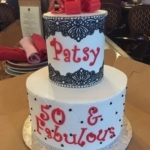 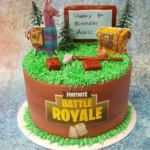 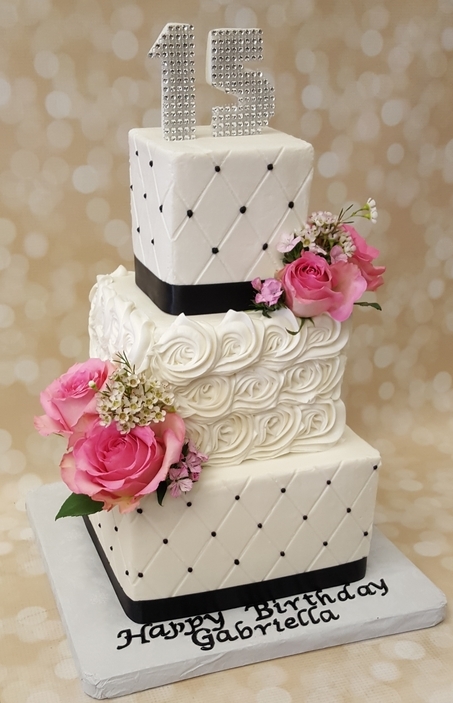 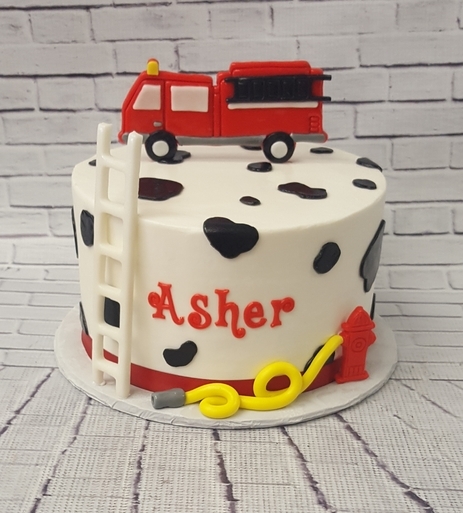 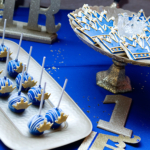 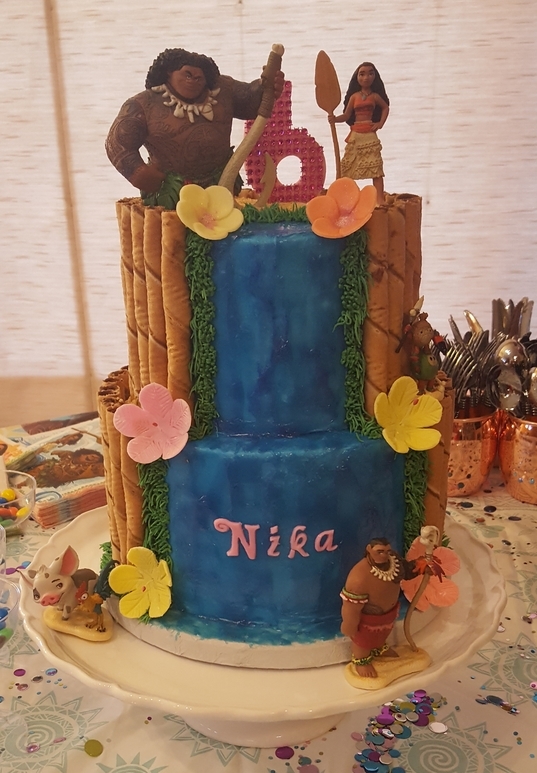 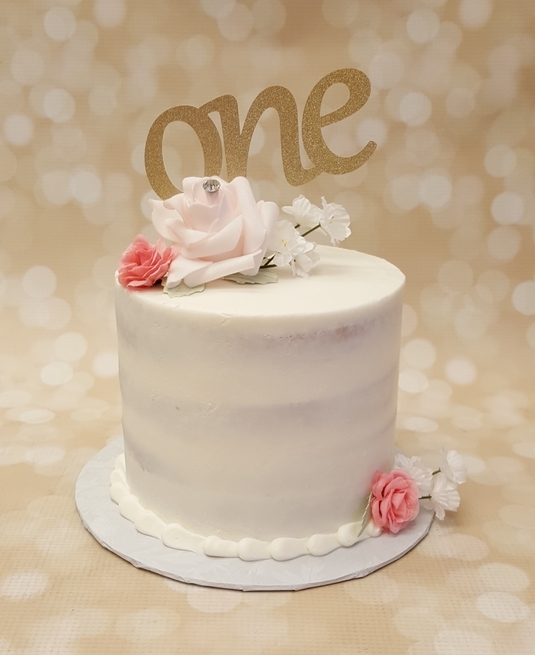 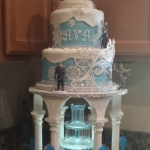 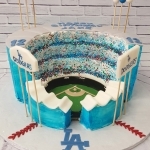 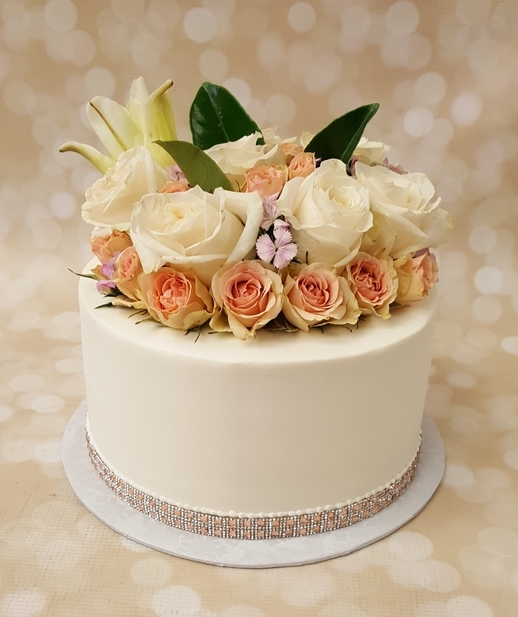 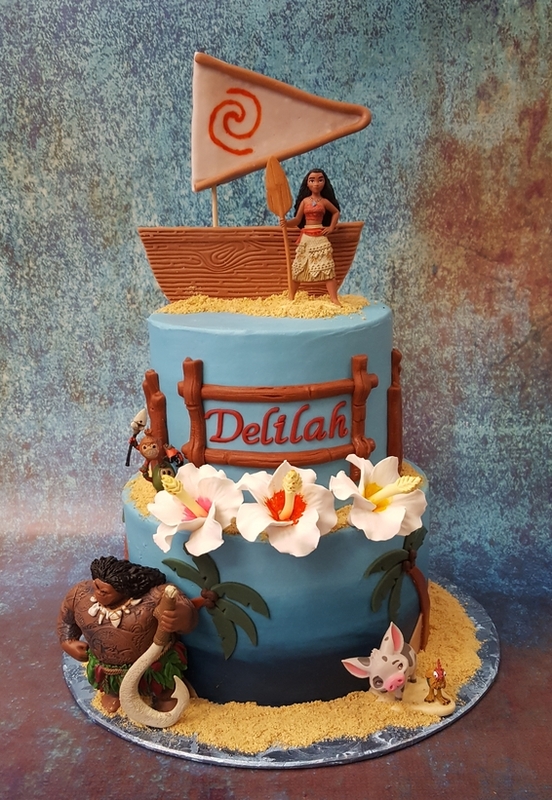 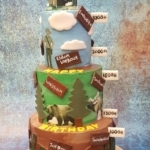 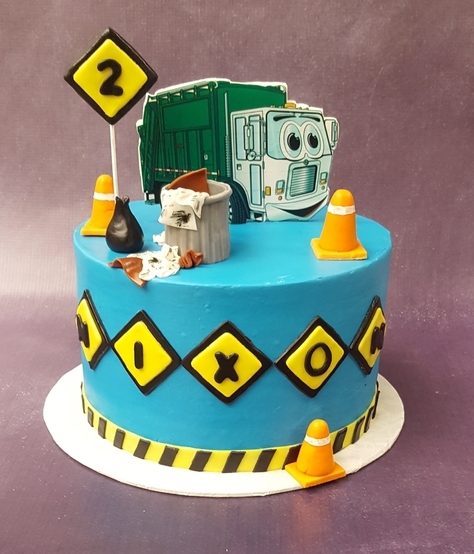 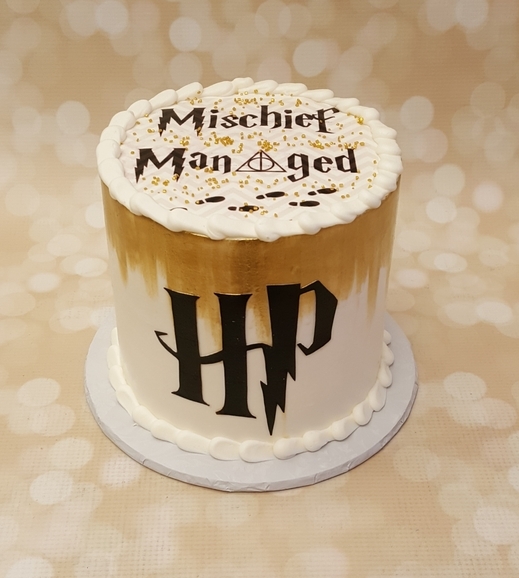 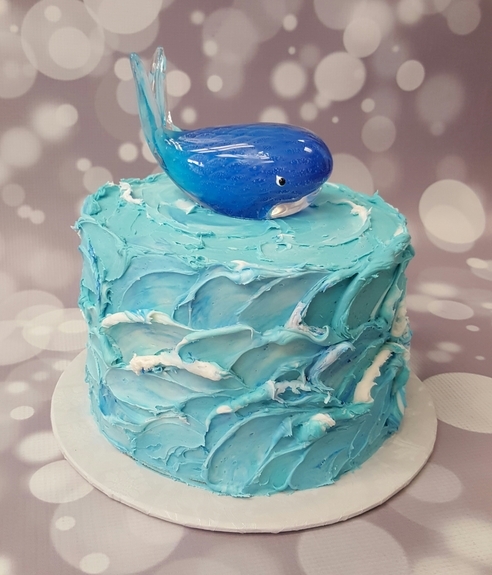 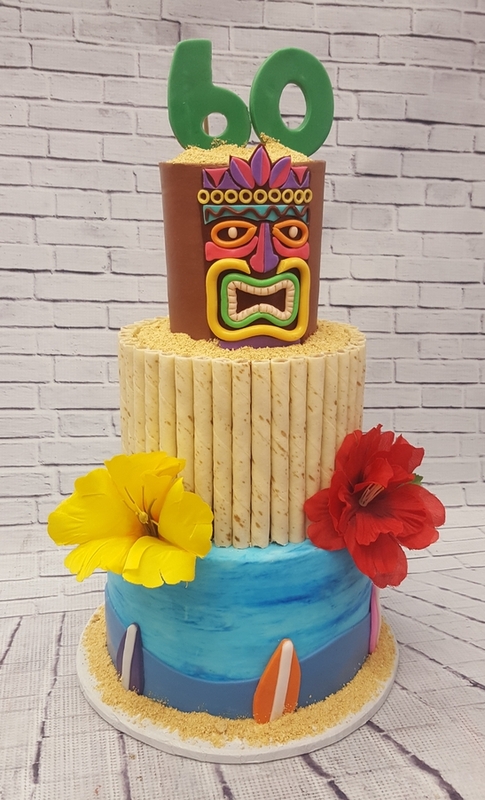 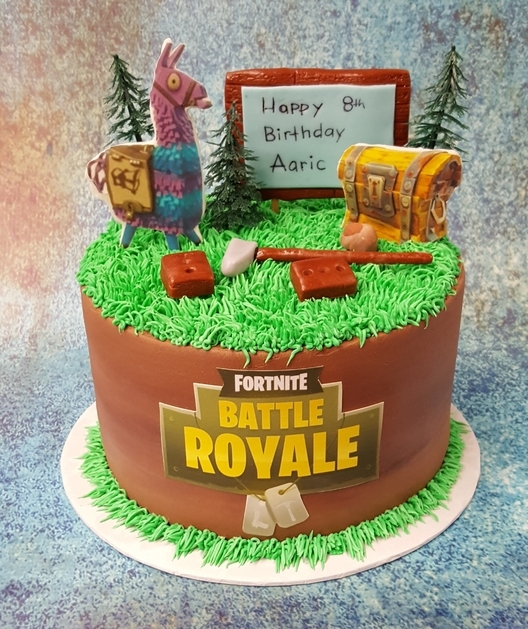 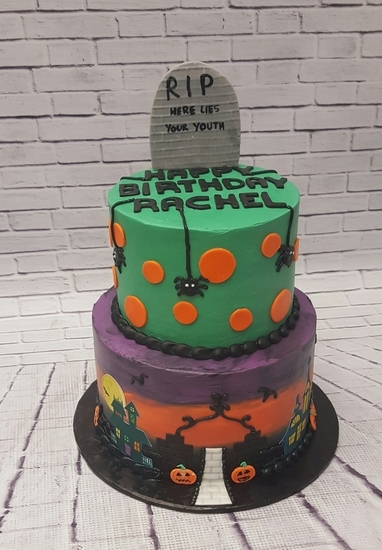 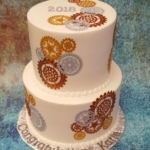 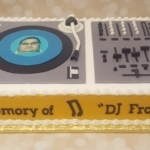 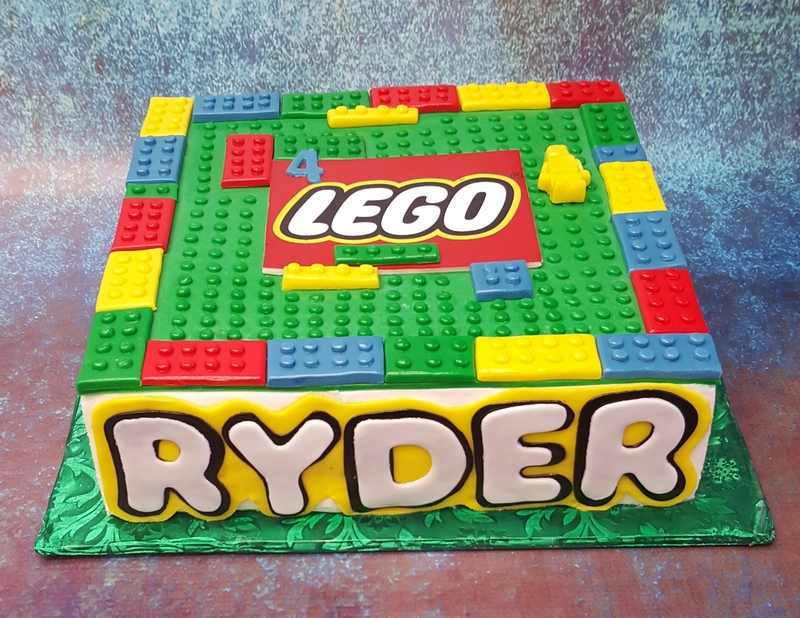 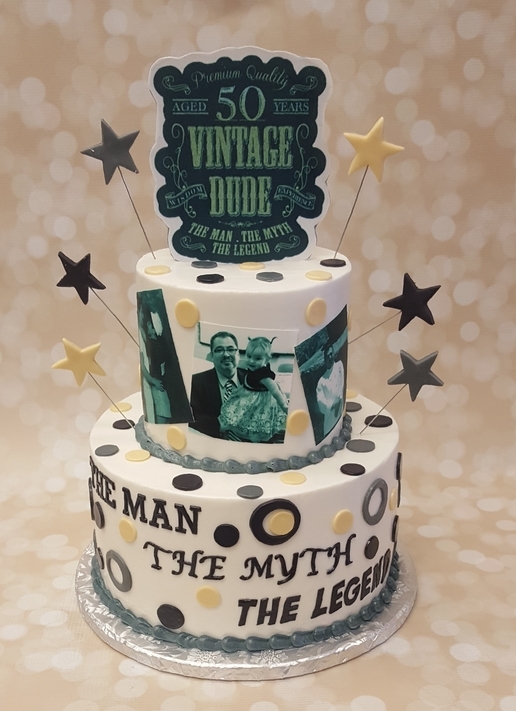 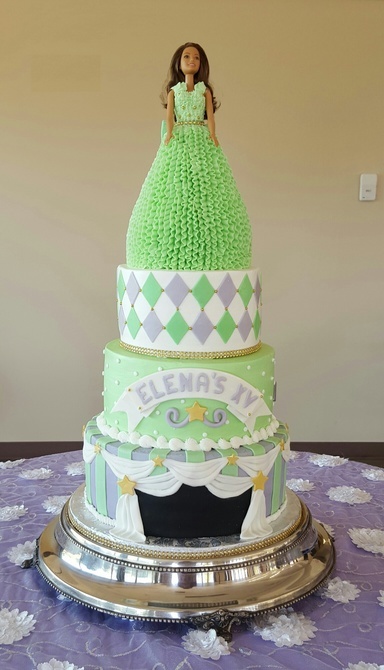 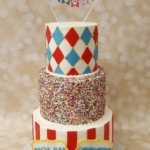 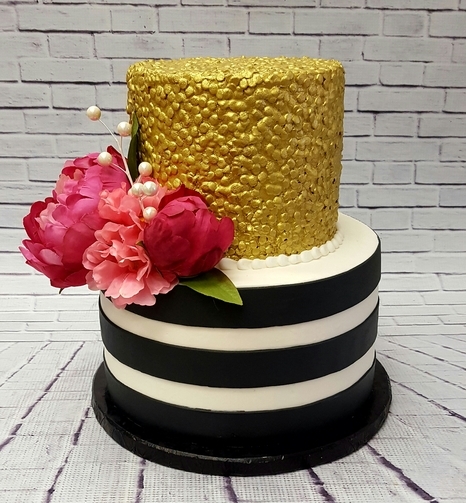 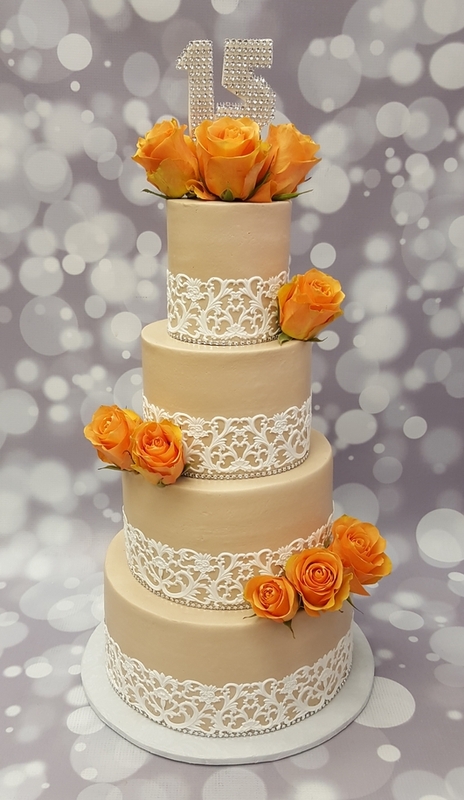 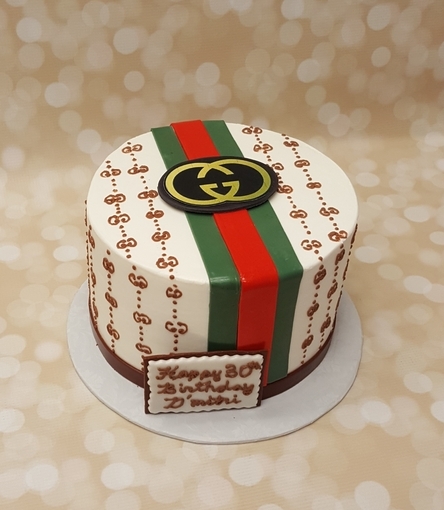 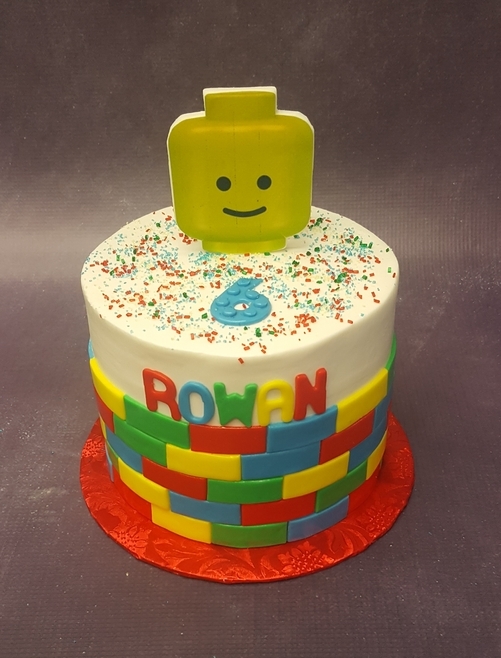 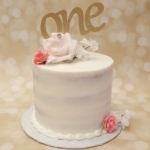 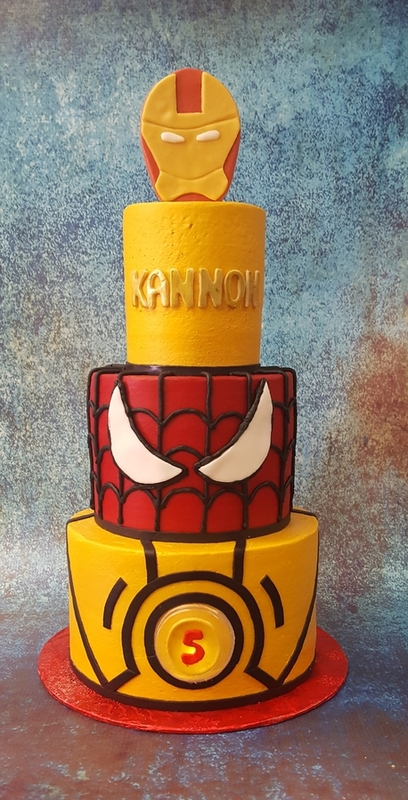 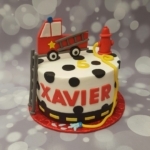 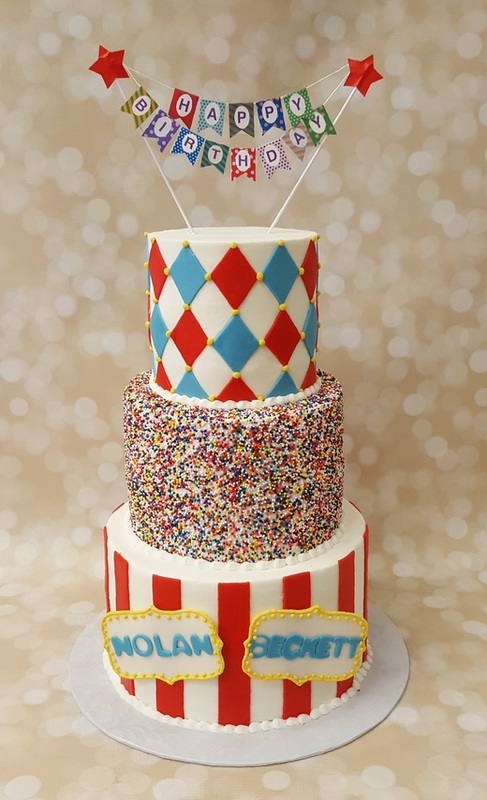 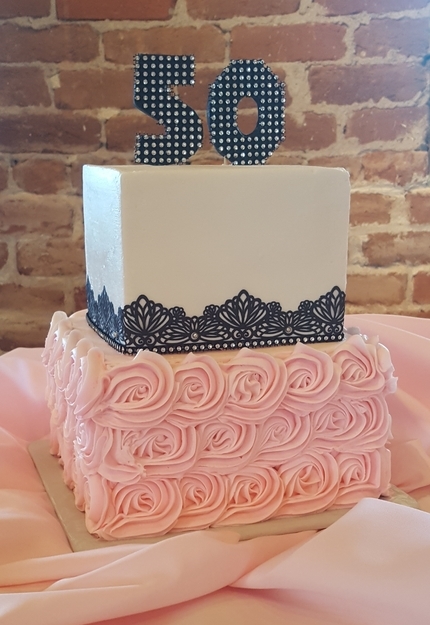 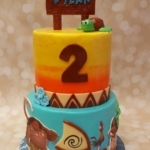 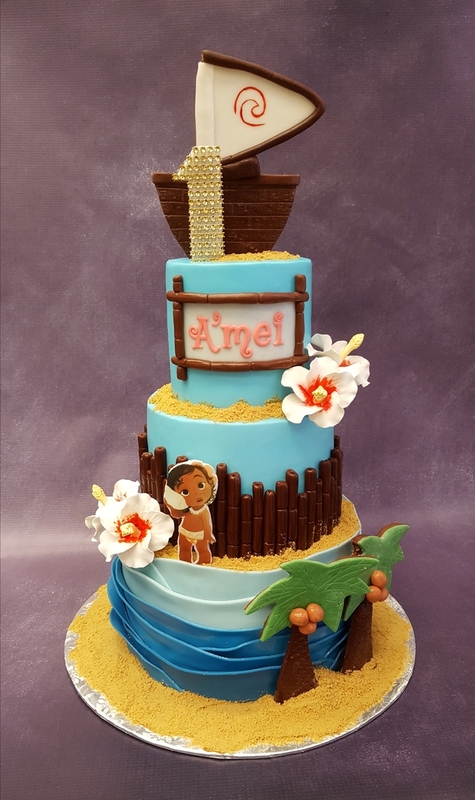 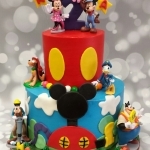 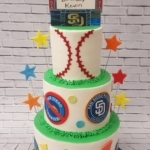 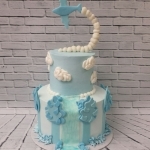 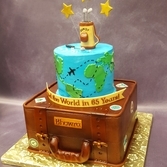 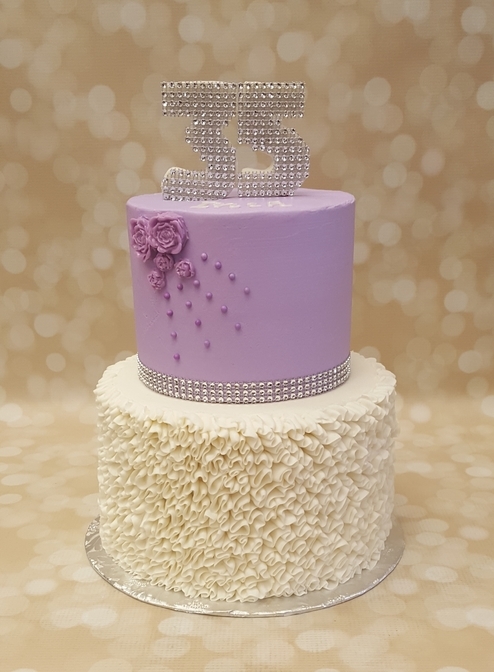 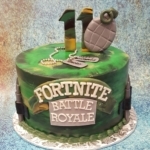 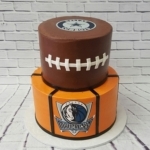 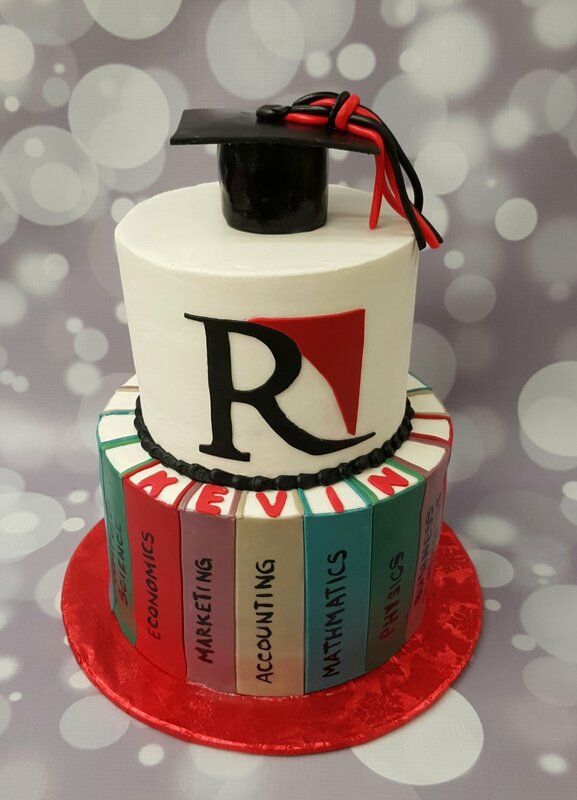 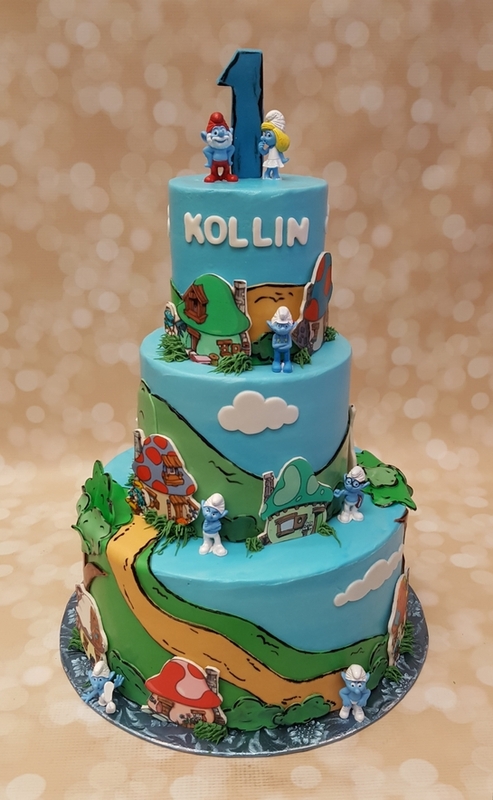 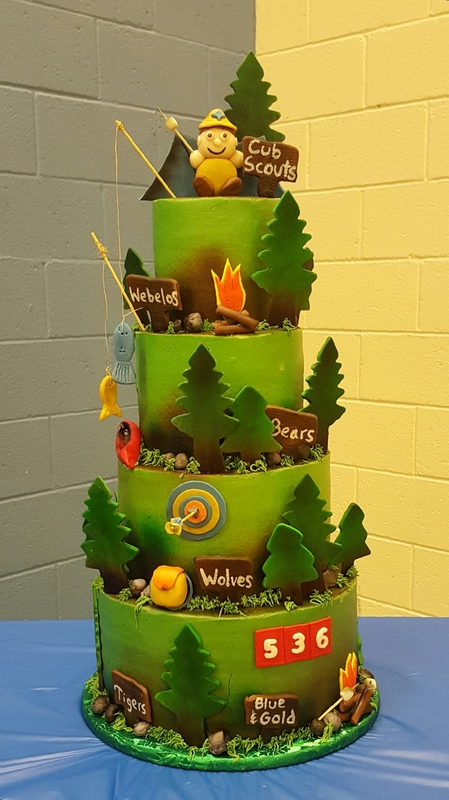 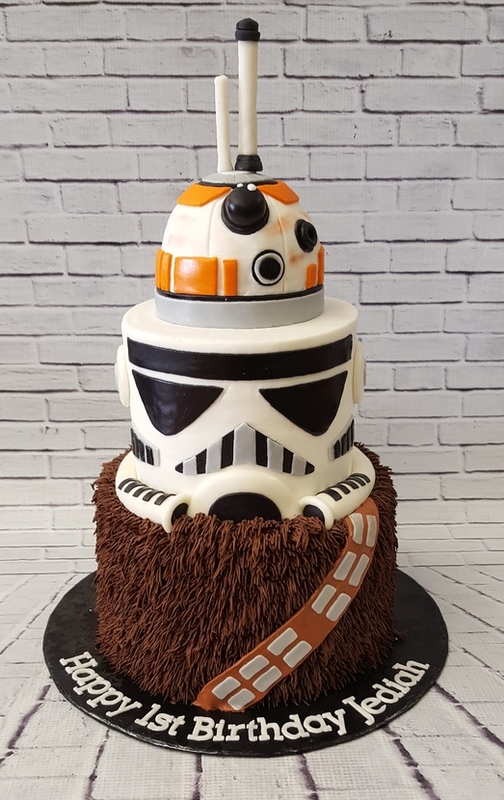 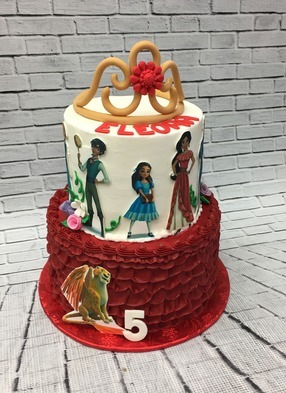 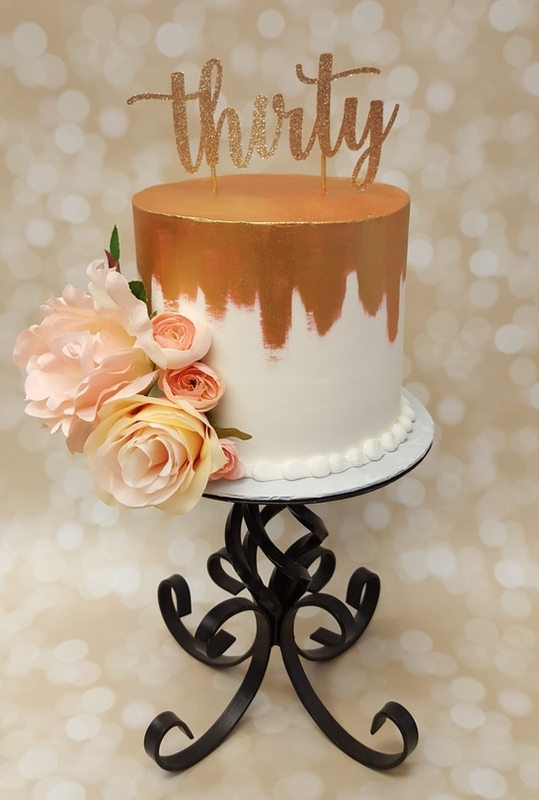 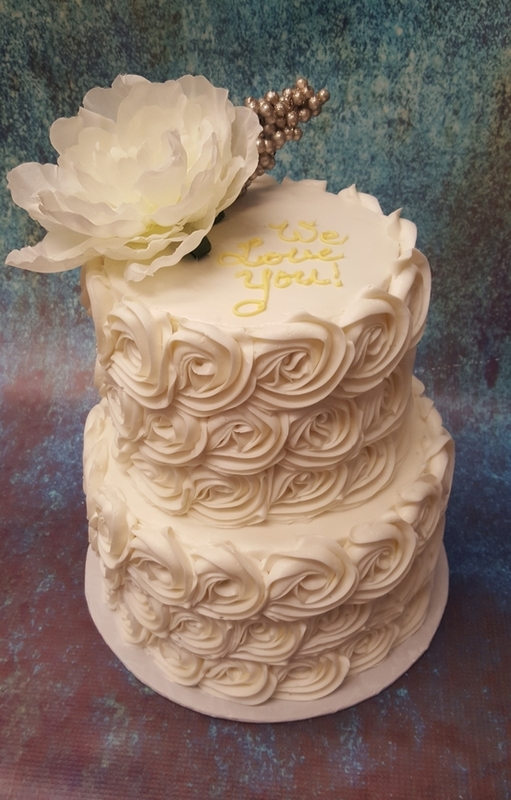 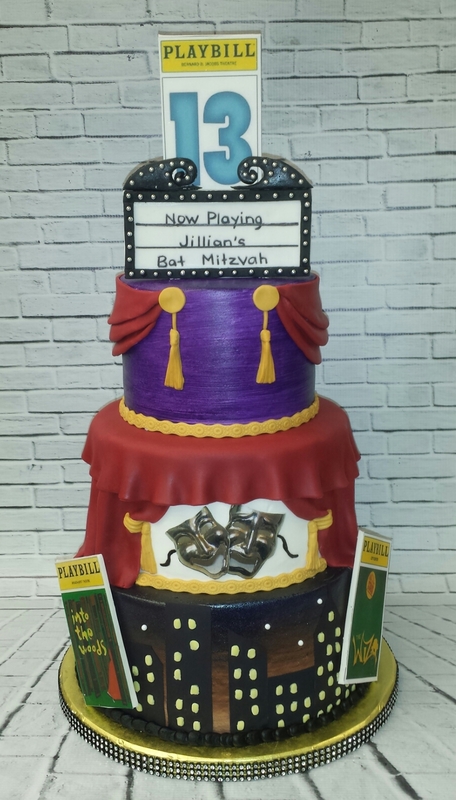 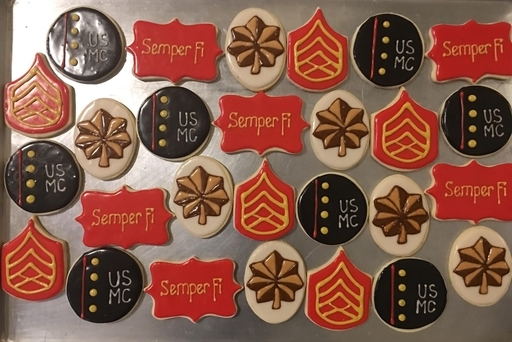 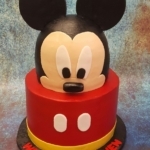 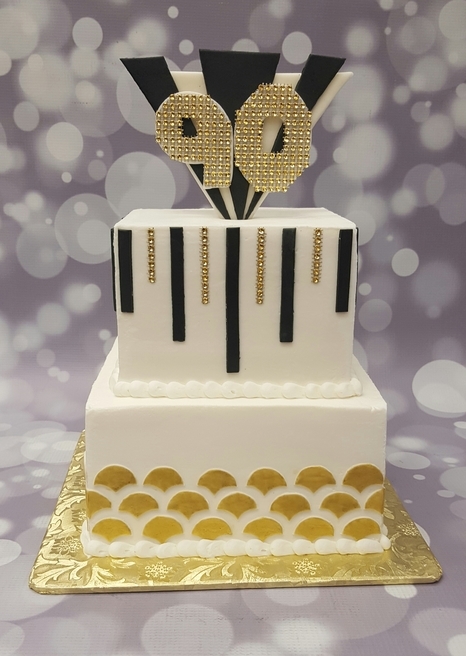 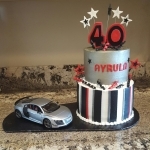 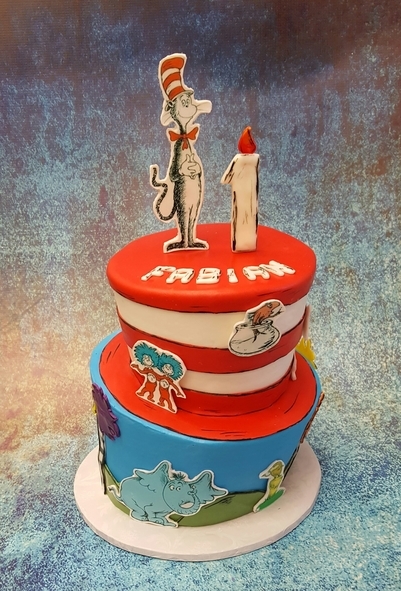 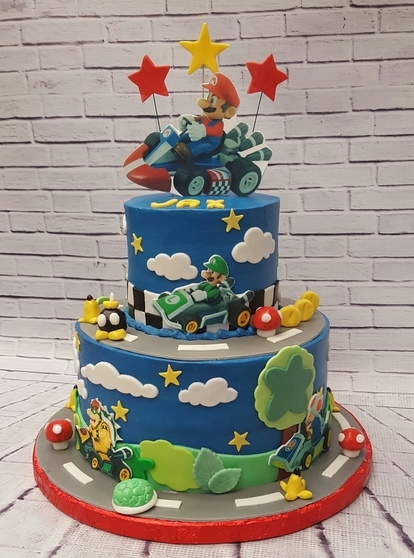 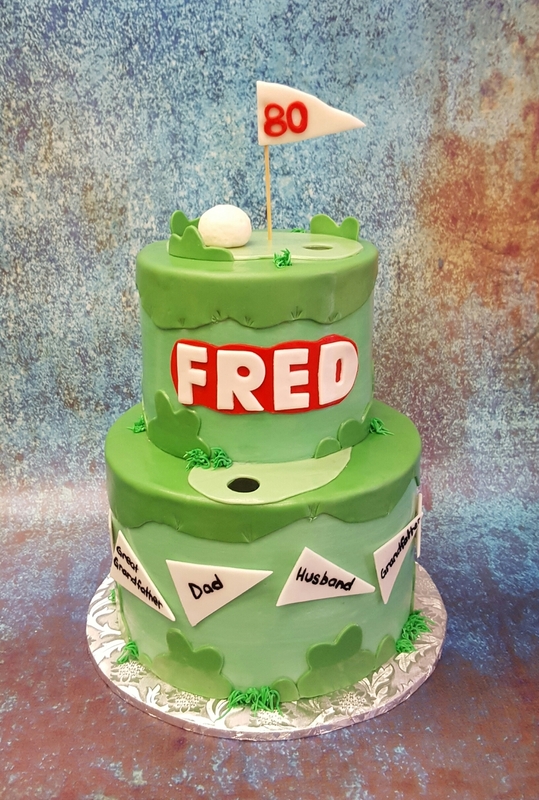 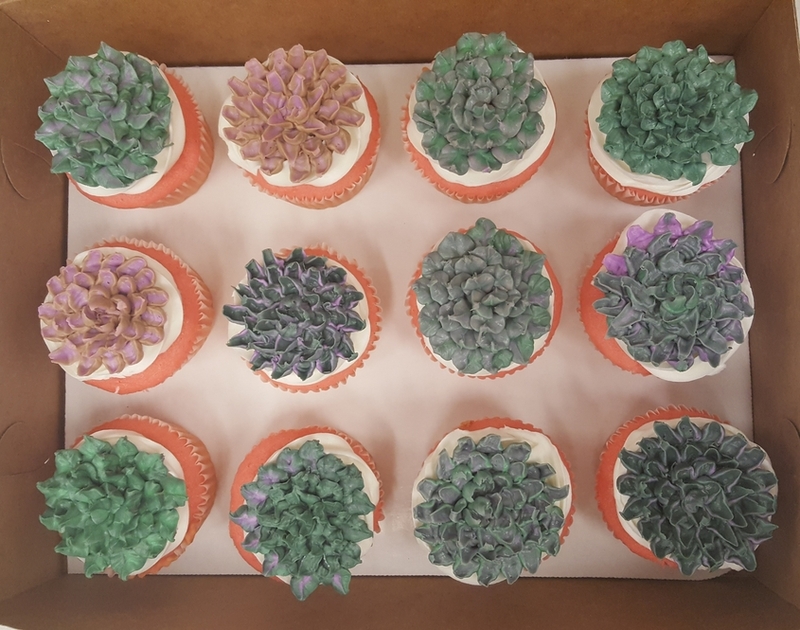 Our talented staff works collaboratively to assure that the custom cake for your special event is well thought out and unique to you and your wishes, and made with outstanding craftsmanship and close attention to detail… Our goal is to make sure your milestones are not just special, but an extraordinary memory! 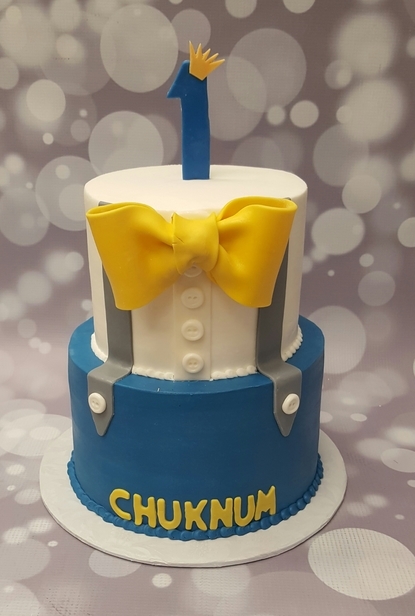 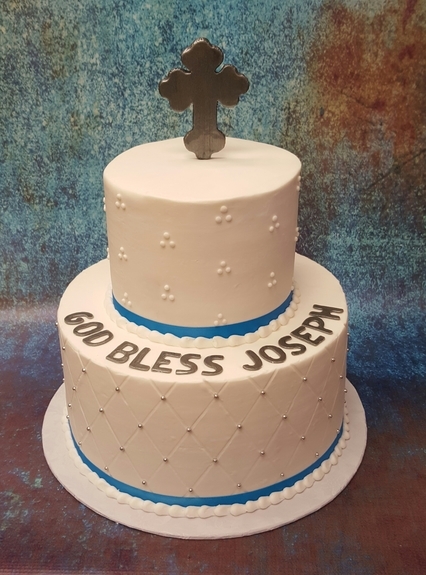 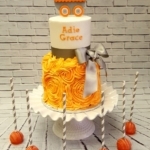 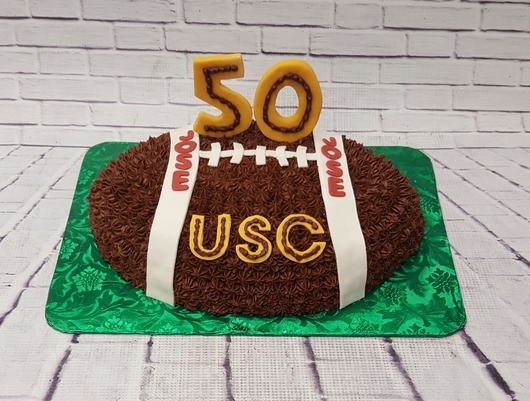 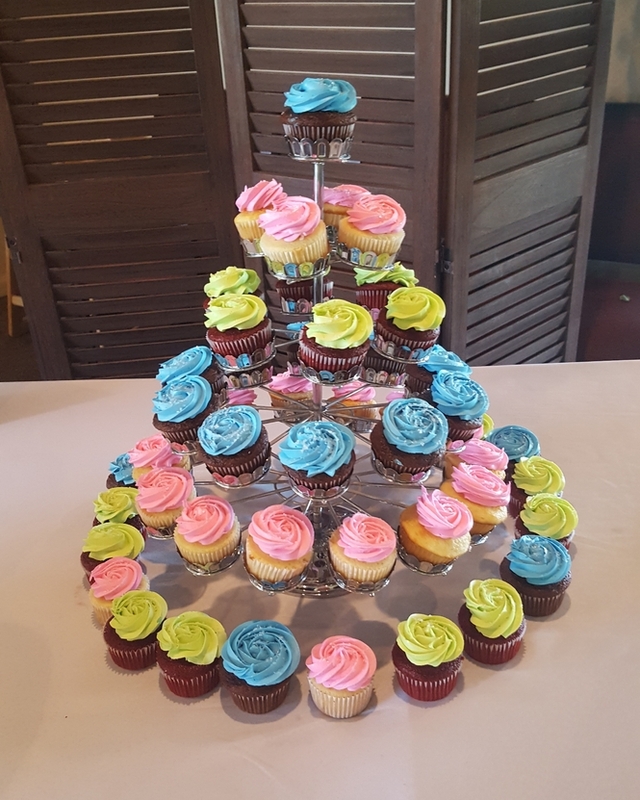 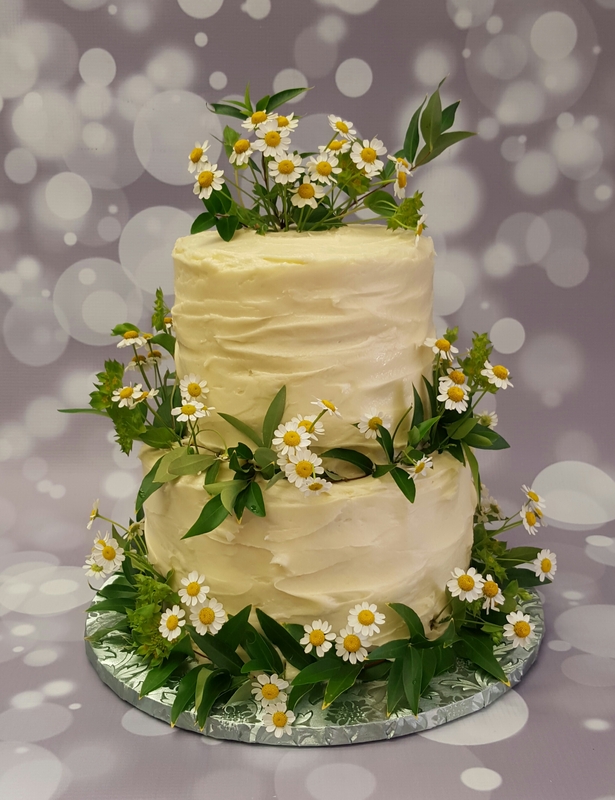 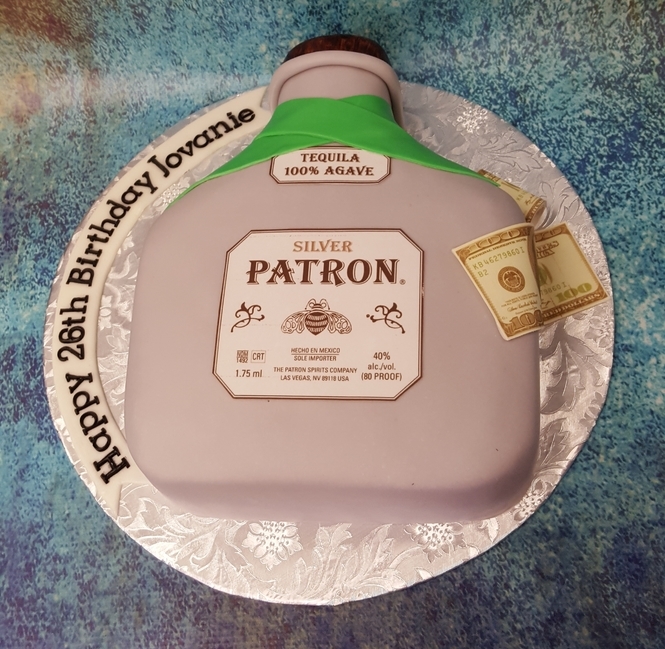 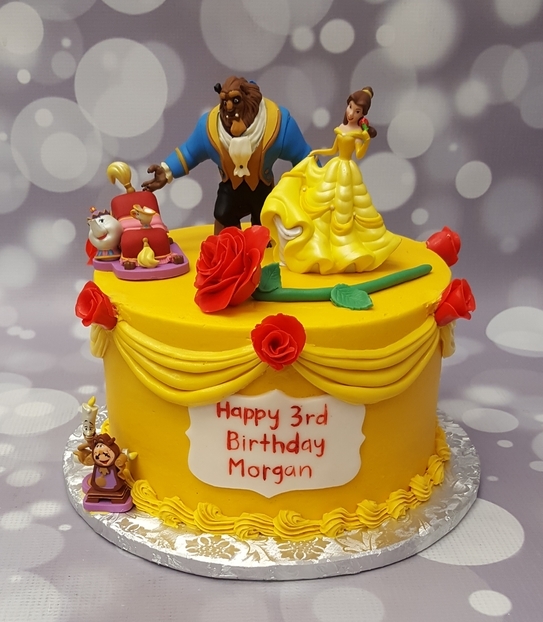 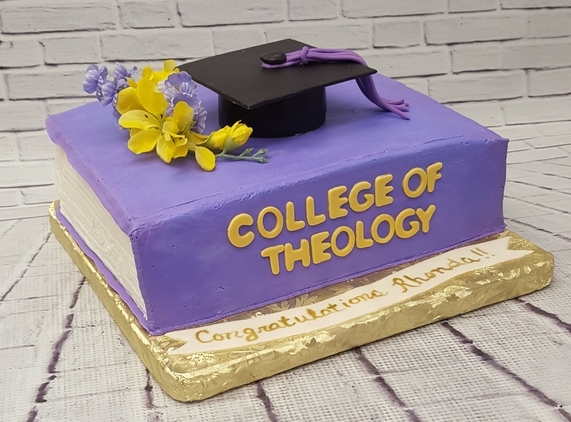 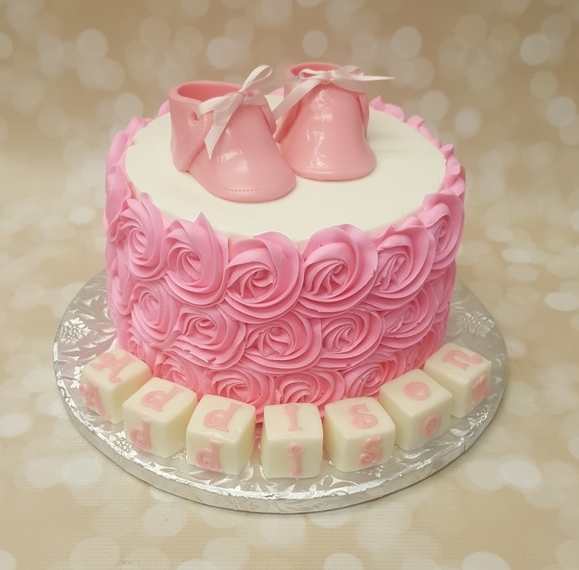 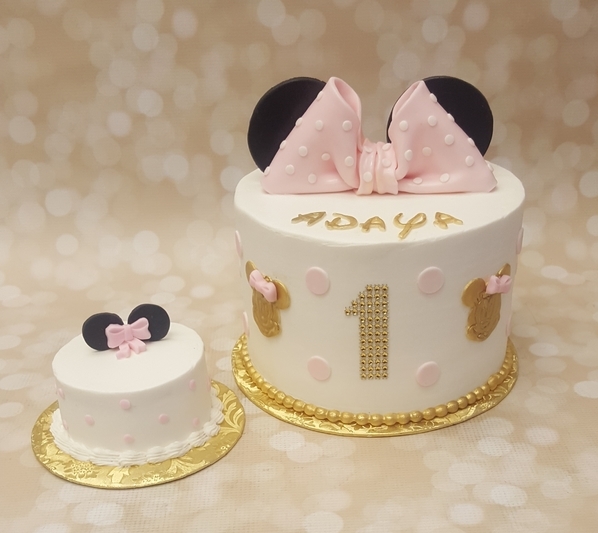 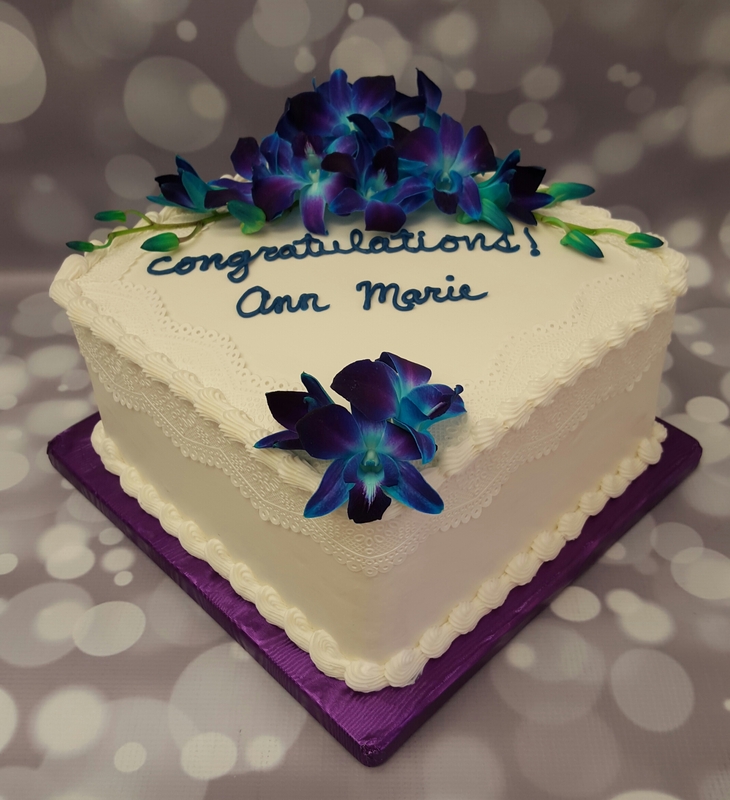 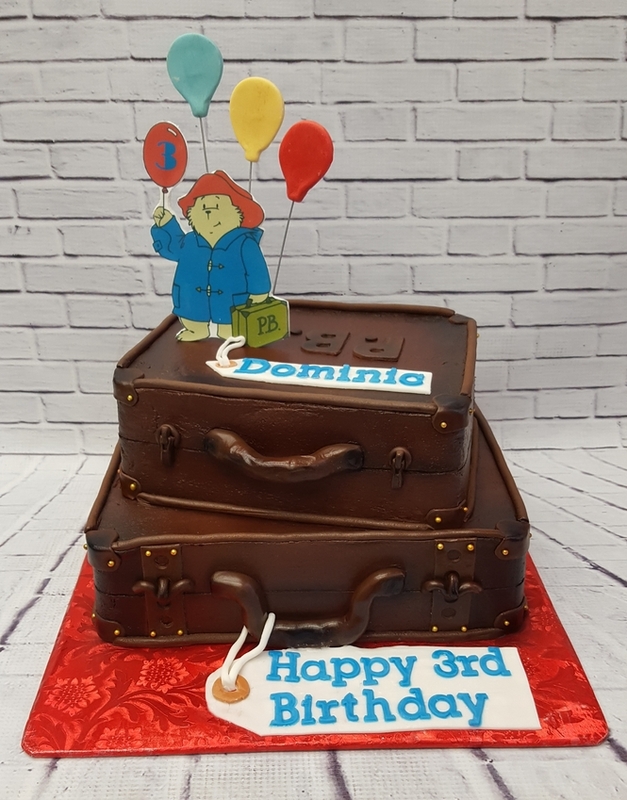 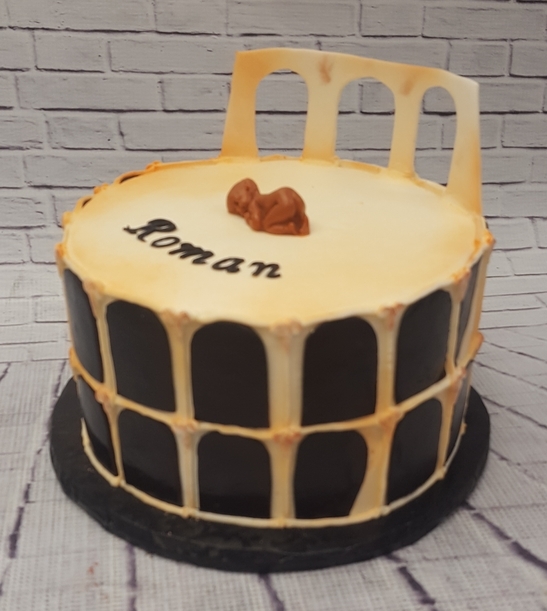 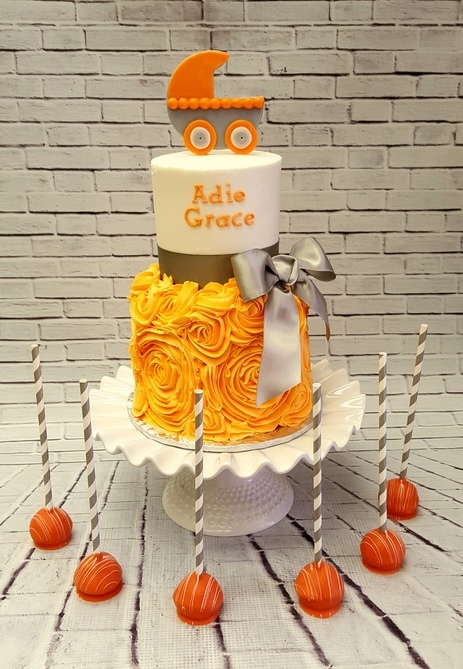 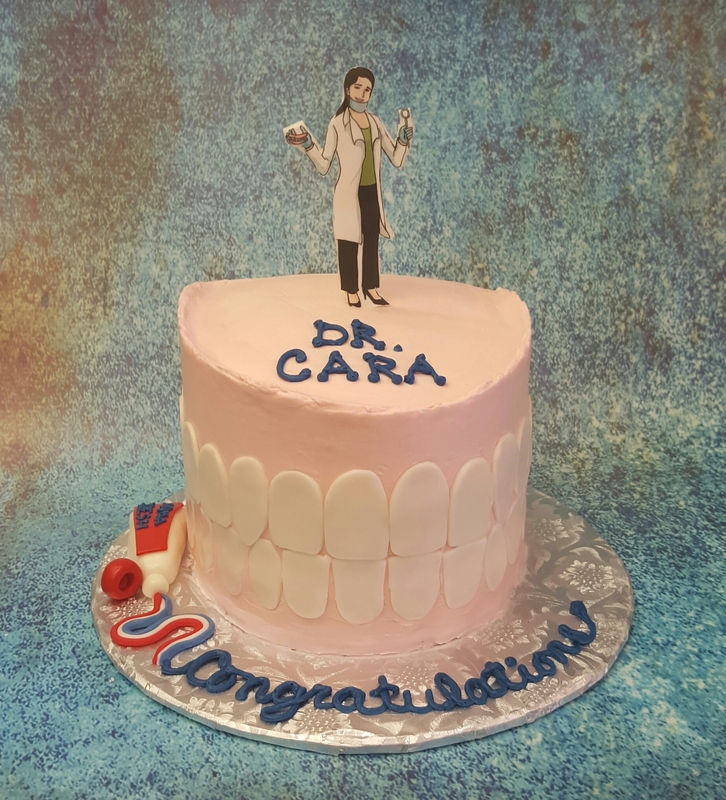 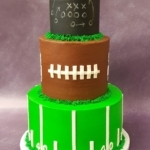 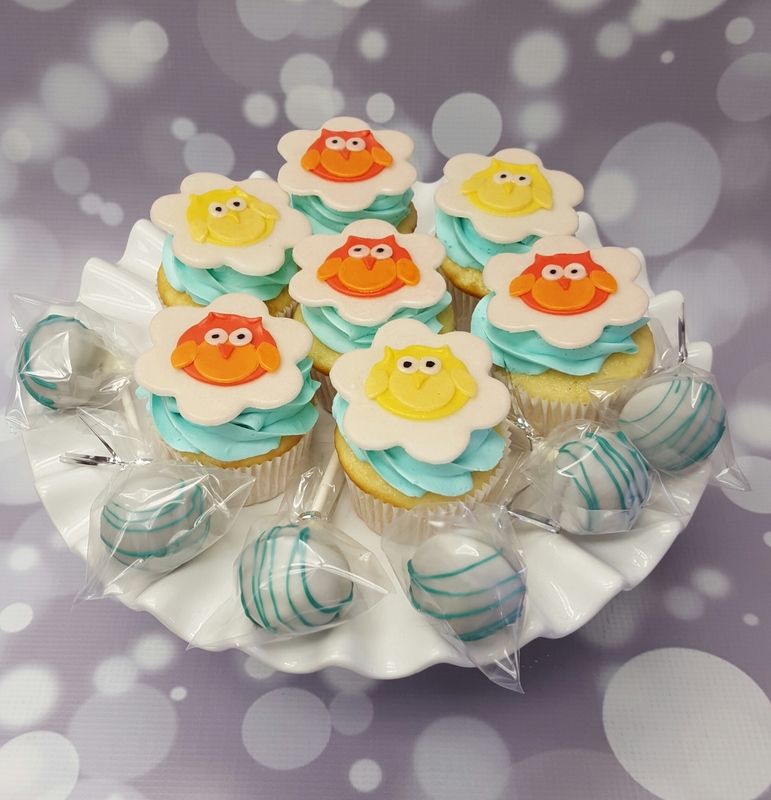 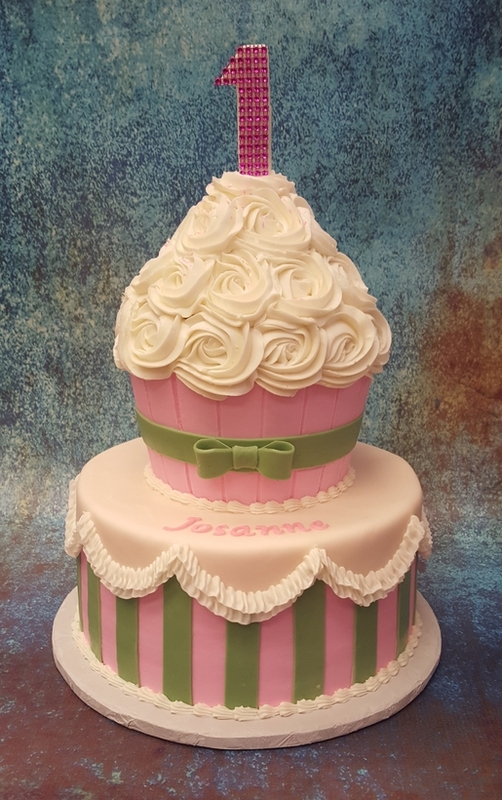 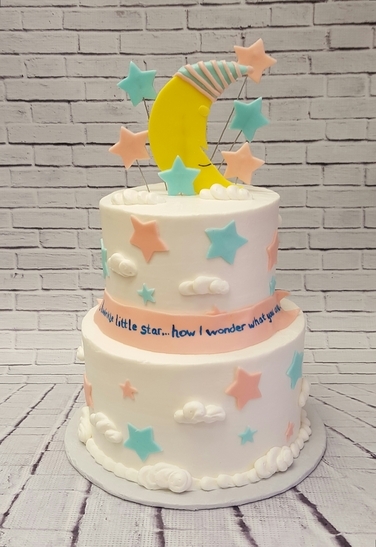 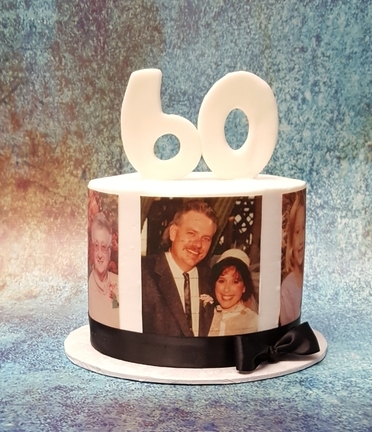 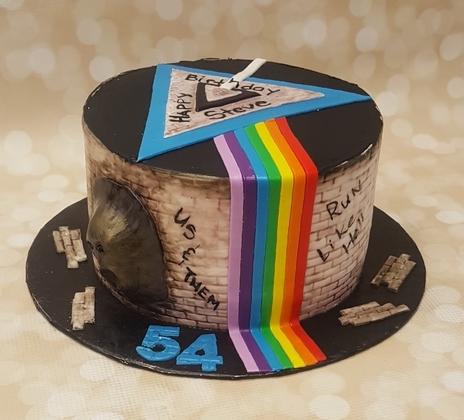 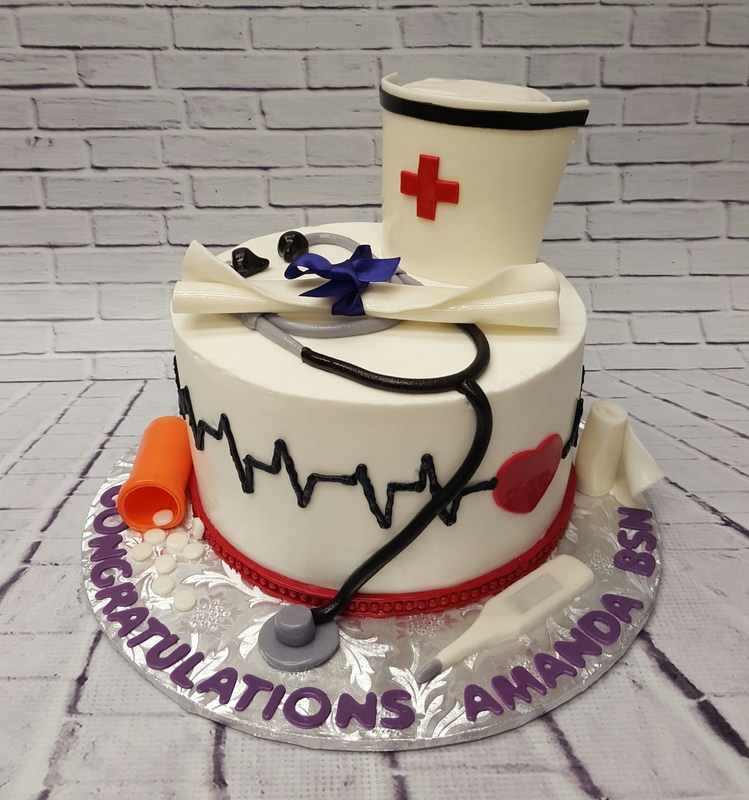 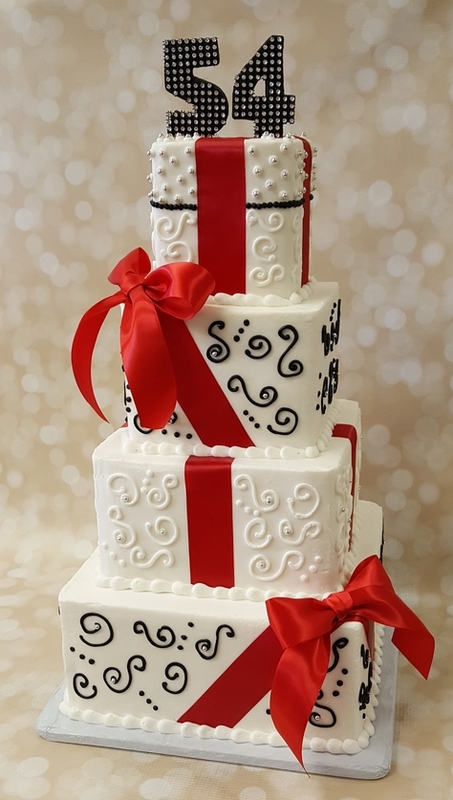 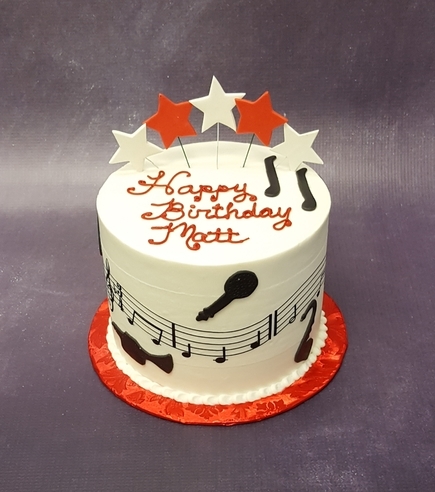 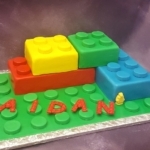 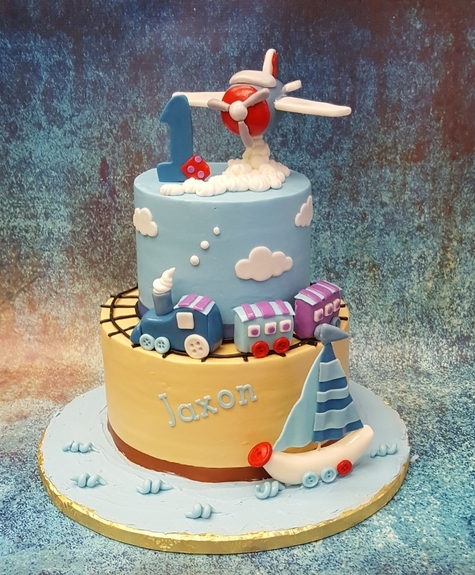 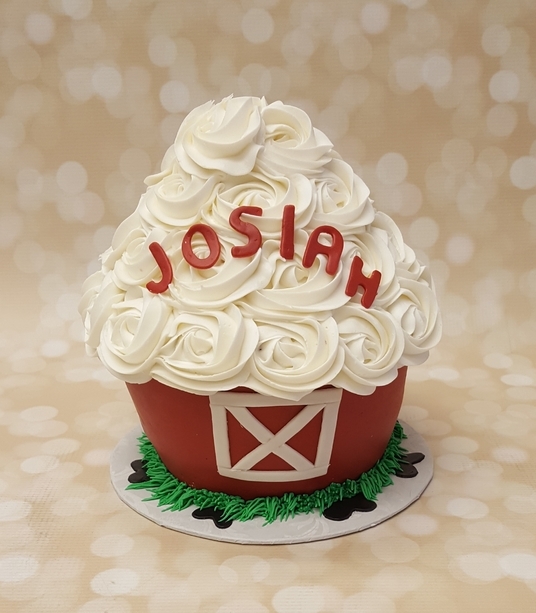 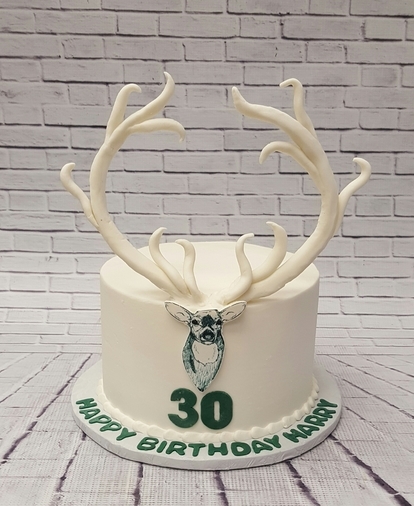 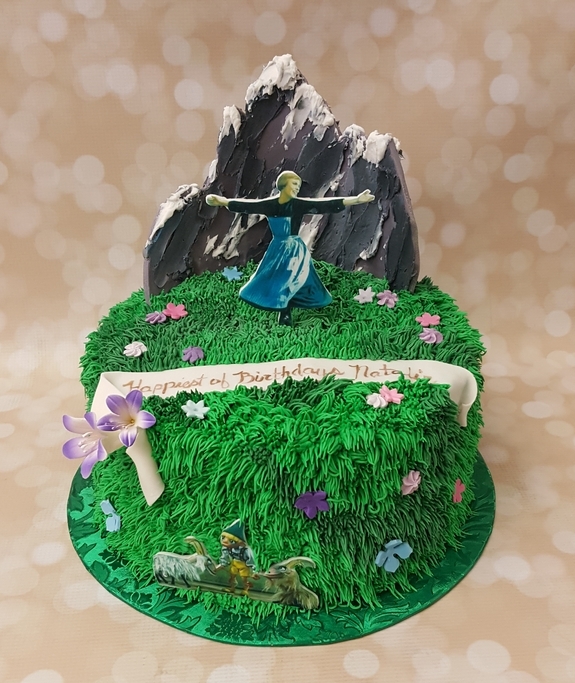 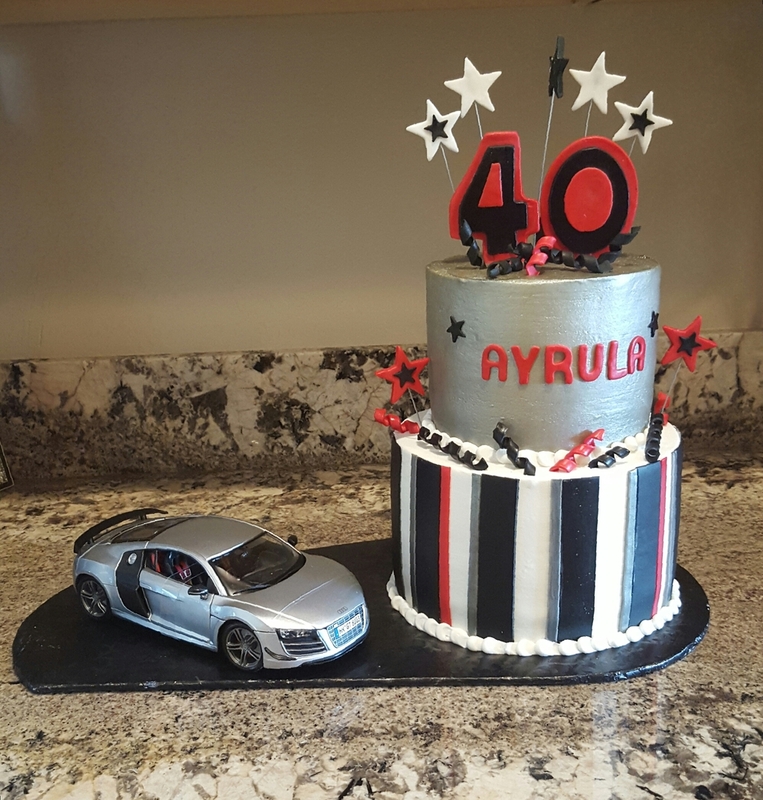 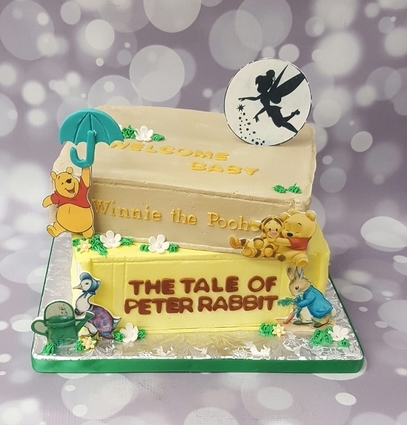 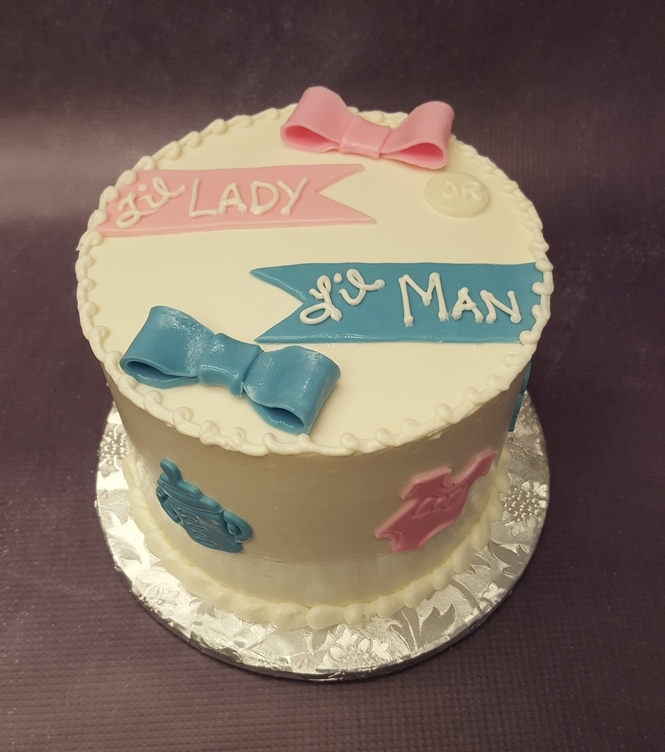 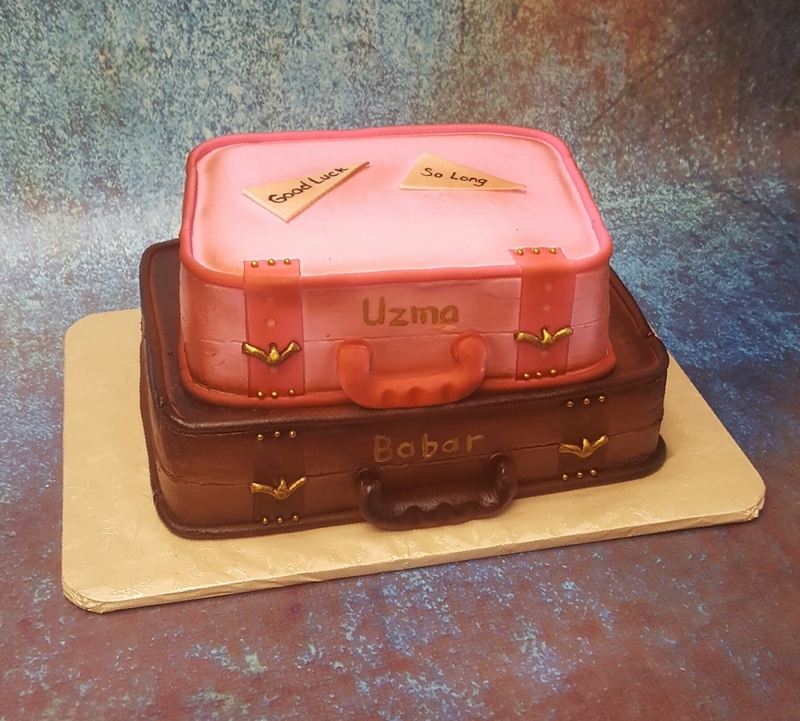 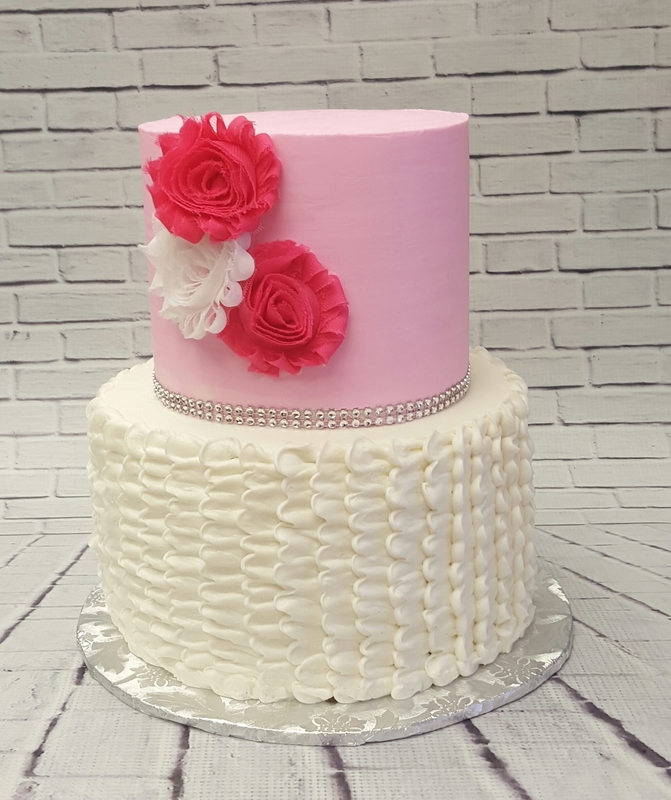 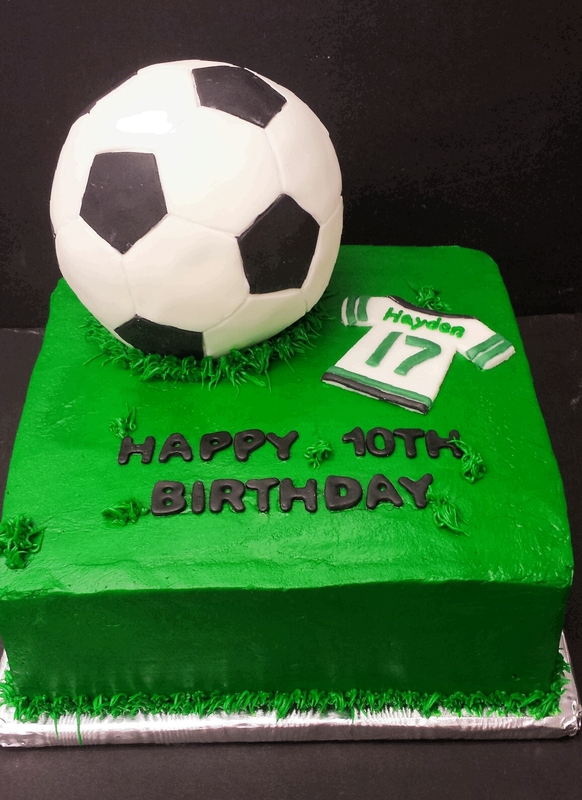 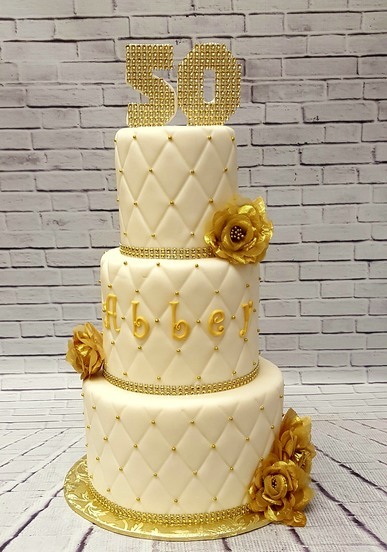 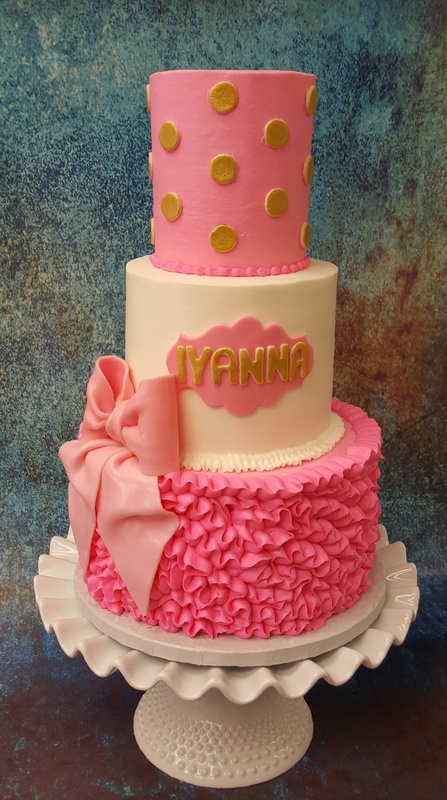 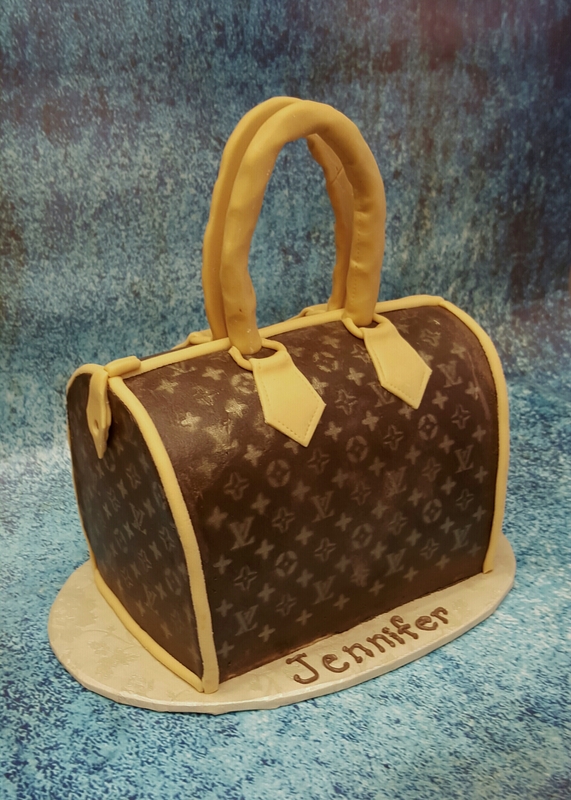 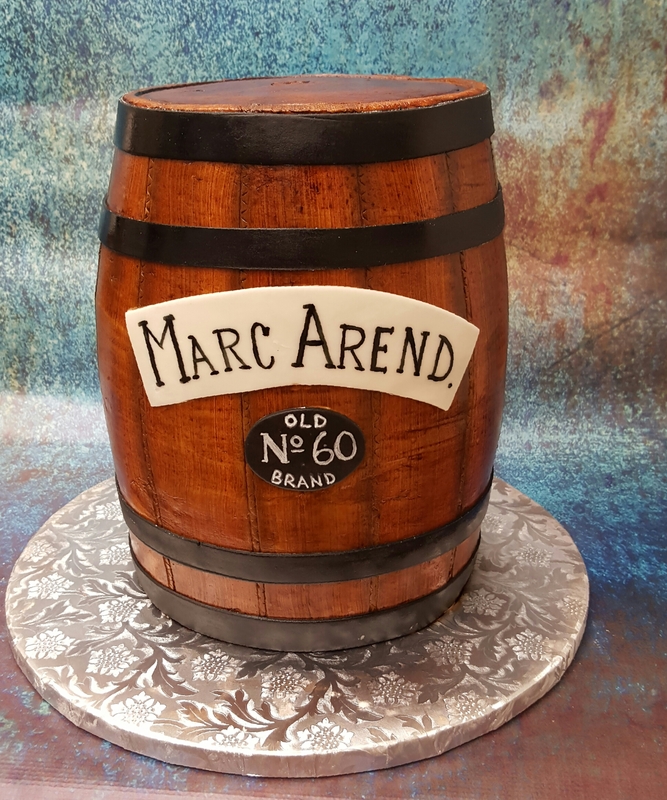 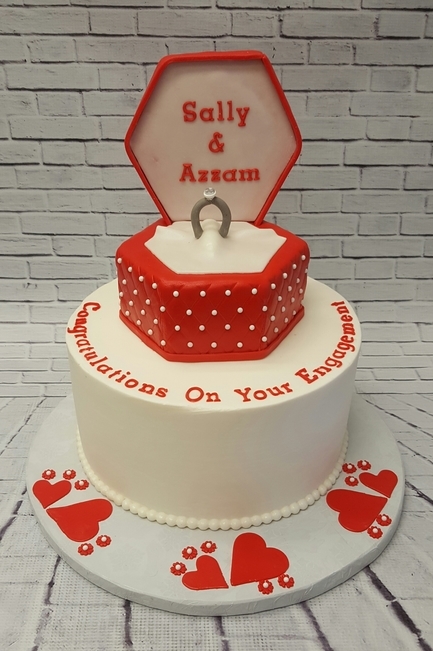 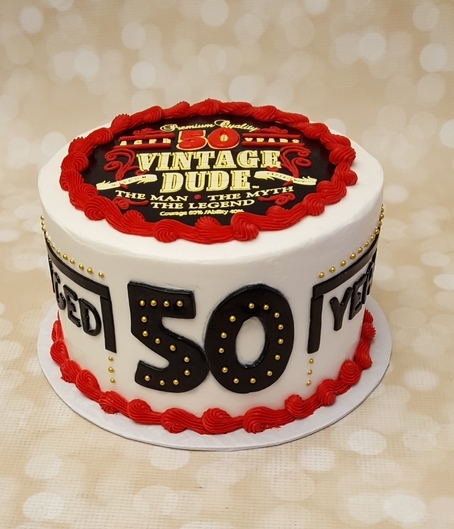 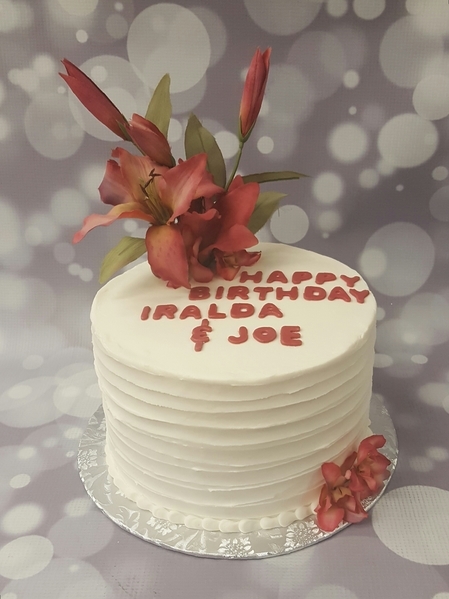 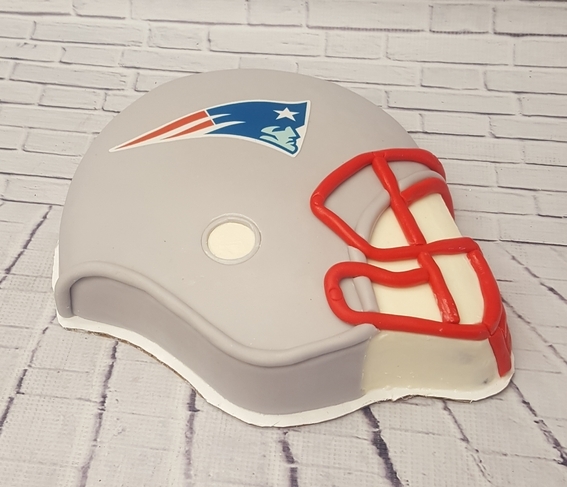 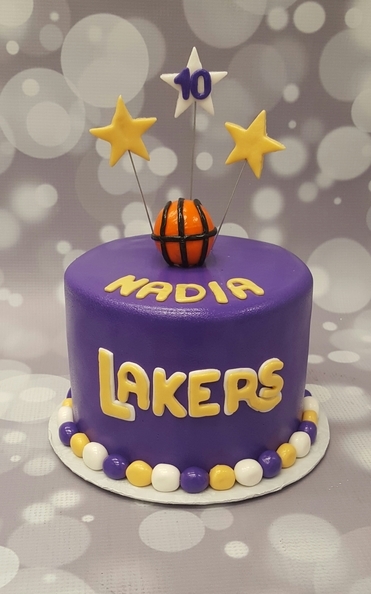 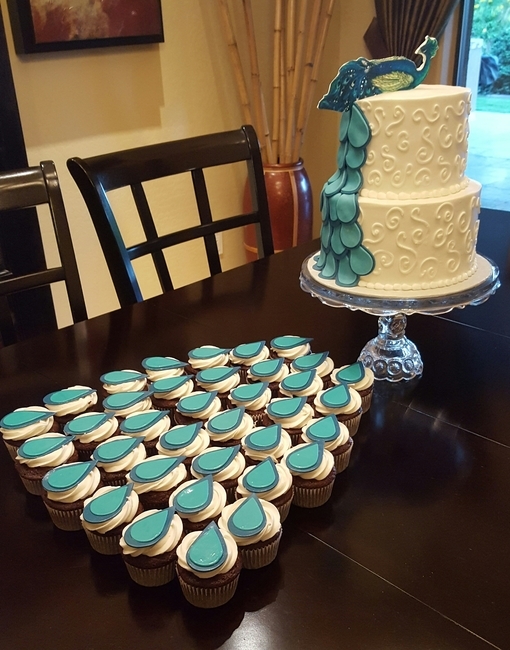 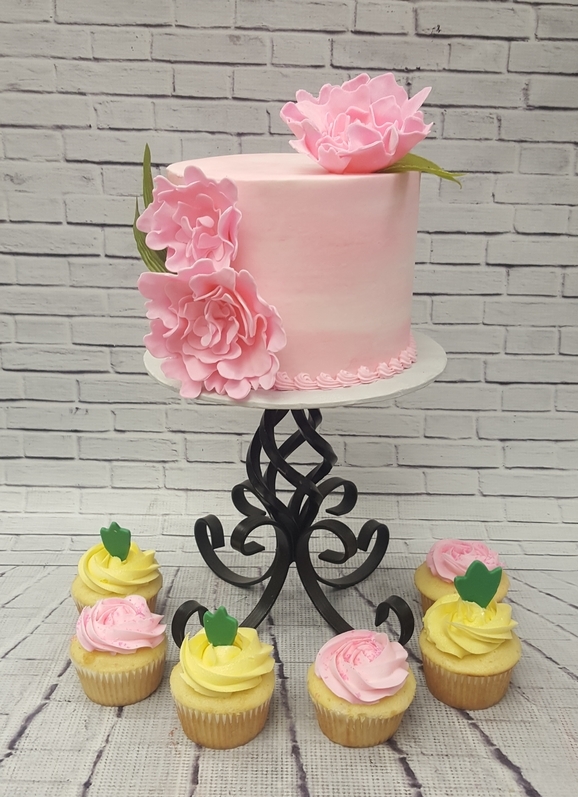 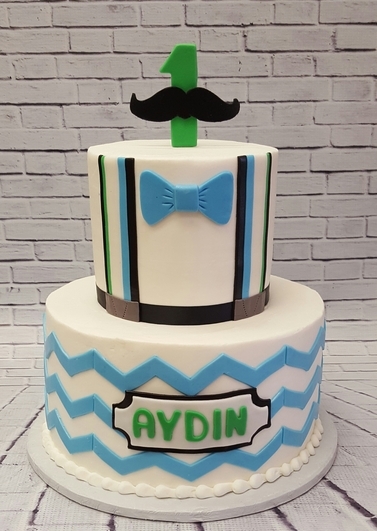 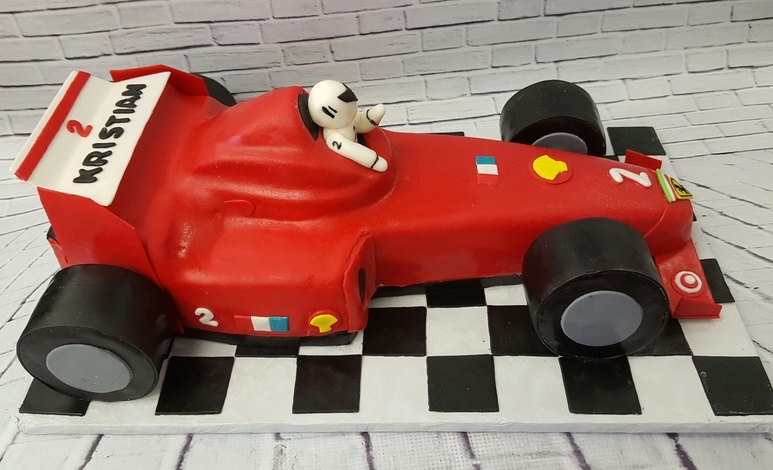 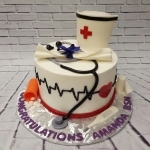 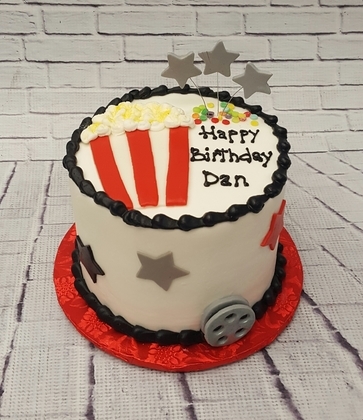 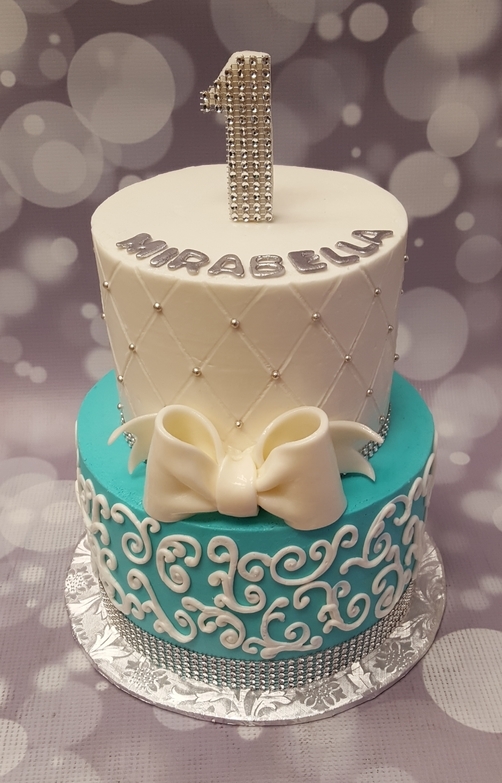 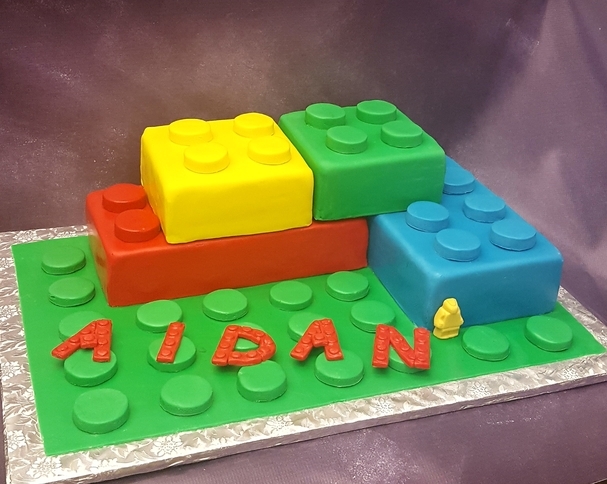 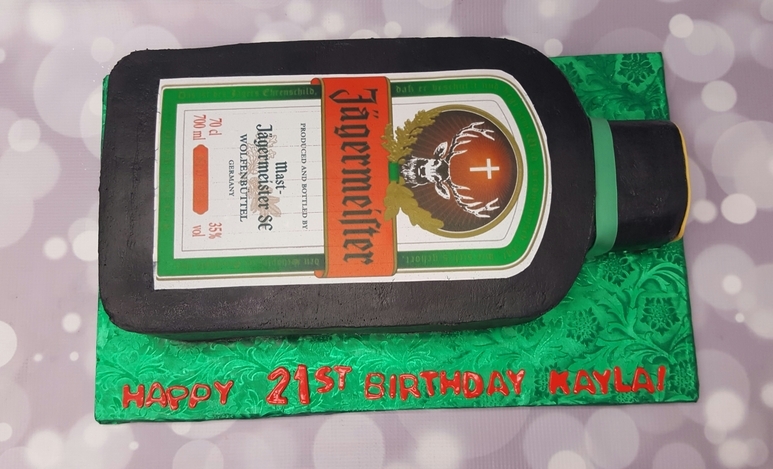 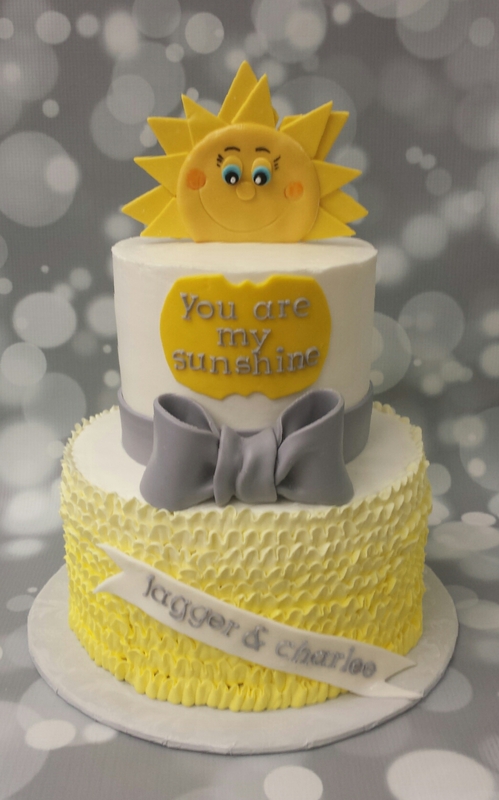 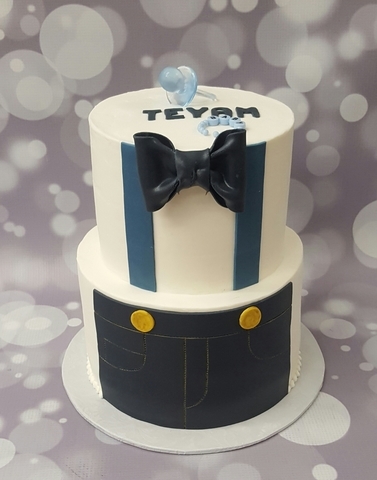 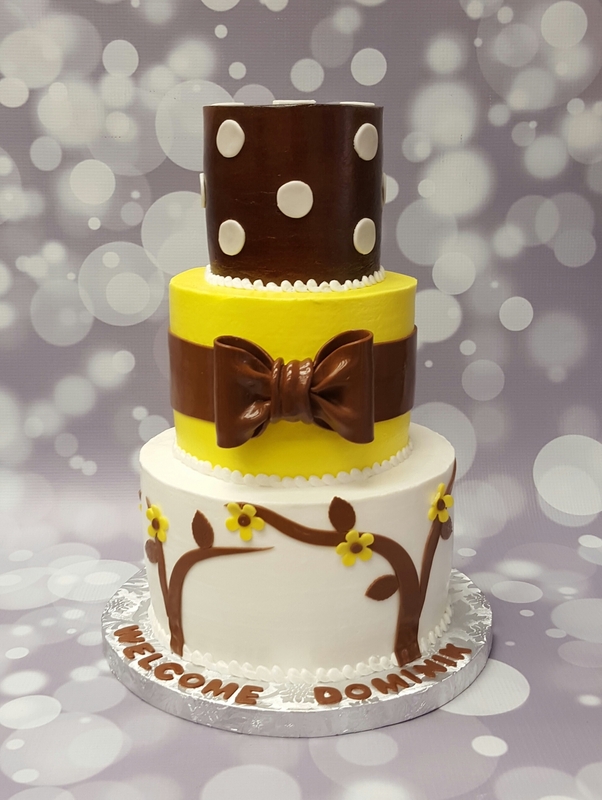 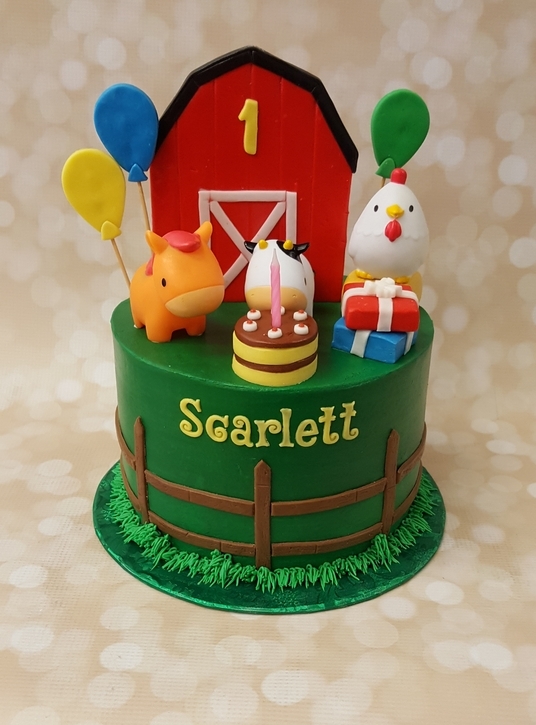 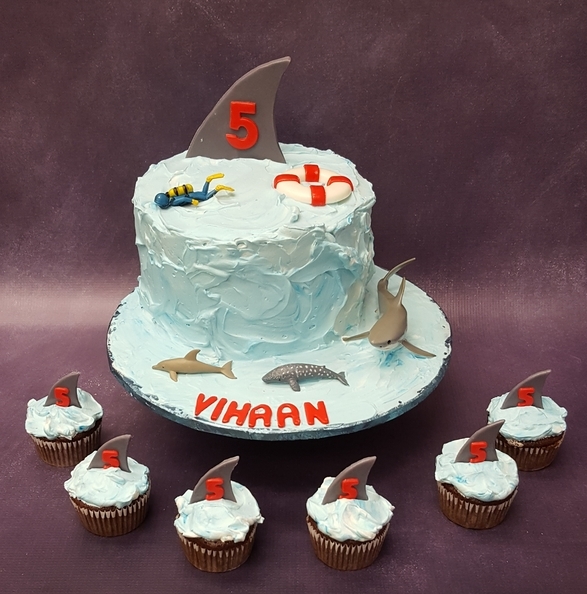 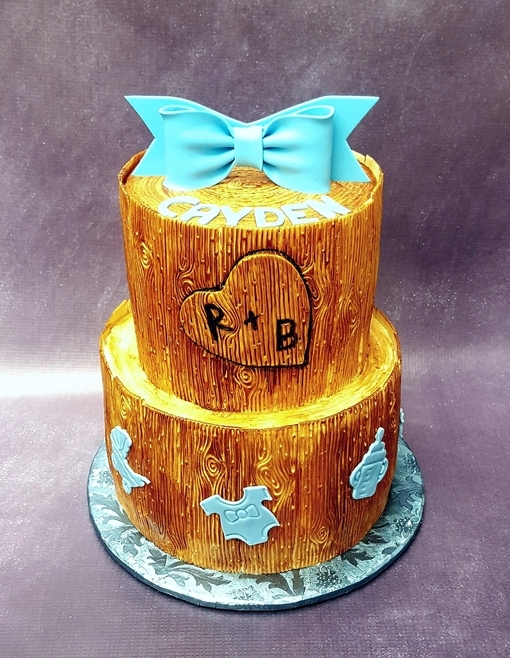 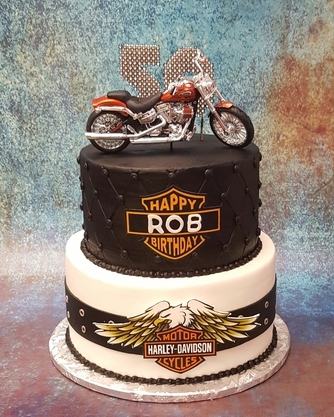 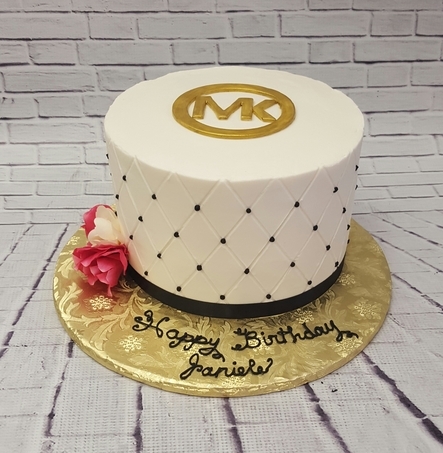 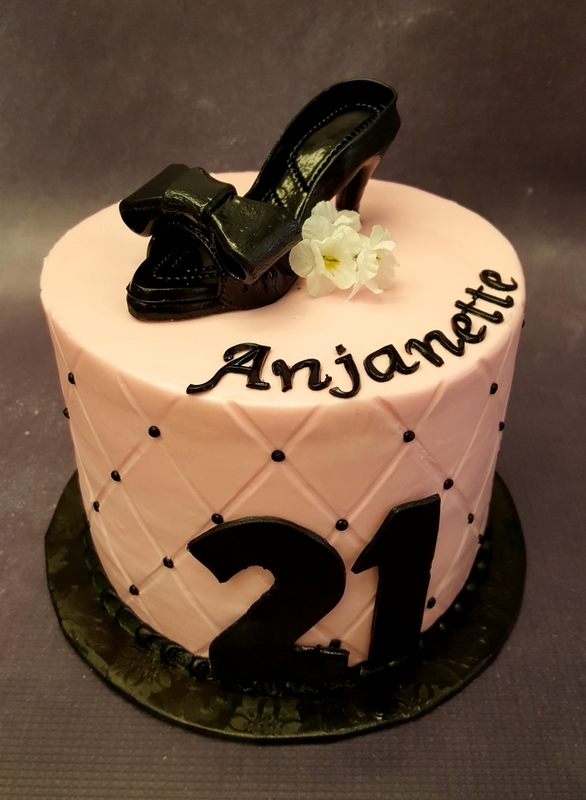 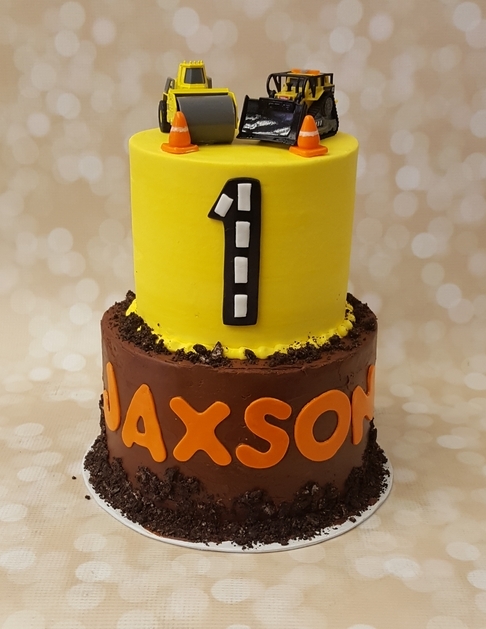 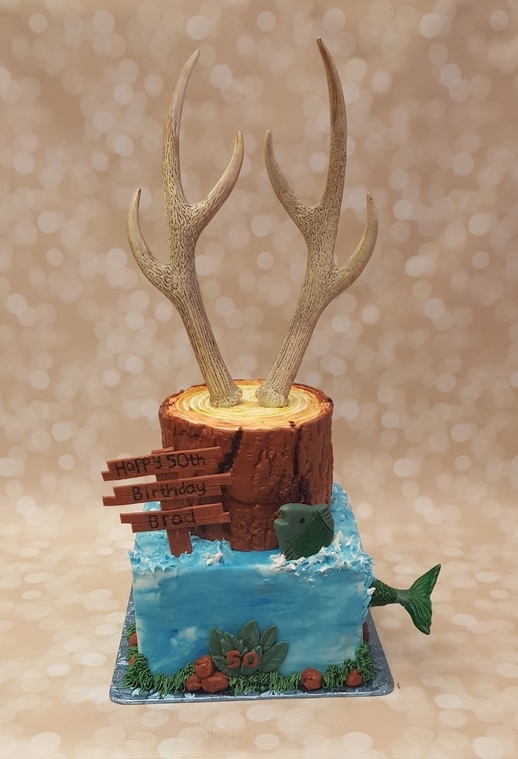 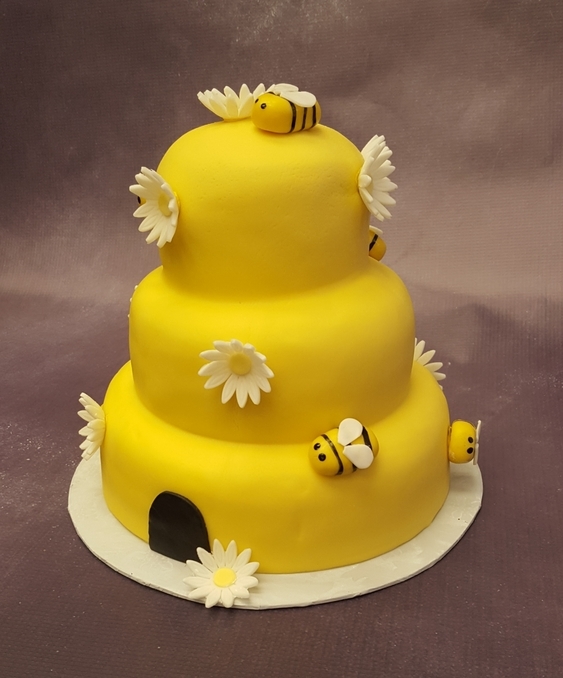 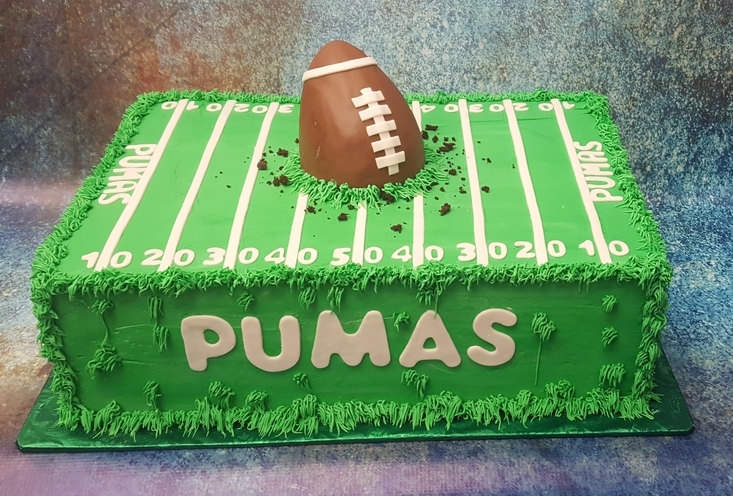 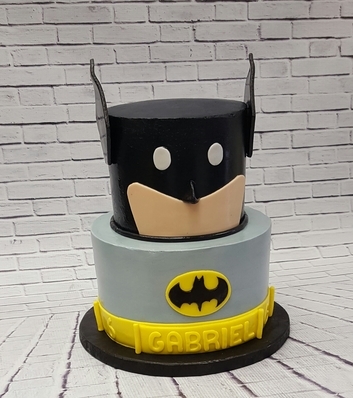 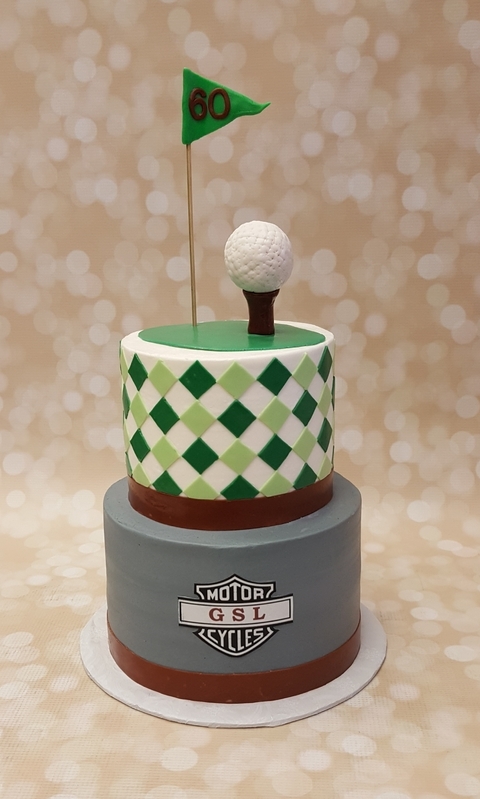 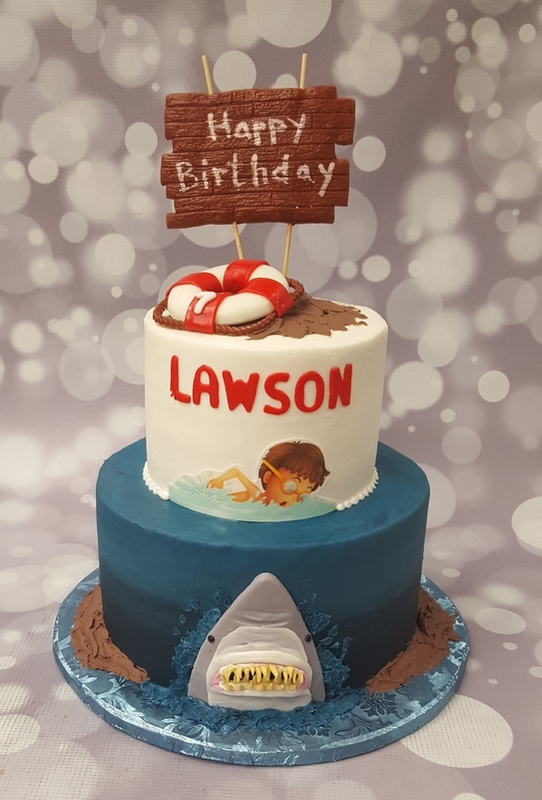 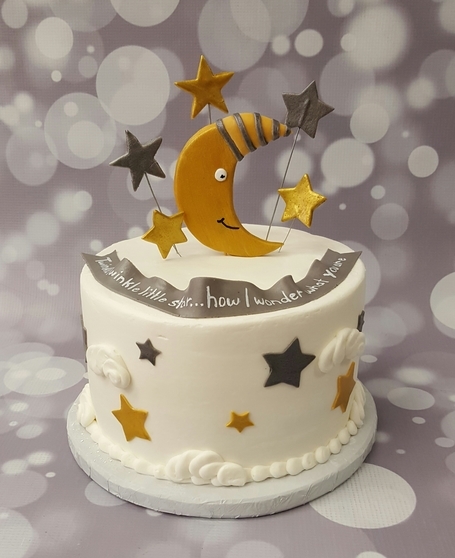 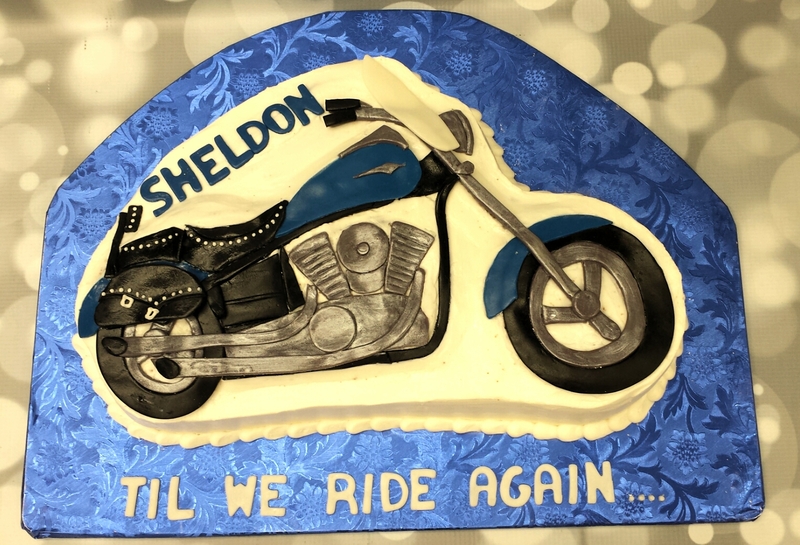 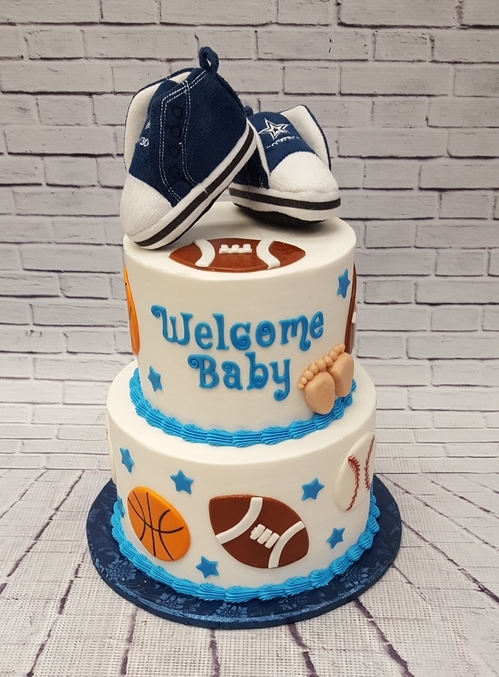 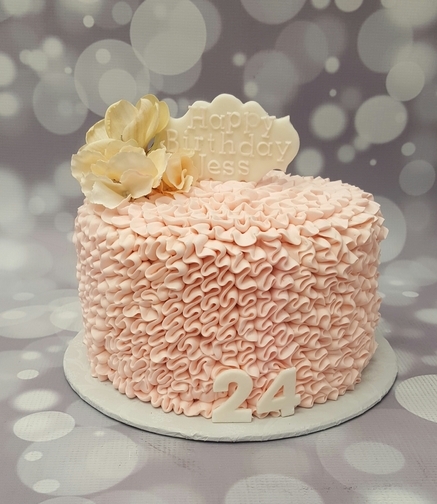 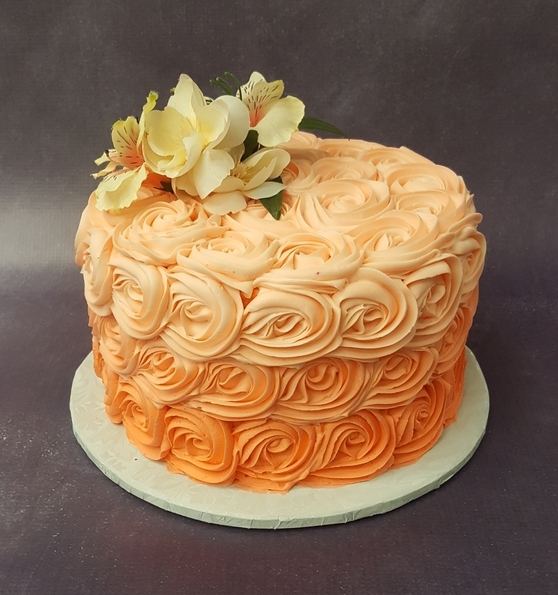 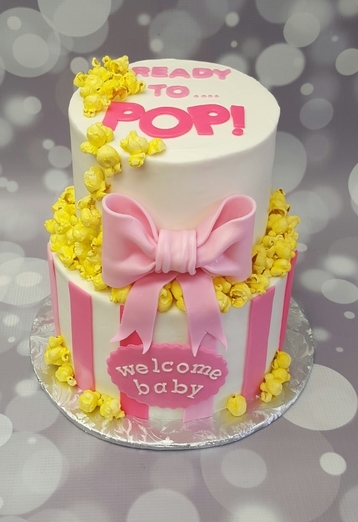 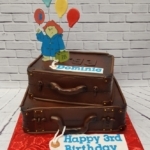 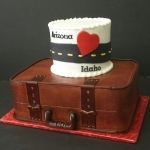 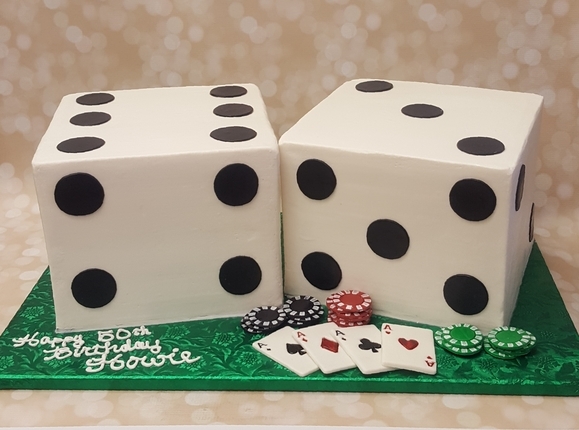 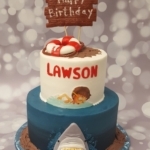 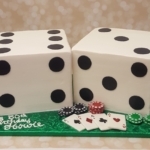 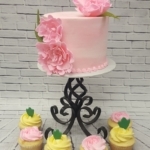 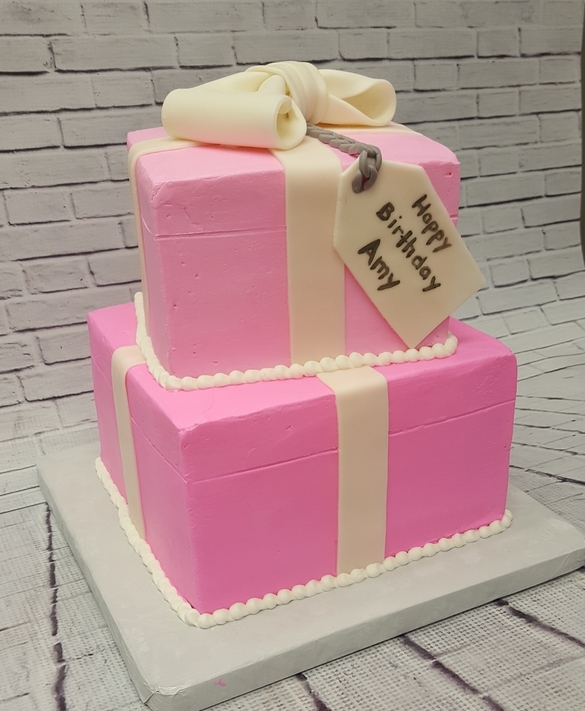 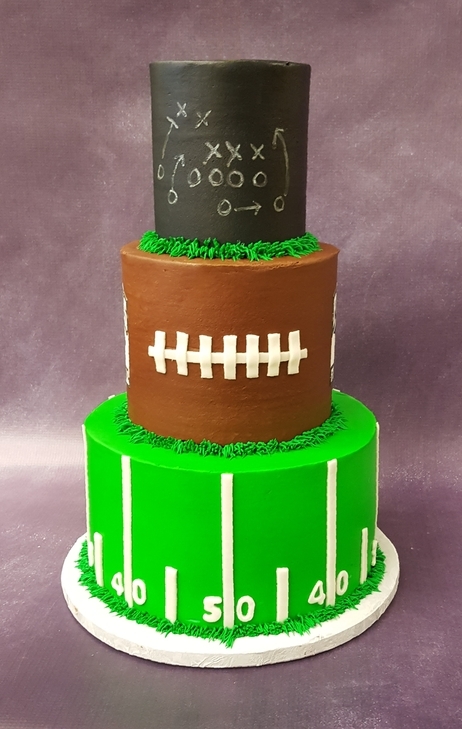 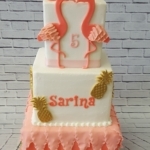 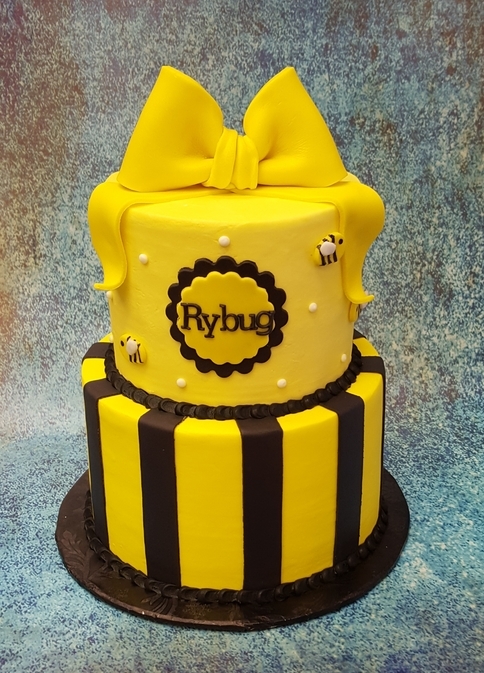 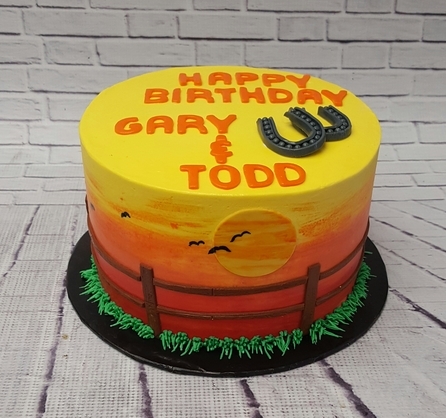 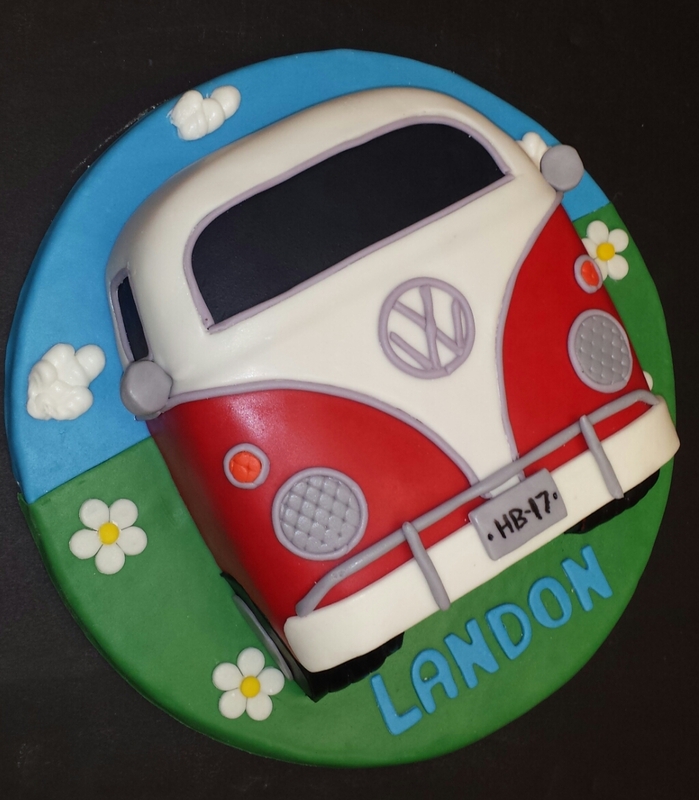 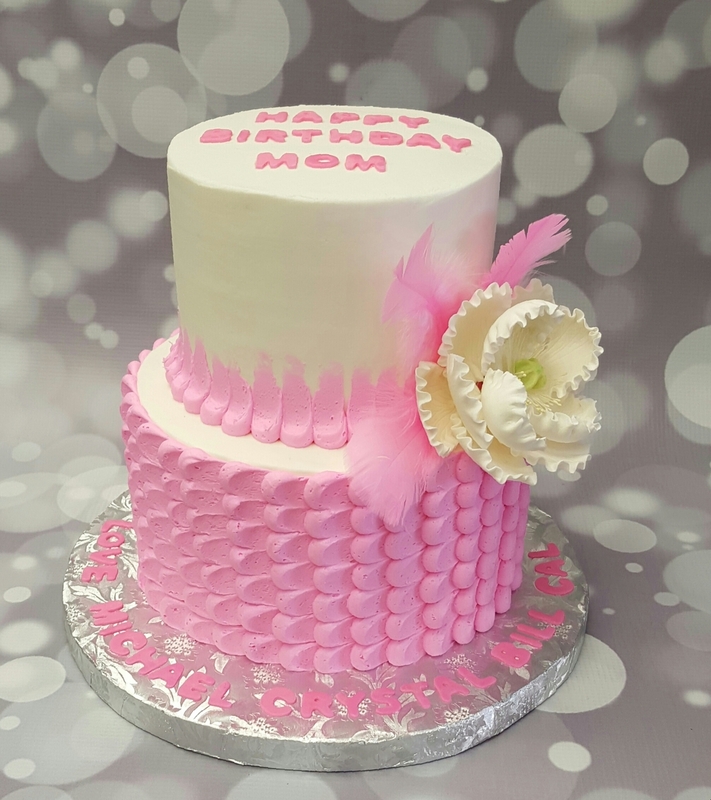 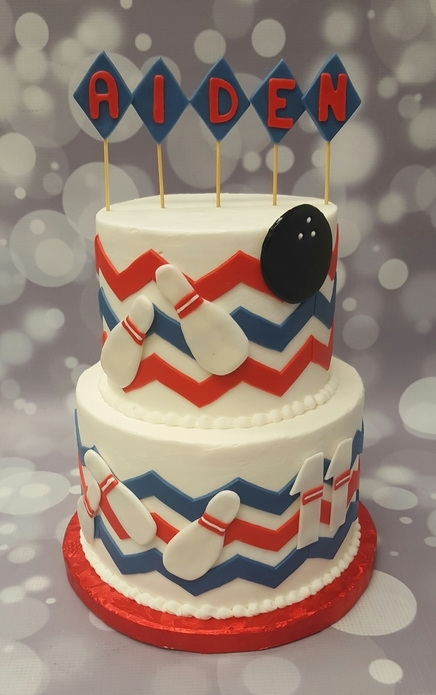 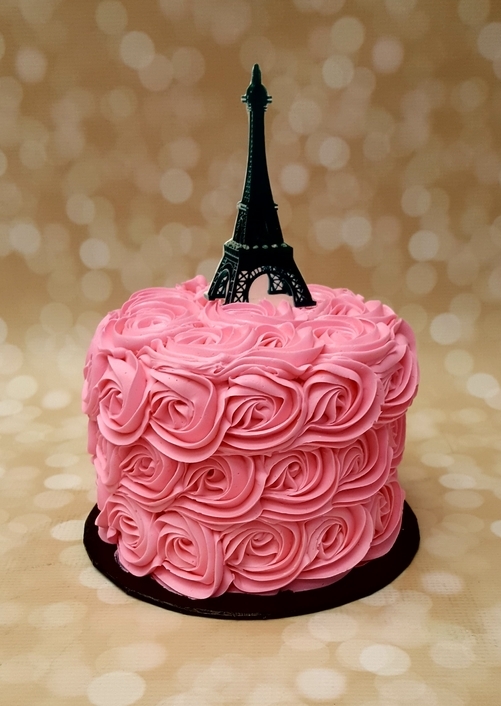 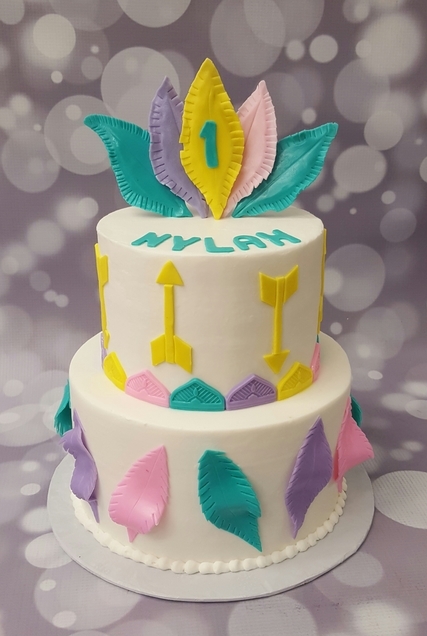 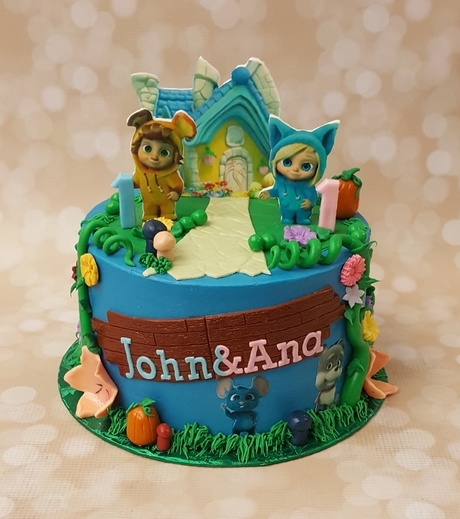 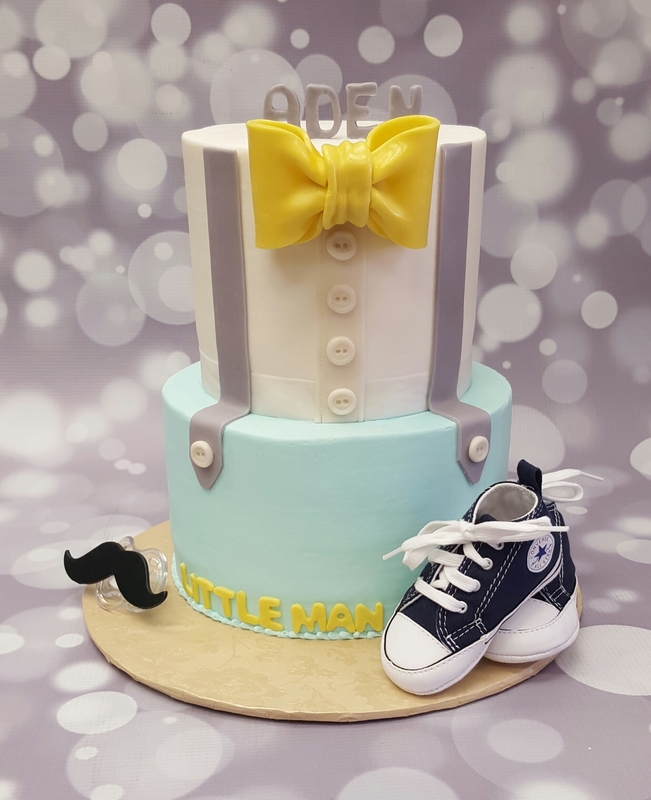 Custom shaped cakes are the perfect addition to any event worth celebrating – including engagements, wedding and baby showers, birthdays, bon voyages, new jobs, promotions and a job well done (just to name a very tiny few). 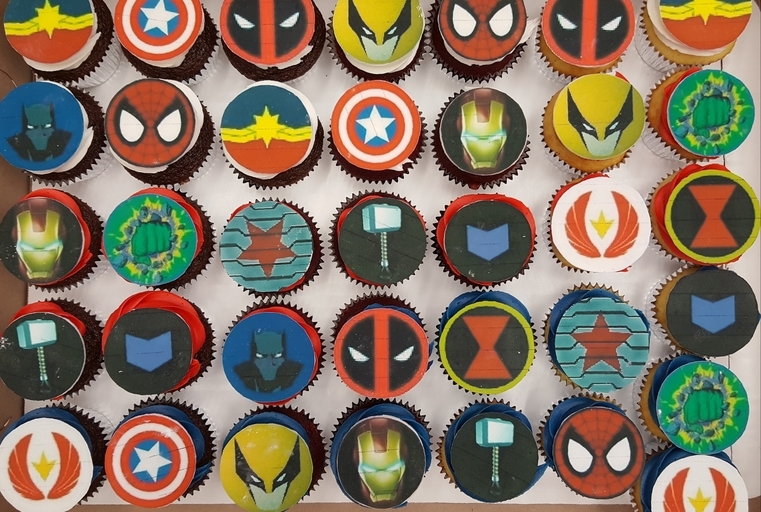 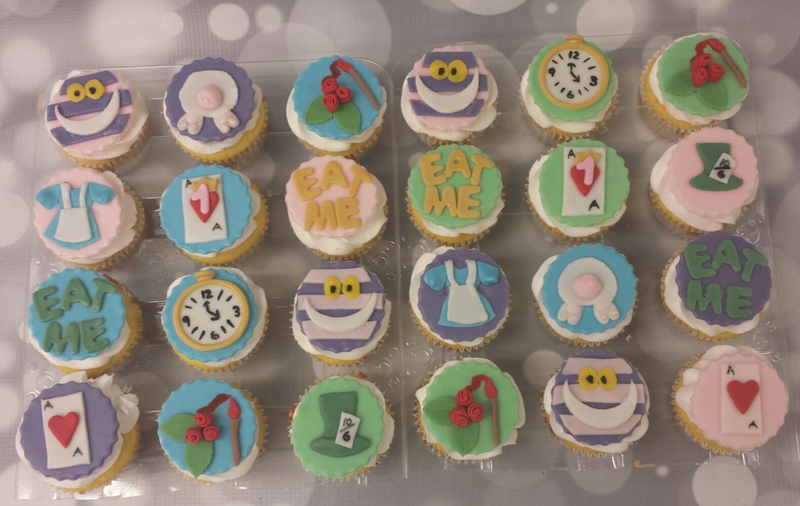 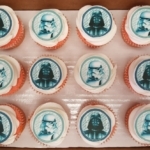 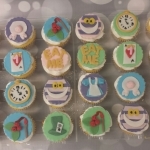 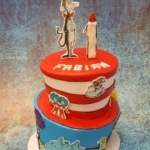 Your guests will “ooh…” and “ahh…” over cakes that fit your imagination. 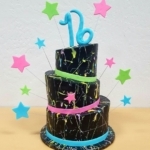 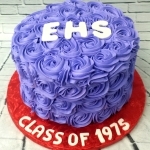 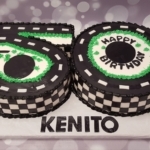 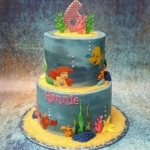 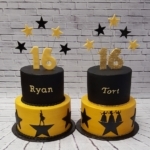 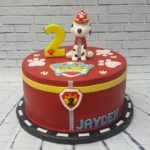 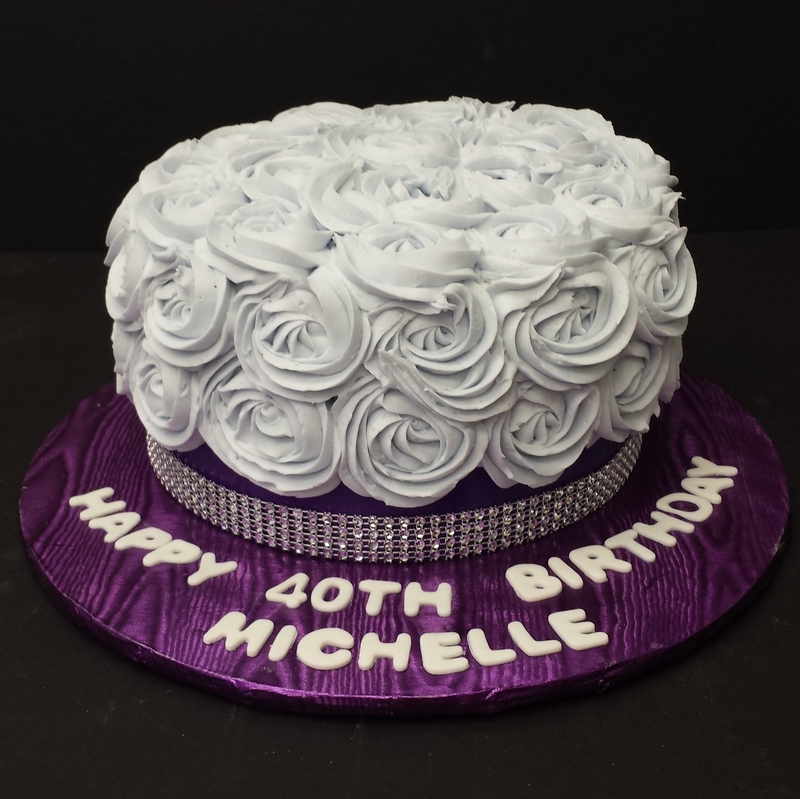 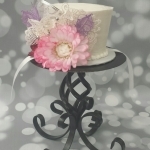 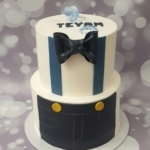 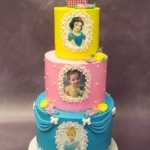 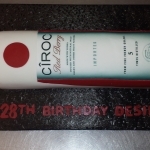 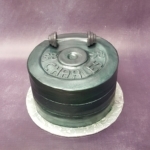 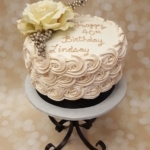 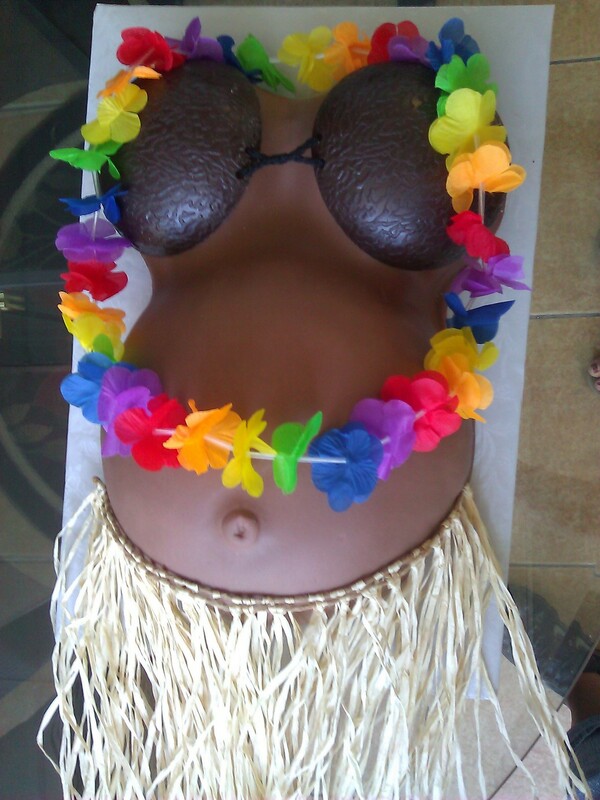 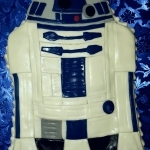 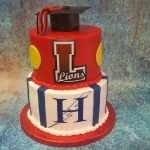 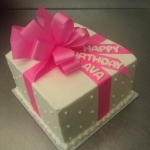 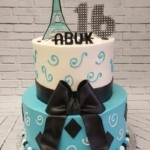 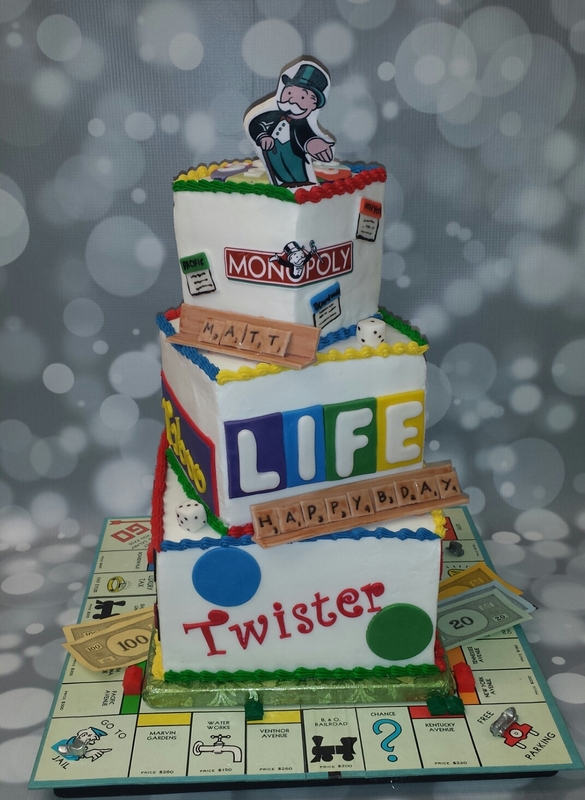 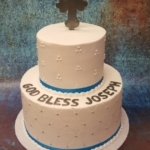 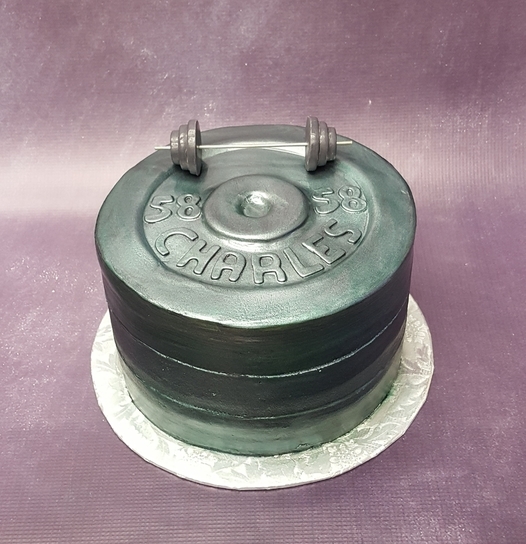 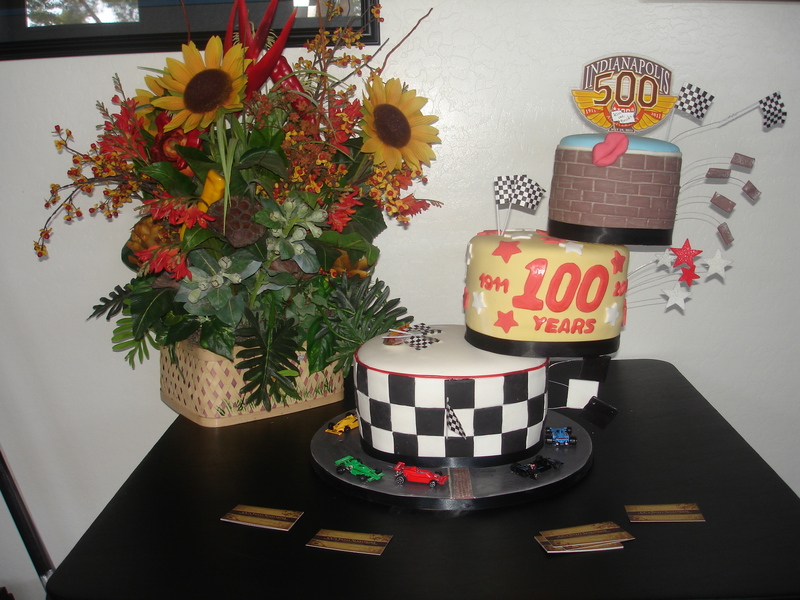 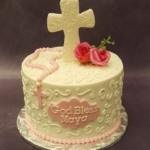 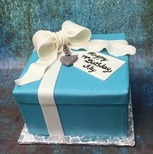 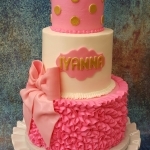 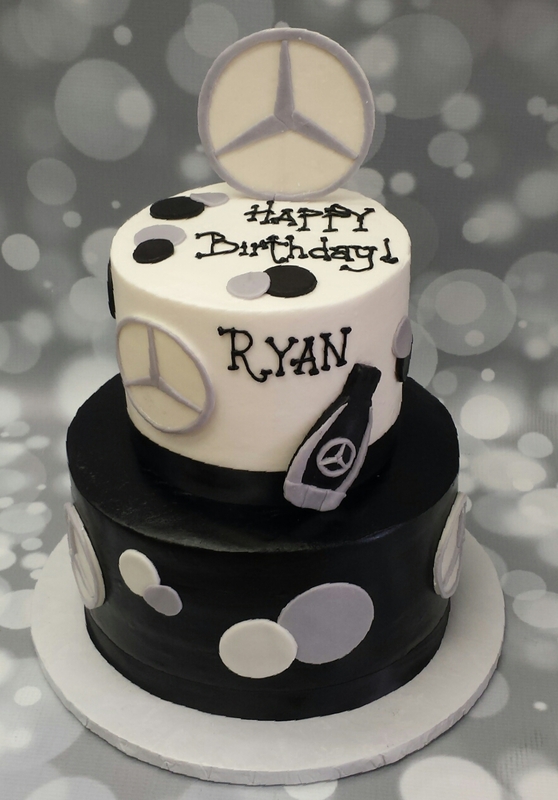 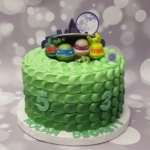 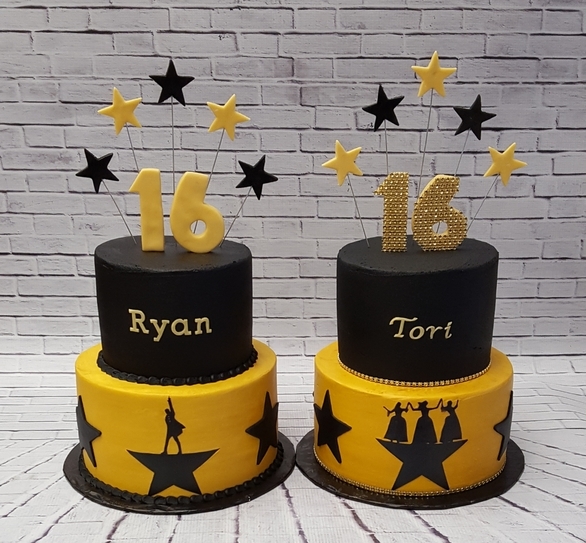 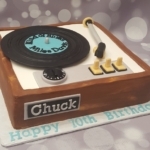 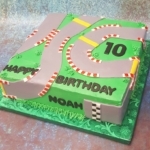 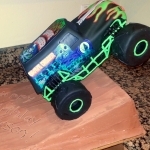 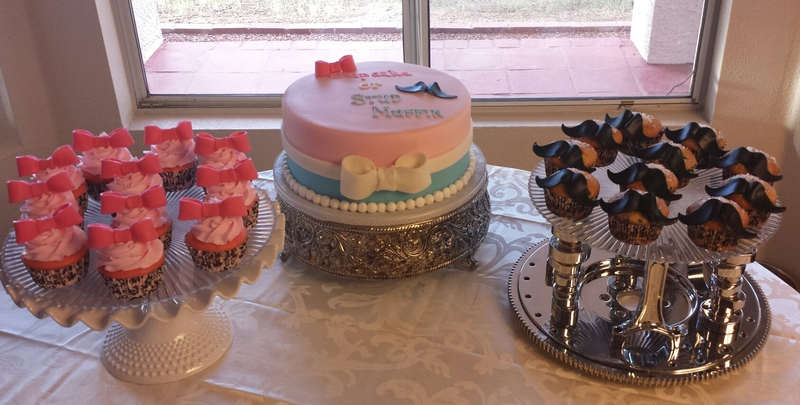 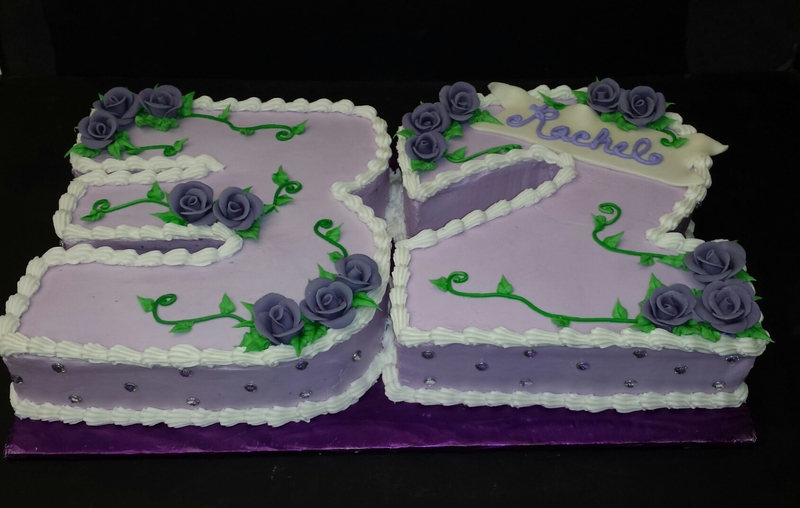 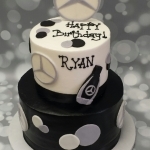 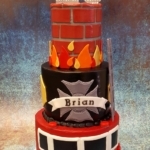 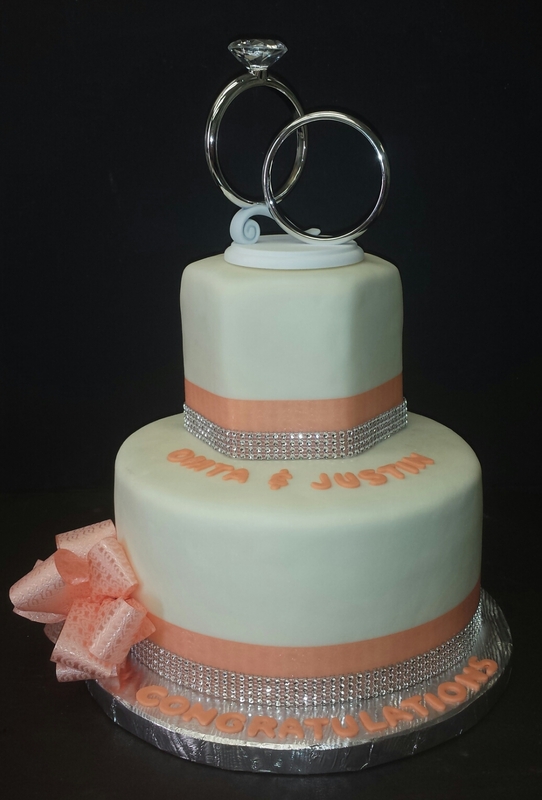 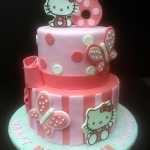 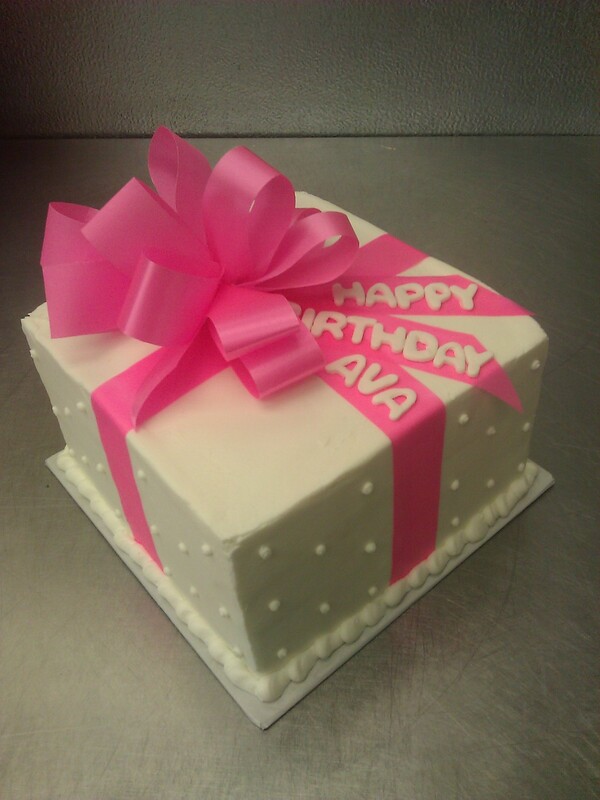 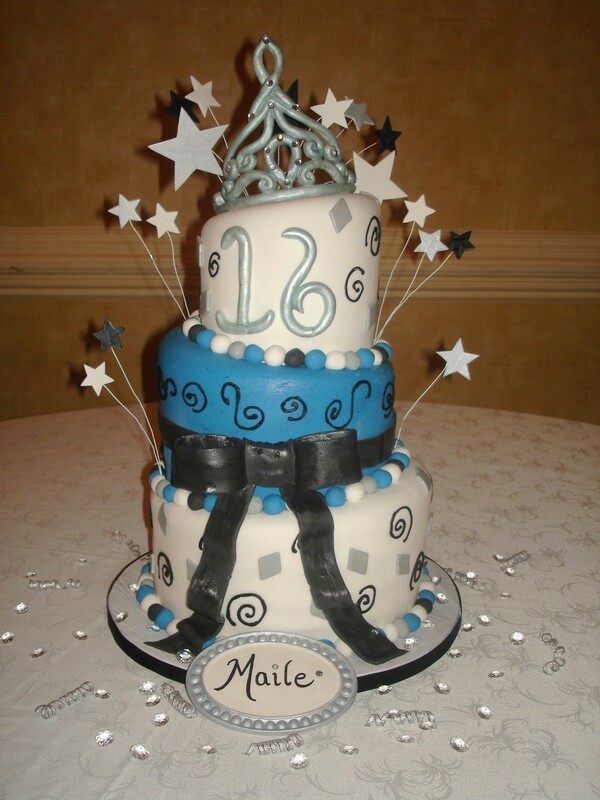 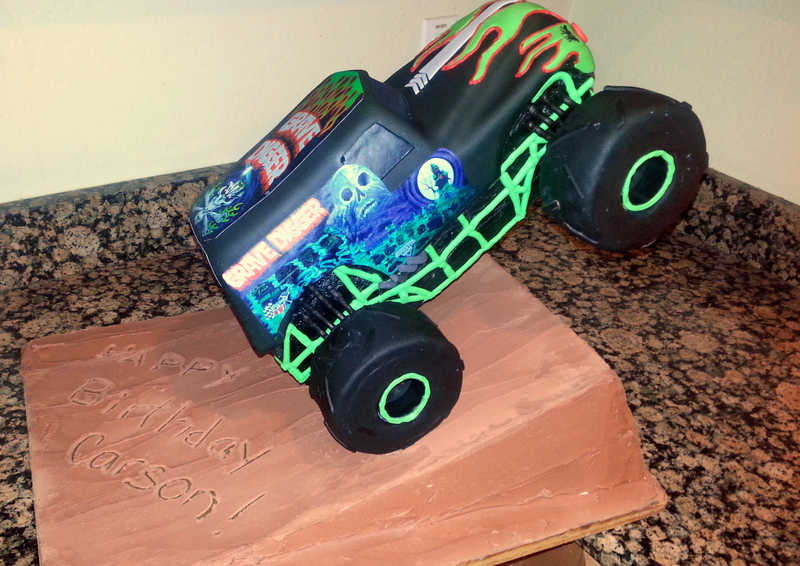 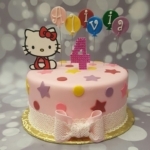 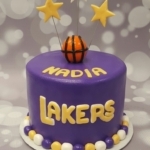 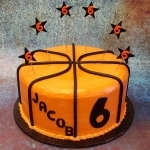 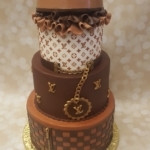 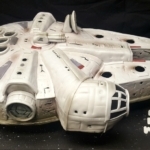 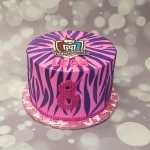 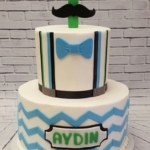 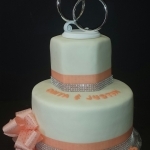 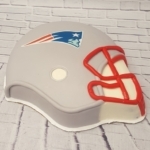 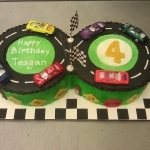 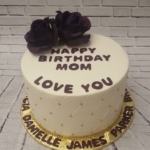 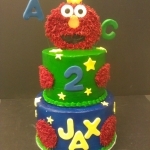 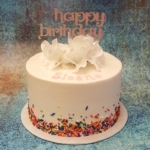 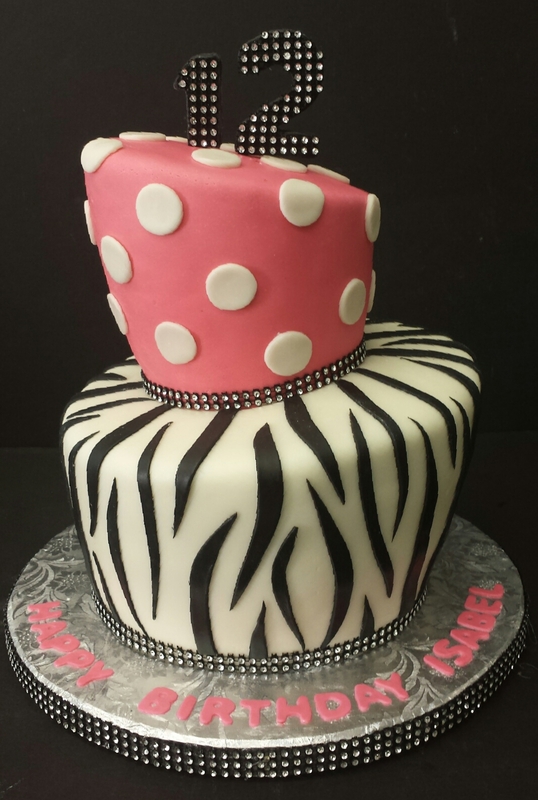 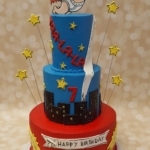 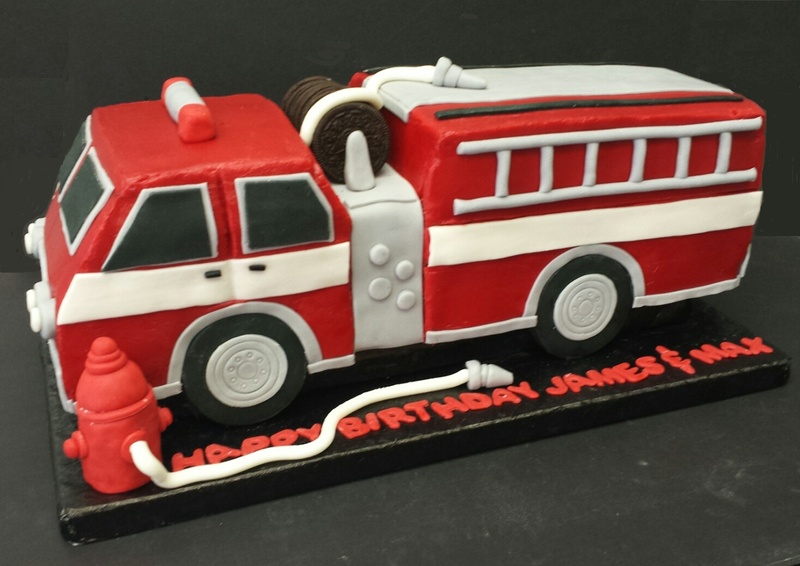 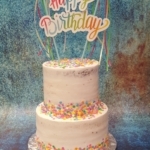 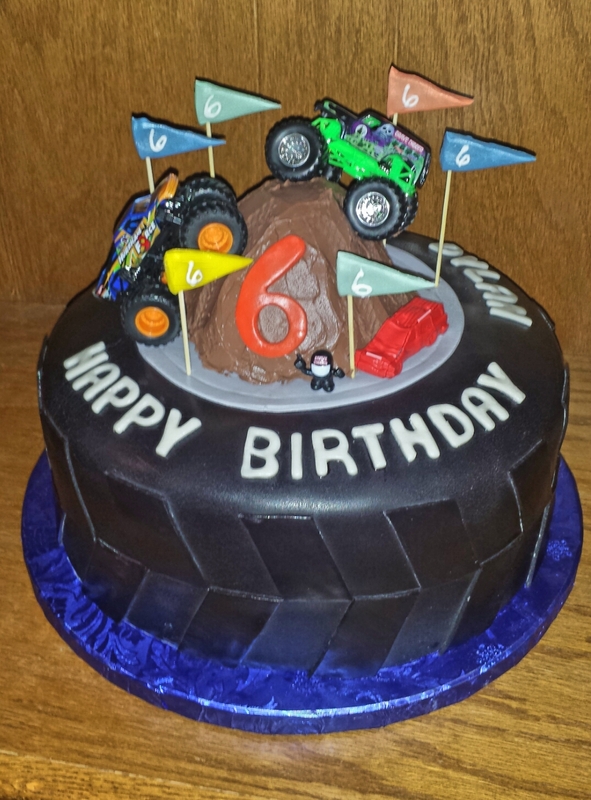 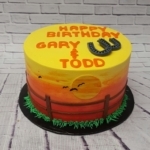 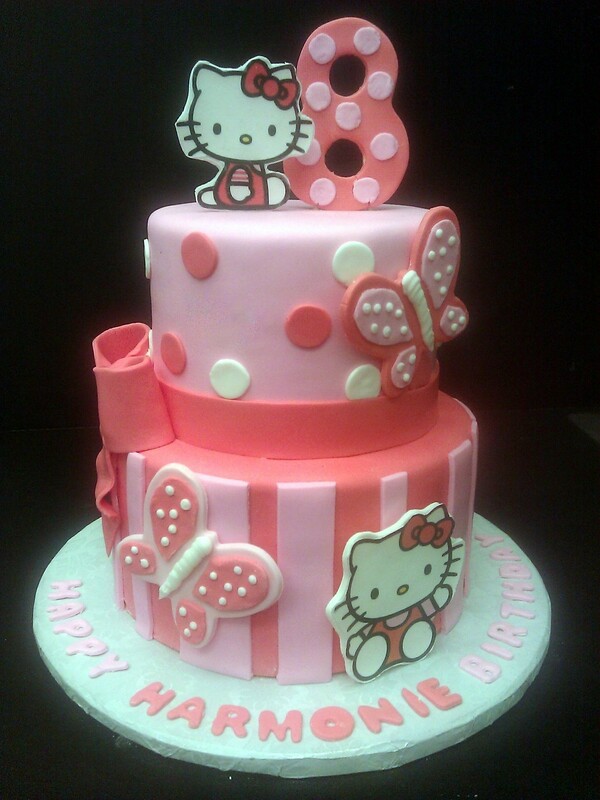 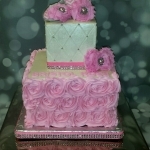 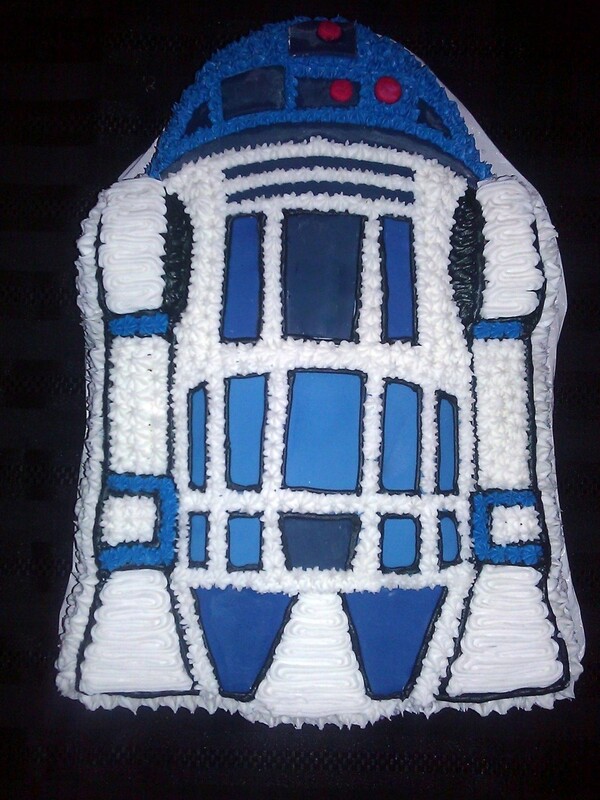 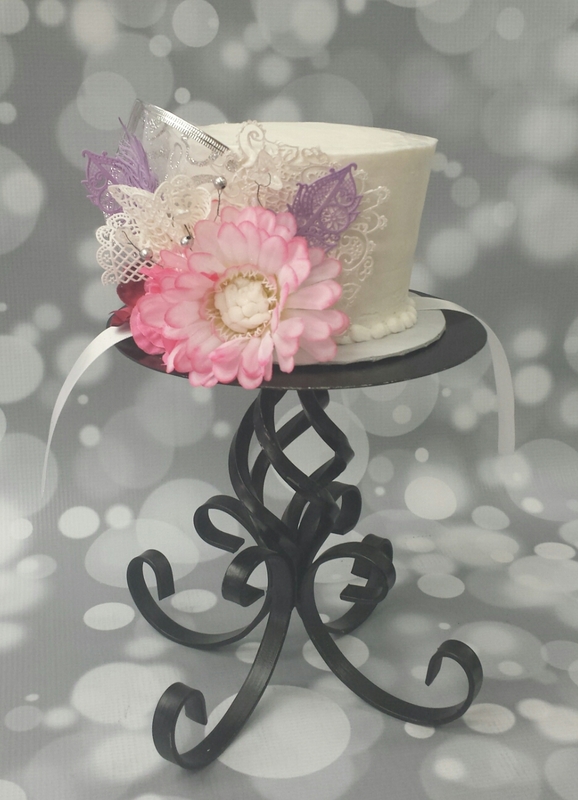 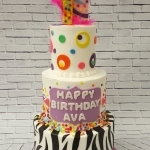 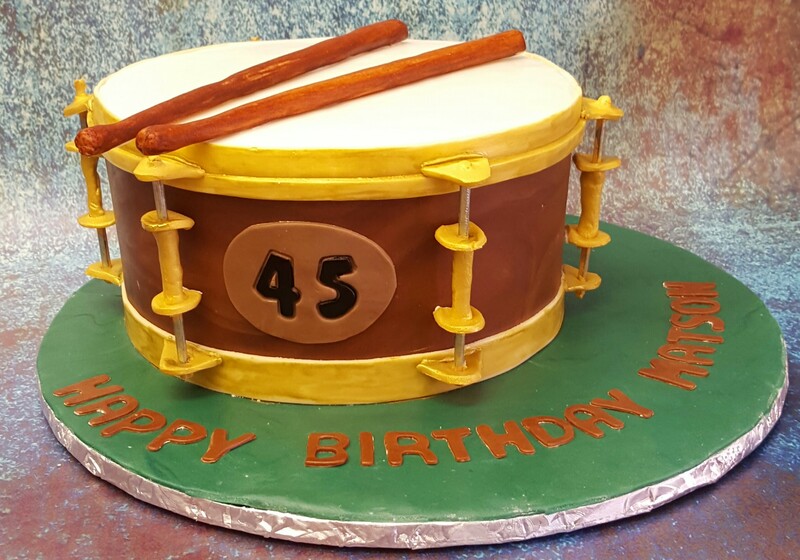 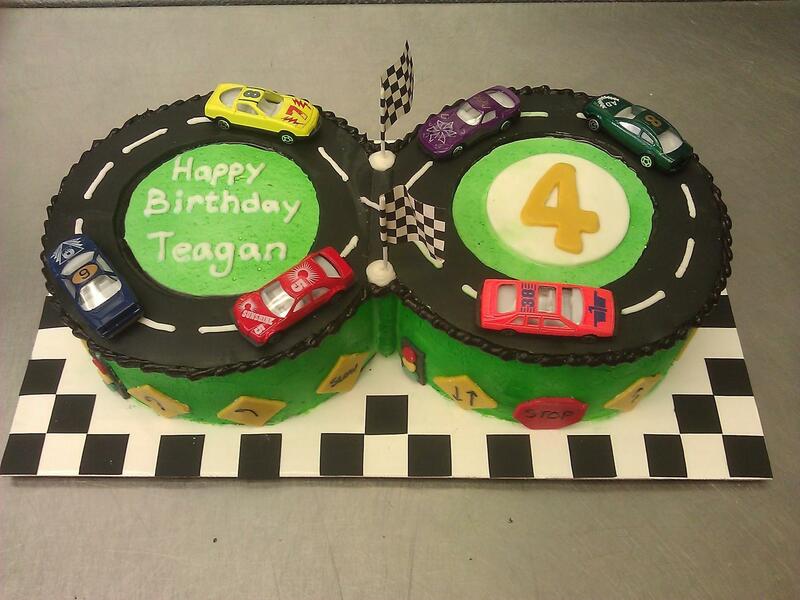 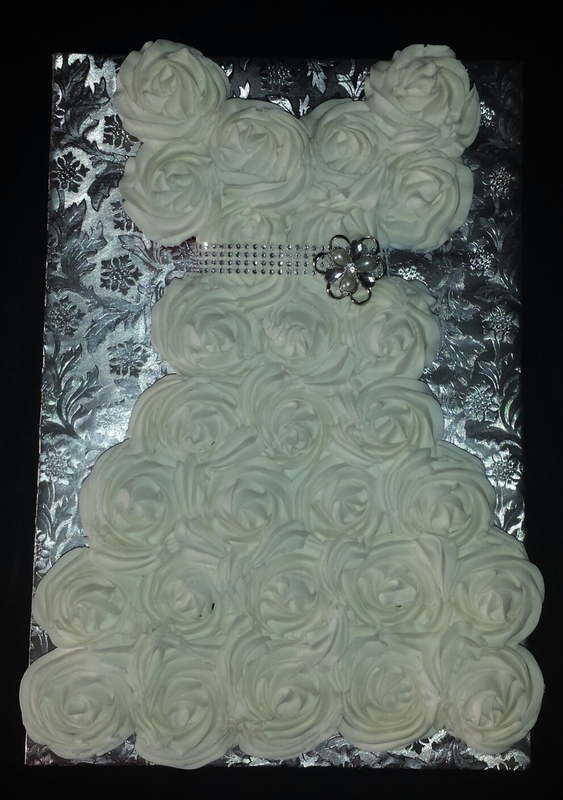 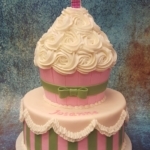 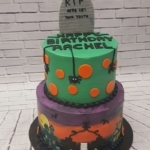 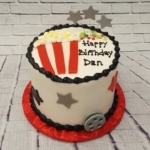 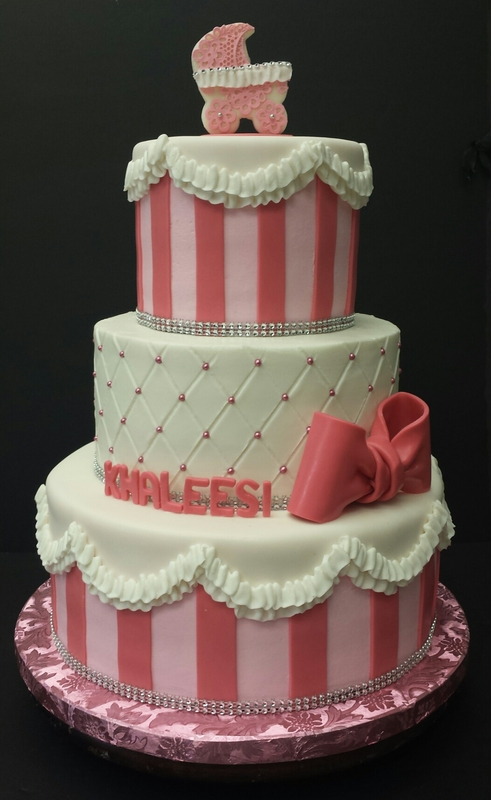 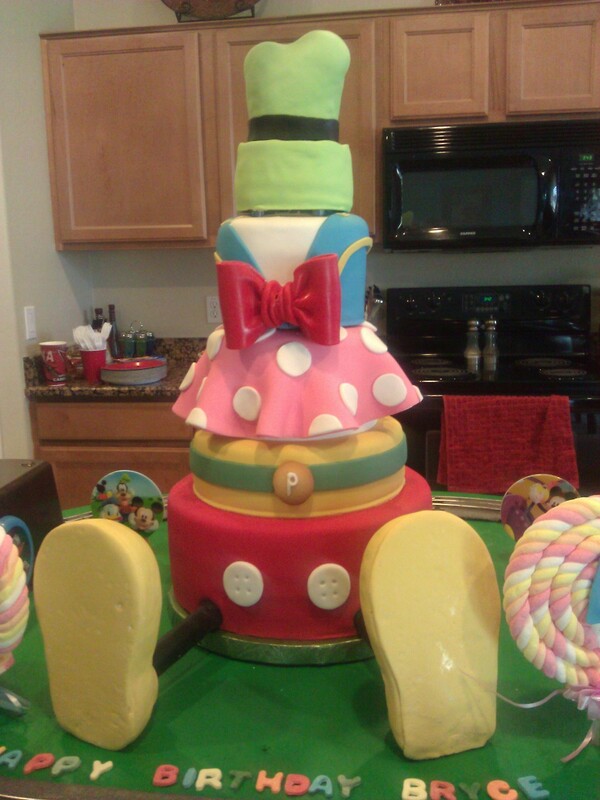 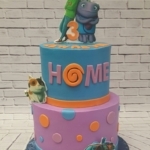 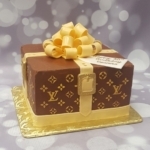 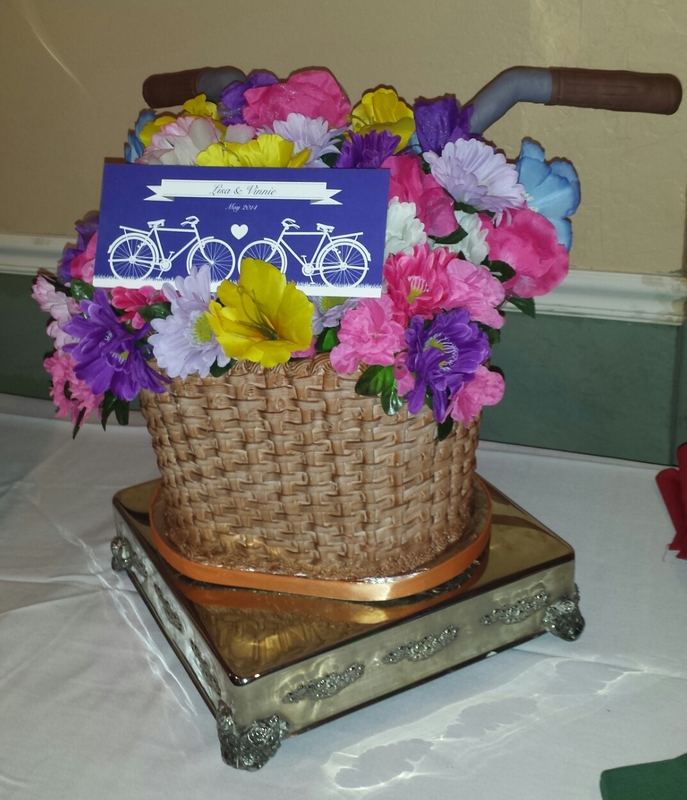 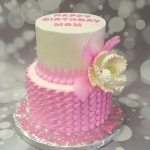 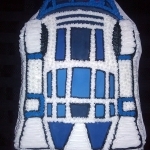 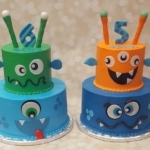 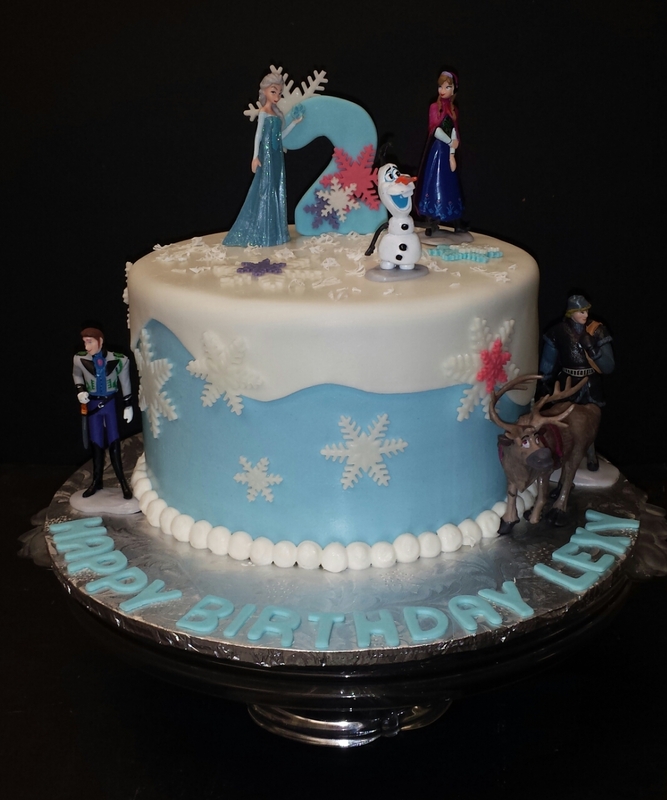 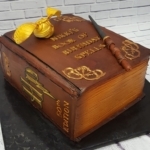 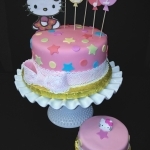 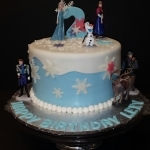 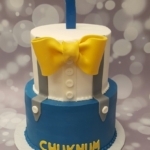 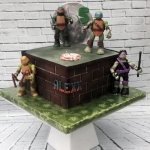 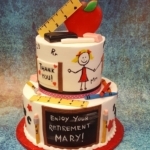 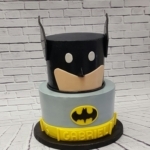 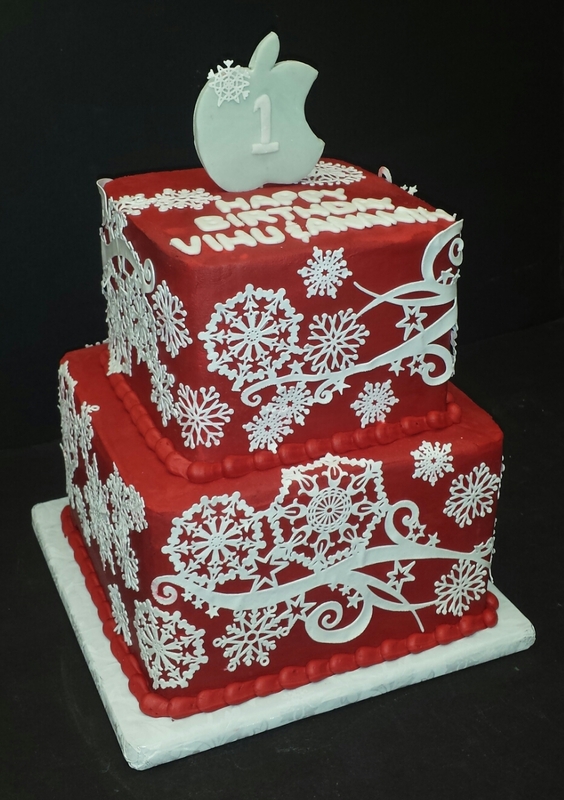 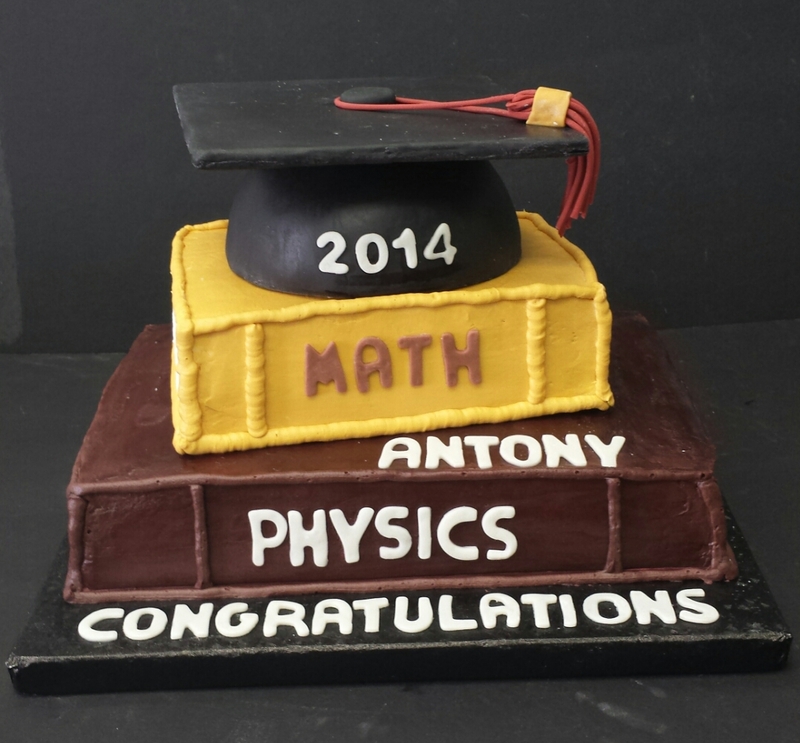 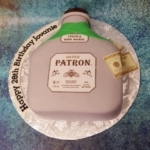 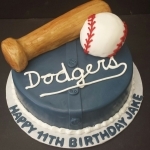 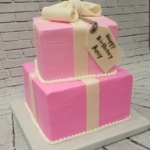 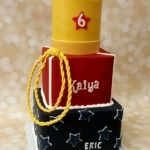 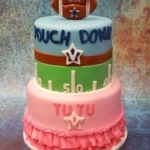 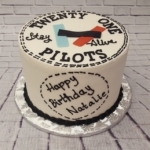 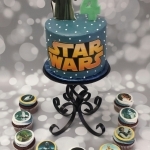 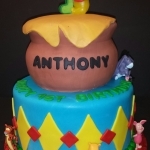 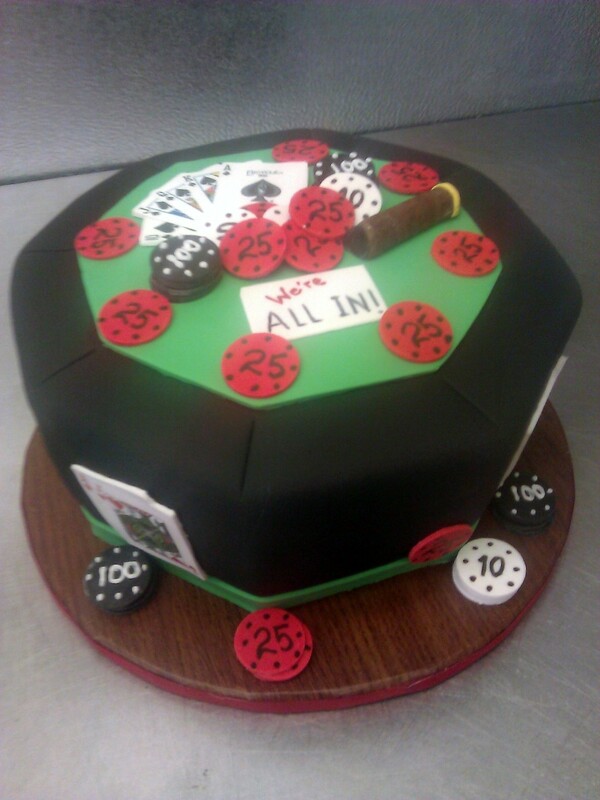 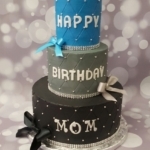 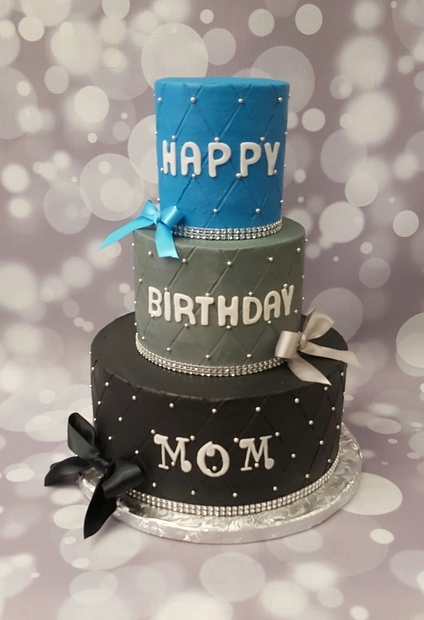 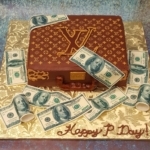 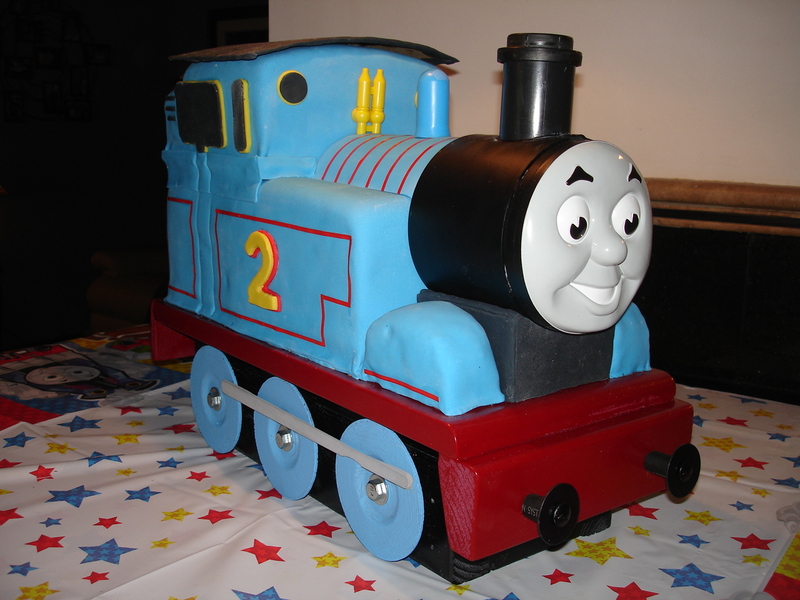 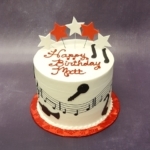 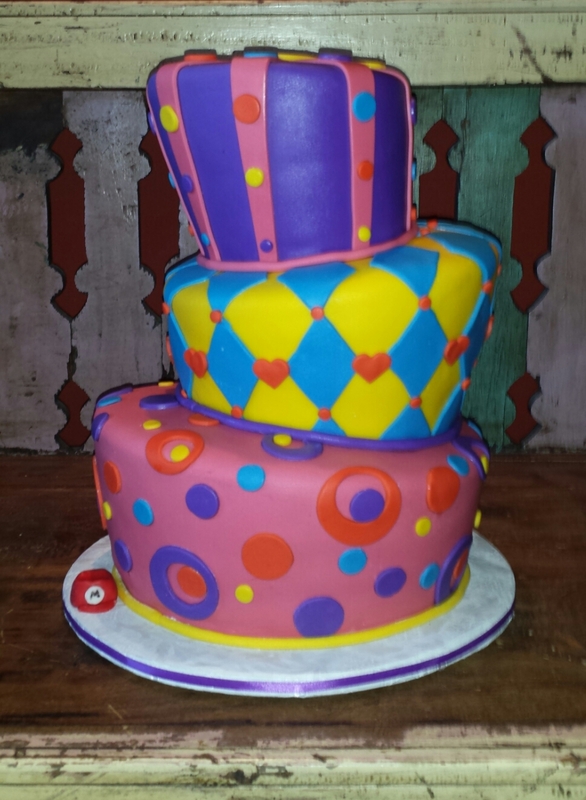 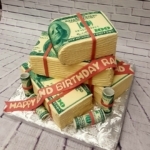 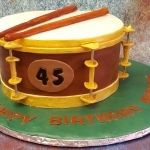 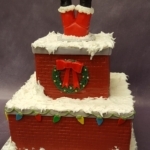 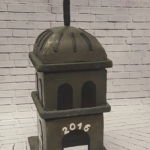 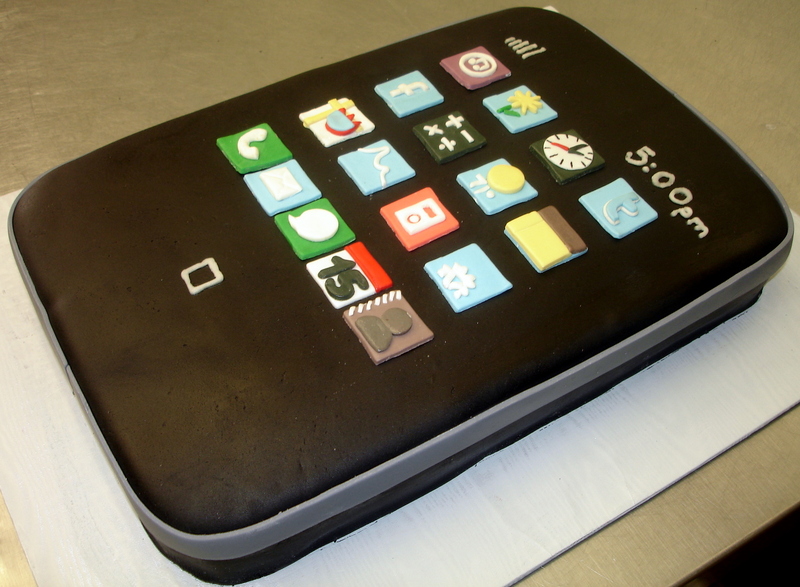 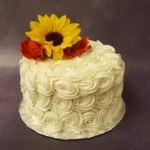 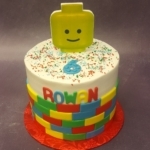 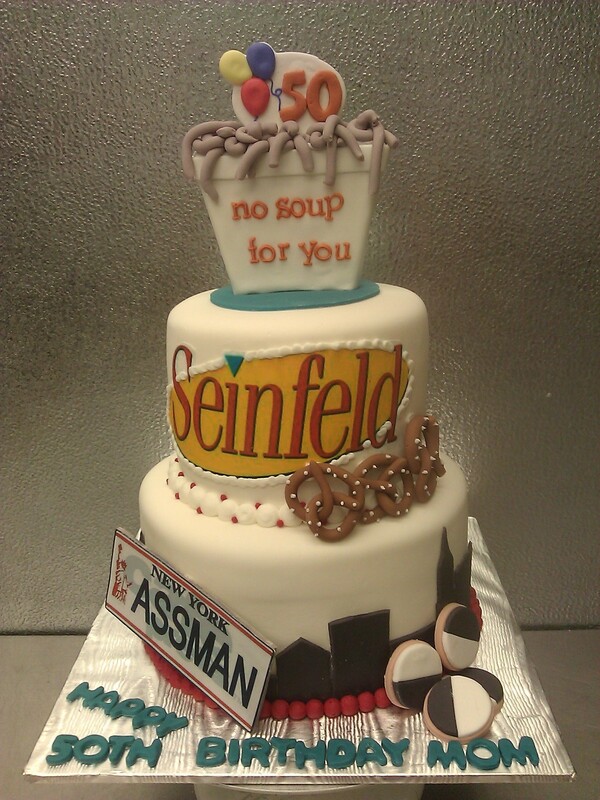 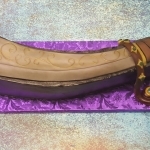 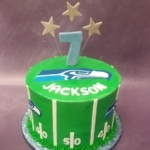 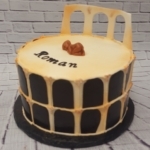 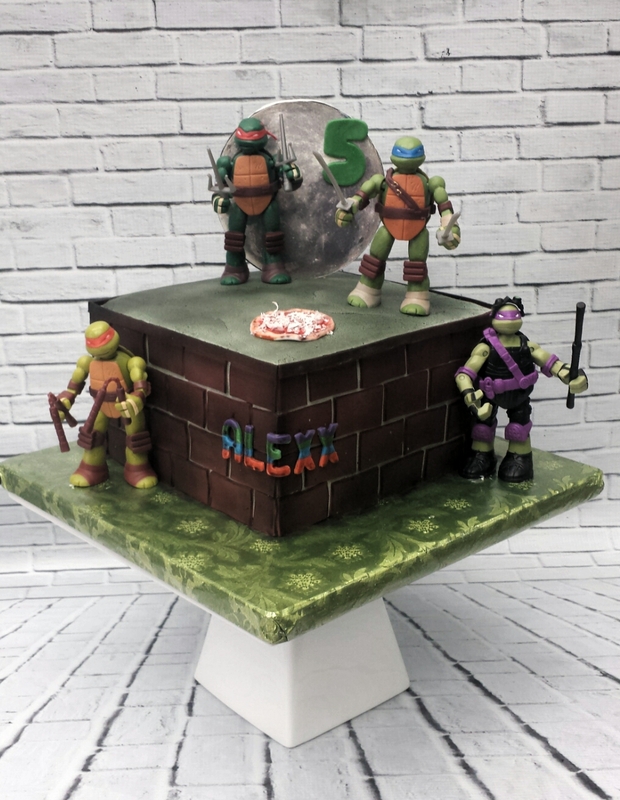 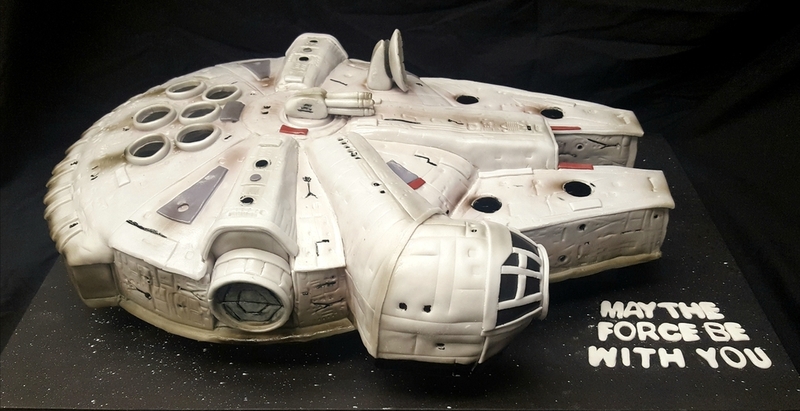 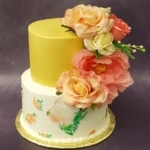 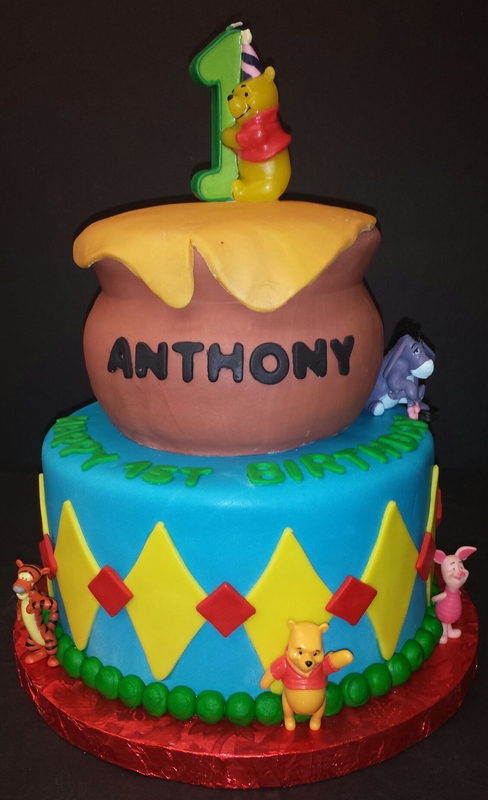 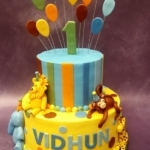 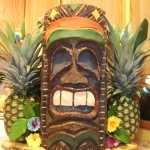 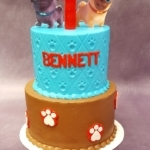 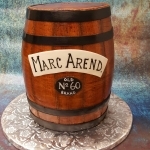 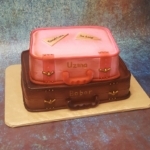 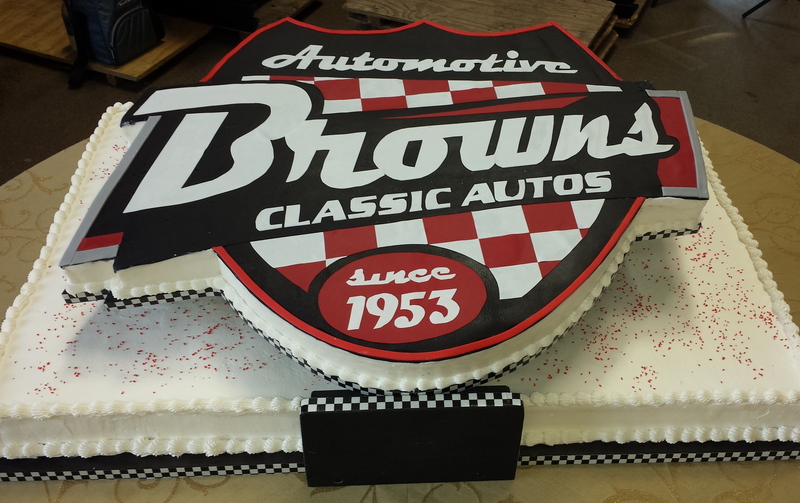 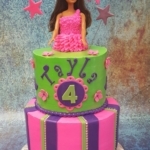 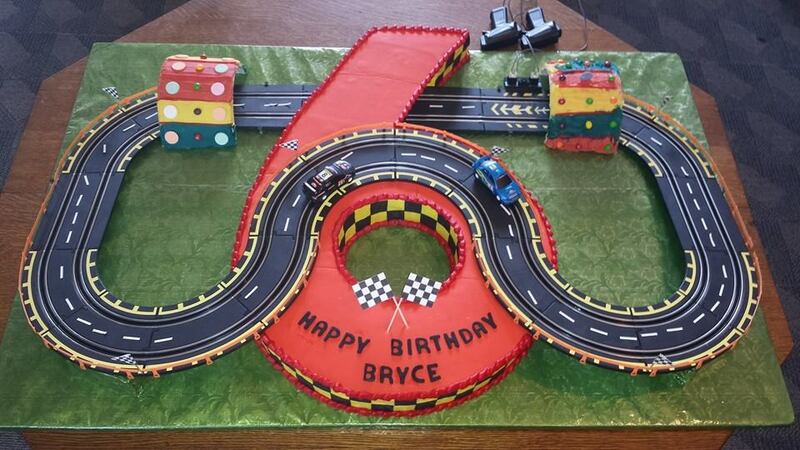 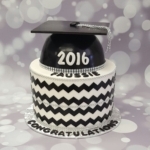 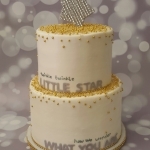 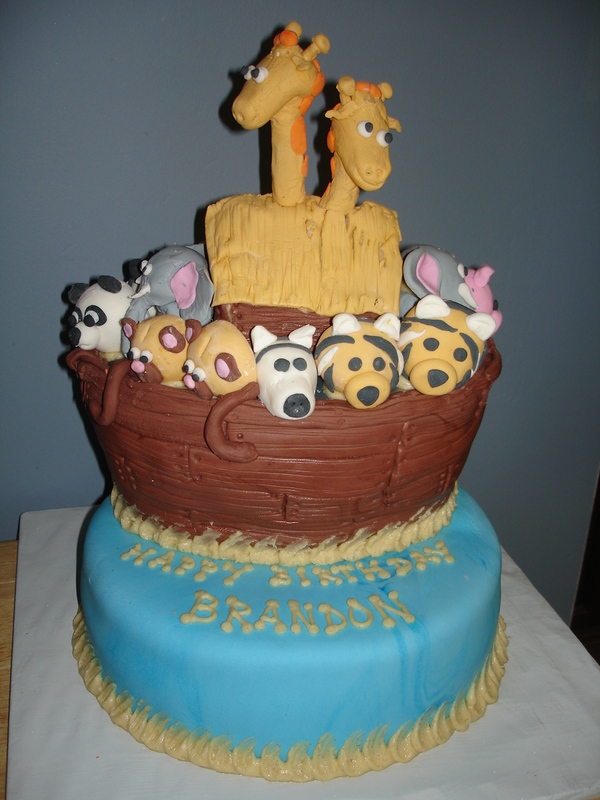 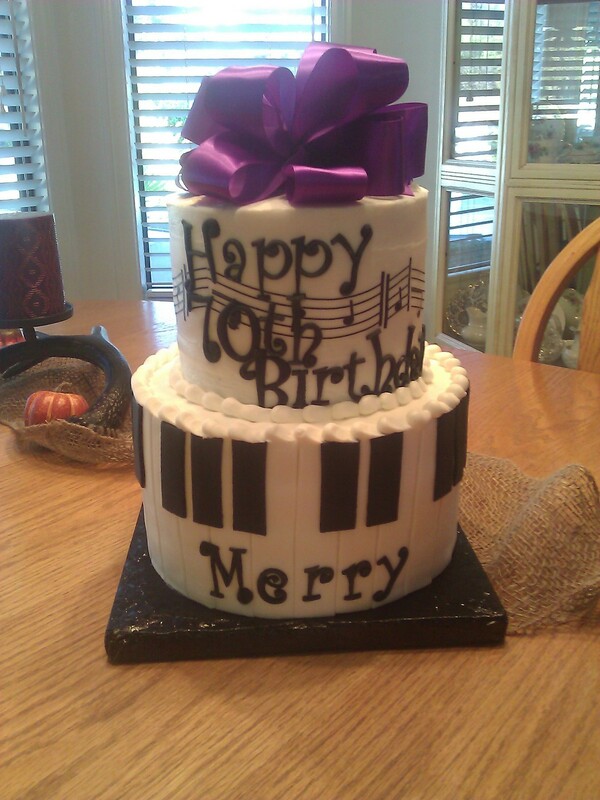 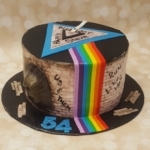 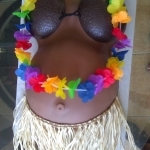 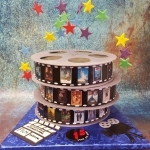 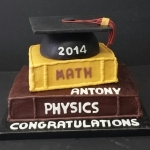 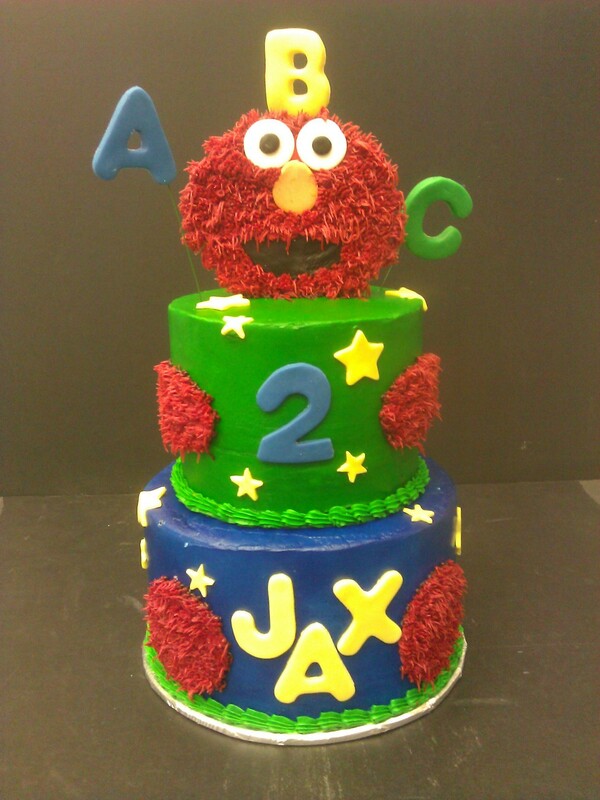 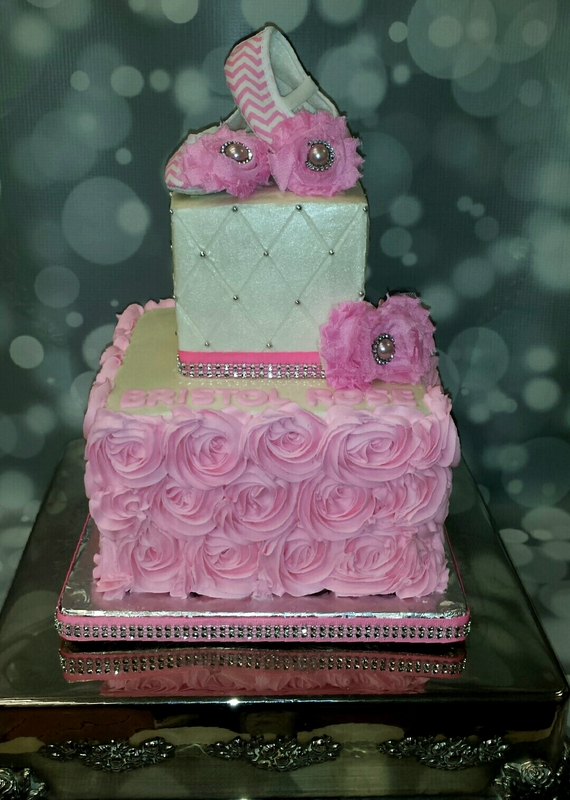 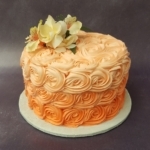 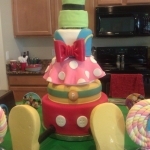 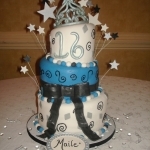 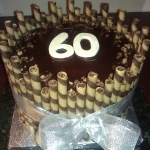 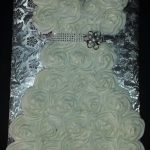 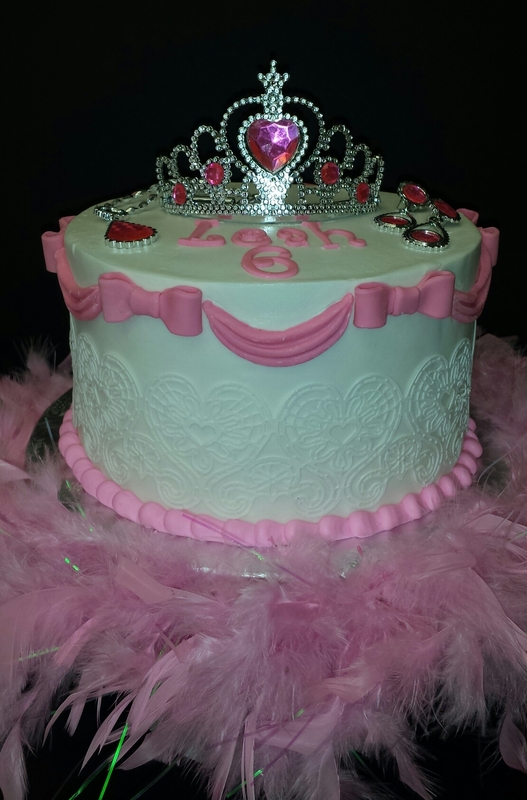 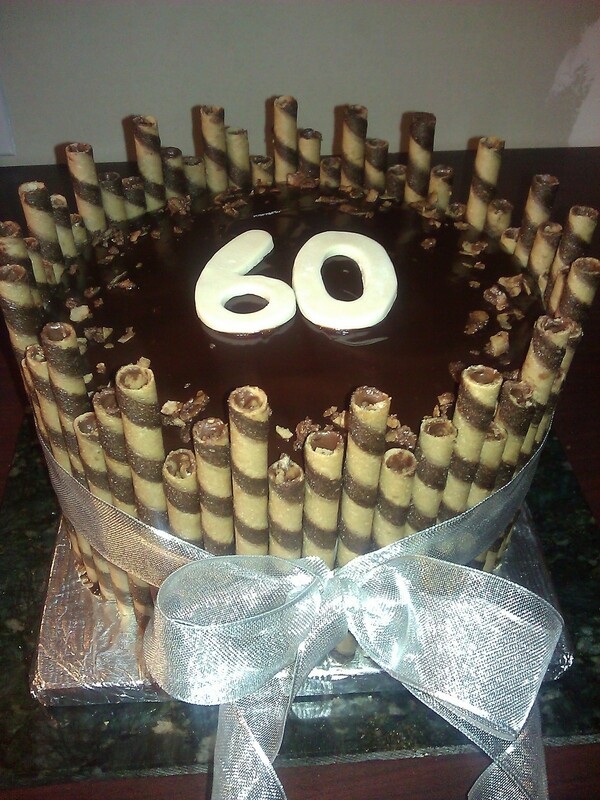 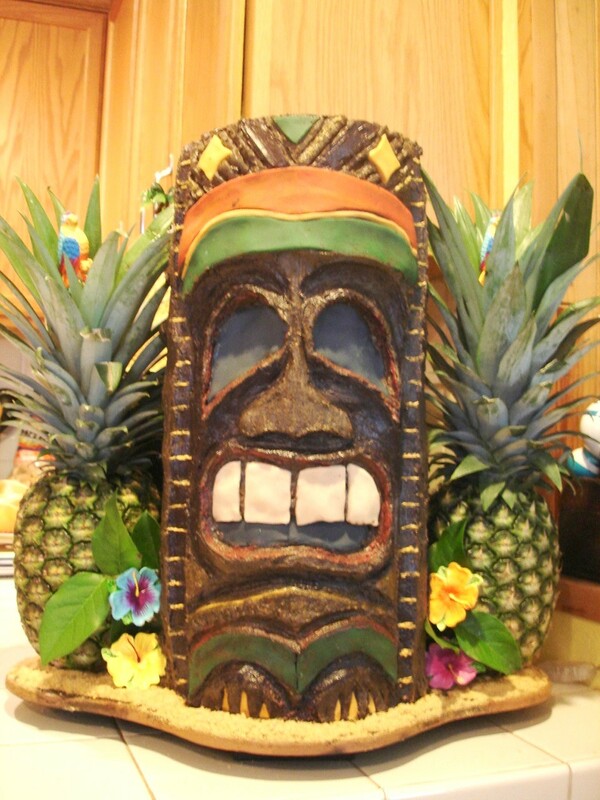 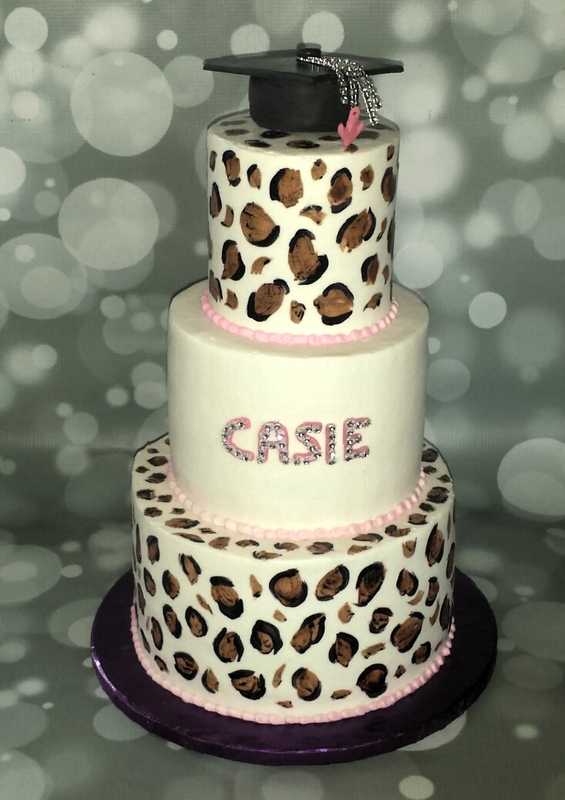 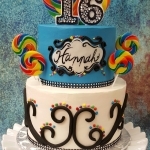 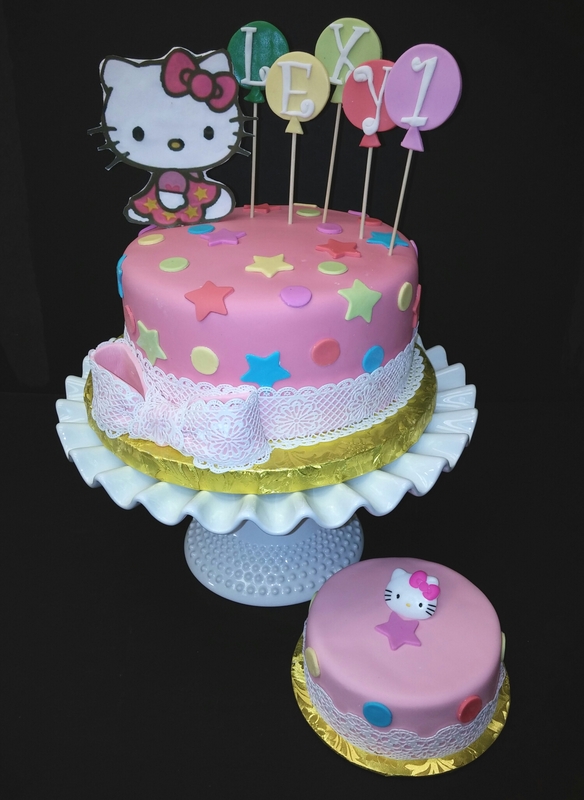 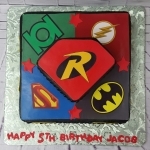 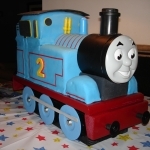 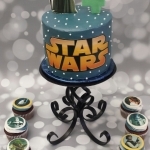 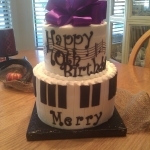 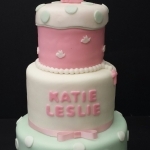 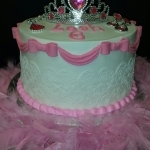 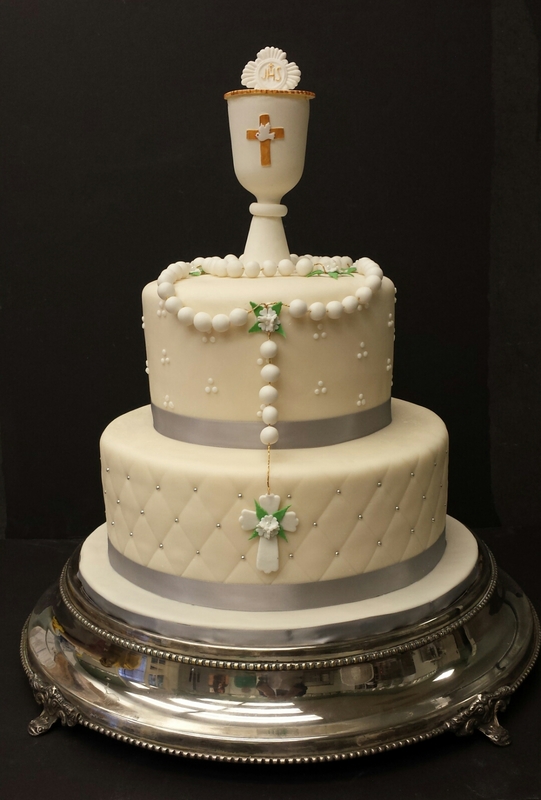 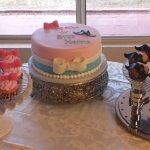 Our 6″ custom cakes (serves approx. 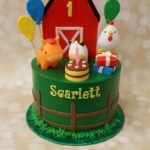 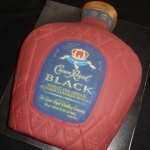 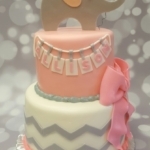 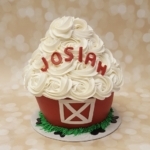 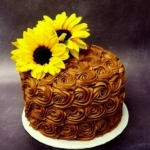 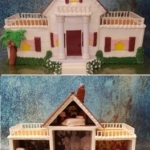 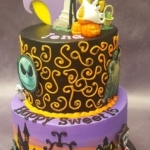 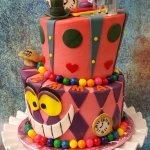 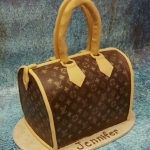 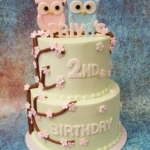 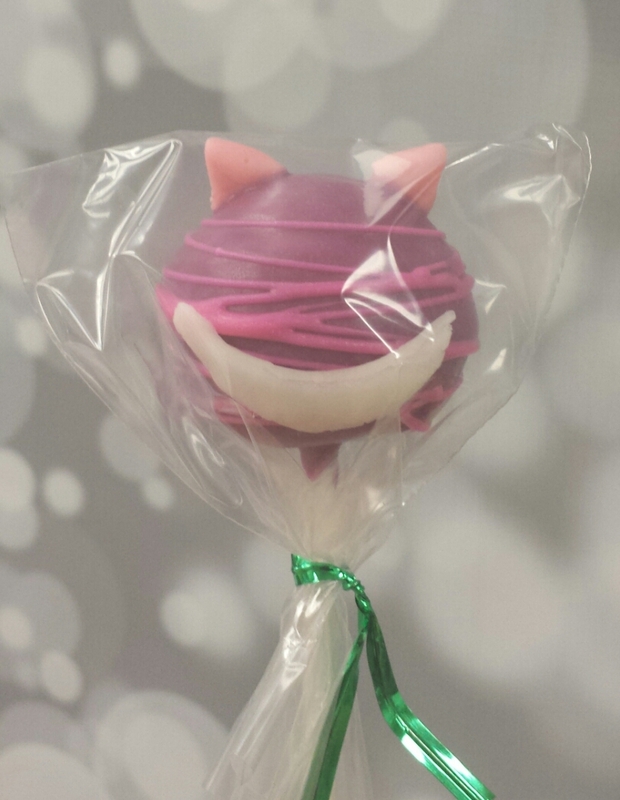 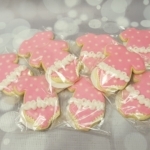 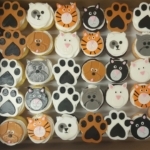 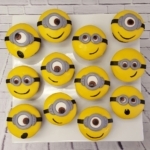 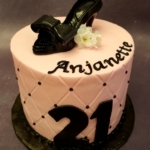 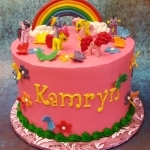 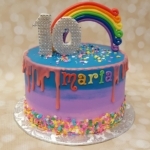 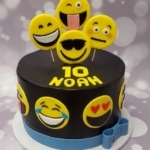 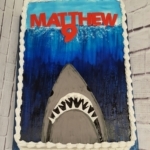 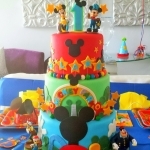 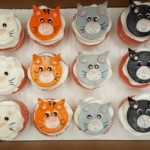 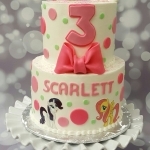 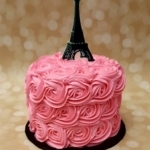 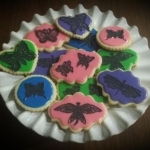 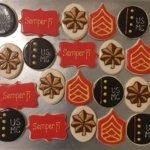 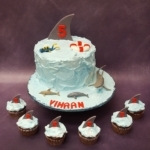 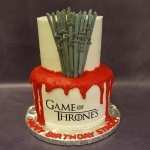 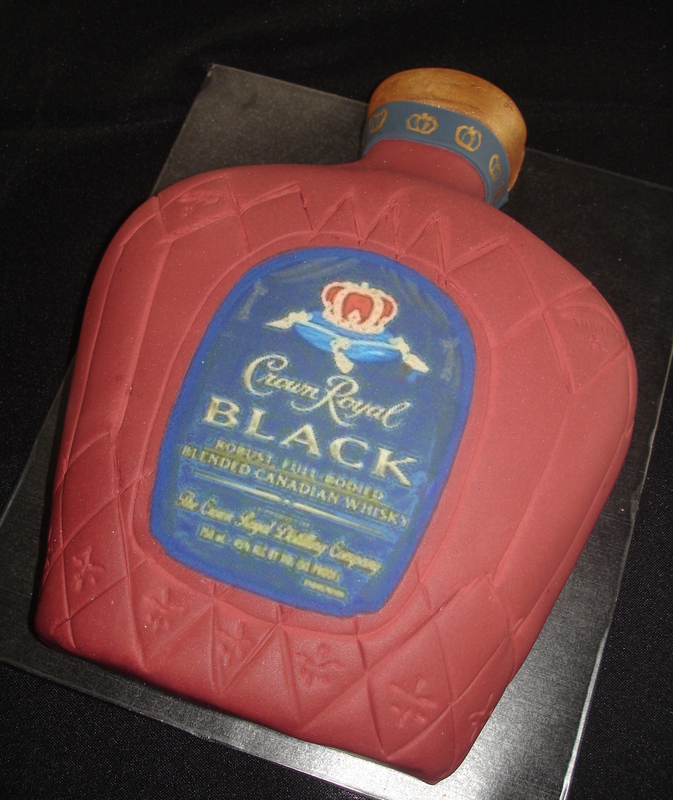 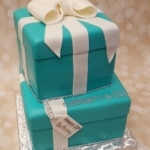 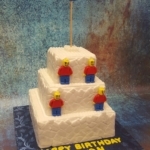 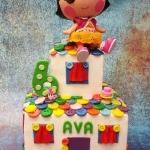 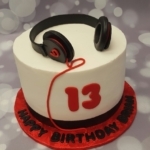 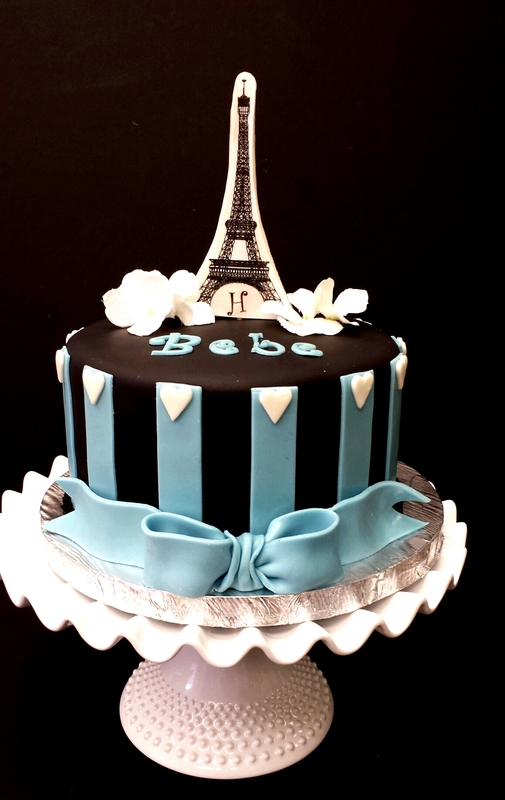 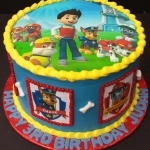 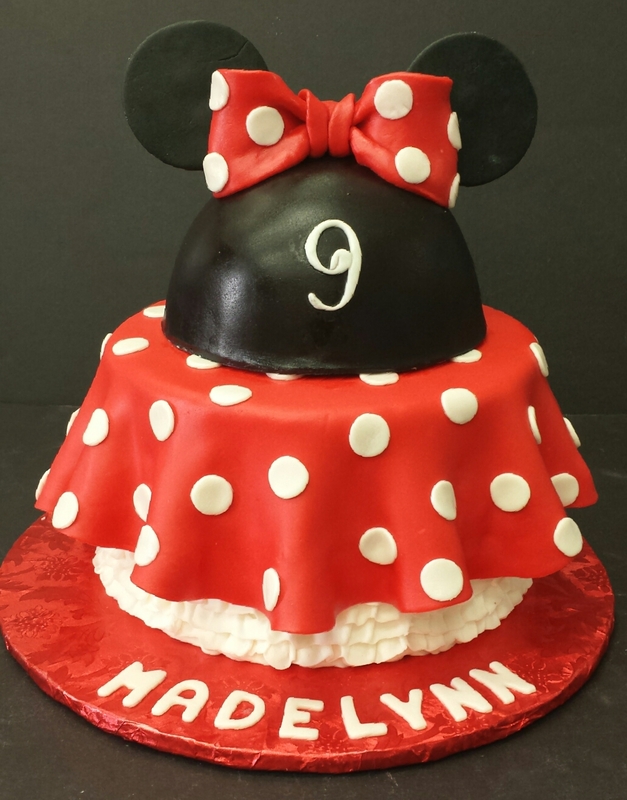 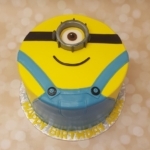 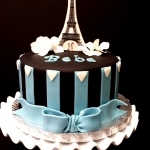 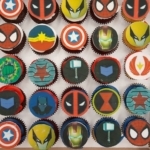 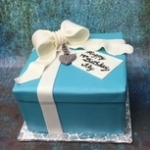 10) start at $85 with buttercream icing with fondant accents and final price will depend on the design. 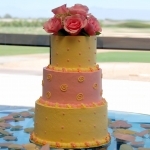 When it comes to choosing the right flavors for your cake, having a variety of choice is key. 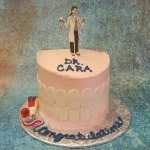 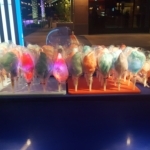 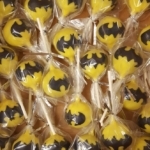 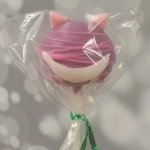 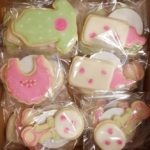 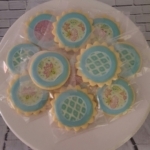 We offer you a number of delicious options in cake flavor, icings and fillings. 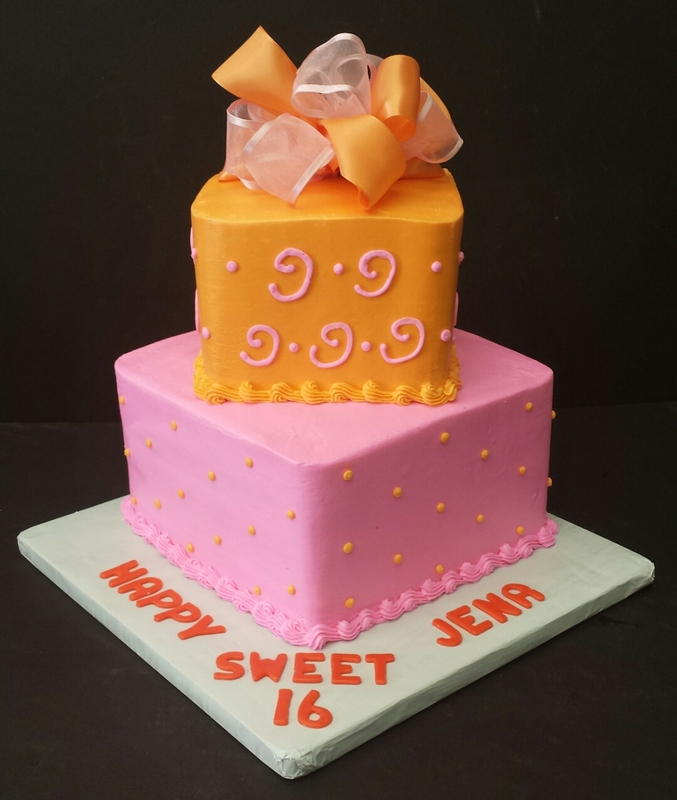 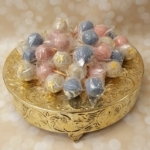 Our Cake Flavors : Chocolate, Traditional White, Red Velvet, Carrot, Strawberry, Lemon, Yellow, Almond, Spice, Marble and Confetti. 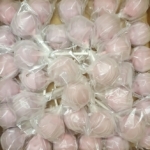 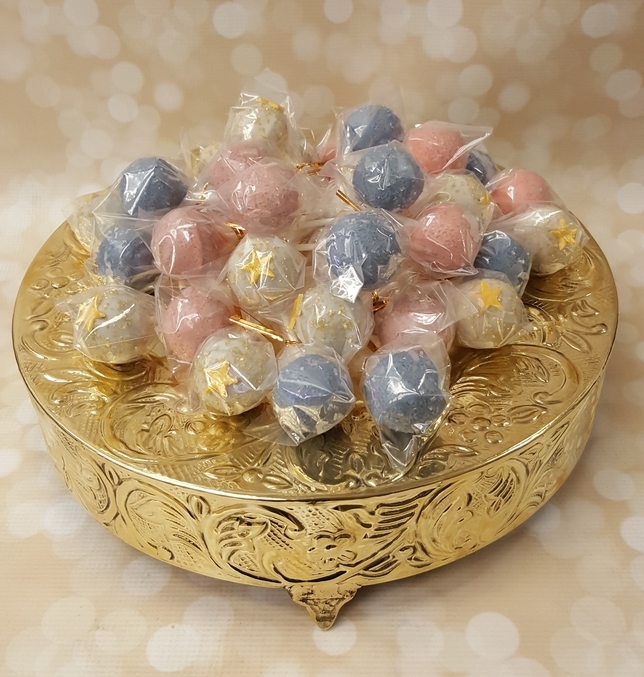 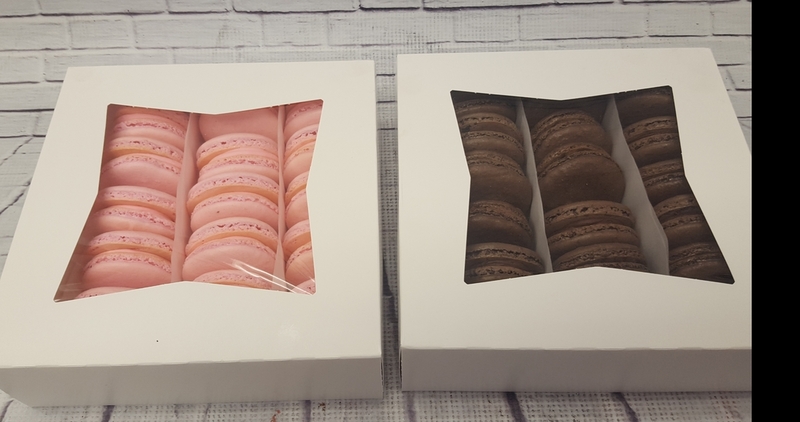 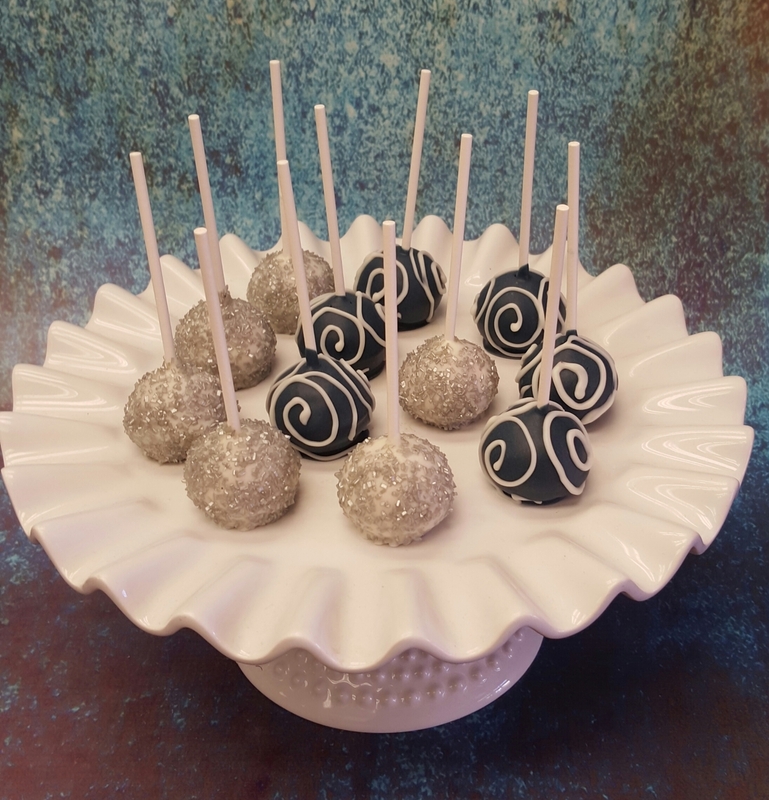 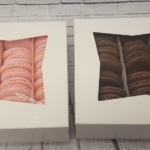 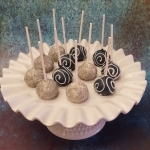 Premium Flavors (Additional Charge): White Chocolate, Pumpkin Spice, Oatmeal, Italian Wedding Cake, and Pink champagne. 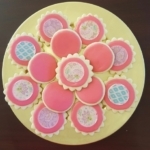 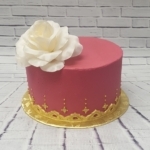 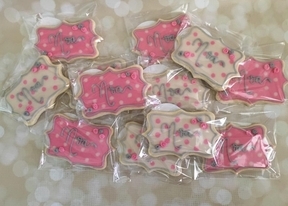 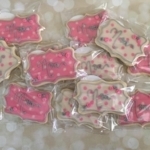 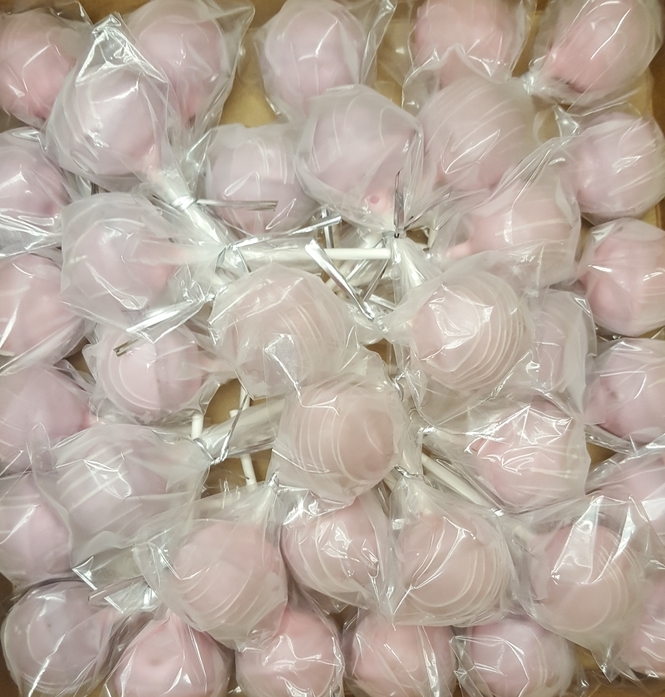 Our Cake Fillings: Strawberry mousse, Chocolate chunk mousse, Vanilla Cream mousse, Lemon mousse, Peanut Butter Buttercream, Mixed berry mousse, Cream cheese buttercream, Raspberry mousse, Strawberry mousse, Banana Cream pie mousse, Coconut Cream pie mousse, Strawberry Buttercream, Pina Colada mousse. 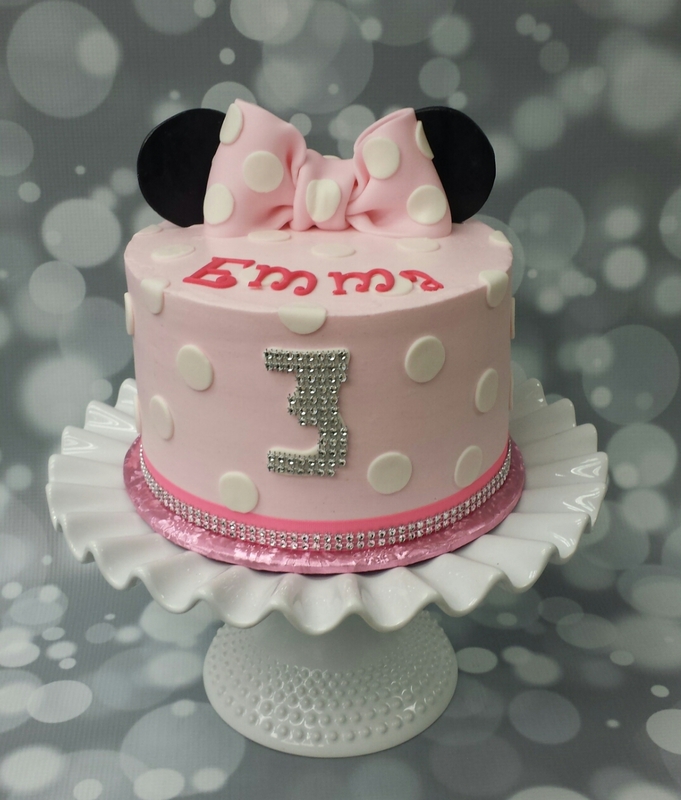 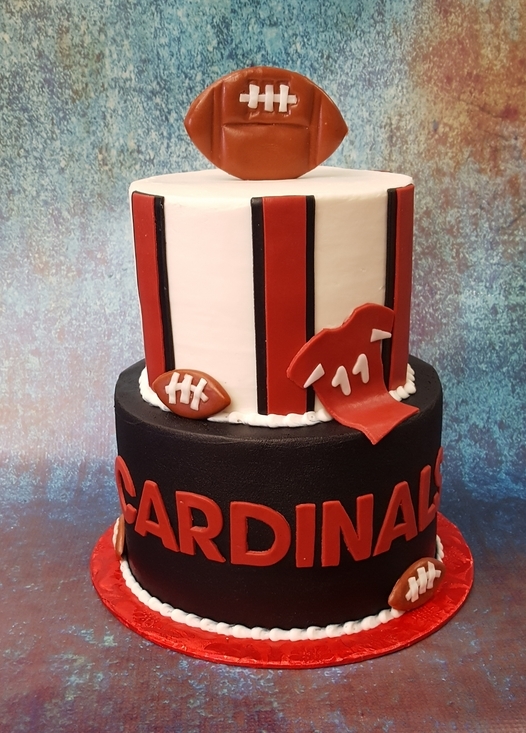 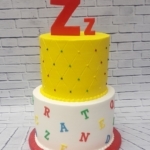 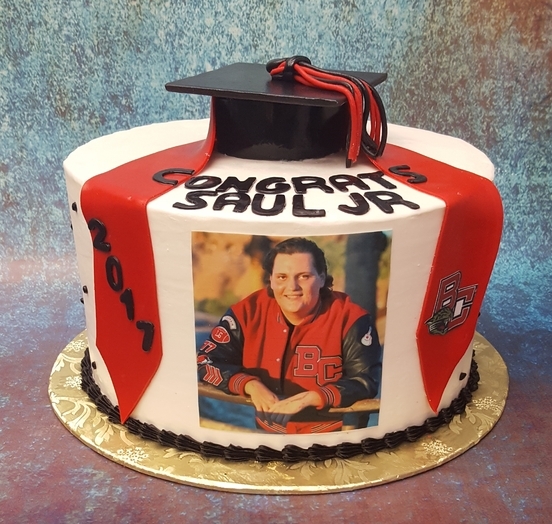 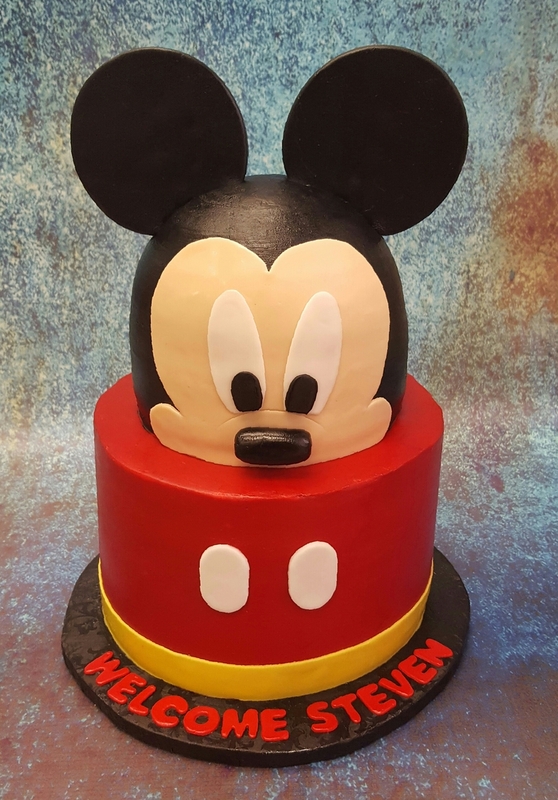 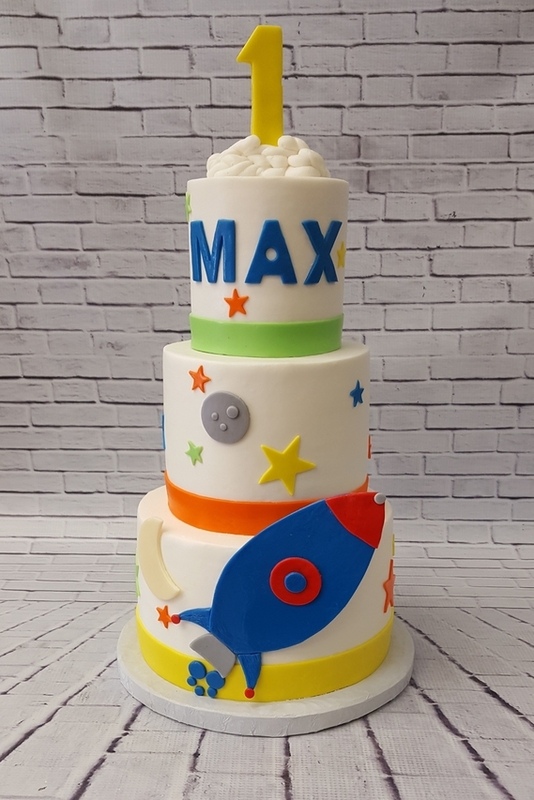 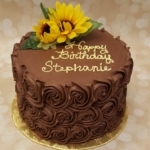 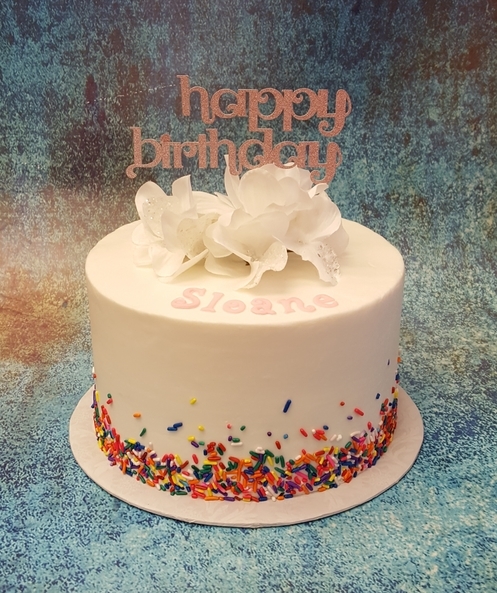 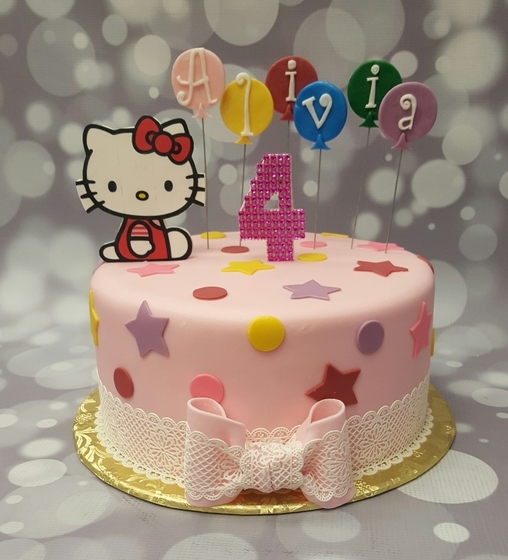 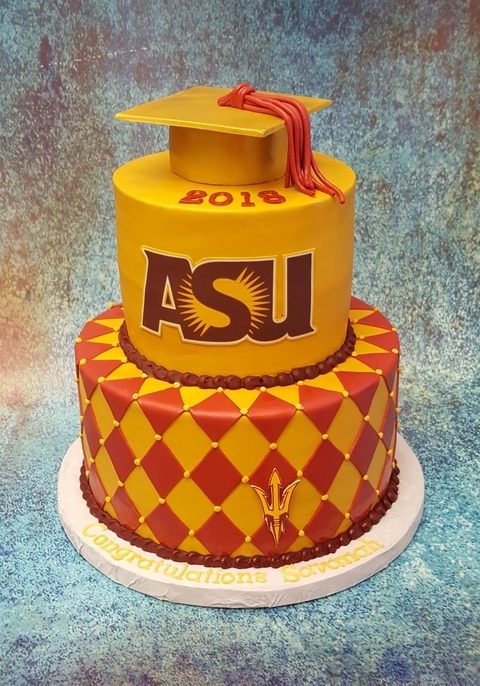 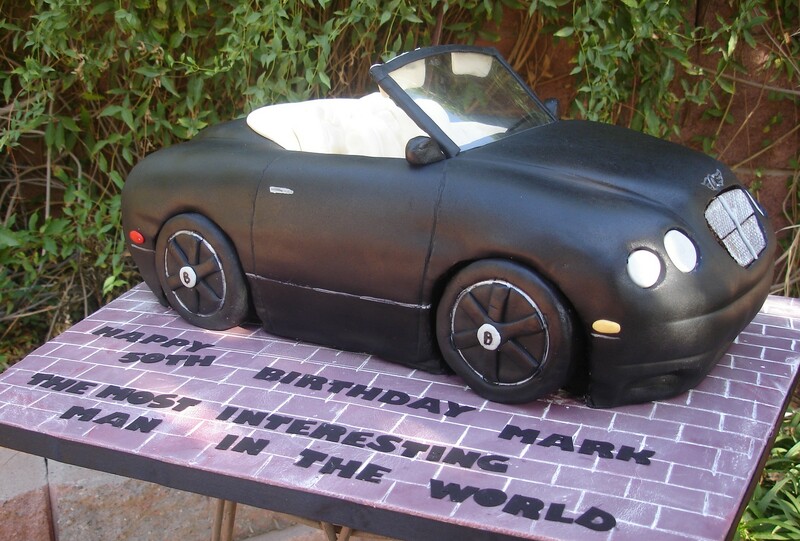 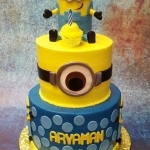 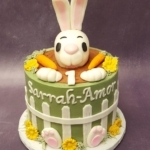 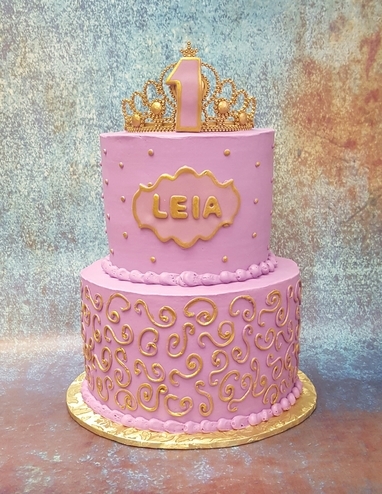 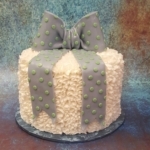 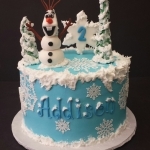 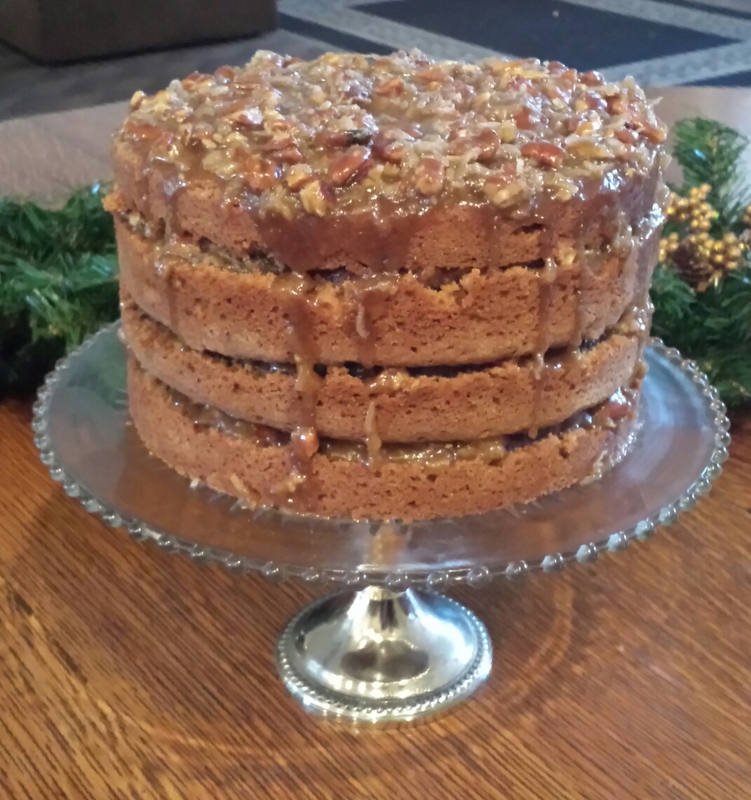 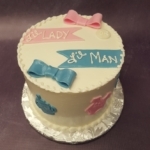 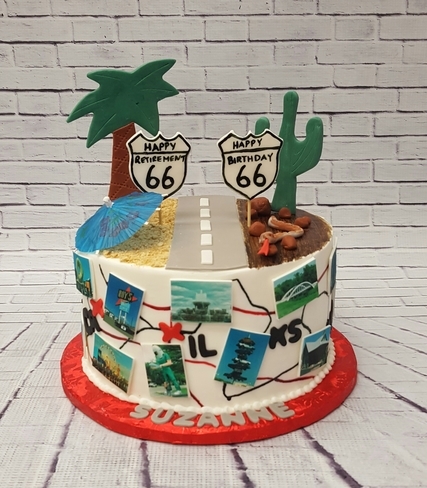 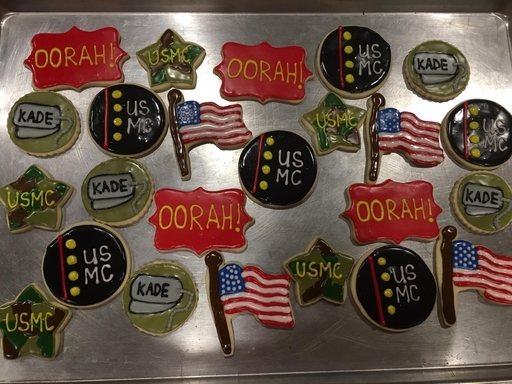 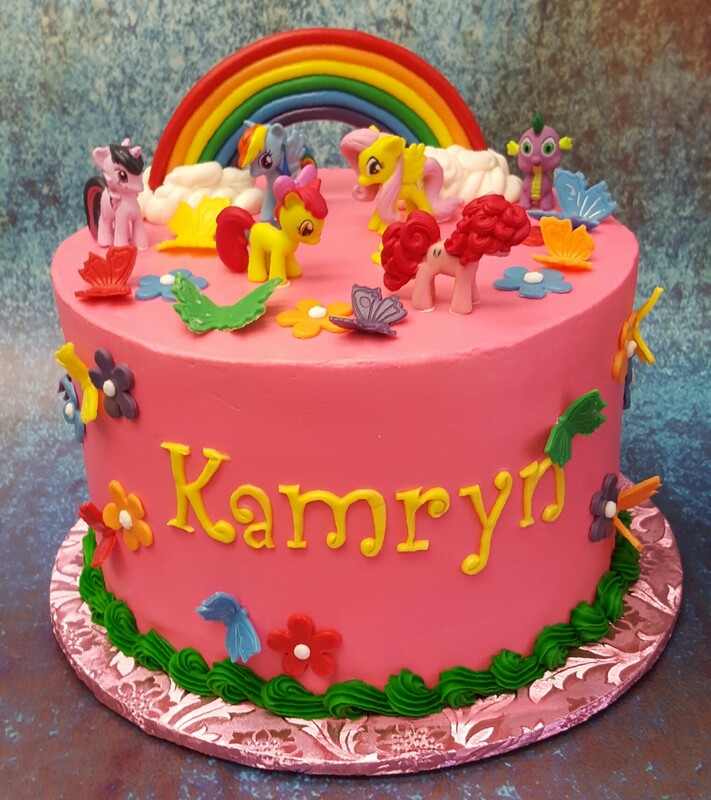 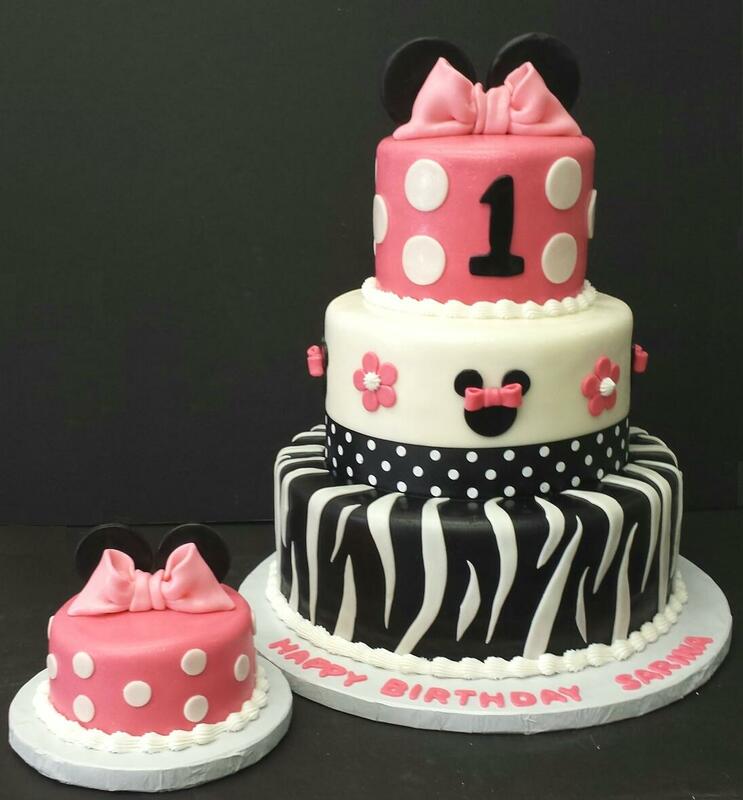 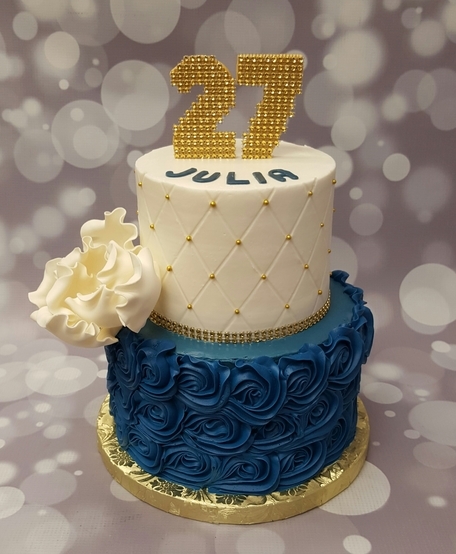 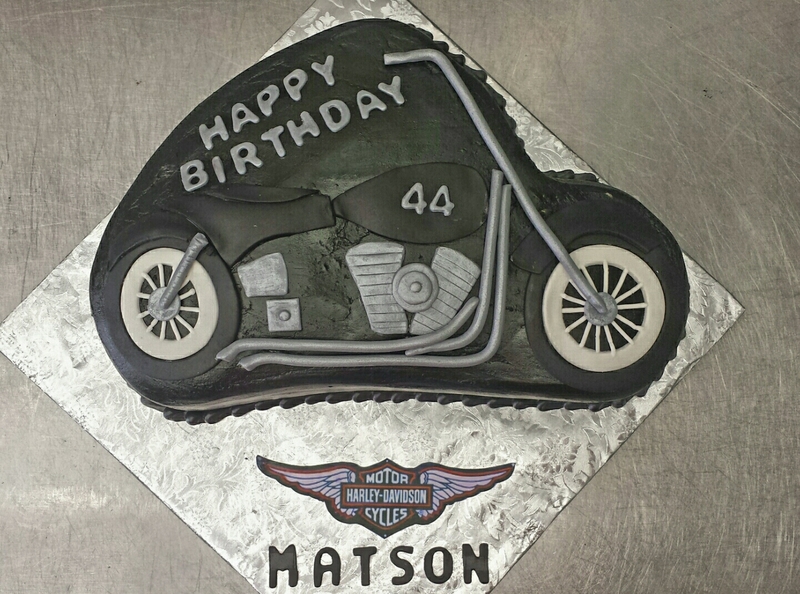 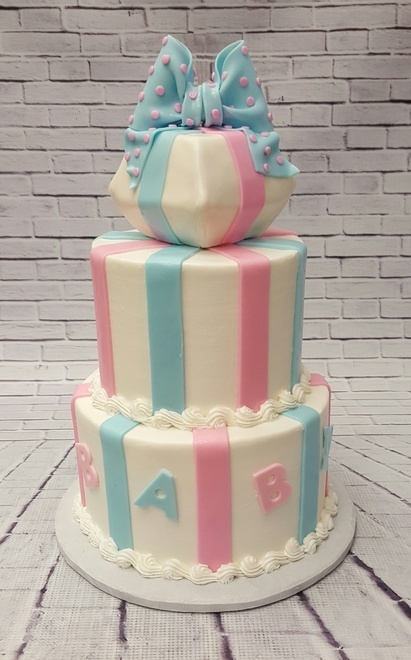 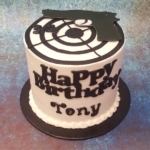 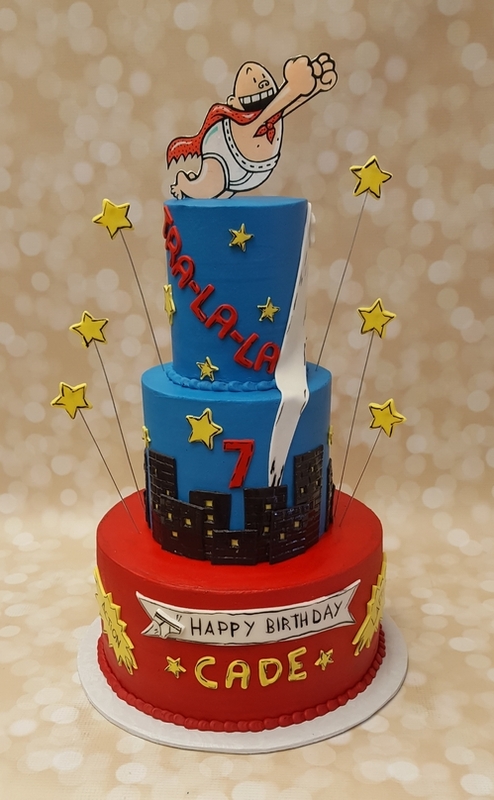 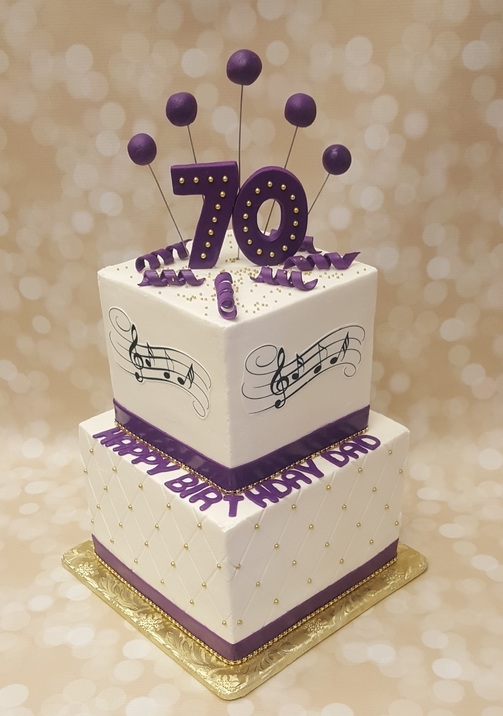 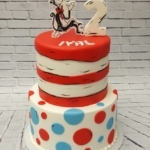 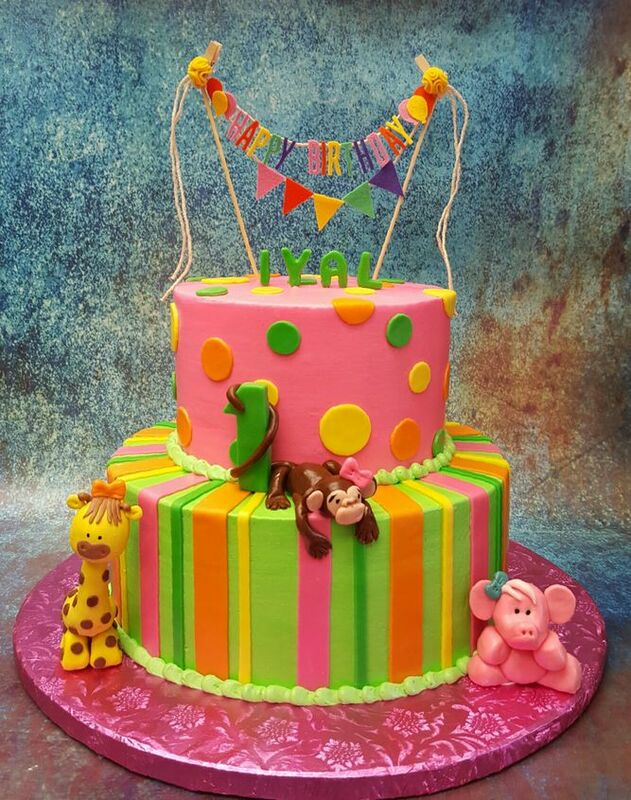 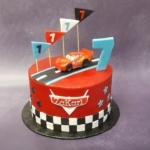 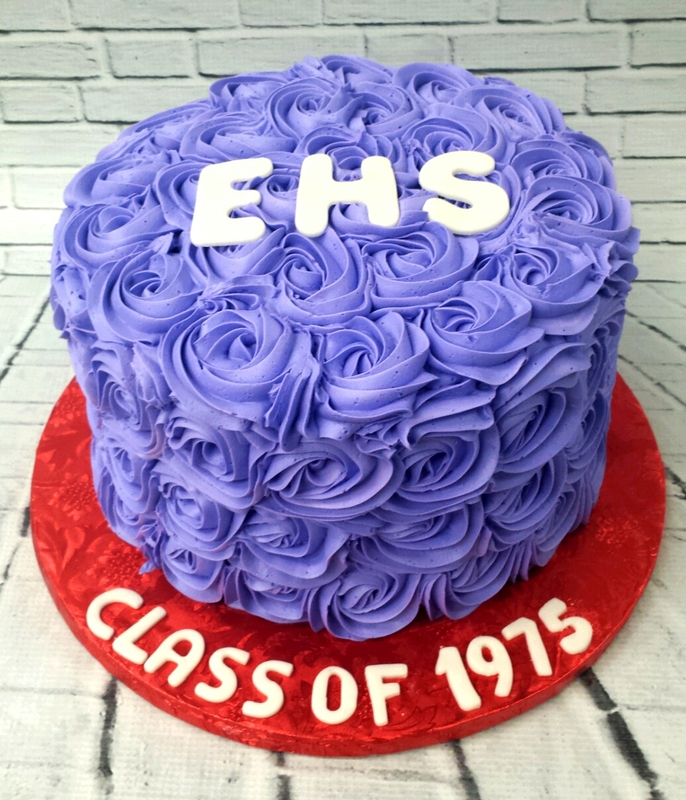 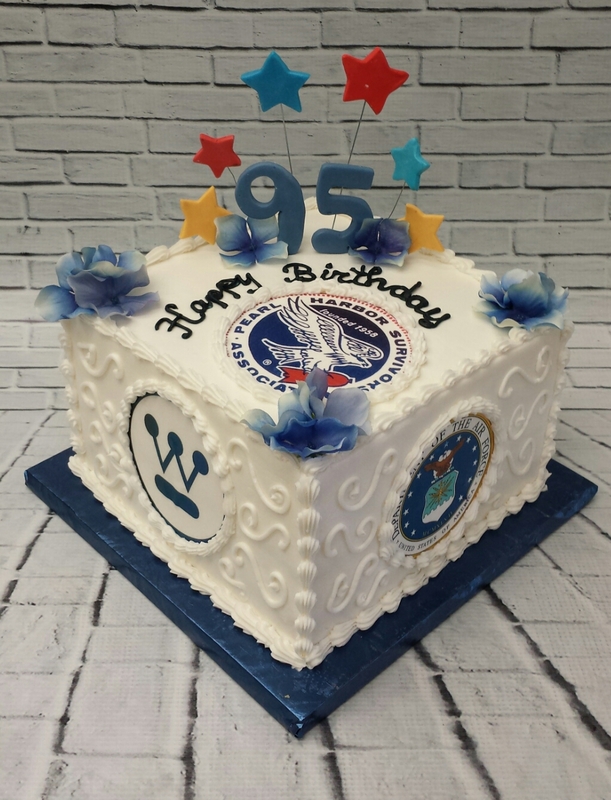 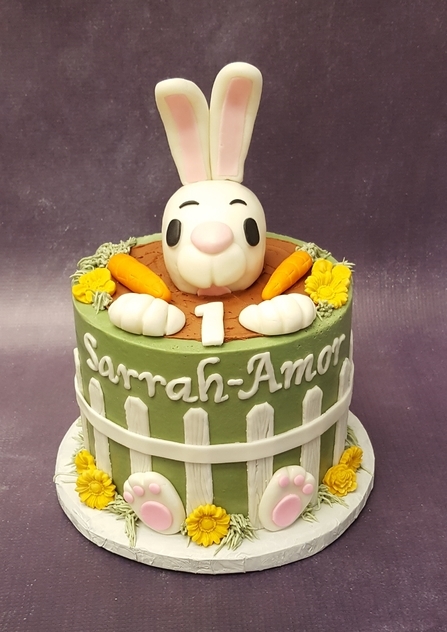 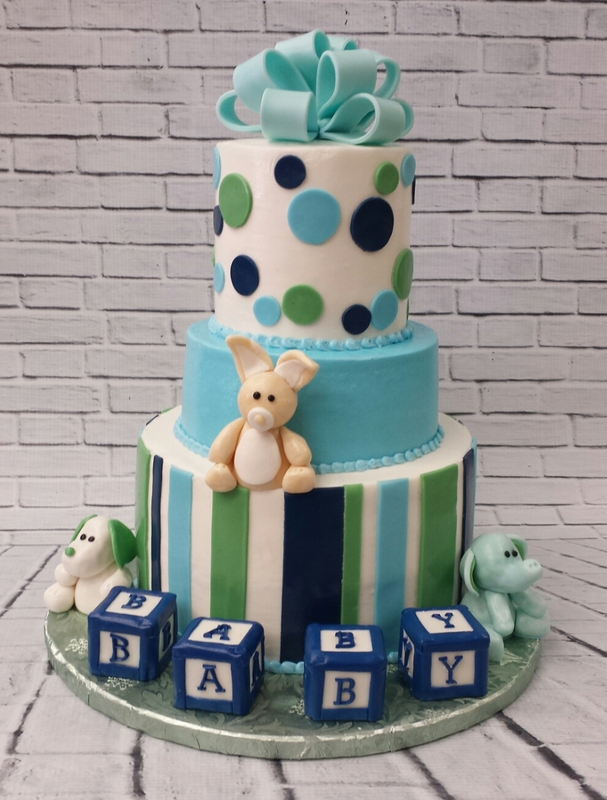 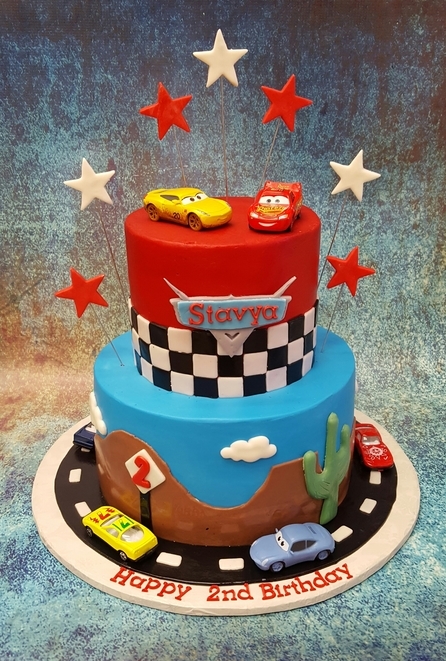 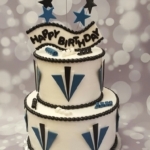 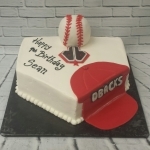 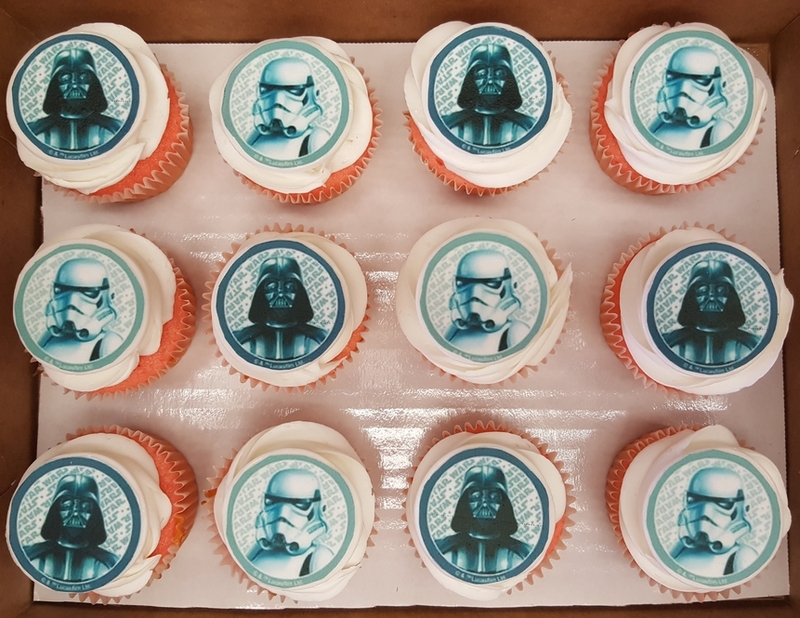 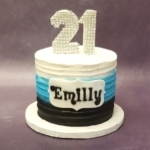 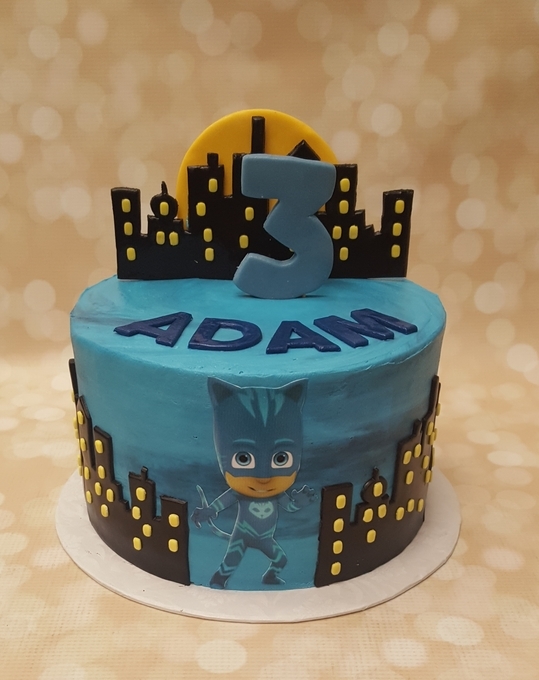 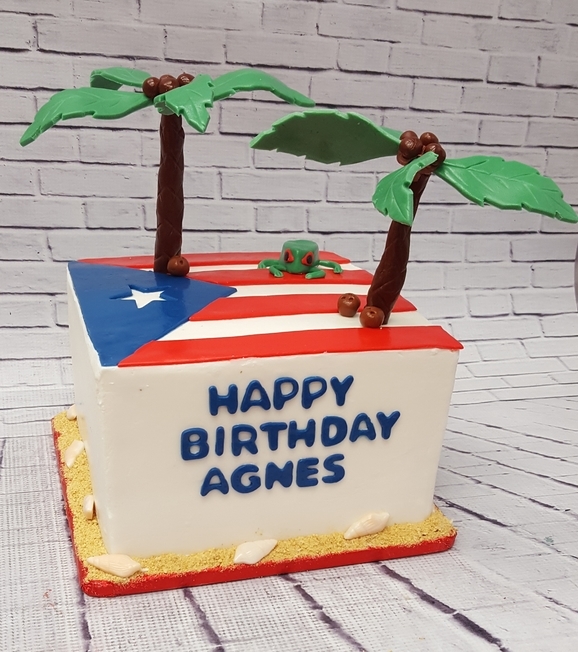 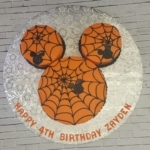 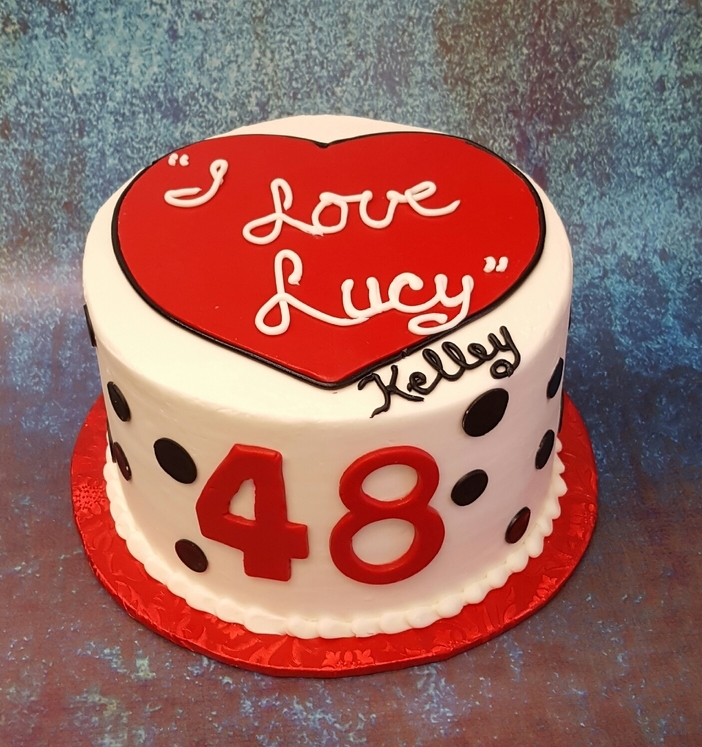 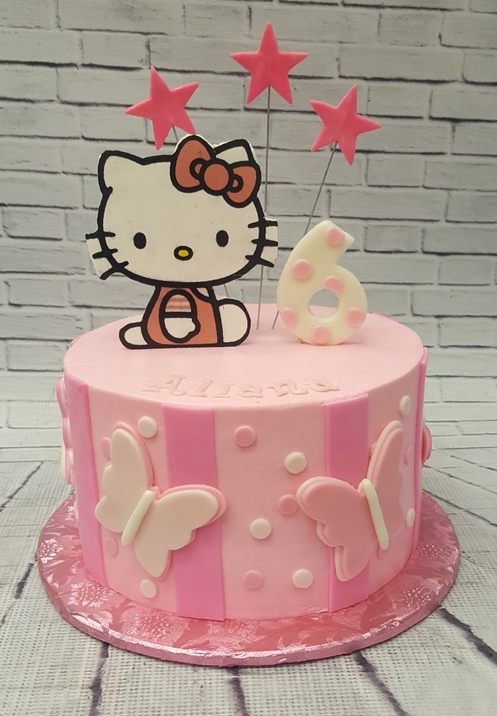 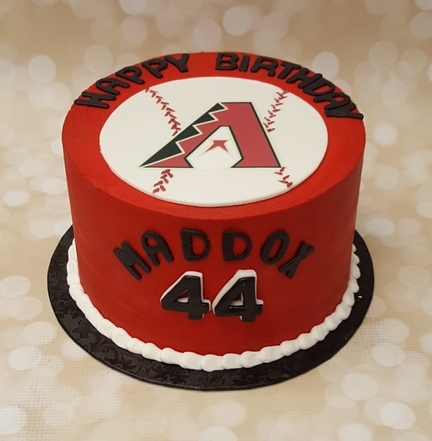 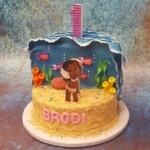 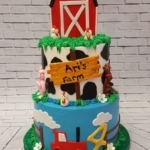 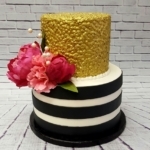 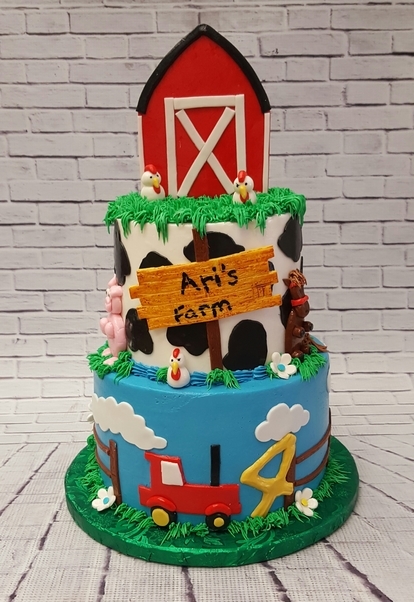 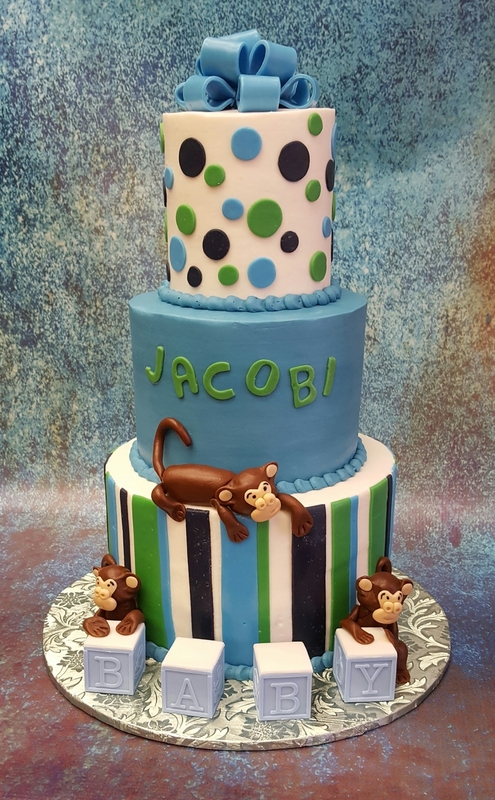 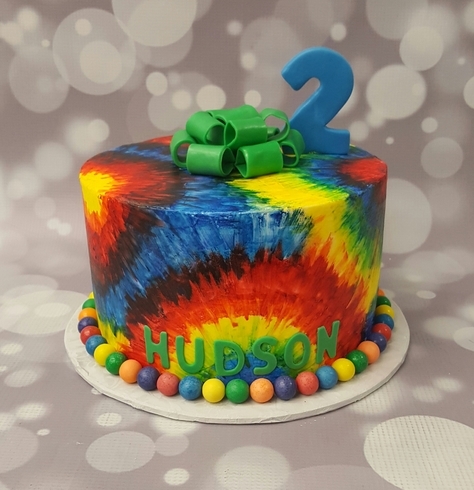 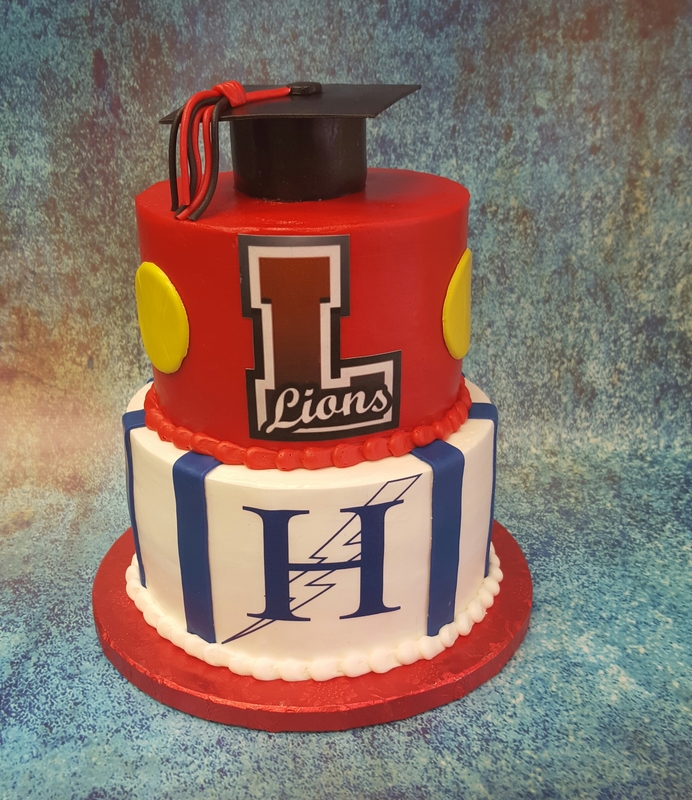 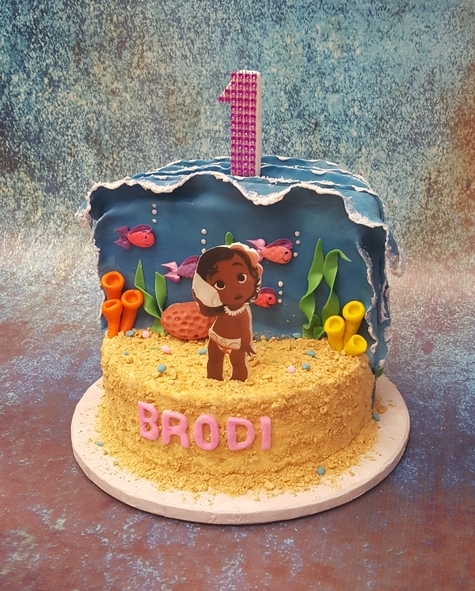 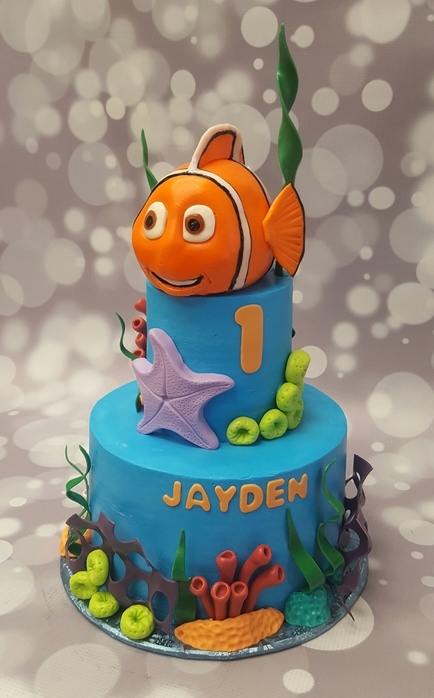 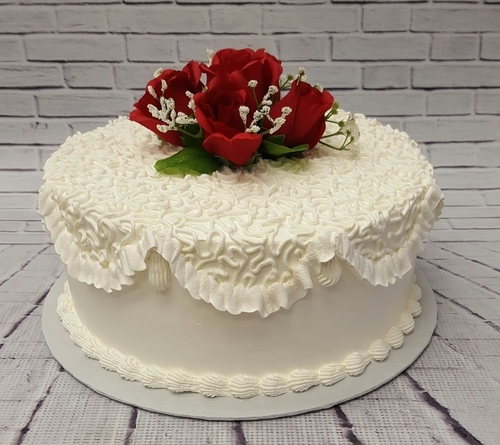 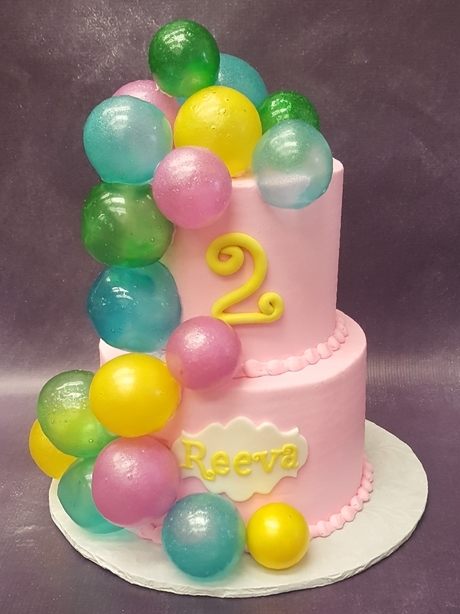 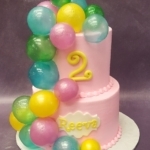 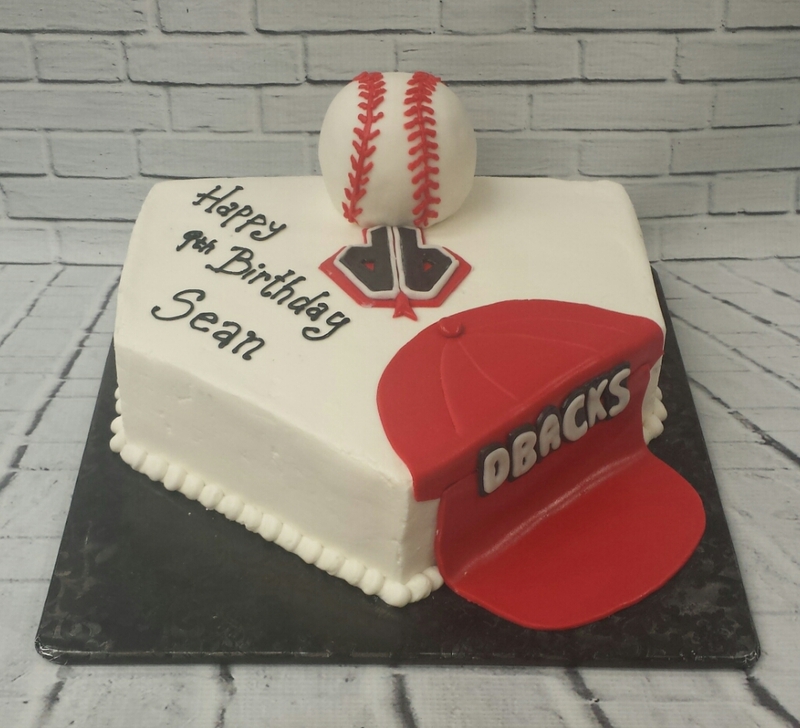 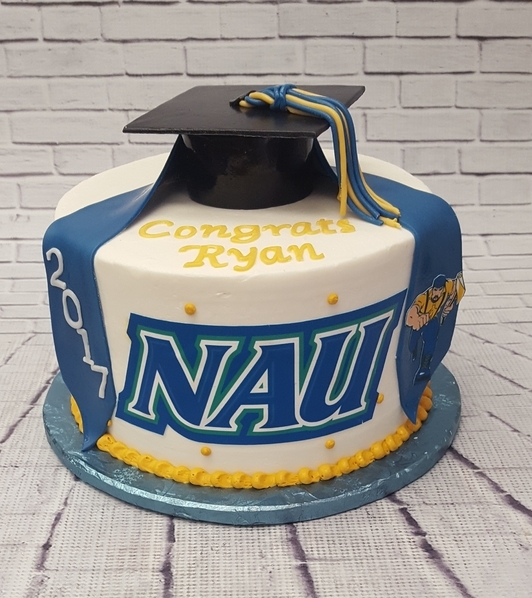 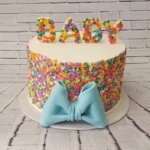 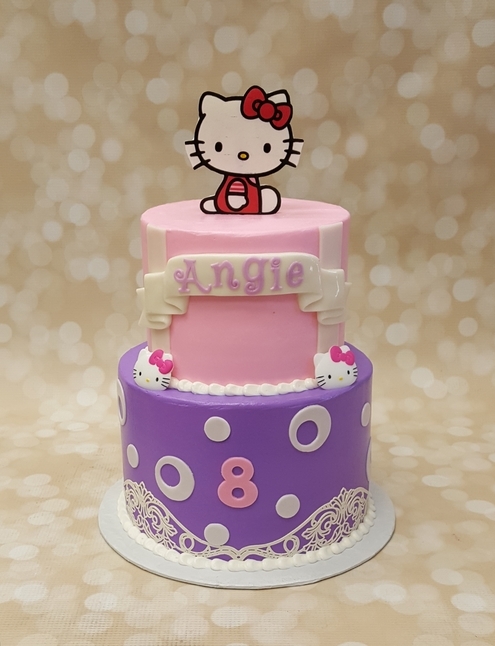 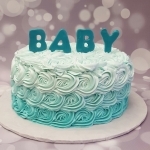 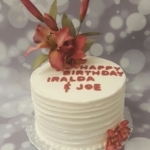 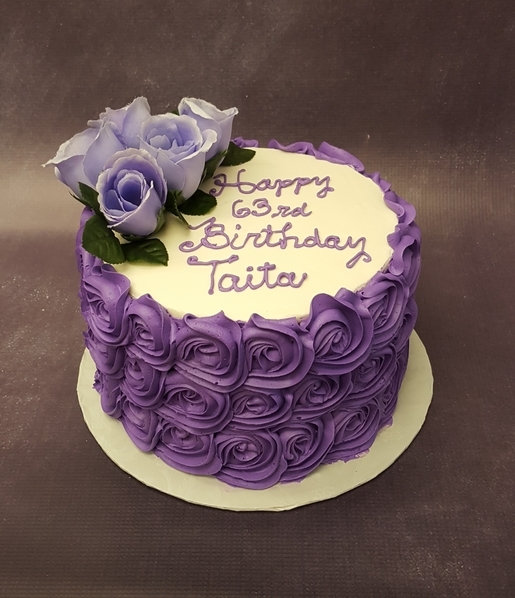 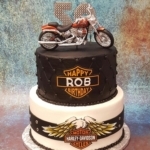 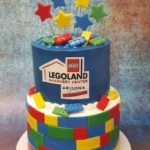 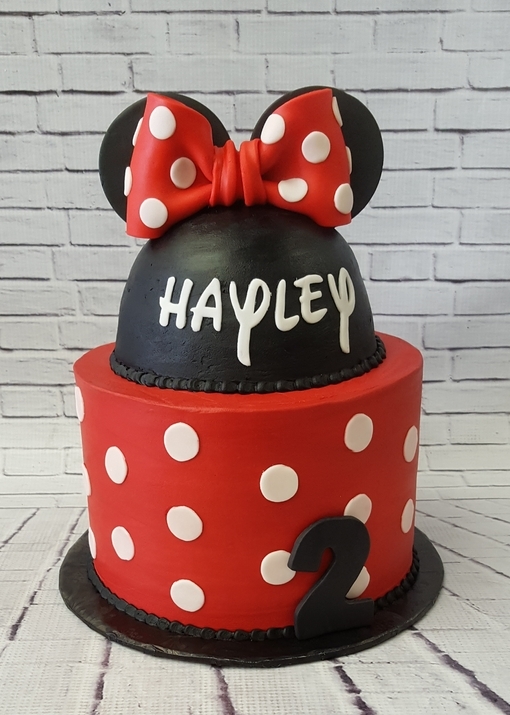 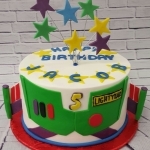 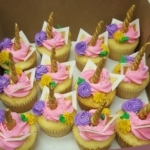 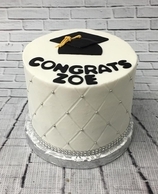 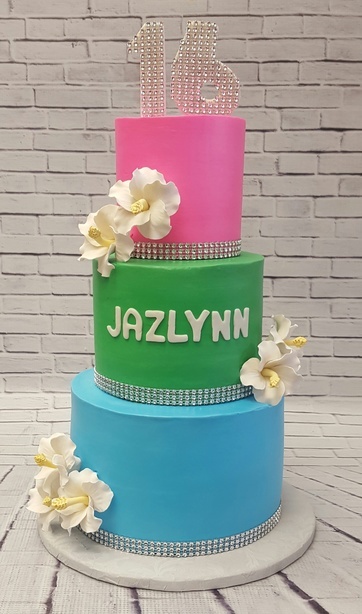 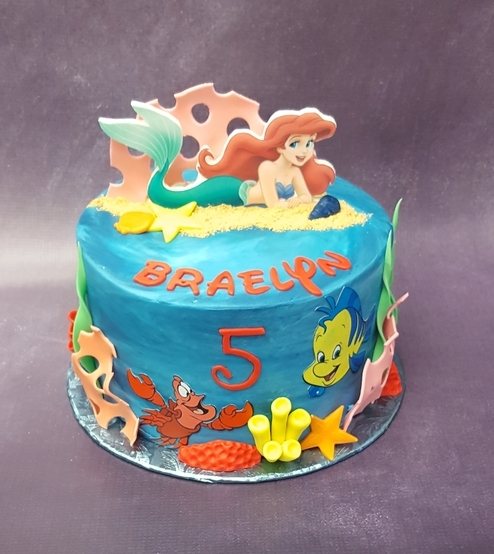 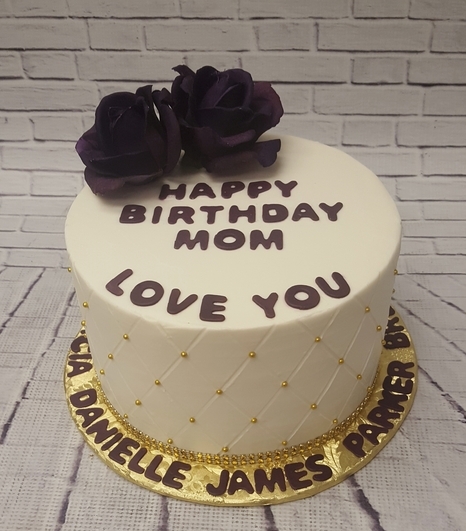 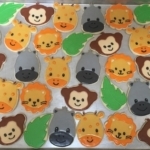 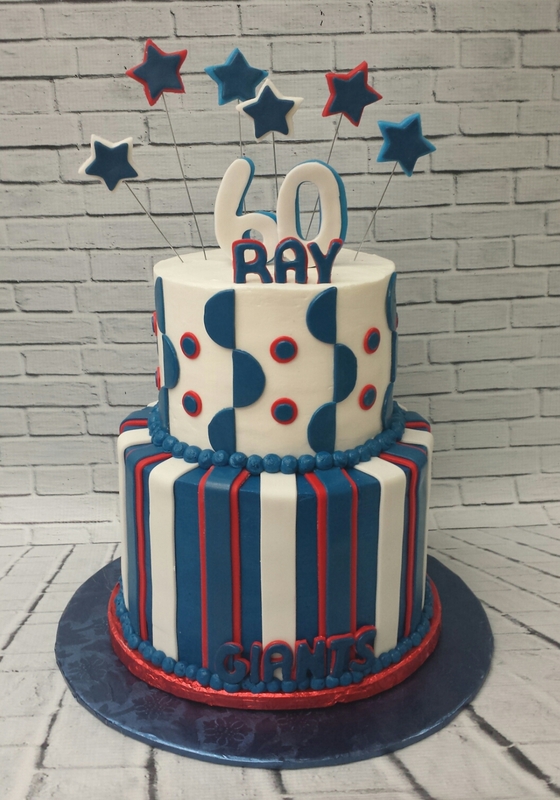 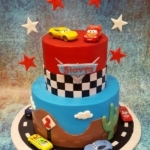 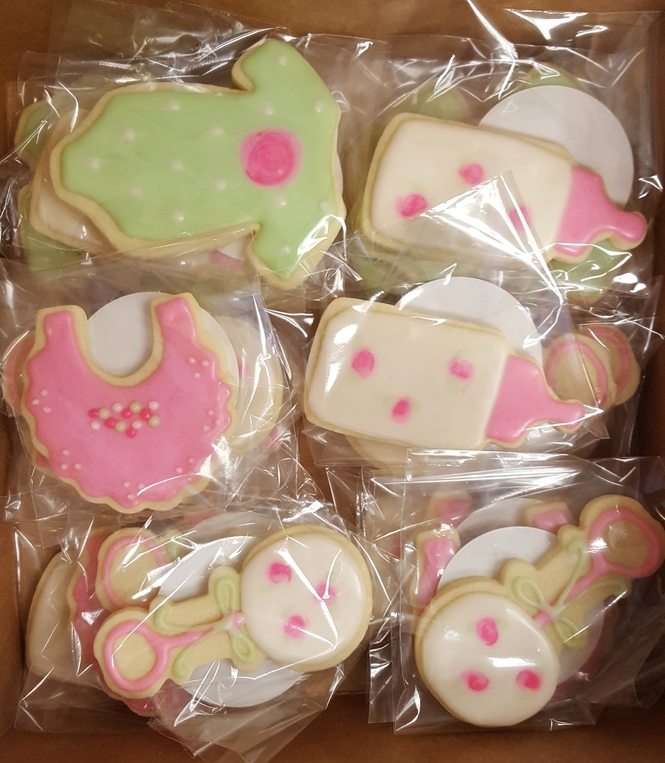 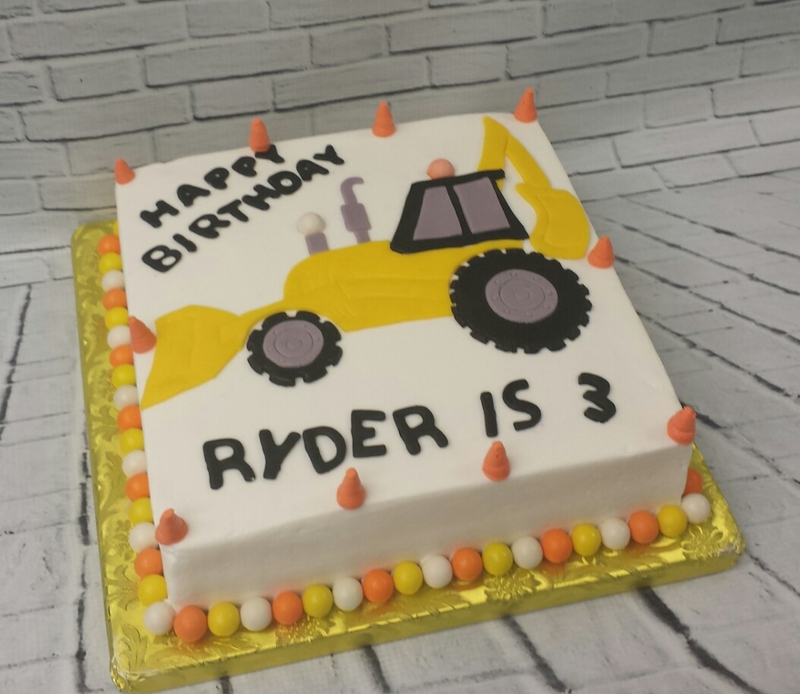 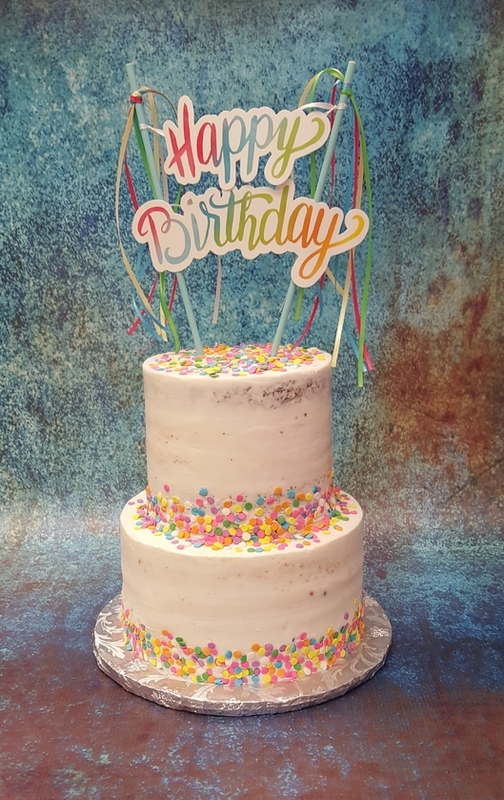 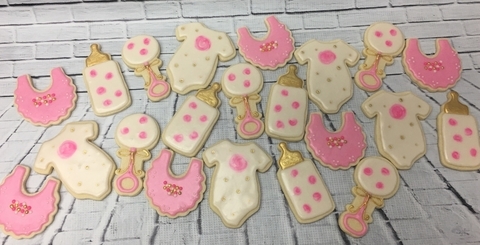 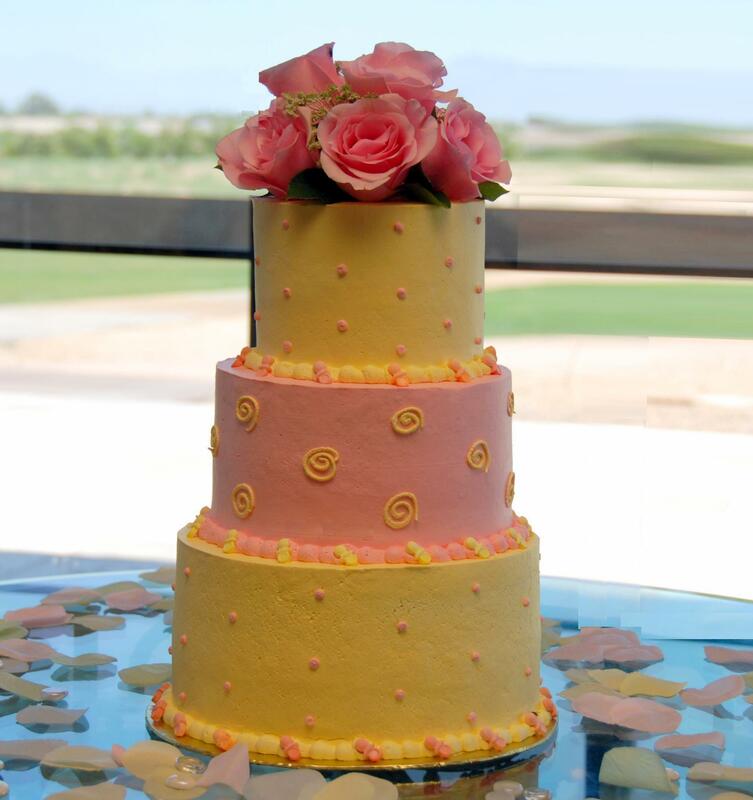 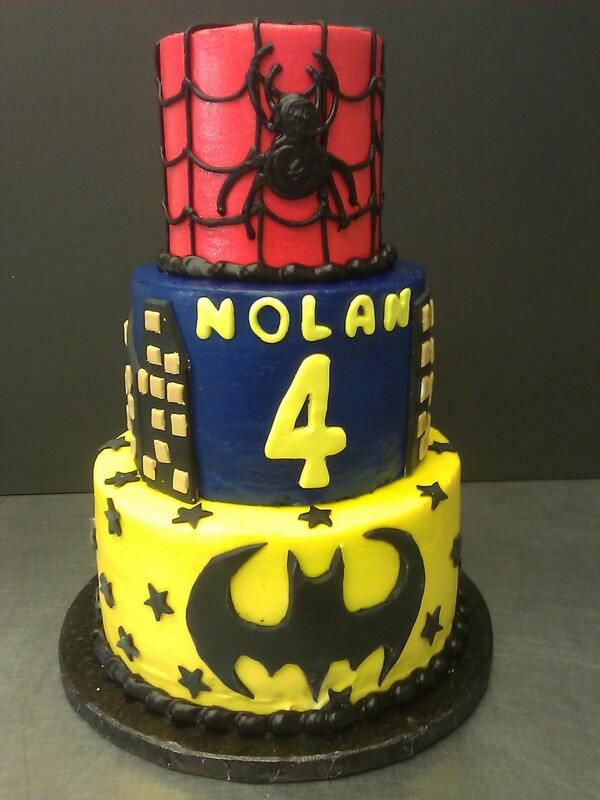 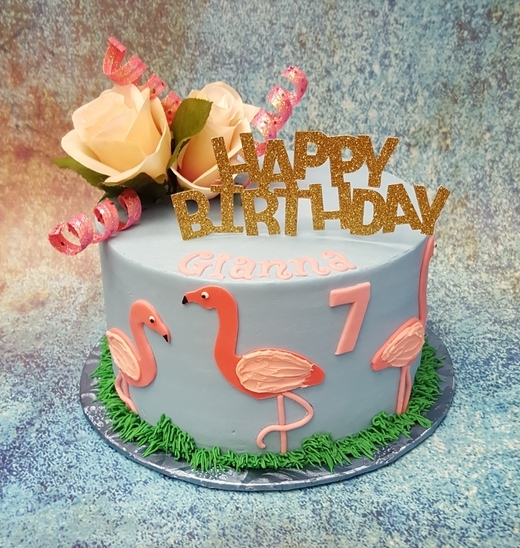 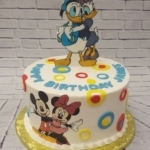 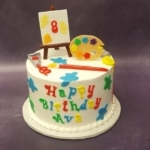 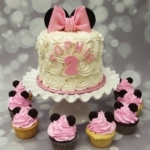 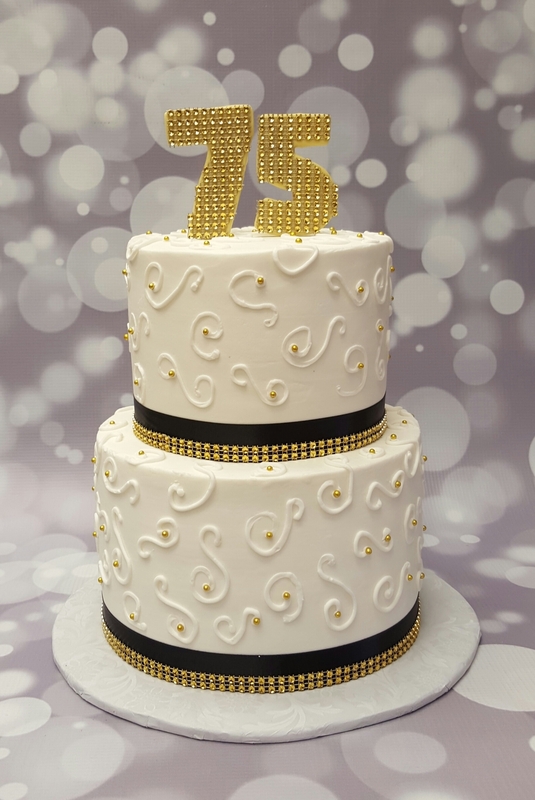 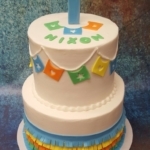 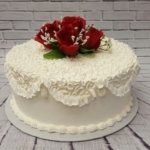 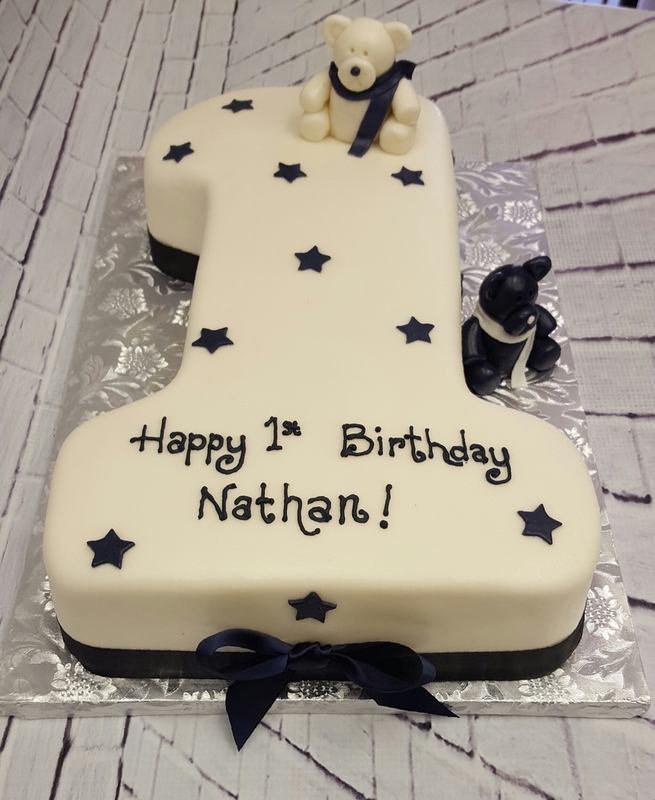 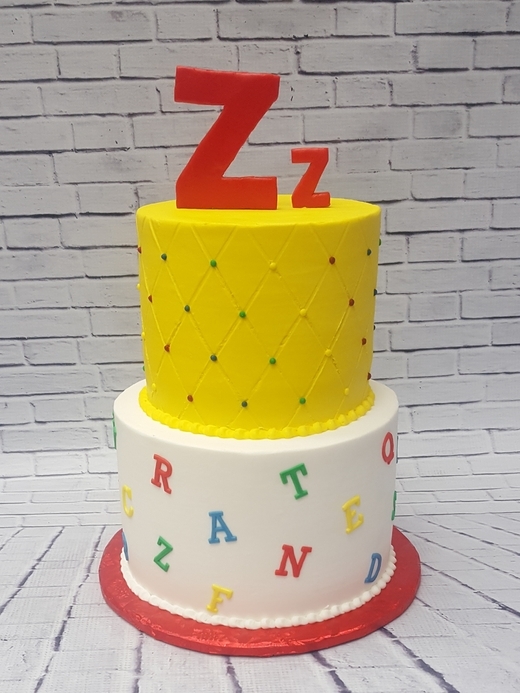 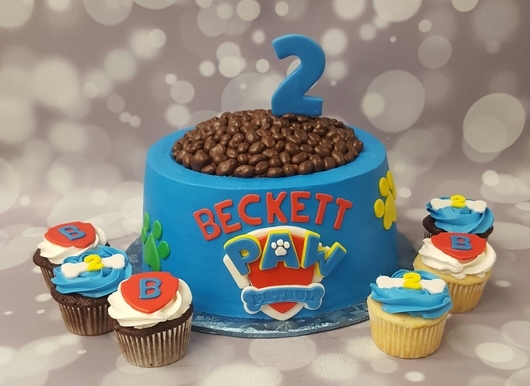 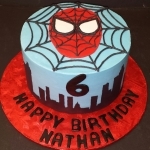 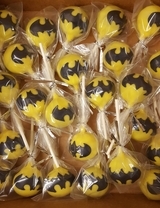 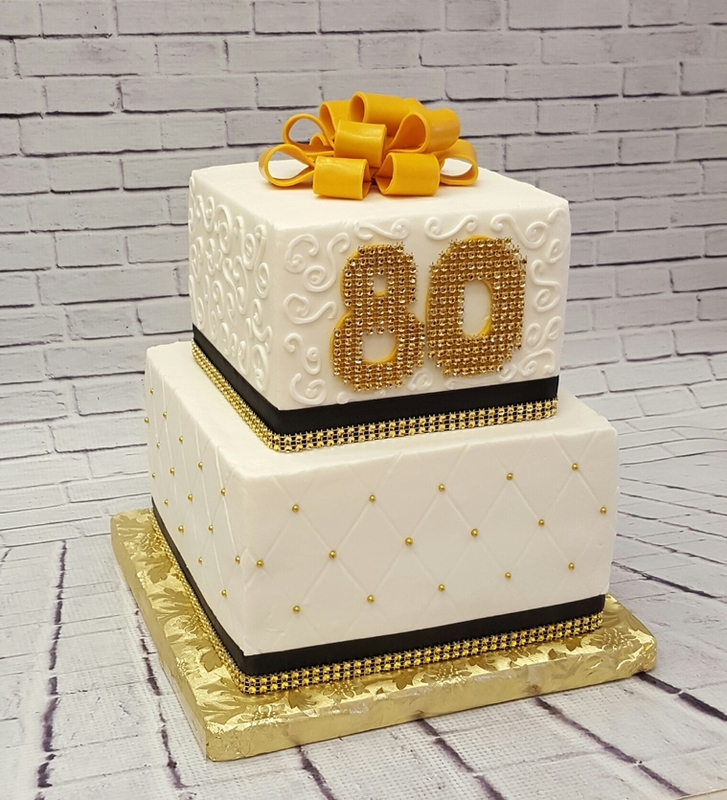 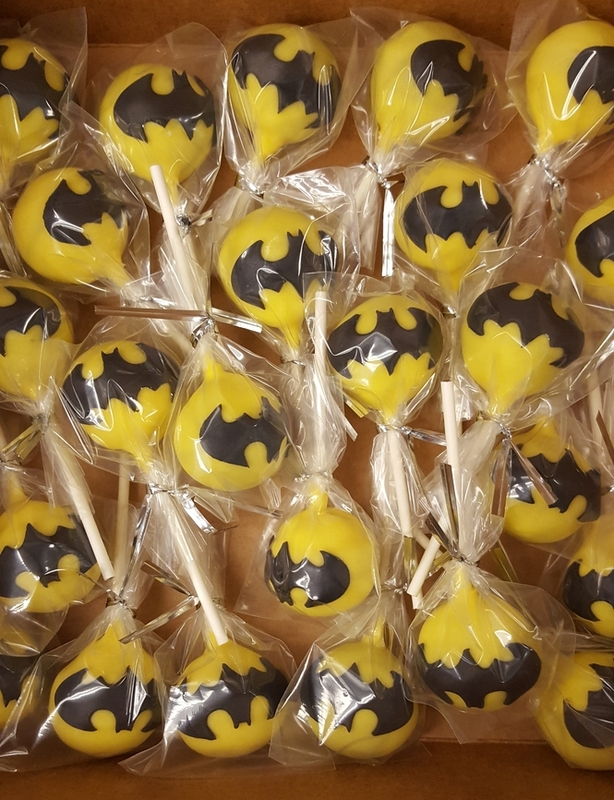 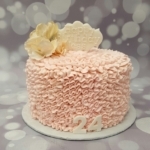 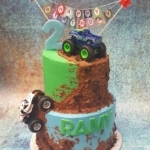 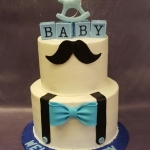 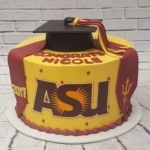 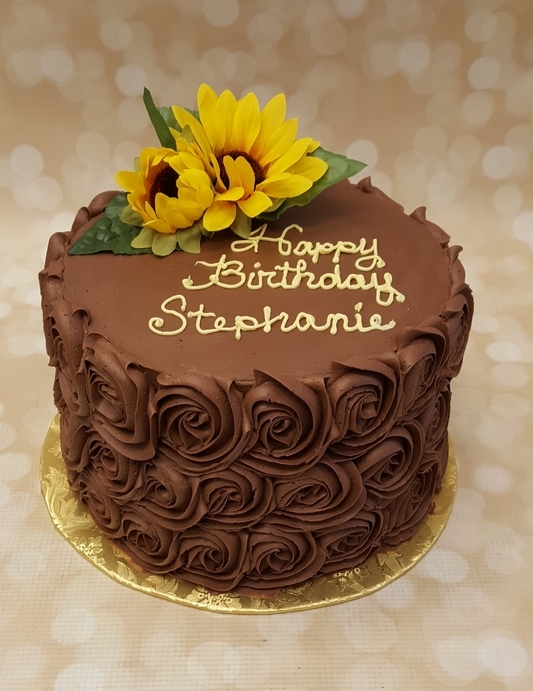 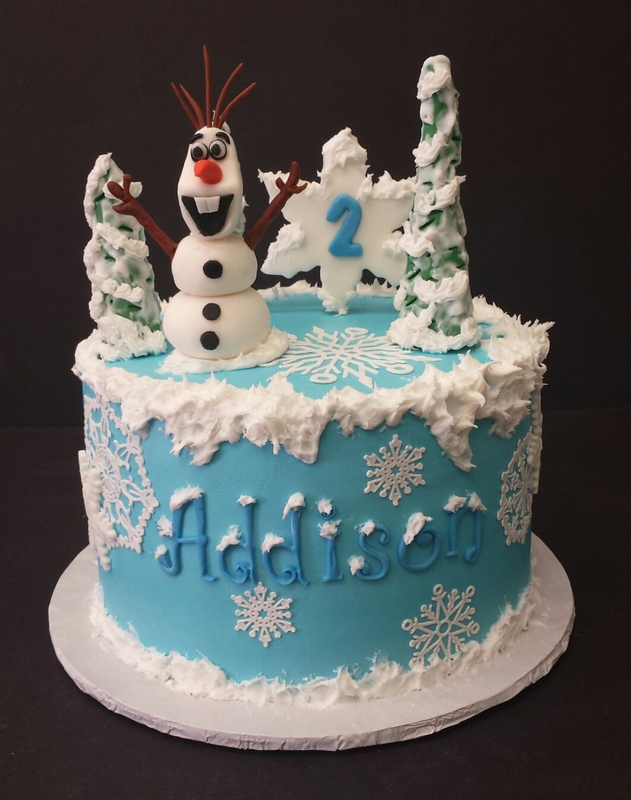 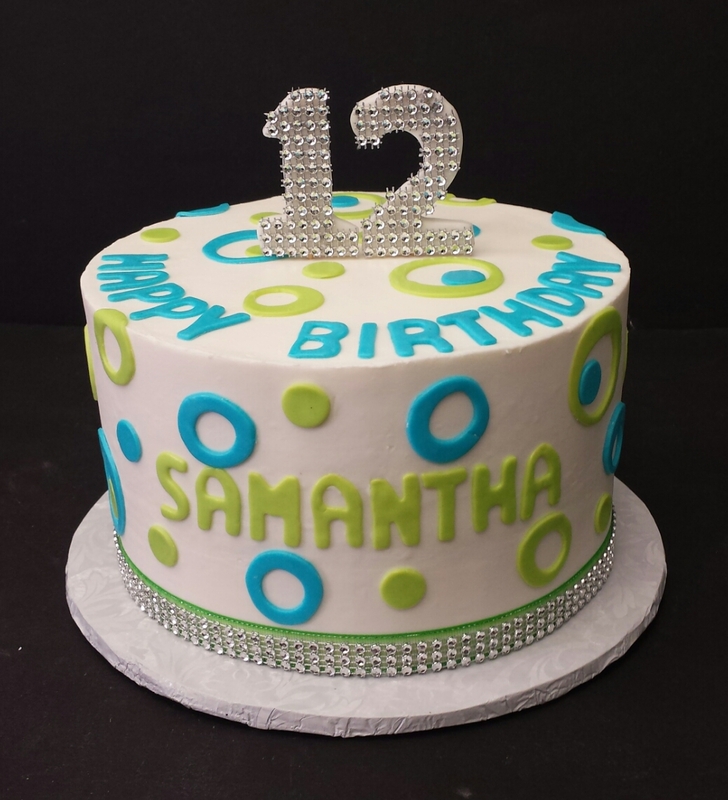 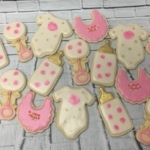 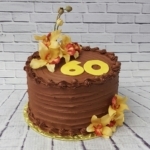 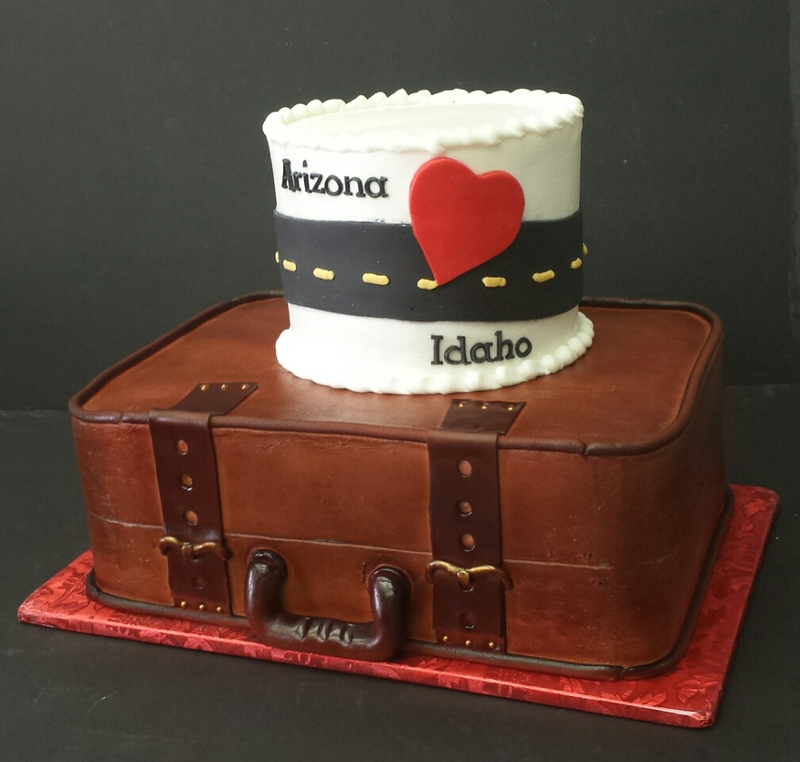 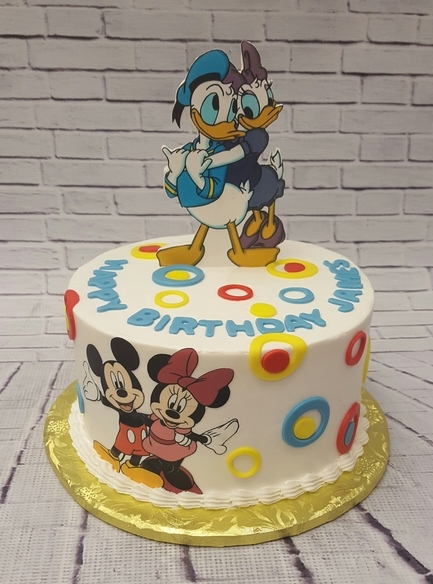 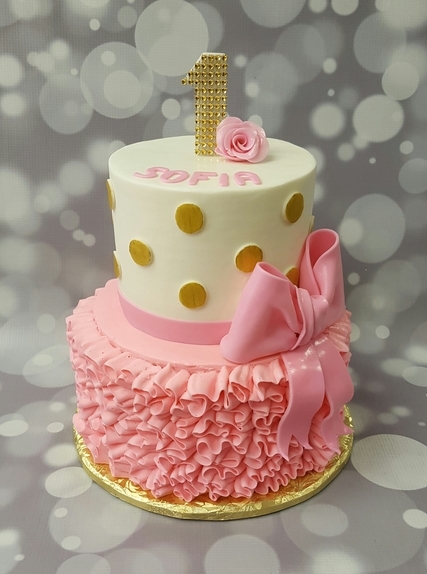 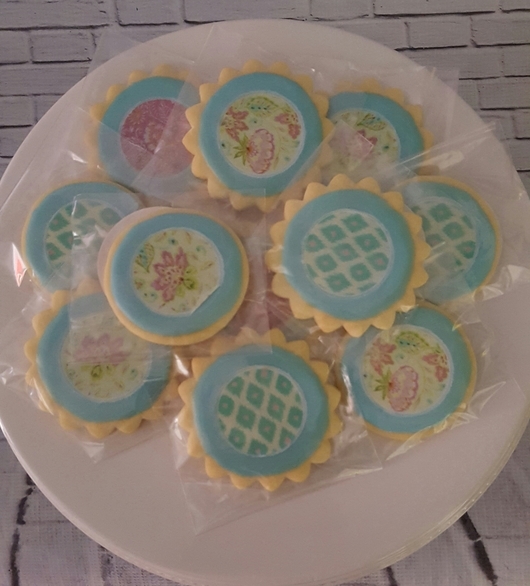 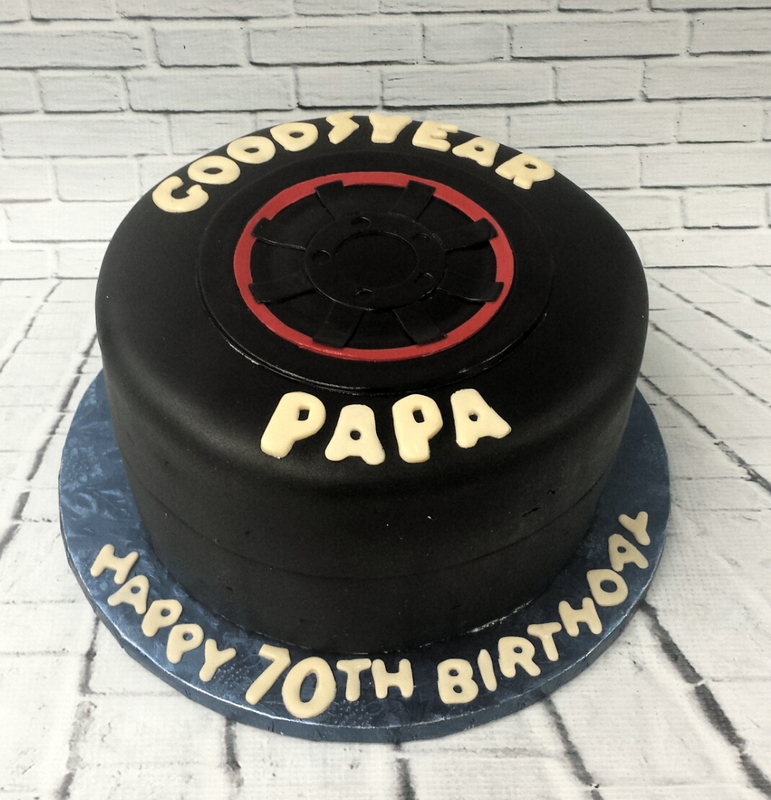 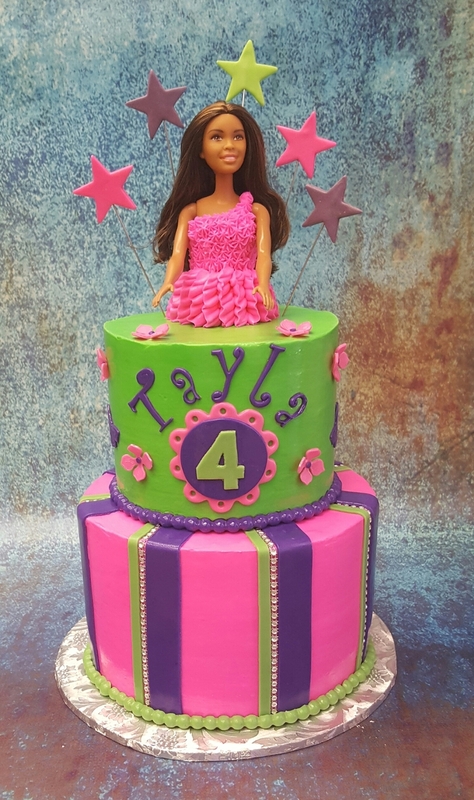 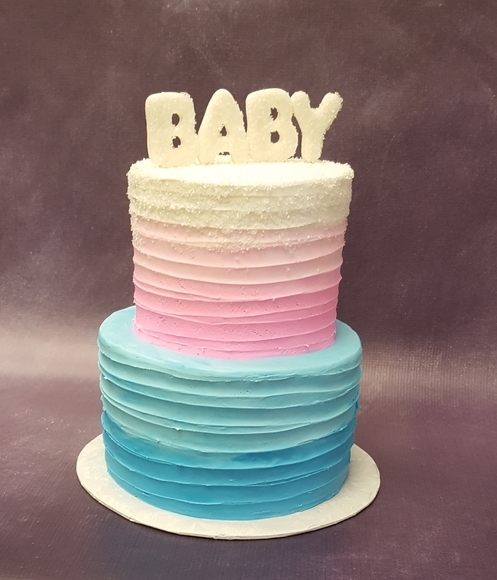 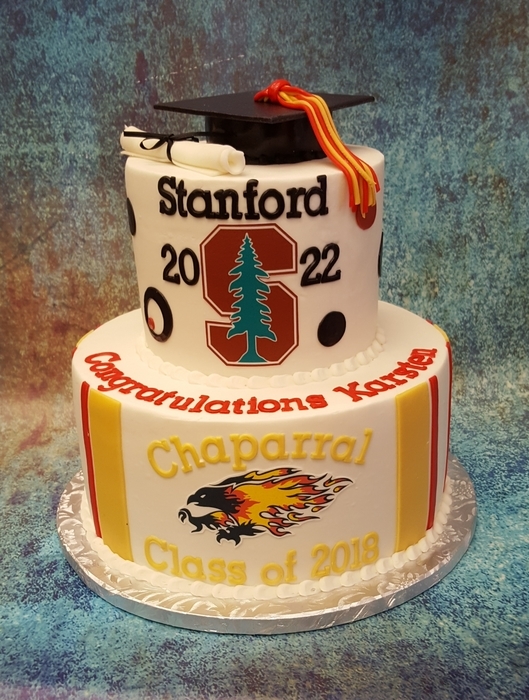 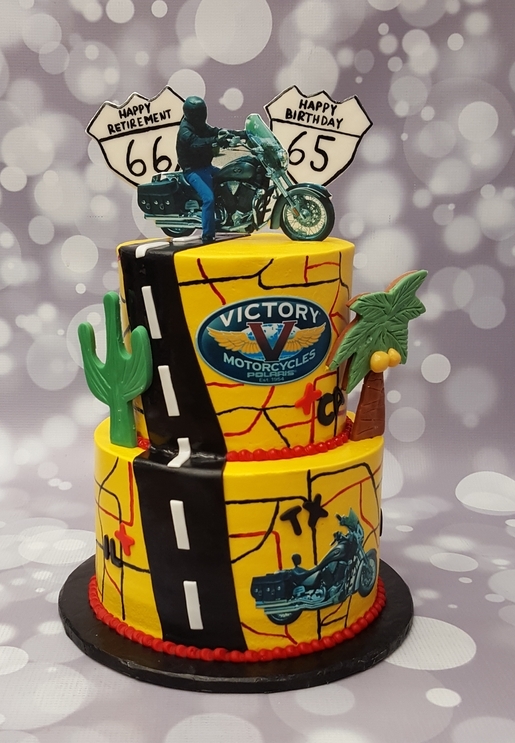 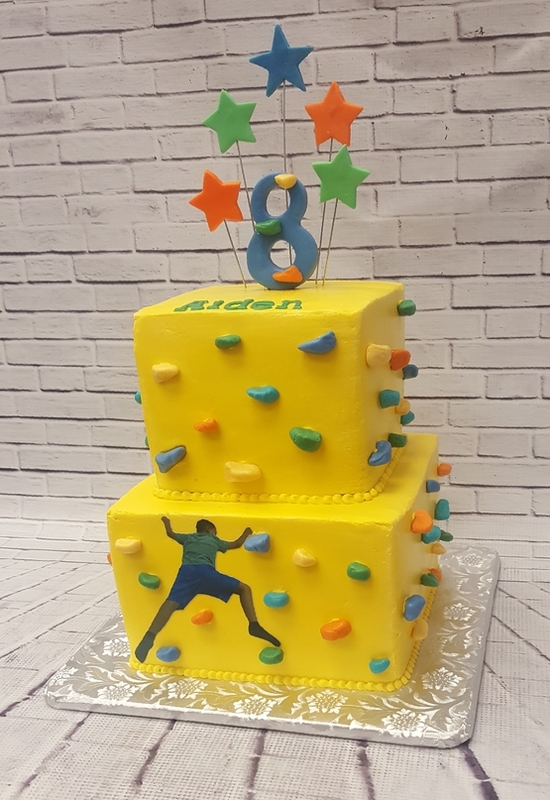 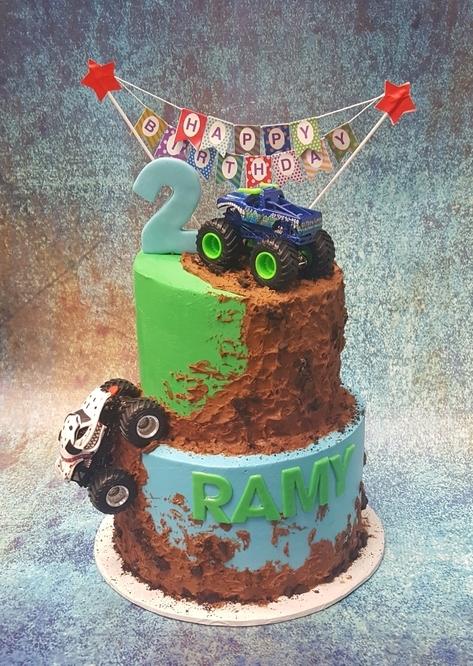 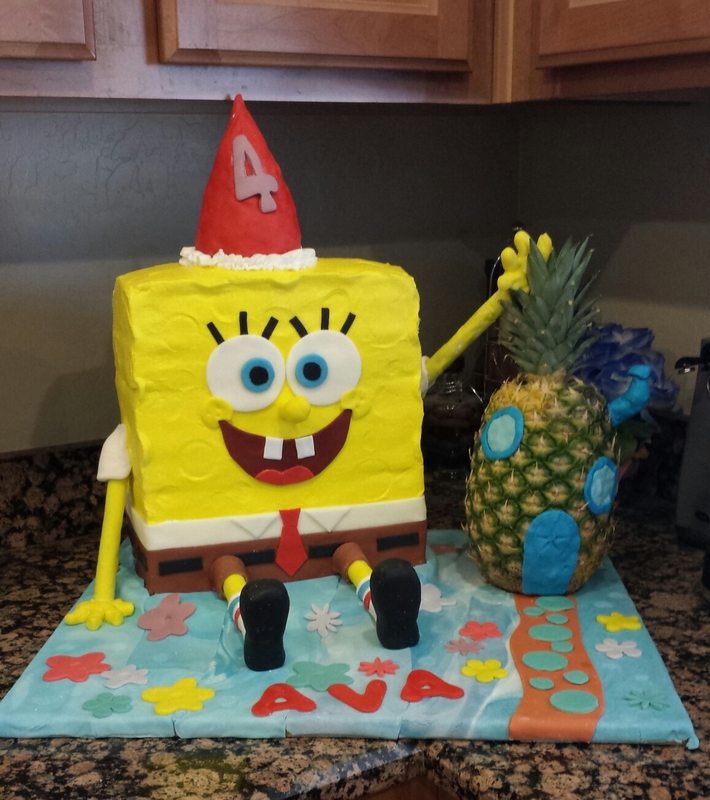 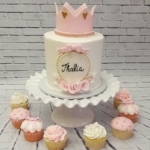 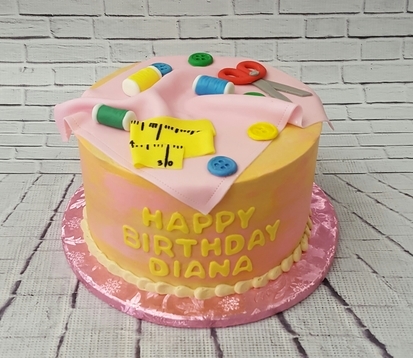 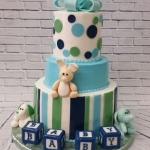 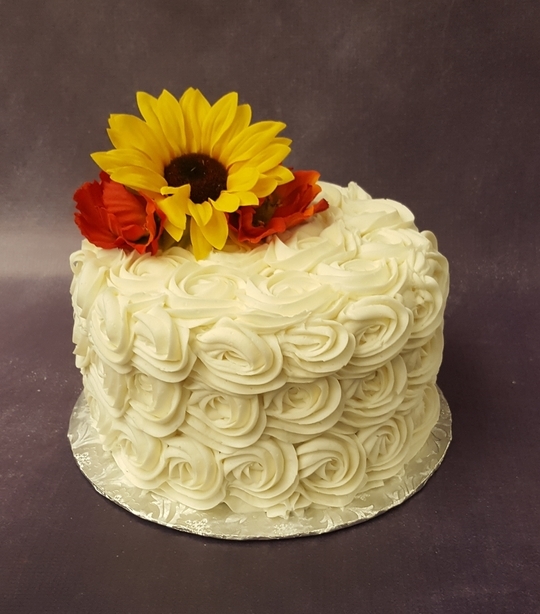 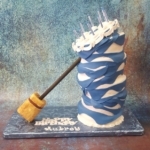 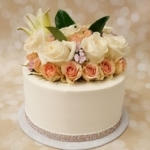 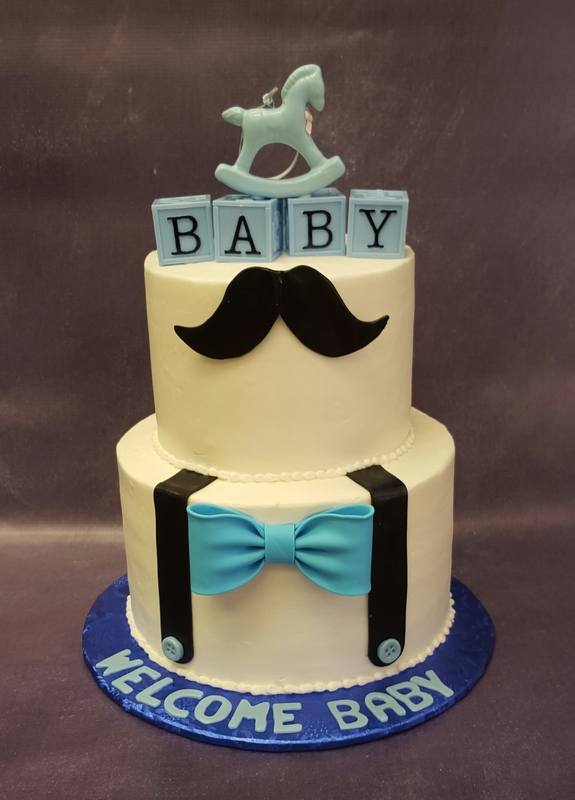 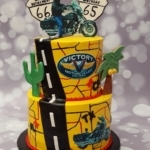 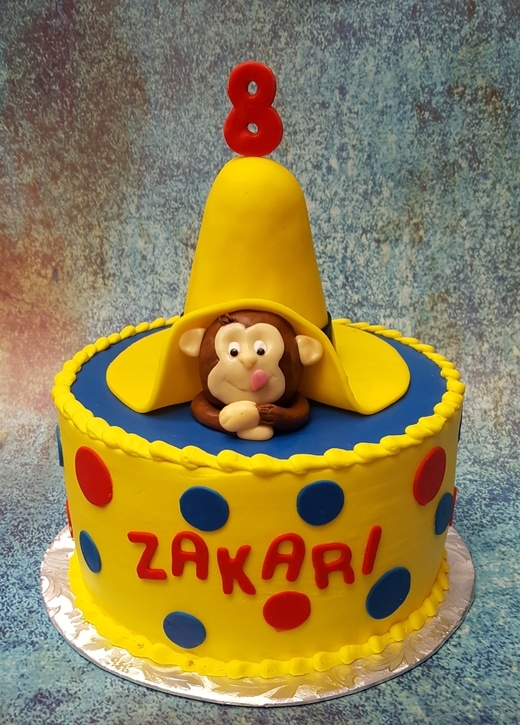 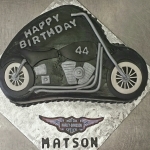 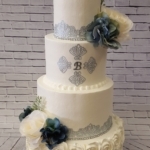 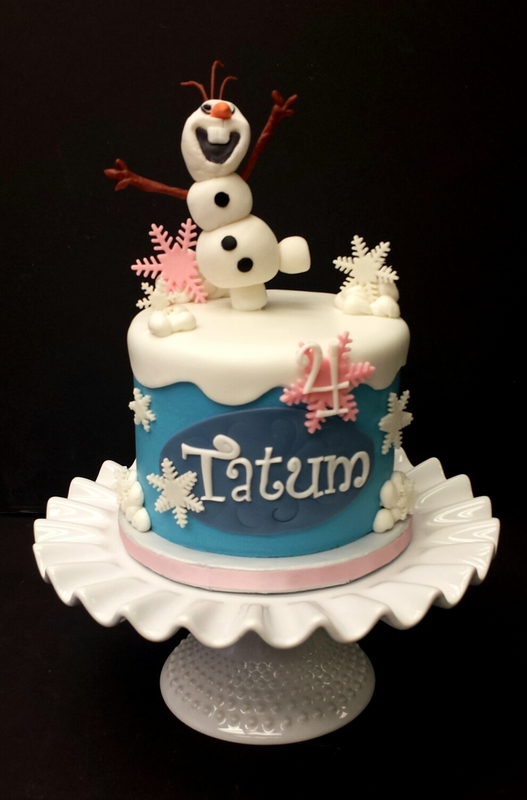 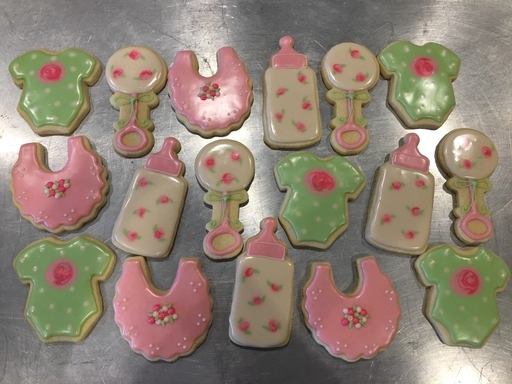 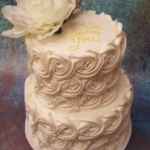 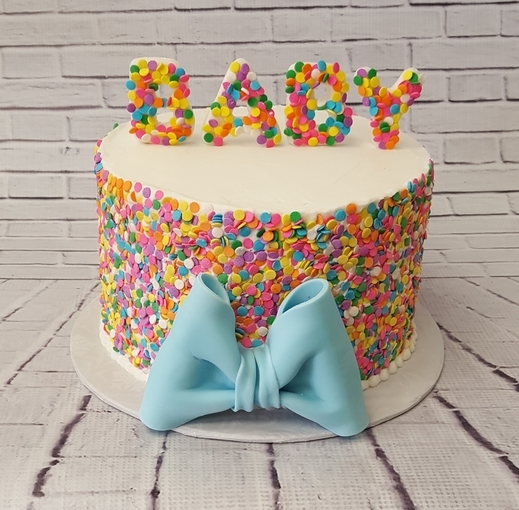 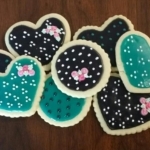 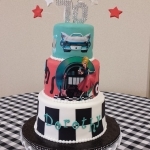 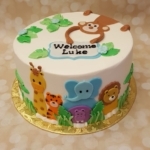 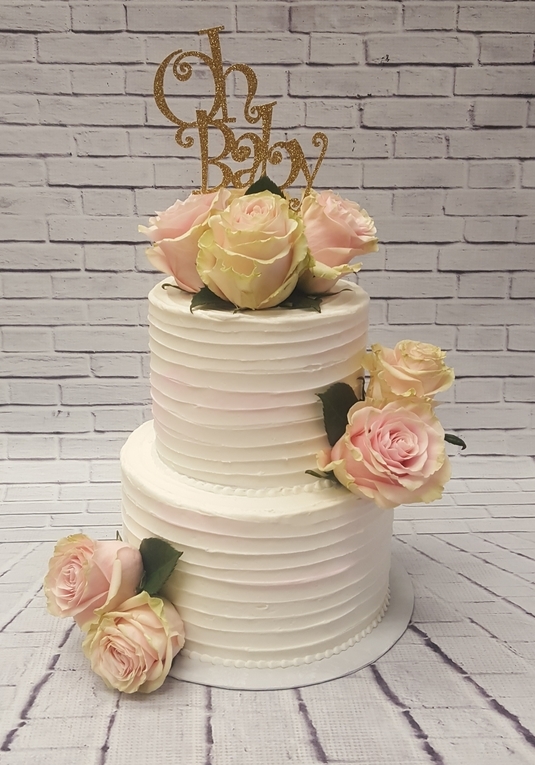 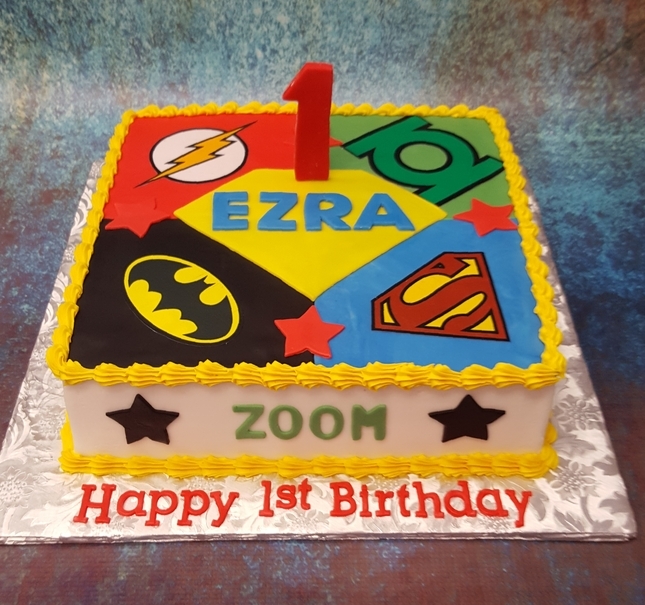 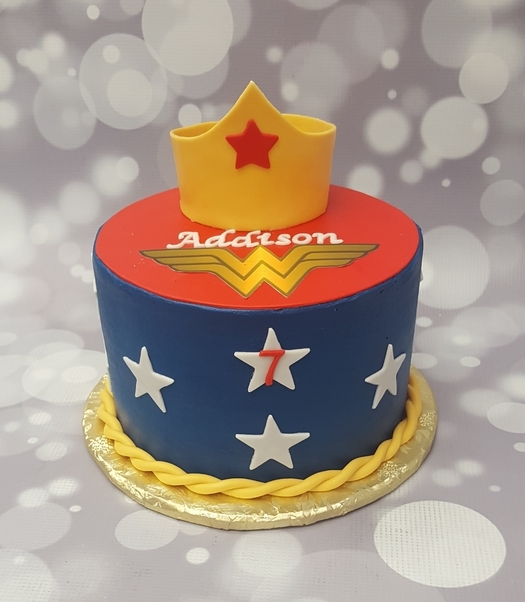 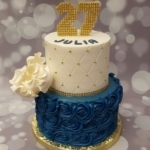 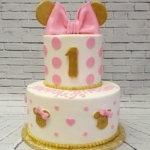 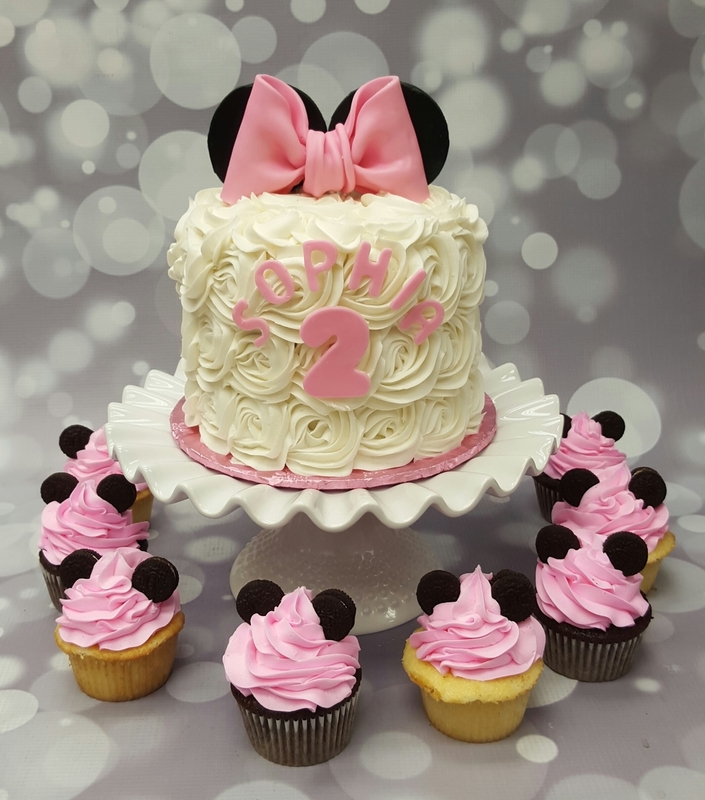 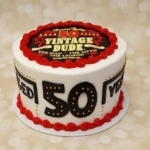 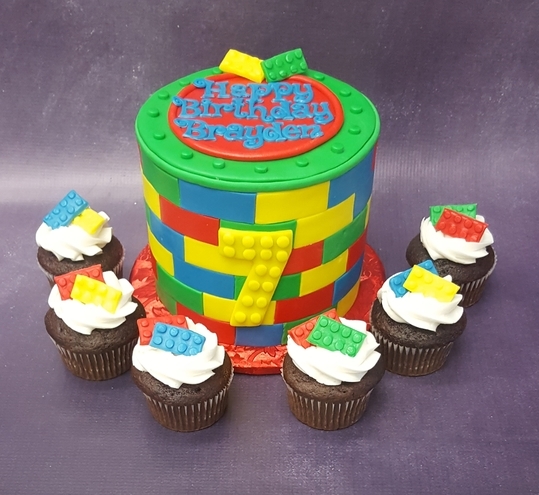 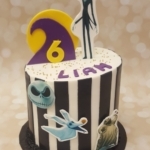 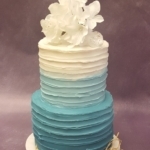 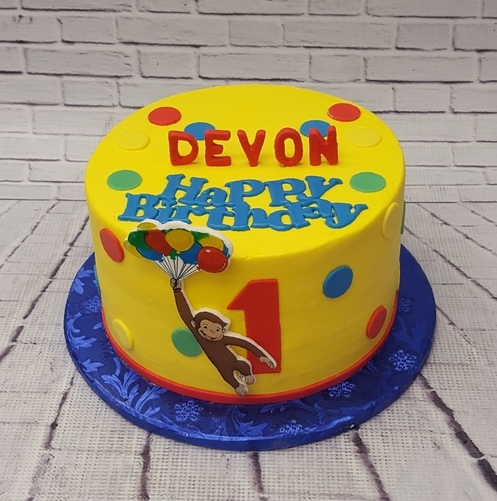 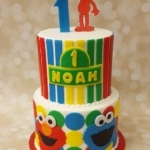 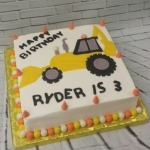 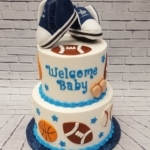 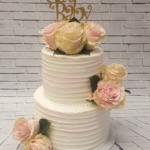 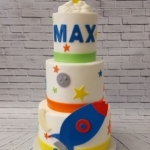 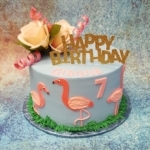 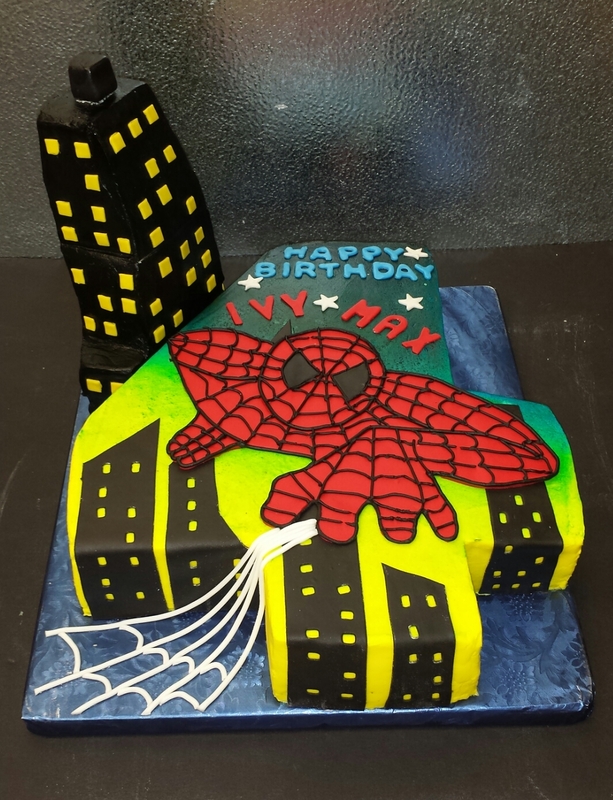 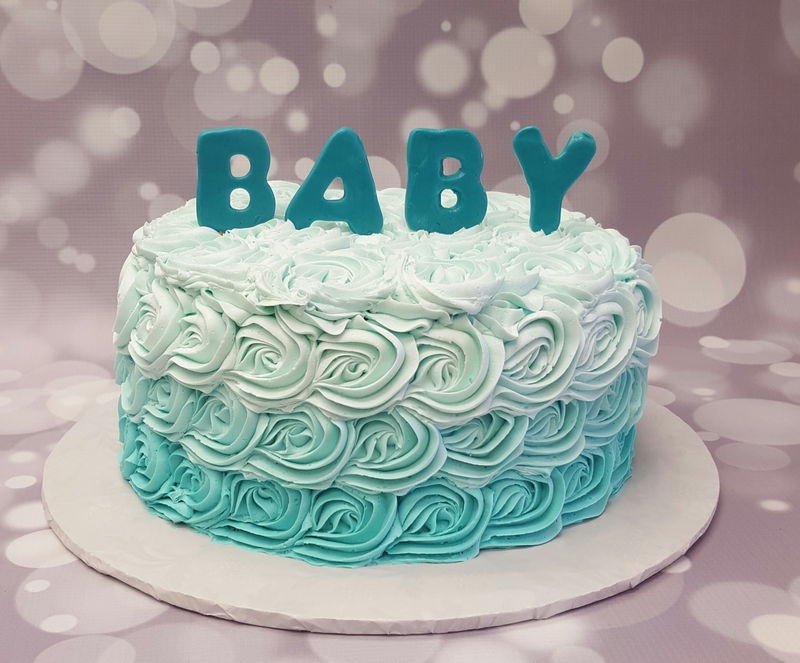 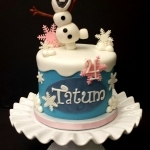 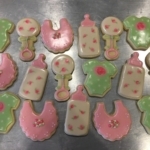 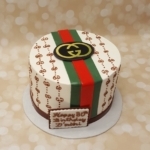 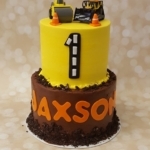 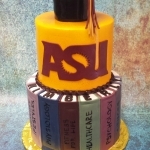 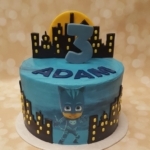 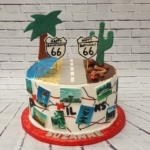 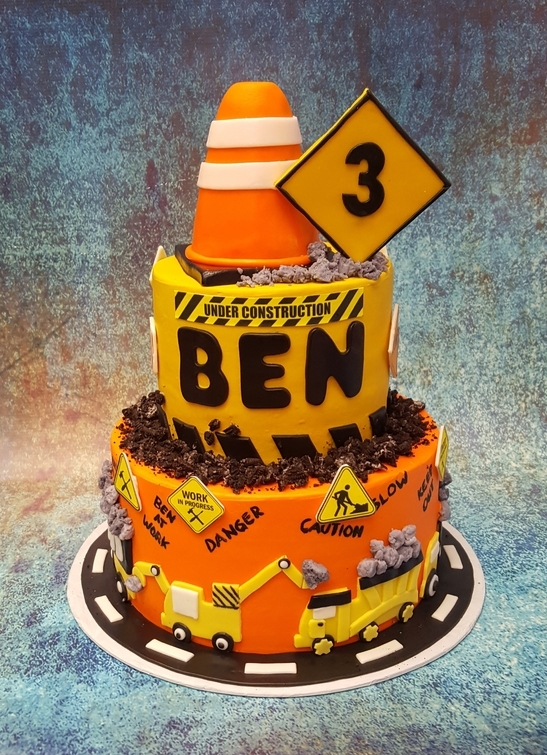 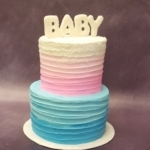 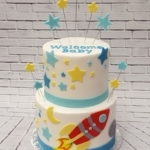 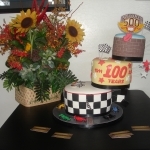 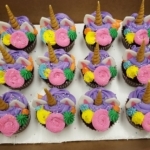 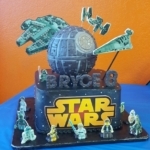 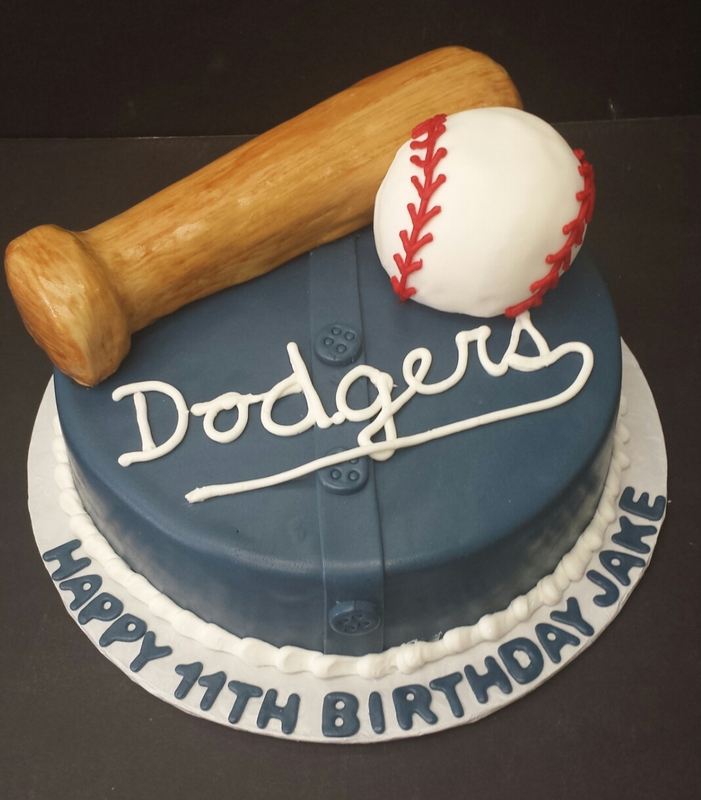 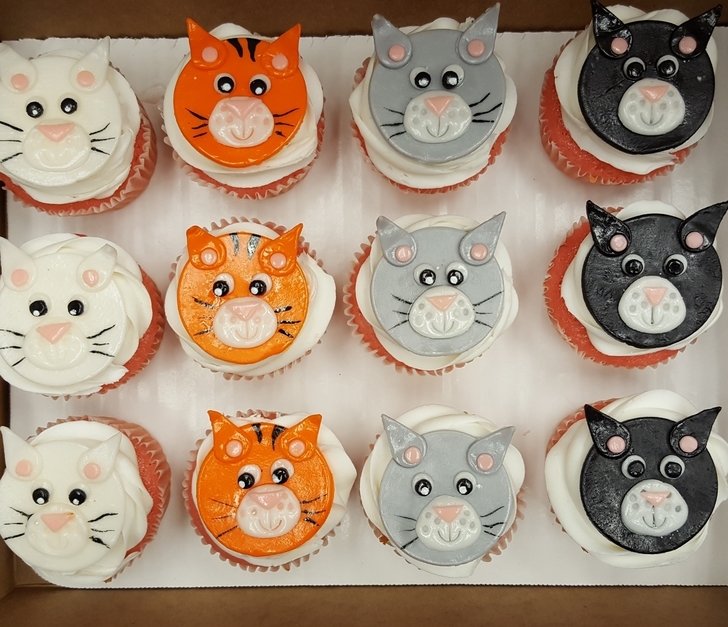 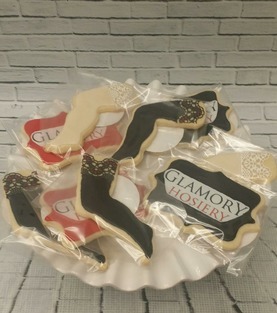 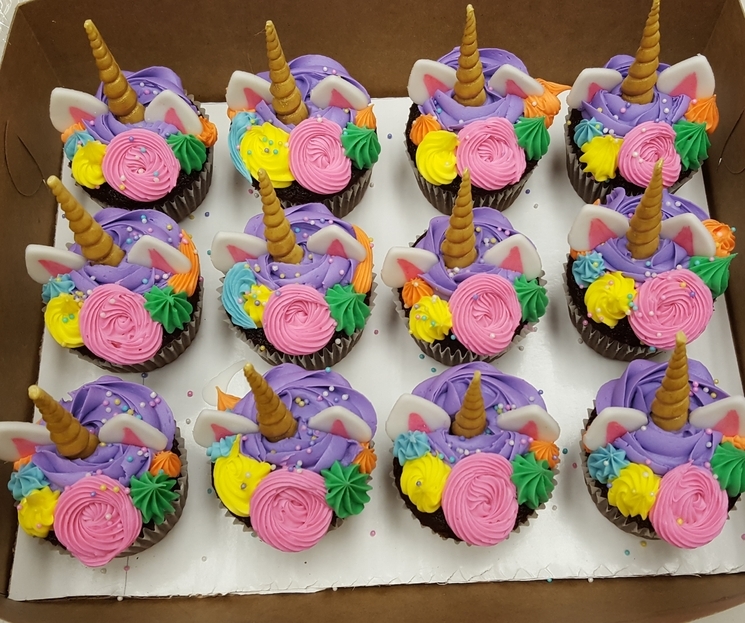 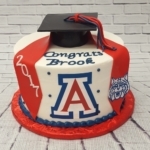 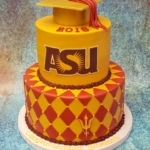 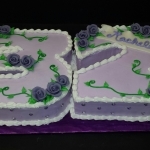 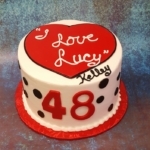 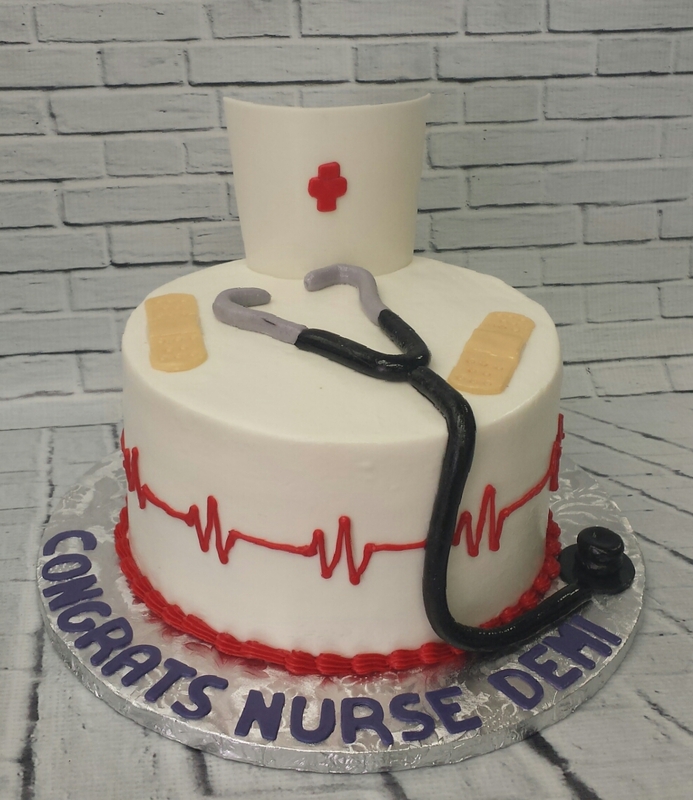 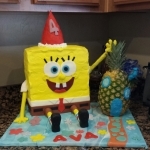 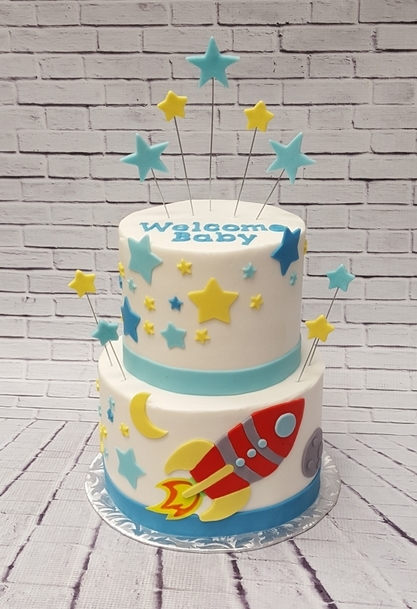 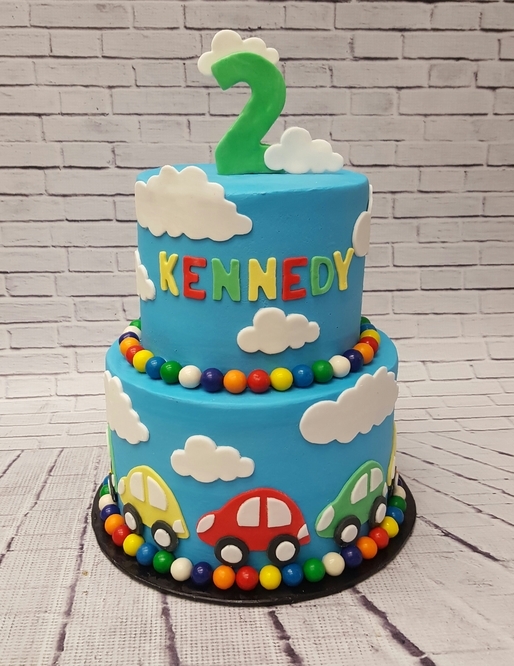 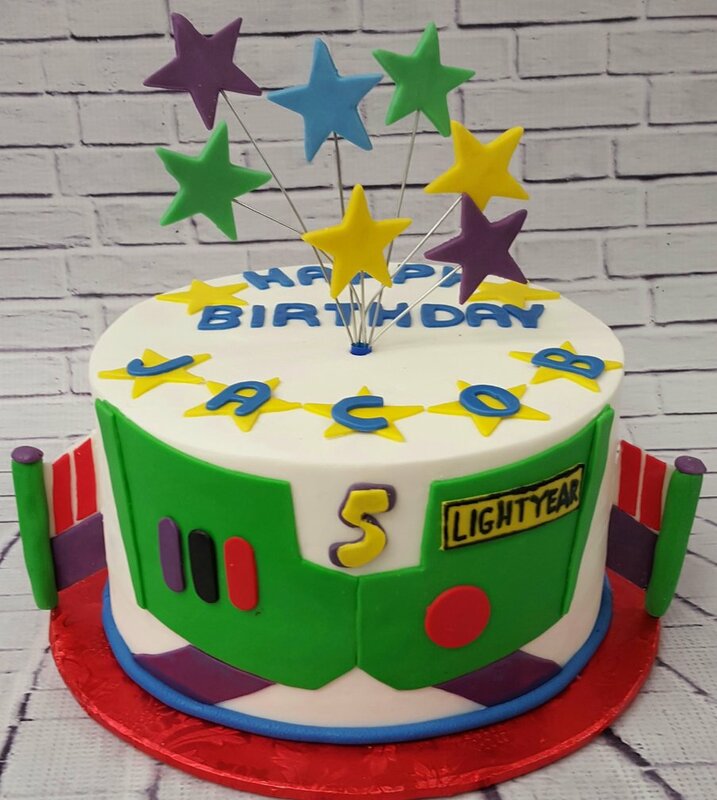 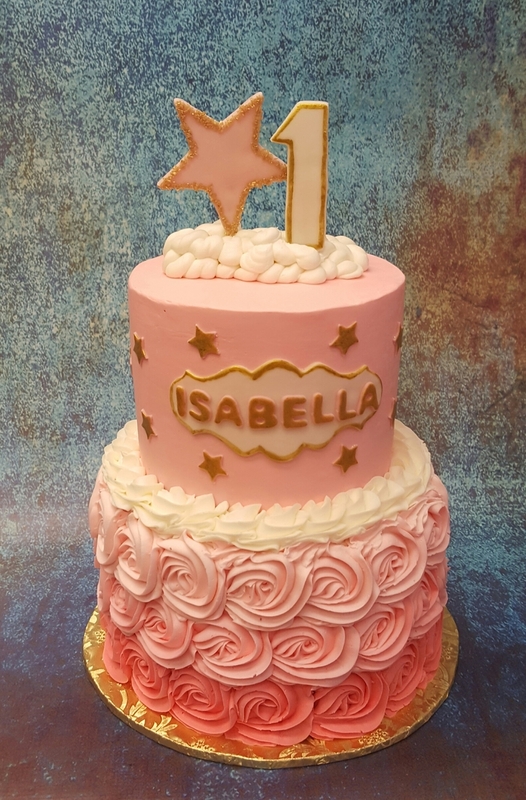 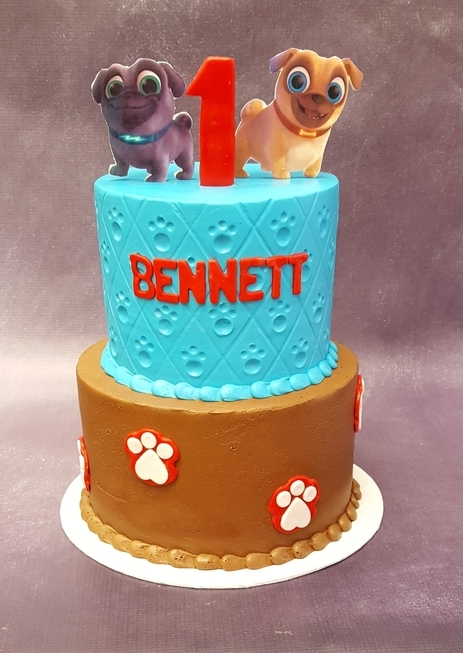 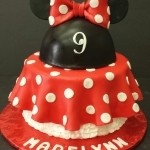 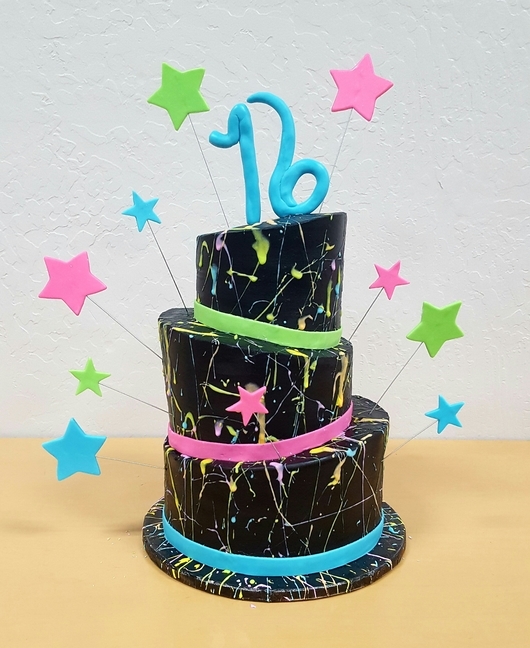 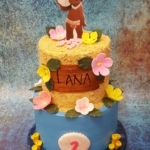 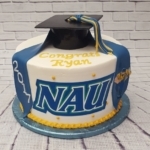 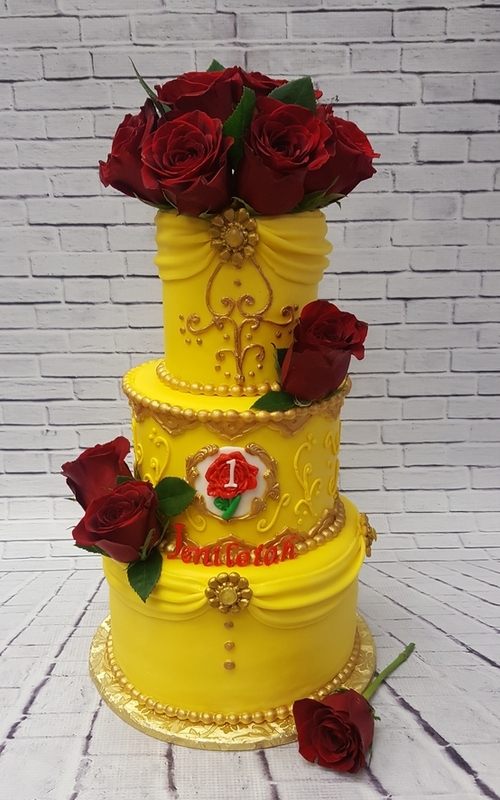 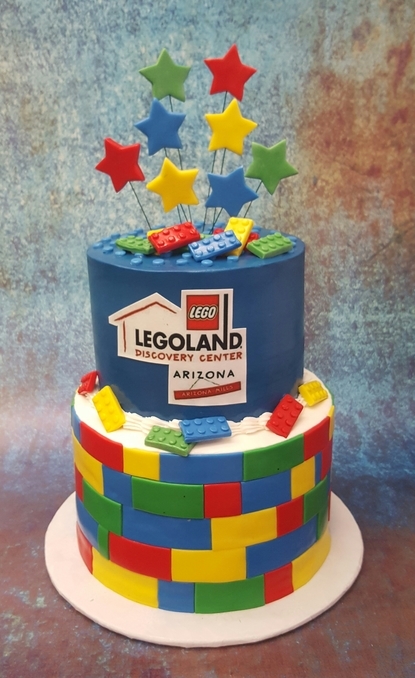 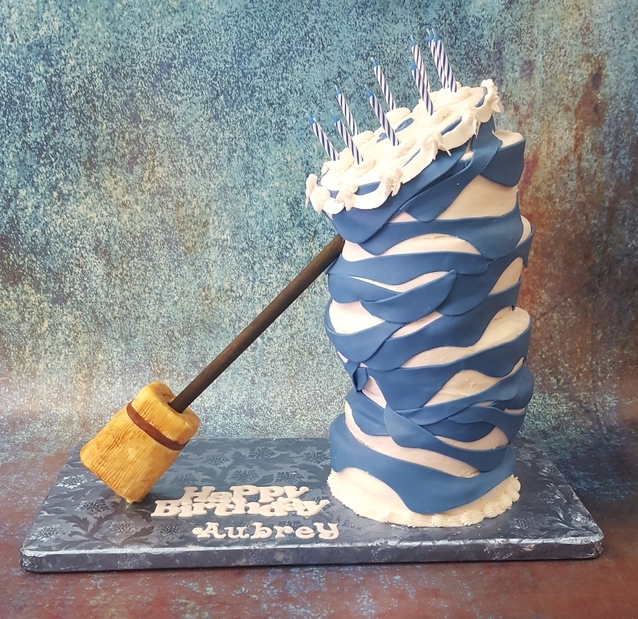 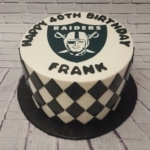 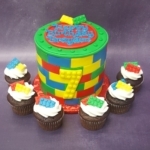 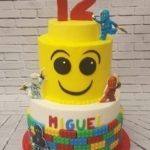 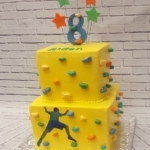 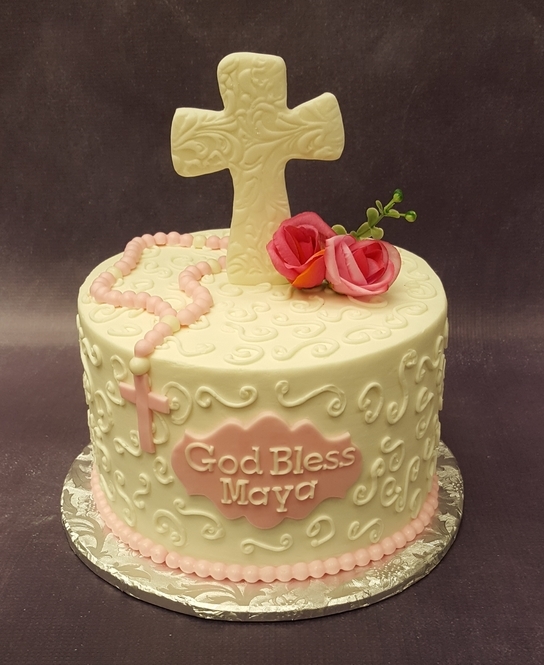 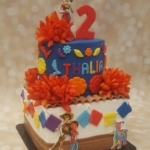 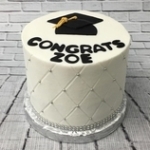 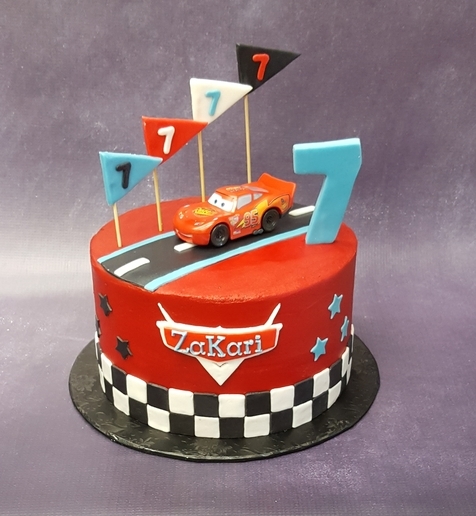 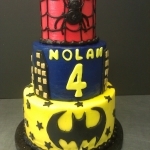 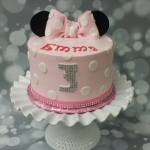 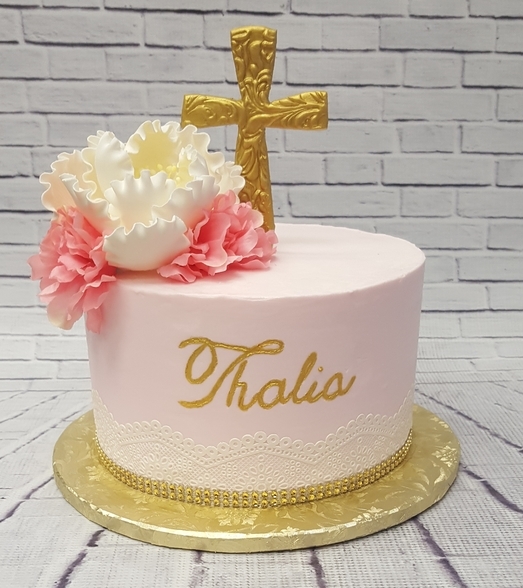 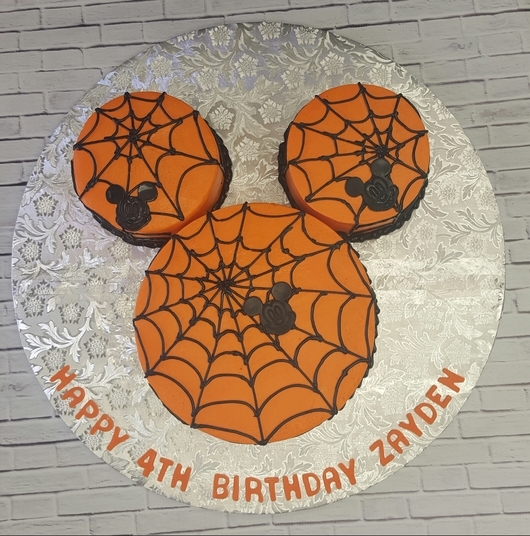 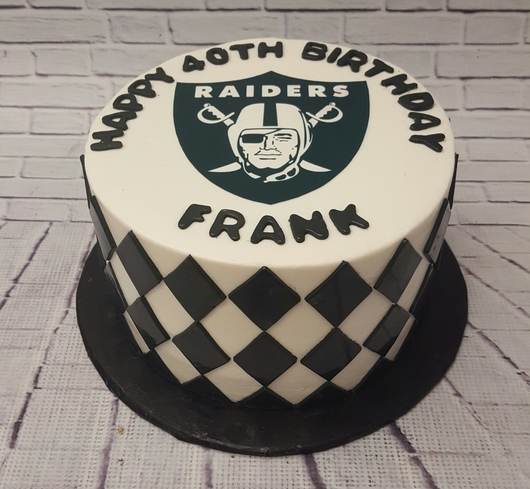 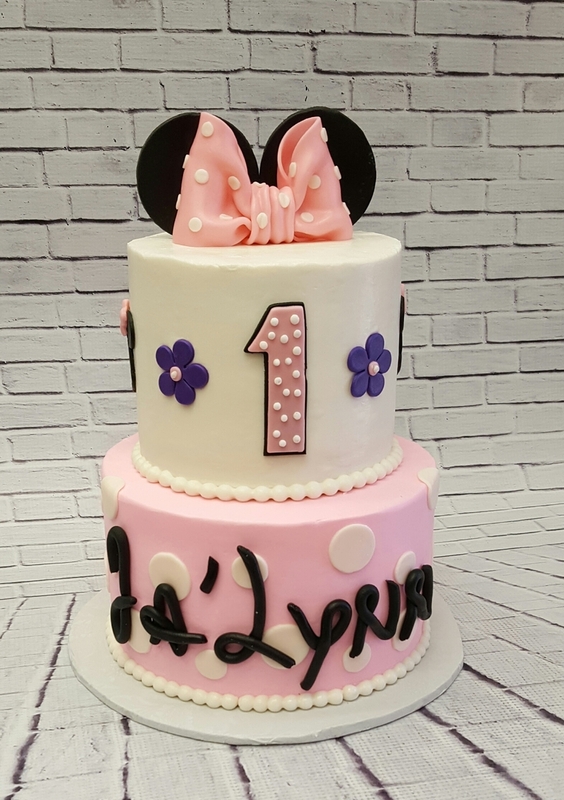 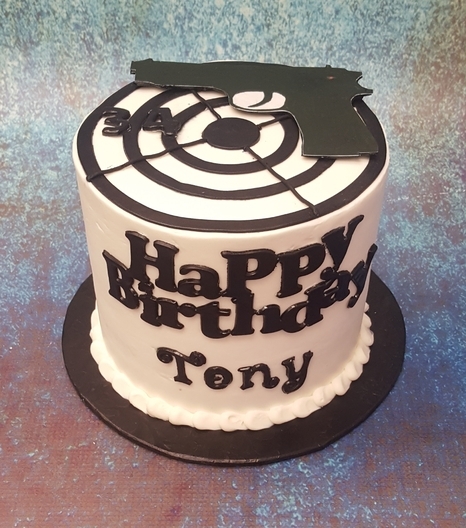 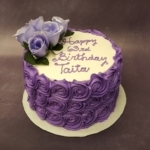 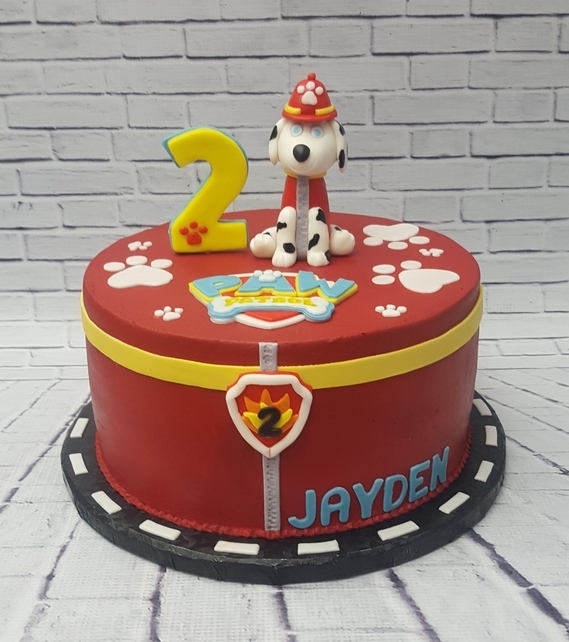 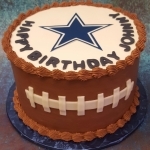 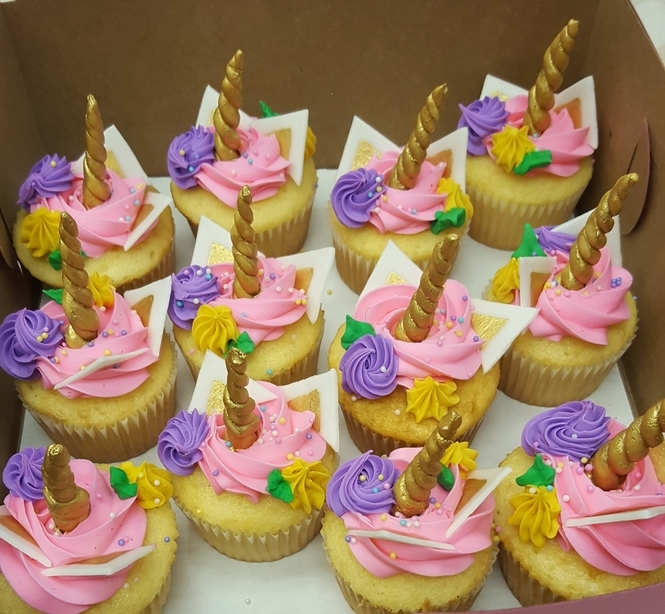 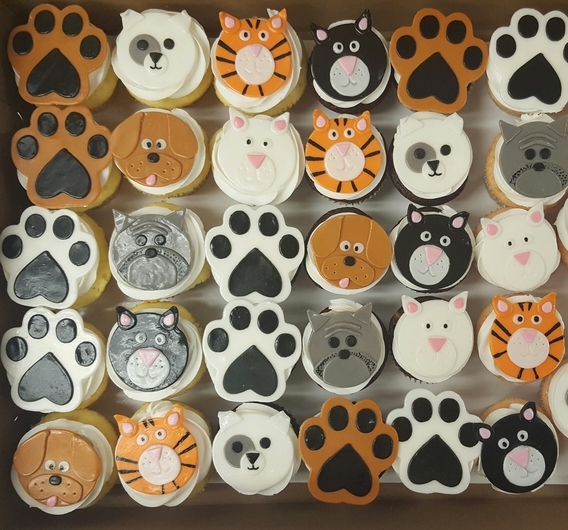 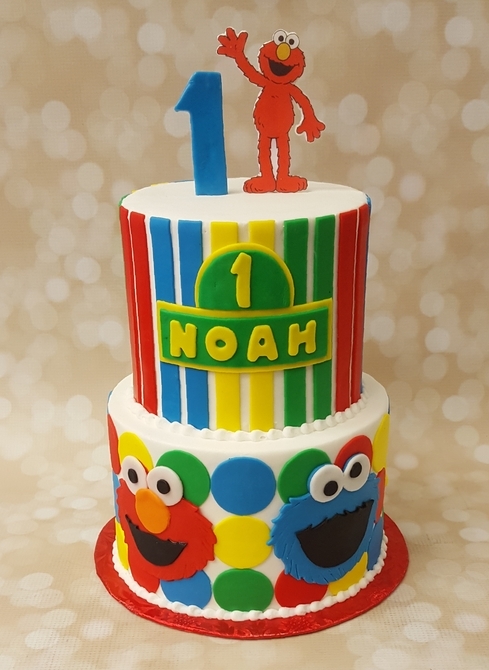 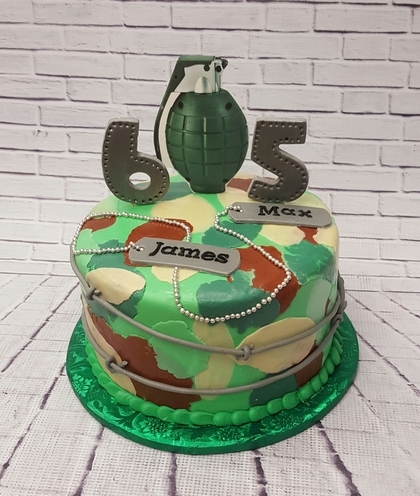 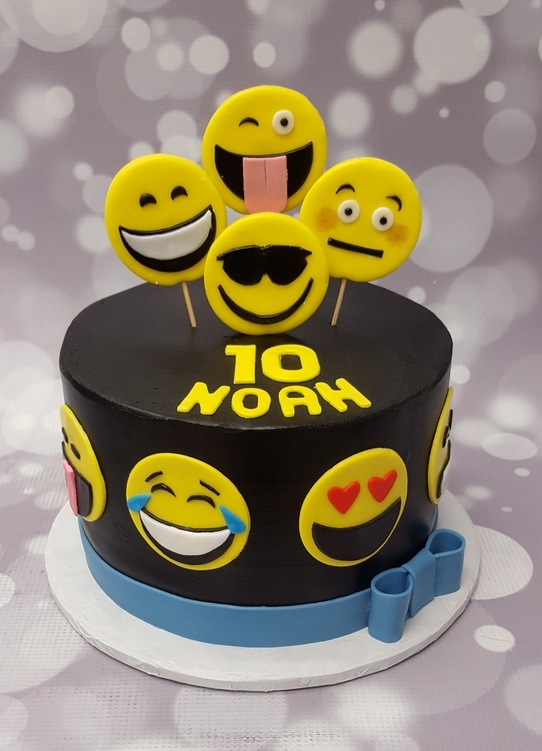 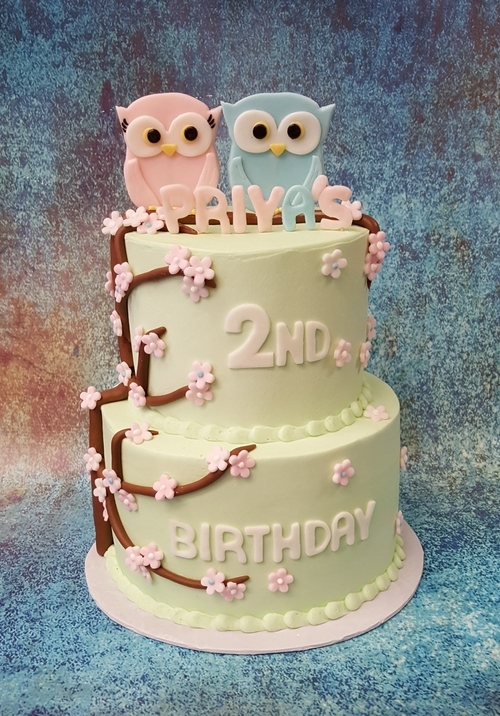 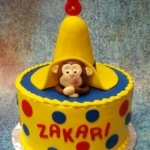 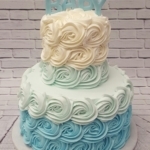 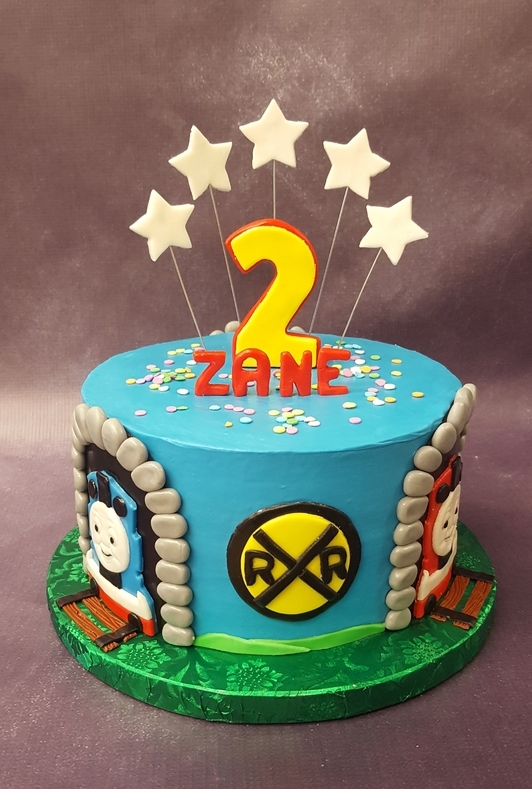 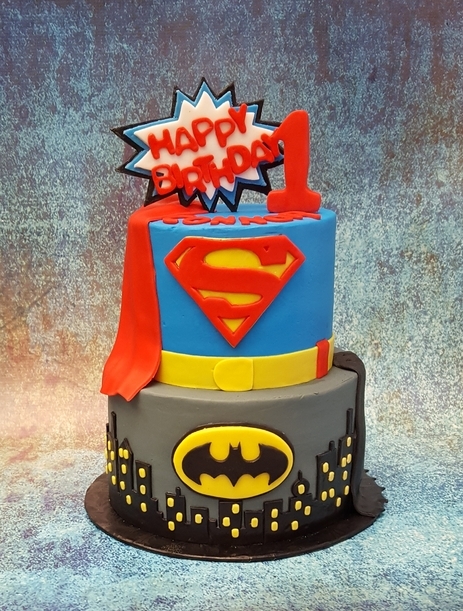 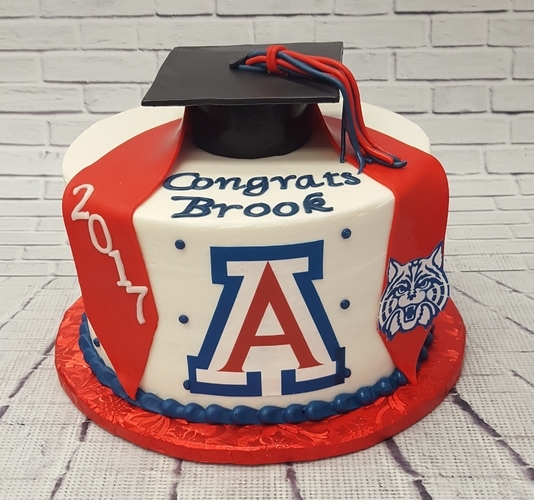 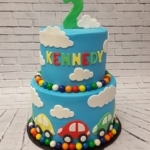 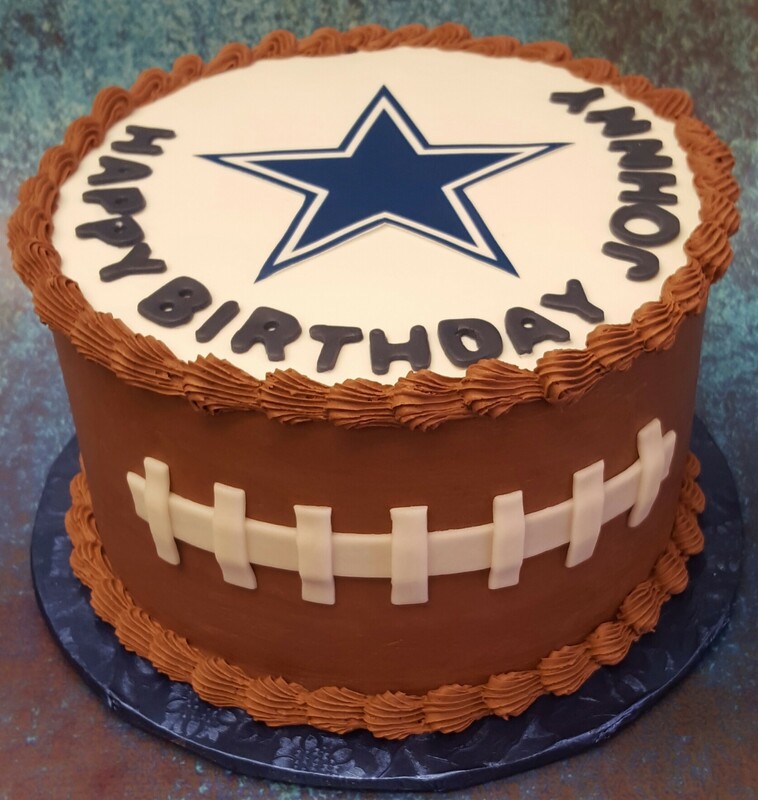 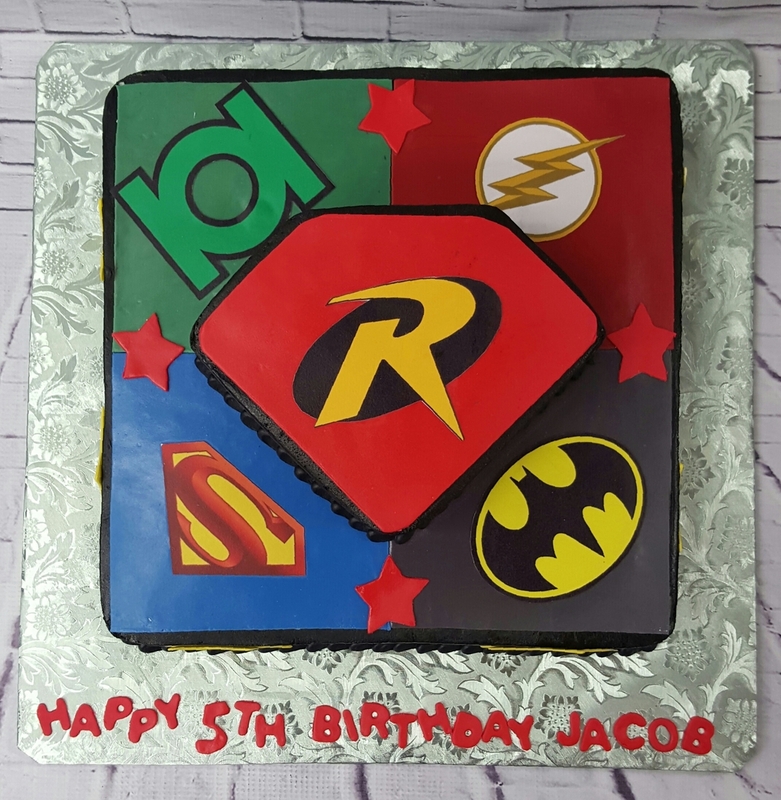 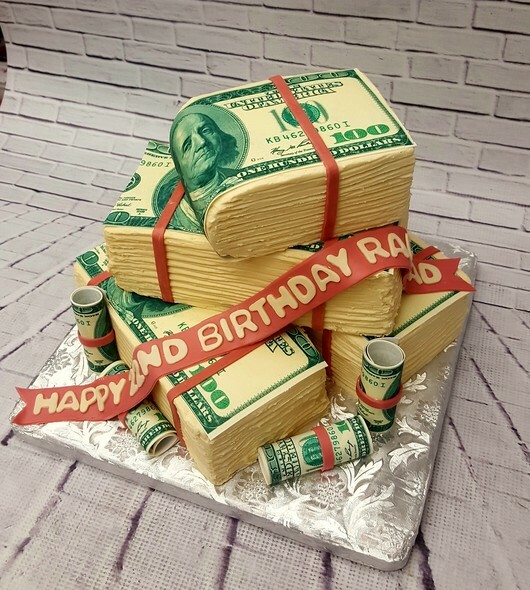 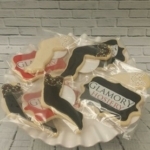 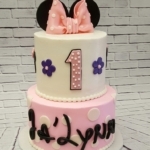 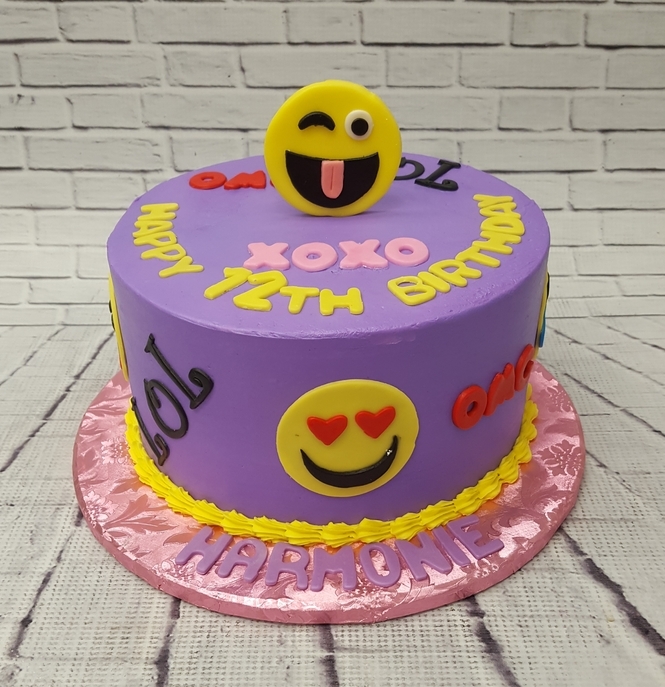 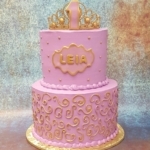 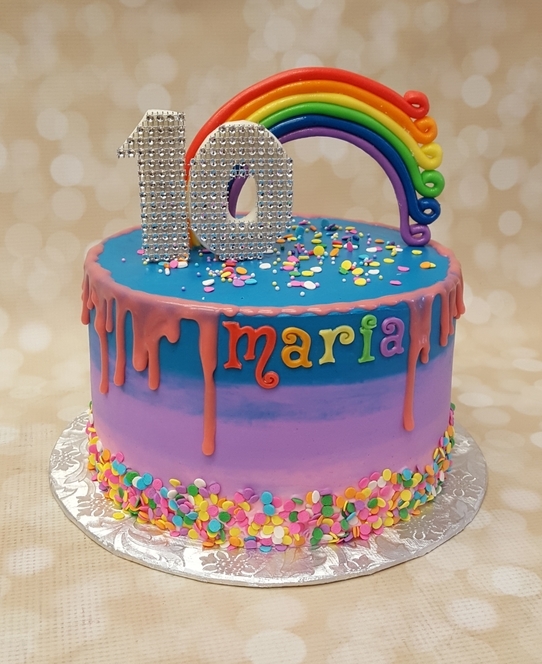 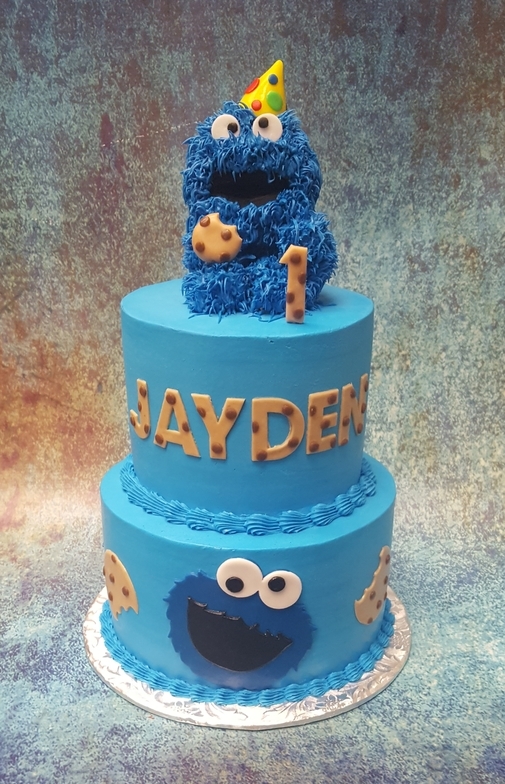 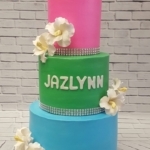 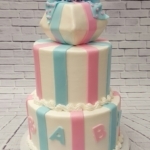 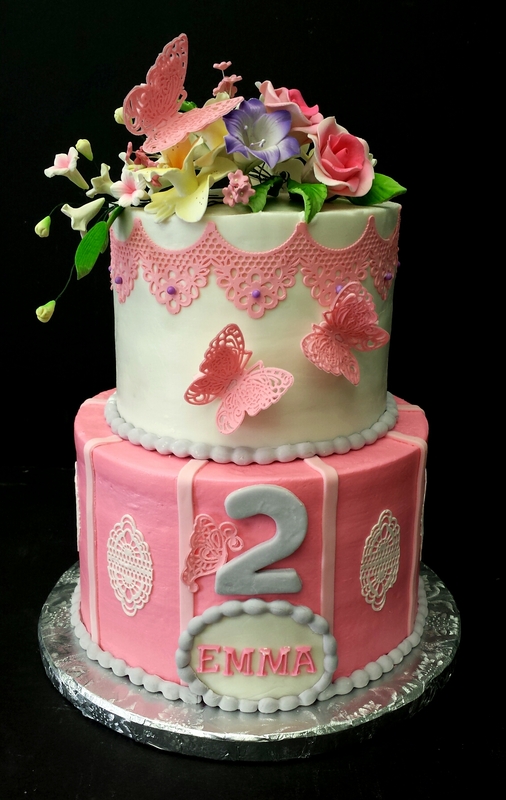 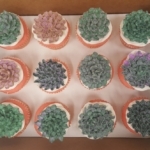 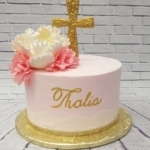 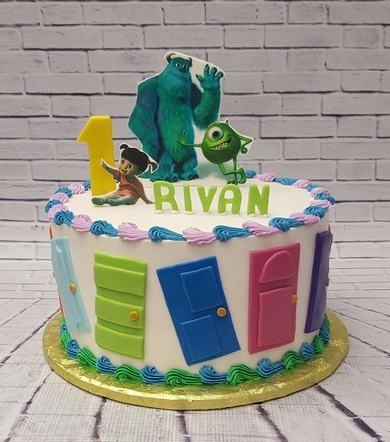 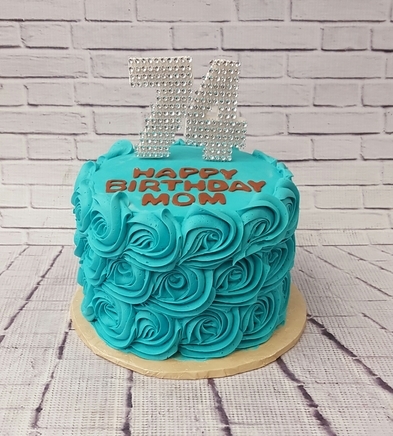 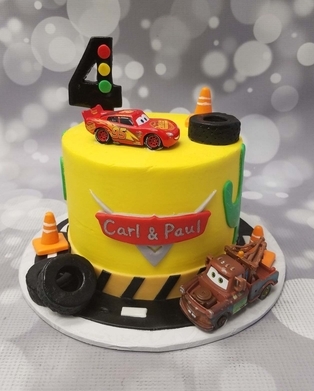 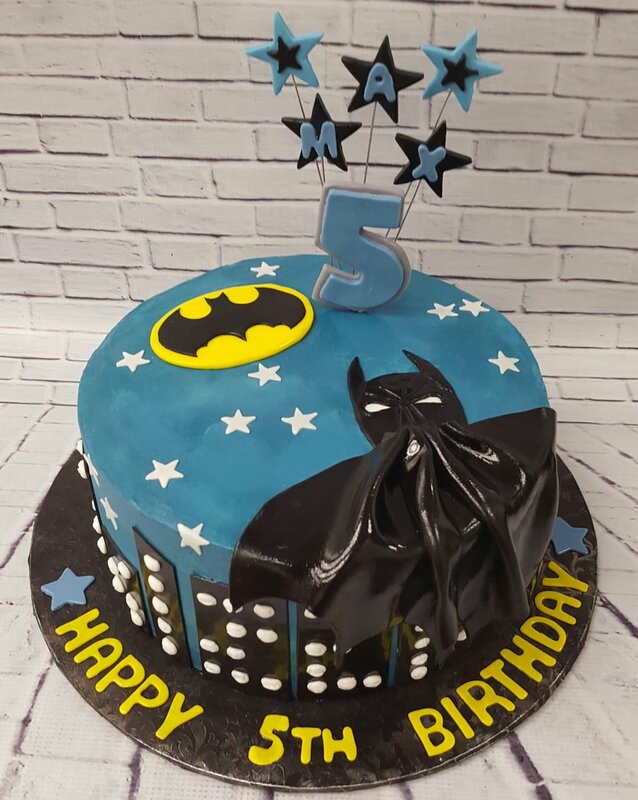 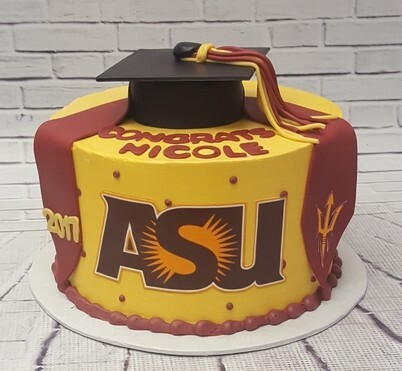 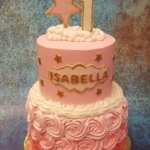 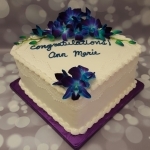 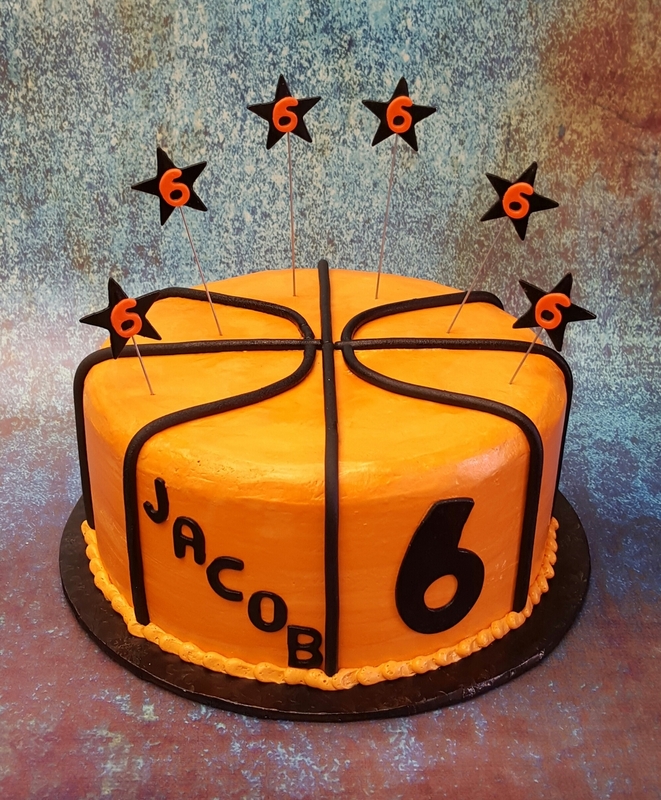 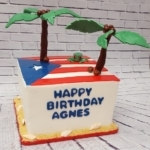 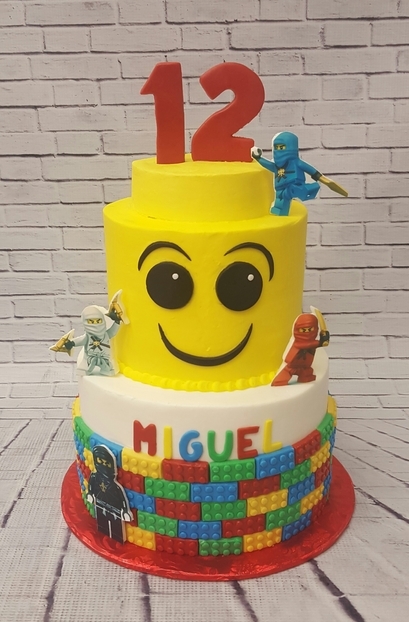 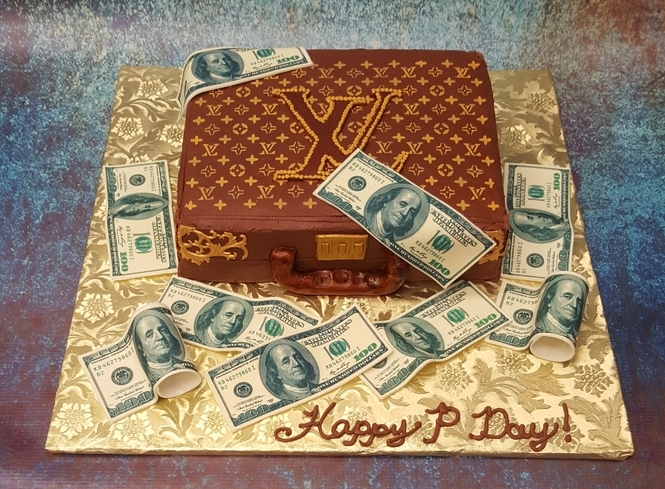 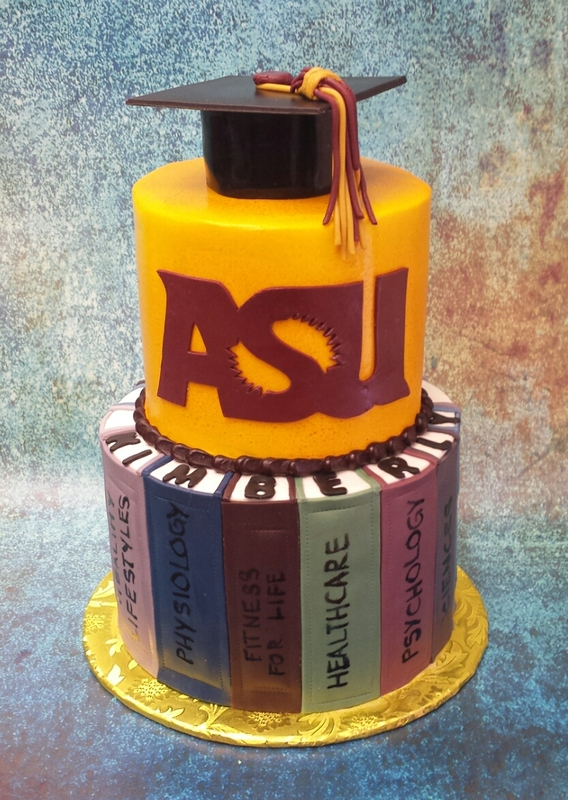 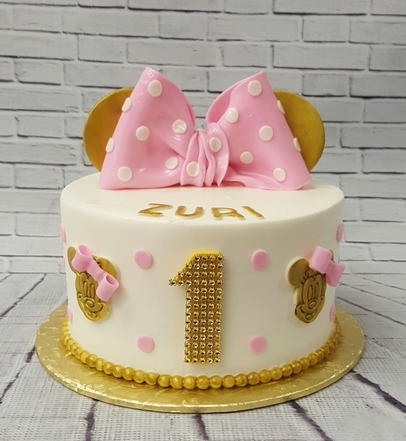 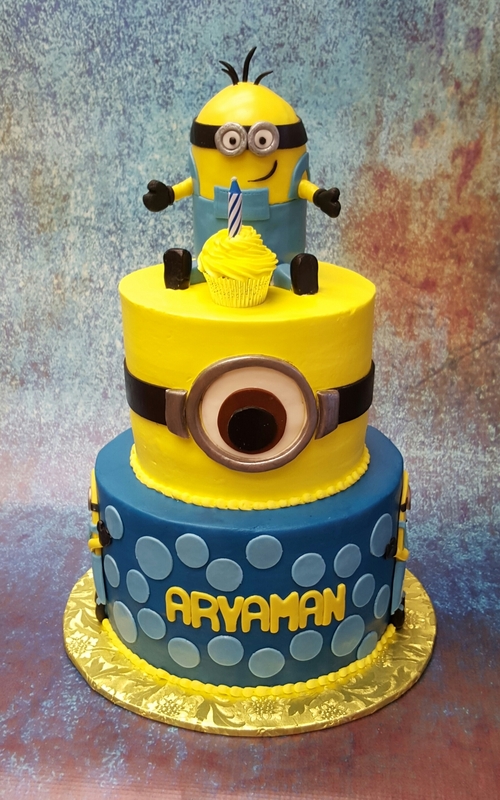 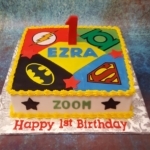 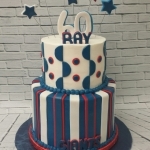 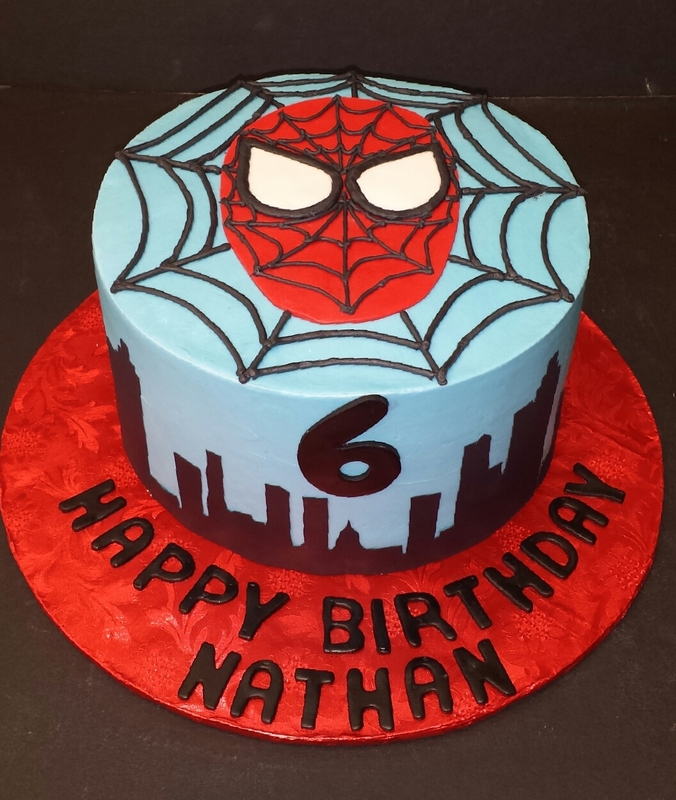 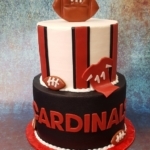 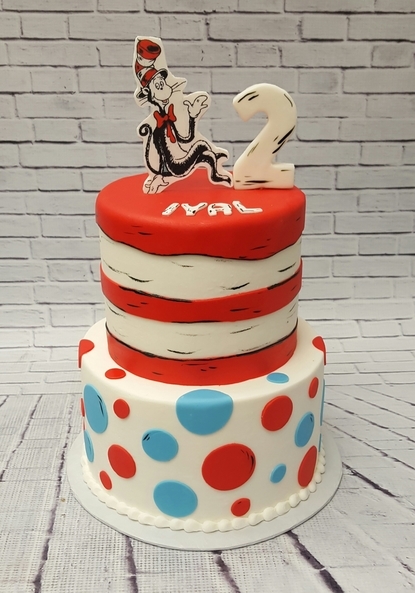 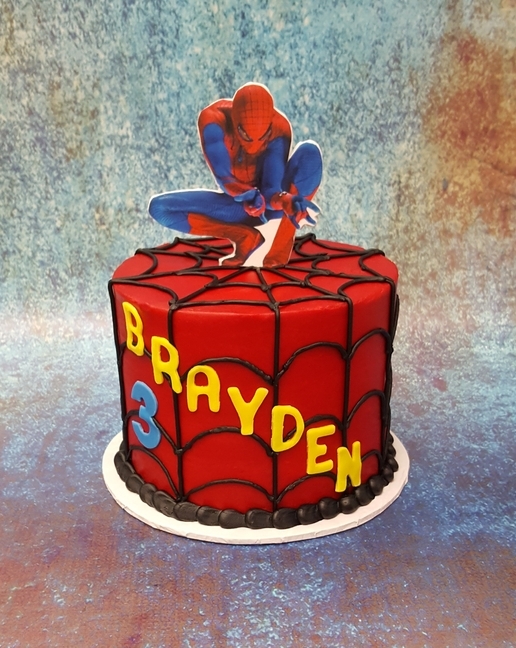 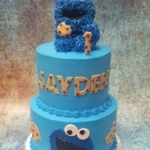 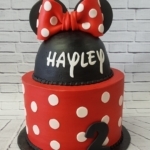 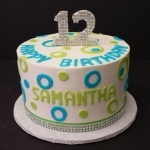 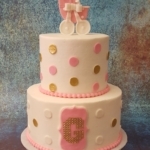 Although we are a “By Appointment Only” bakery, we are available for calls or texts (602)882-9227 9a-5p for questions and quotes on cakes 7 days a week. 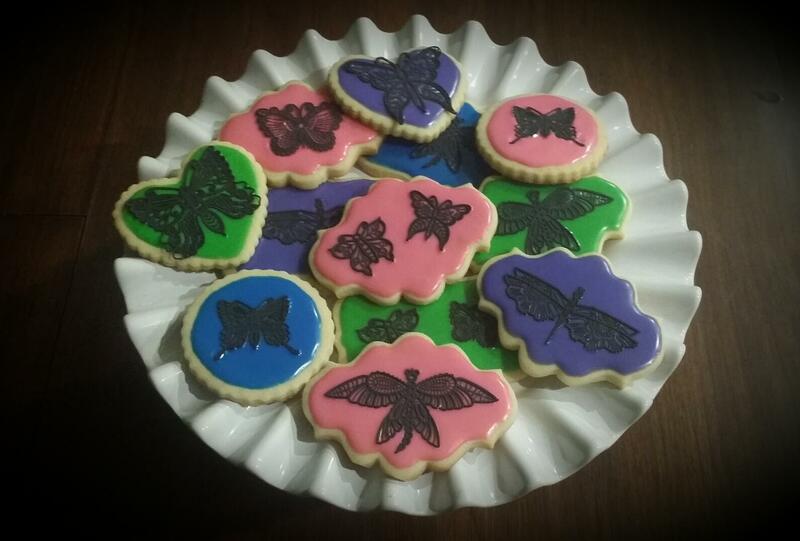 If you would like to come by to talk, we are available most Thursdays and Fridays 9a-1p no appointment necessary. 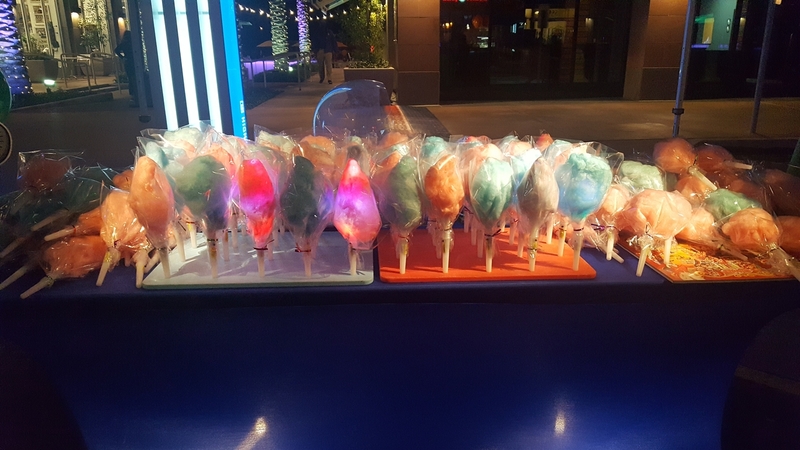 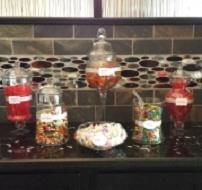 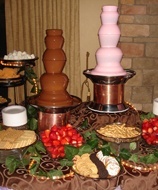 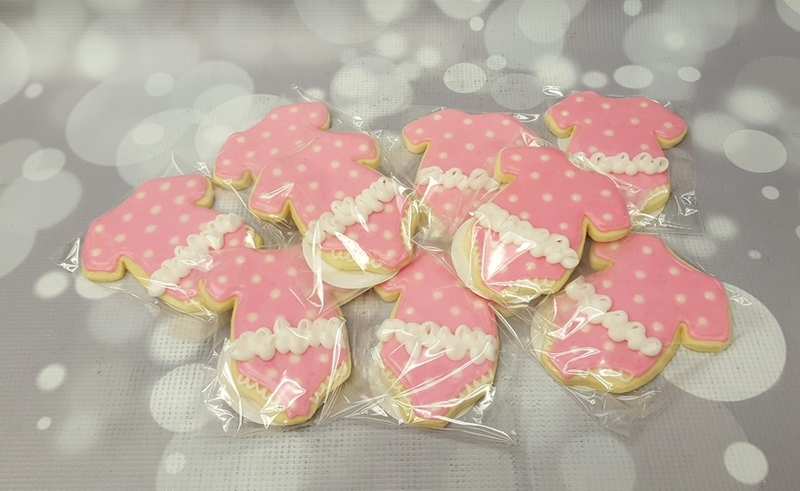 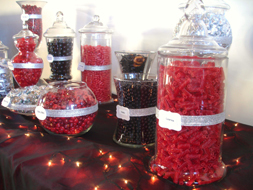 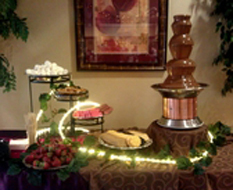 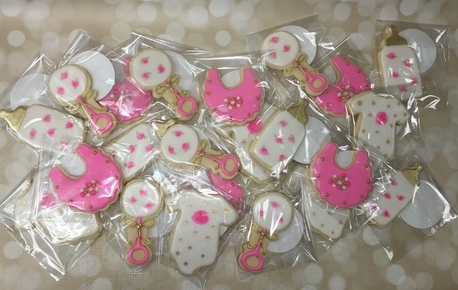 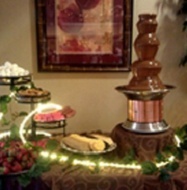 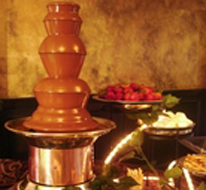 Sugar Cookies, Cake Pops, Cotton Candy Stations, Gourmet Pop Corn Stations and Dessert Buffets are now available!